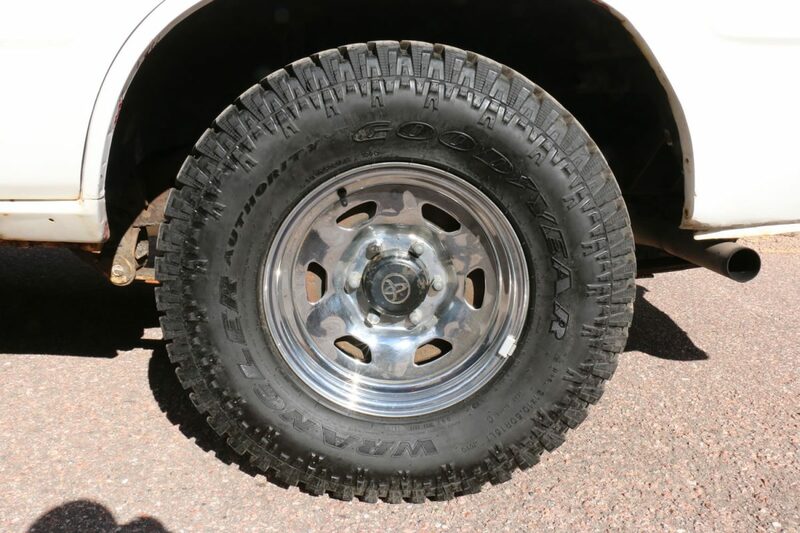 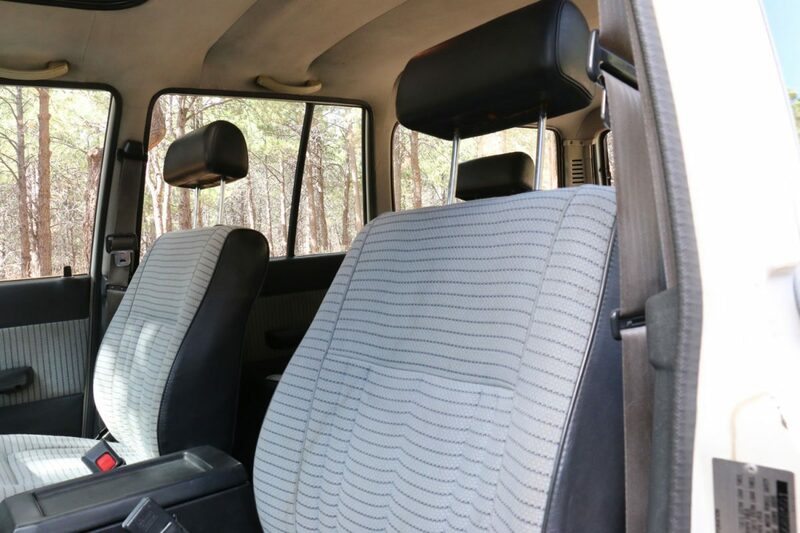 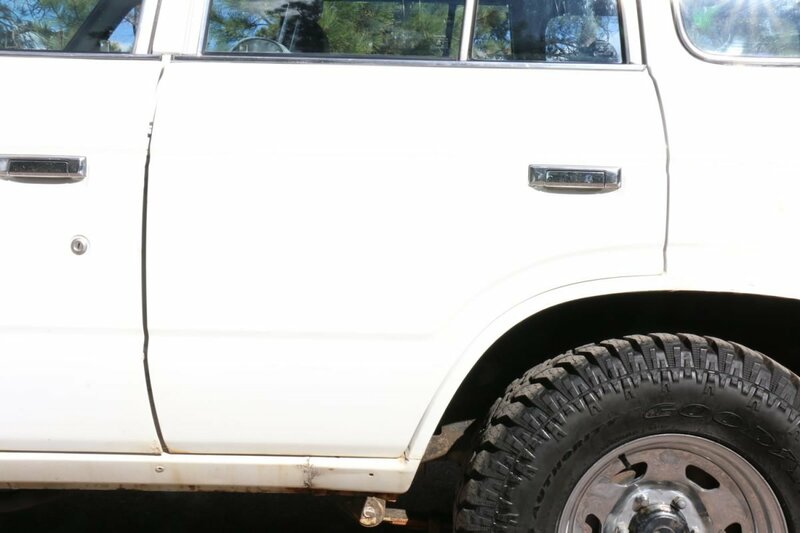 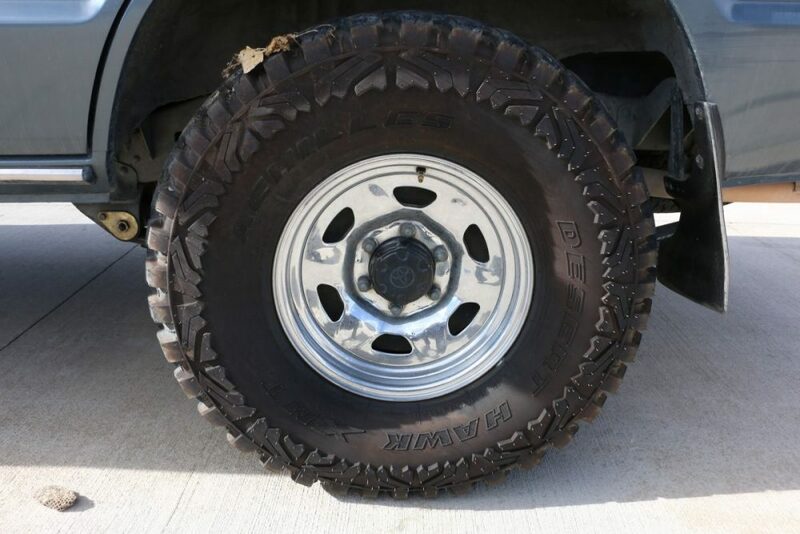 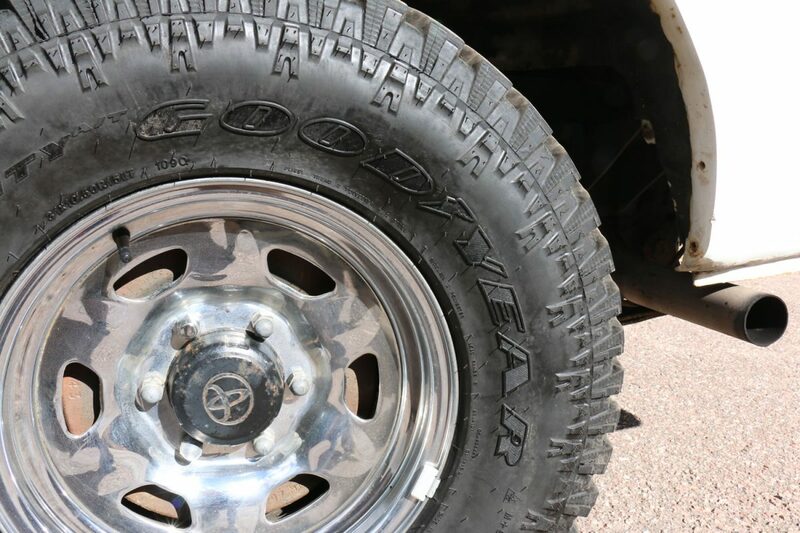 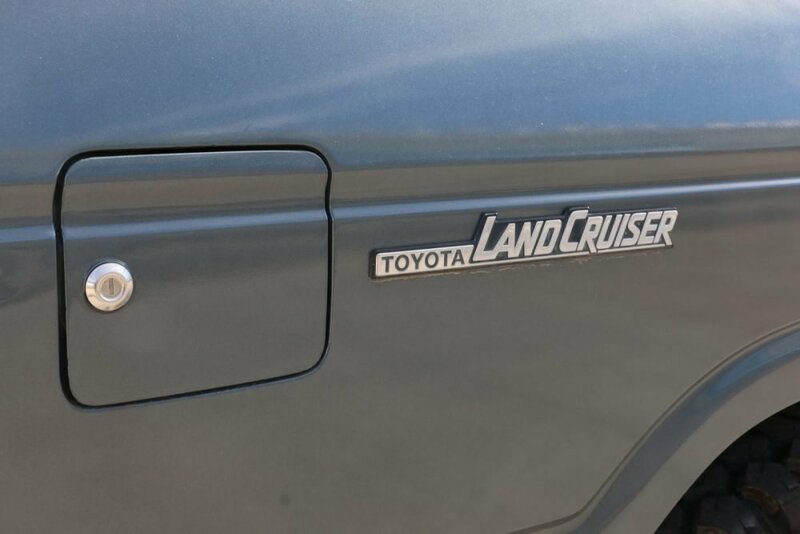 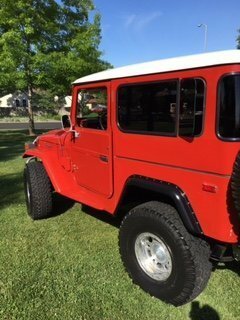 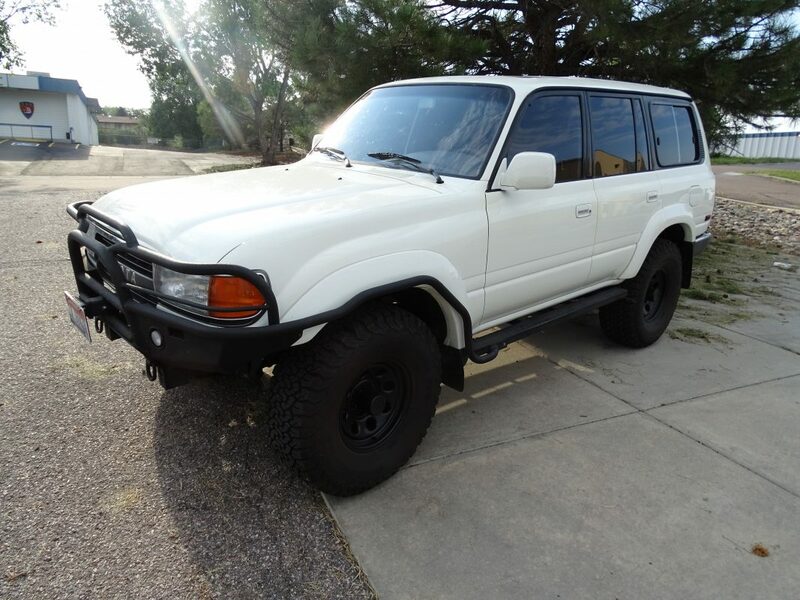 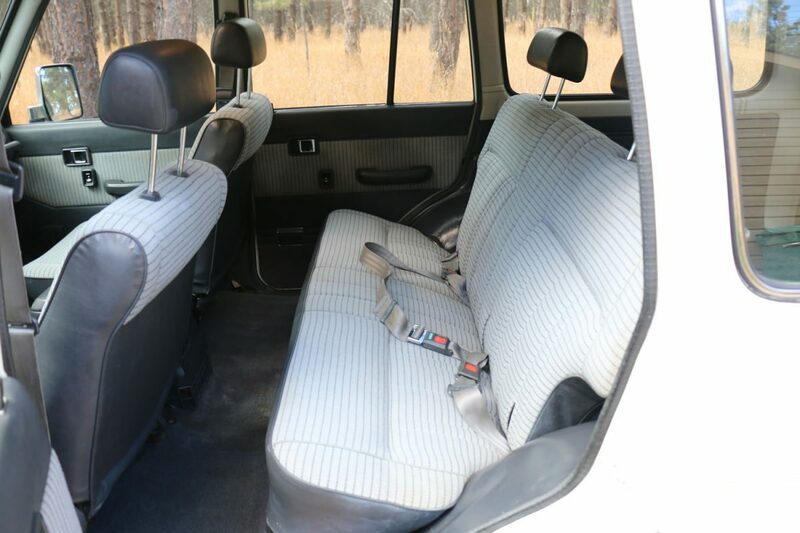 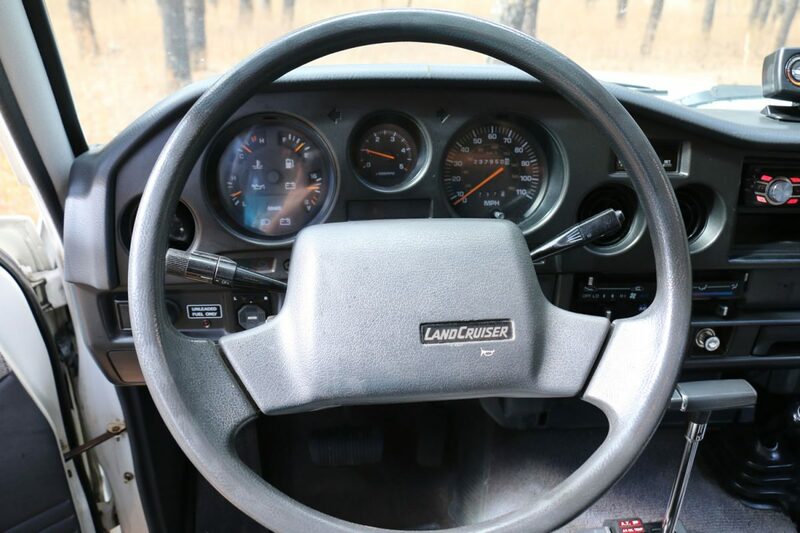 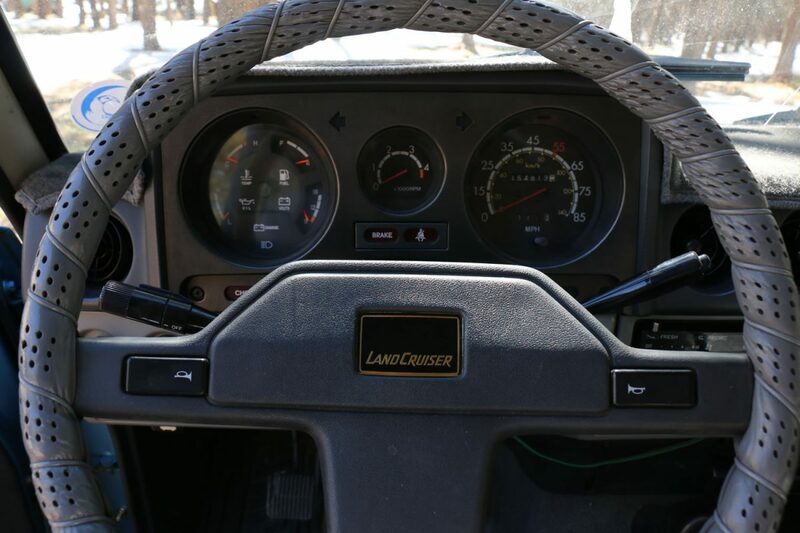 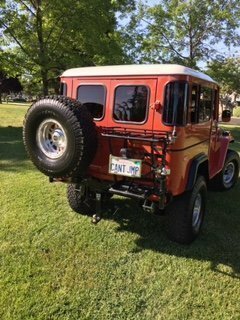 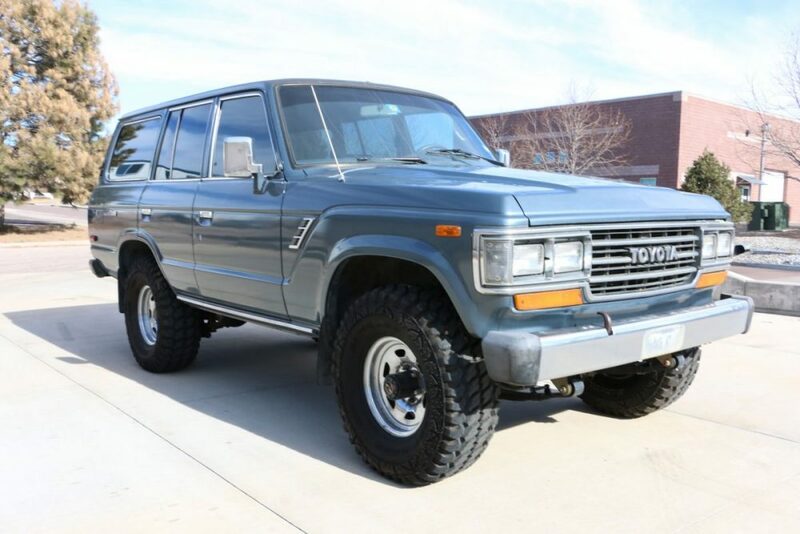 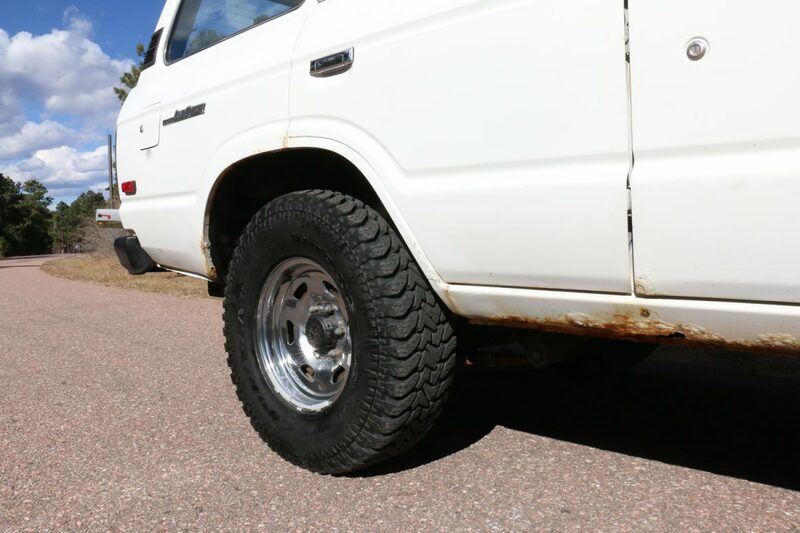 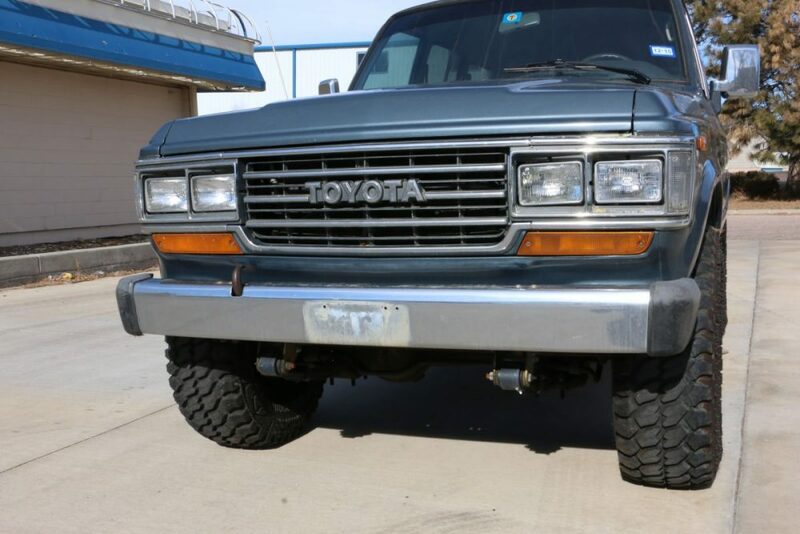 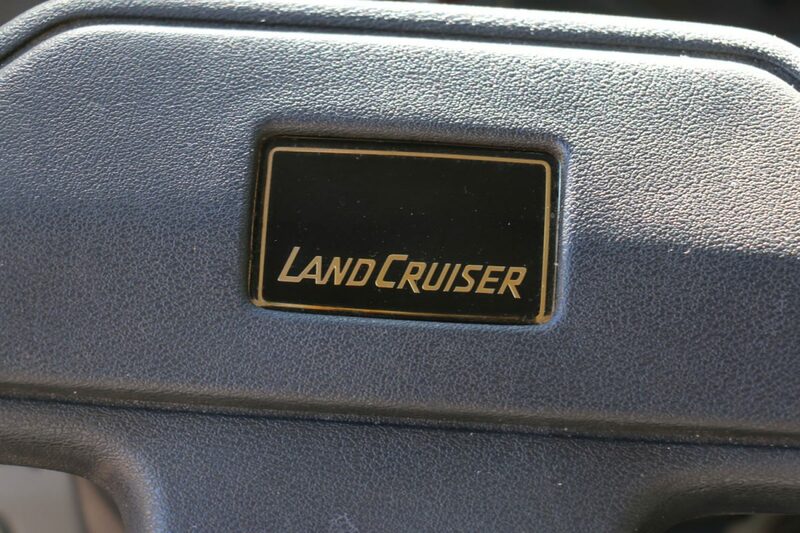 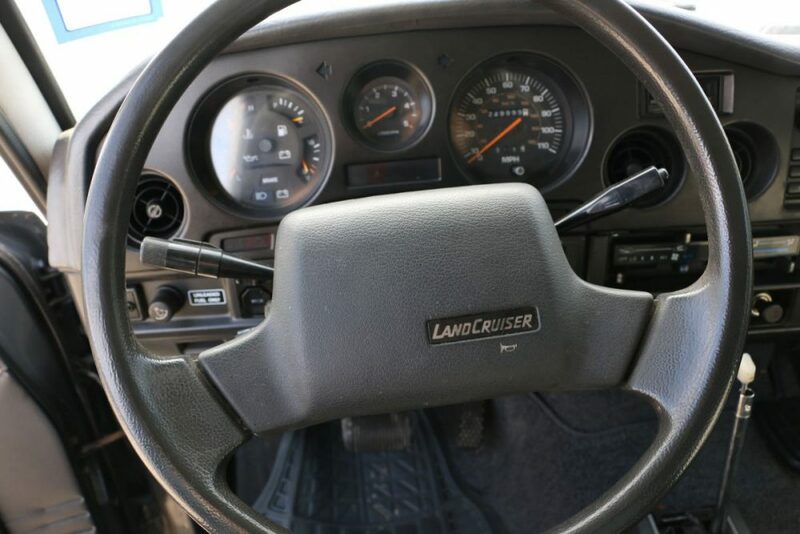 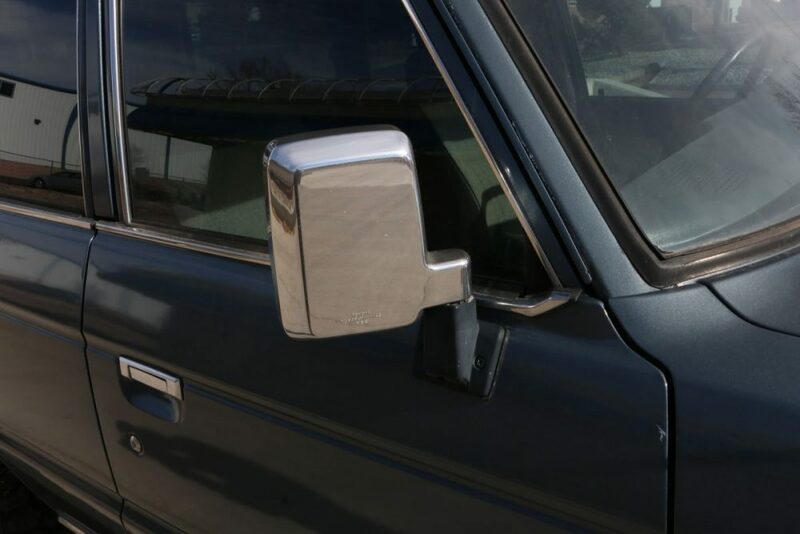 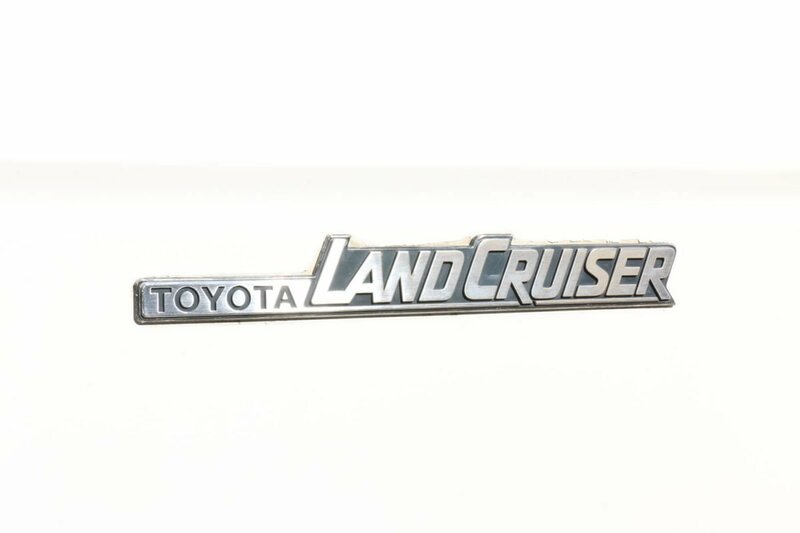 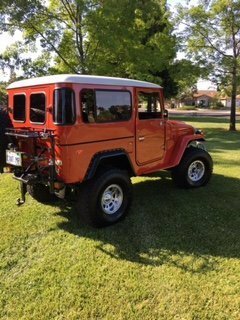 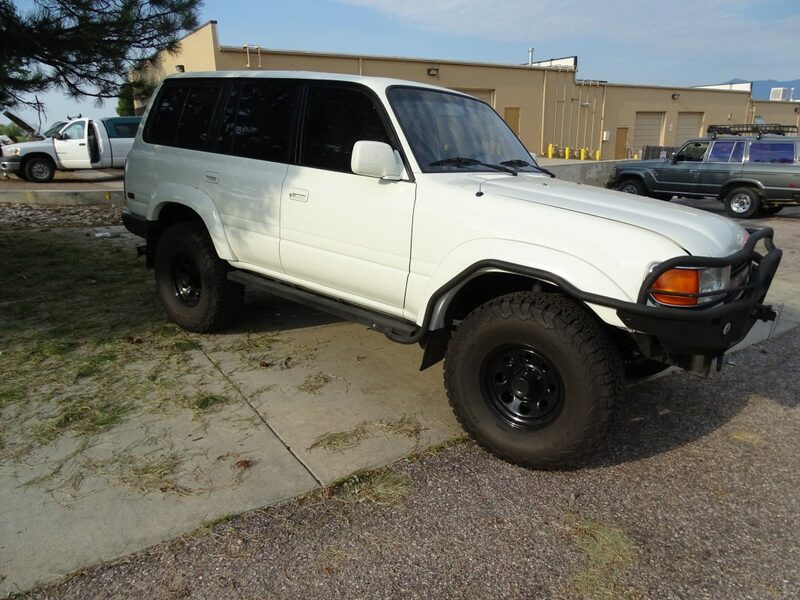 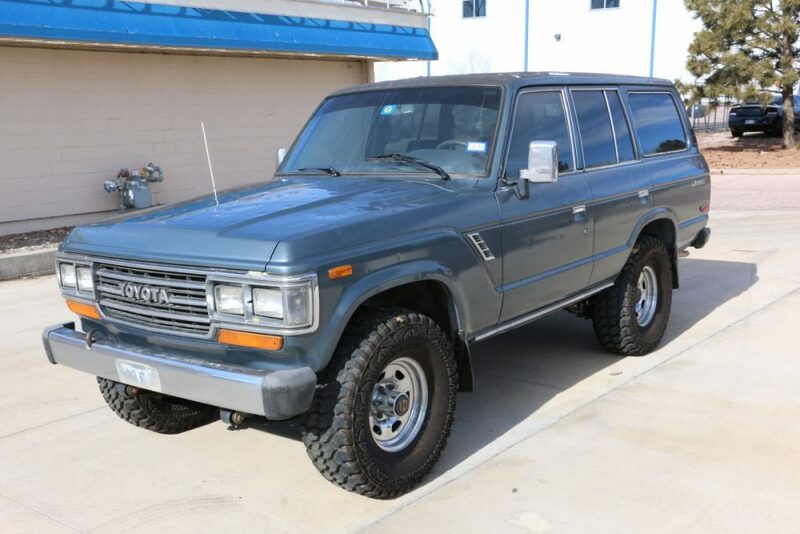 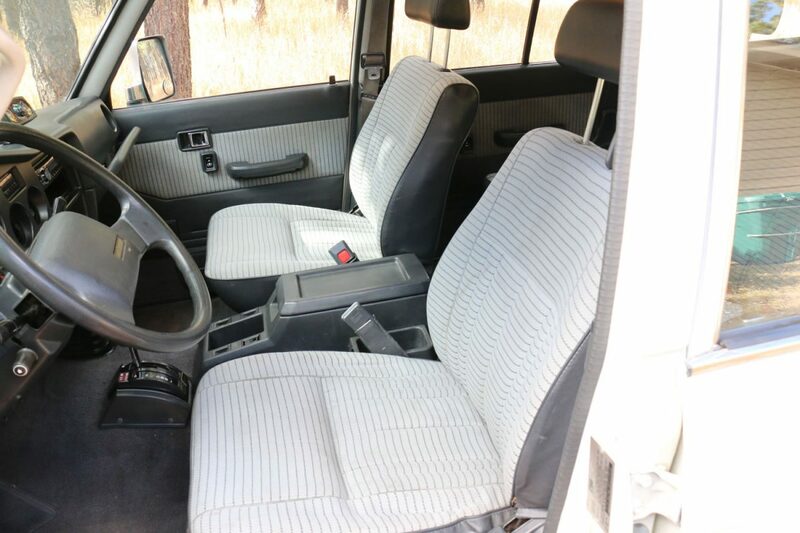 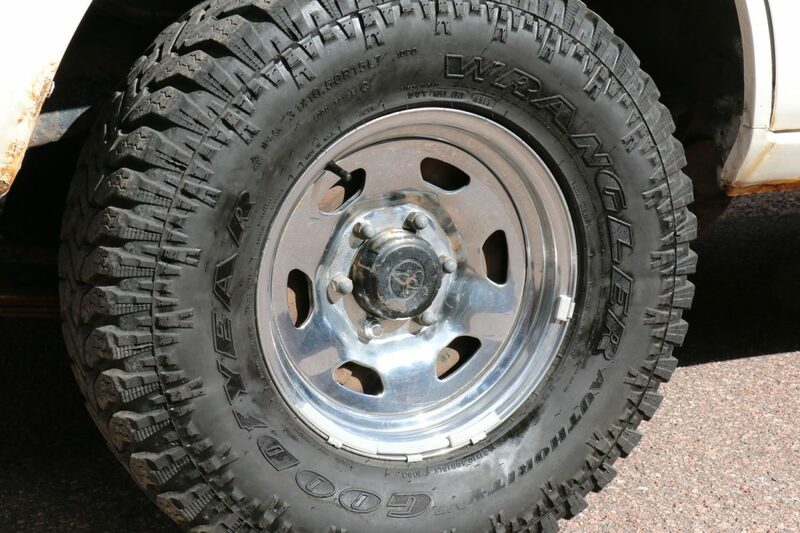 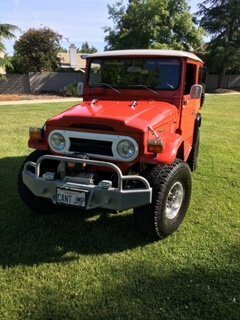 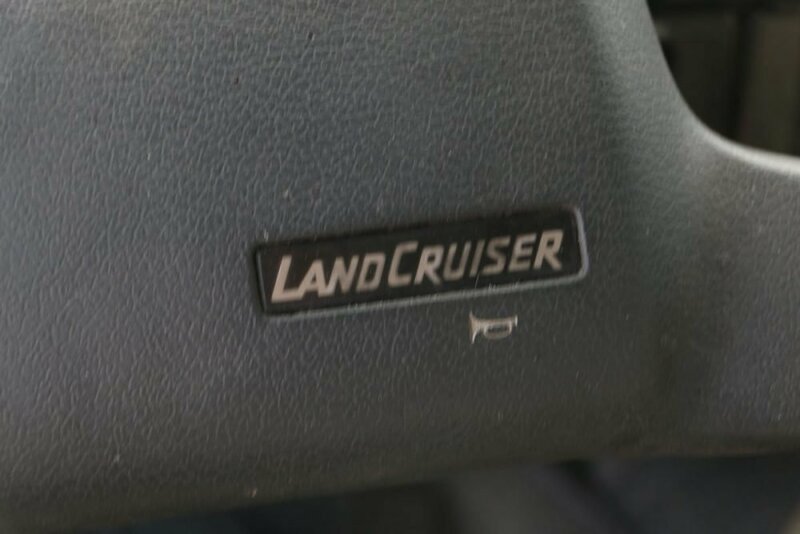 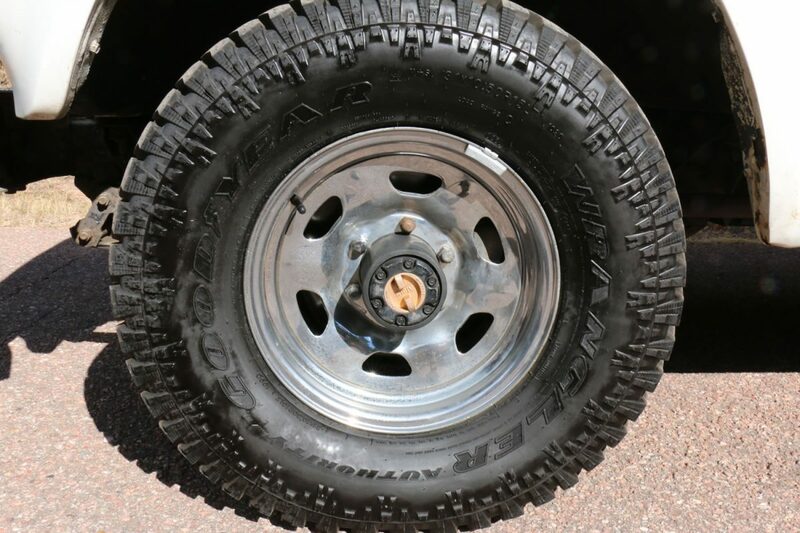 This 1988 Toyota Land Cruiser FJ62 is in very good, all original condition. 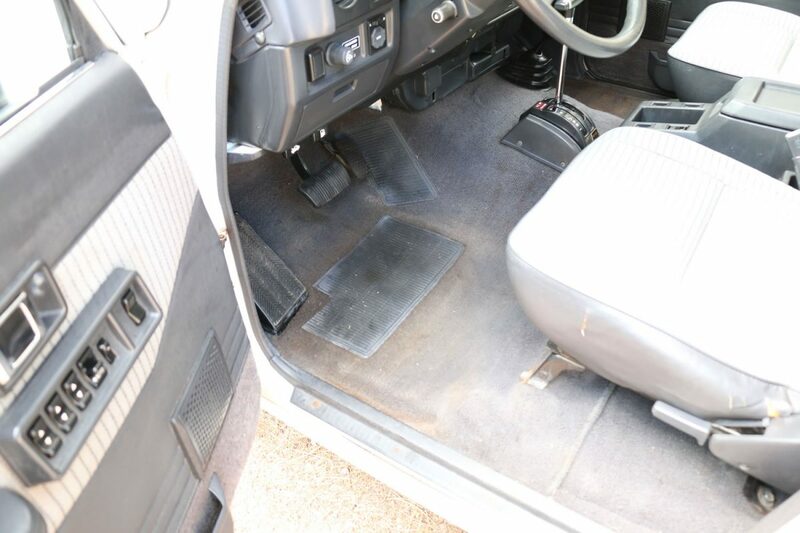 Very clean inside and out and mechanically strong and reliable. 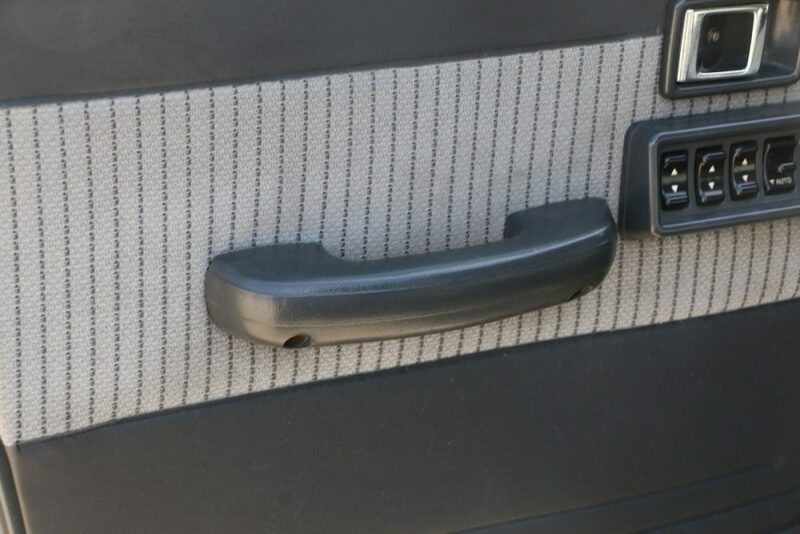 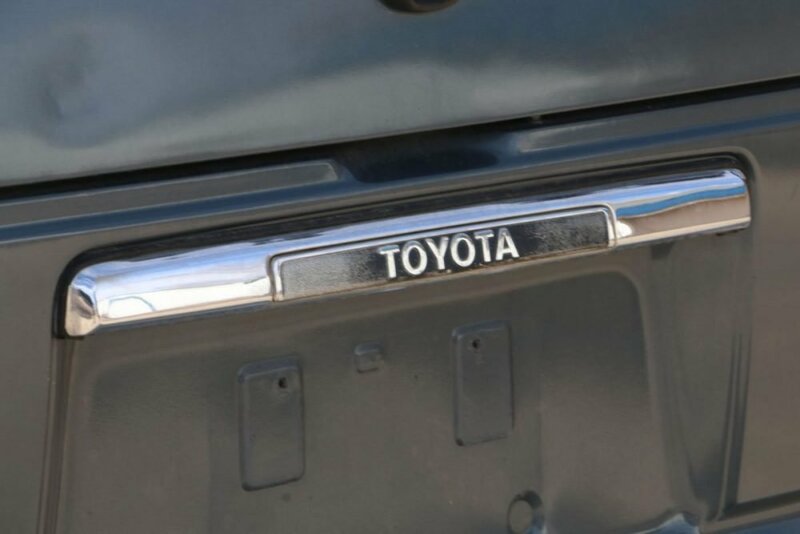 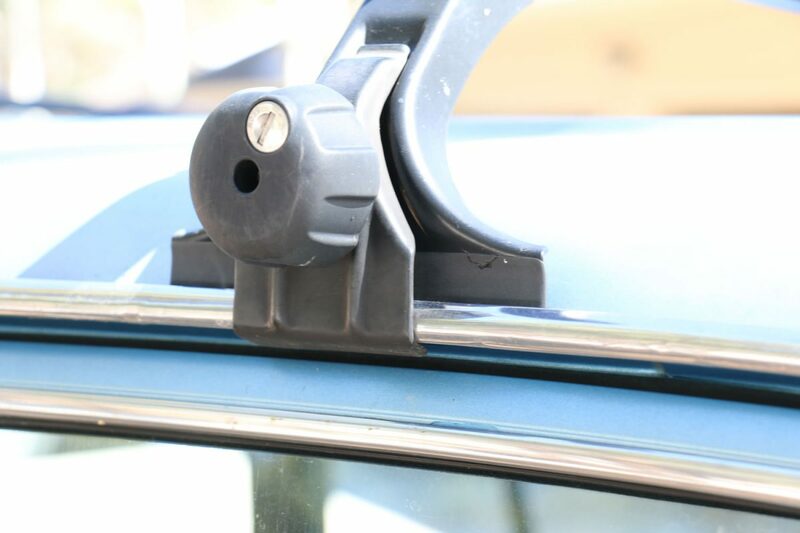 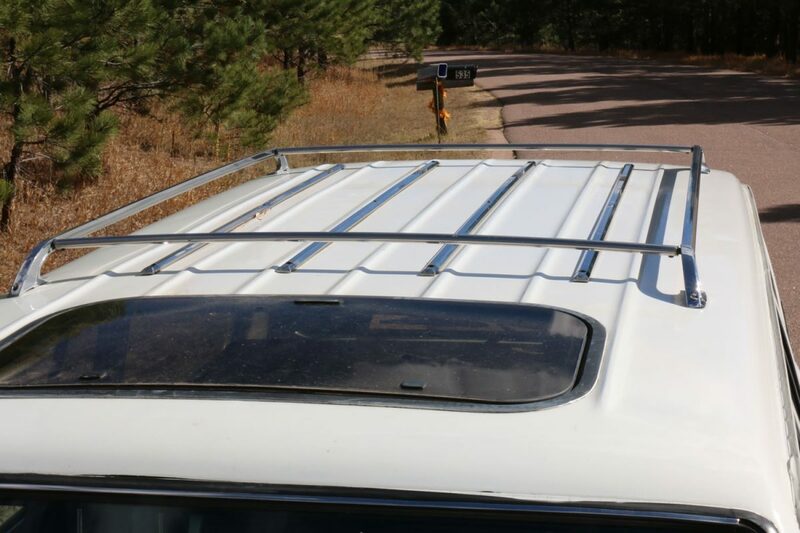 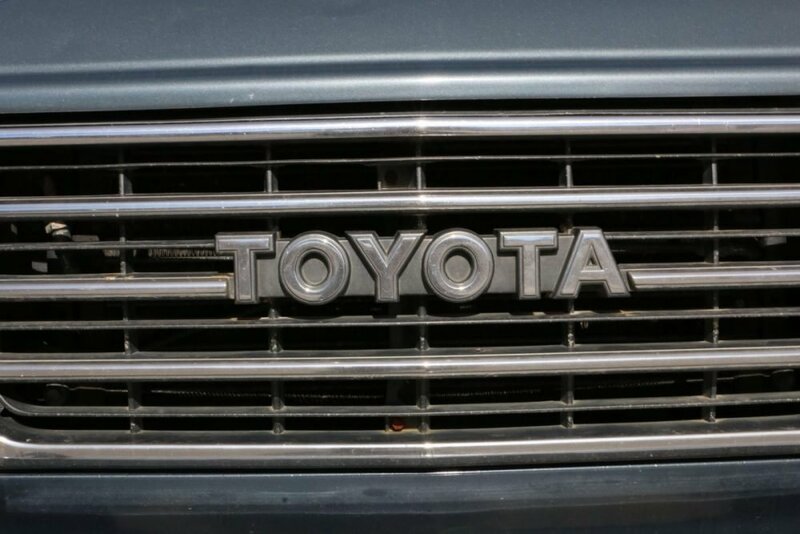 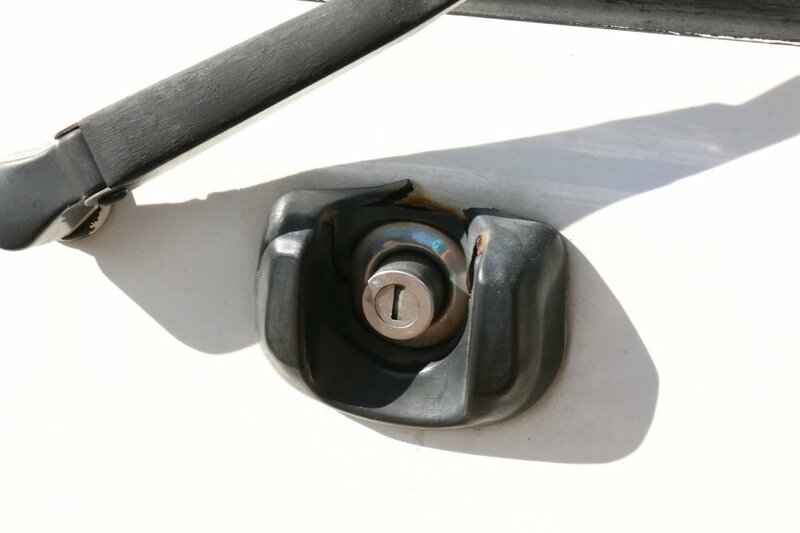 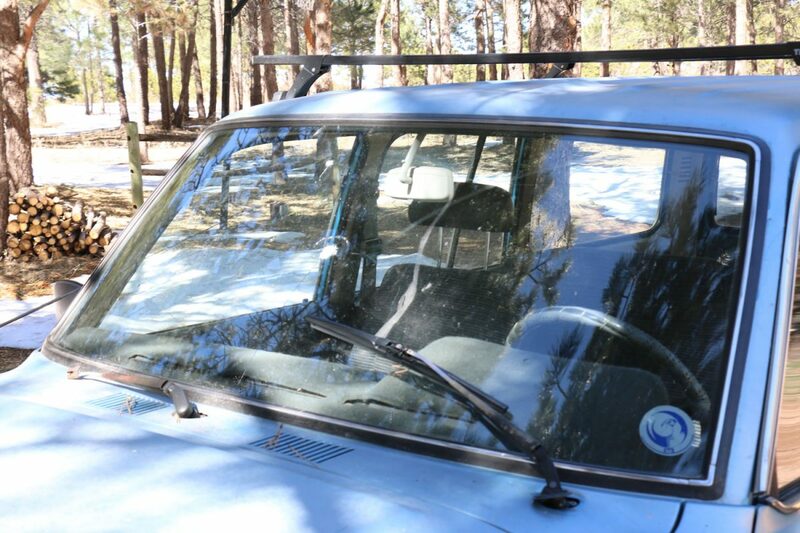 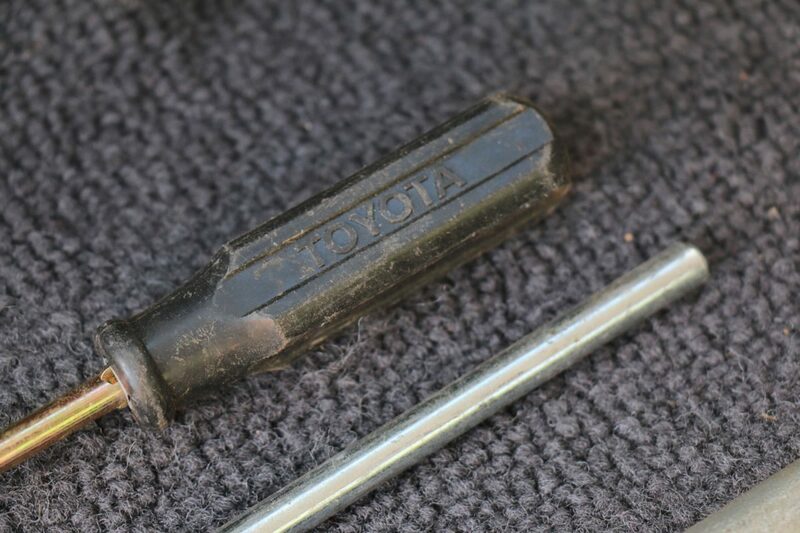 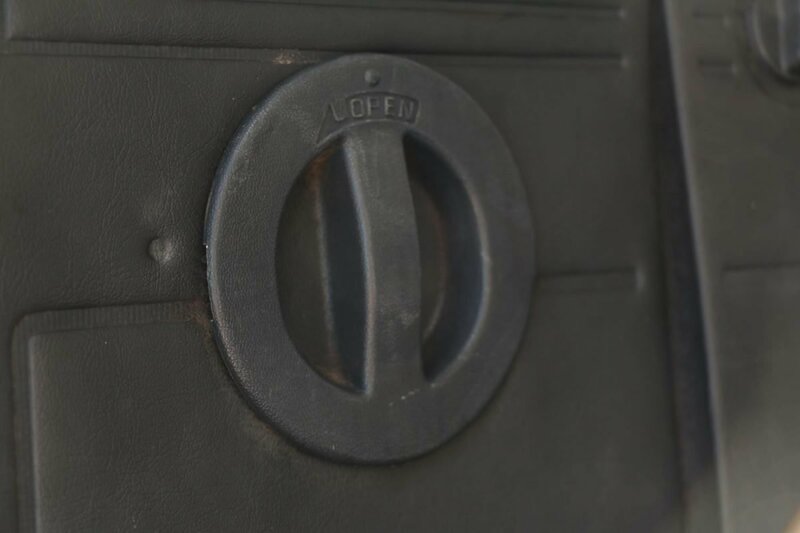 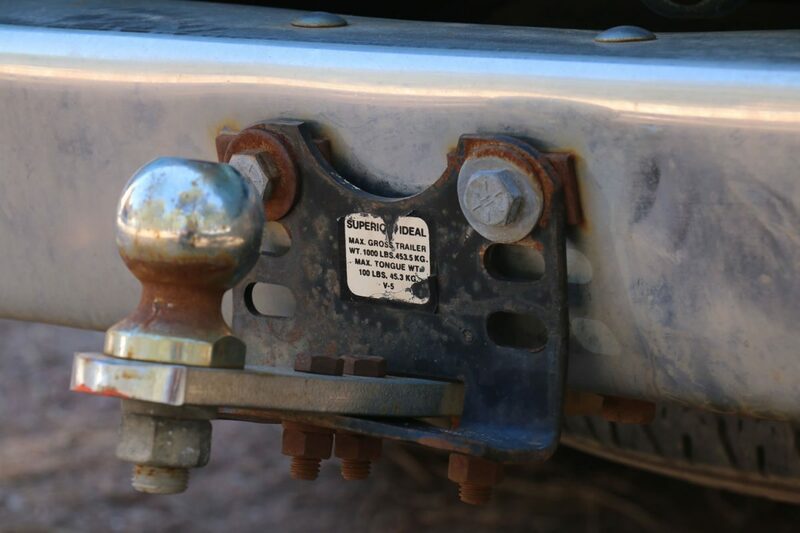 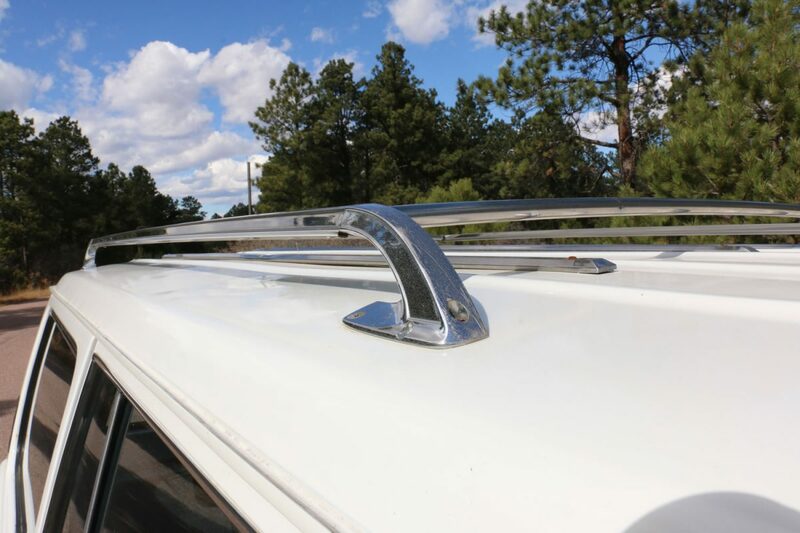 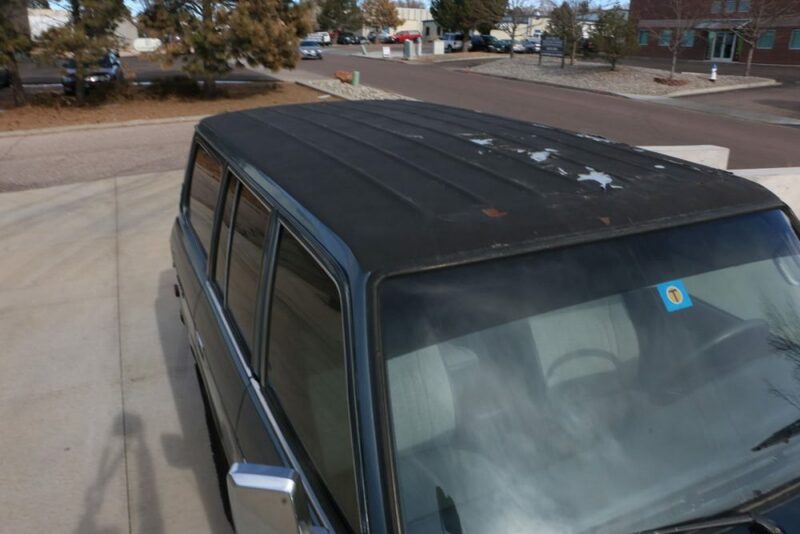 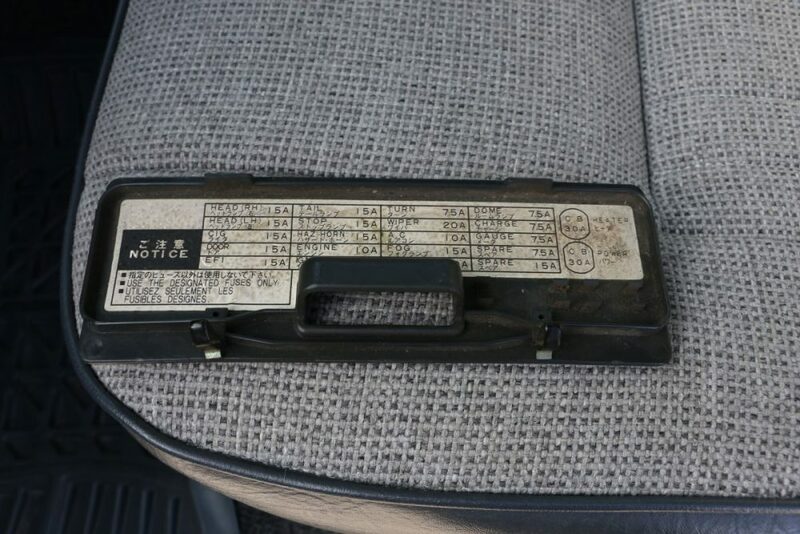 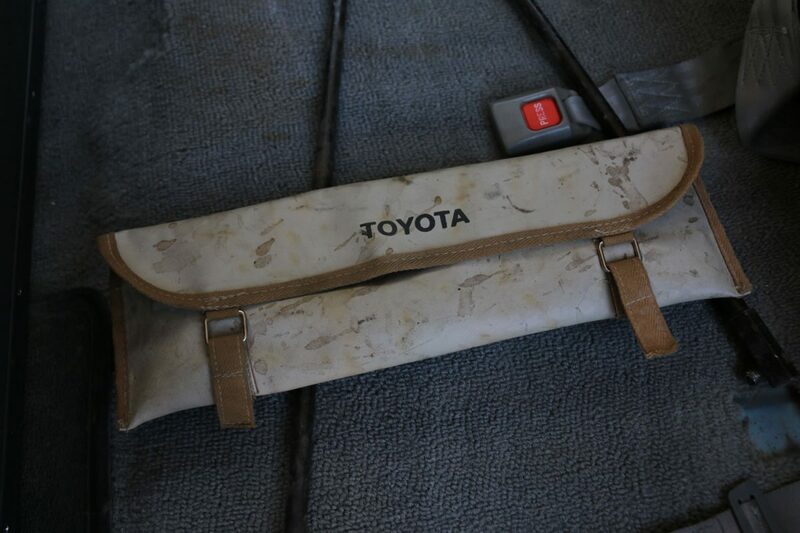 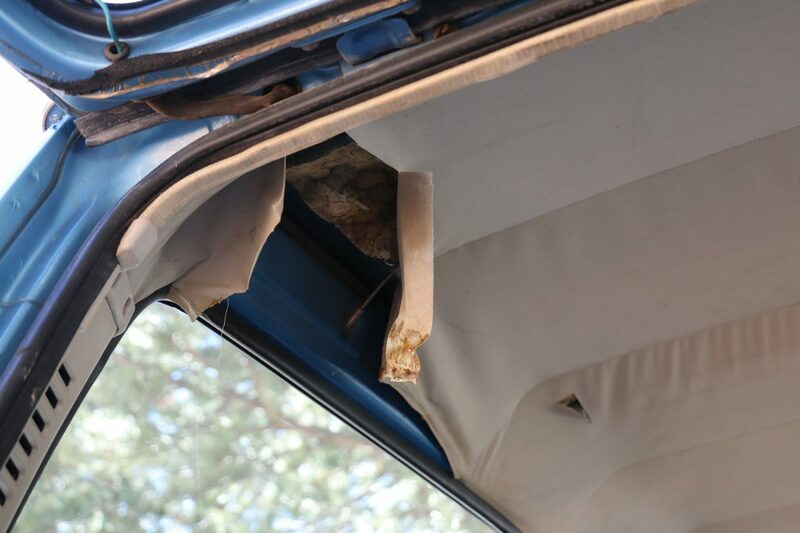 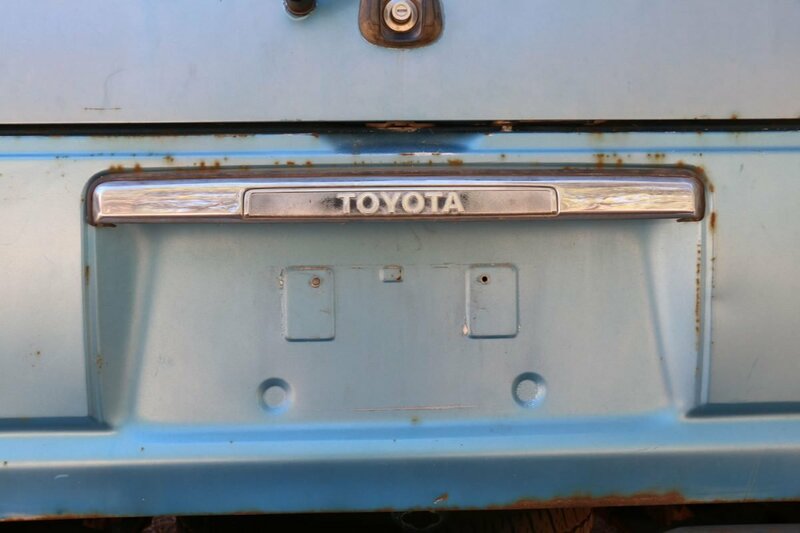 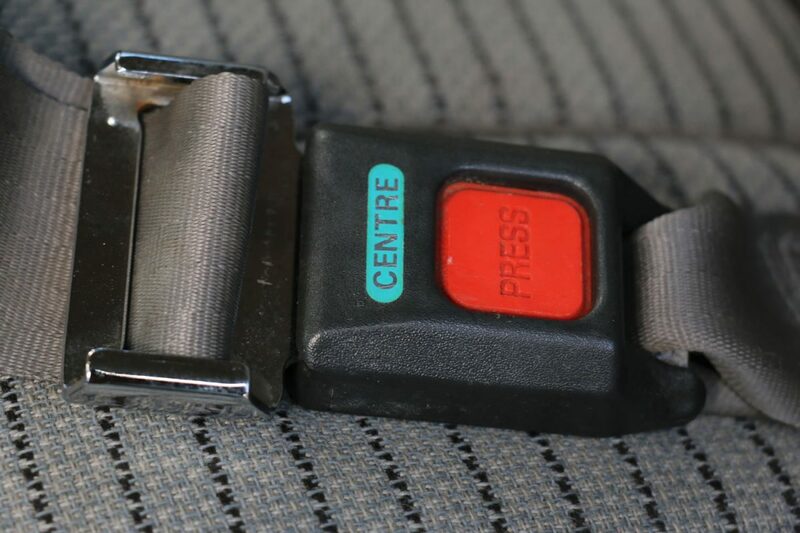 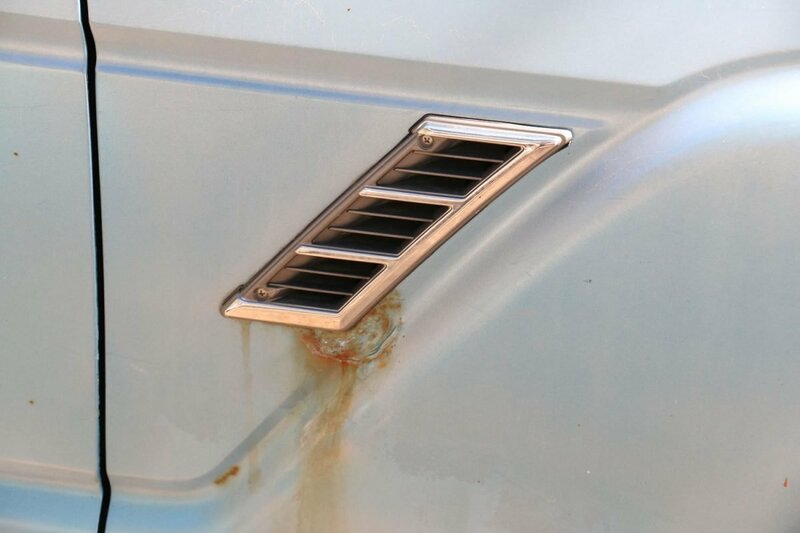 It sports a late 80s era sunroof and roof rack, probably installed by Toyota when the truck was purchased in 88. 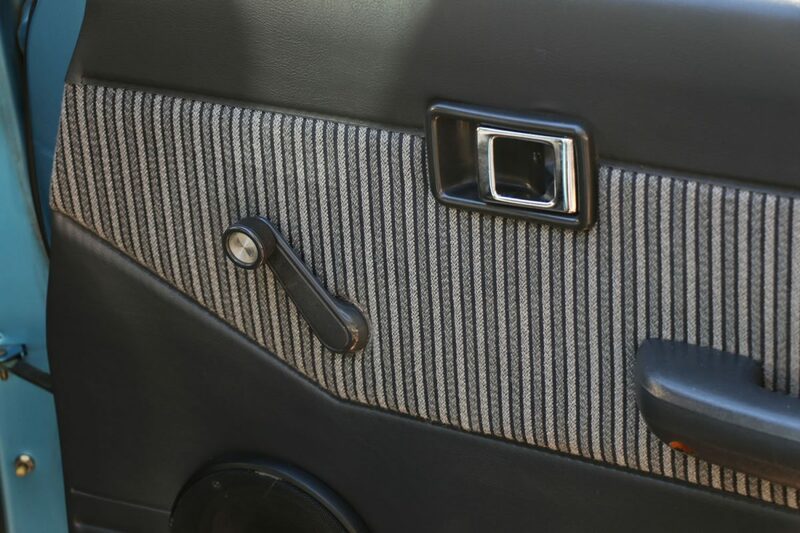 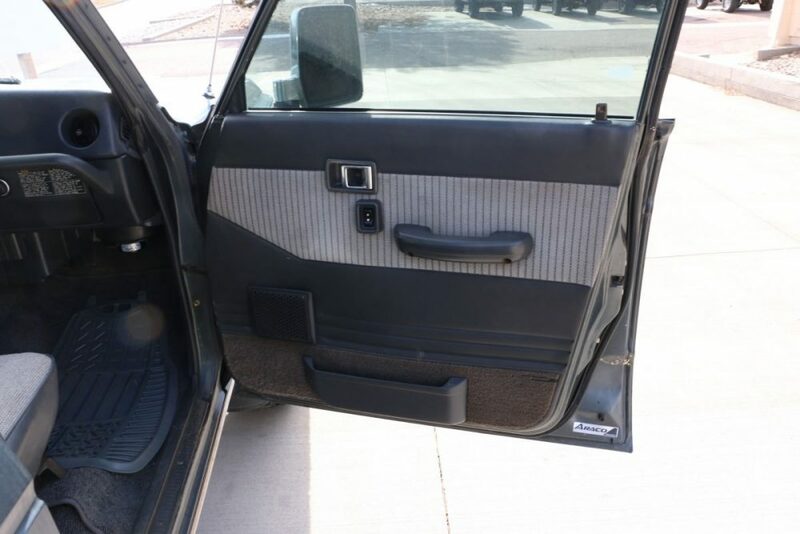 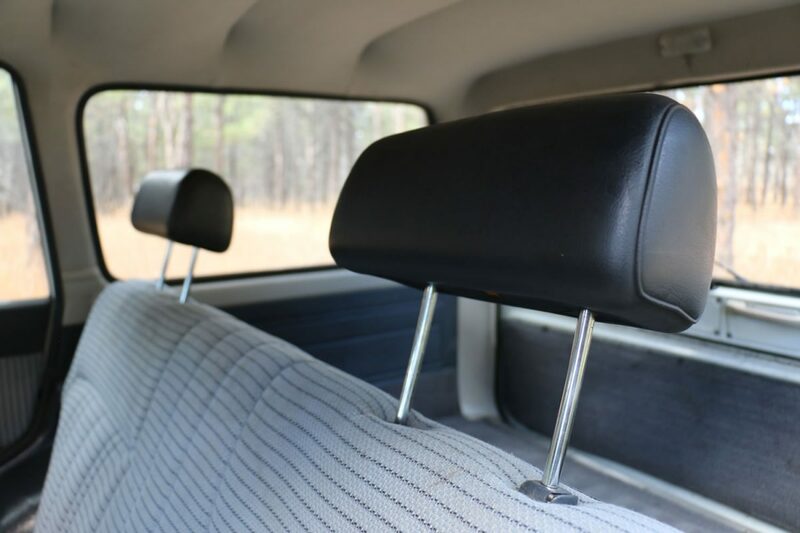 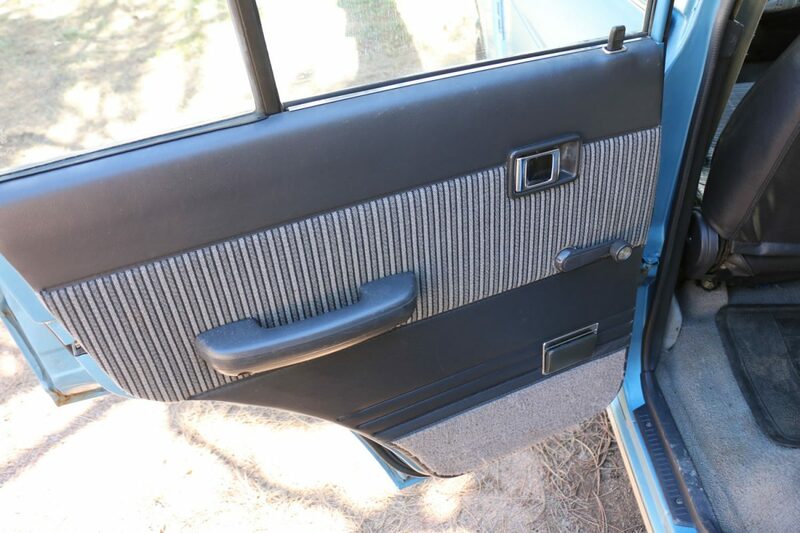 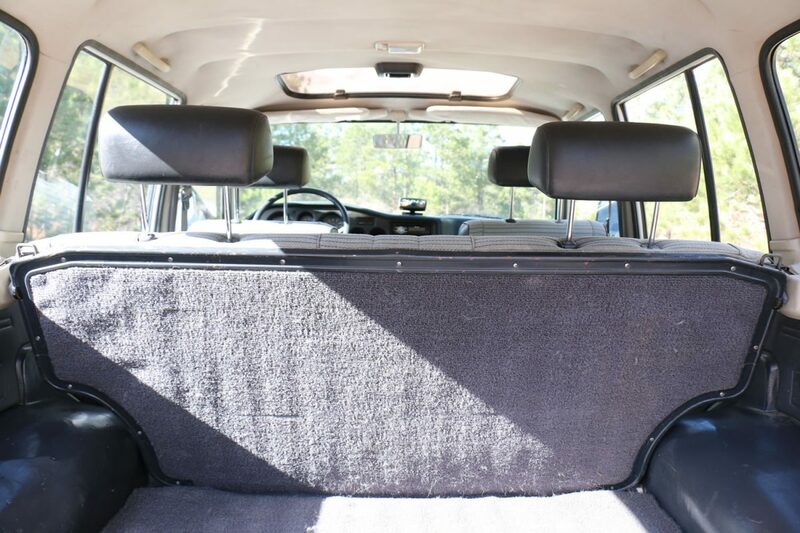 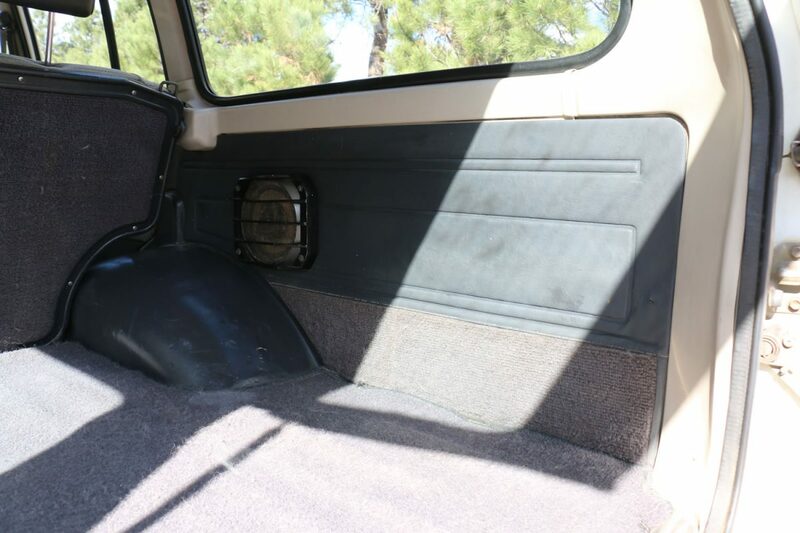 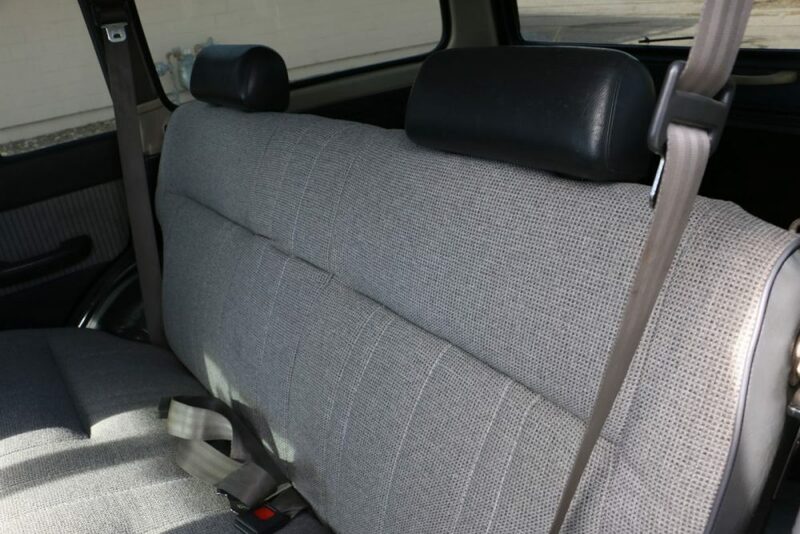 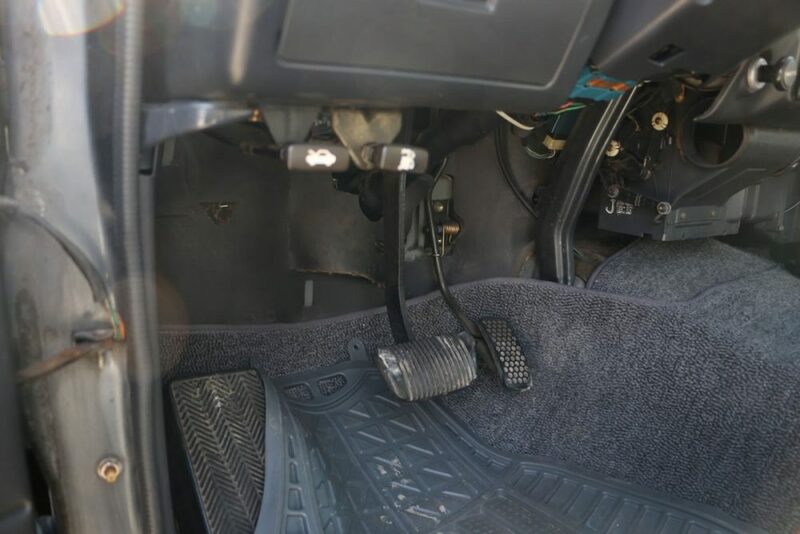 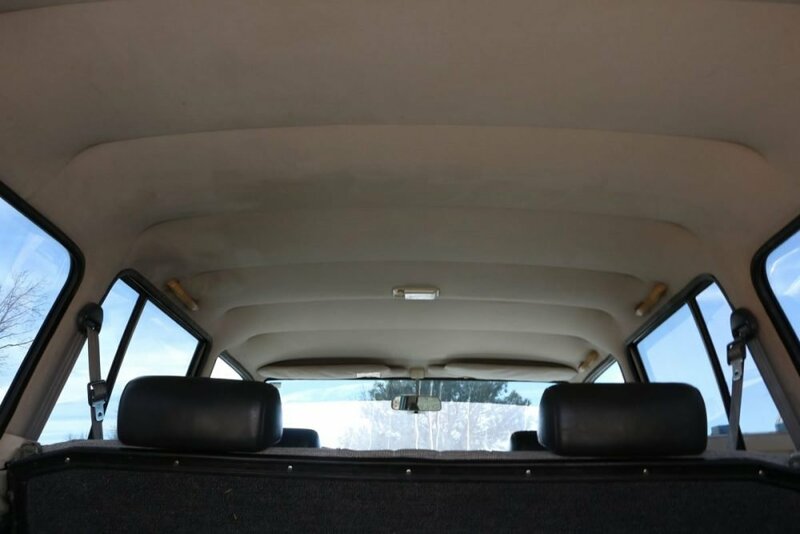 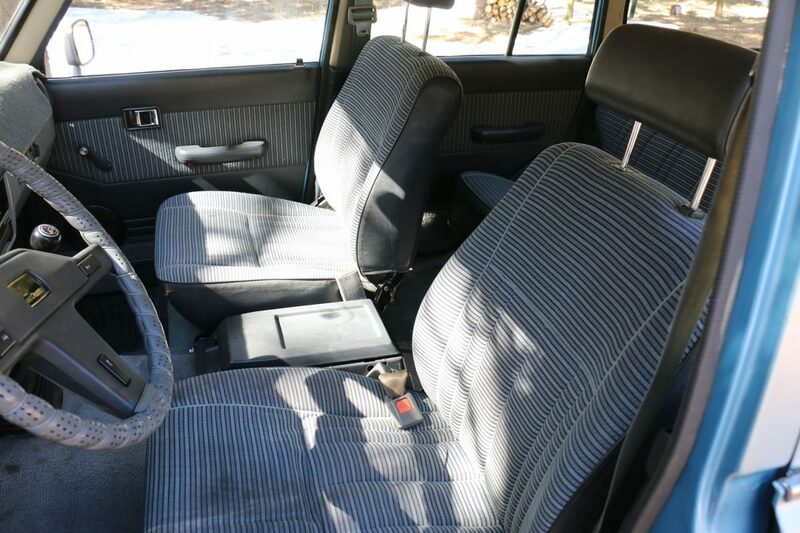 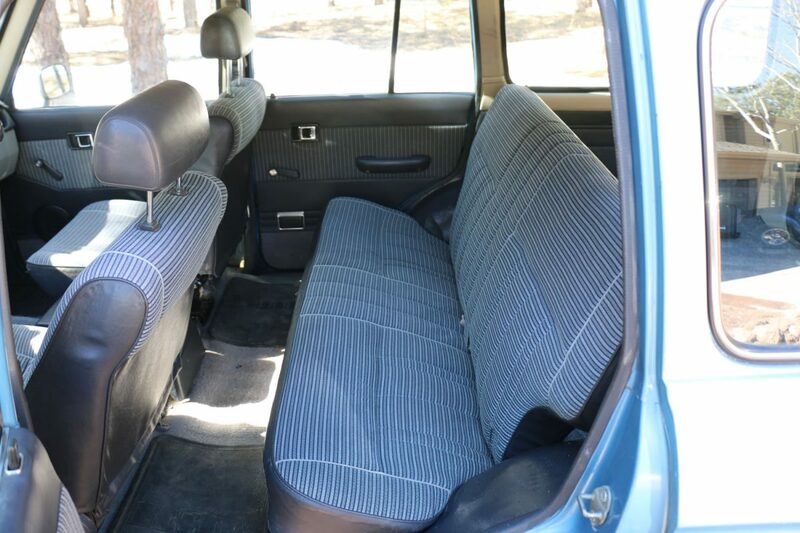 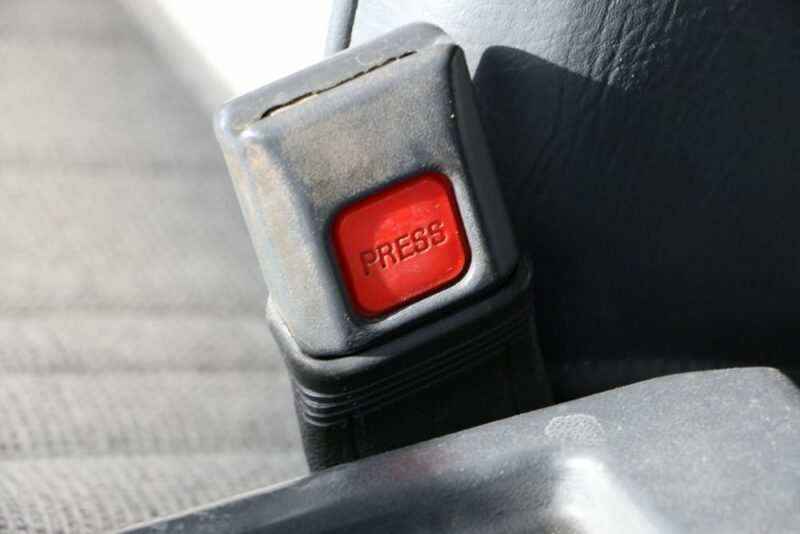 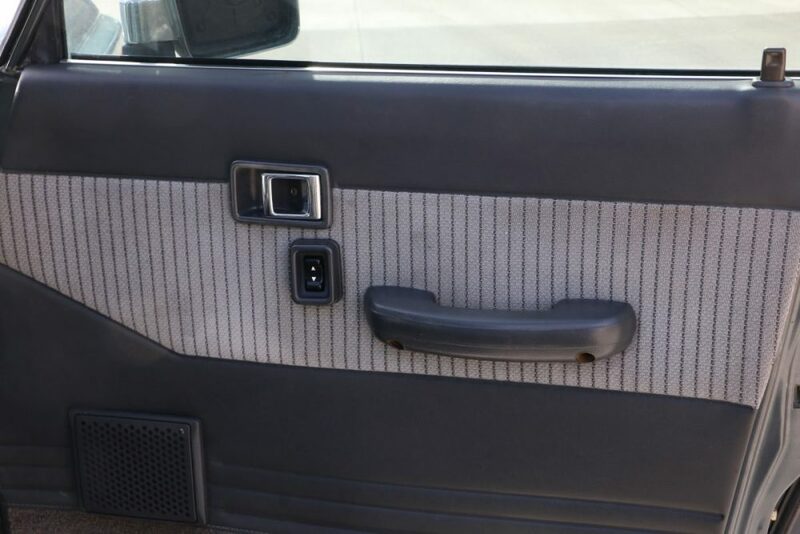 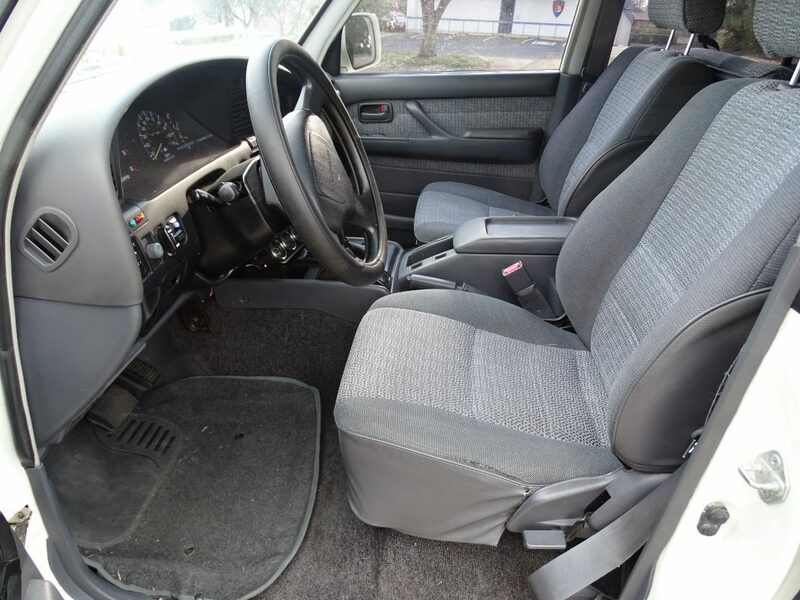 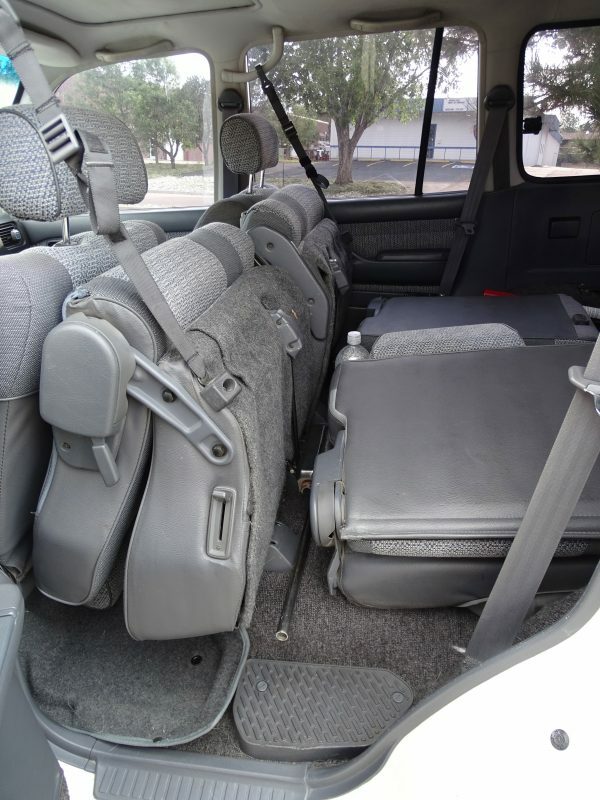 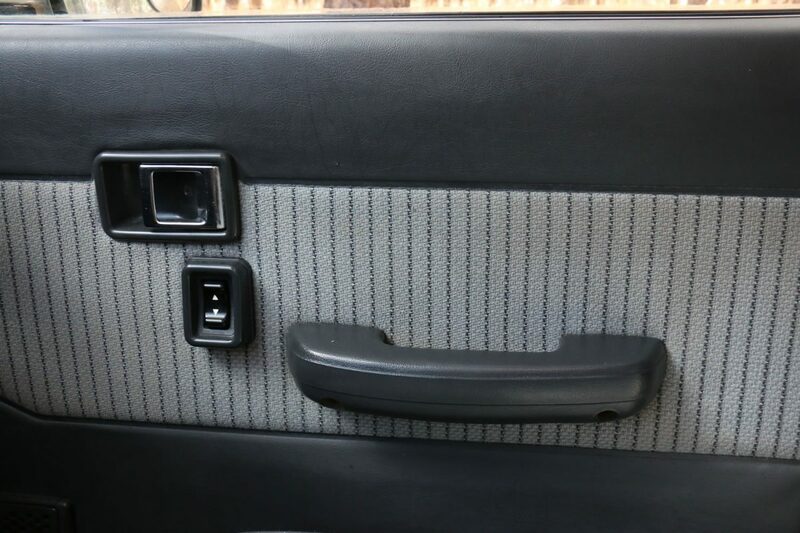 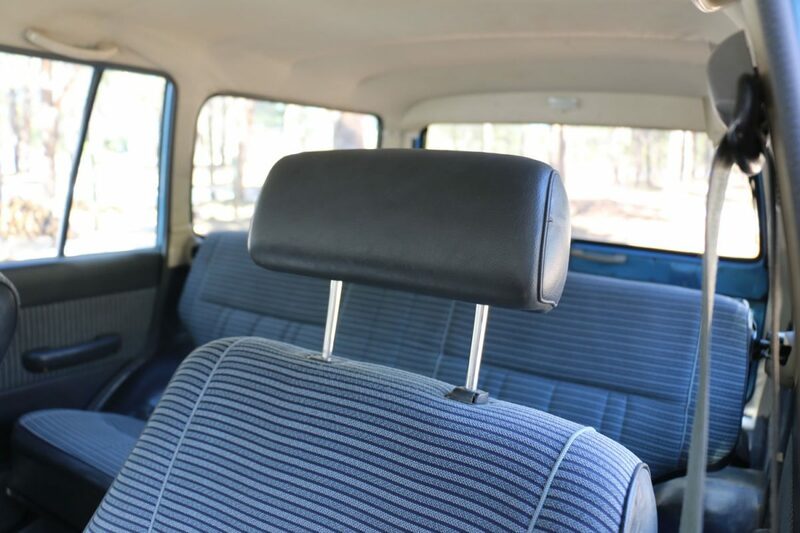 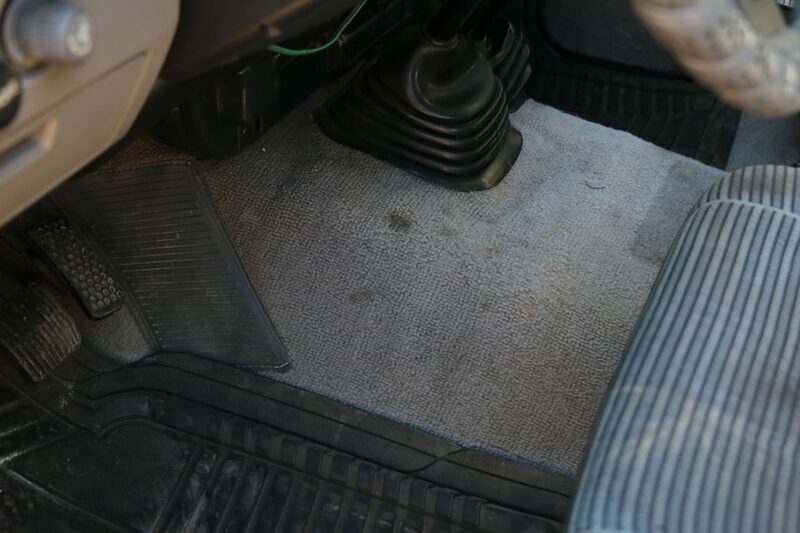 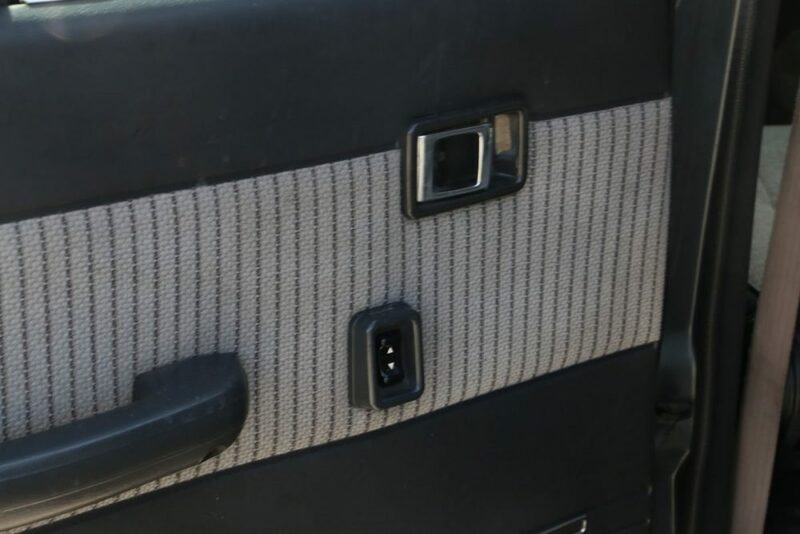 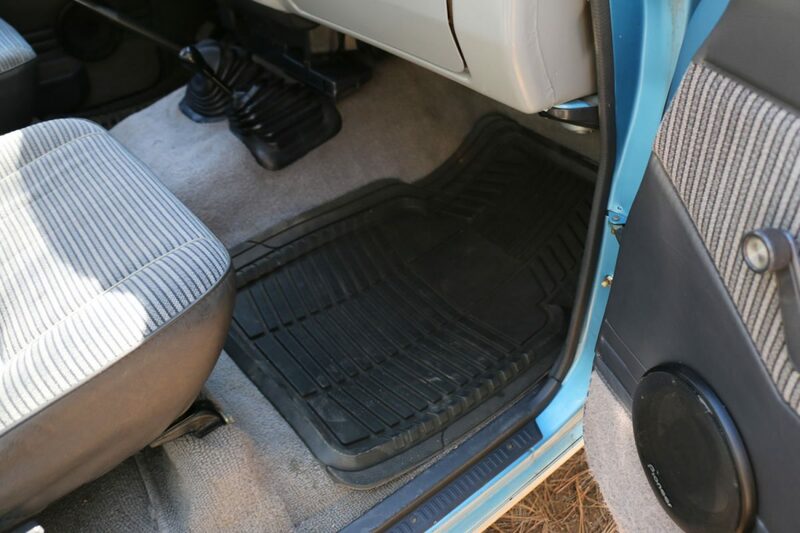 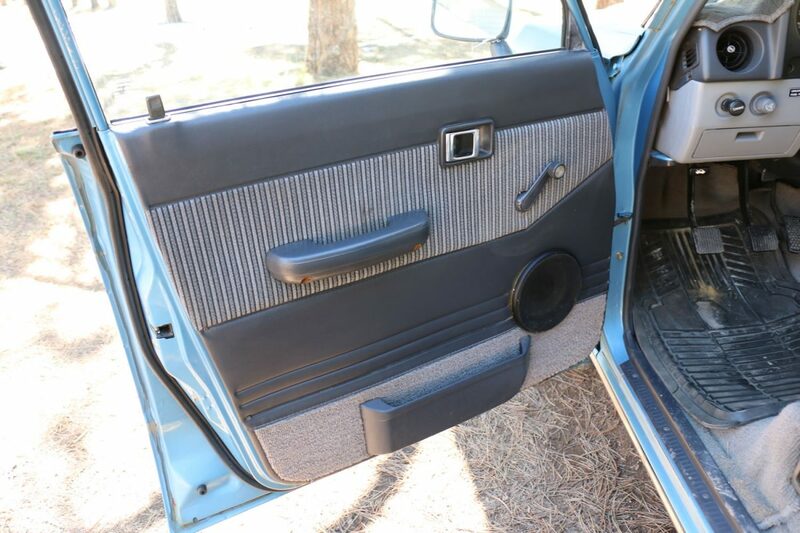 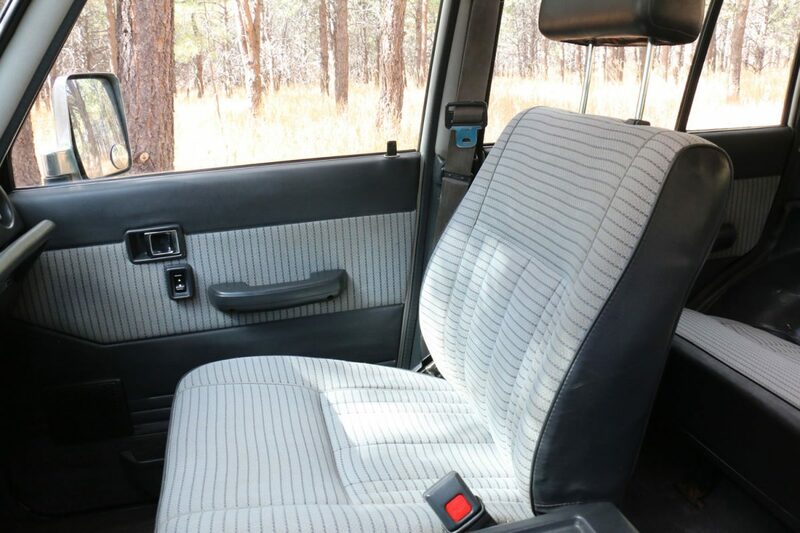 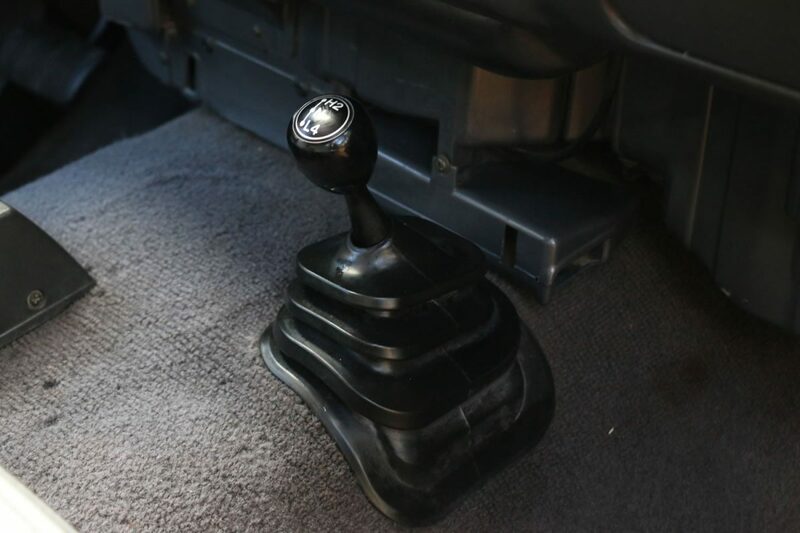 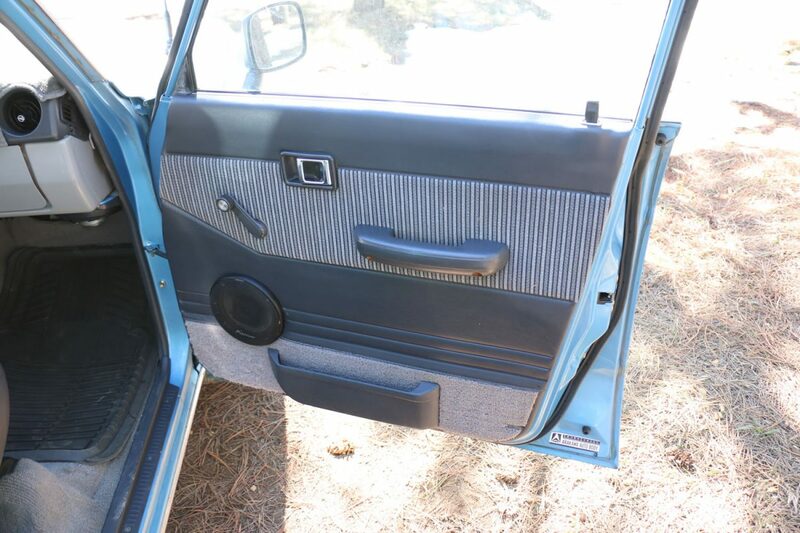 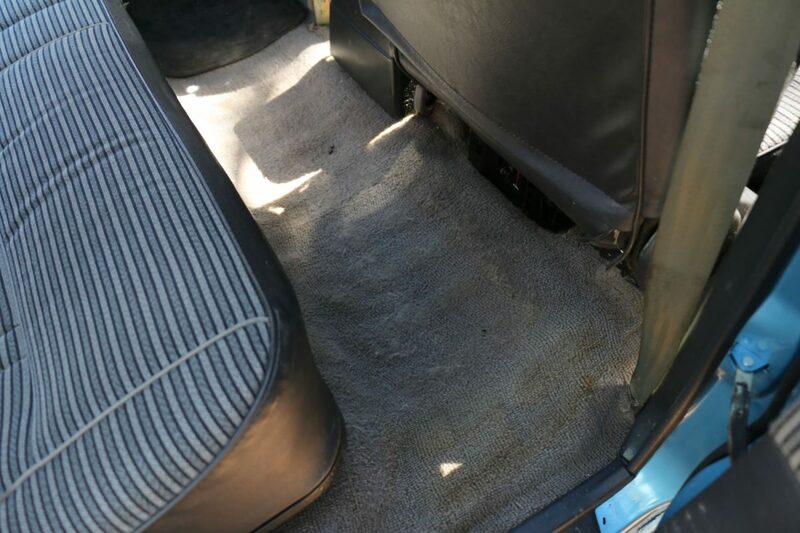 Interior in excellent condition and very clean including the original carpet and upholstery. 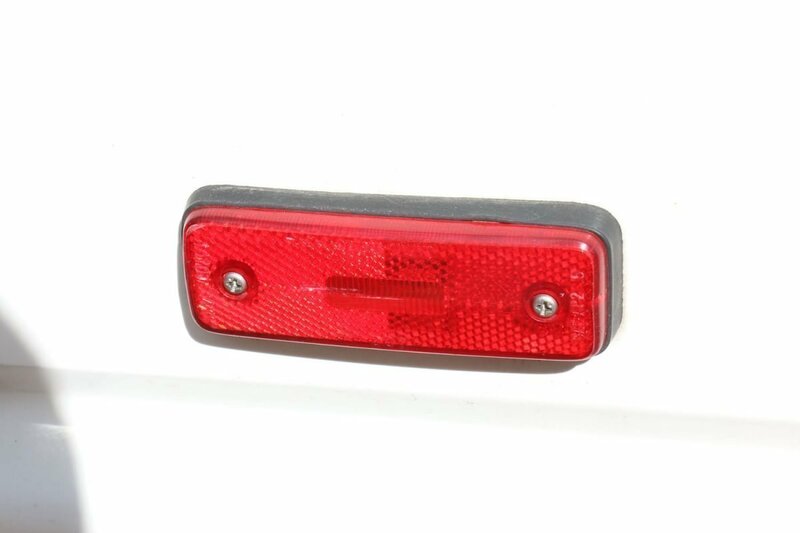 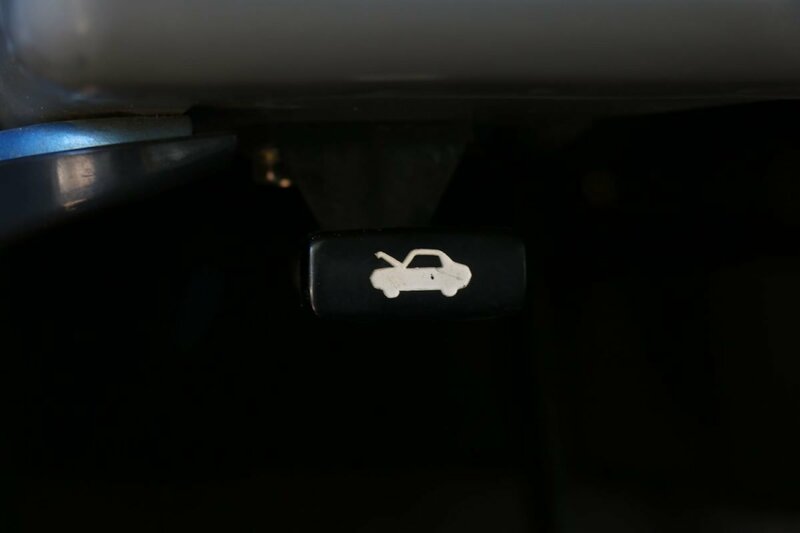 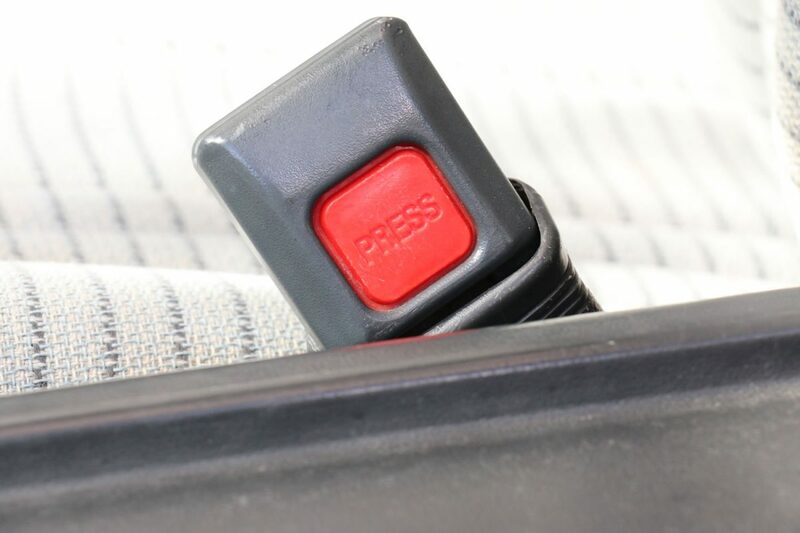 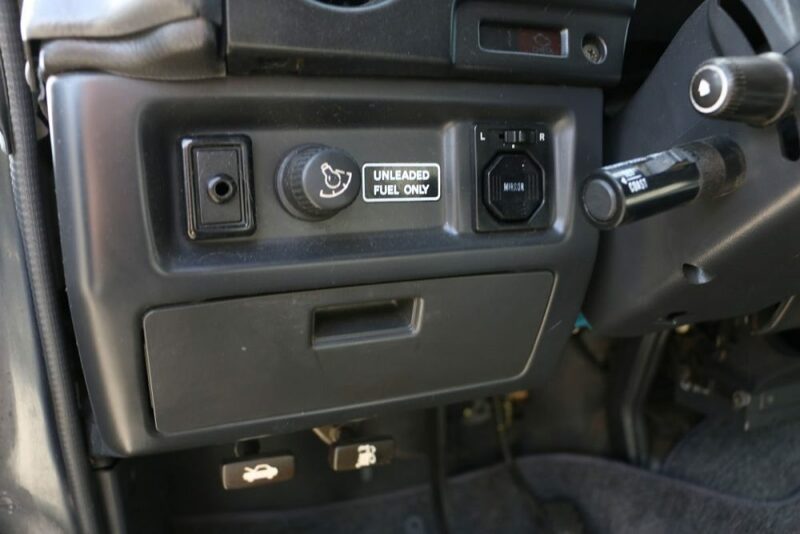 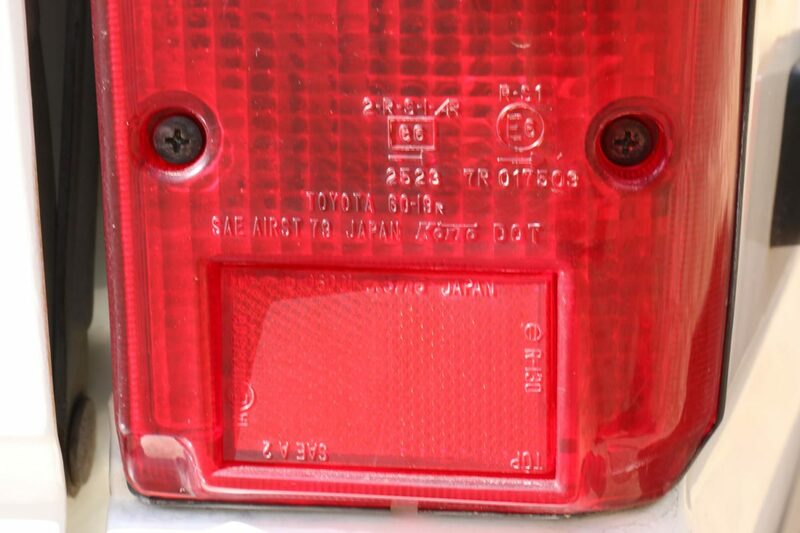 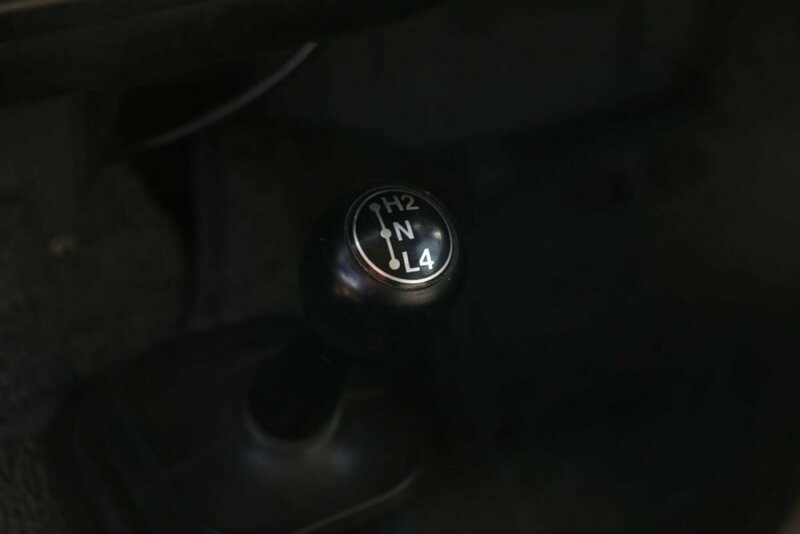 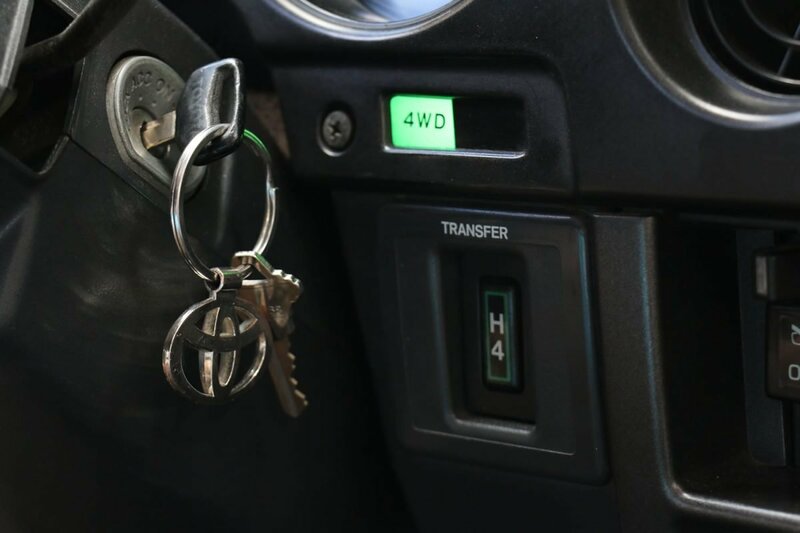 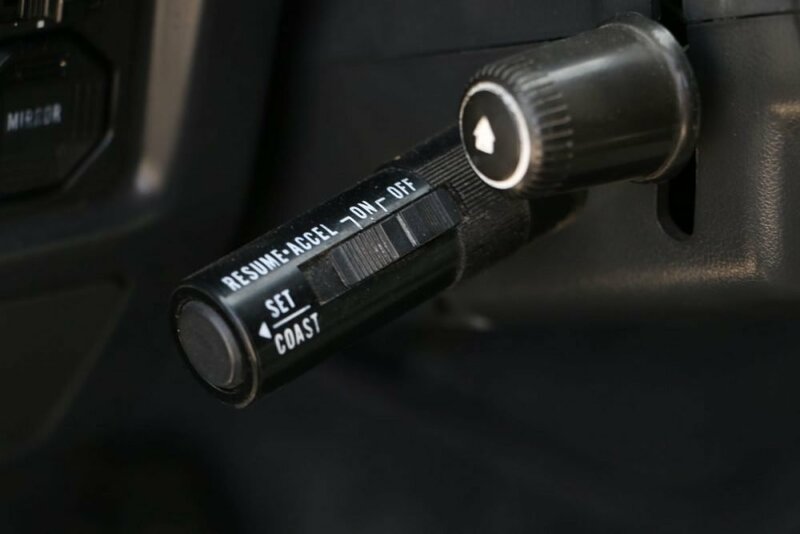 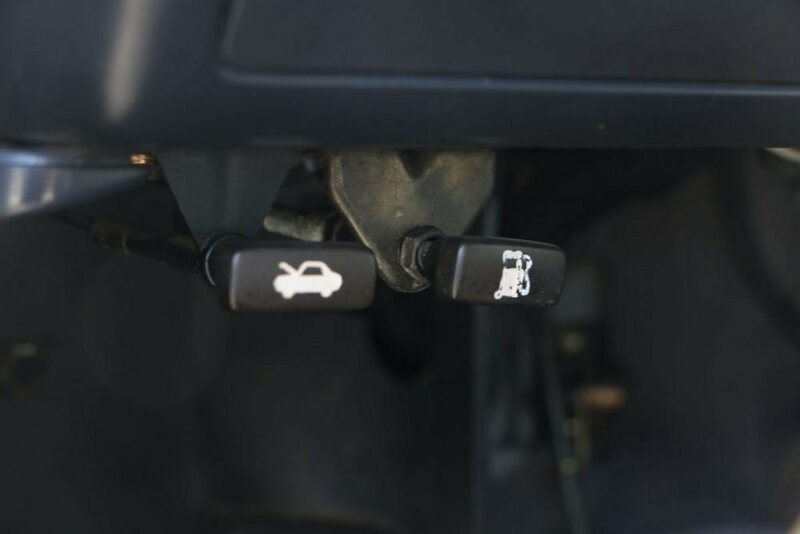 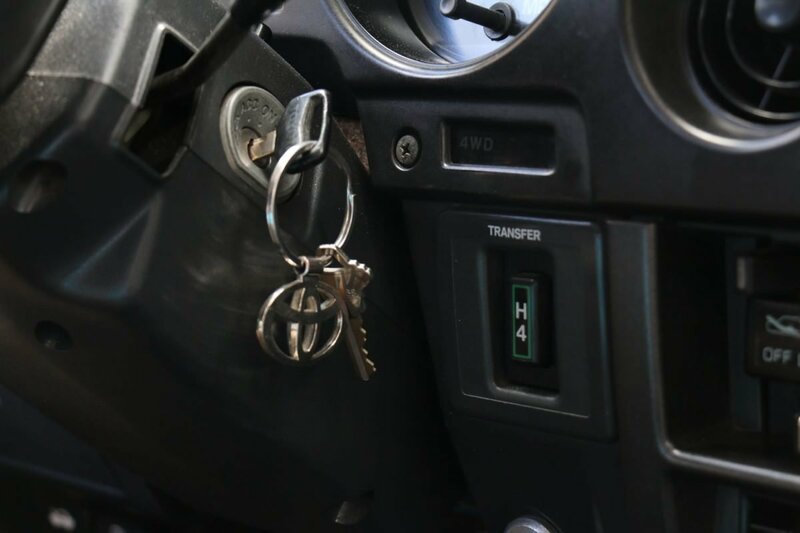 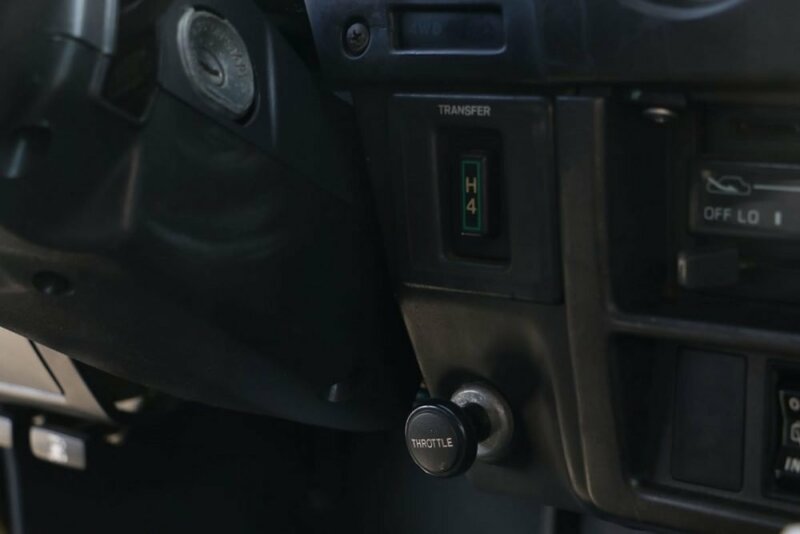 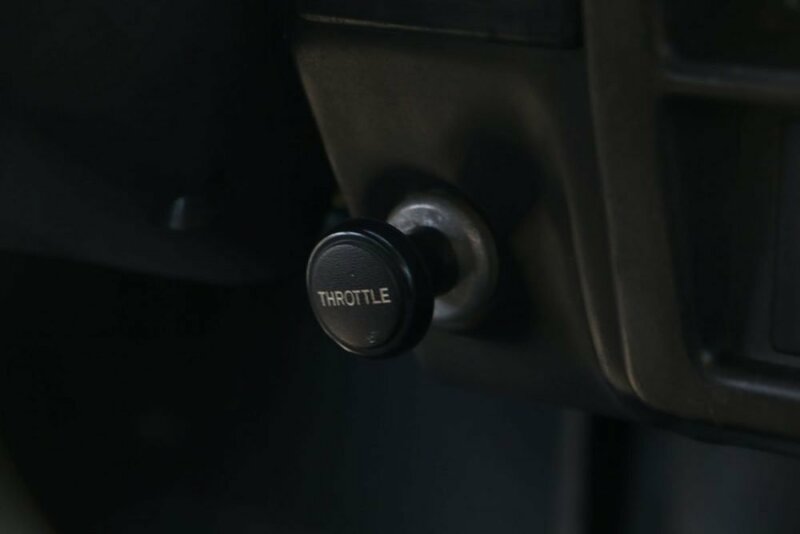 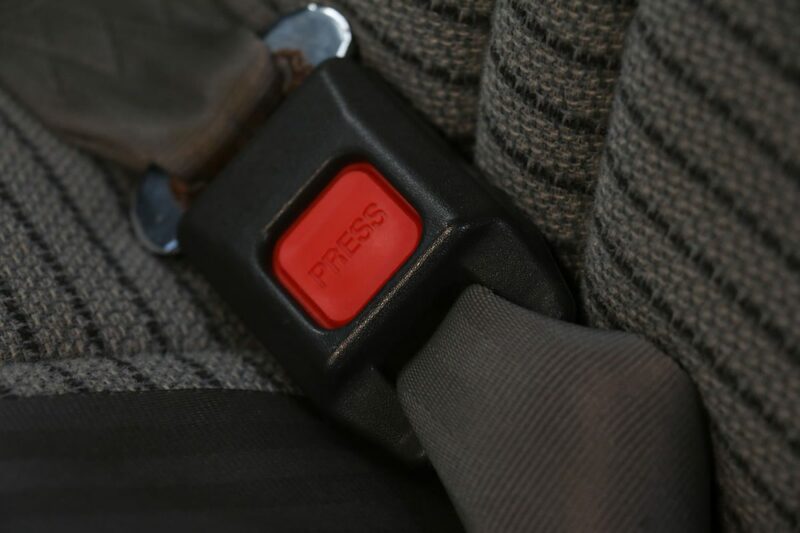 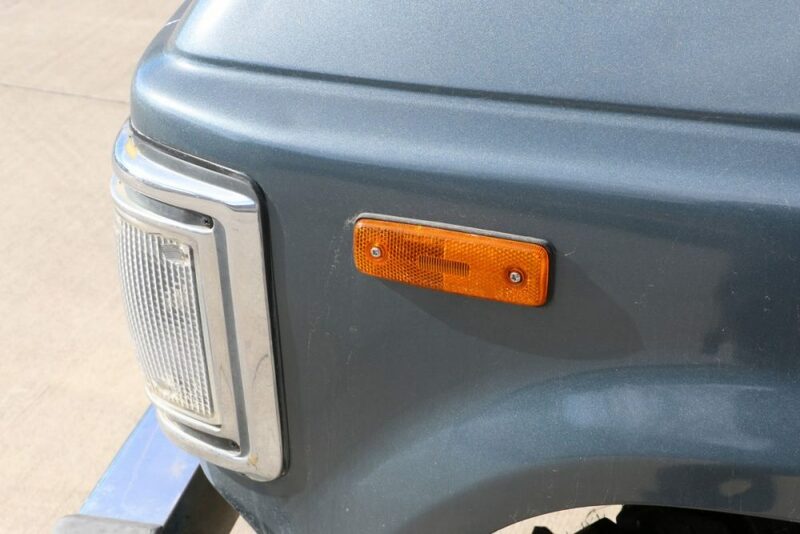 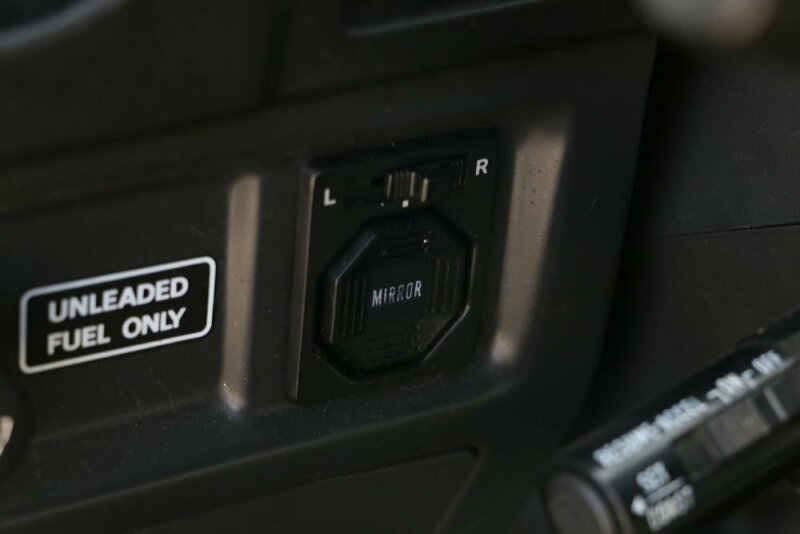 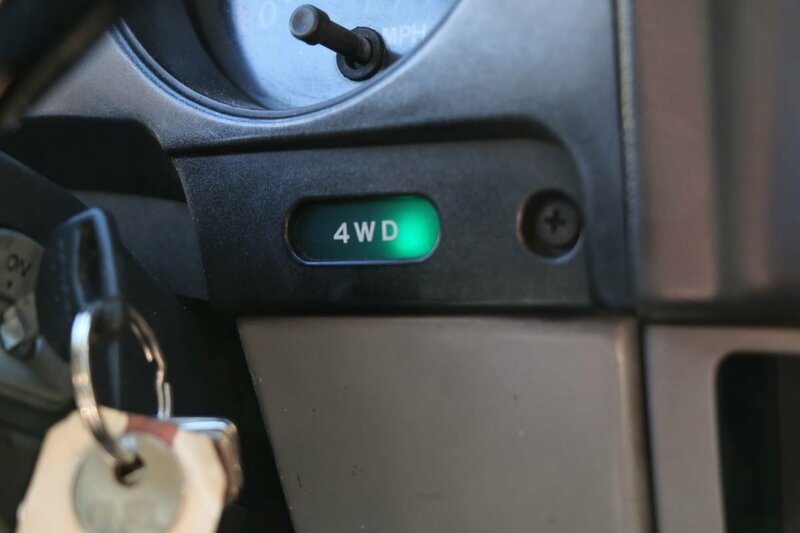 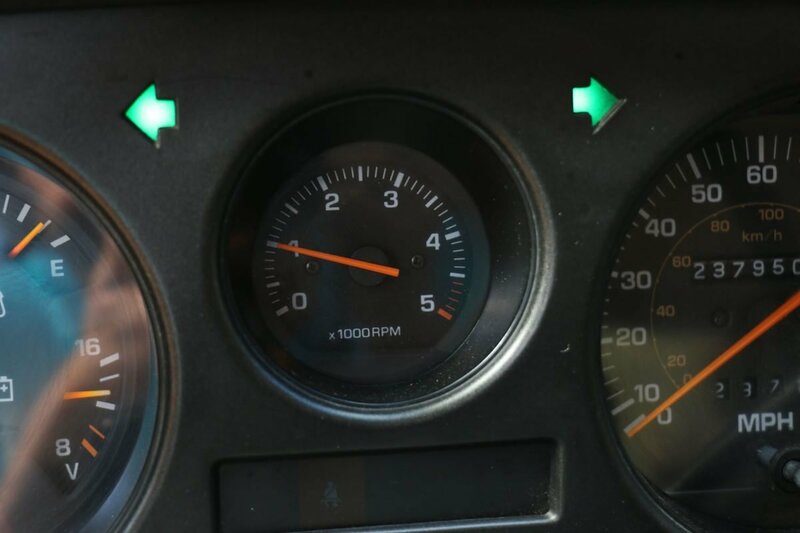 Blinker won’t shut off when you turn the corner. 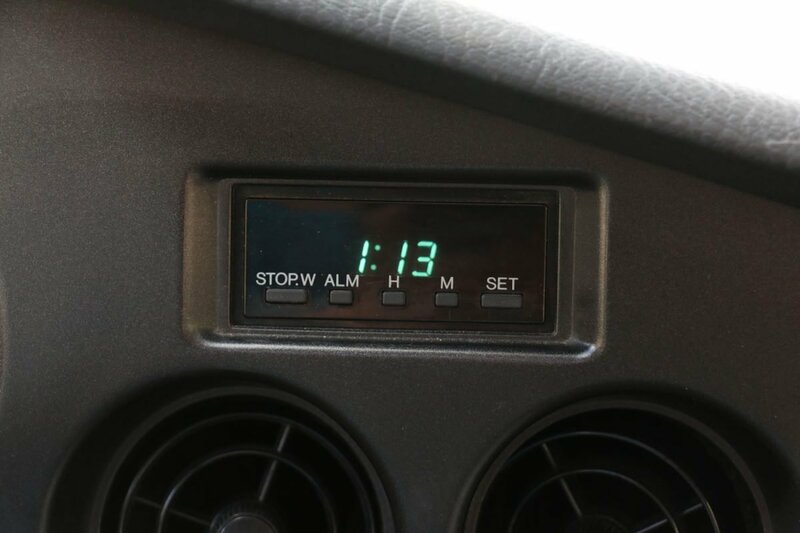 You have to manually click it off. 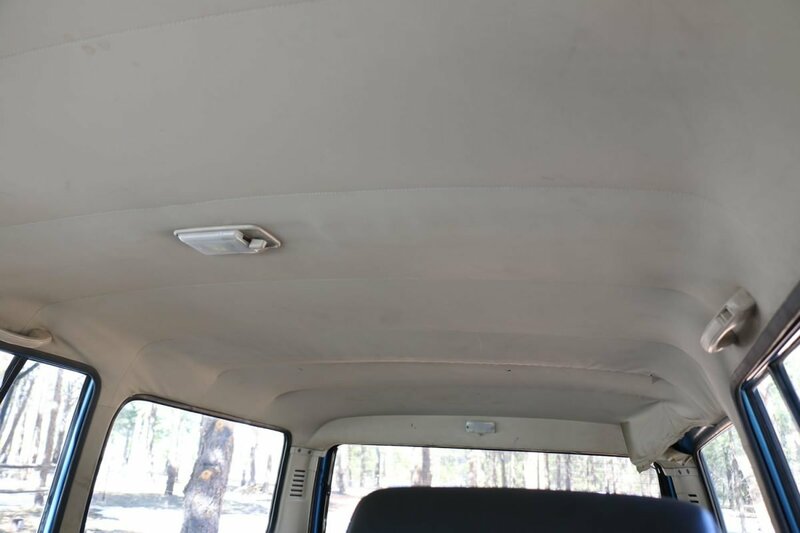 It was repainted a few years back. 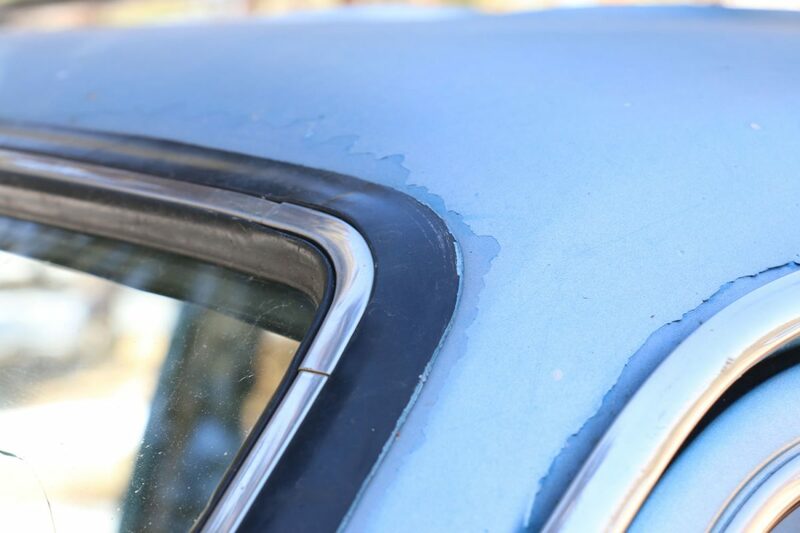 From 10 feet away it looks great, but when you get up close you’ll see some of the paint chipping here and there. 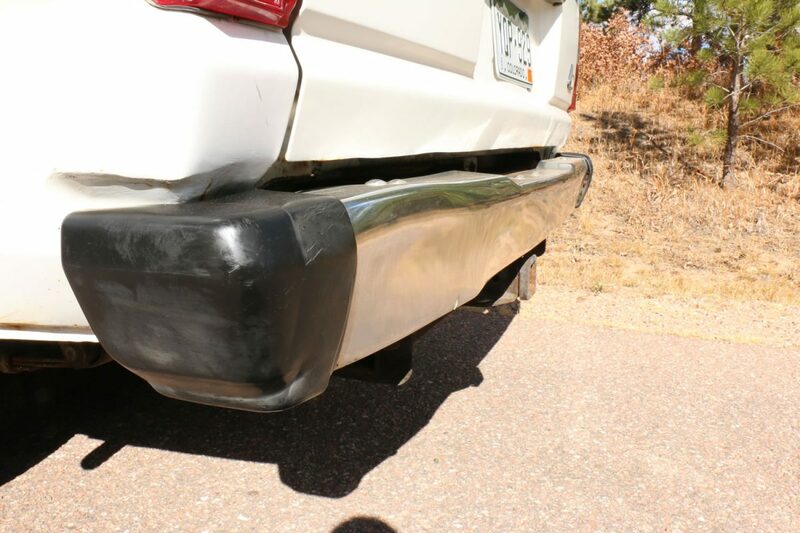 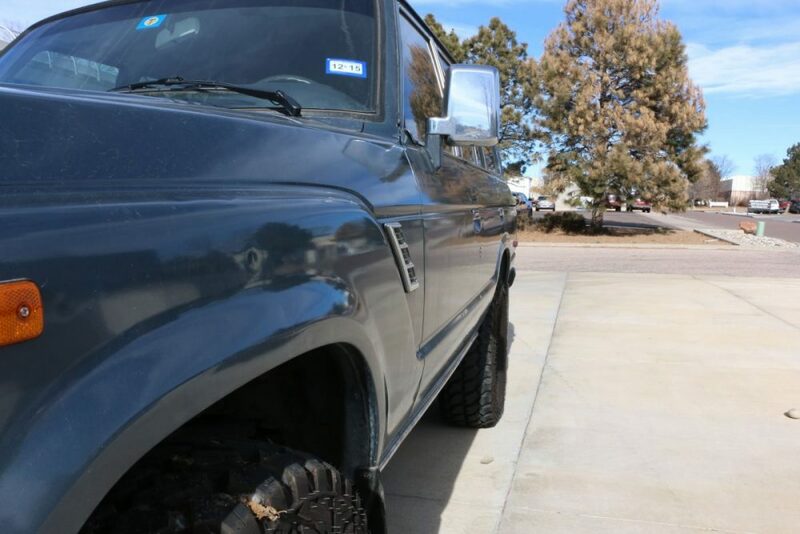 Nothing terrible…it looks like it was a good paint job, but it definitely wasn’t a super high-end paint job. 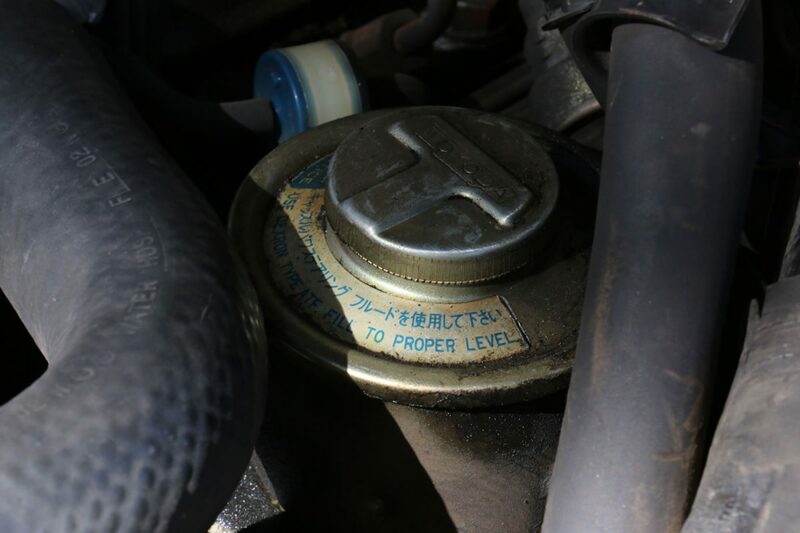 Has a few leaks. 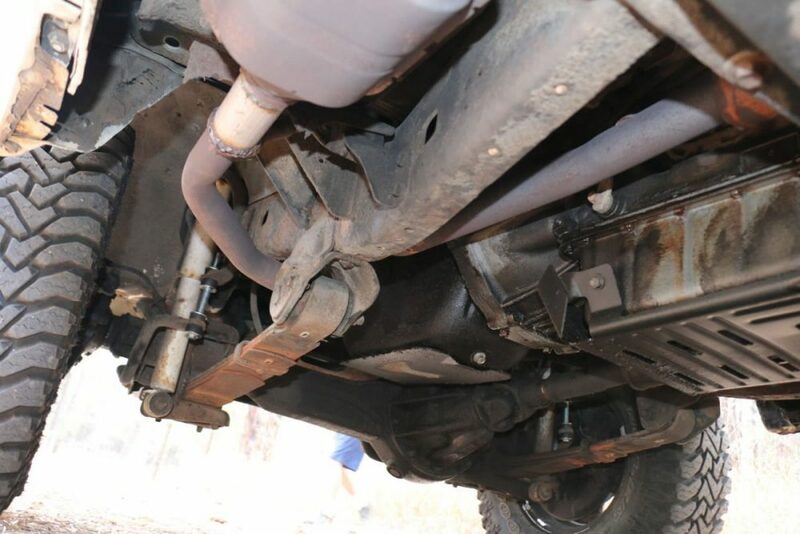 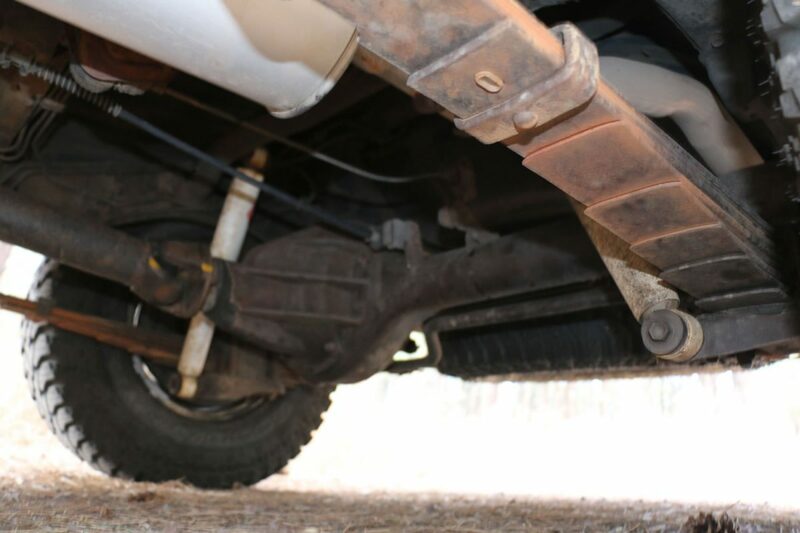 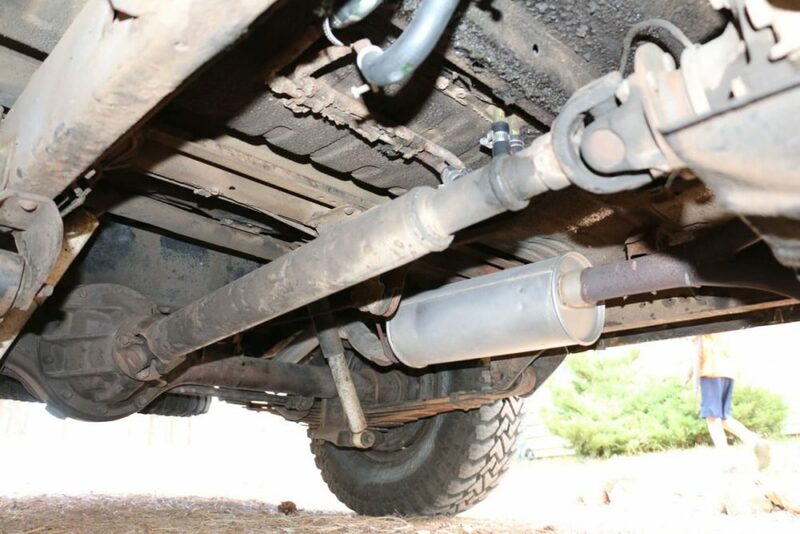 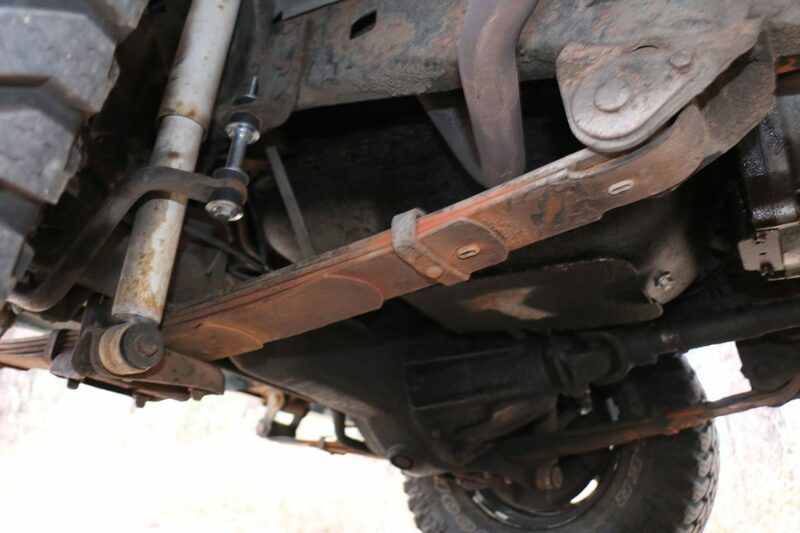 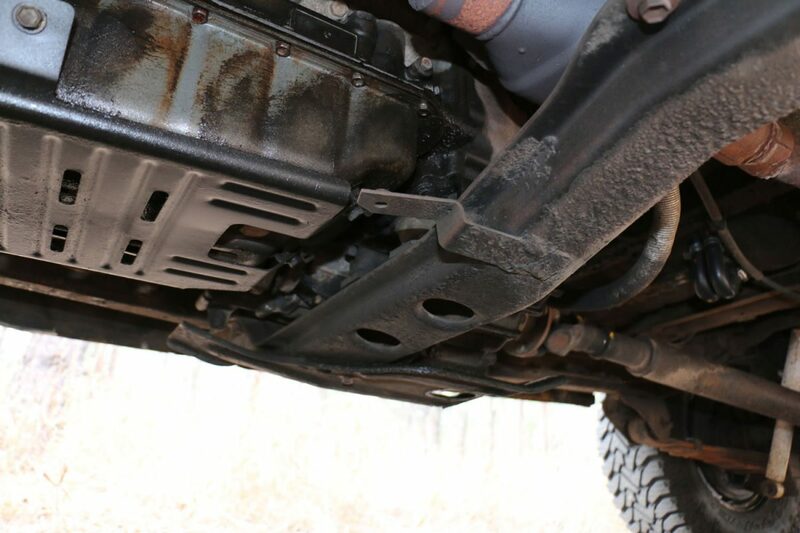 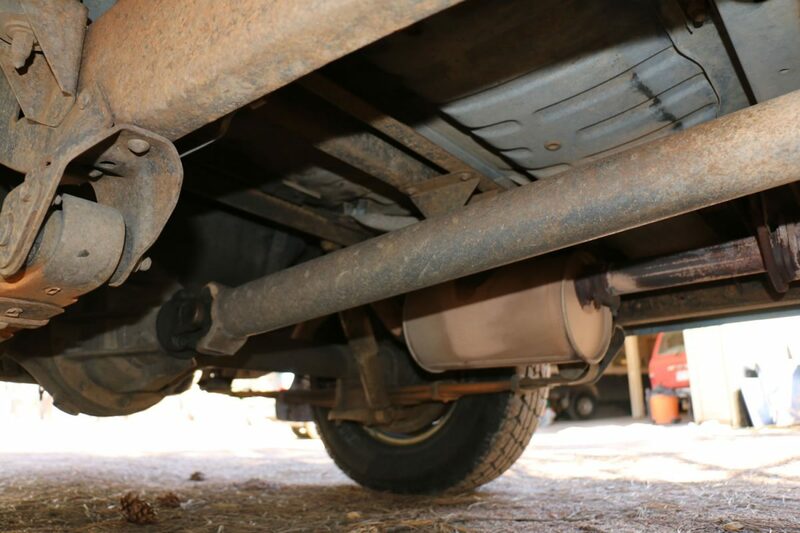 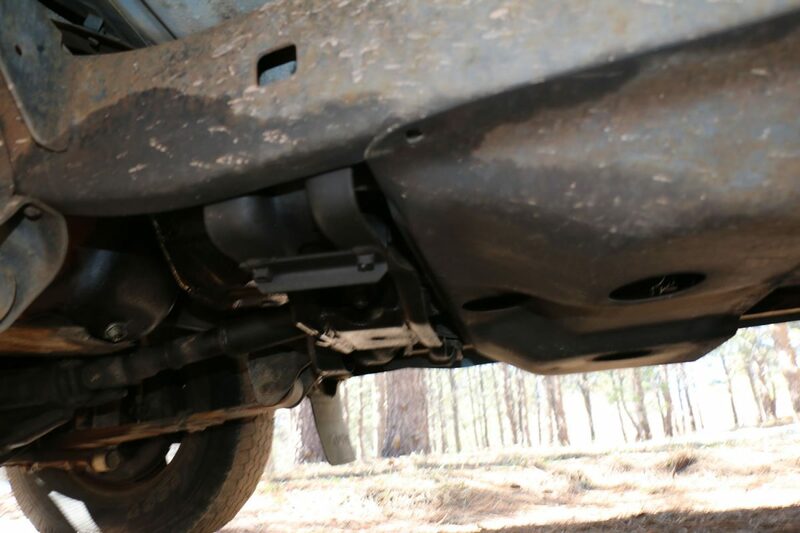 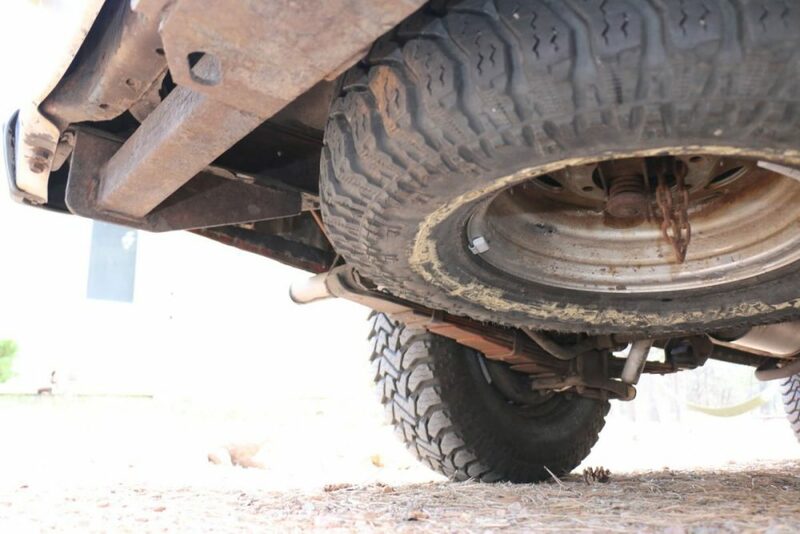 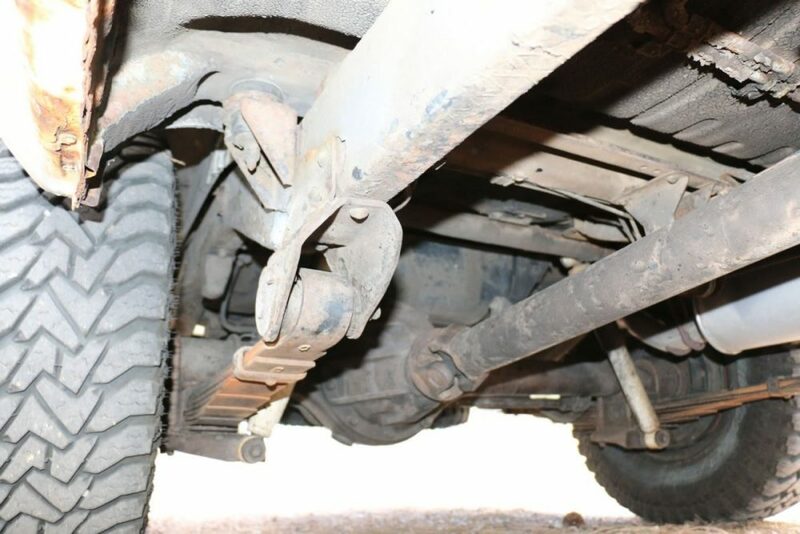 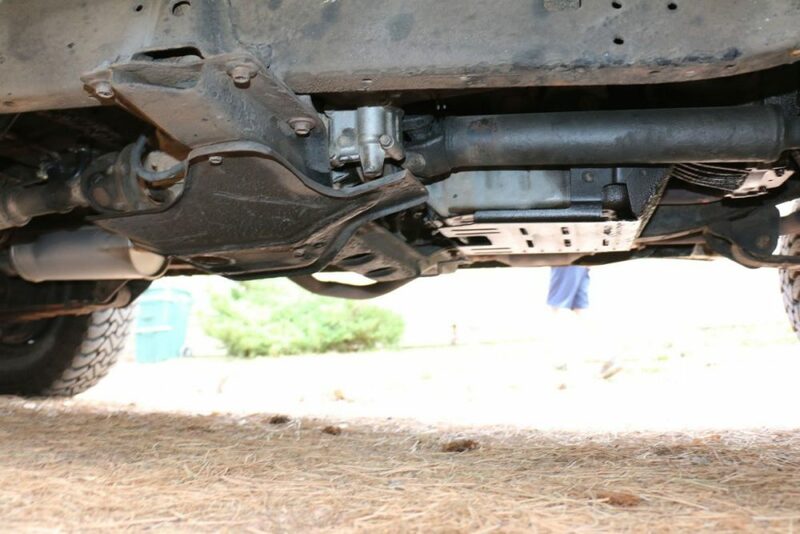 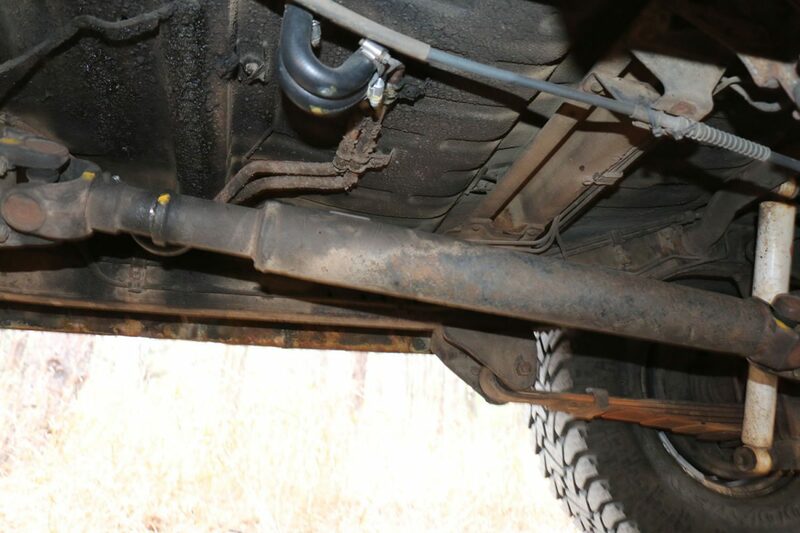 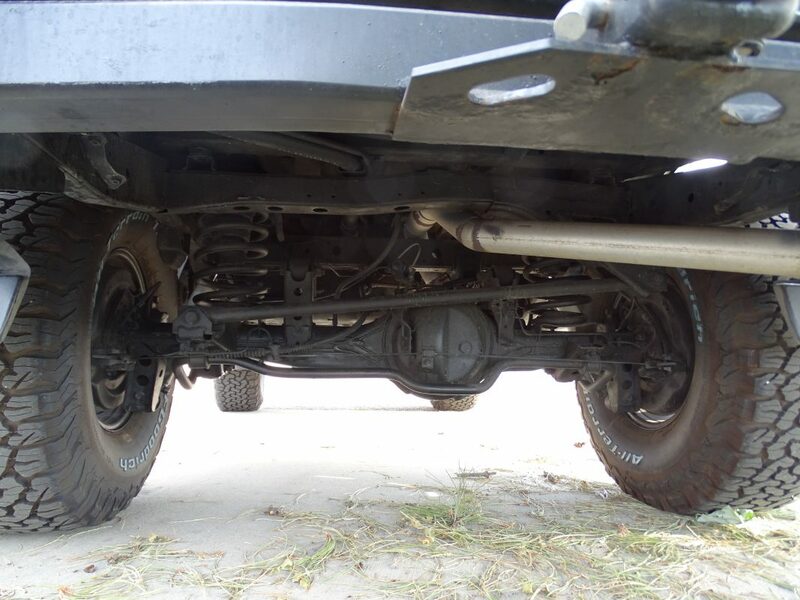 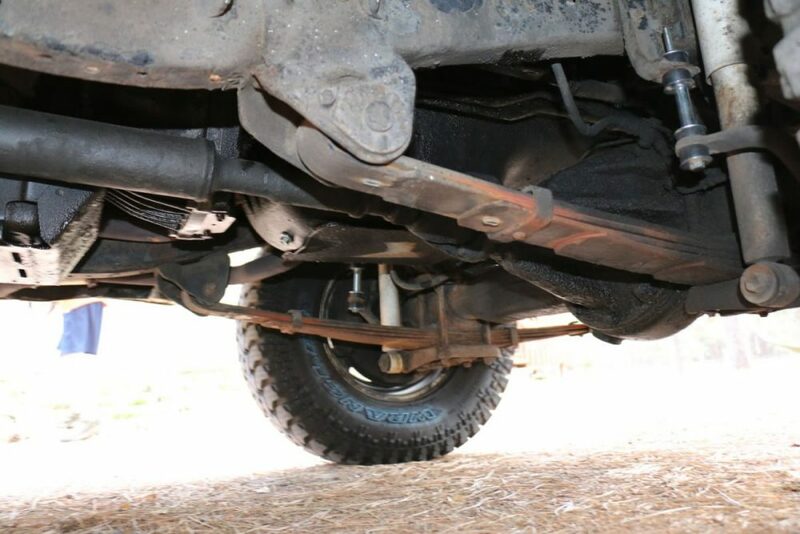 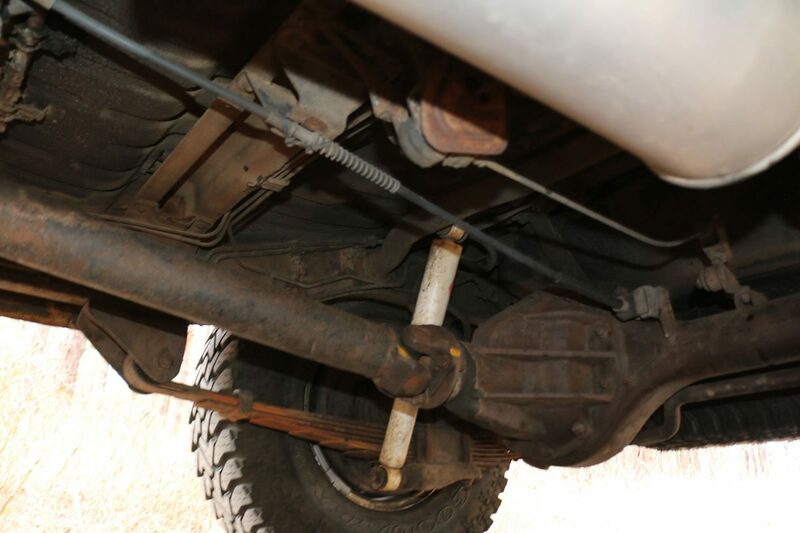 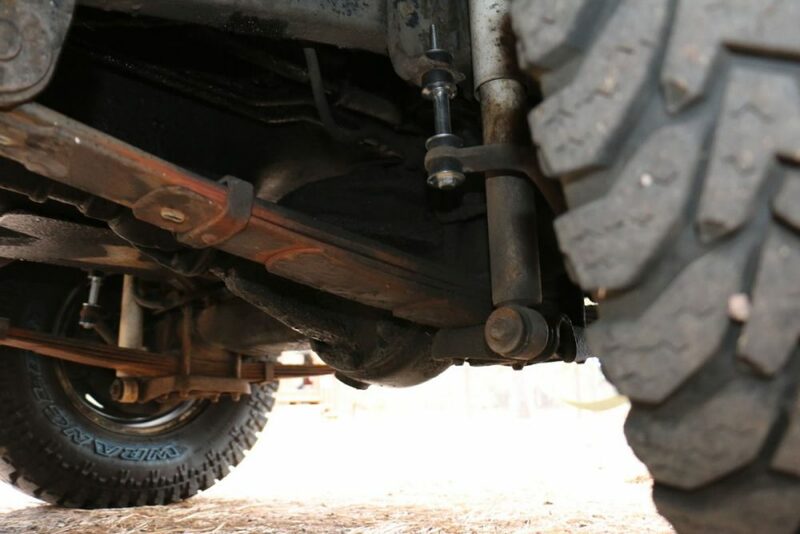 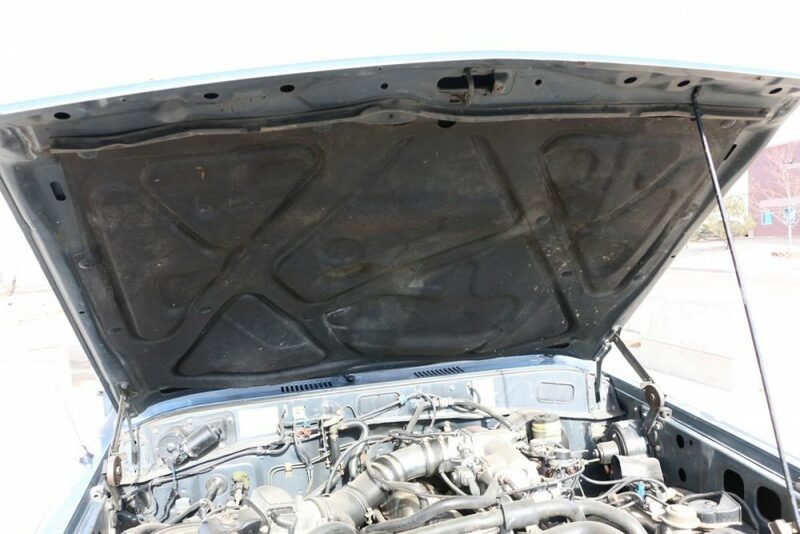 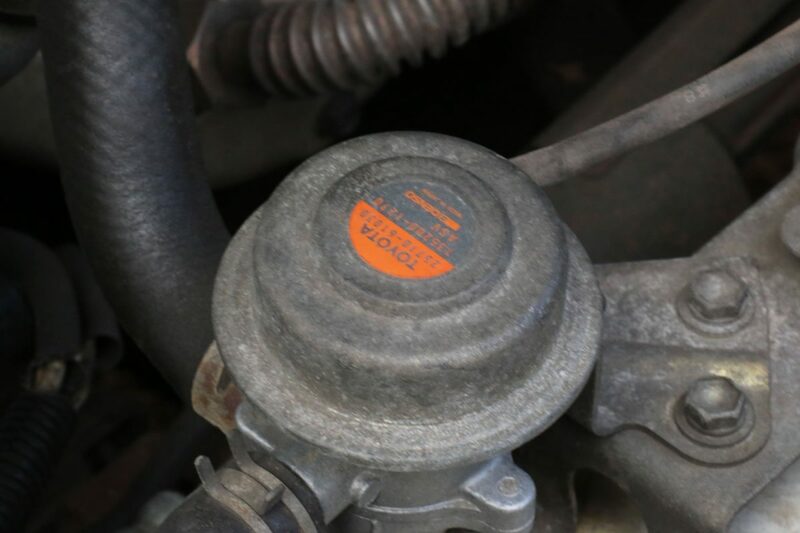 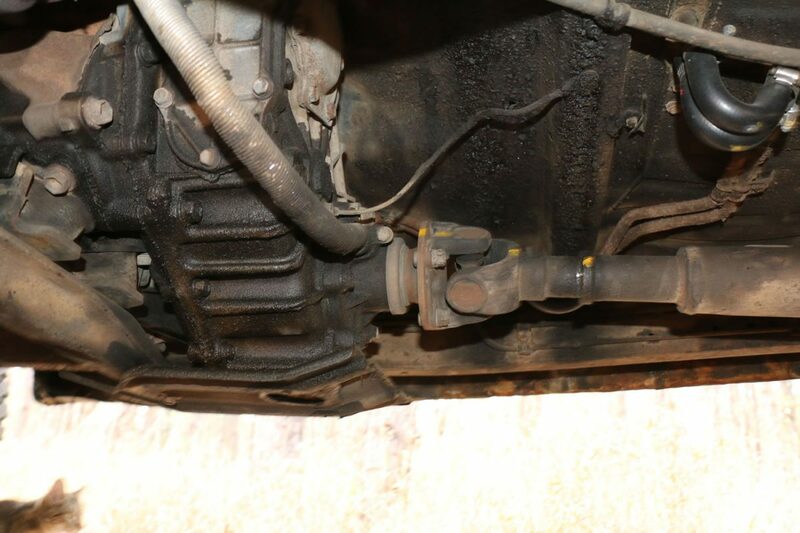 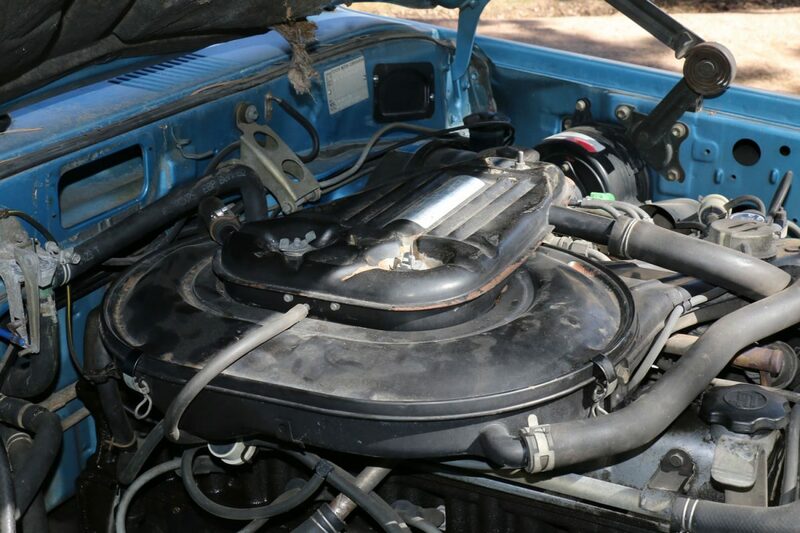 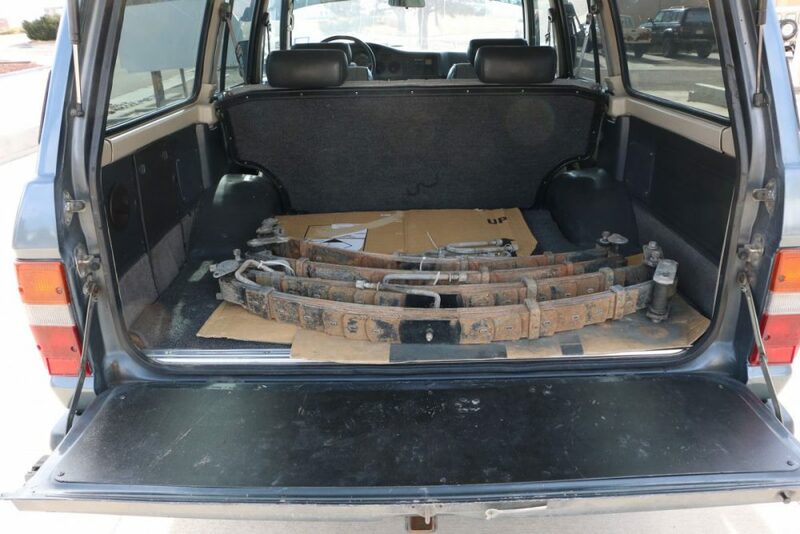 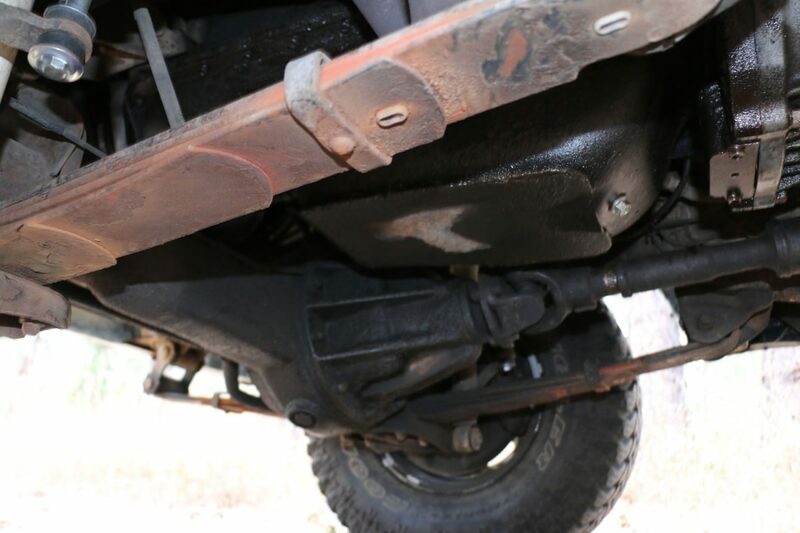 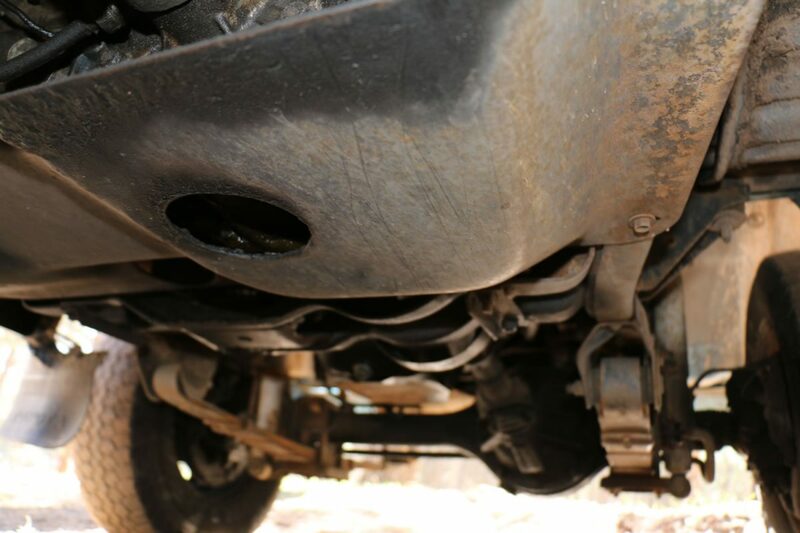 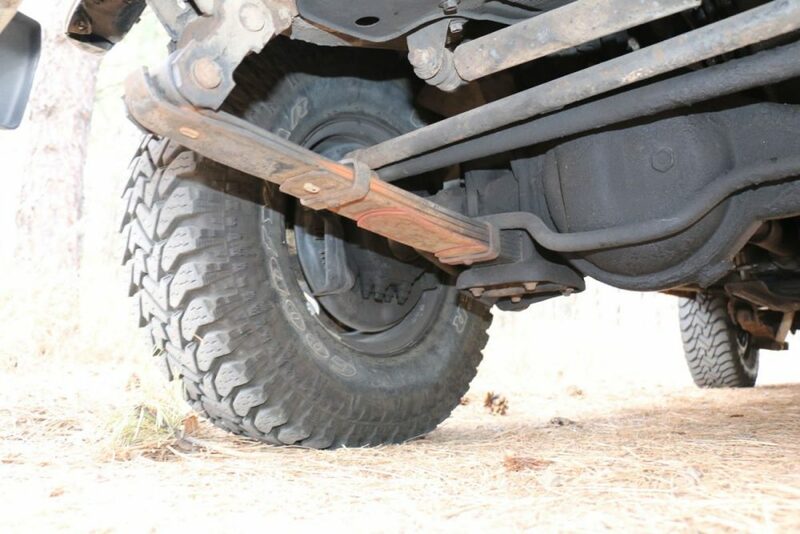 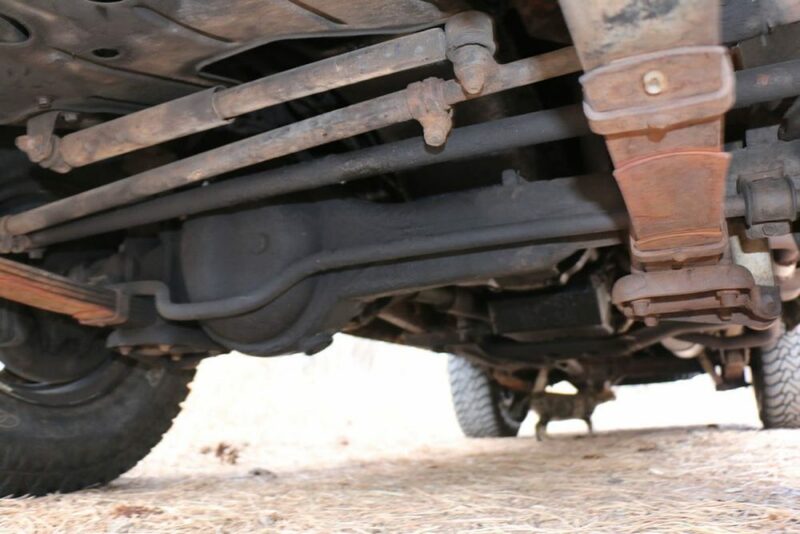 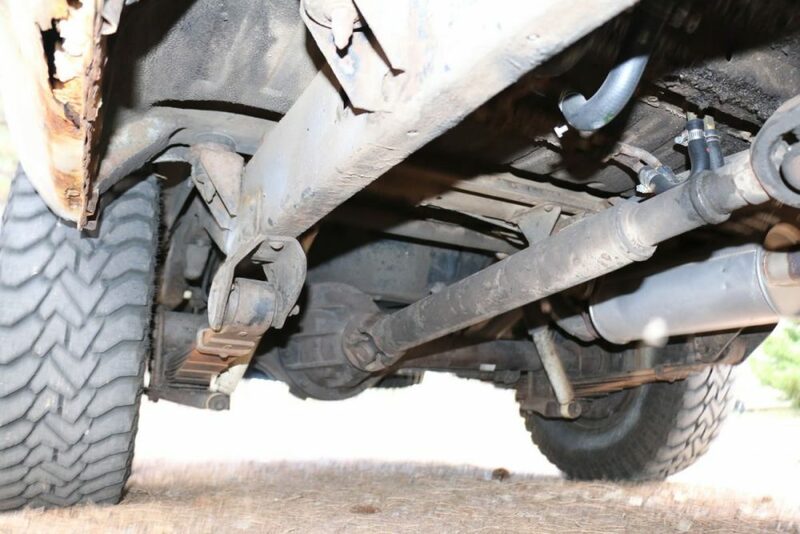 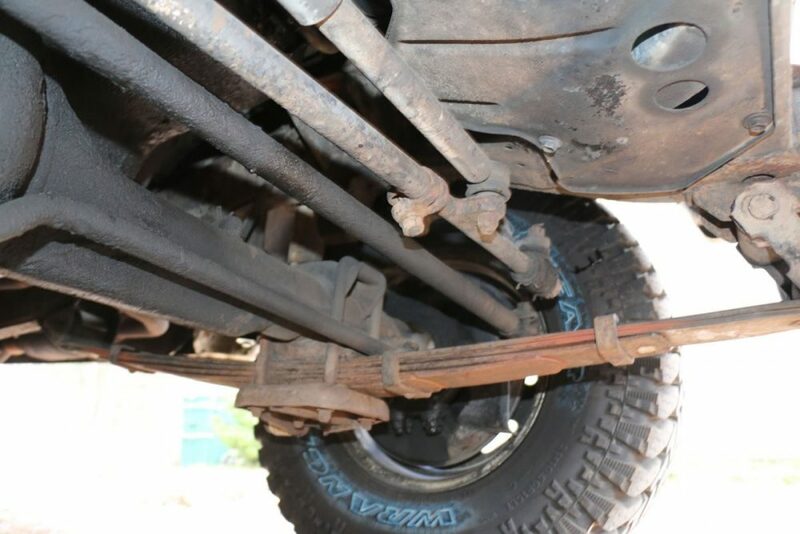 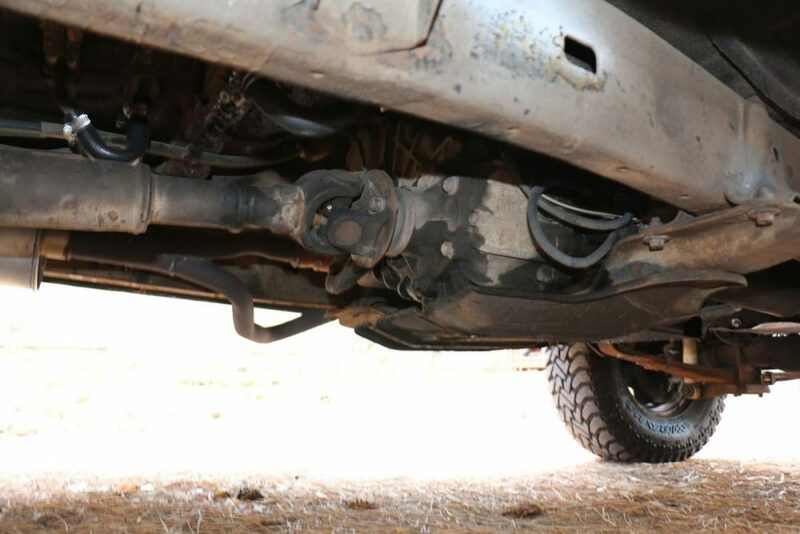 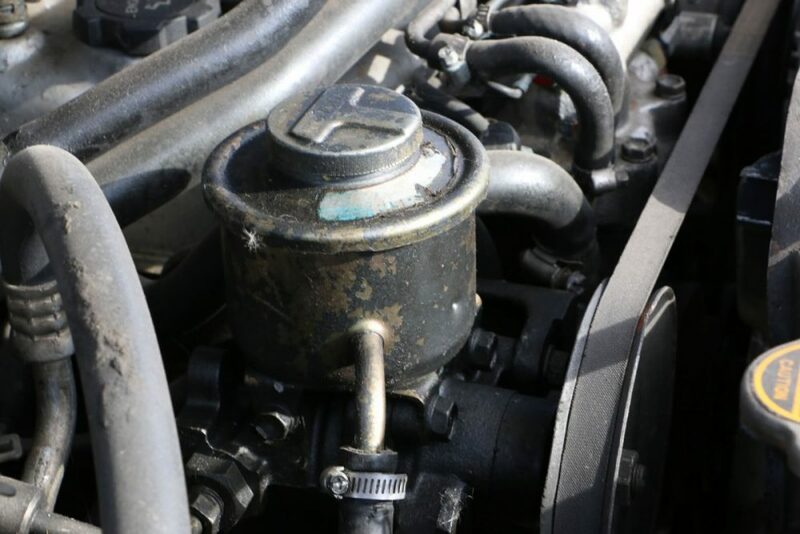 One looks like it’s in the t-case and the other is probably the rear main seal (which is pretty typical for Land Cruisers). 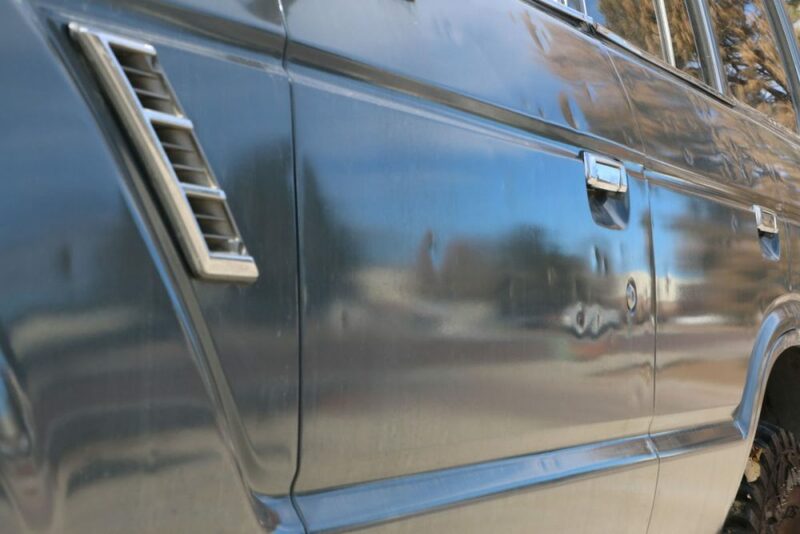 A couple drips a day. 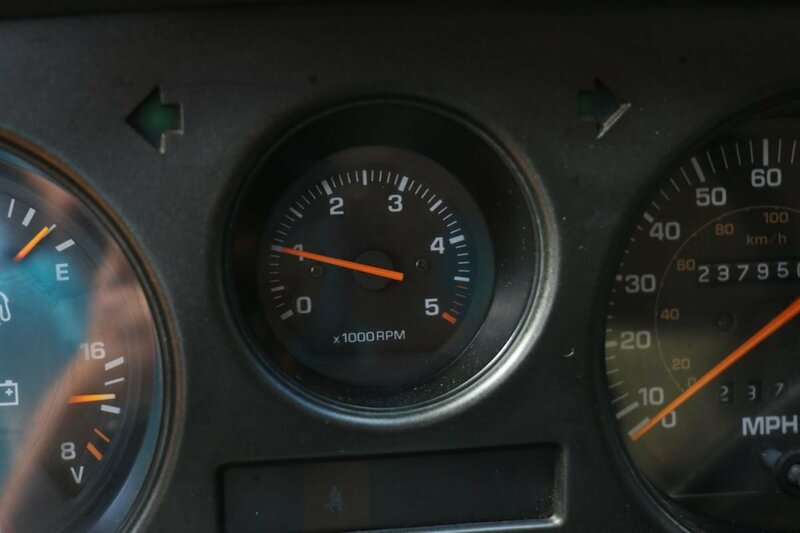 Speedometer is off by about 3-4 mph. 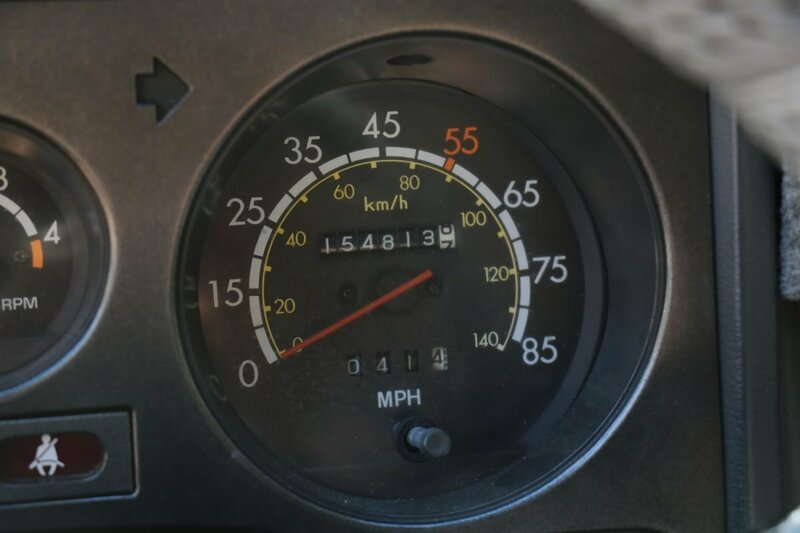 If you’re going 55, you’re really going about 51. 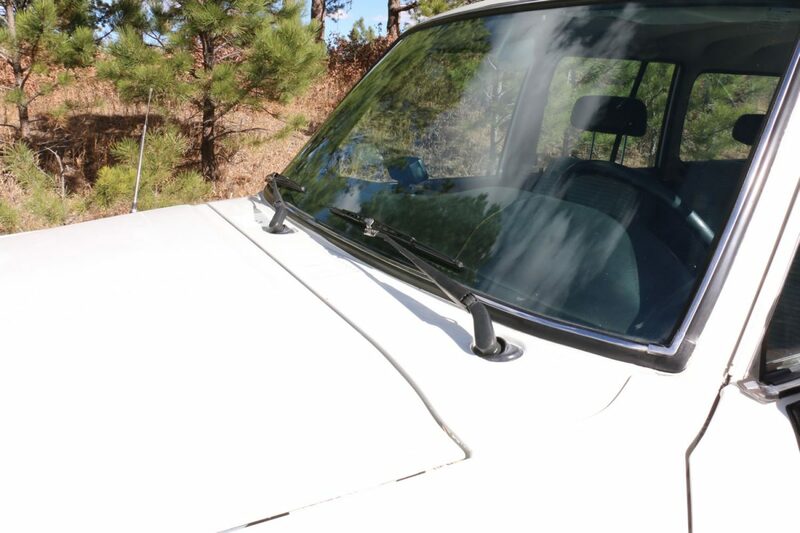 Power antenna motor works, but the antenna doesn’t go up and down. 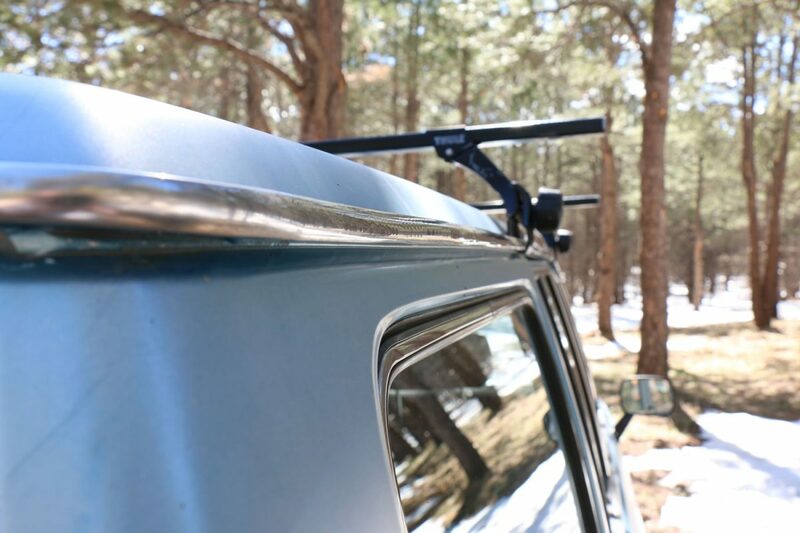 The antenna gets reception just fine as-is. 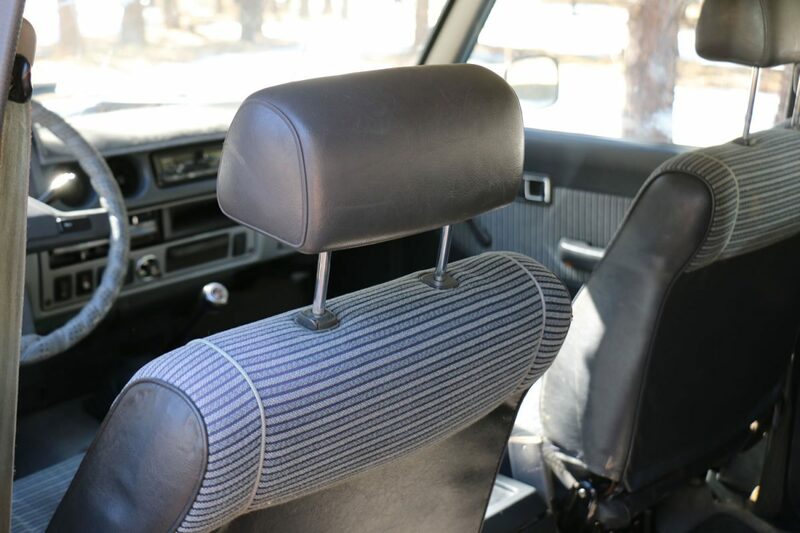 The passenger side rocker is pretty rusty. 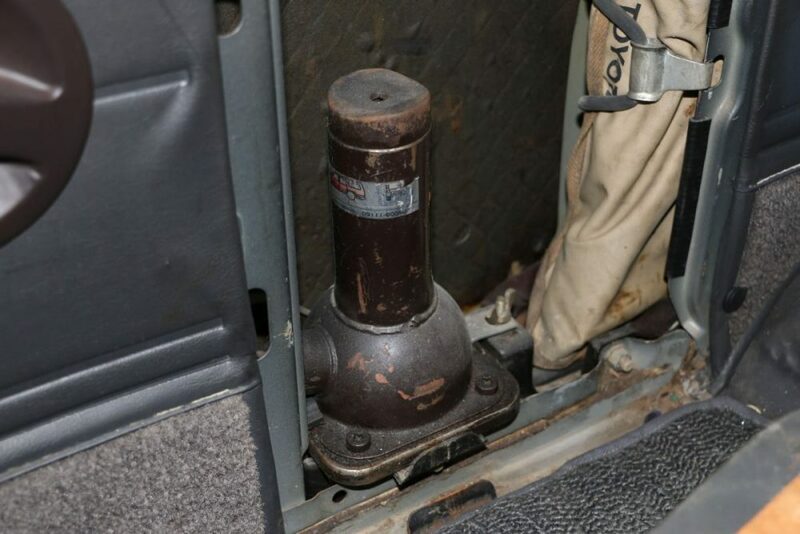 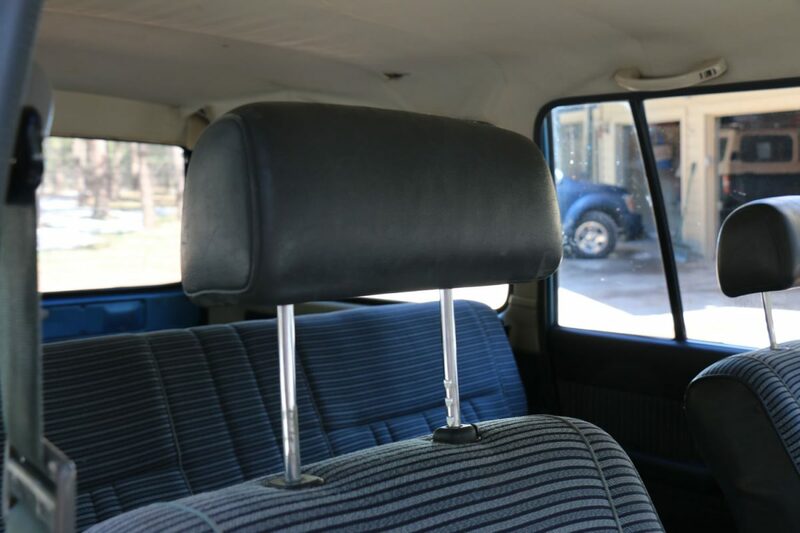 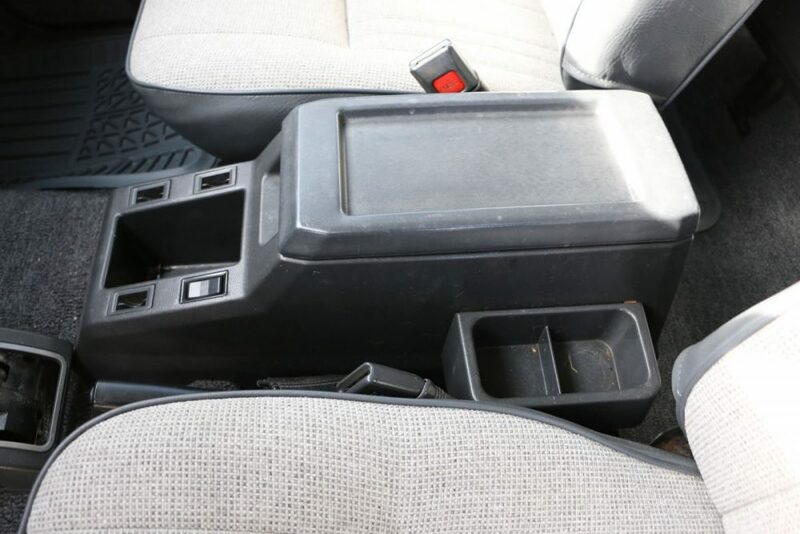 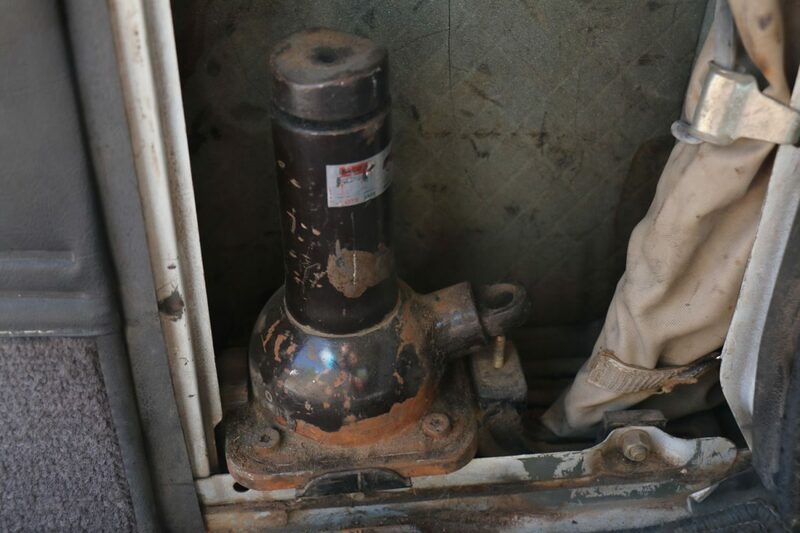 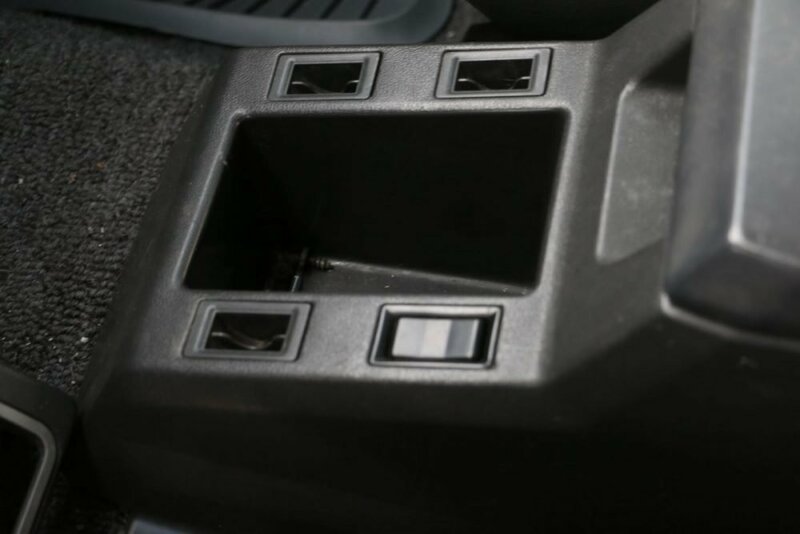 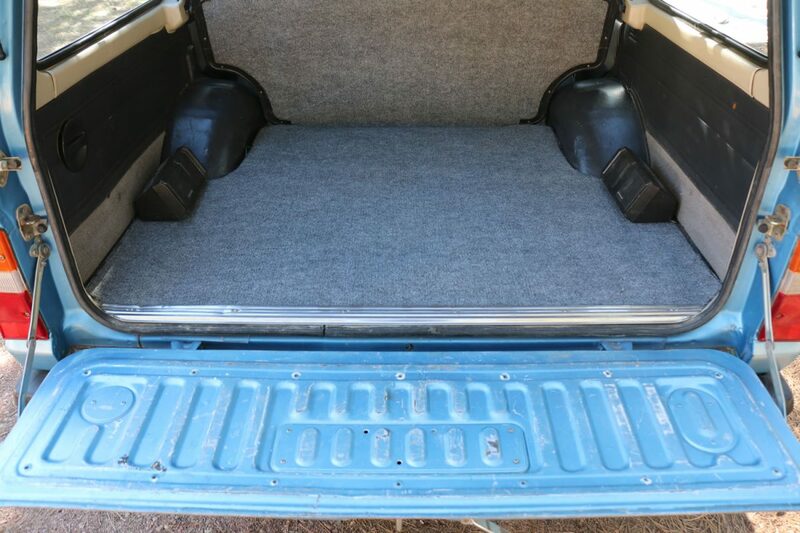 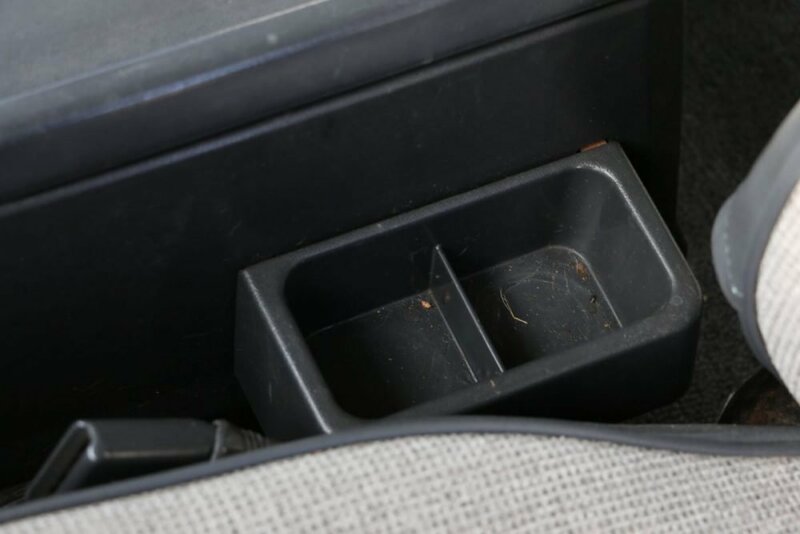 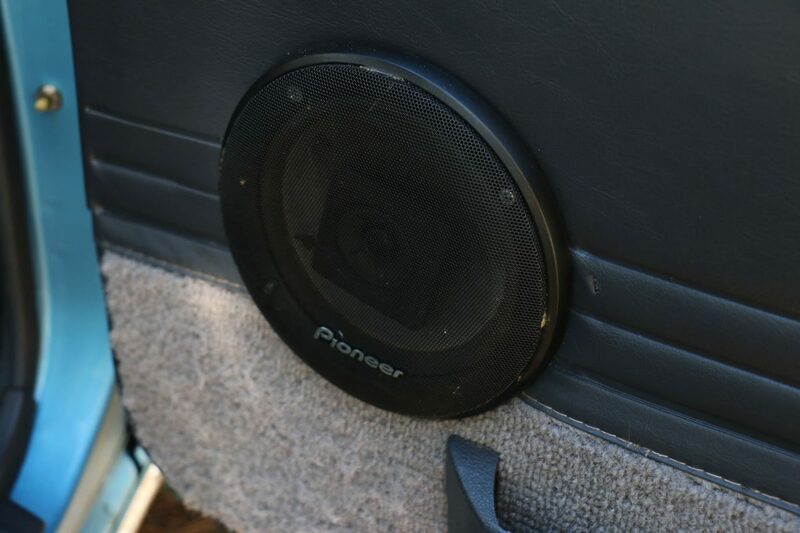 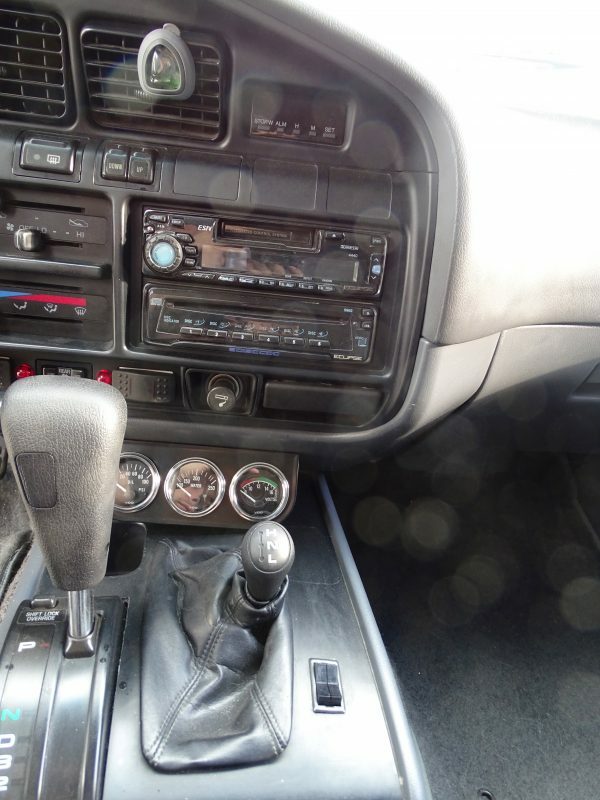 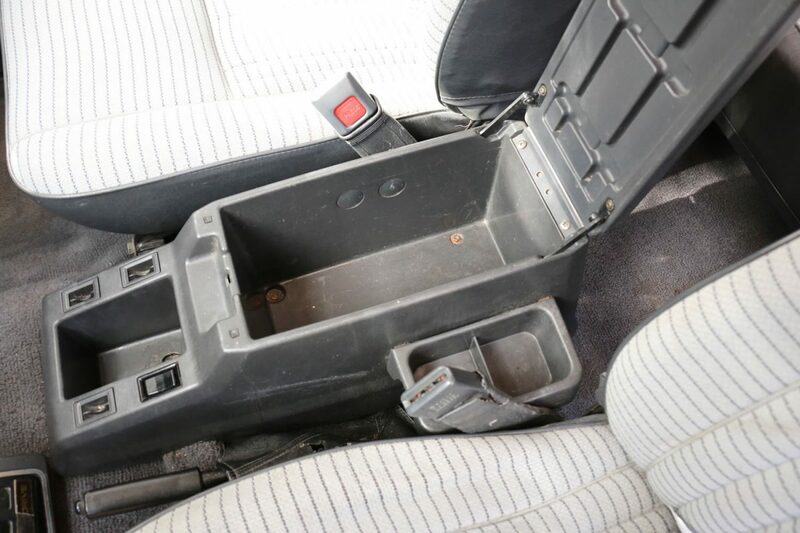 The rest of the truck is much better than average, but that rocker has a couple holes in it. 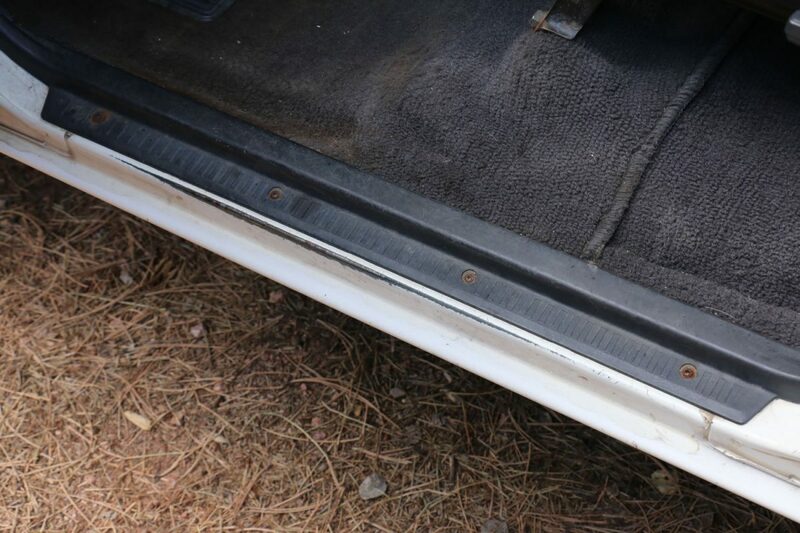 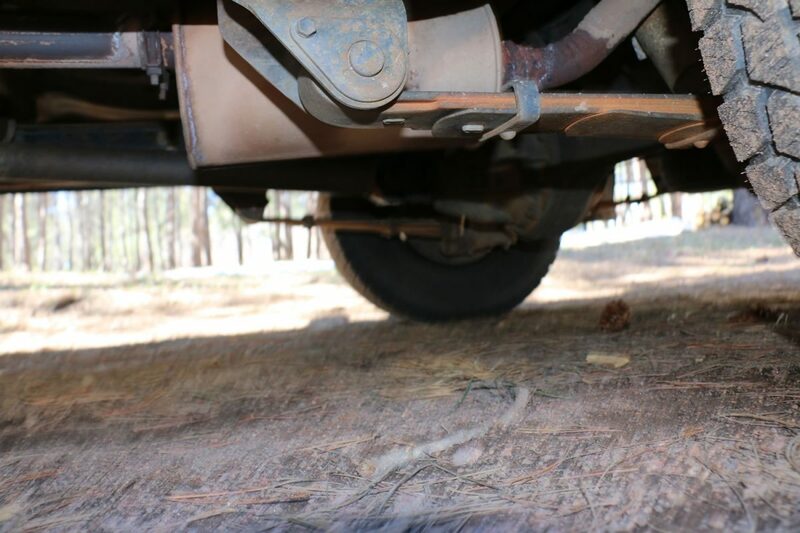 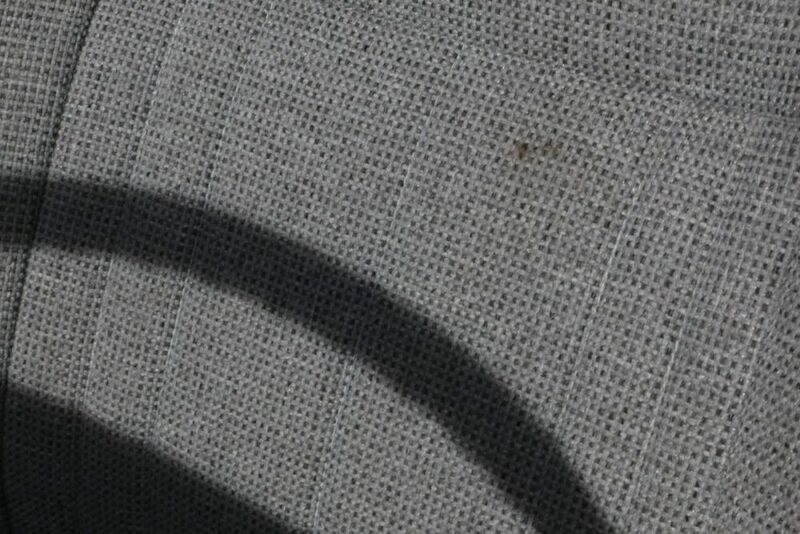 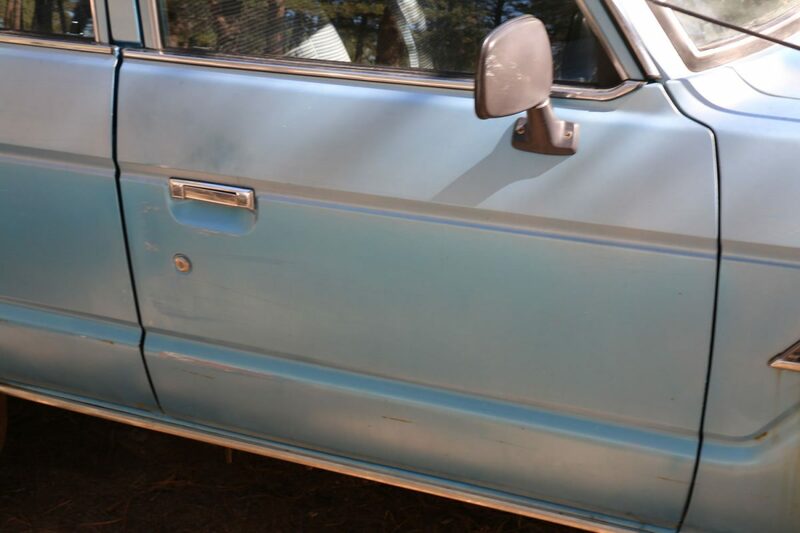 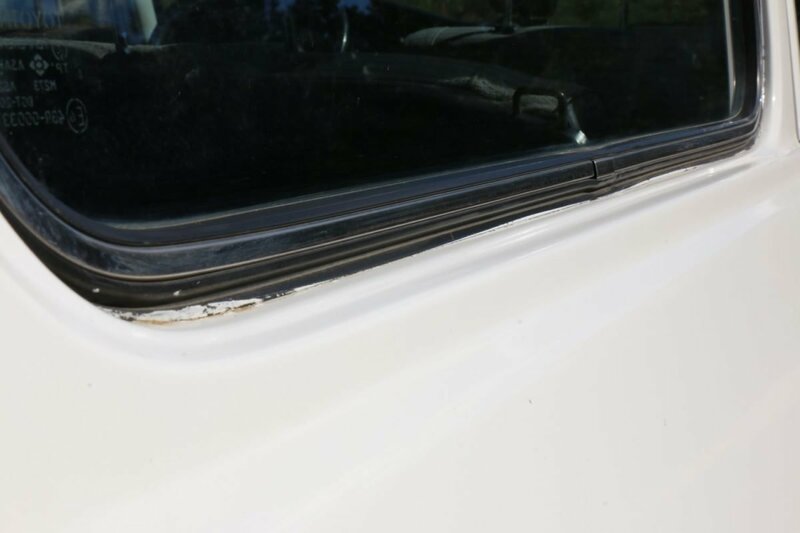 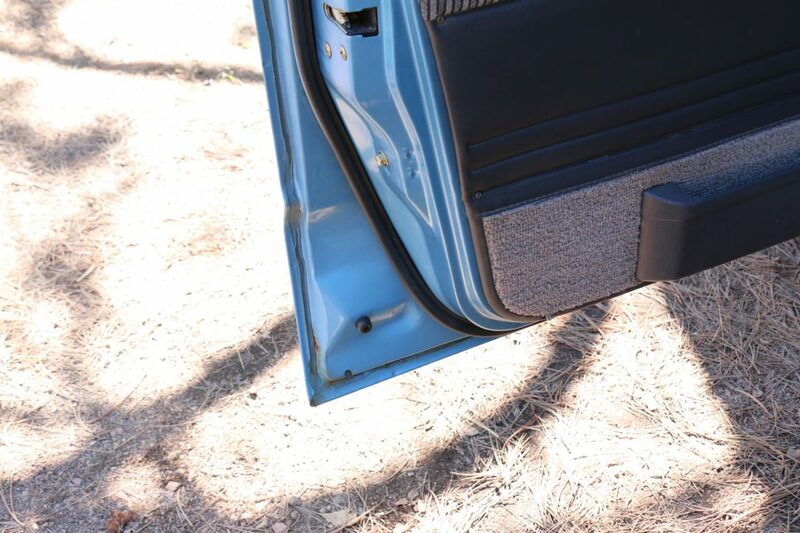 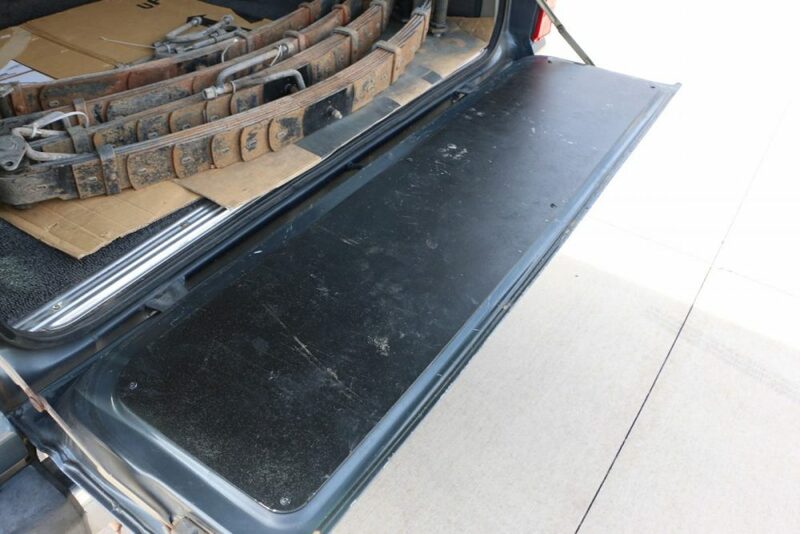 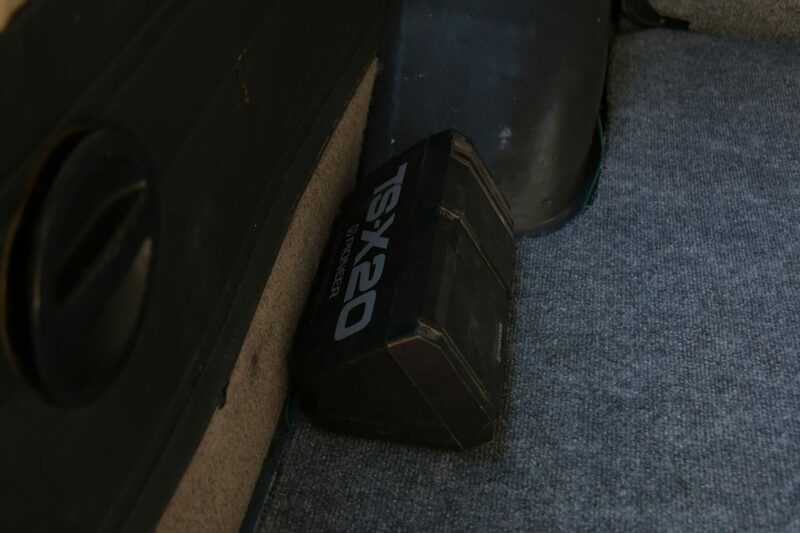 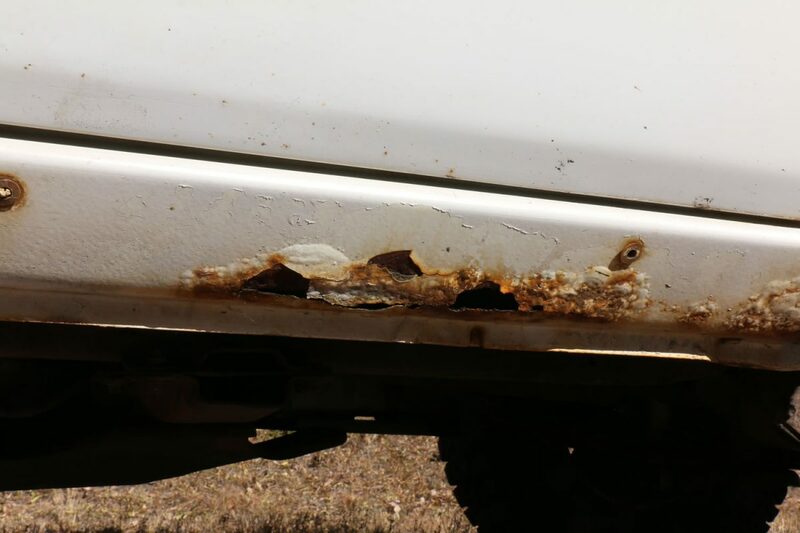 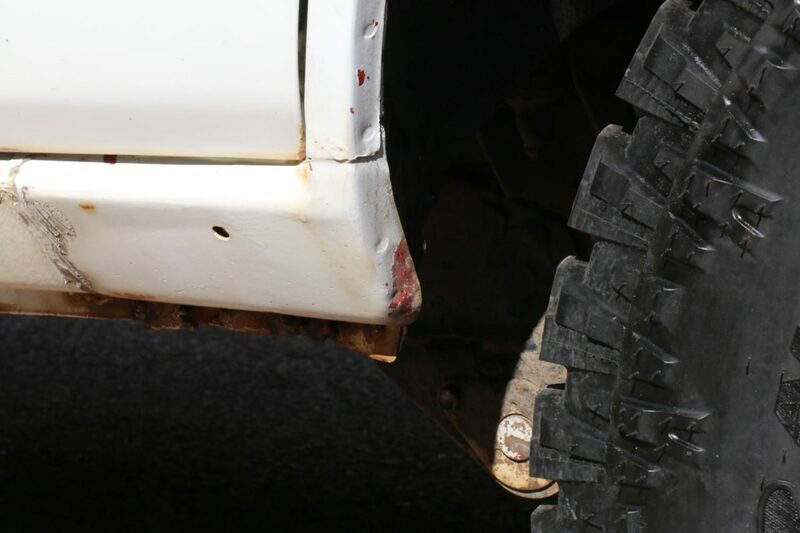 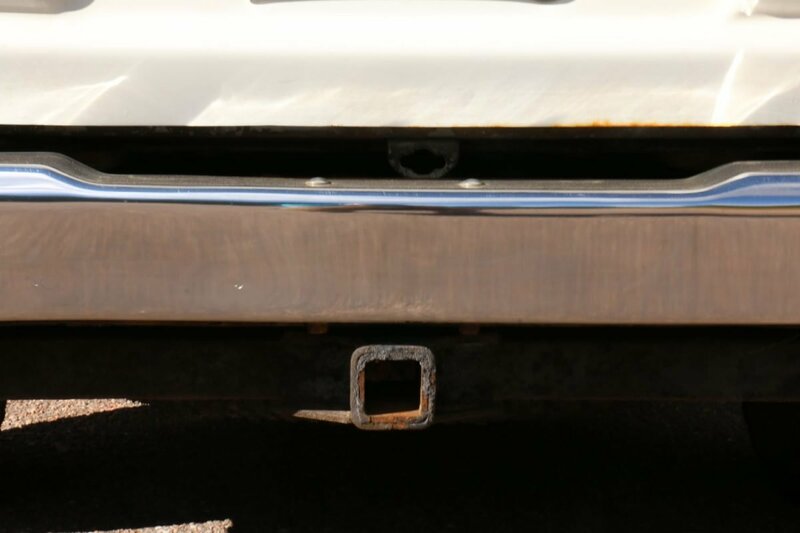 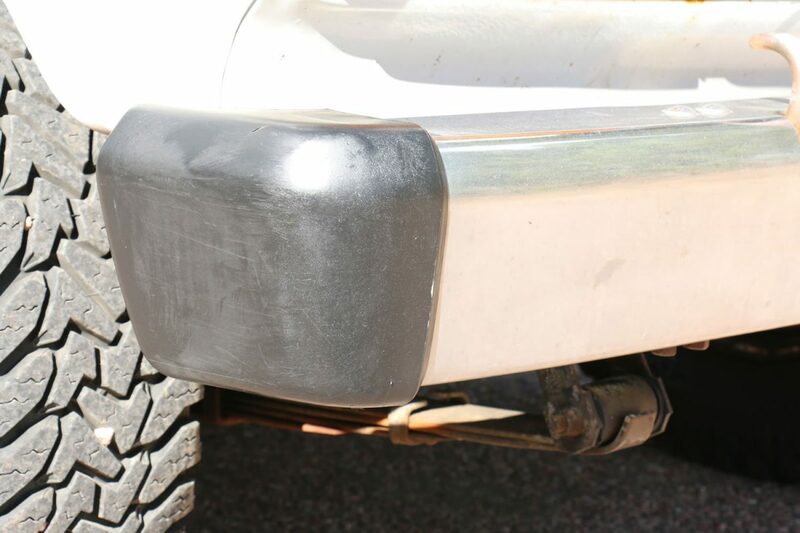 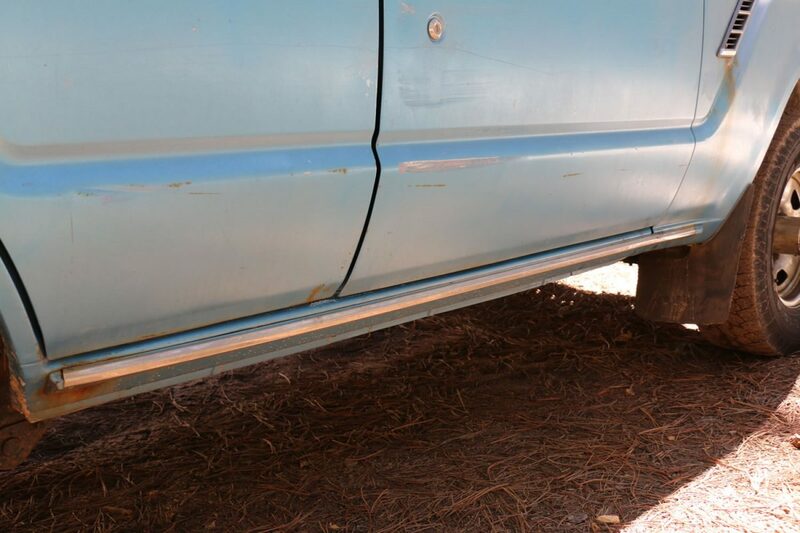 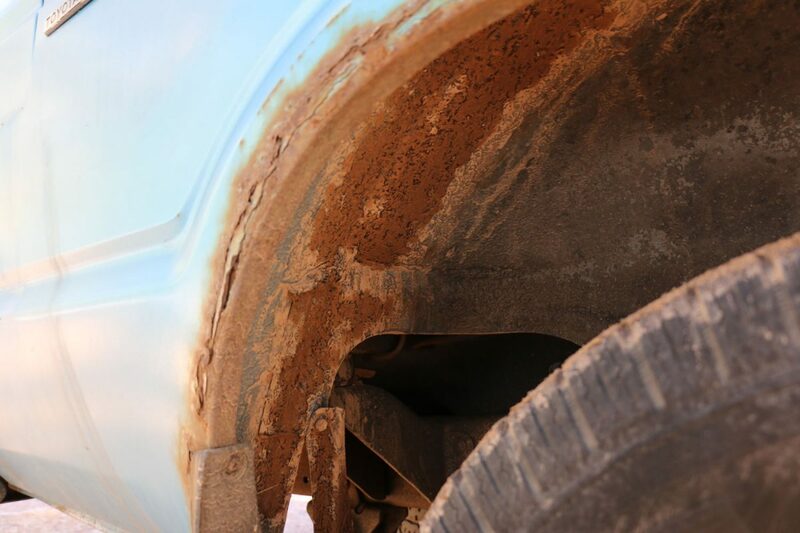 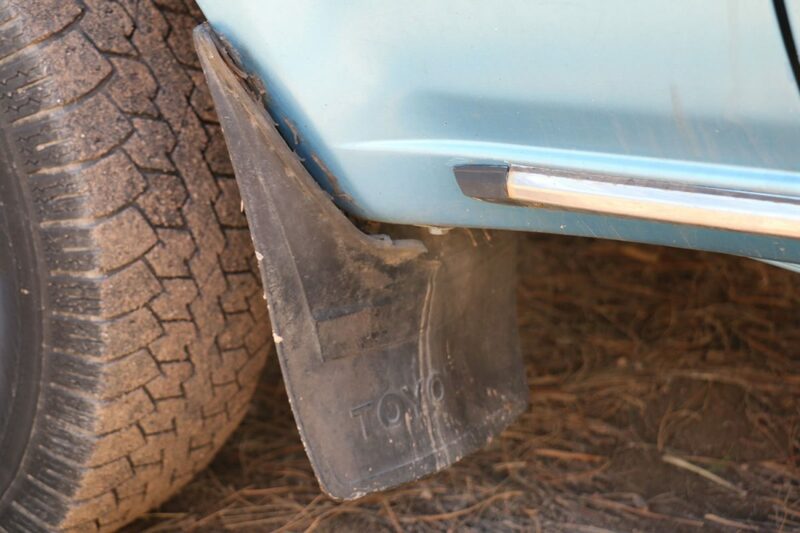 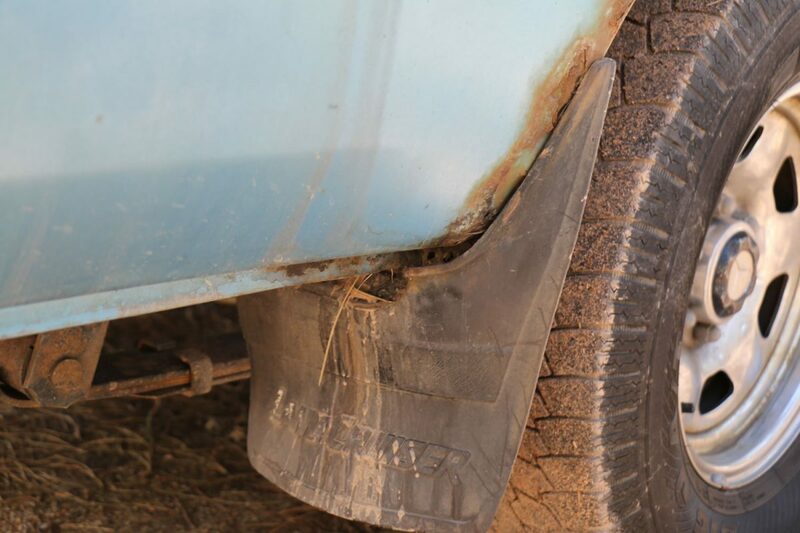 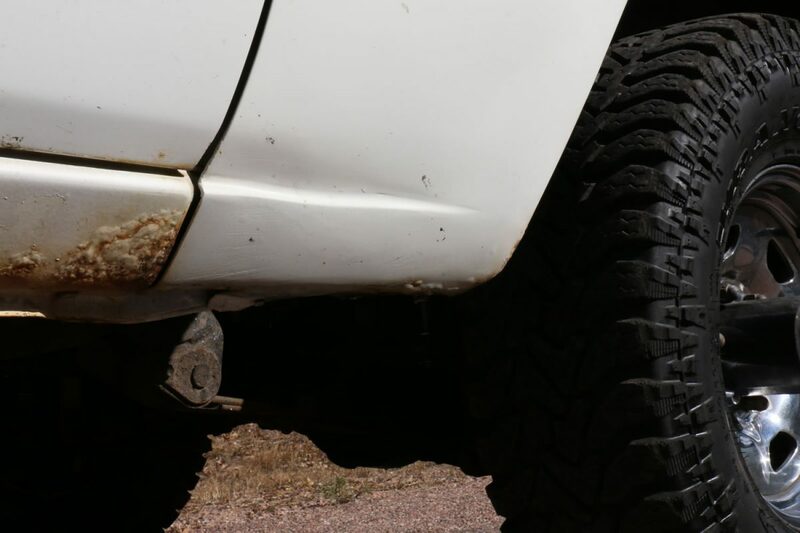 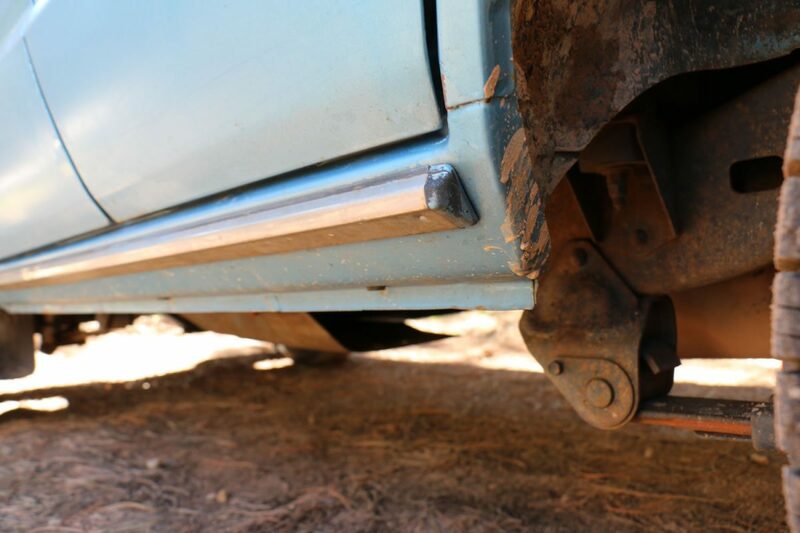 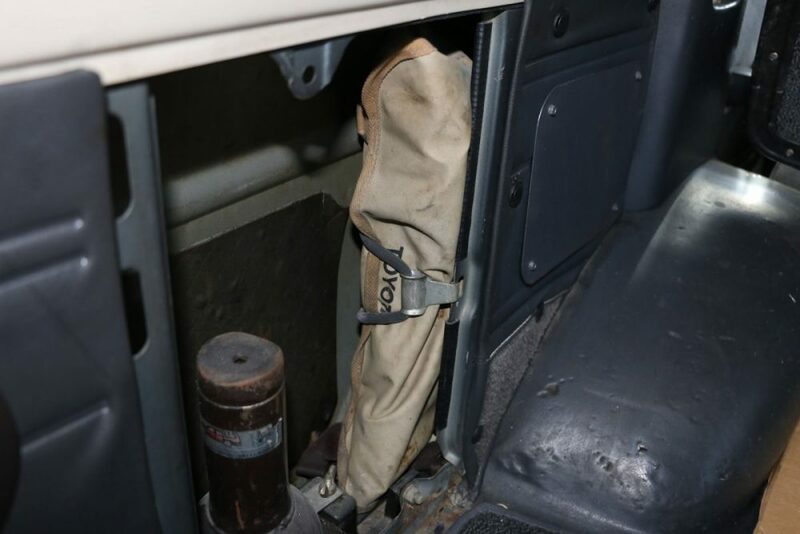 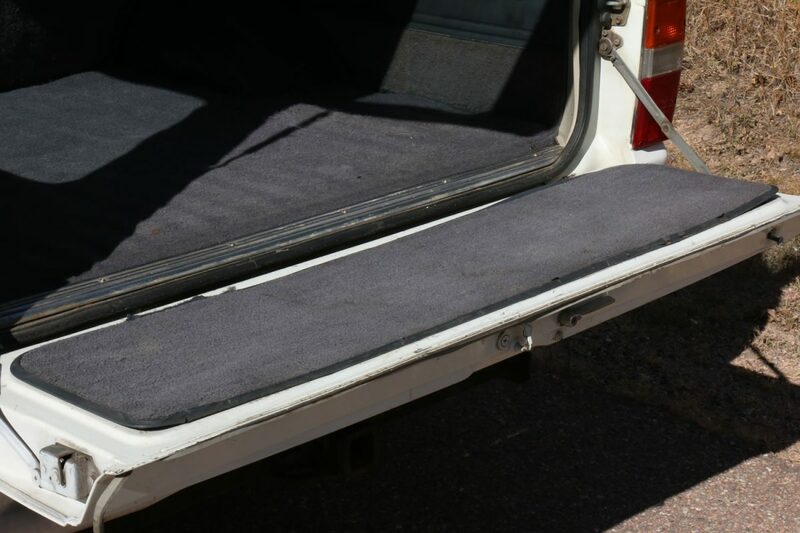 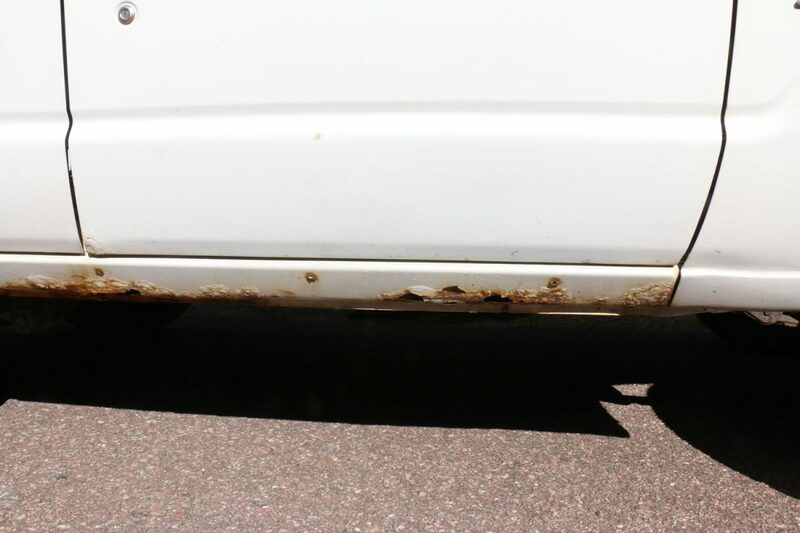 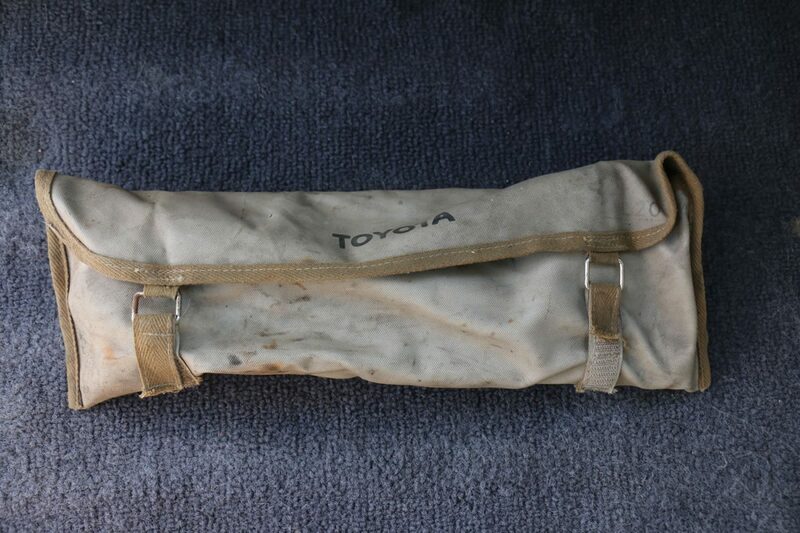 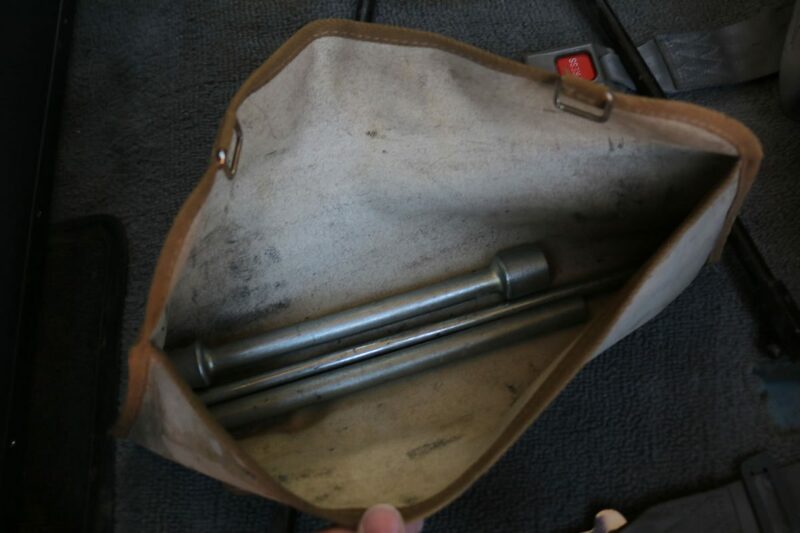 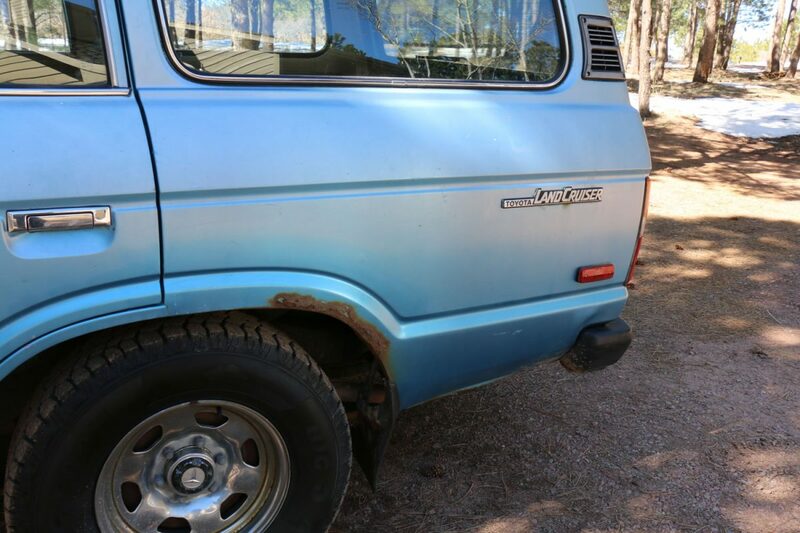 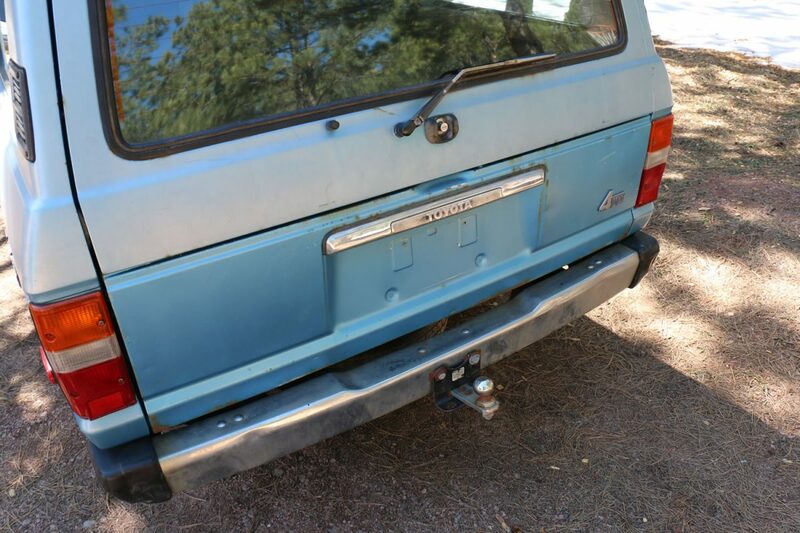 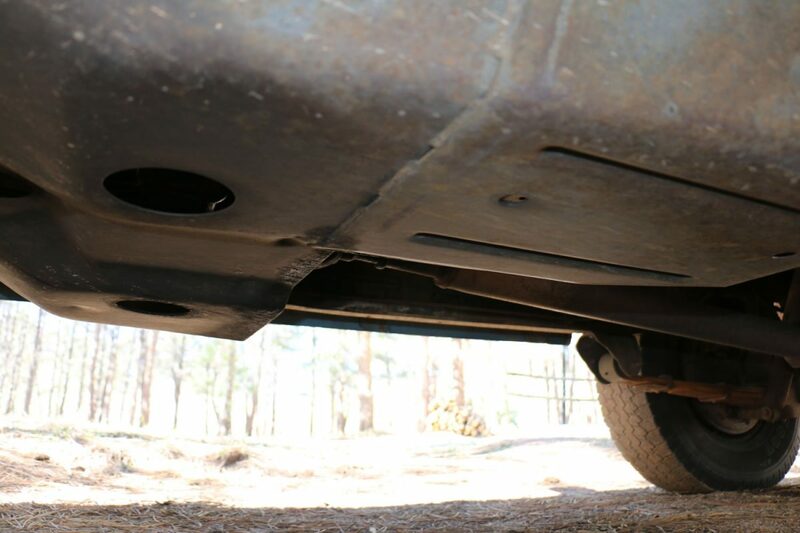 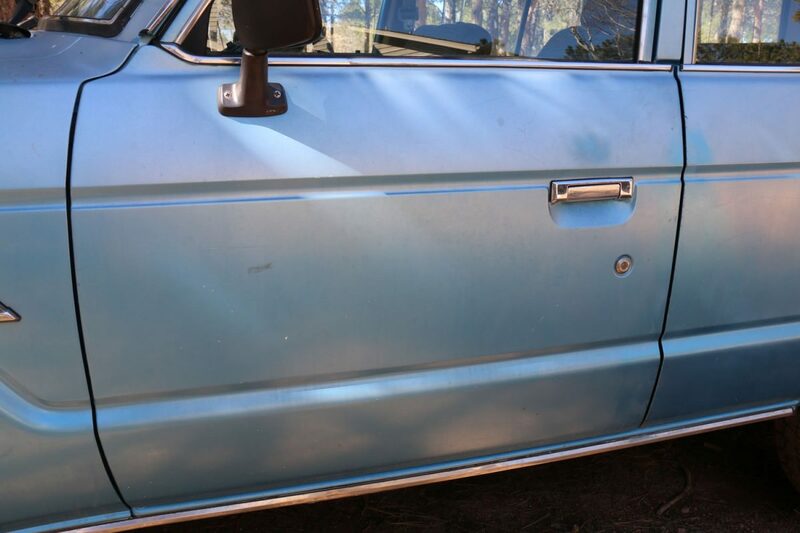 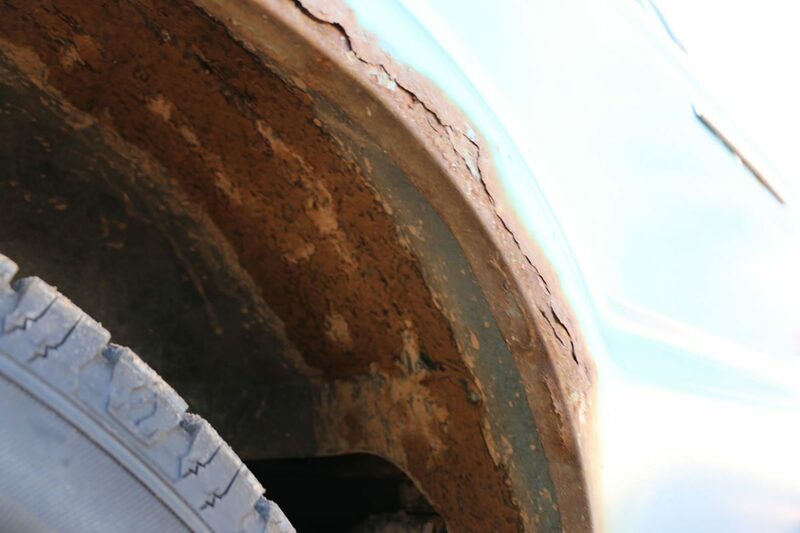 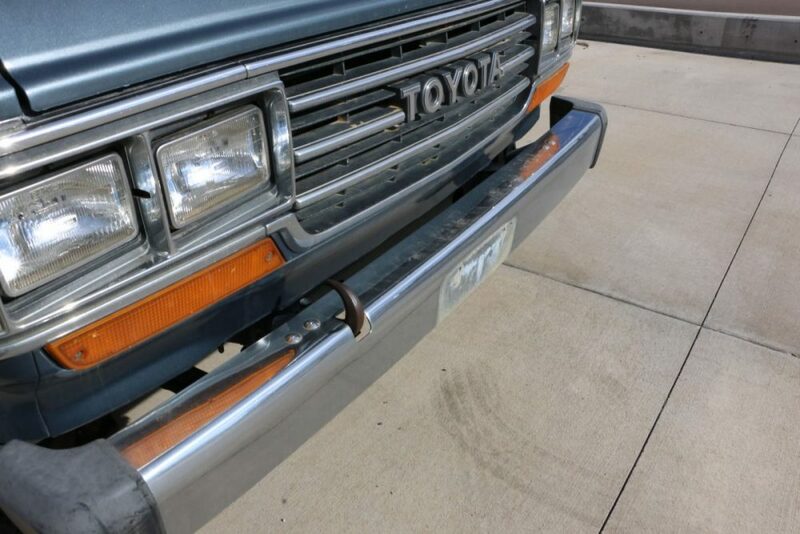 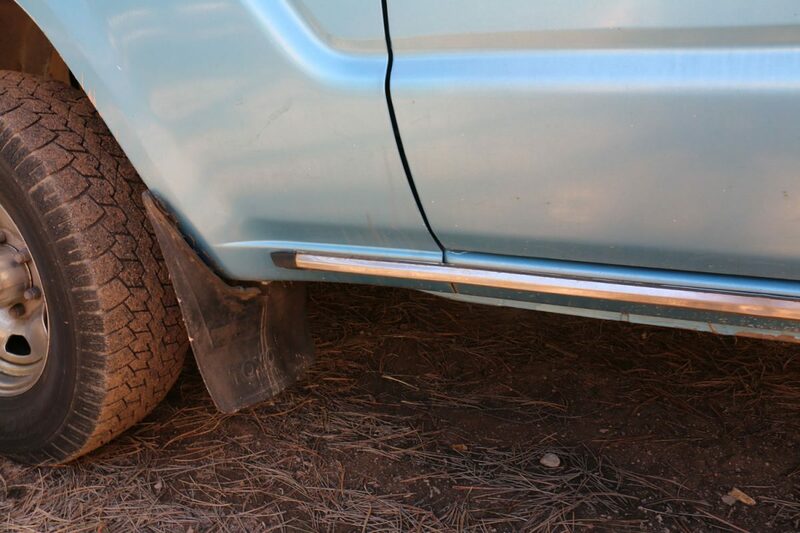 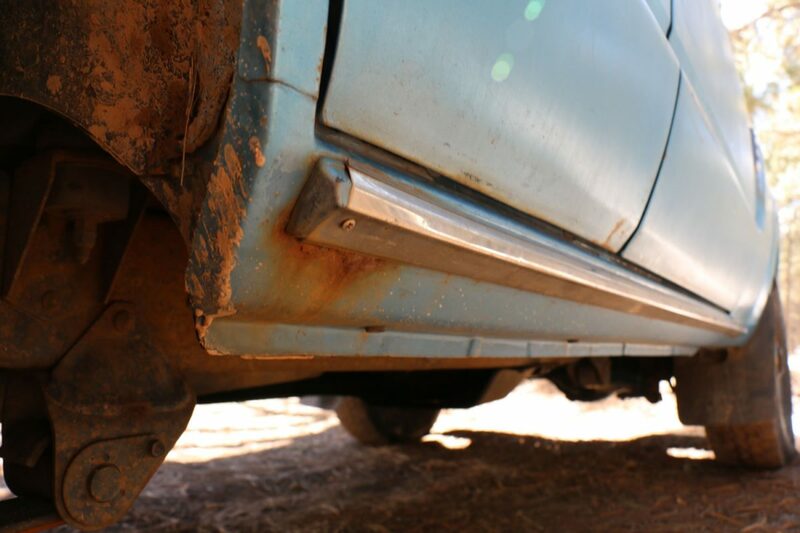 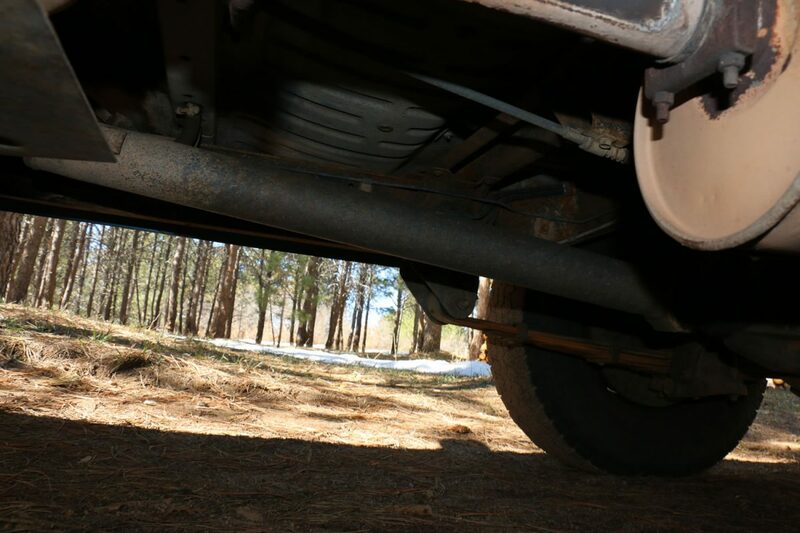 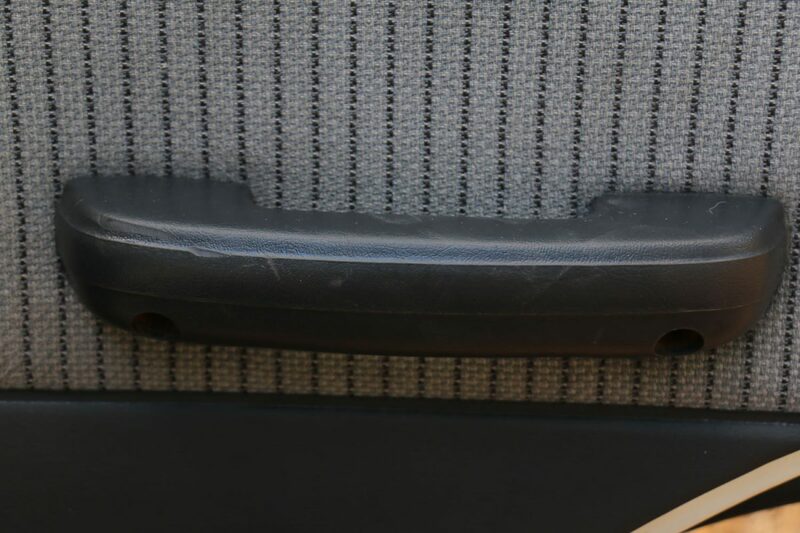 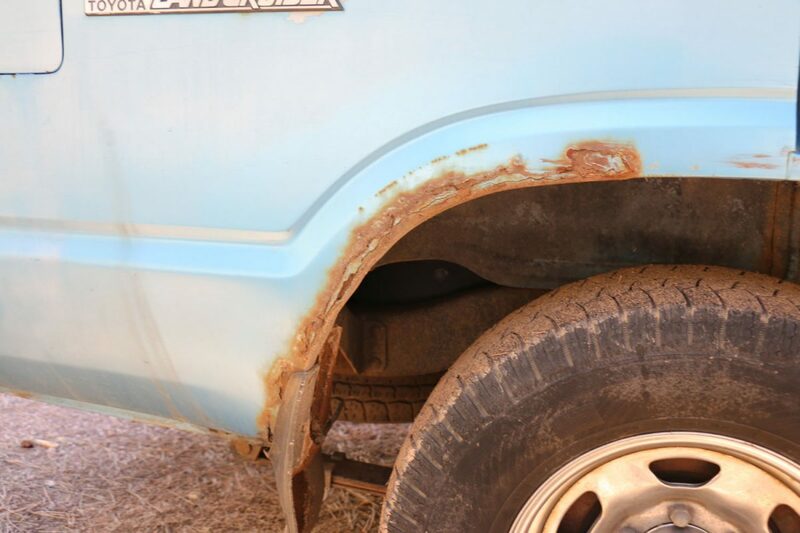 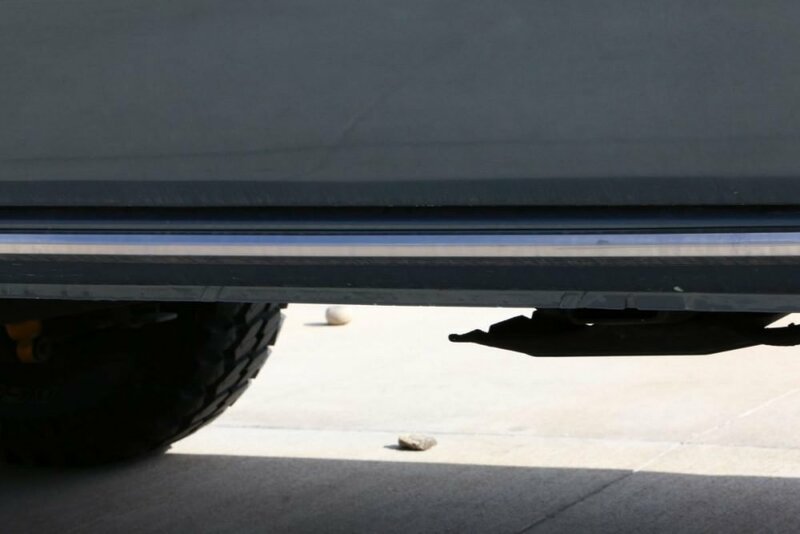 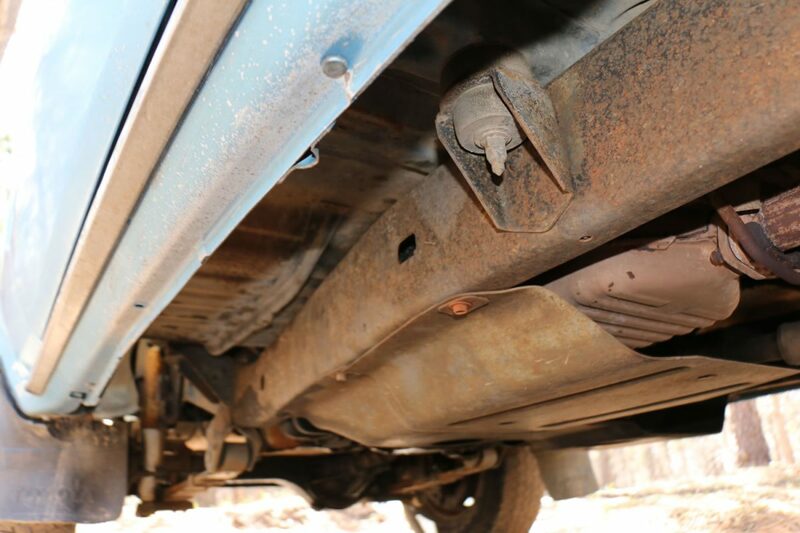 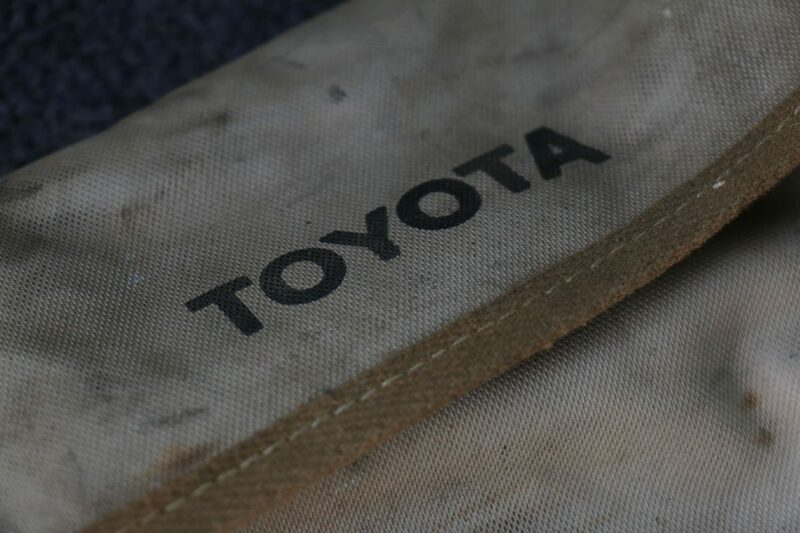 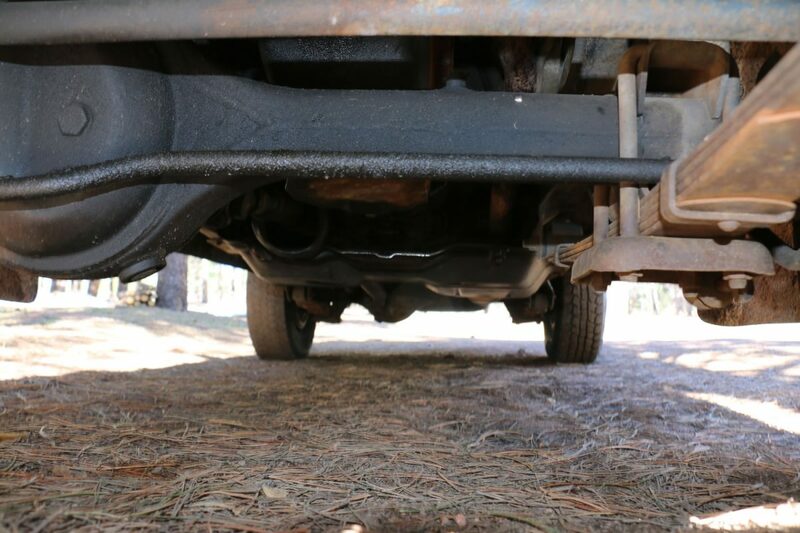 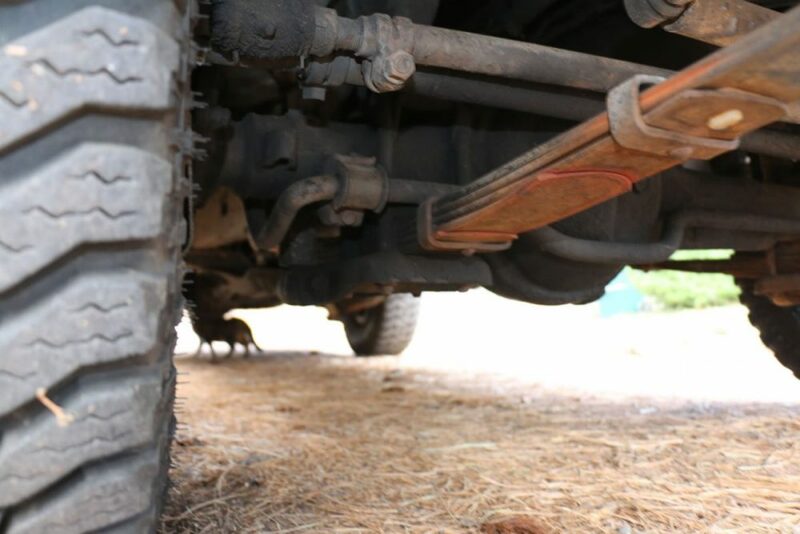 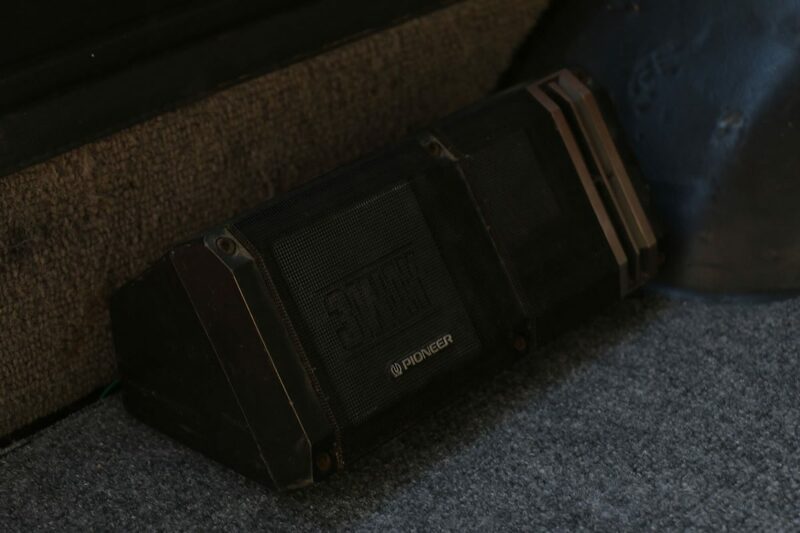 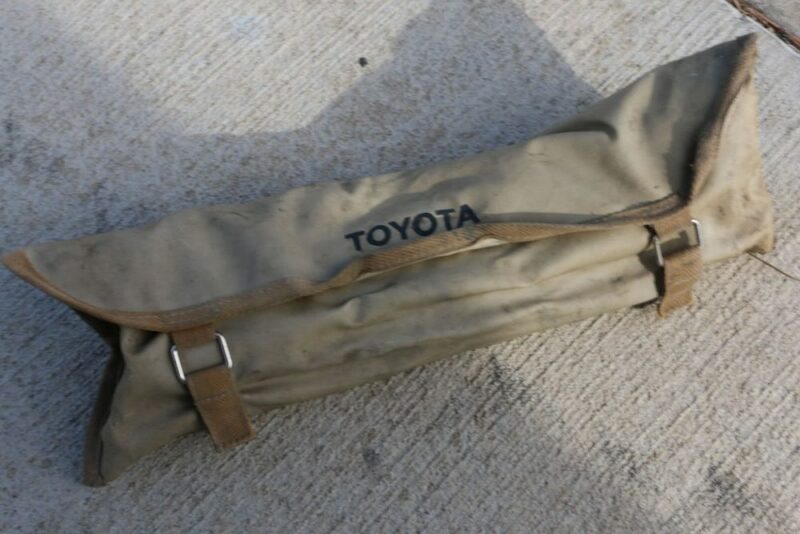 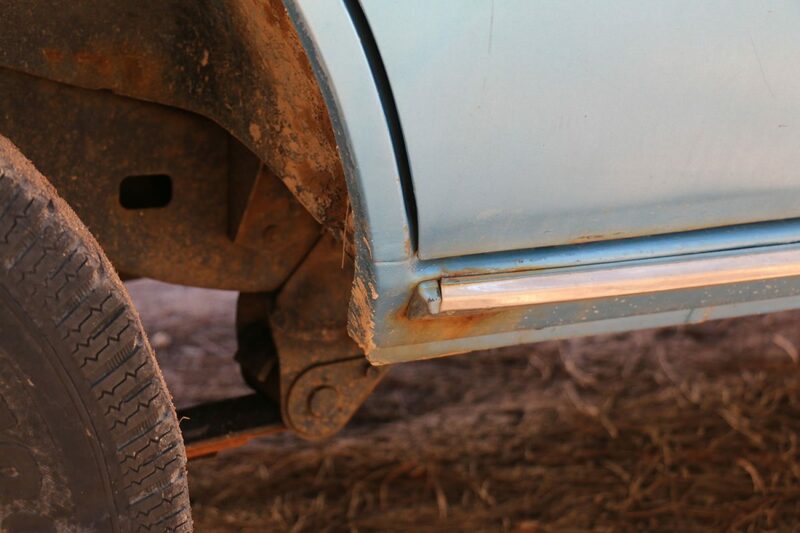 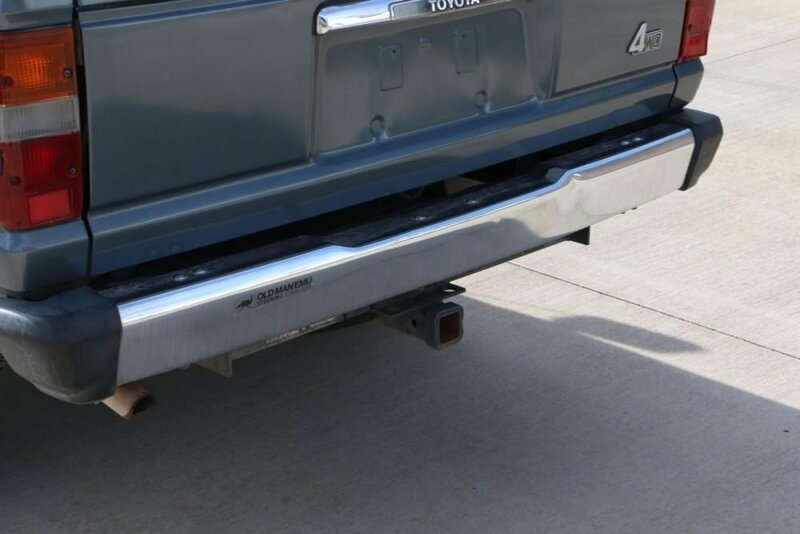 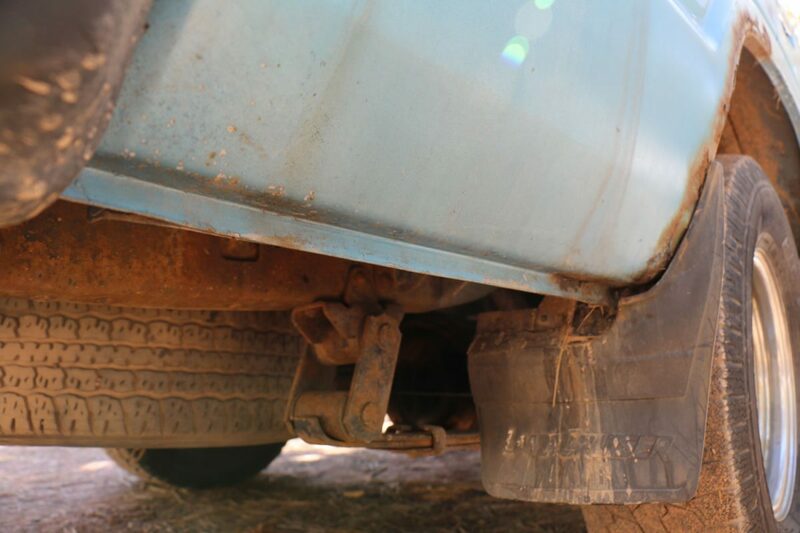 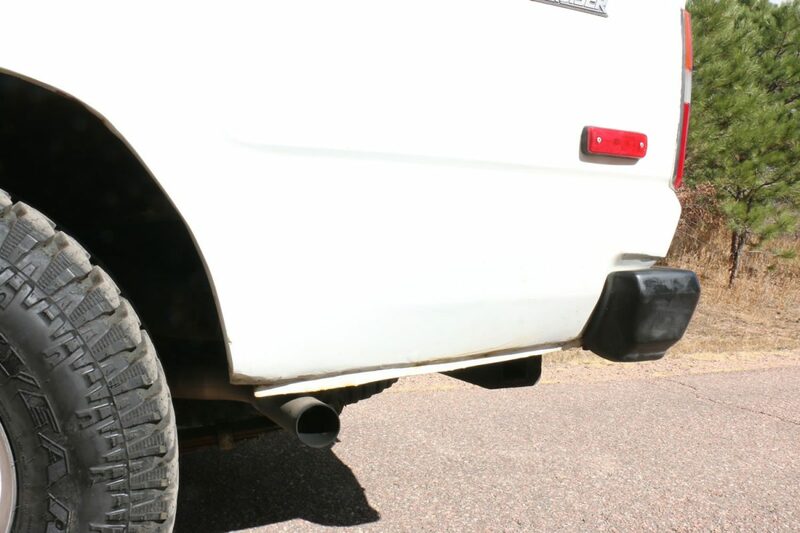 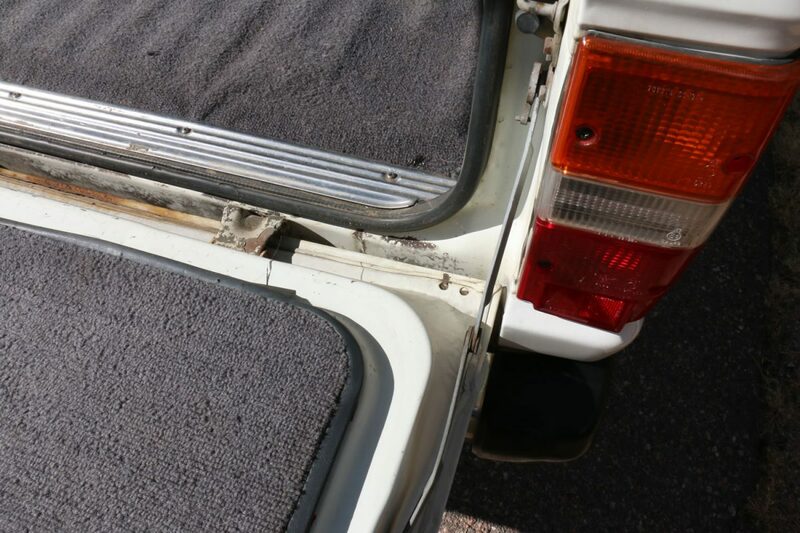 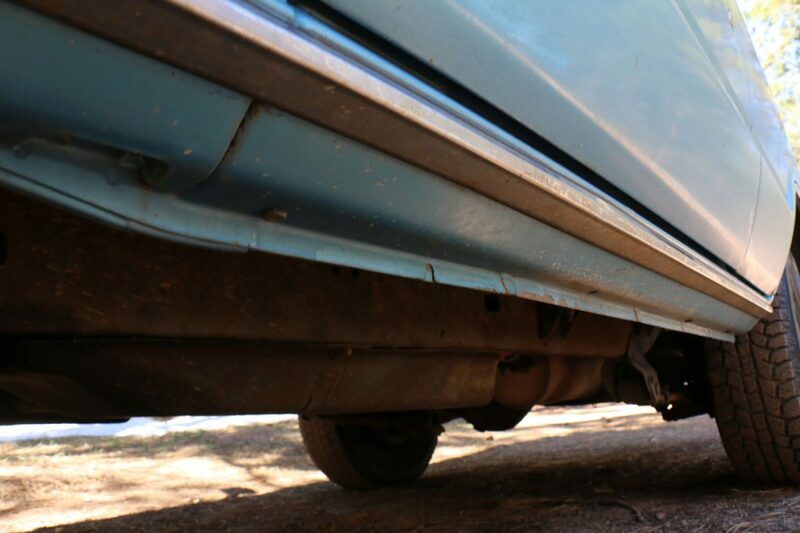 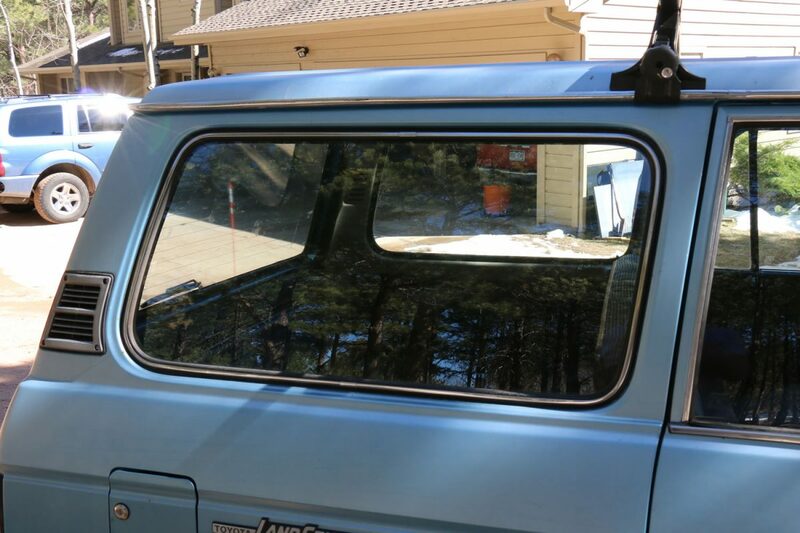 I have a good used rust-free rocker panel from a 1986 FJ60 (same specs as the 88 FJ62) that goes along with the truck. 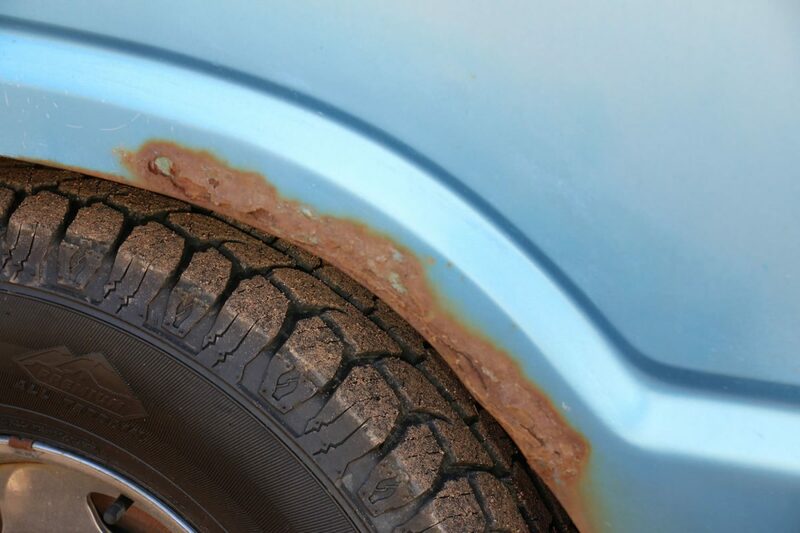 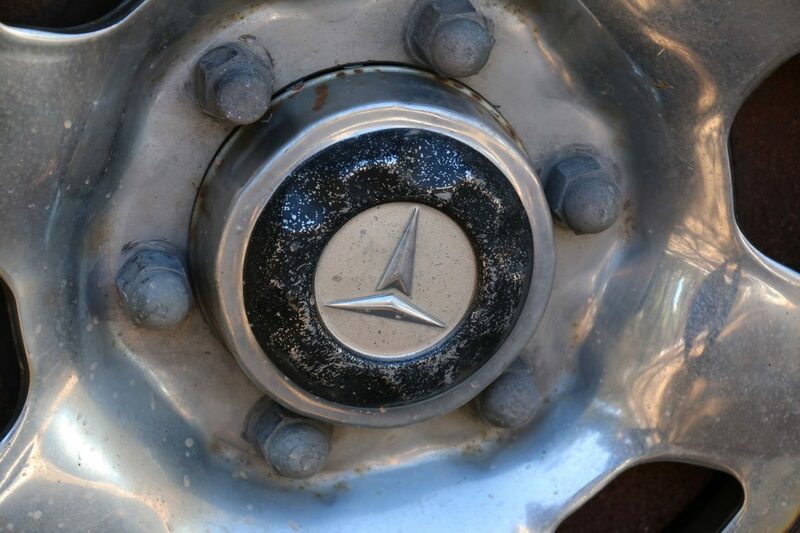 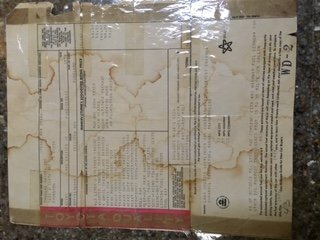 It rusted out because of the chrome strip that used to come there. 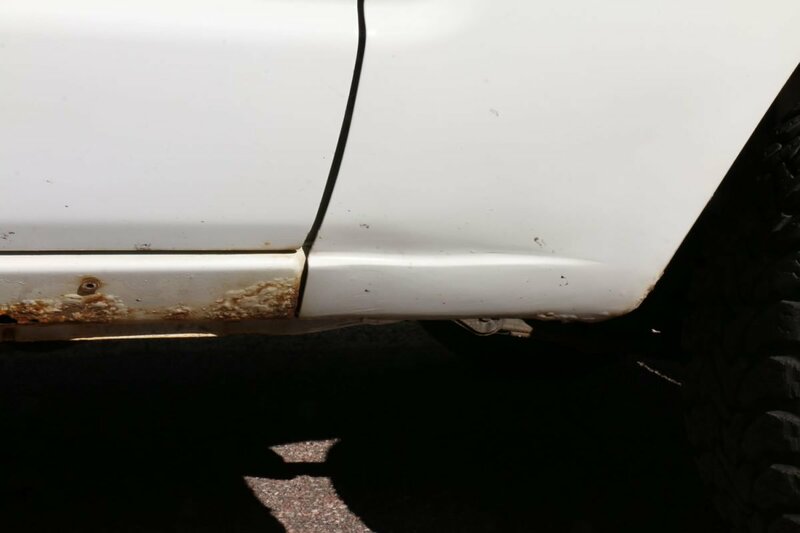 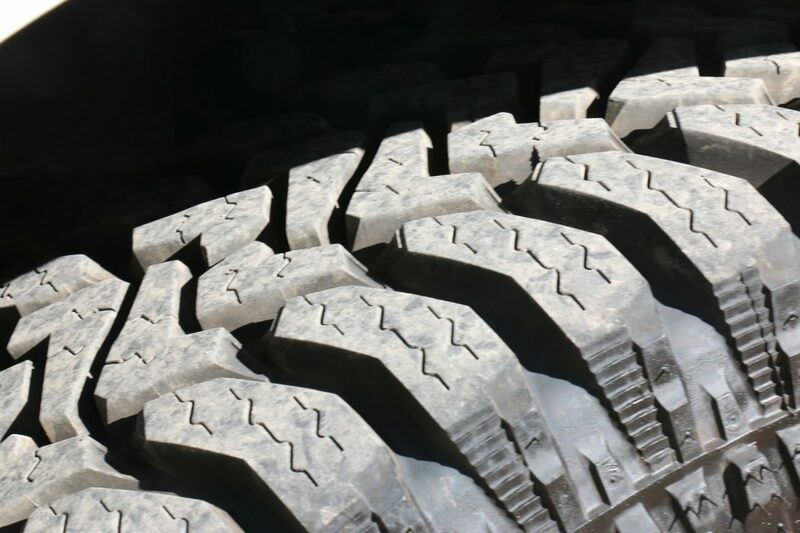 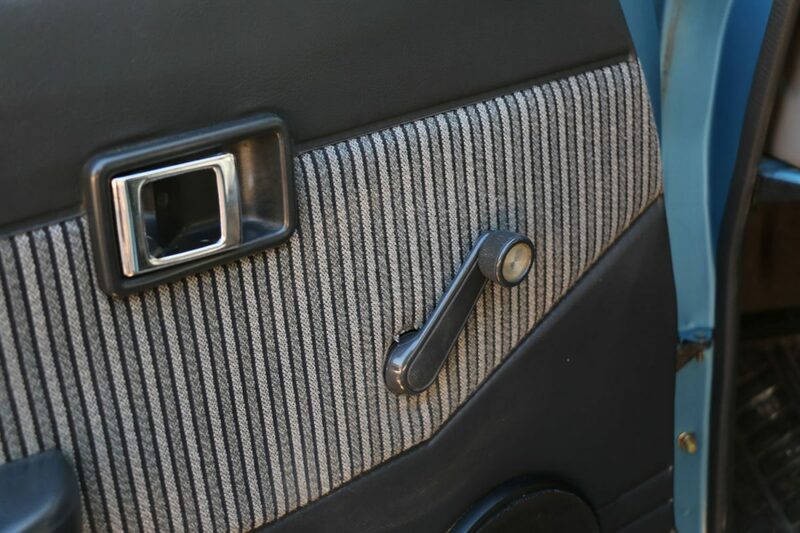 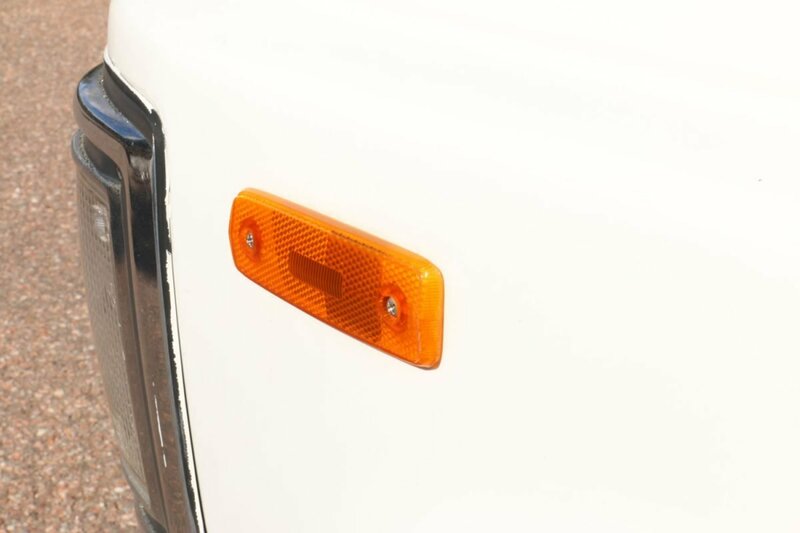 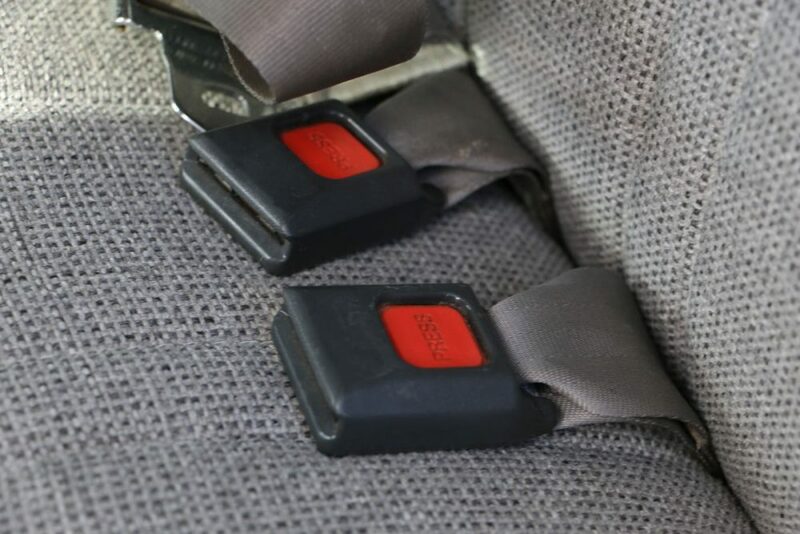 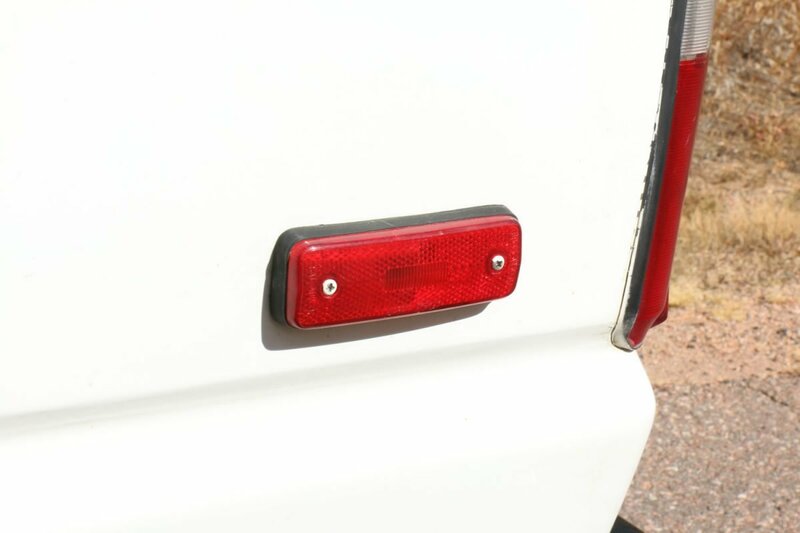 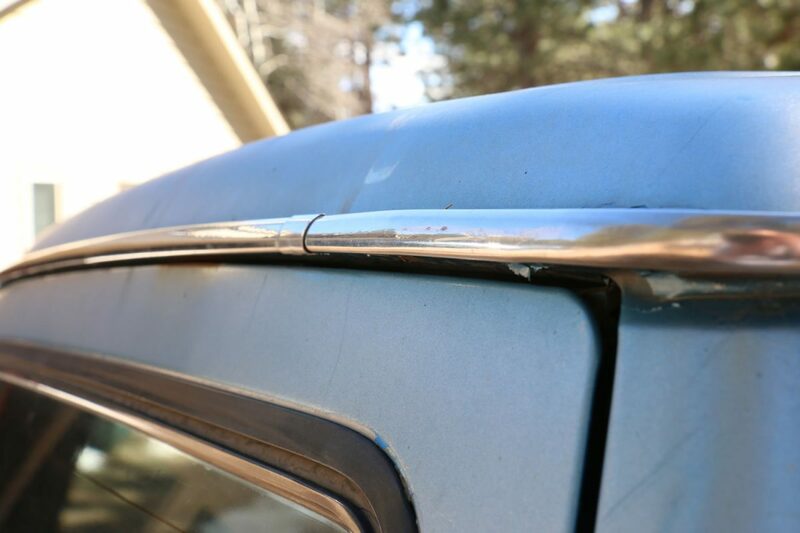 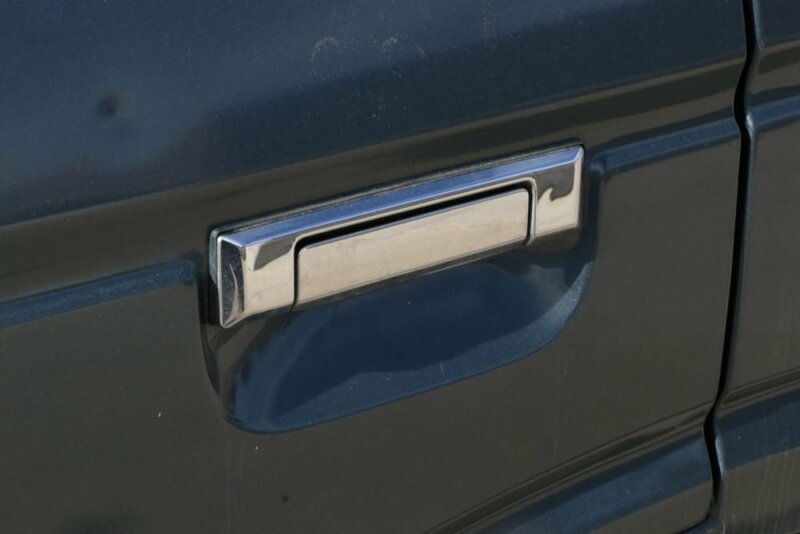 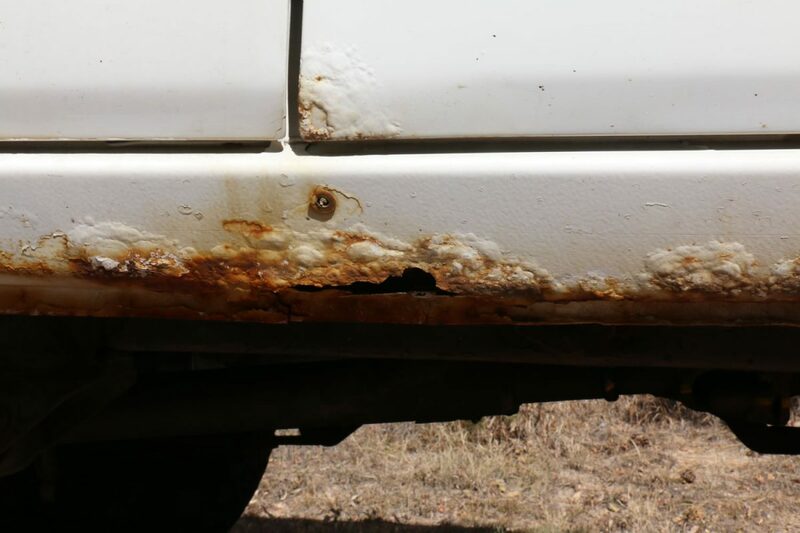 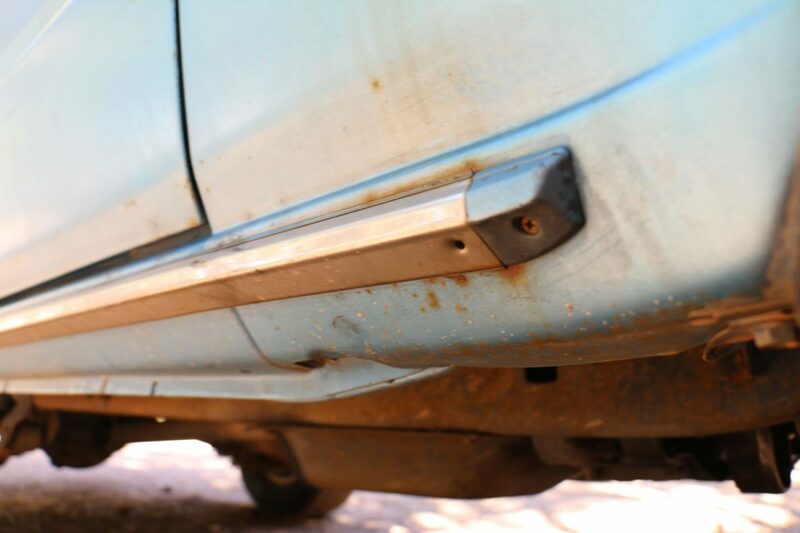 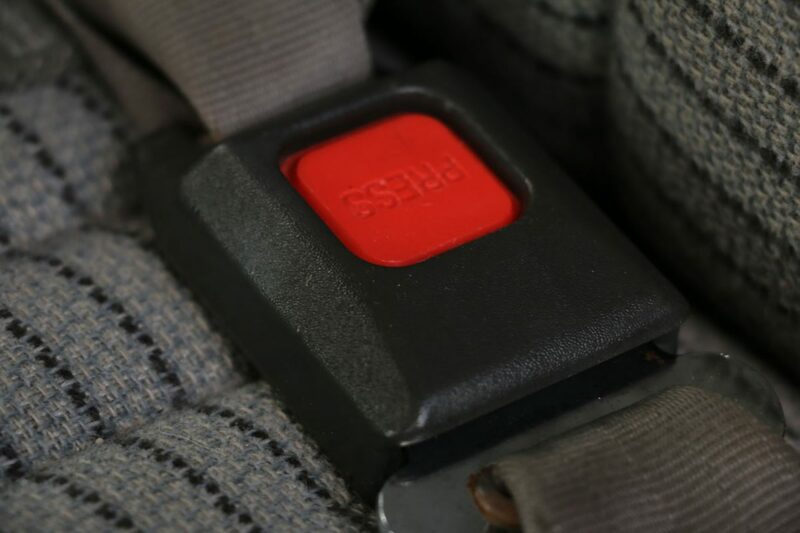 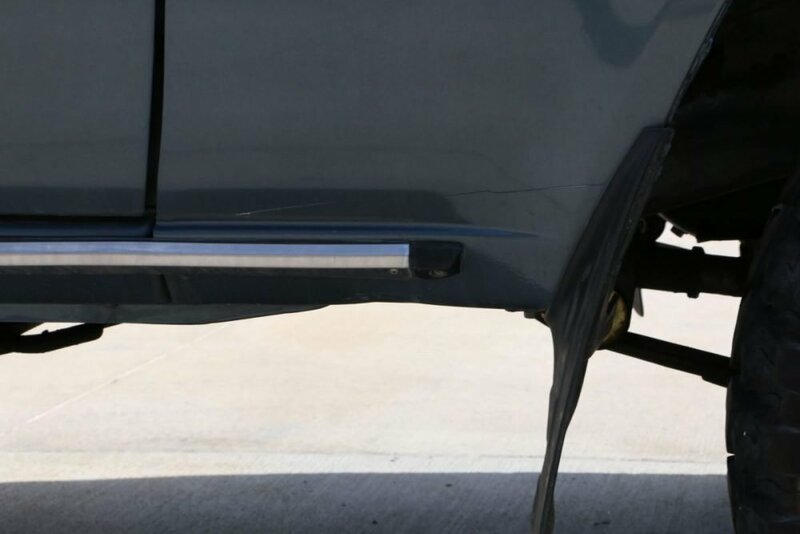 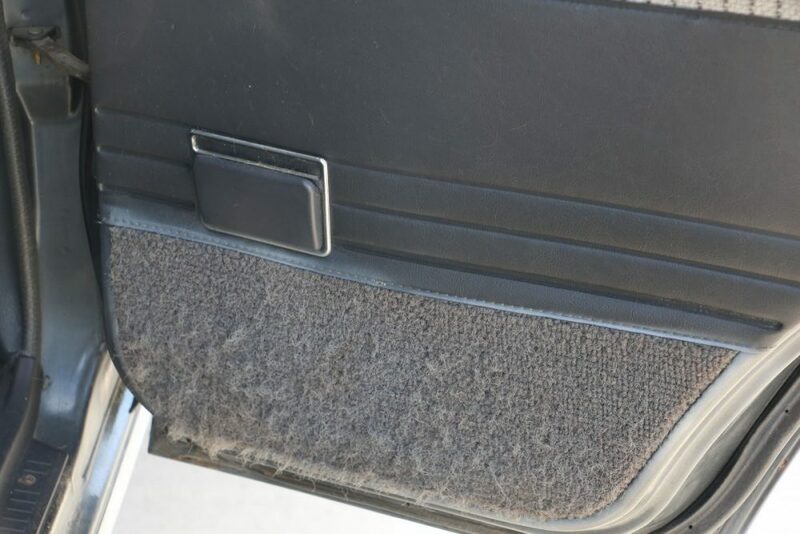 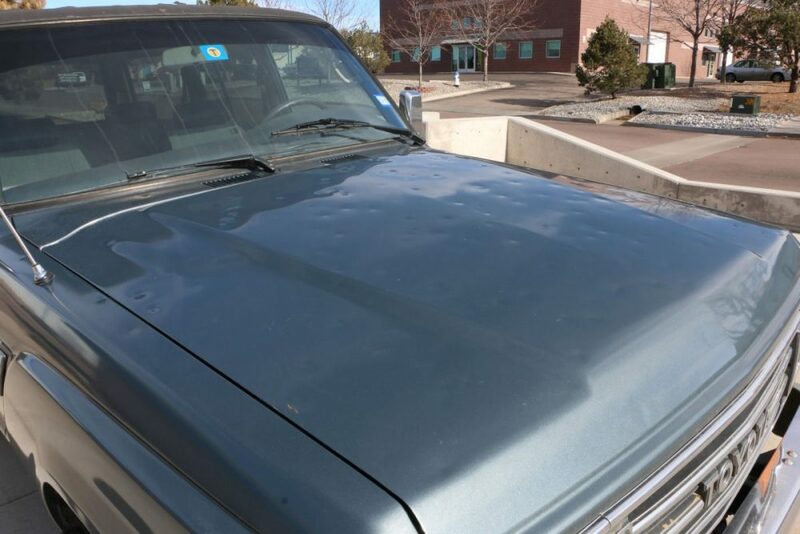 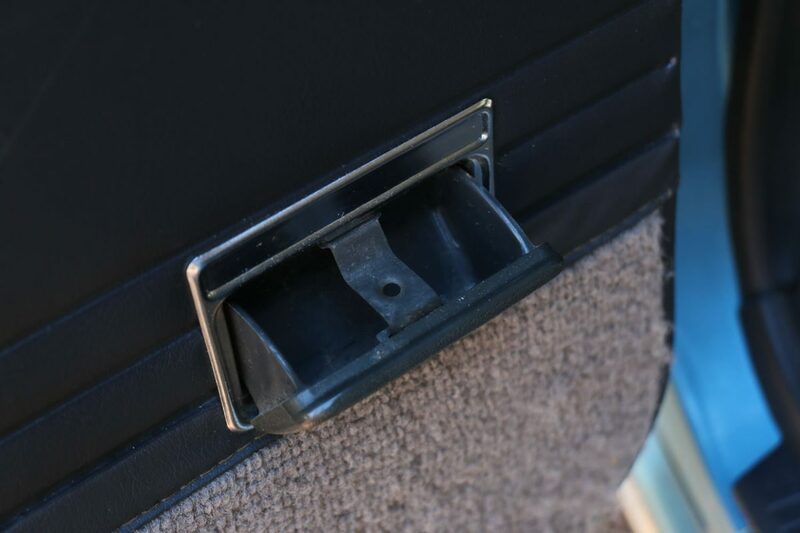 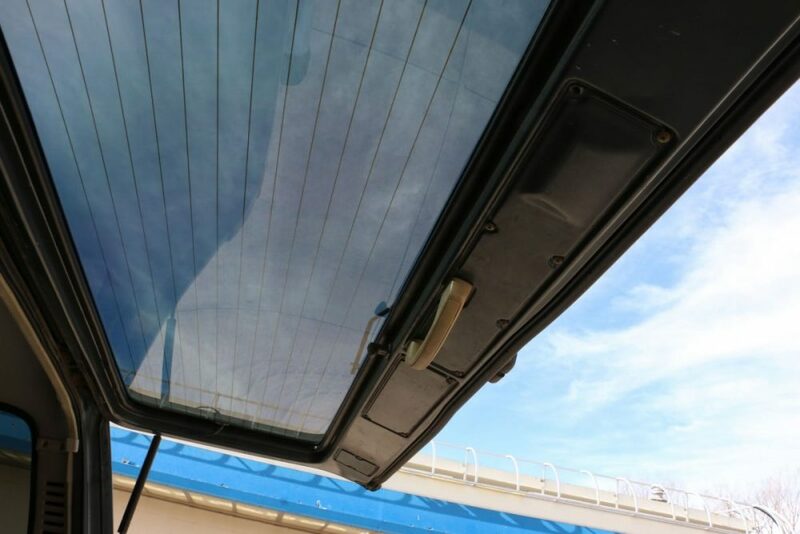 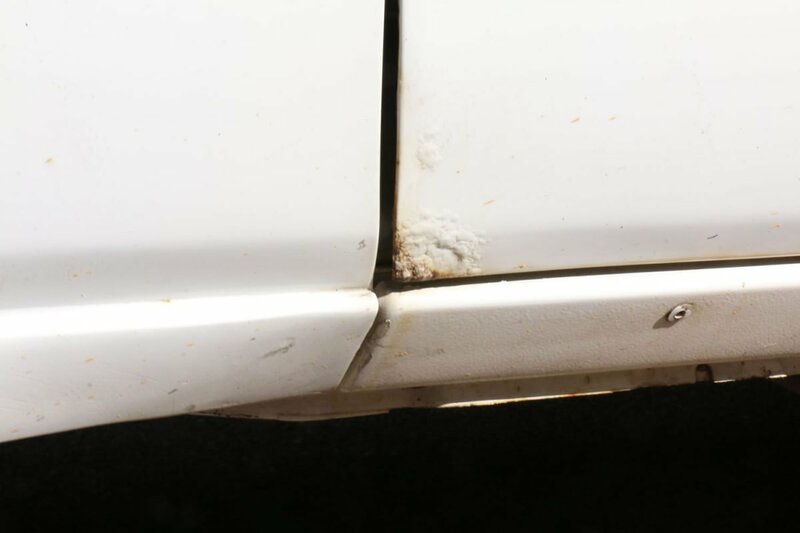 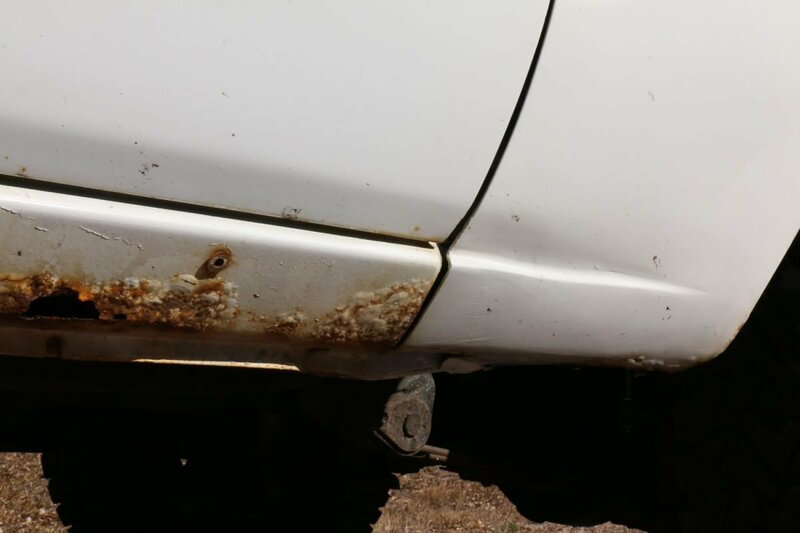 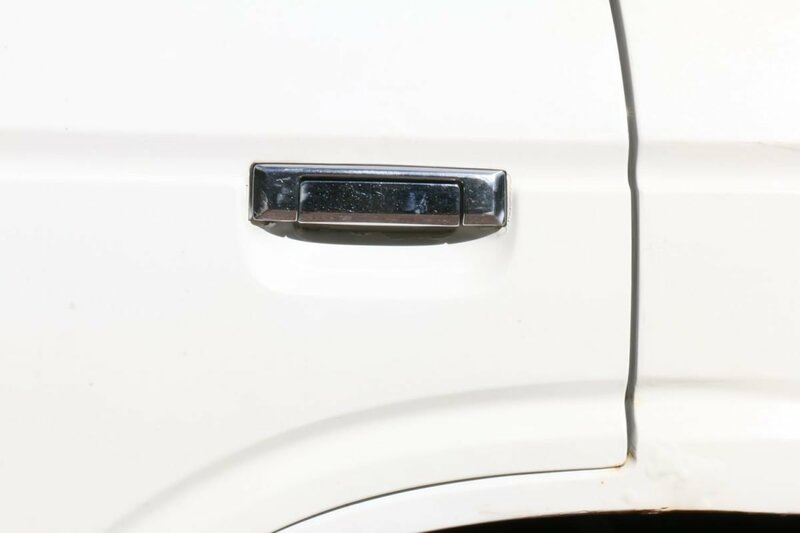 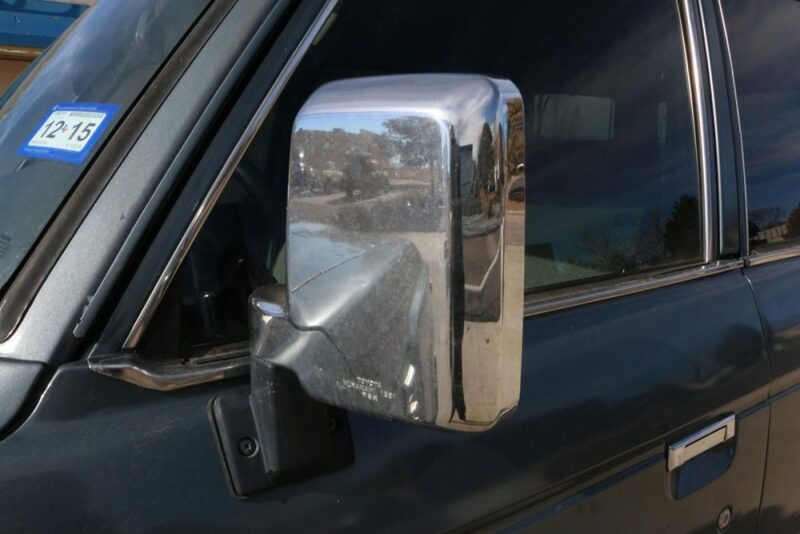 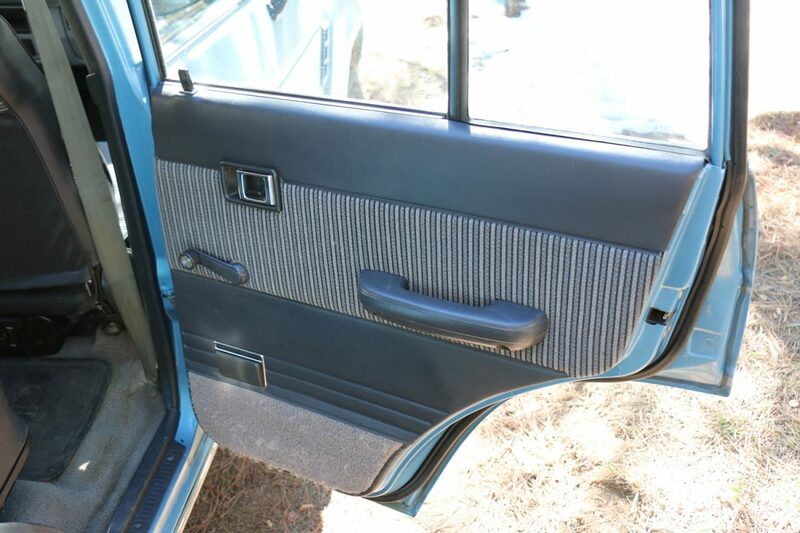 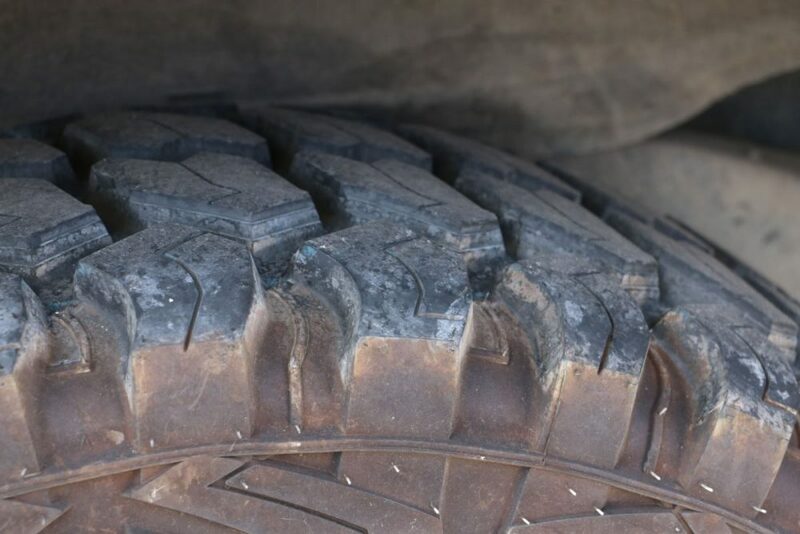 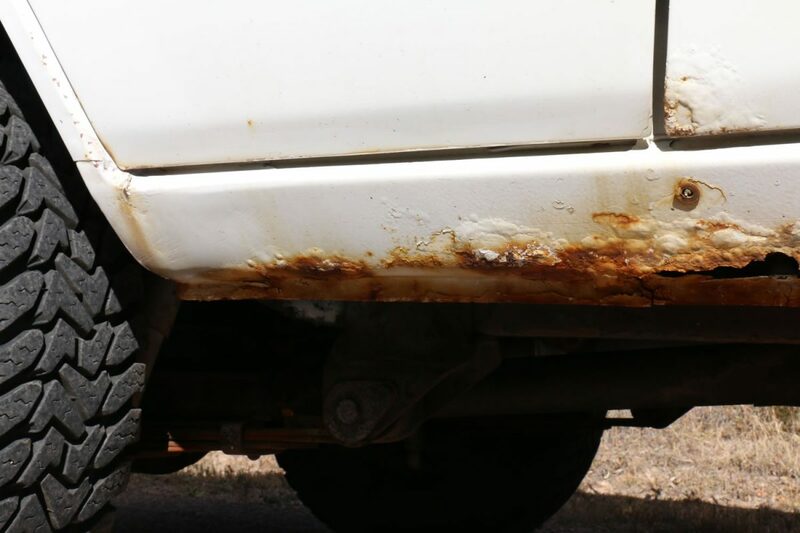 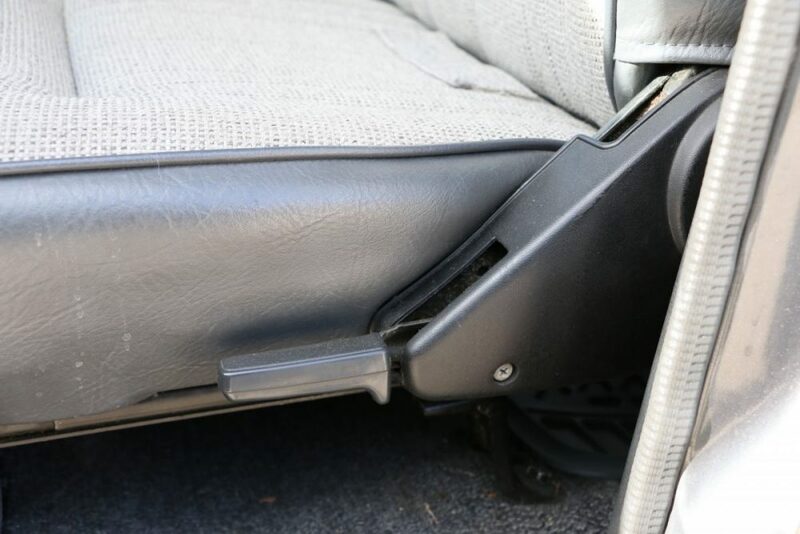 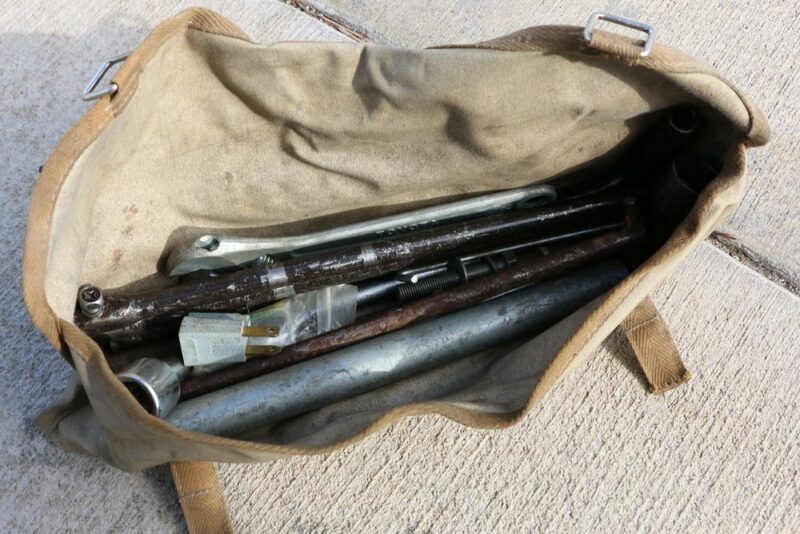 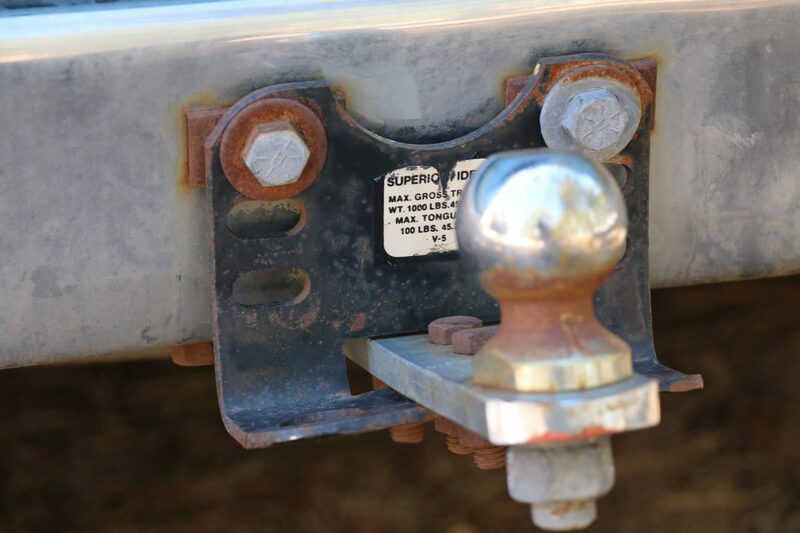 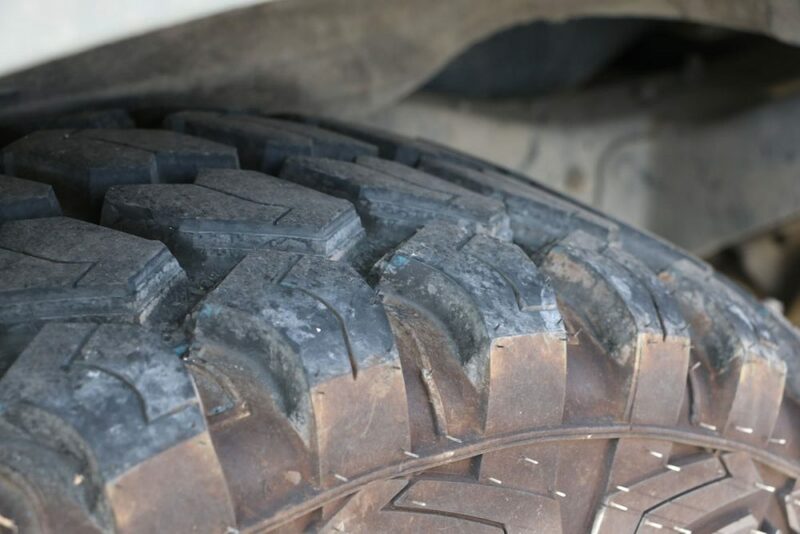 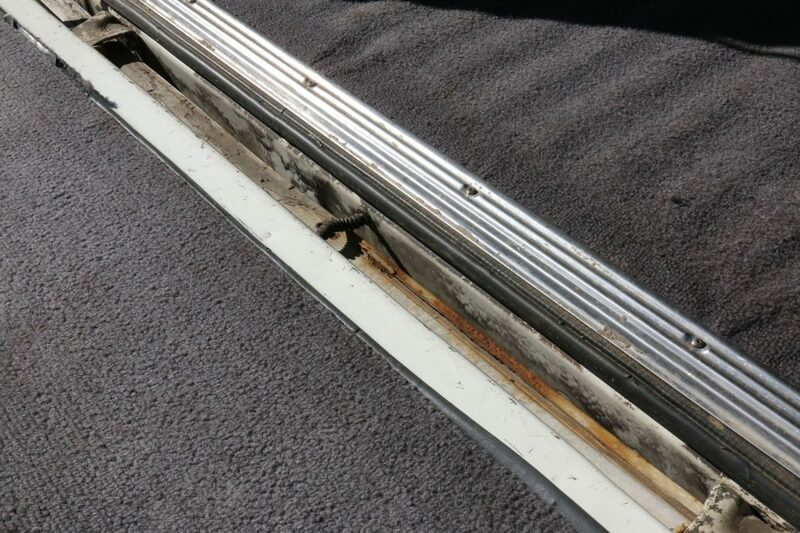 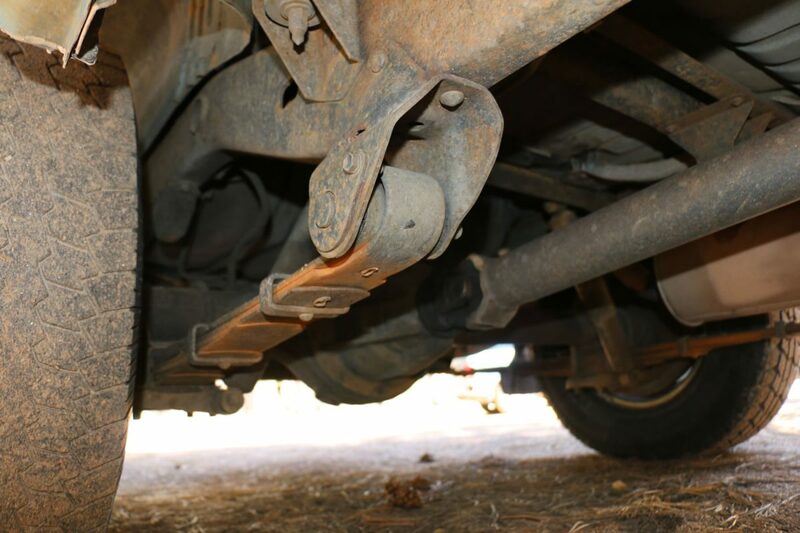 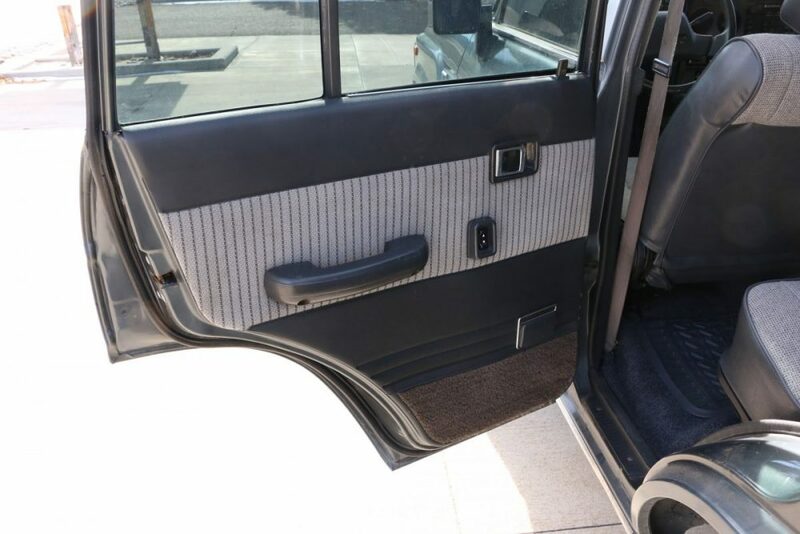 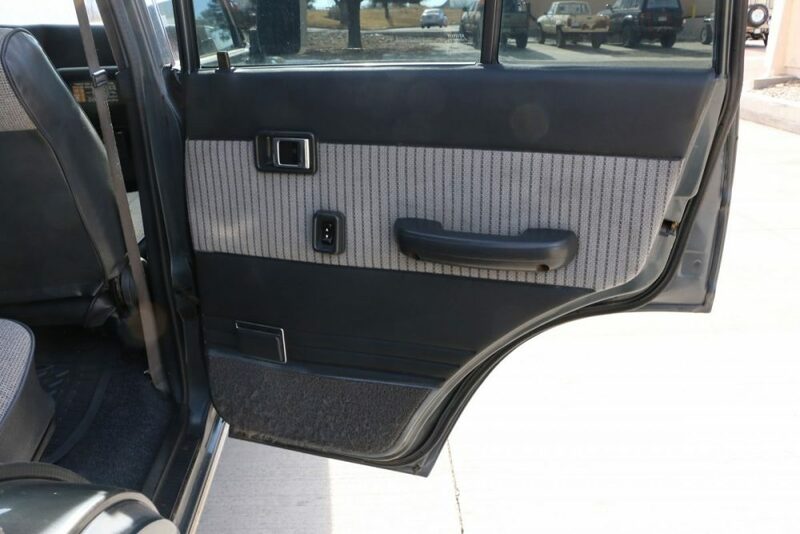 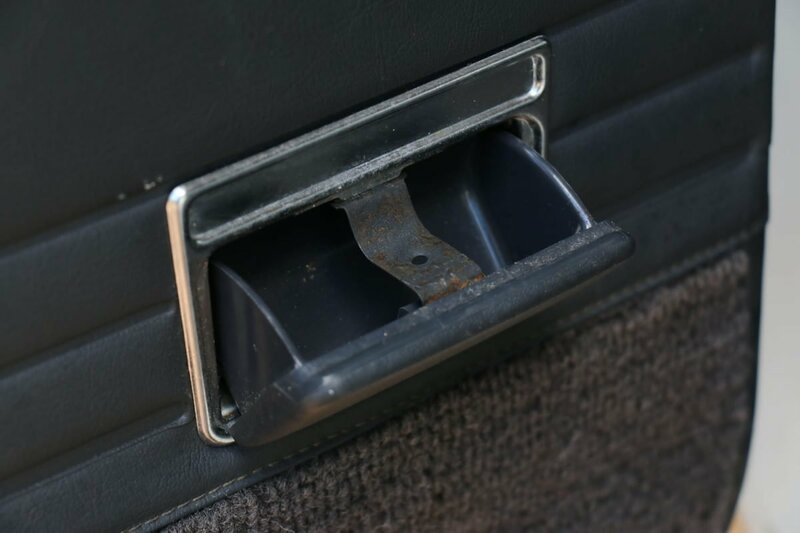 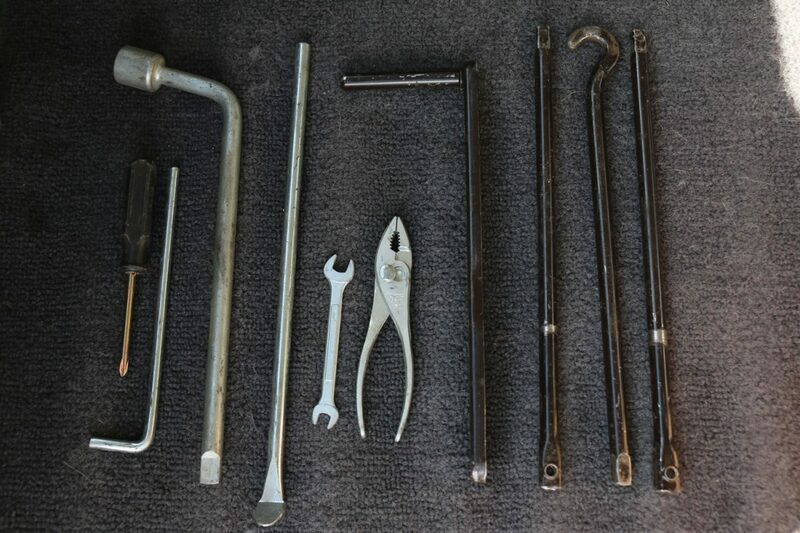 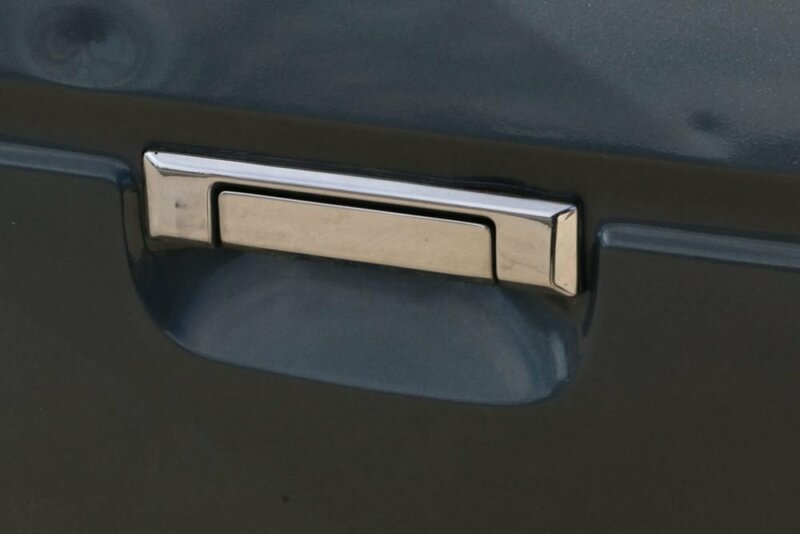 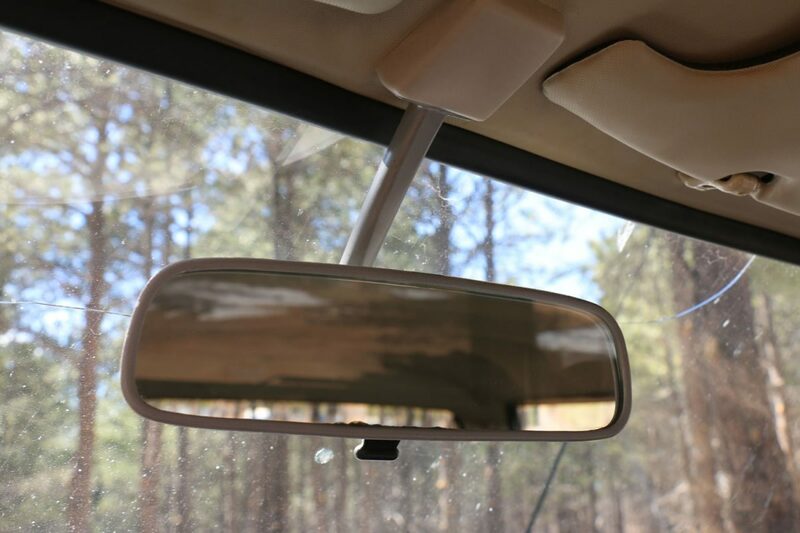 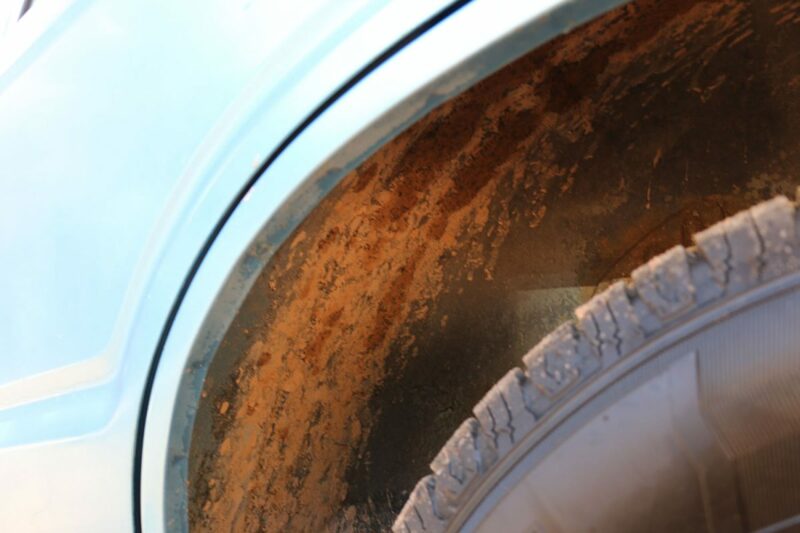 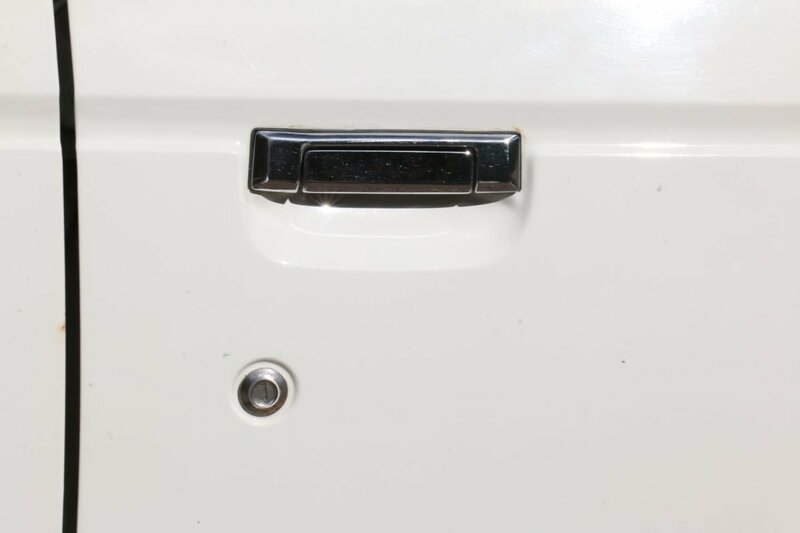 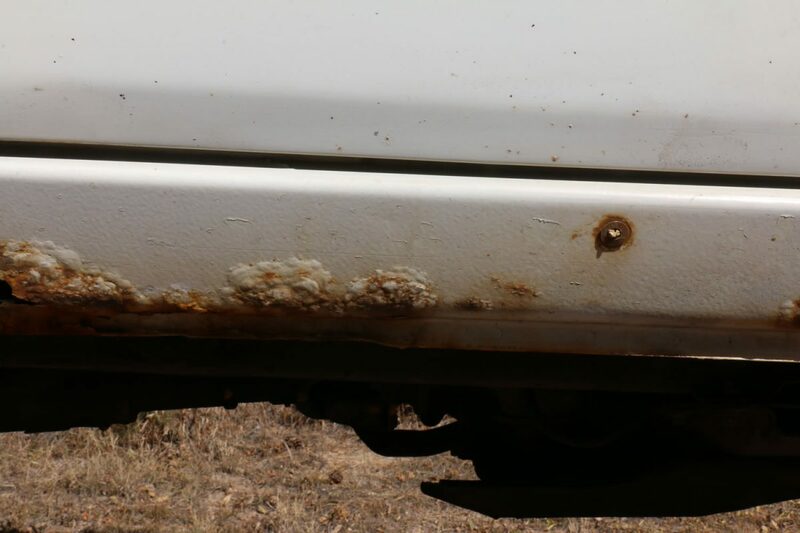 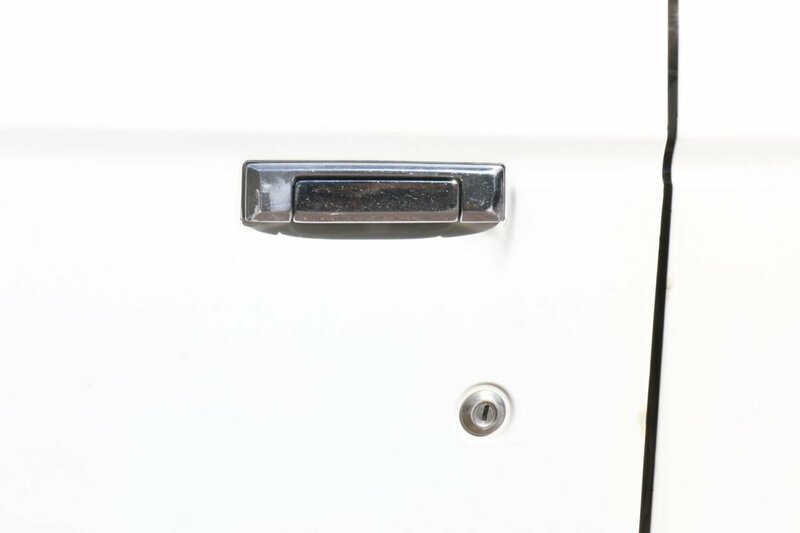 It’s pretty common…they hold in moisture and rust out by where they clip in by the doors. 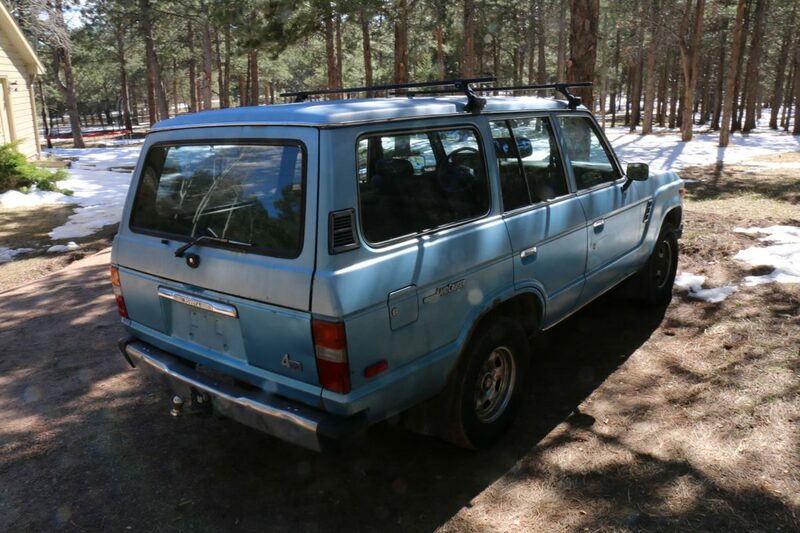 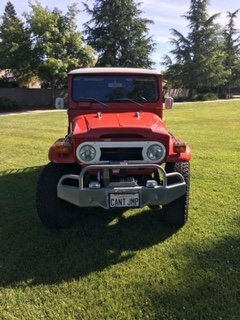 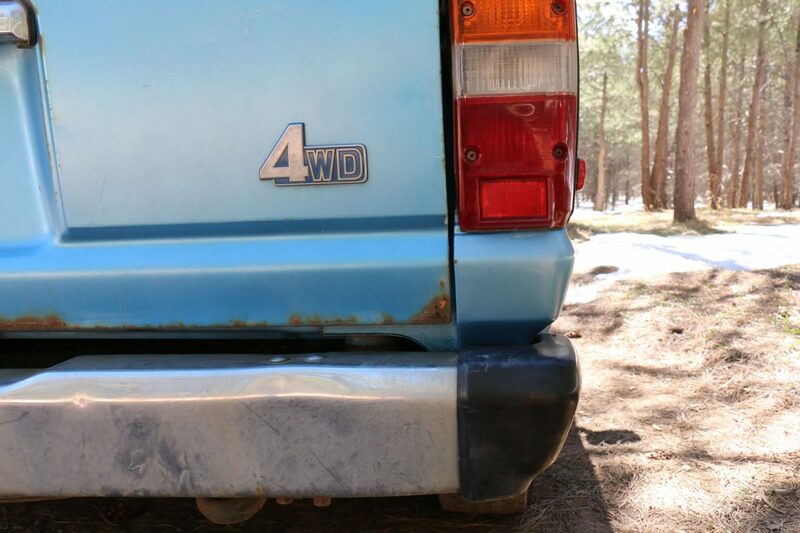 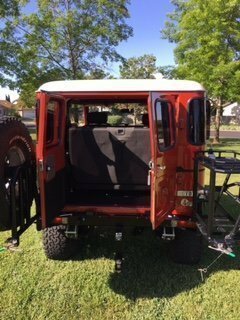 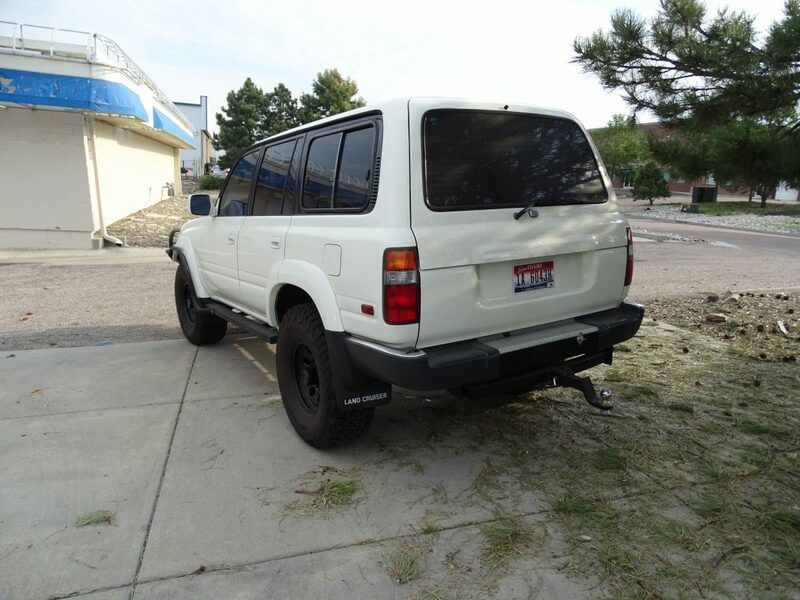 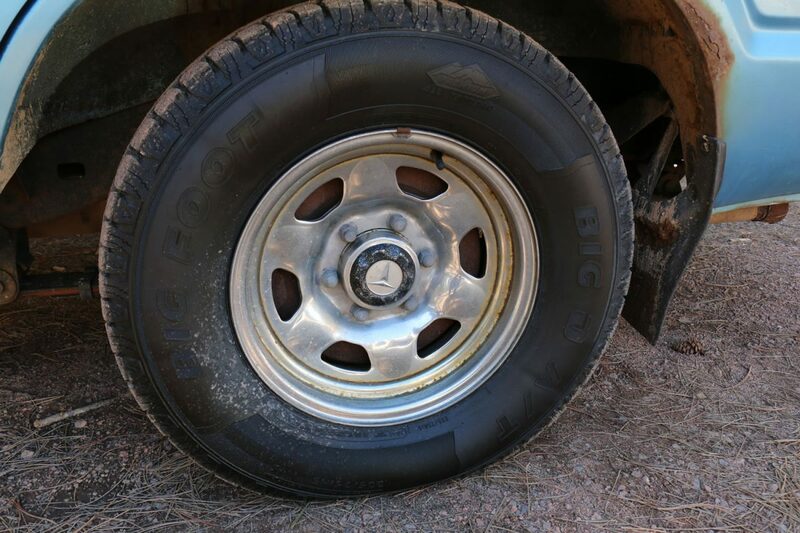 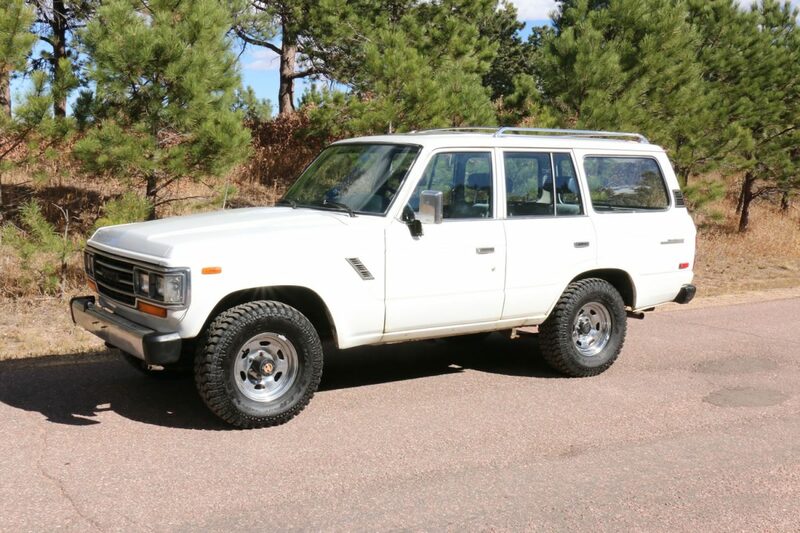 All in all, this 1988 FJ62 is in great shape and ready for daily use. 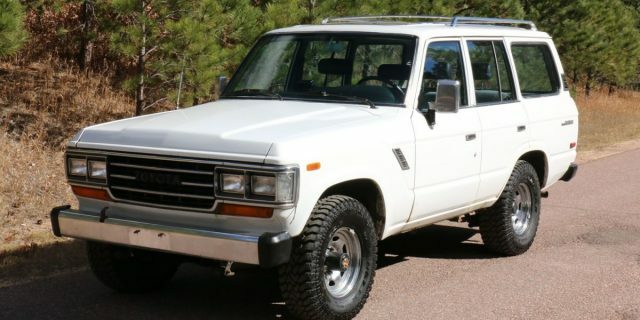 It’s been my daily driver and is very reliable. 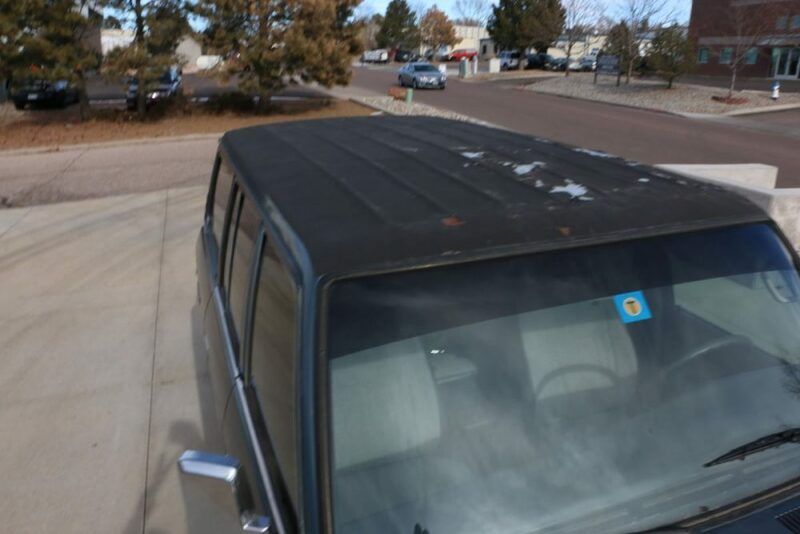 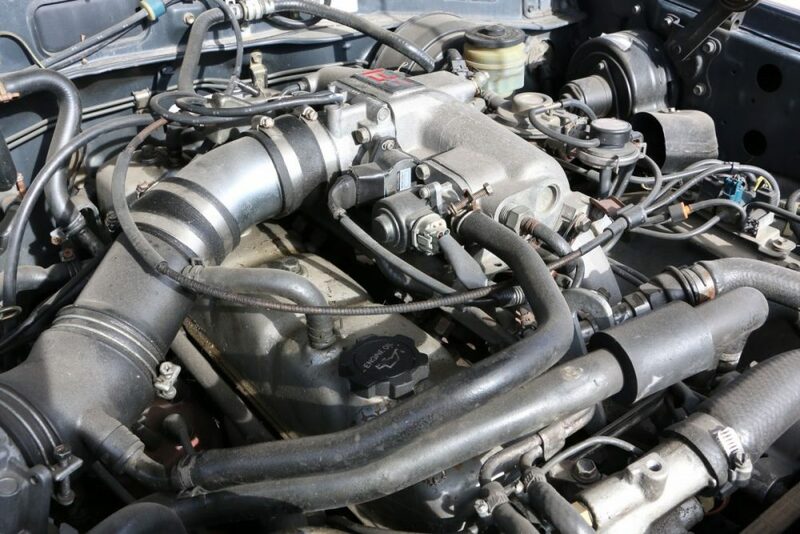 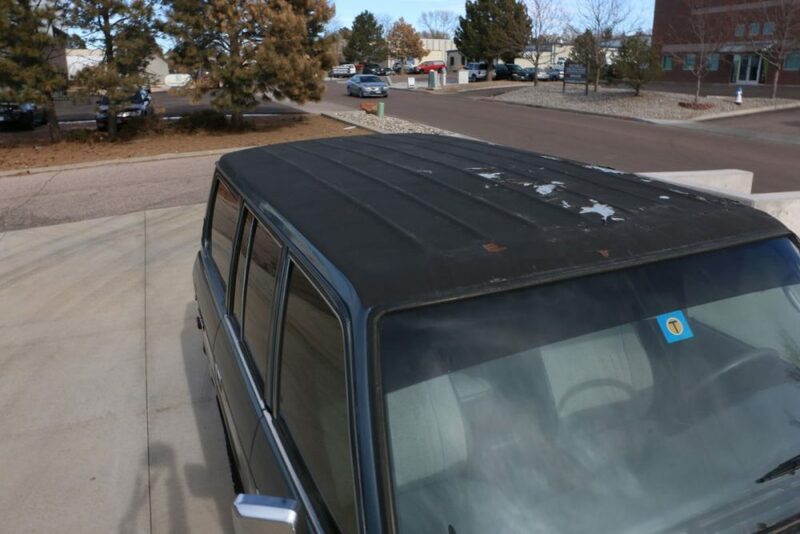 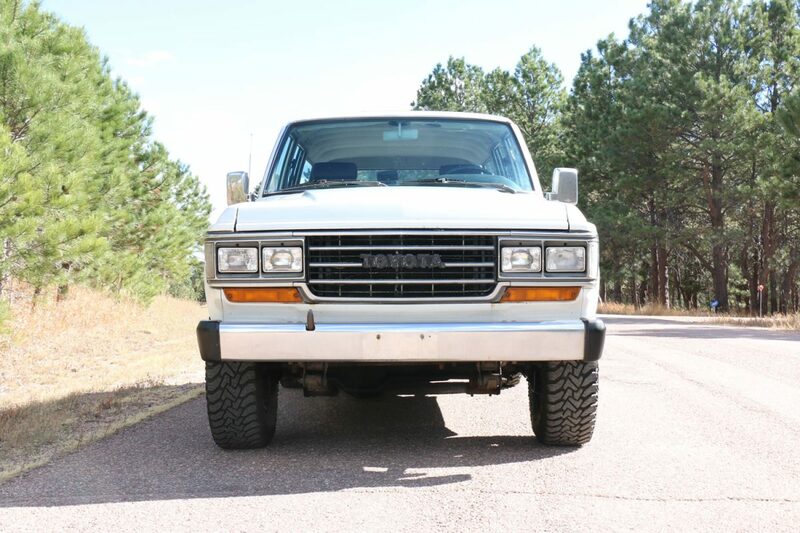 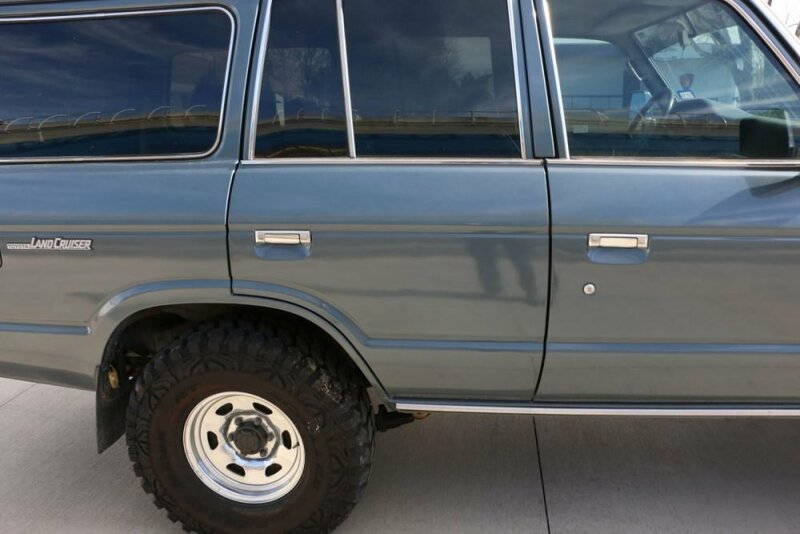 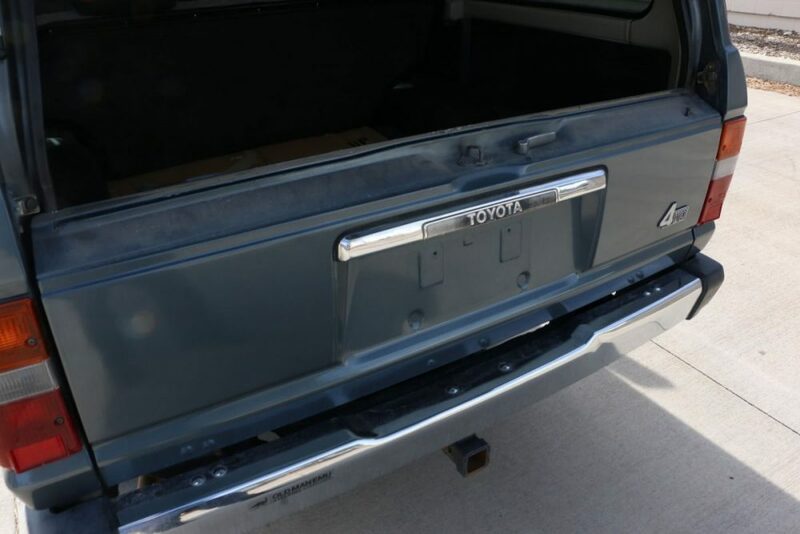 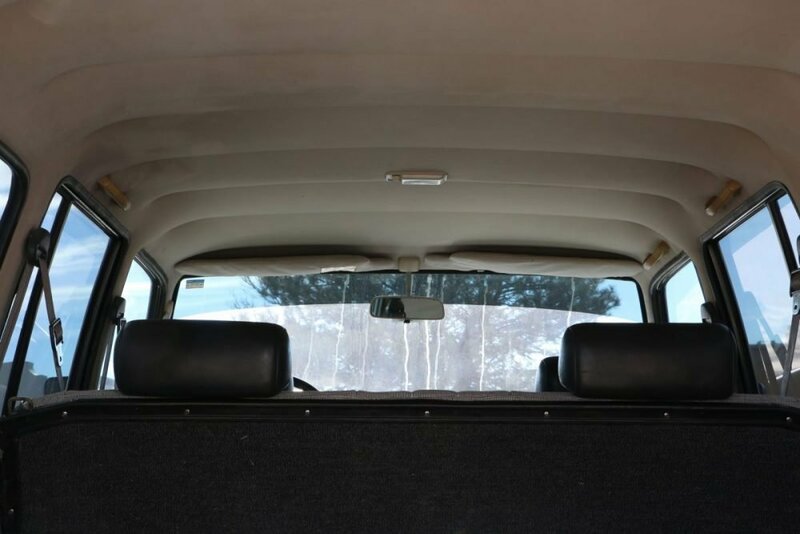 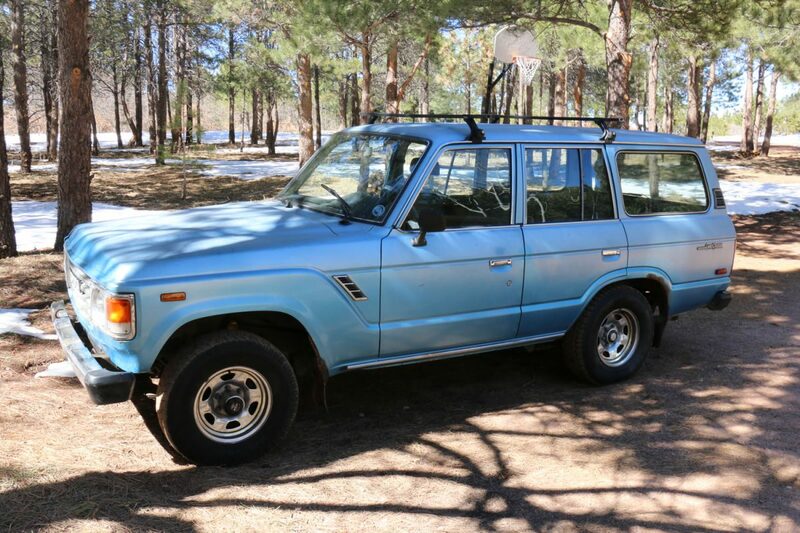 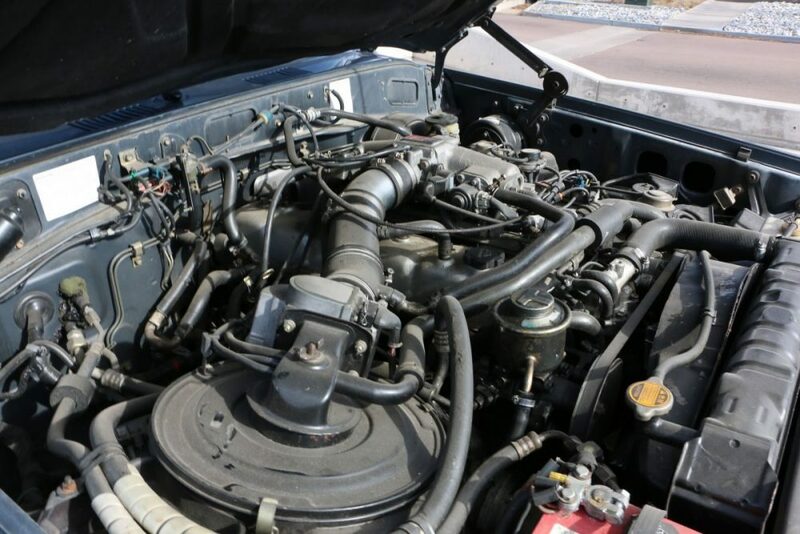 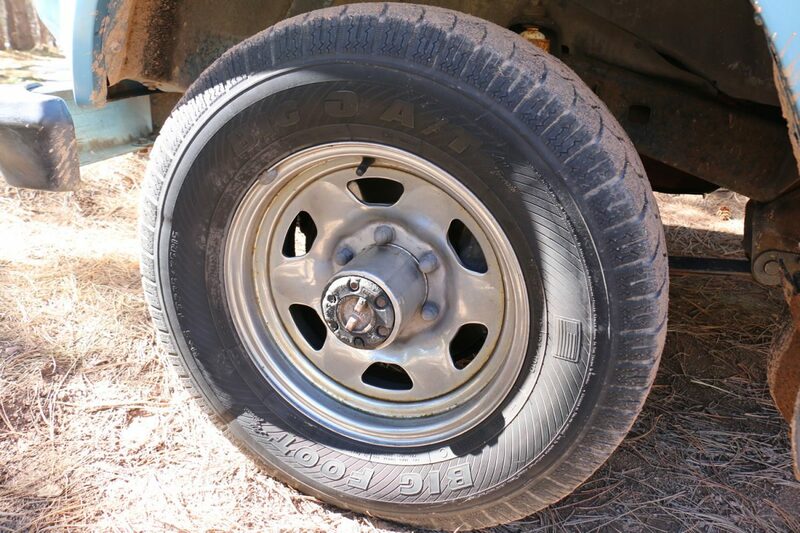 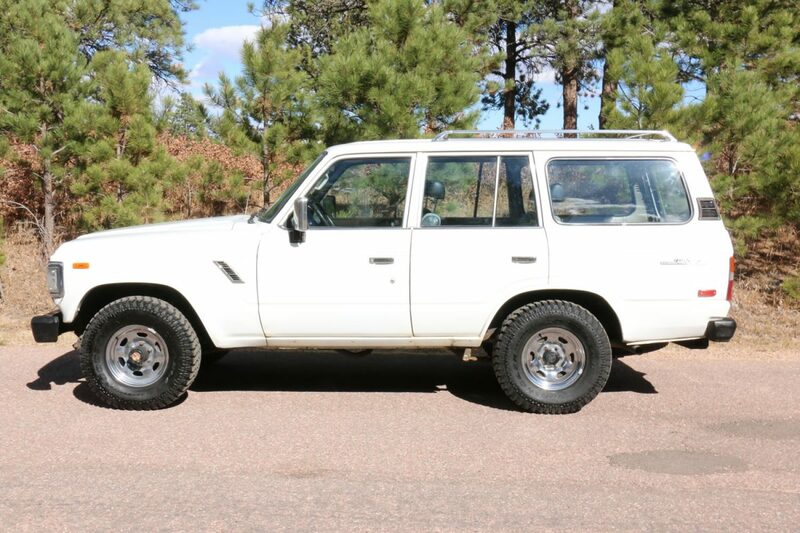 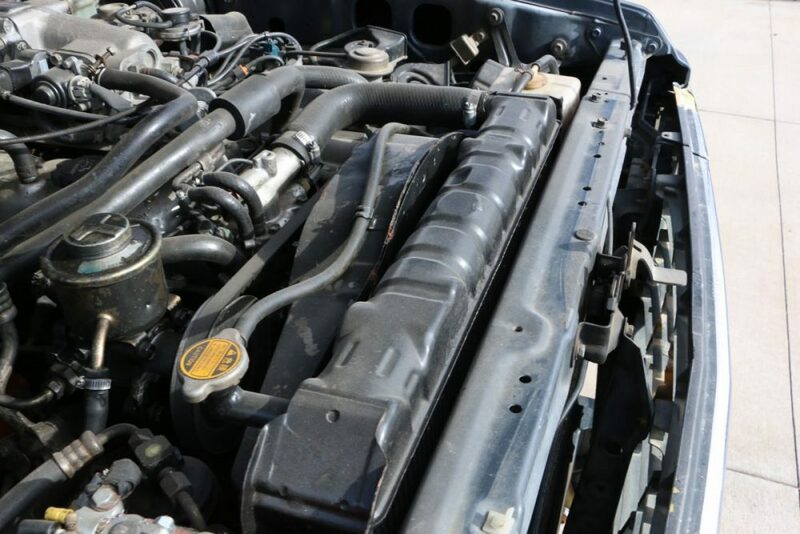 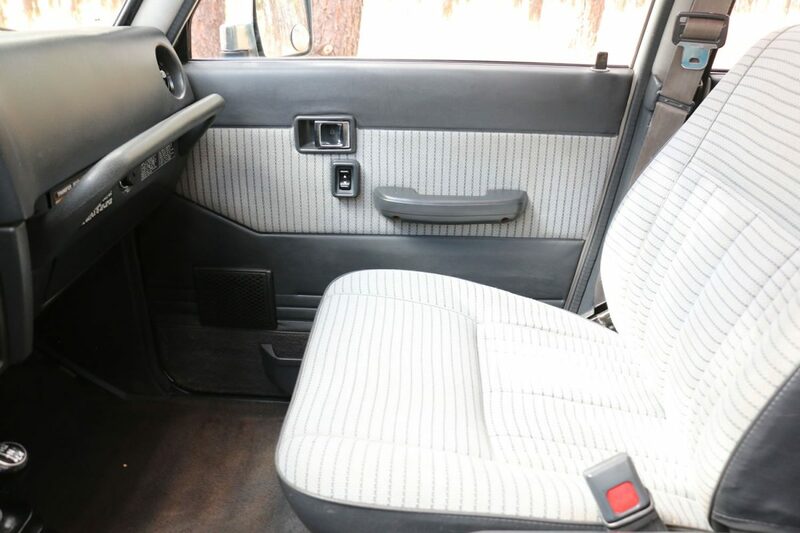 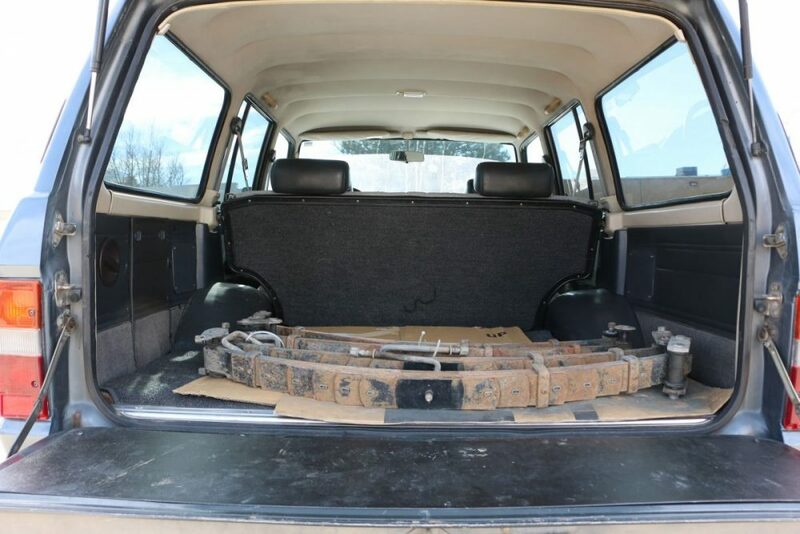 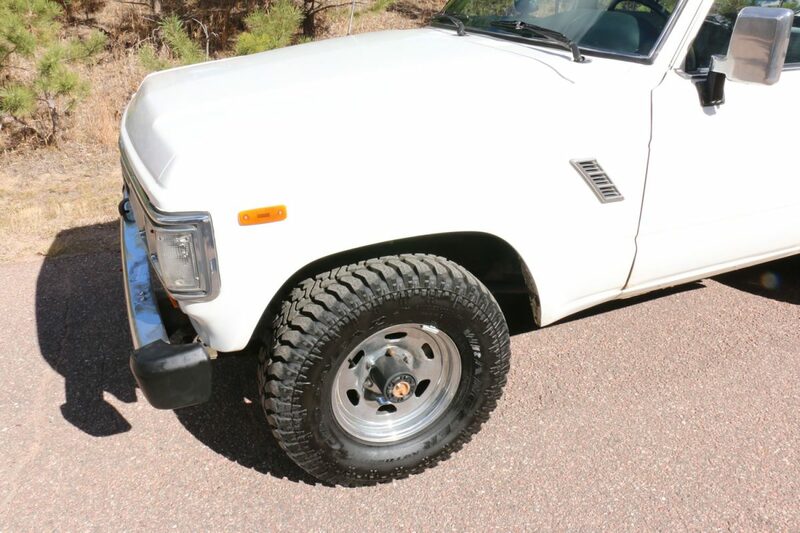 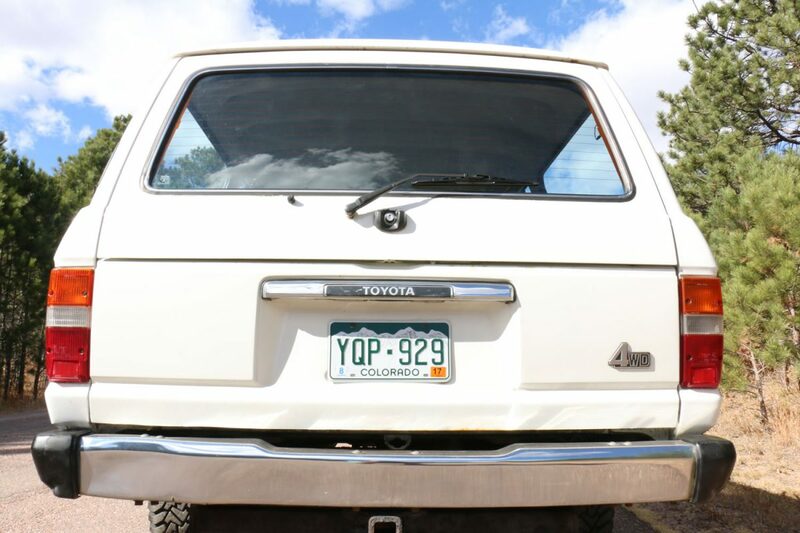 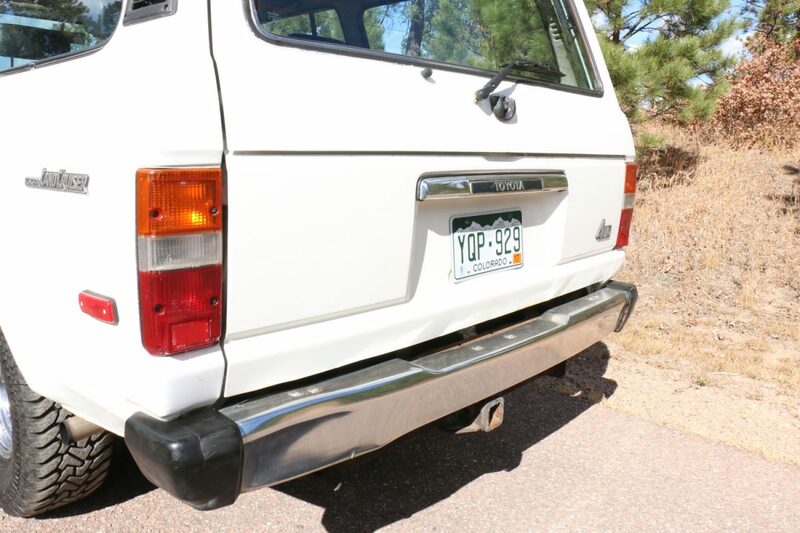 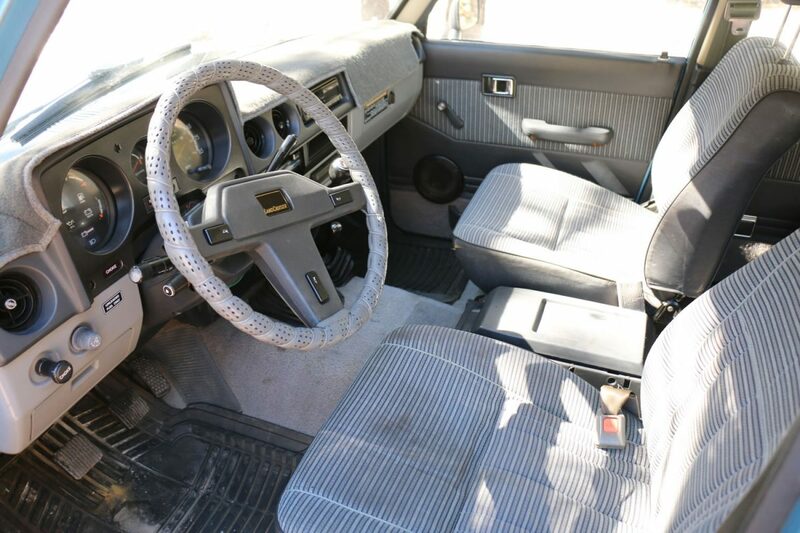 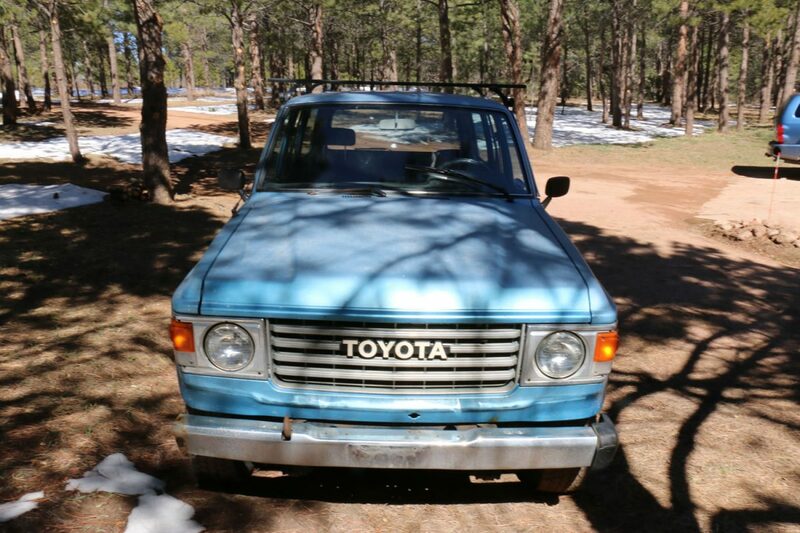 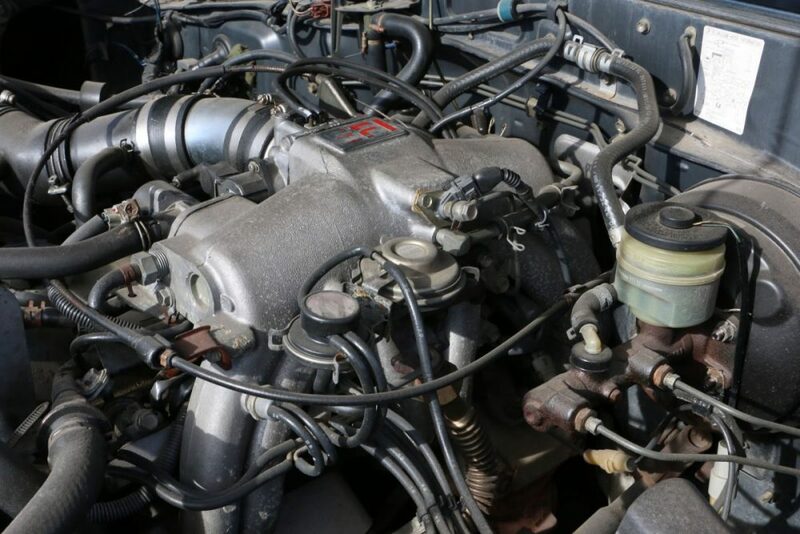 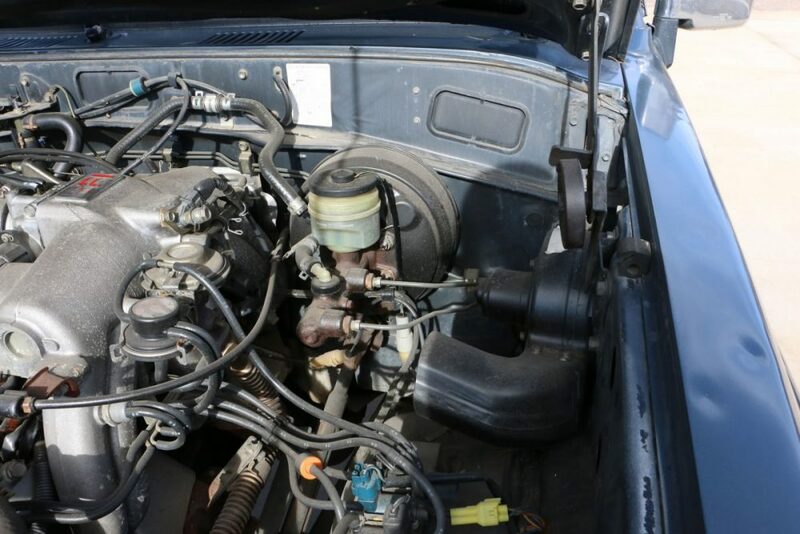 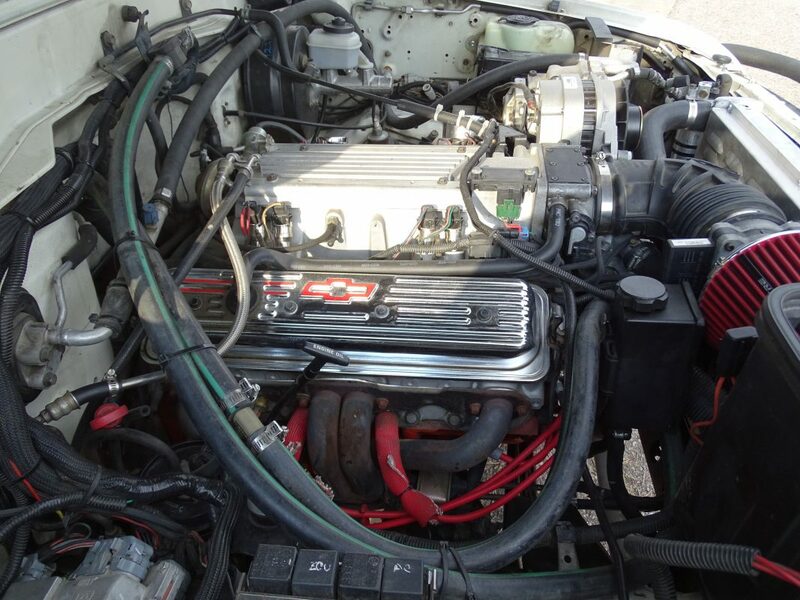 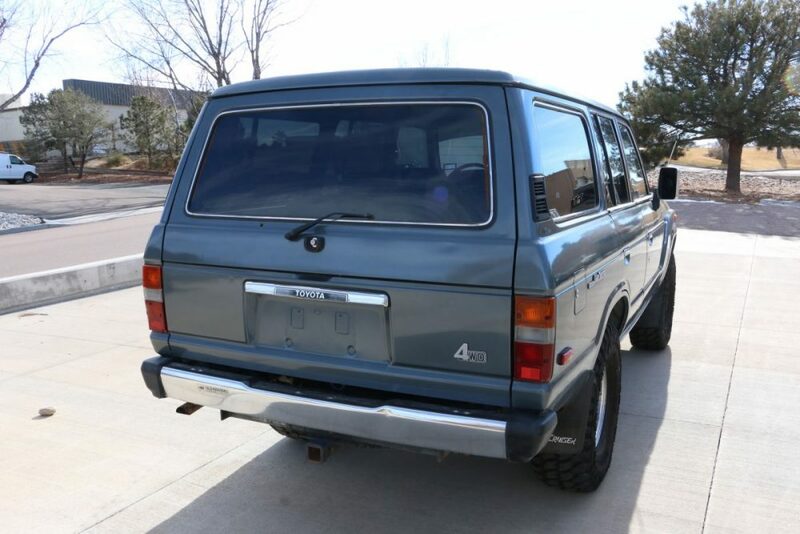 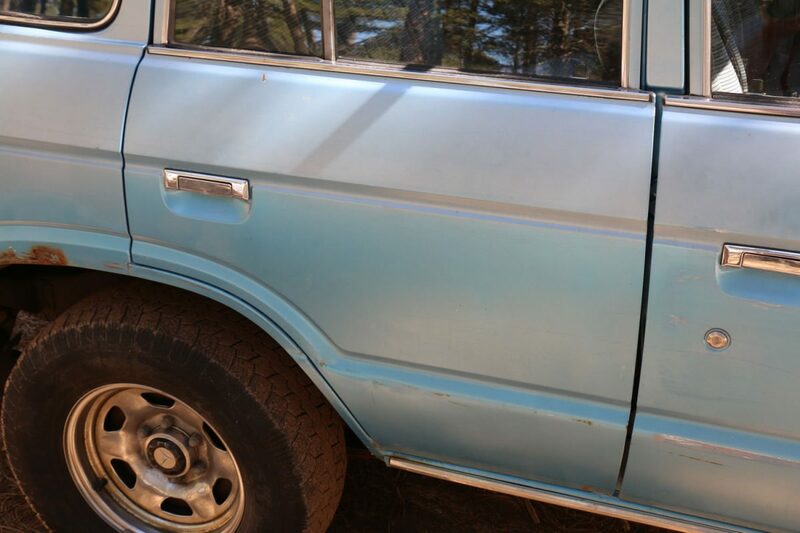 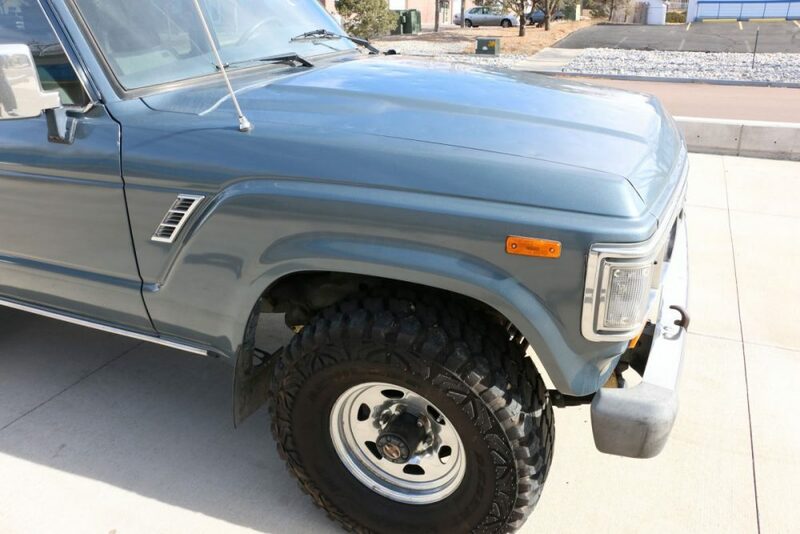 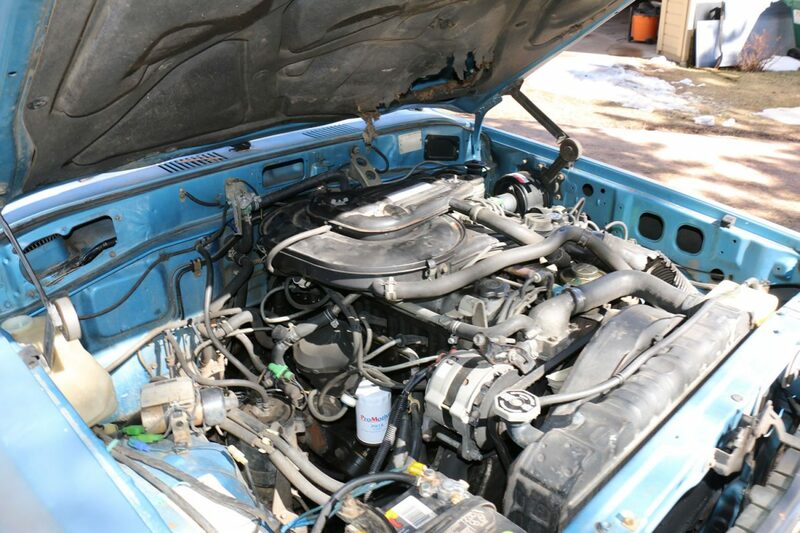 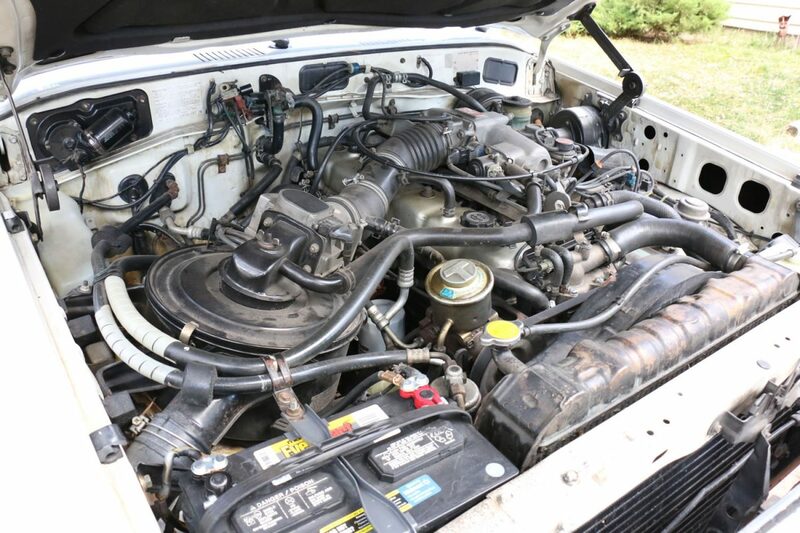 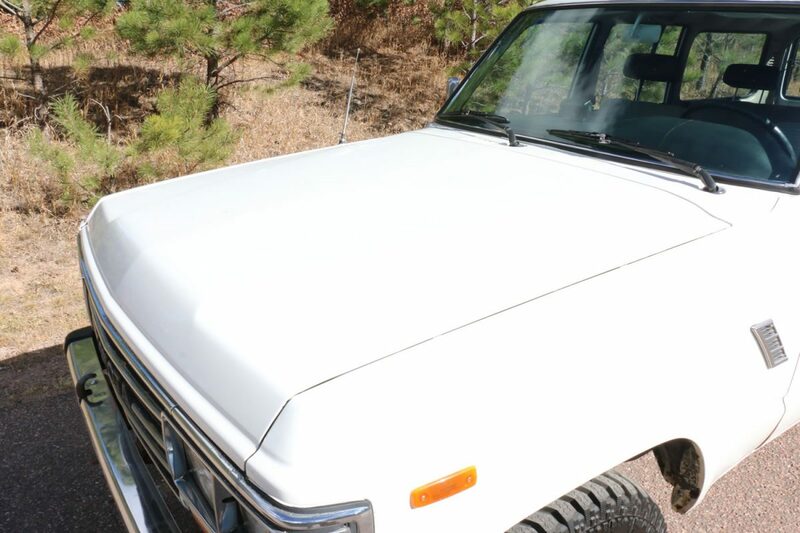 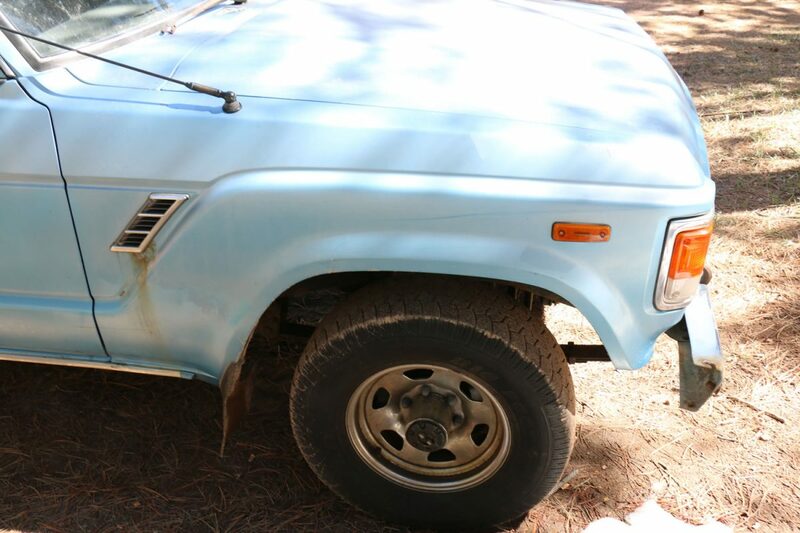 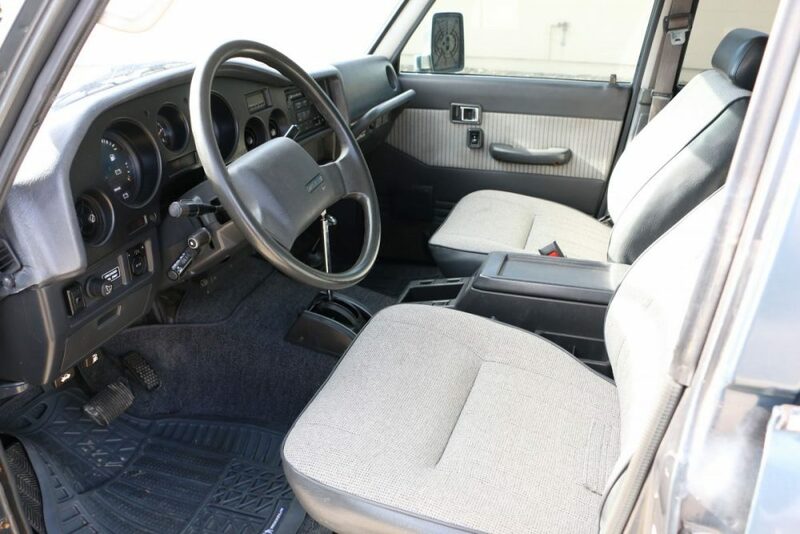 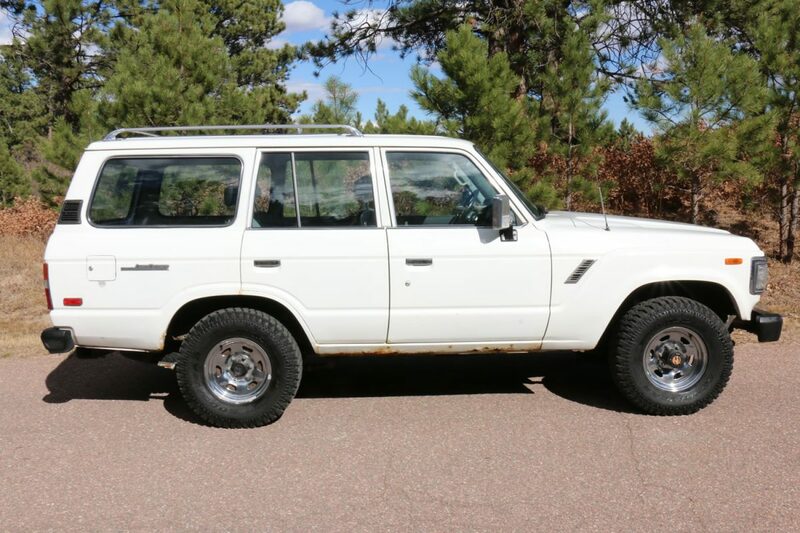 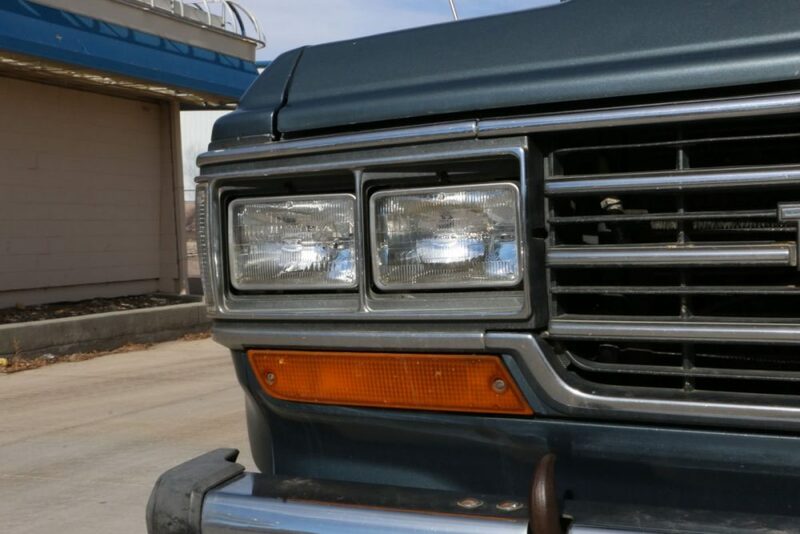 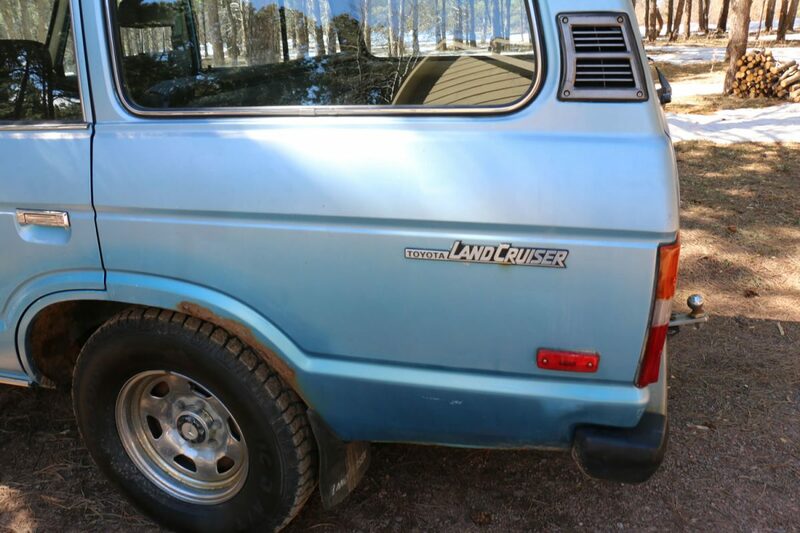 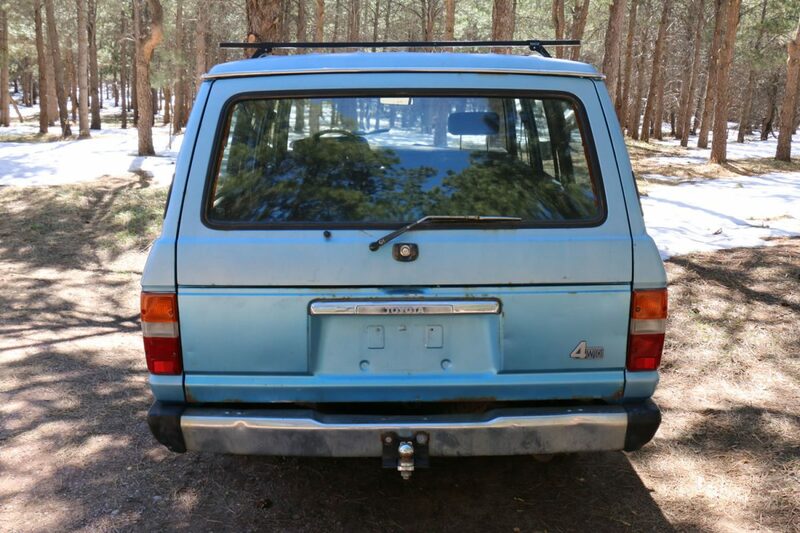 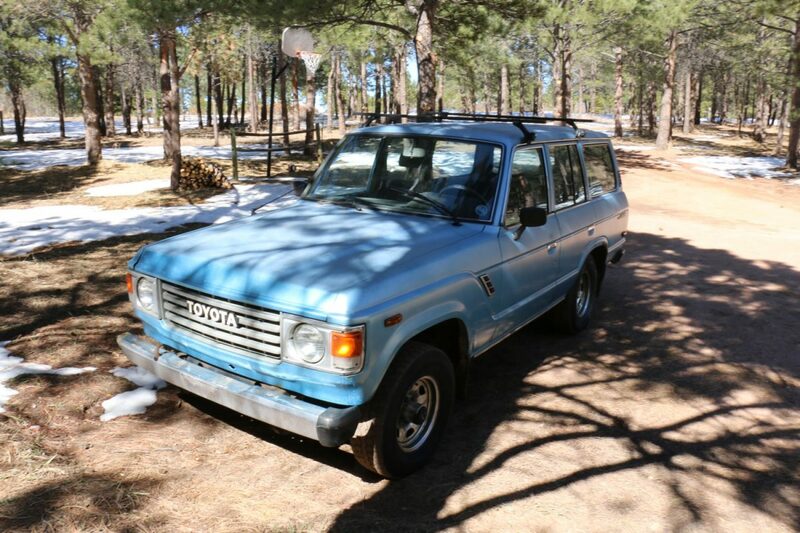 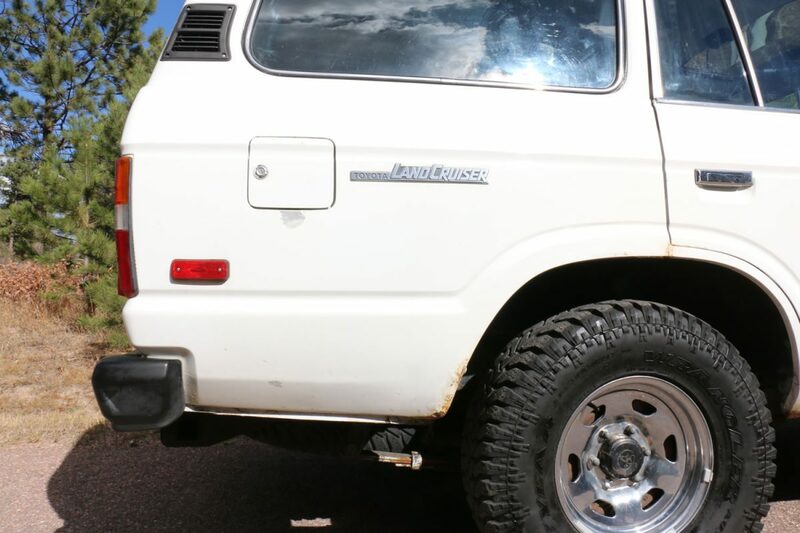 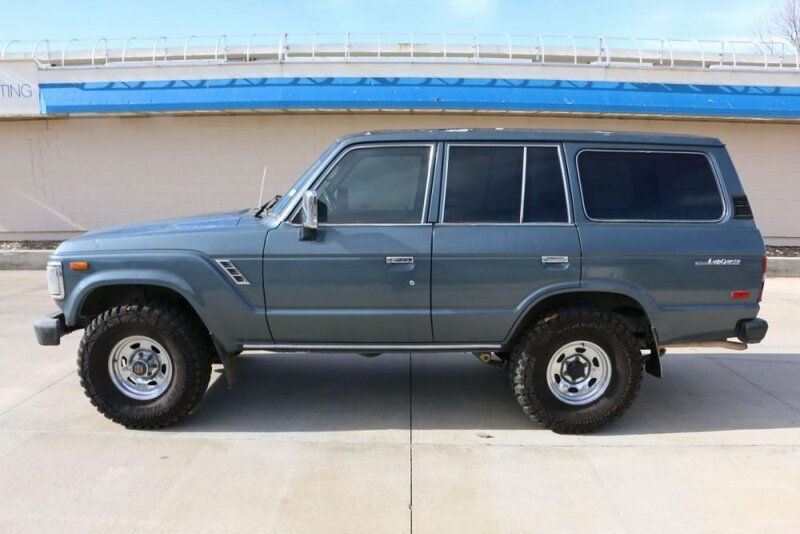 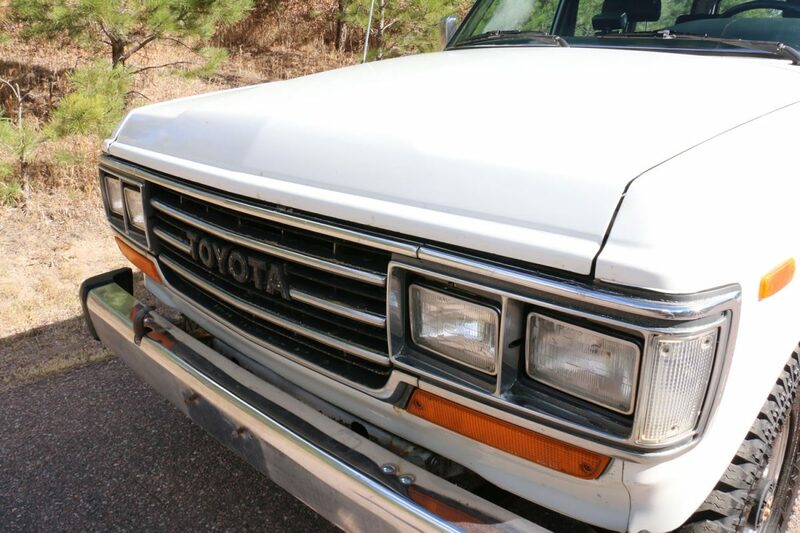 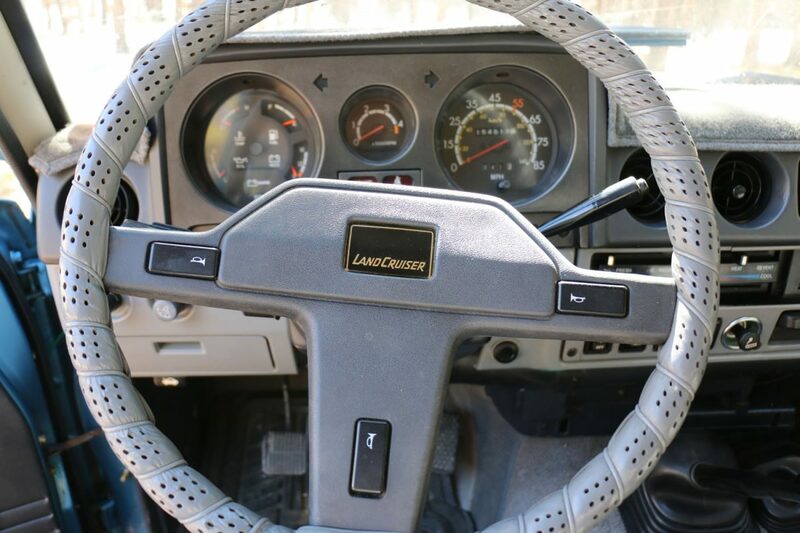 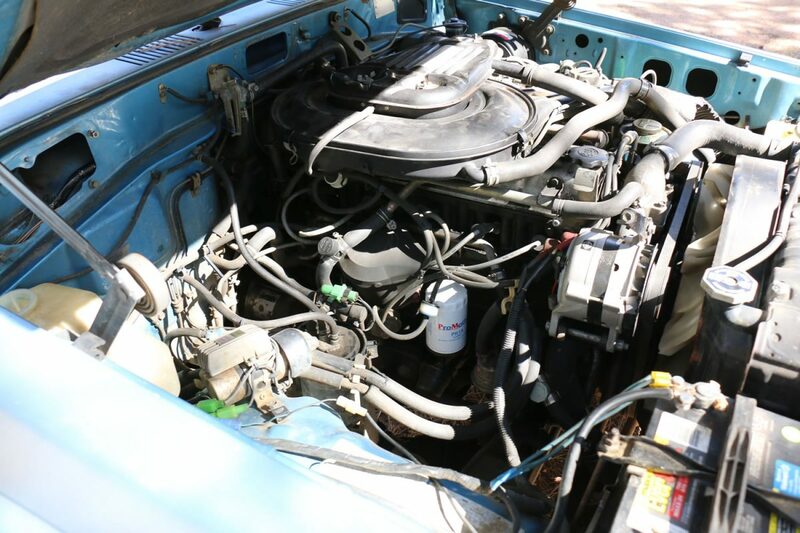 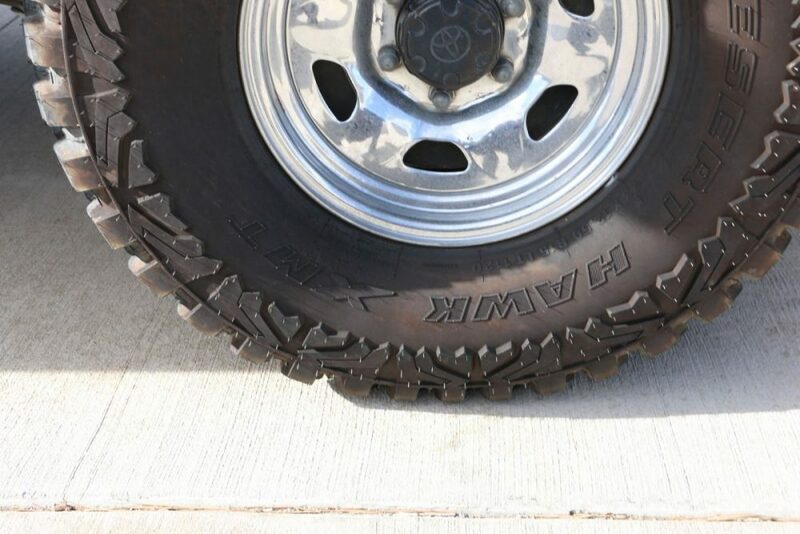 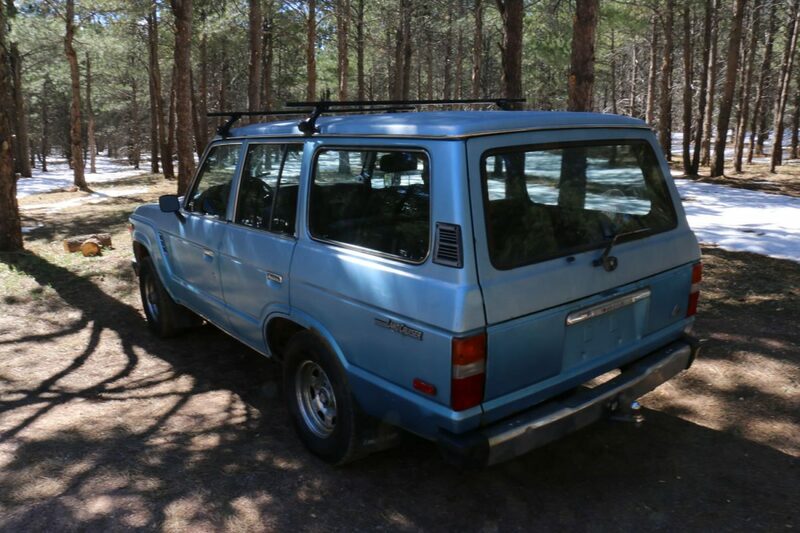 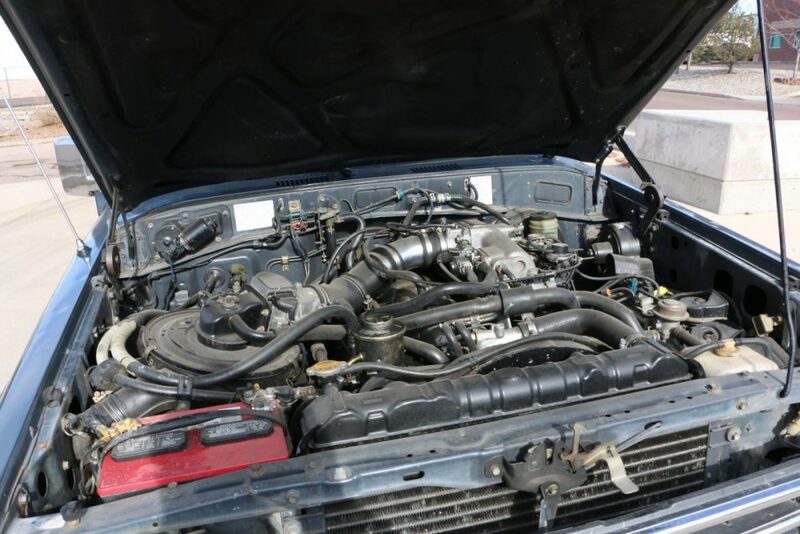 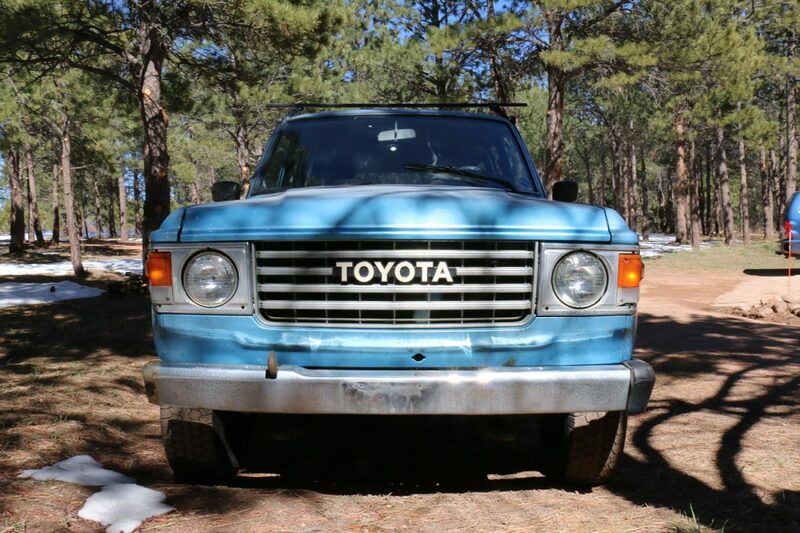 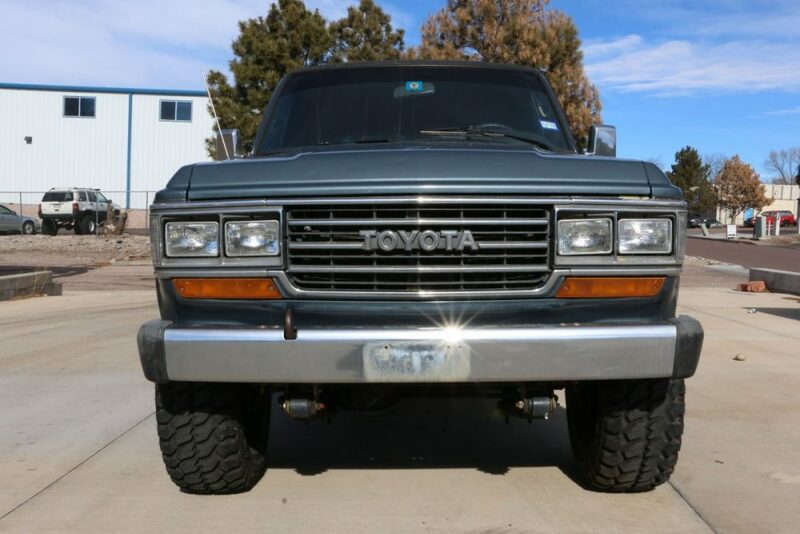 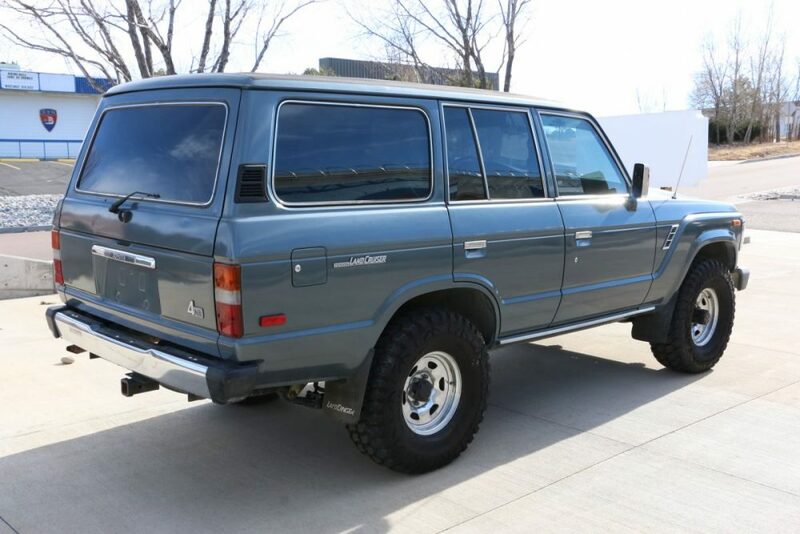 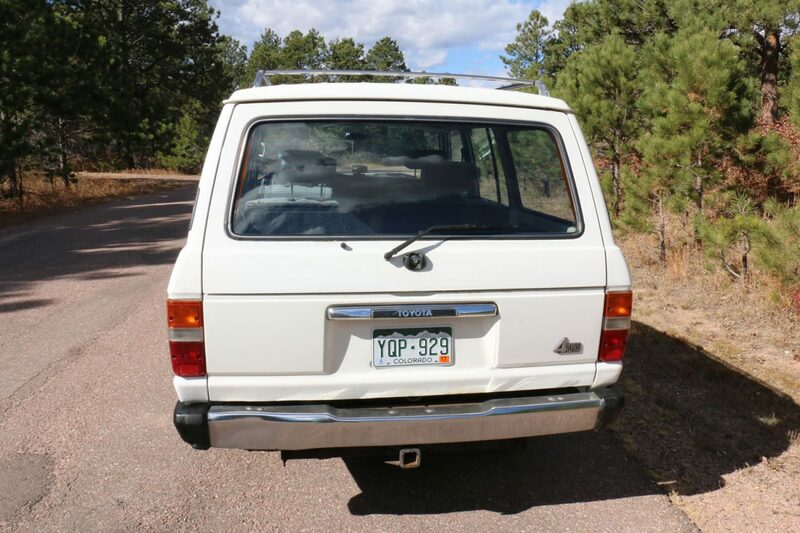 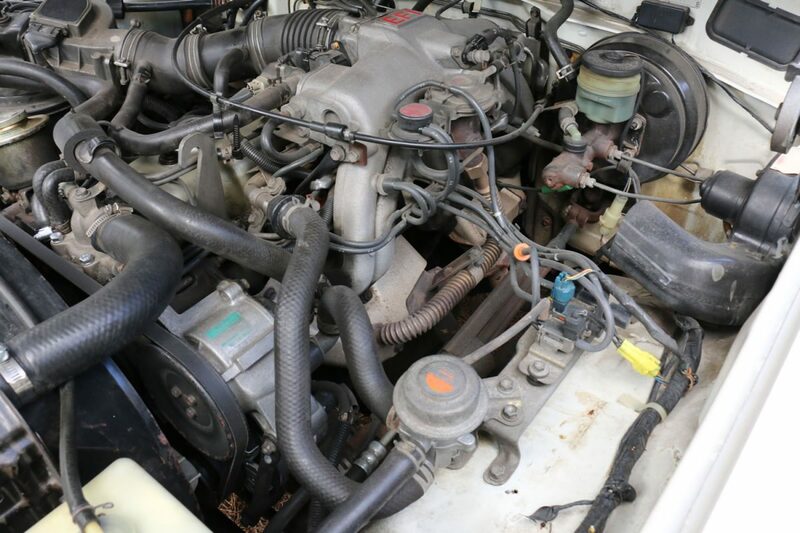 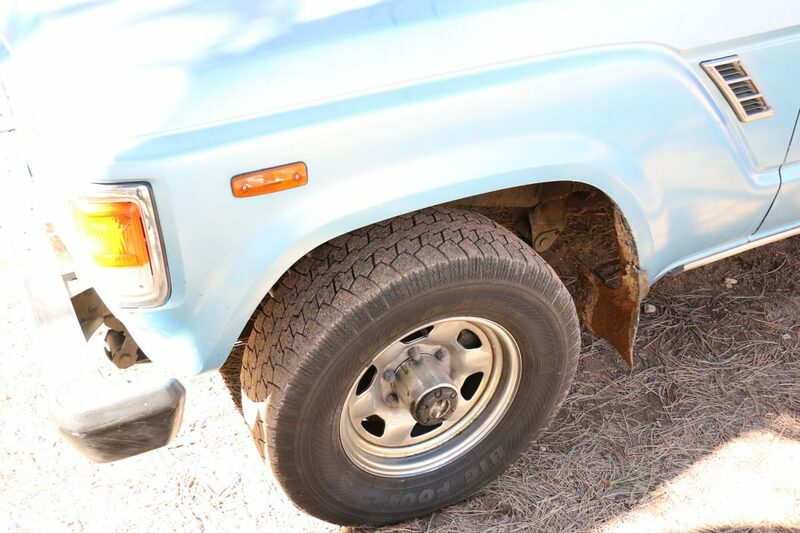 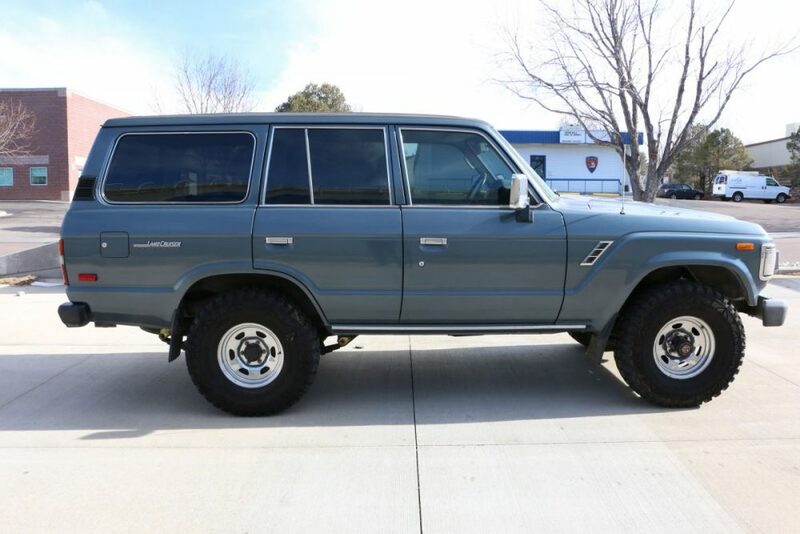 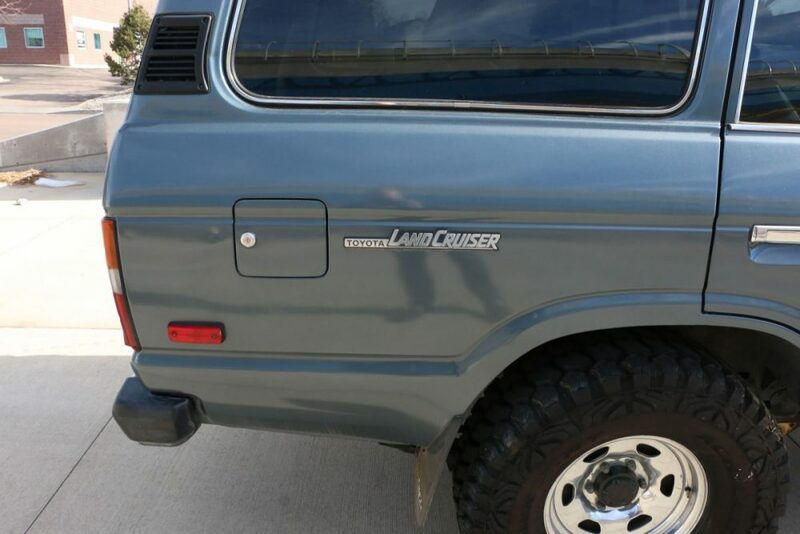 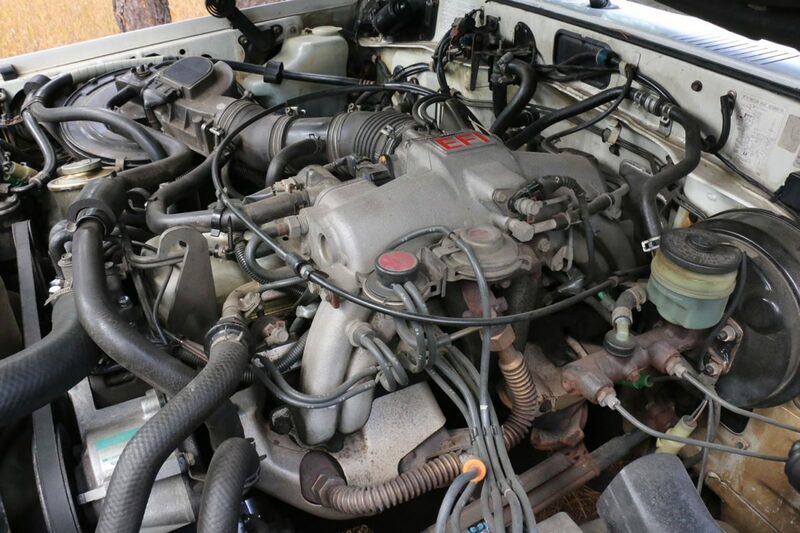 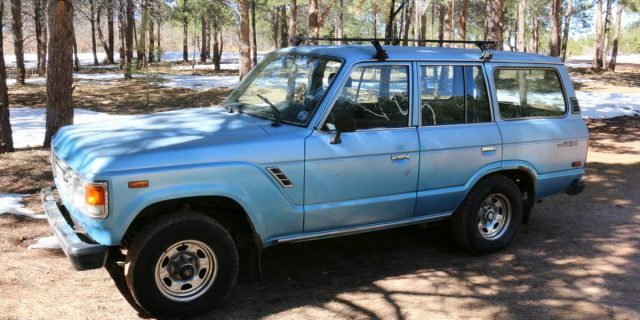 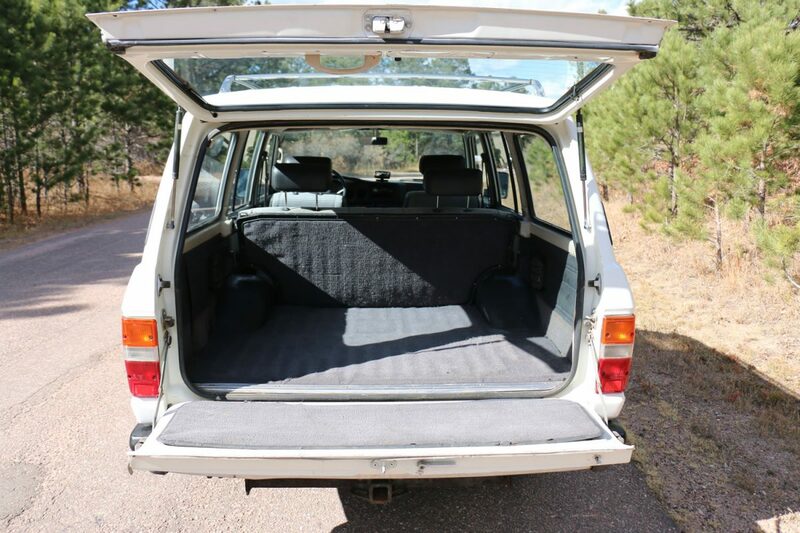 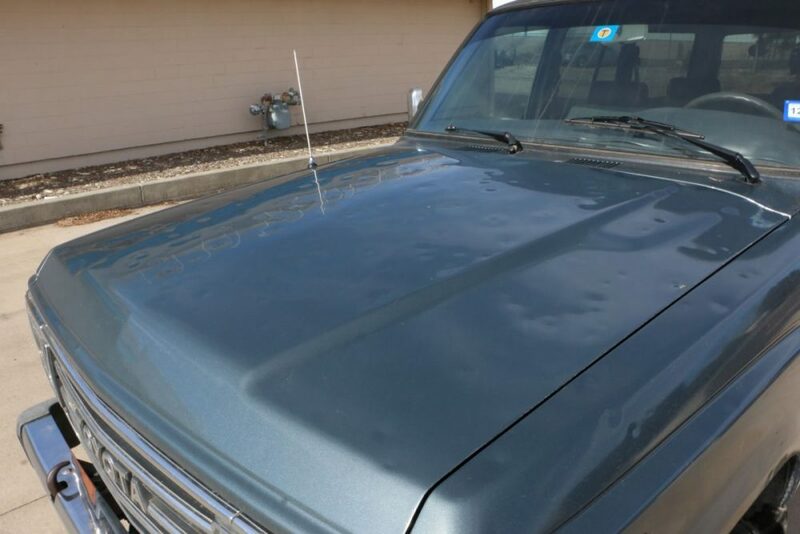 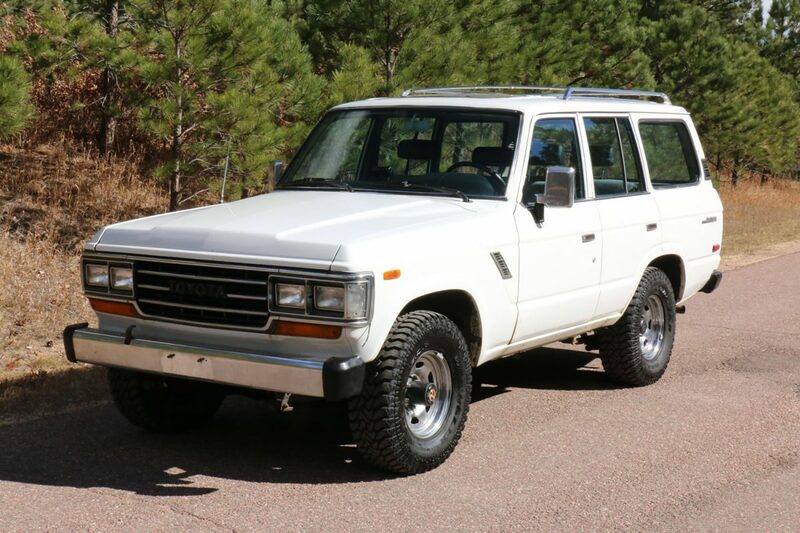 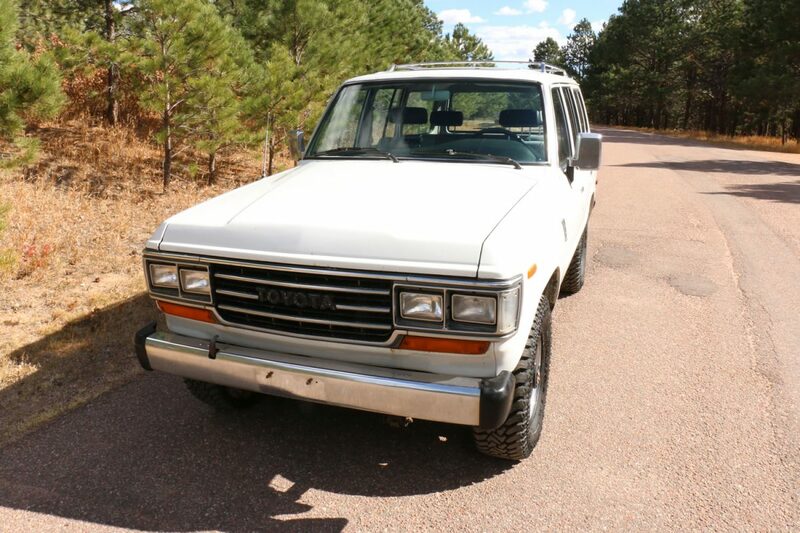 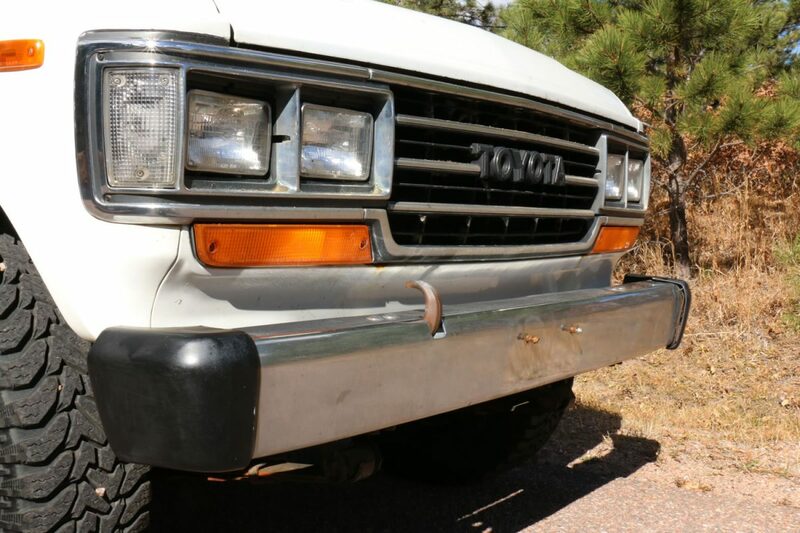 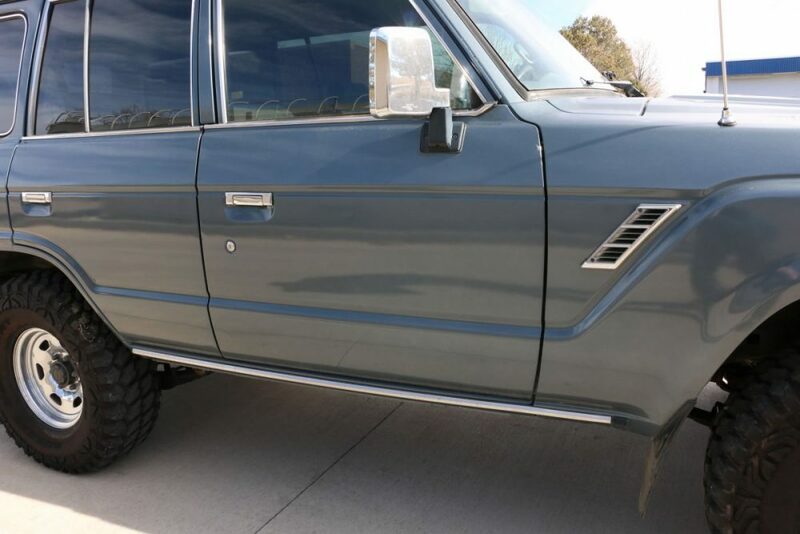 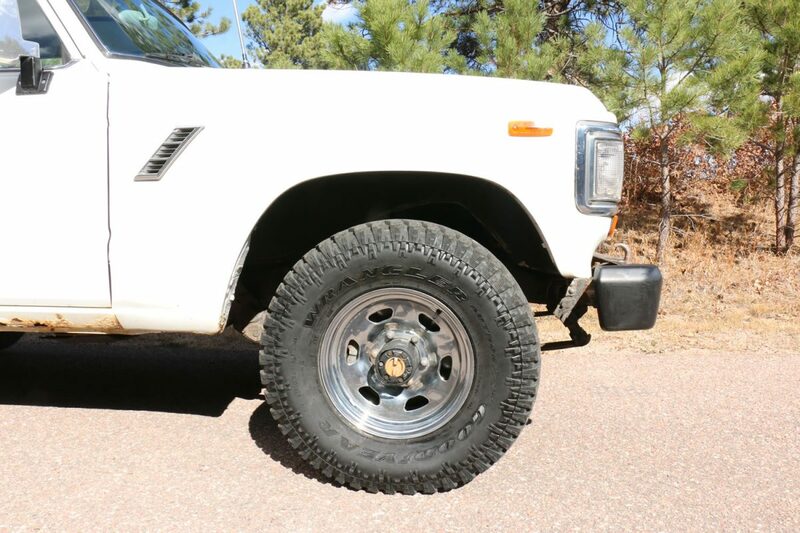 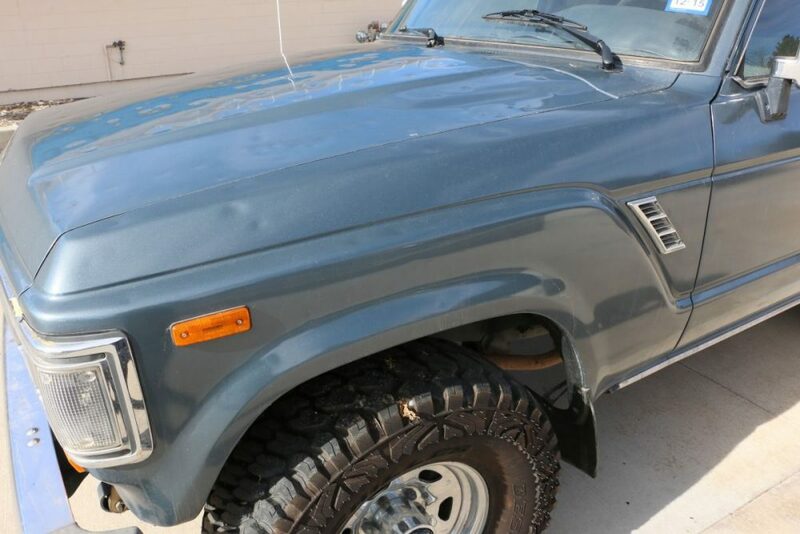 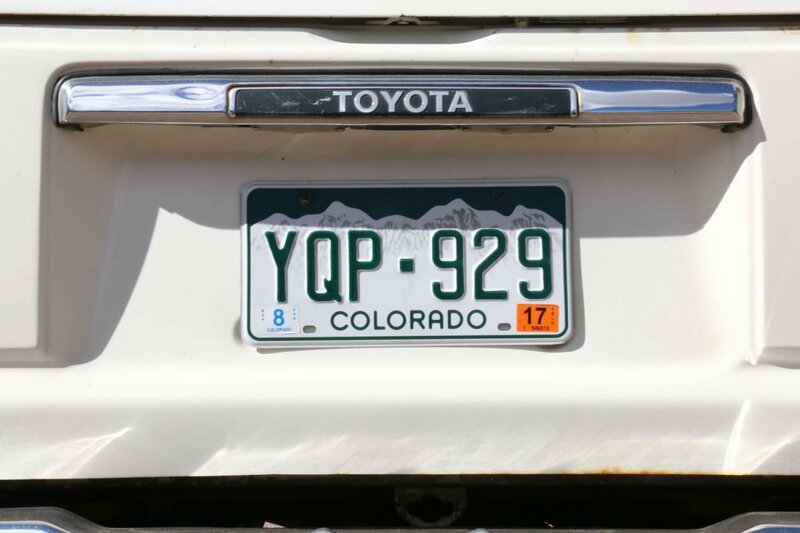 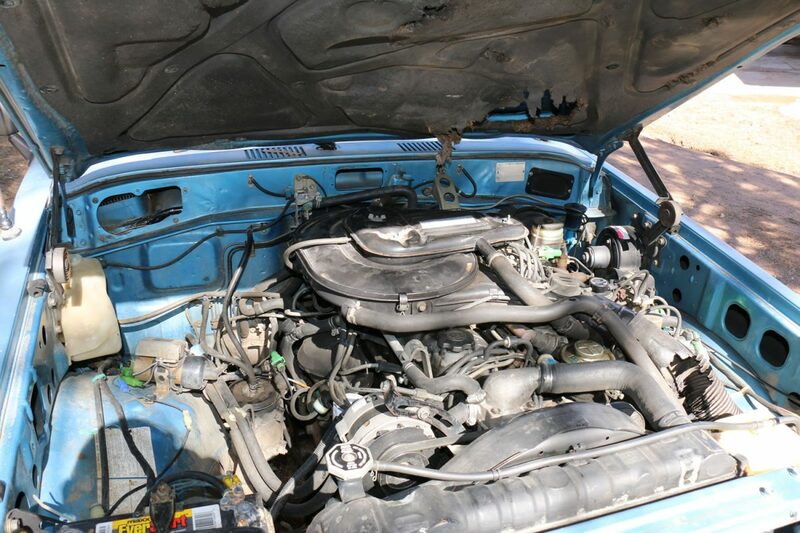 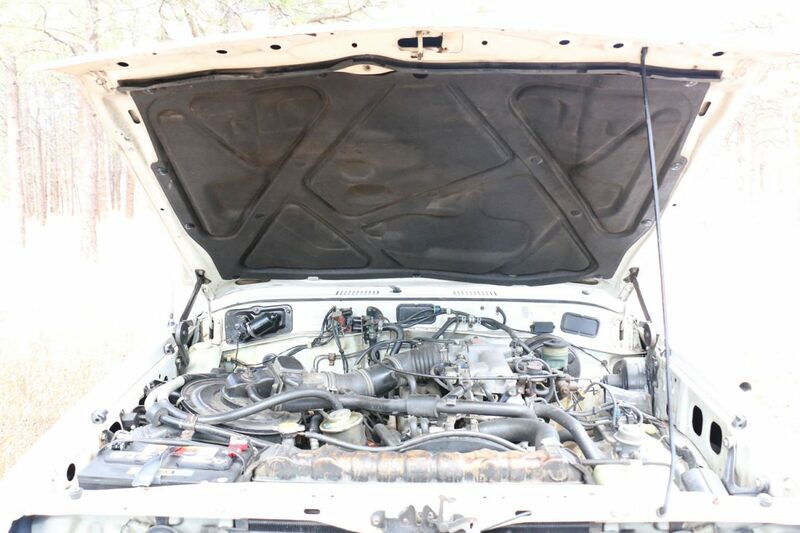 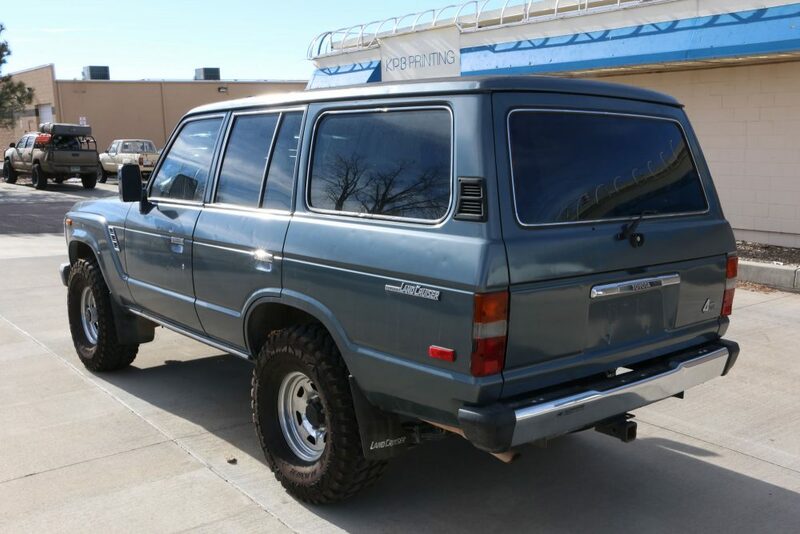 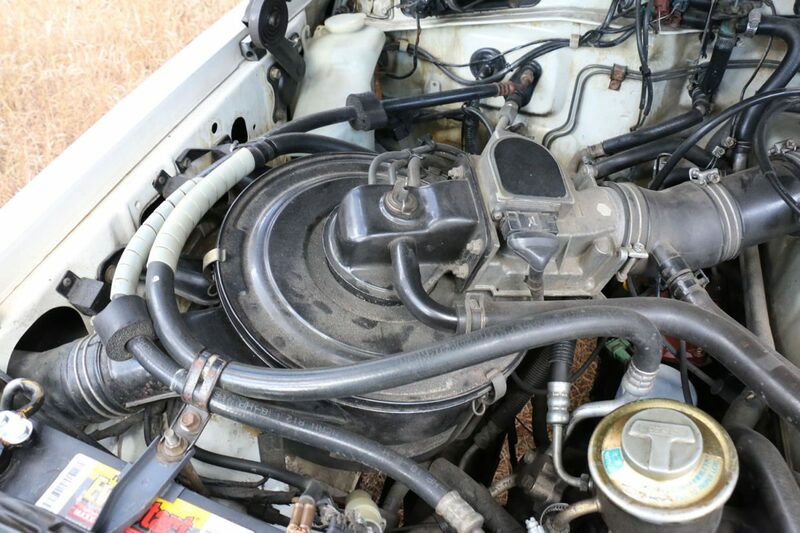 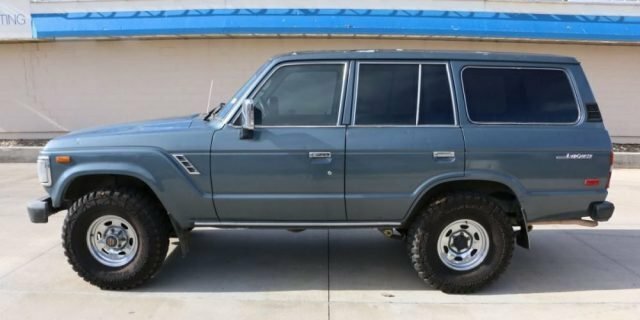 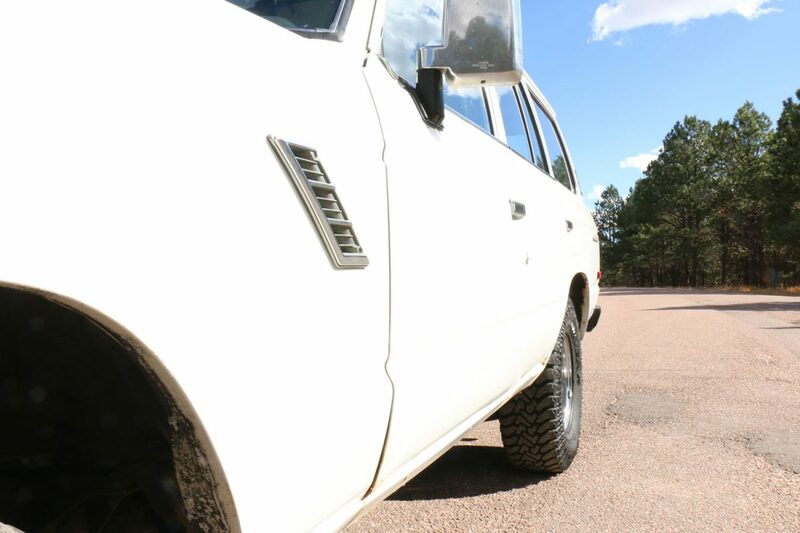 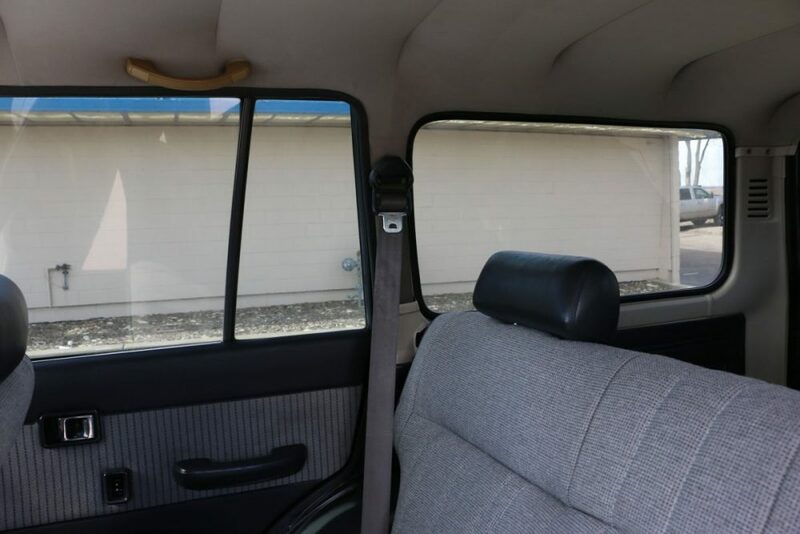 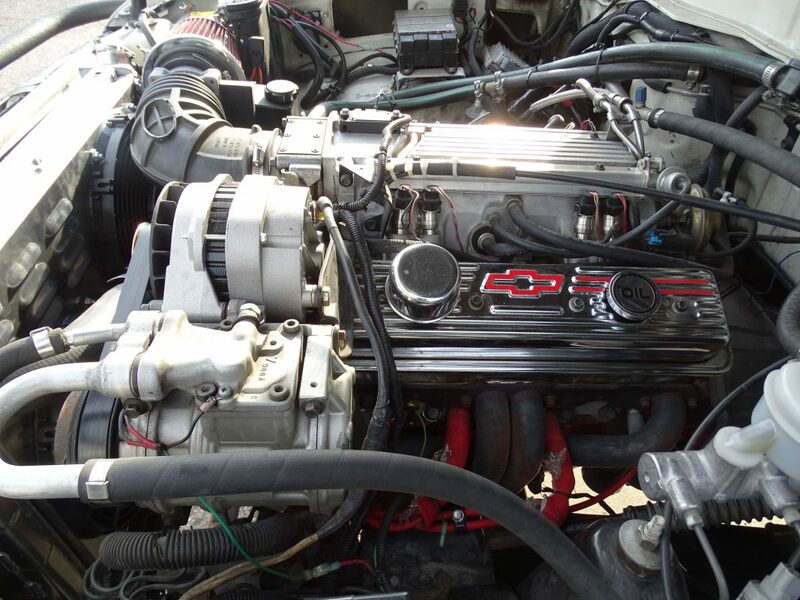 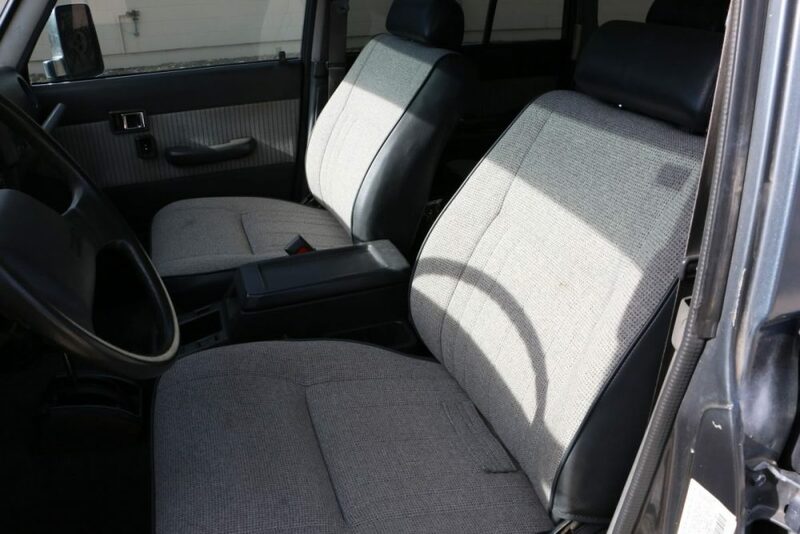 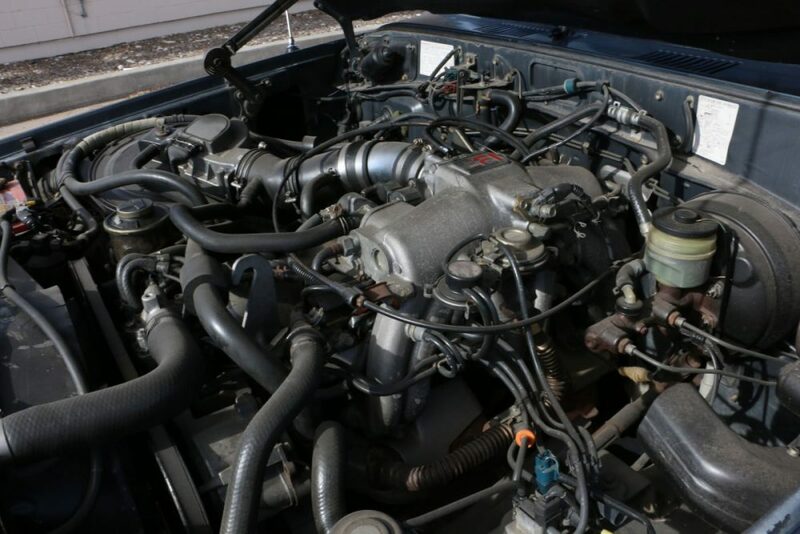 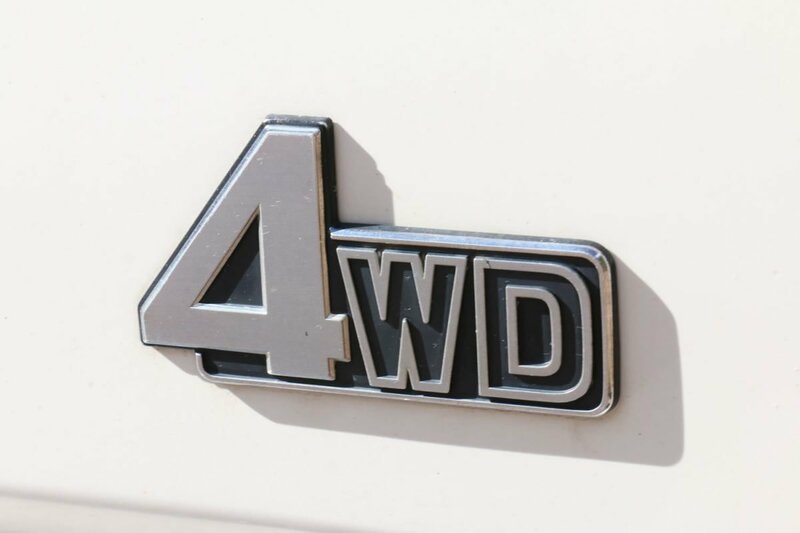 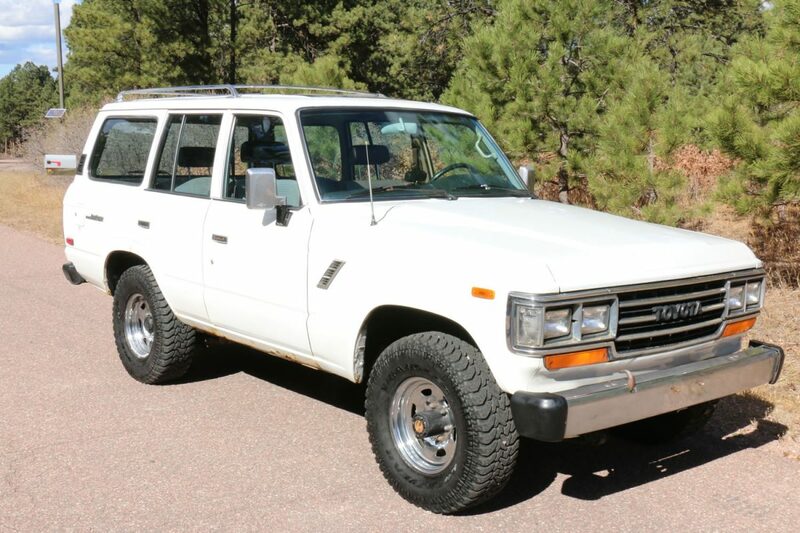 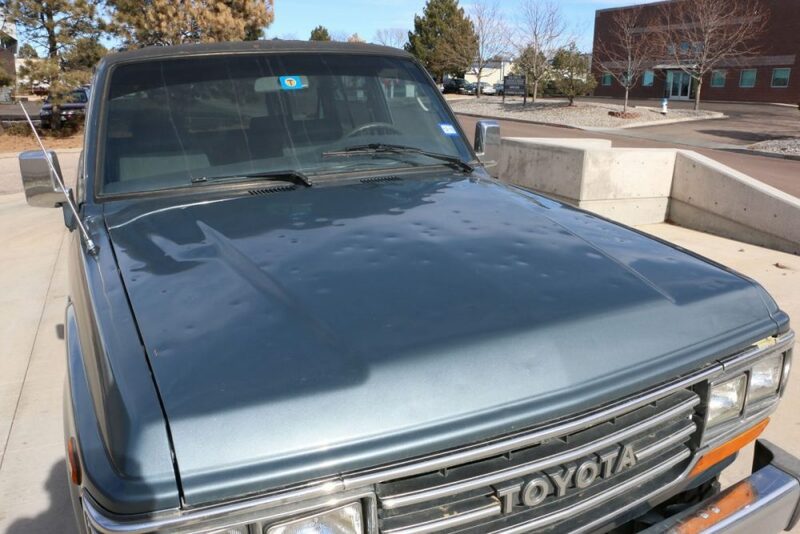 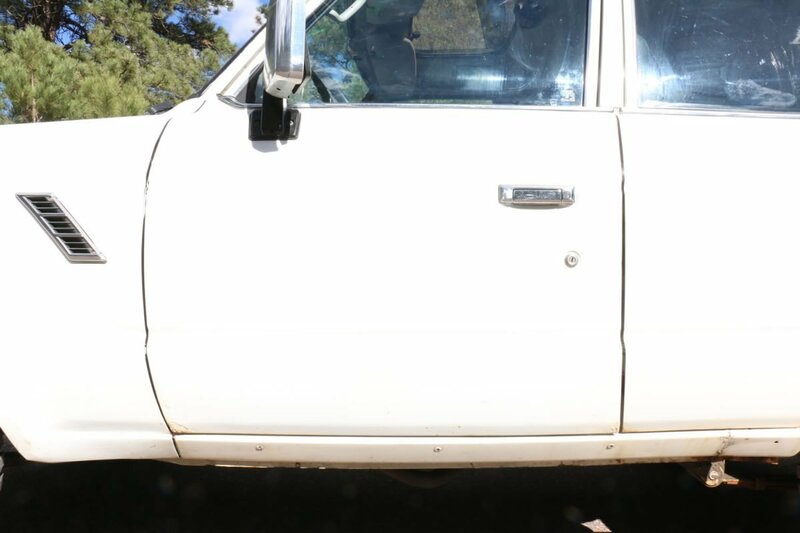 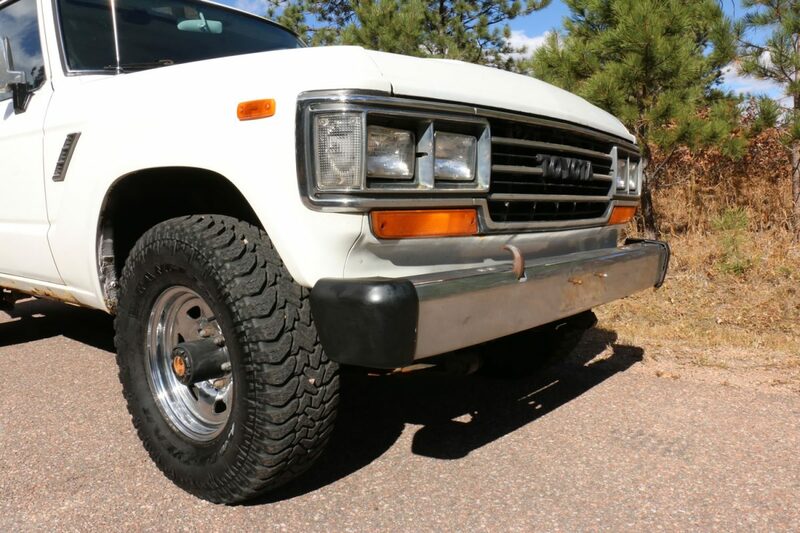 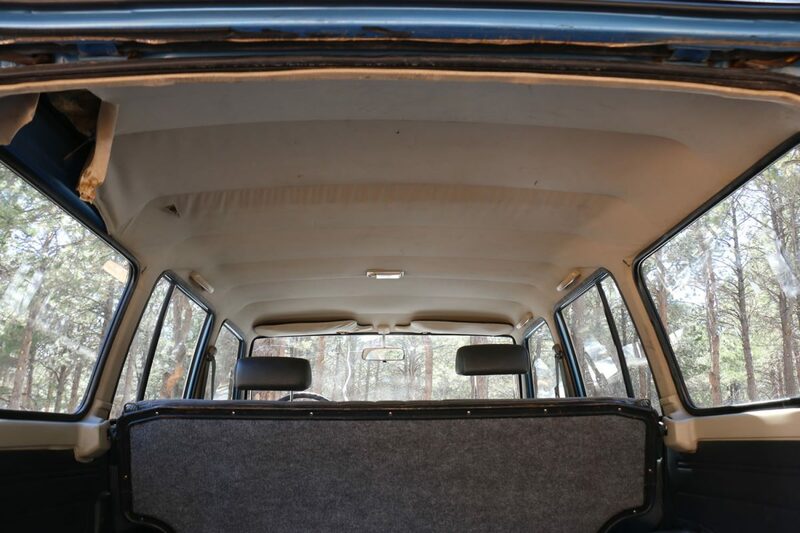 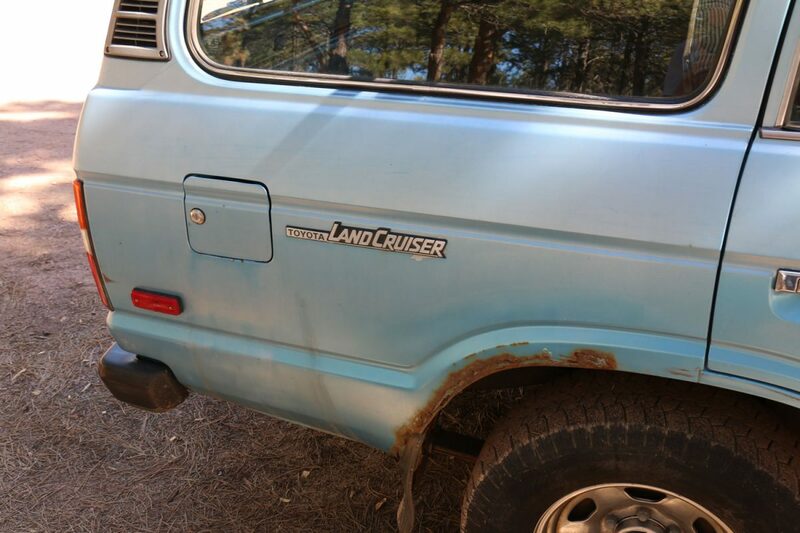 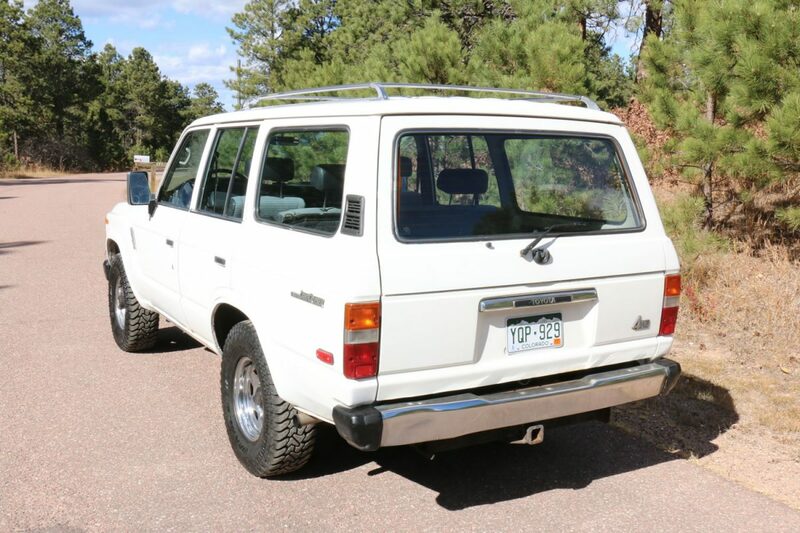 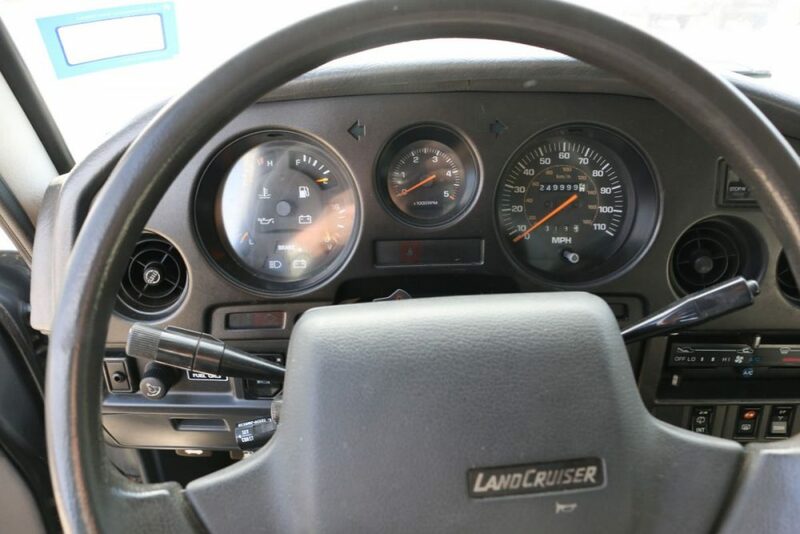 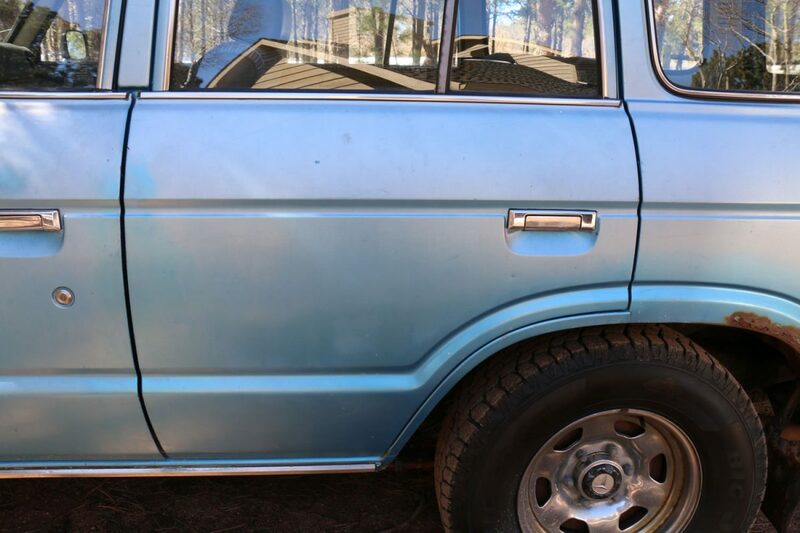 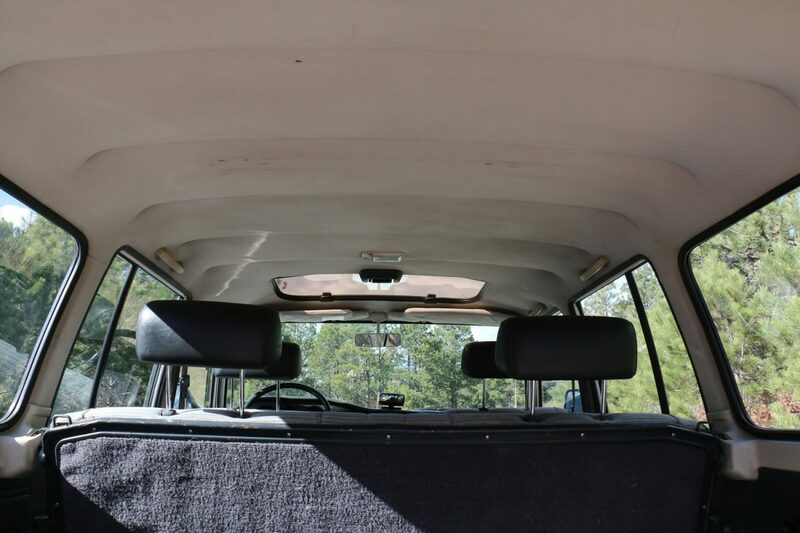 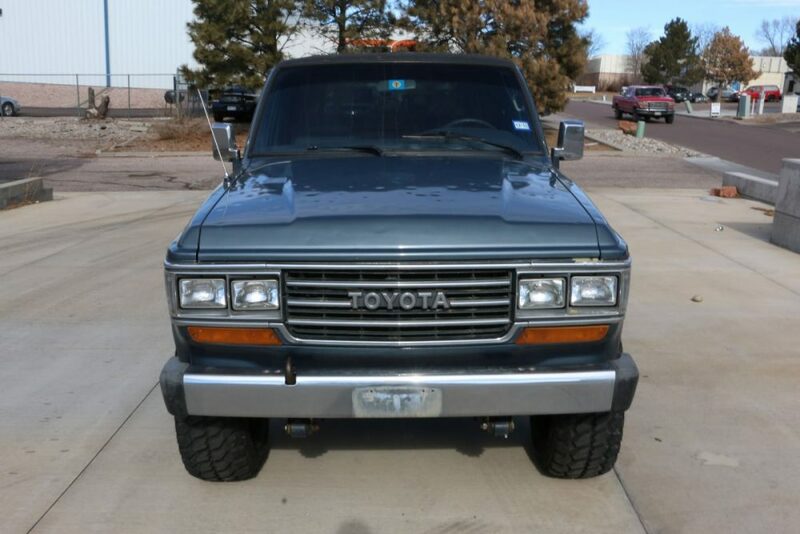 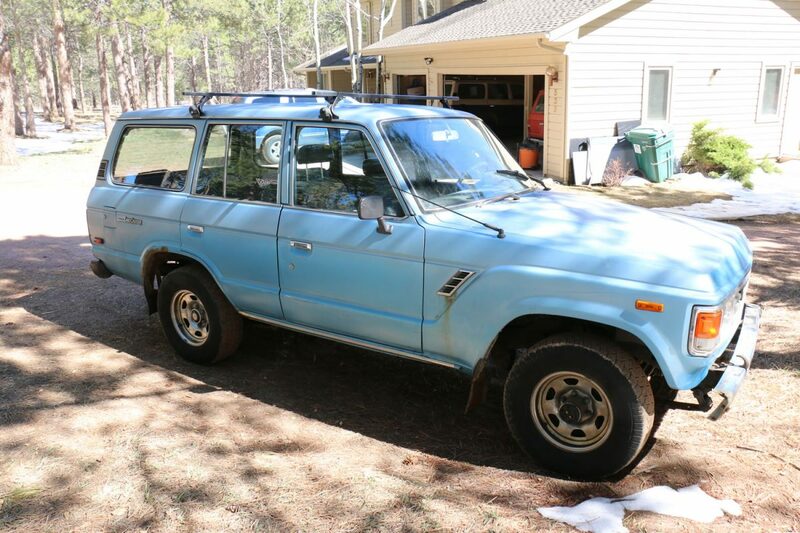 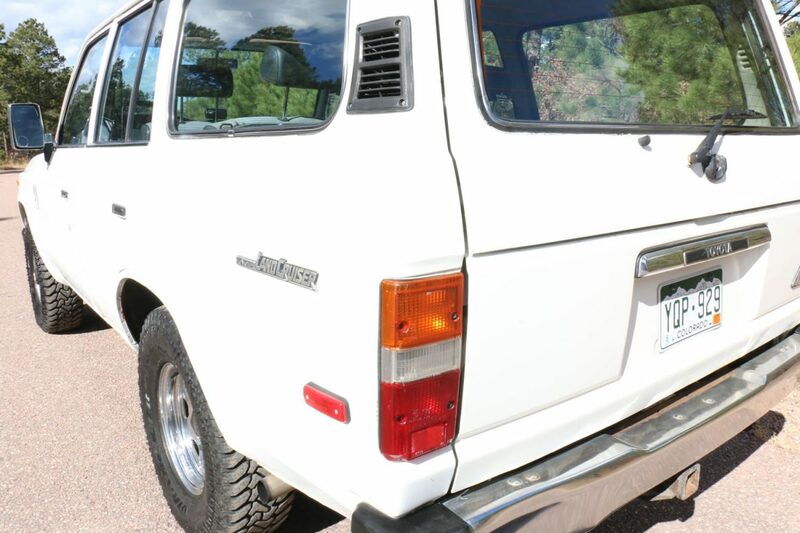 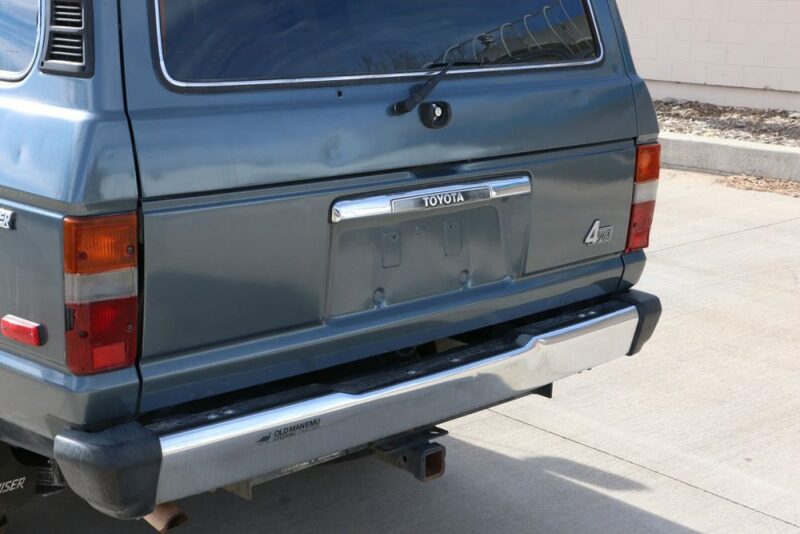 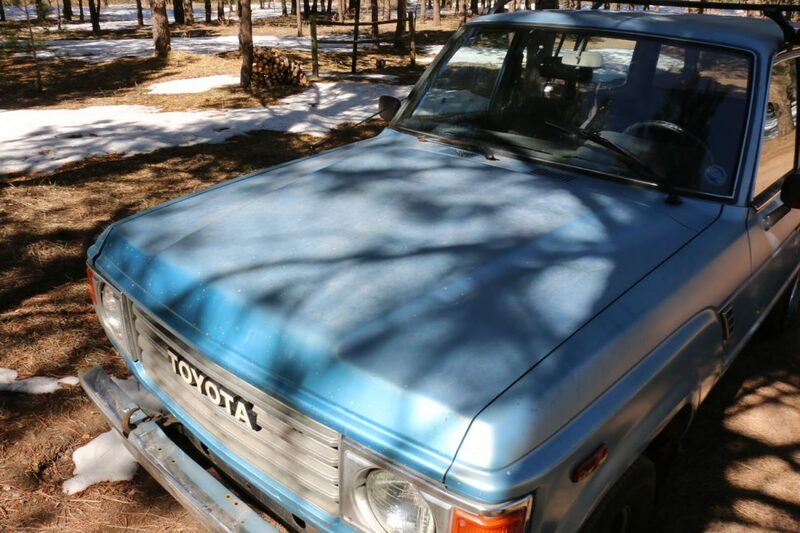 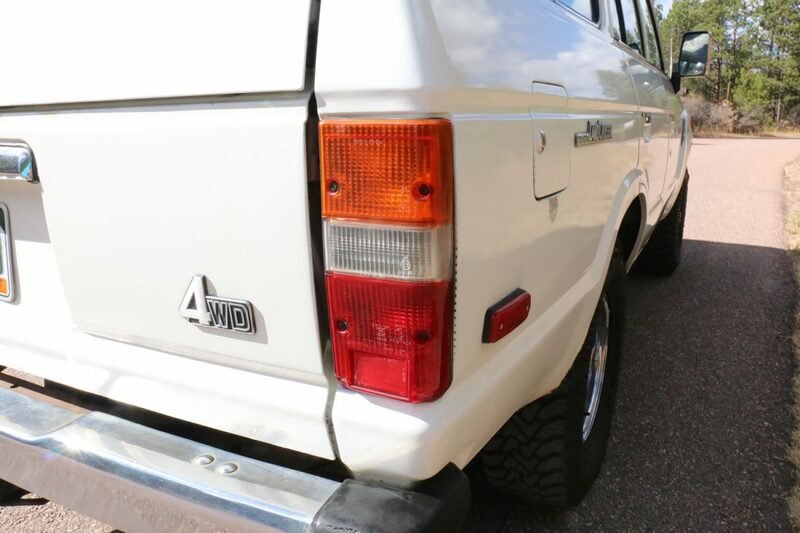 This 1983 FJ60 is in very good condition with lower-than-average miles, and minimal rust. 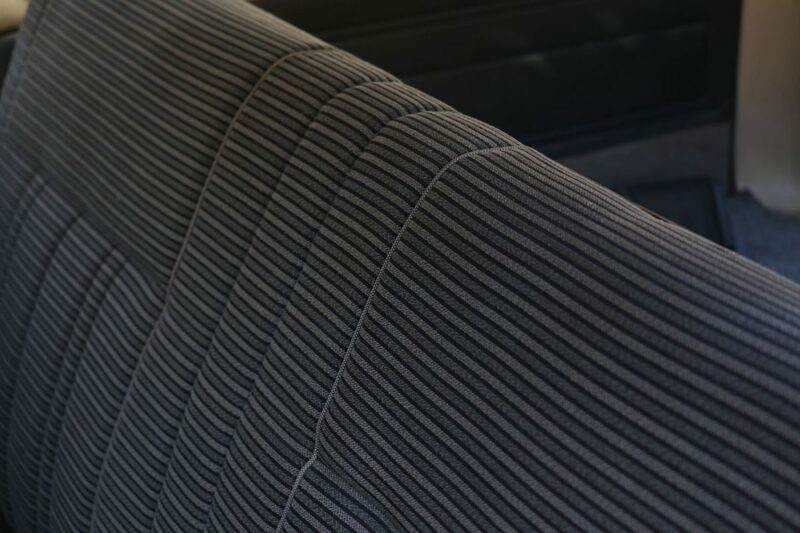 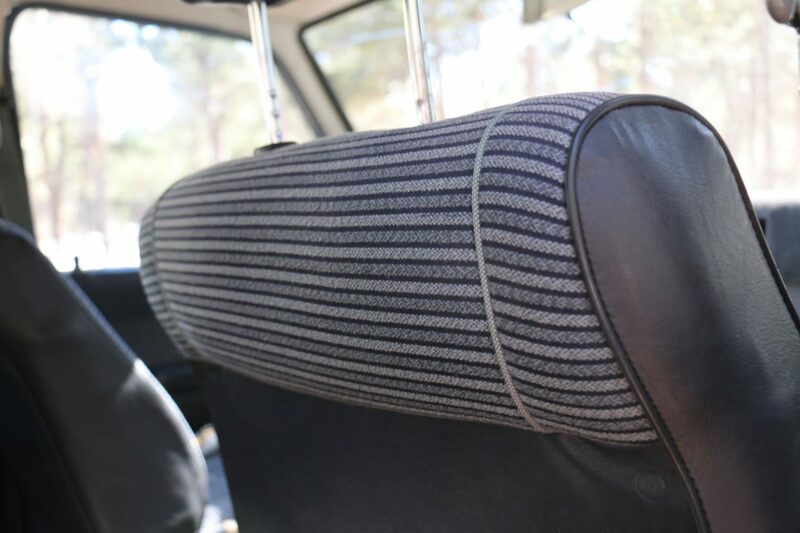 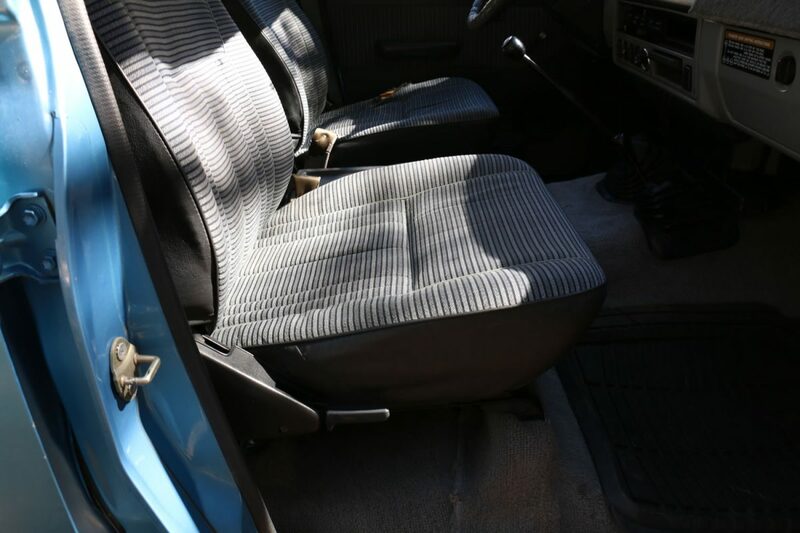 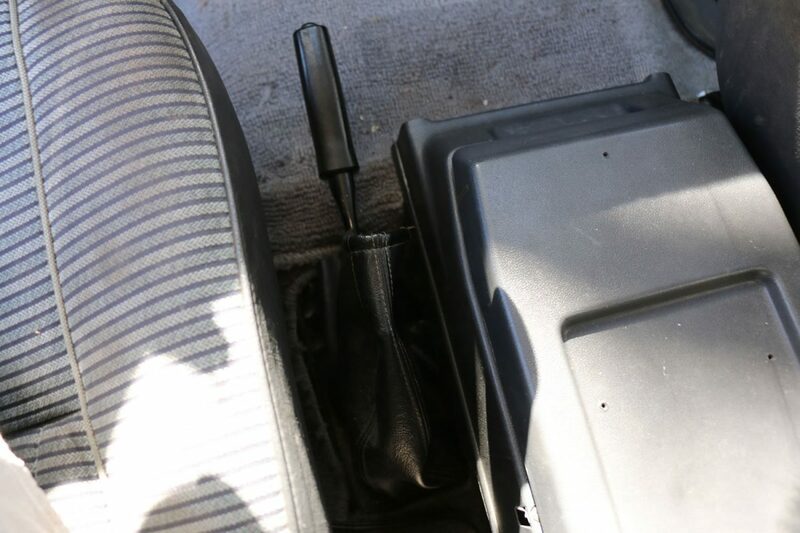 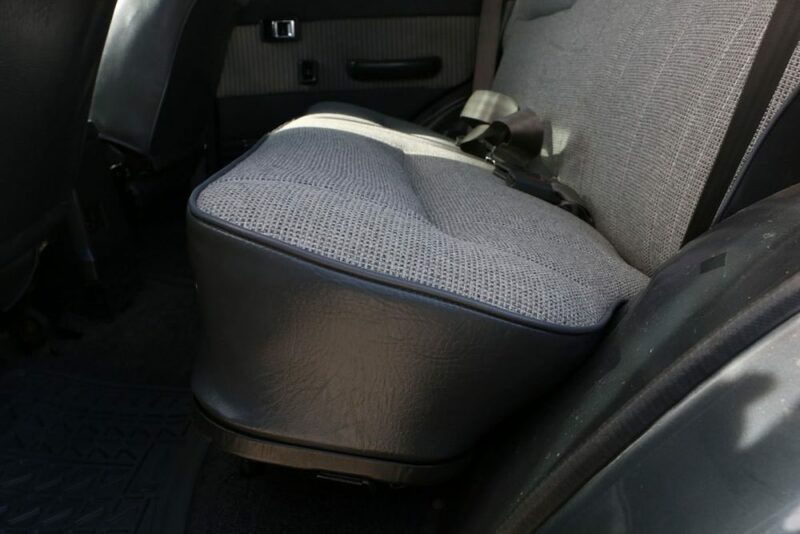 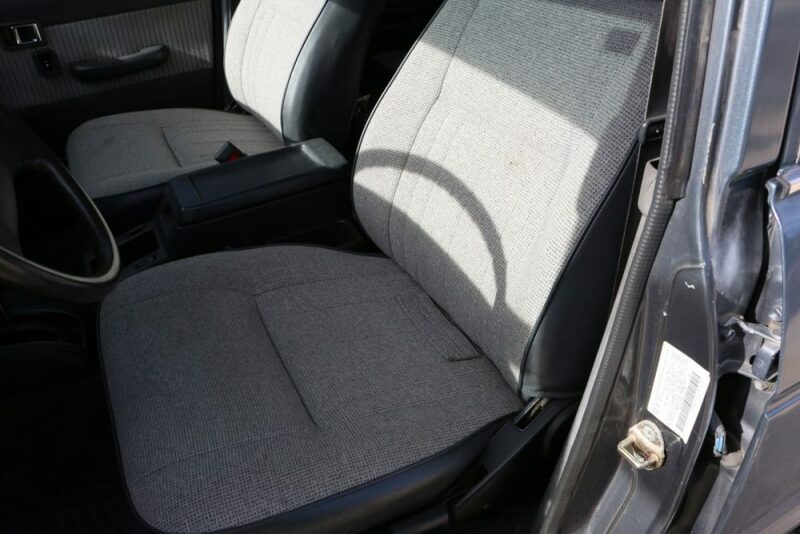 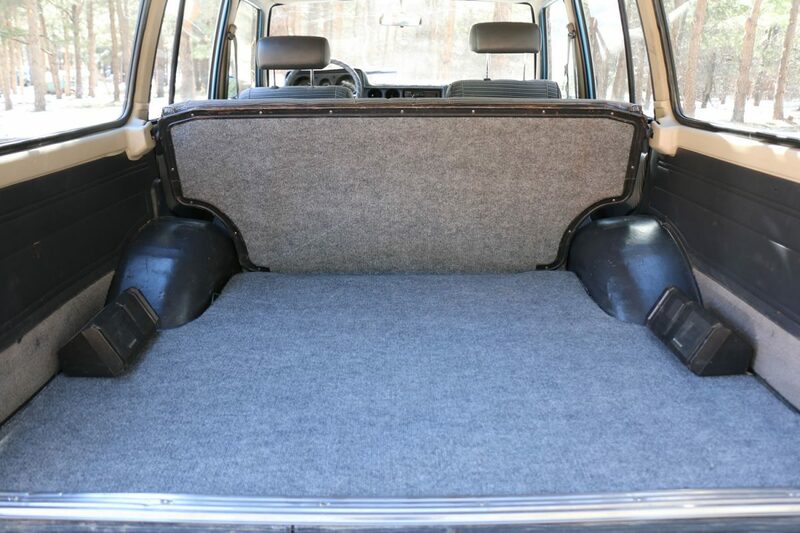 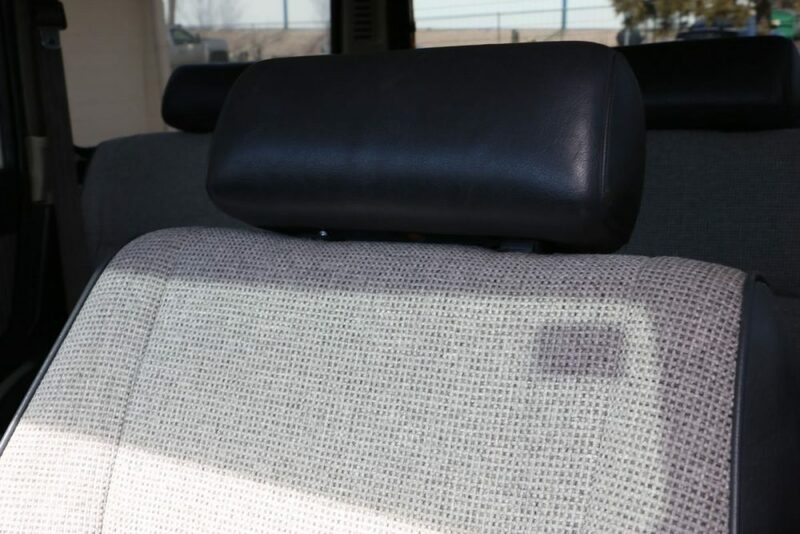 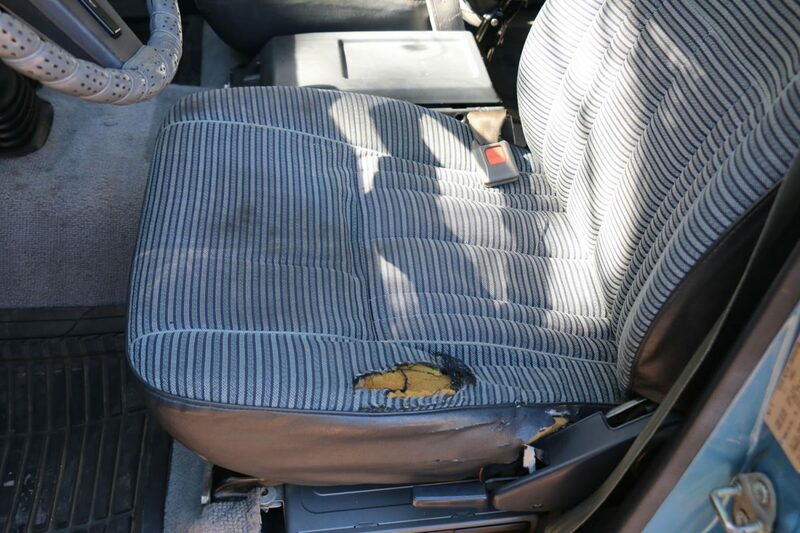 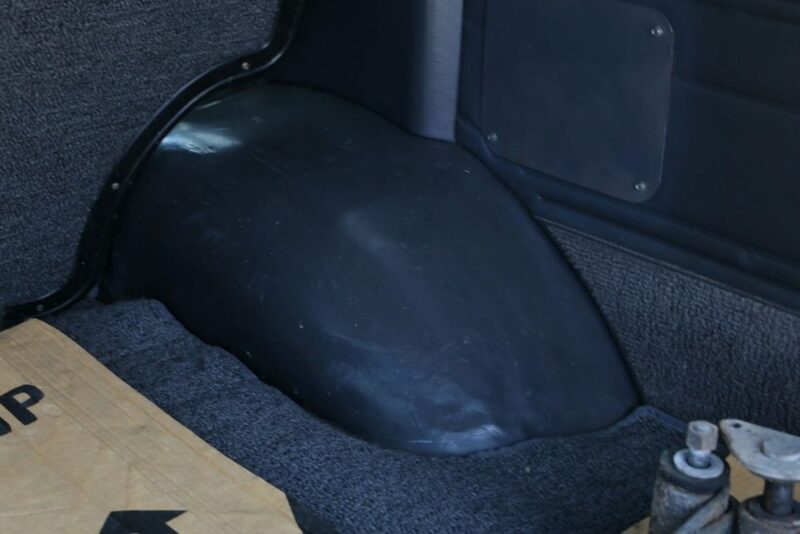 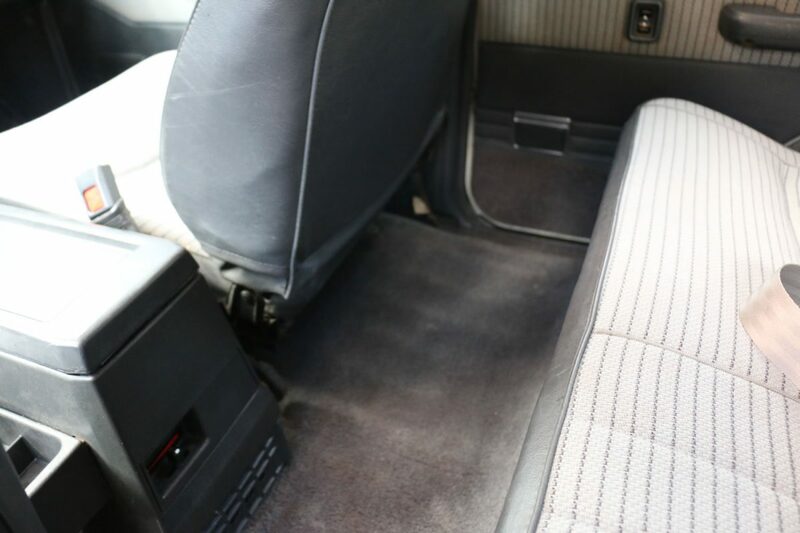 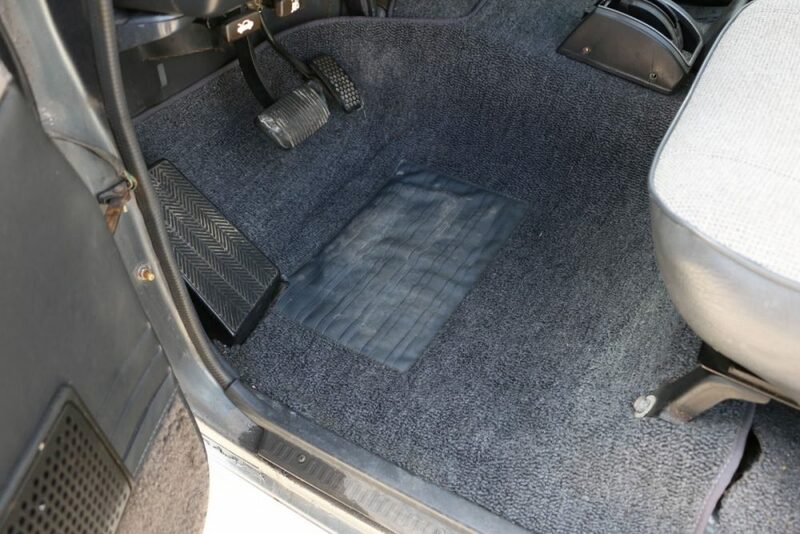 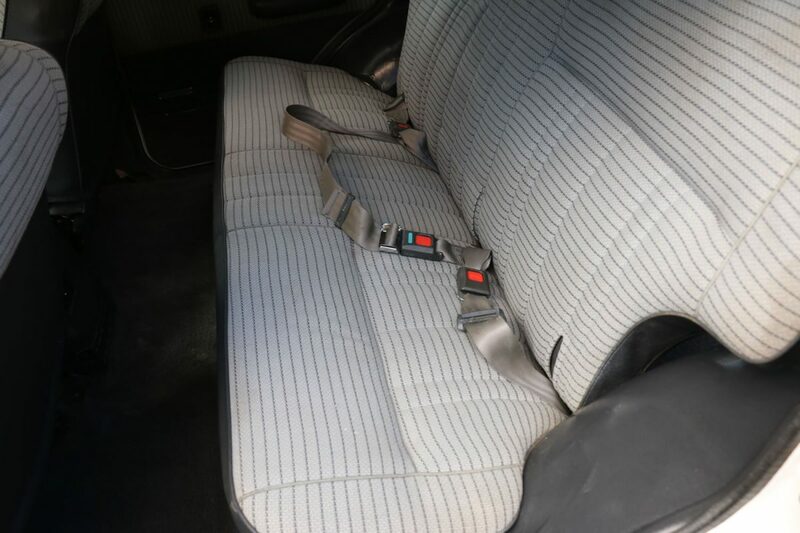 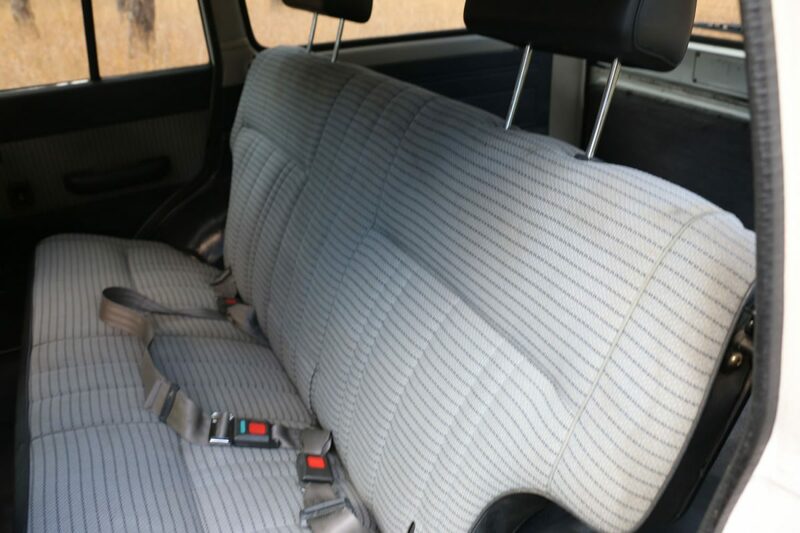 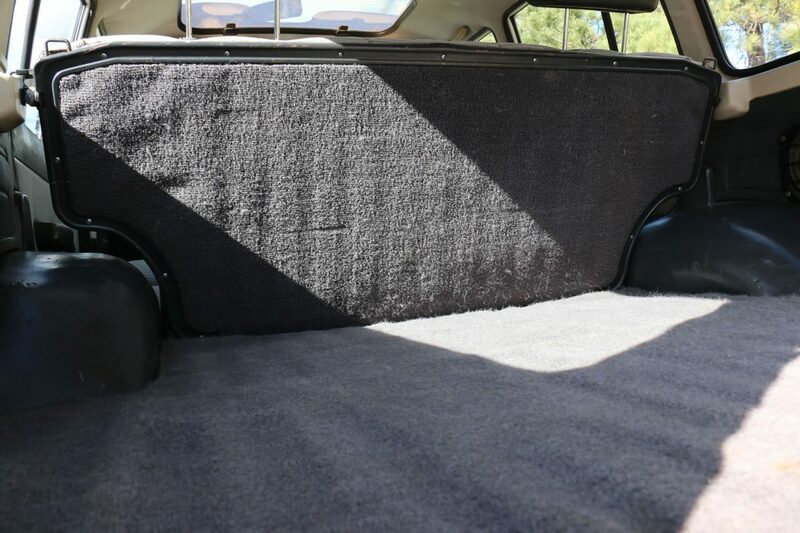 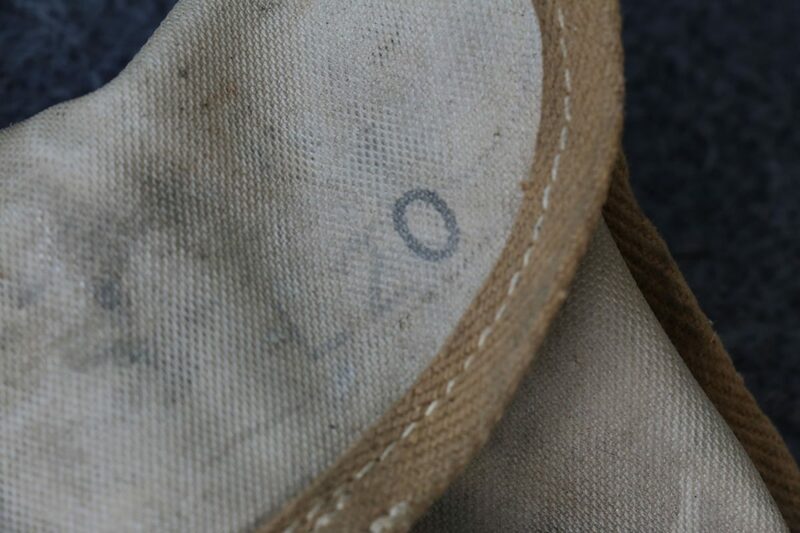 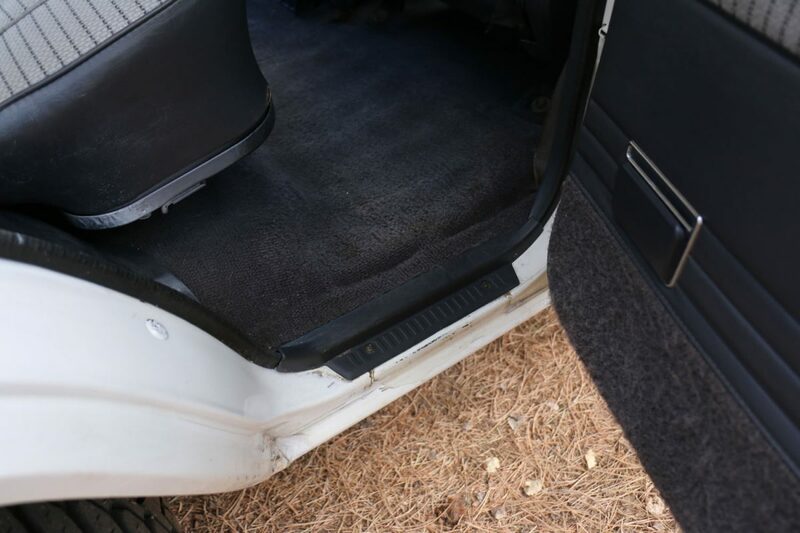 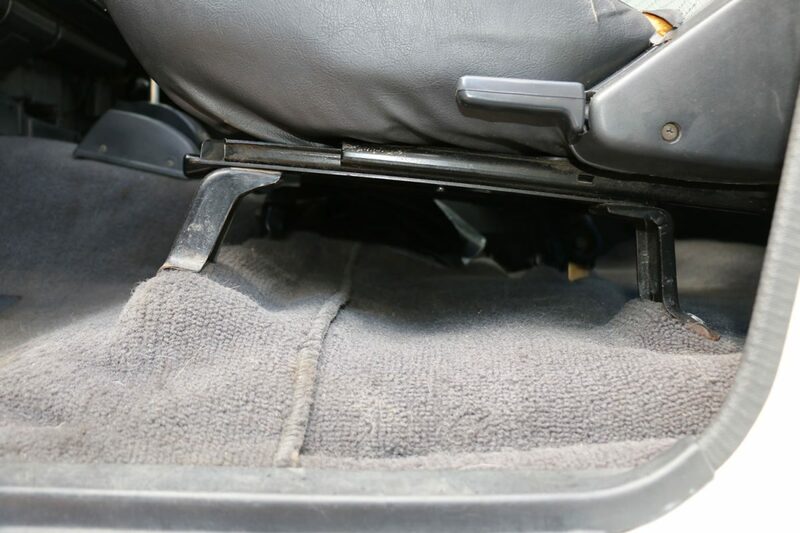 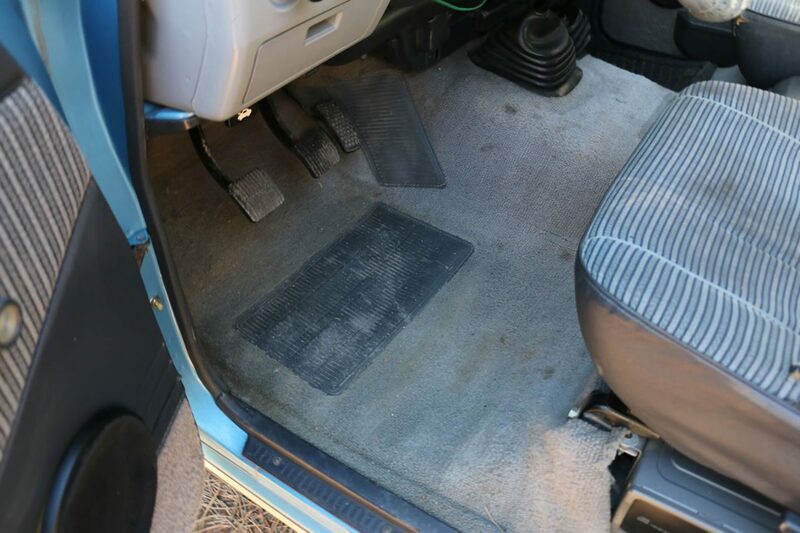 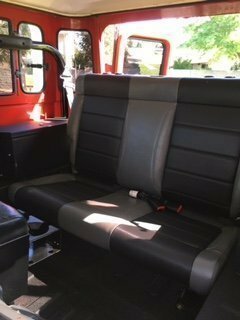 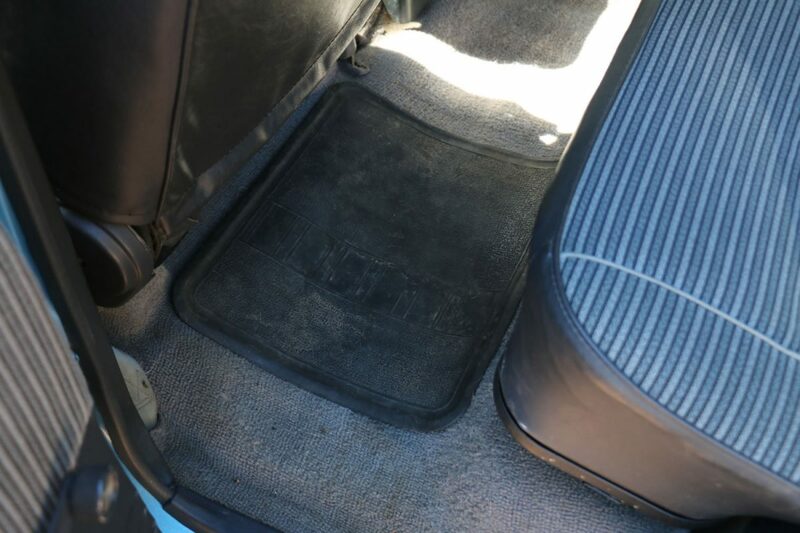 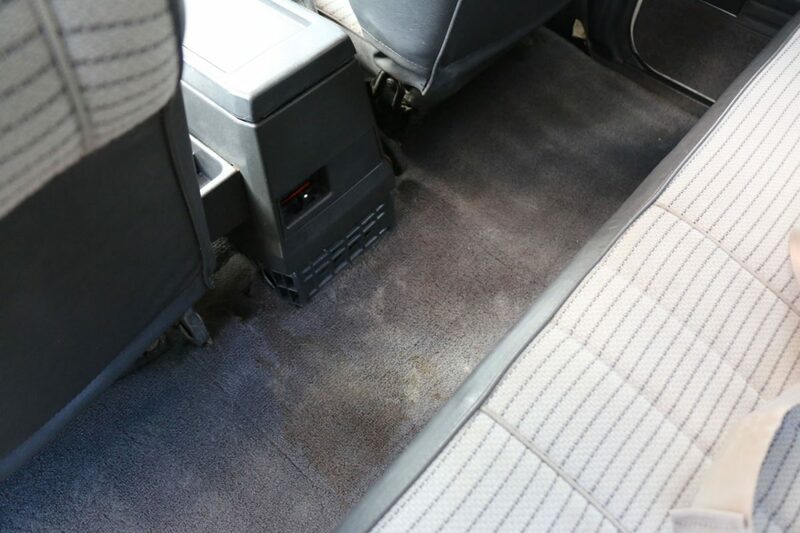 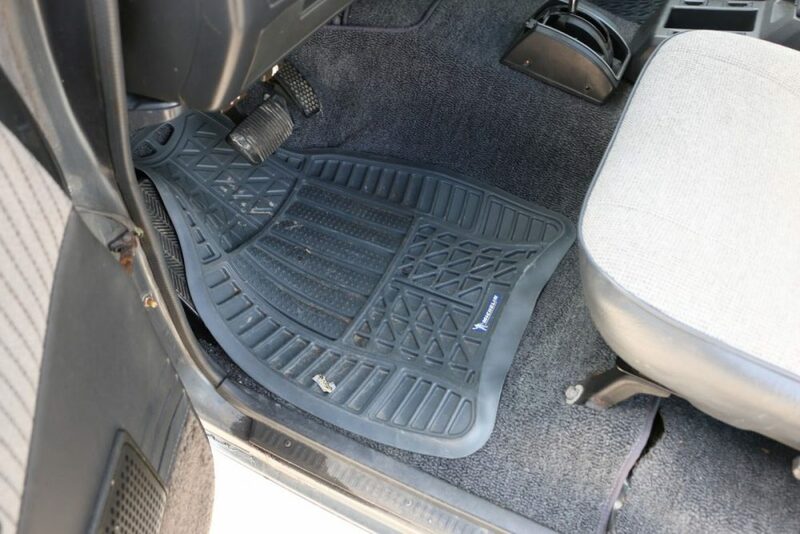 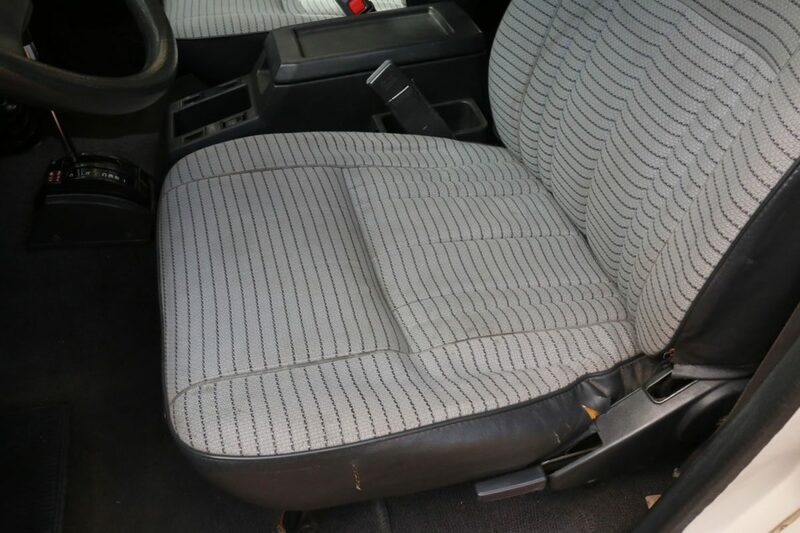 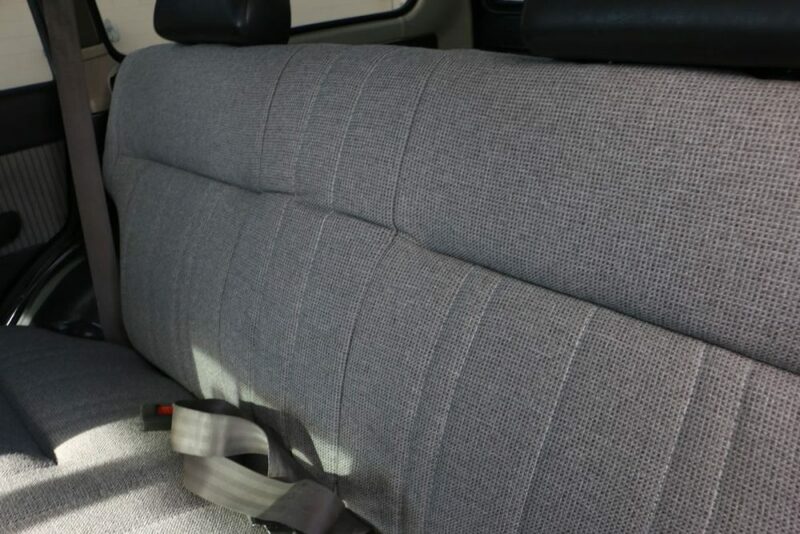 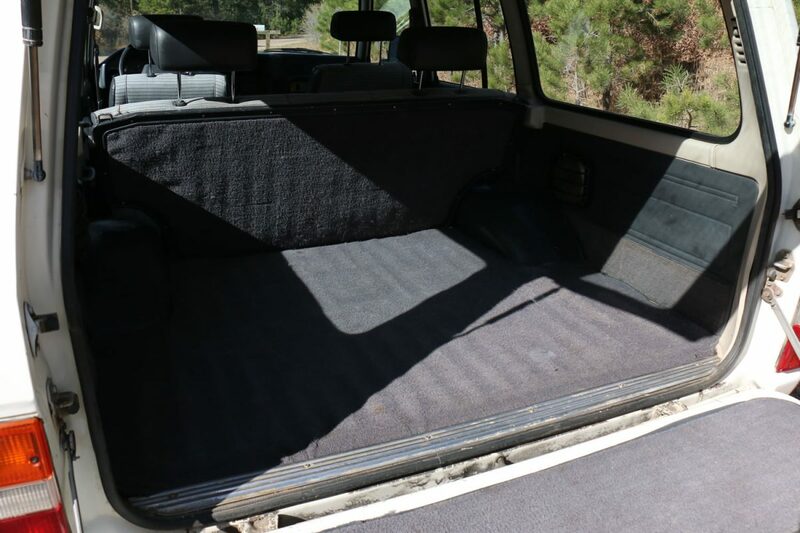 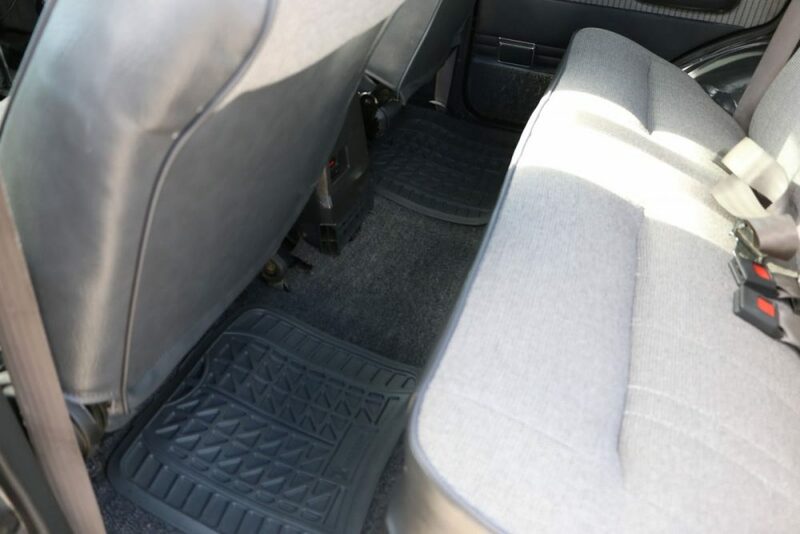 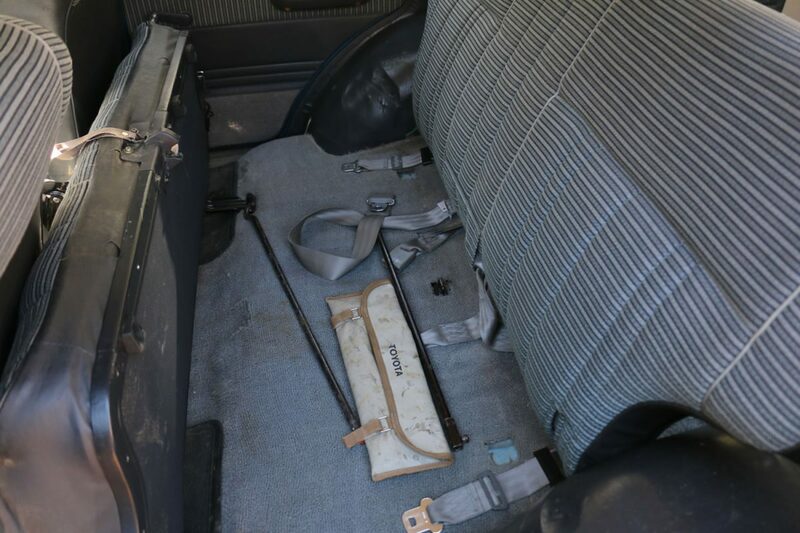 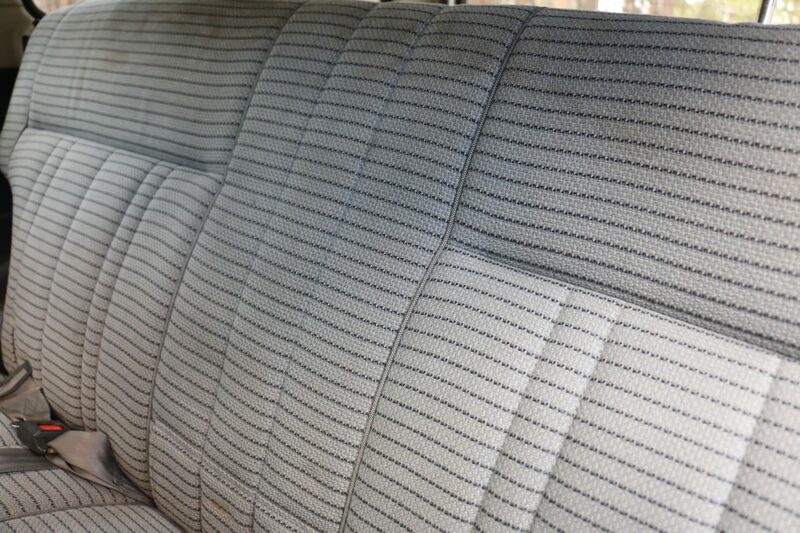 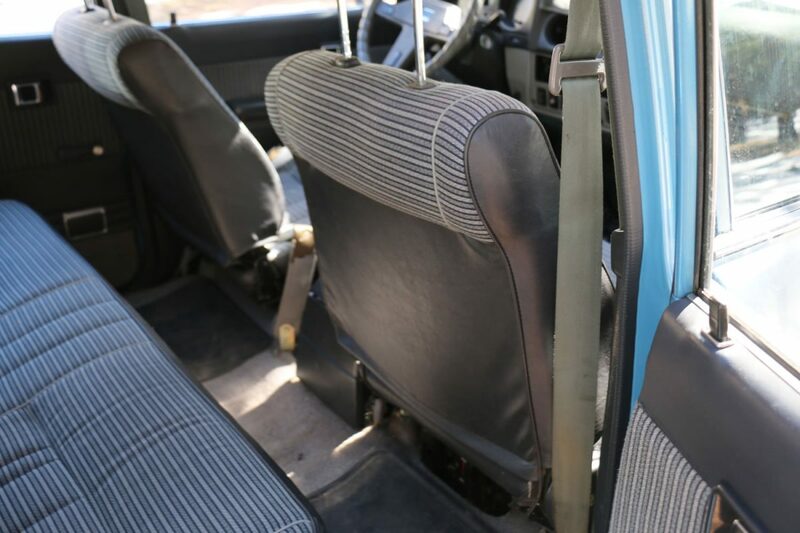 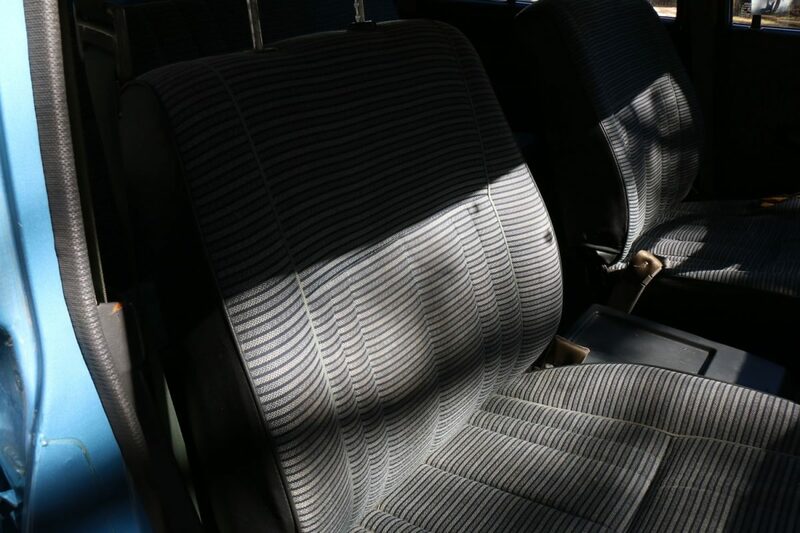 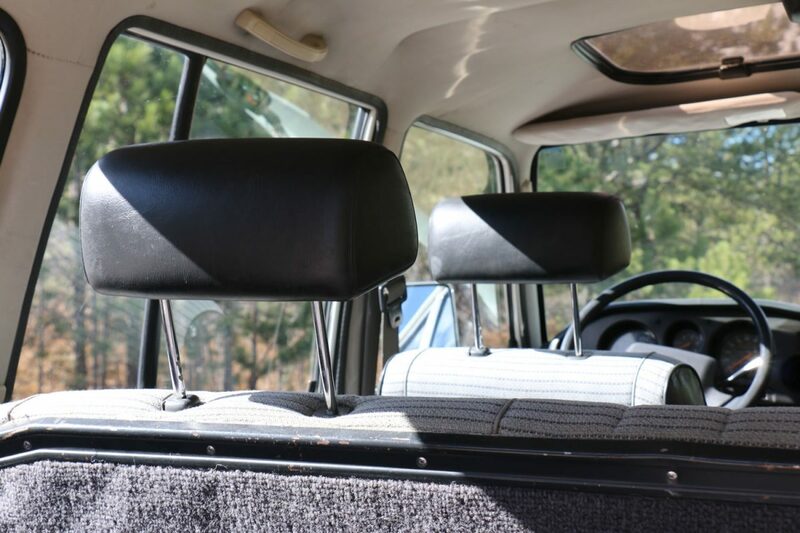 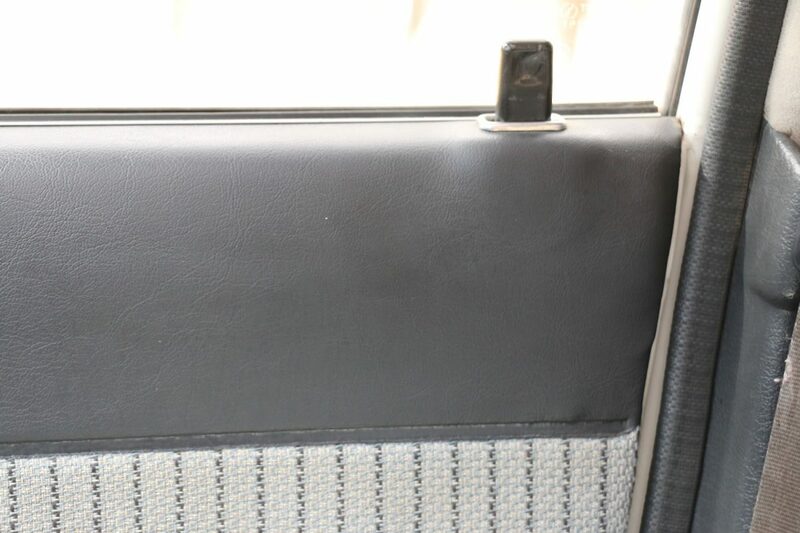 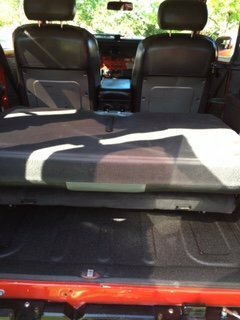 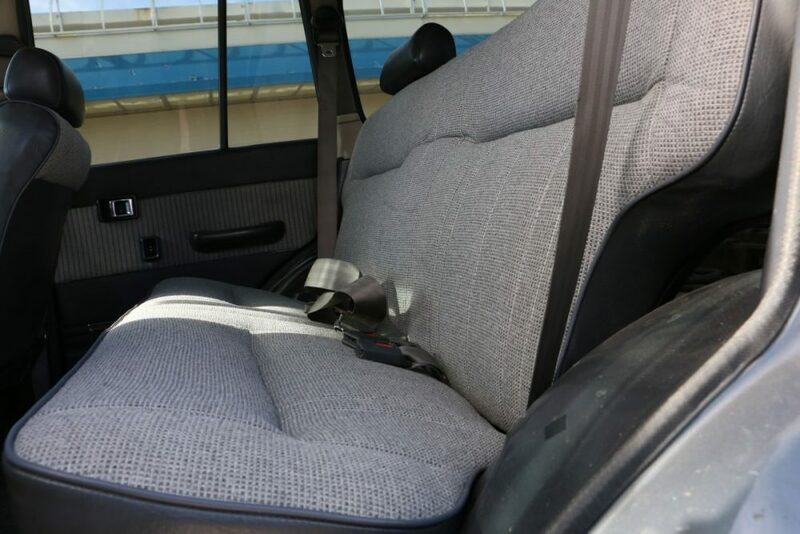 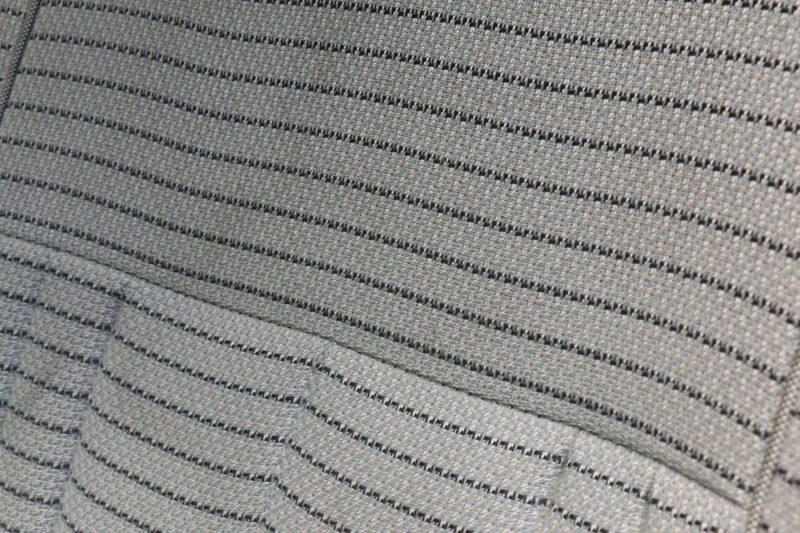 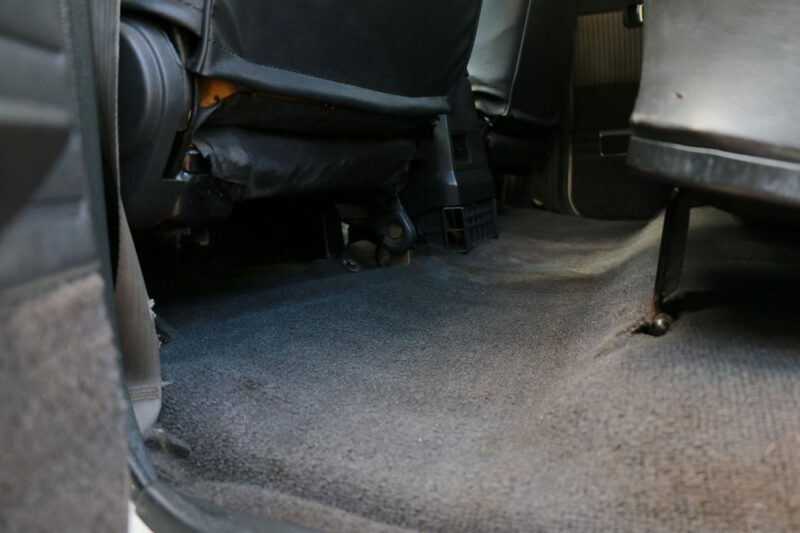 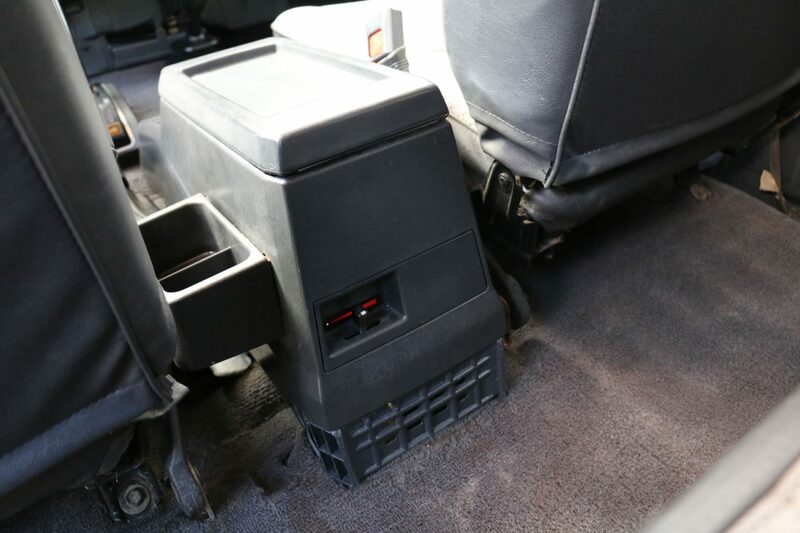 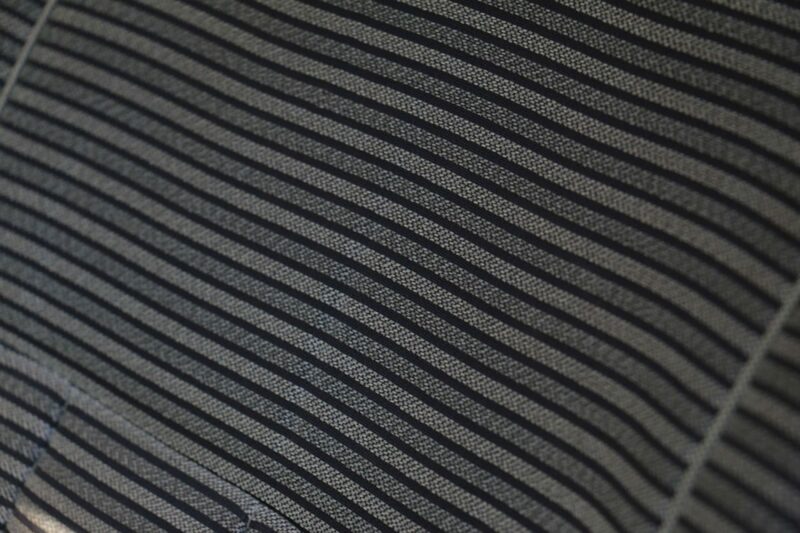 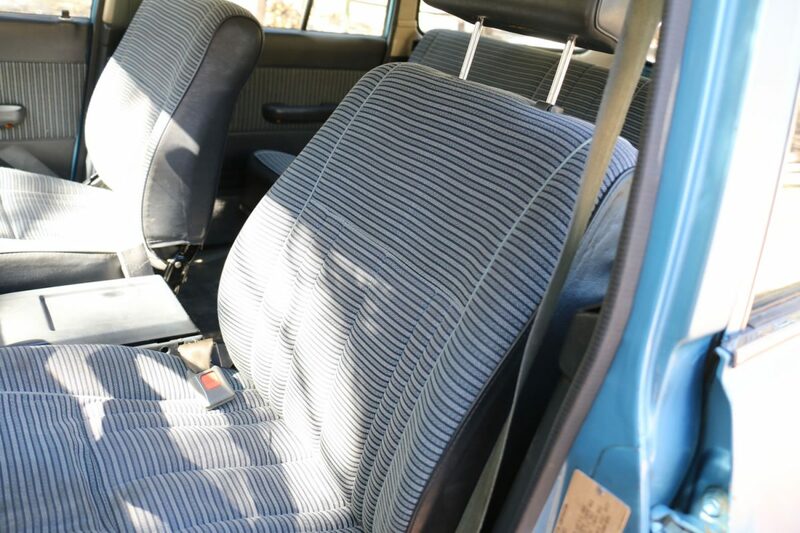 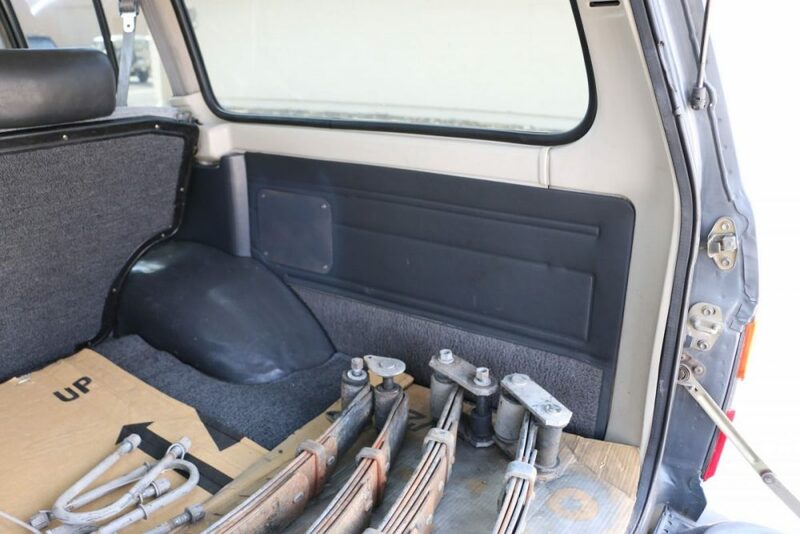 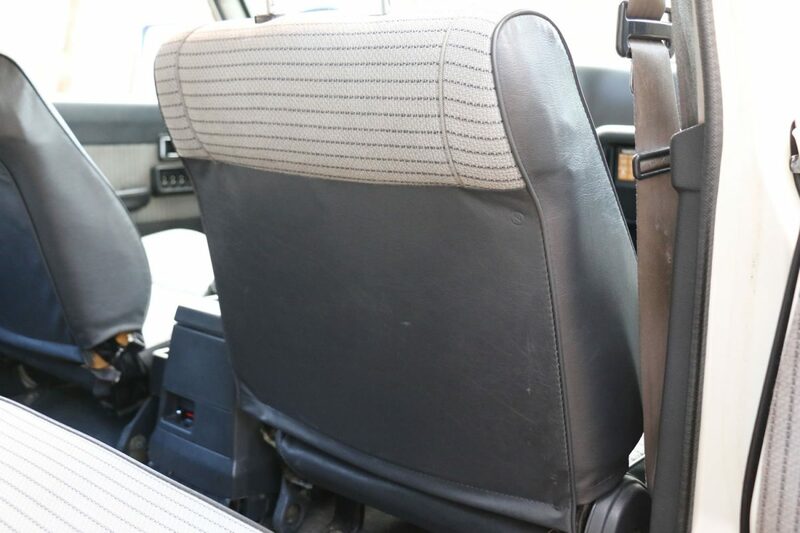 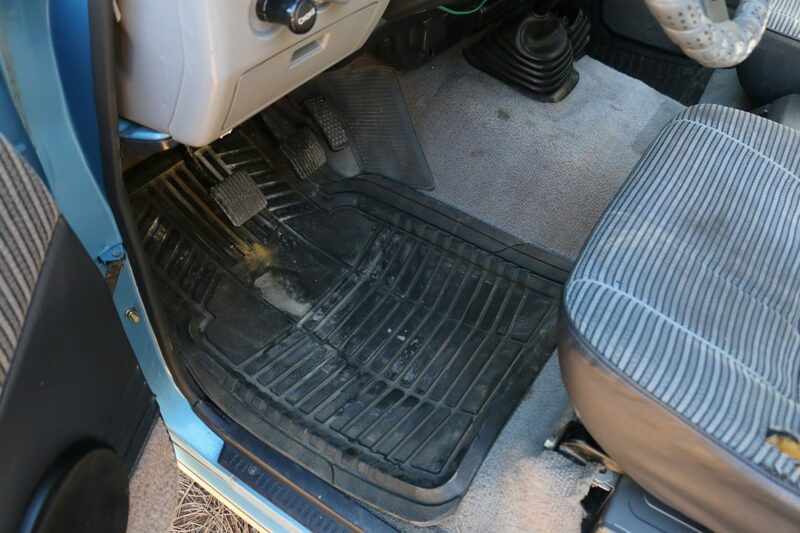 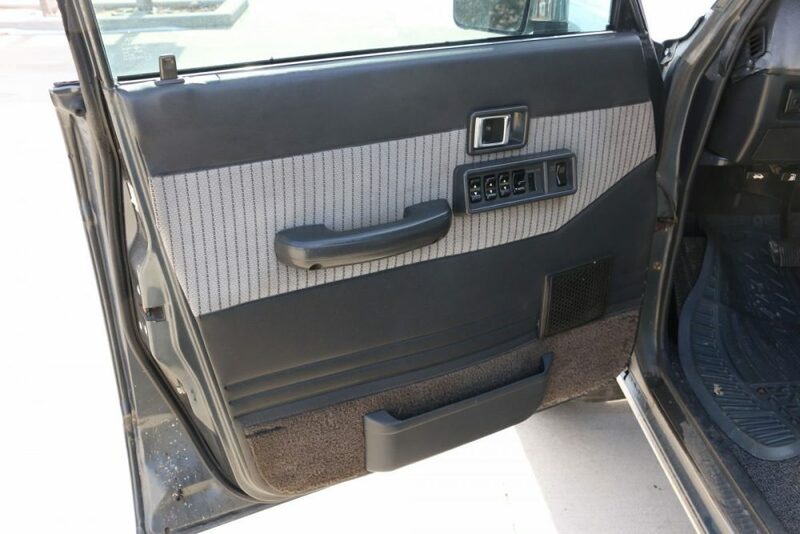 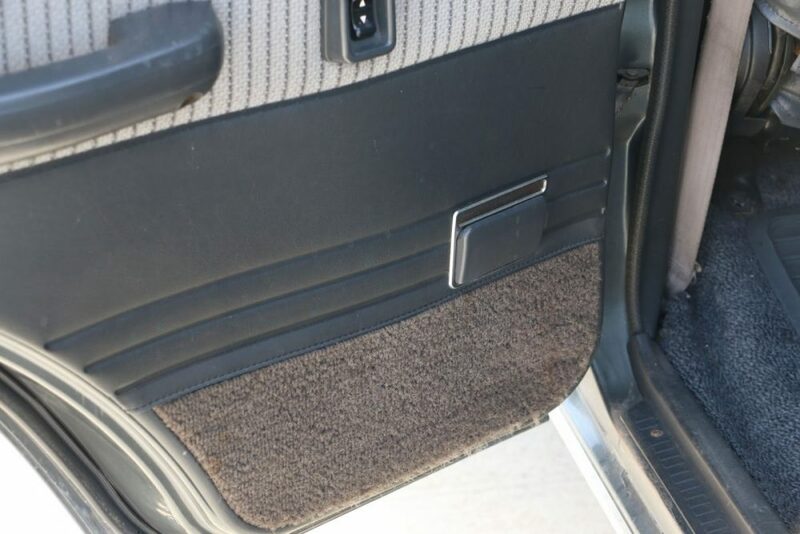 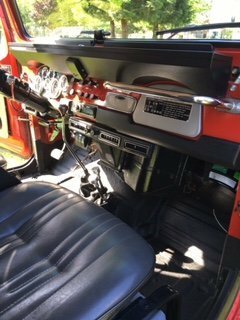 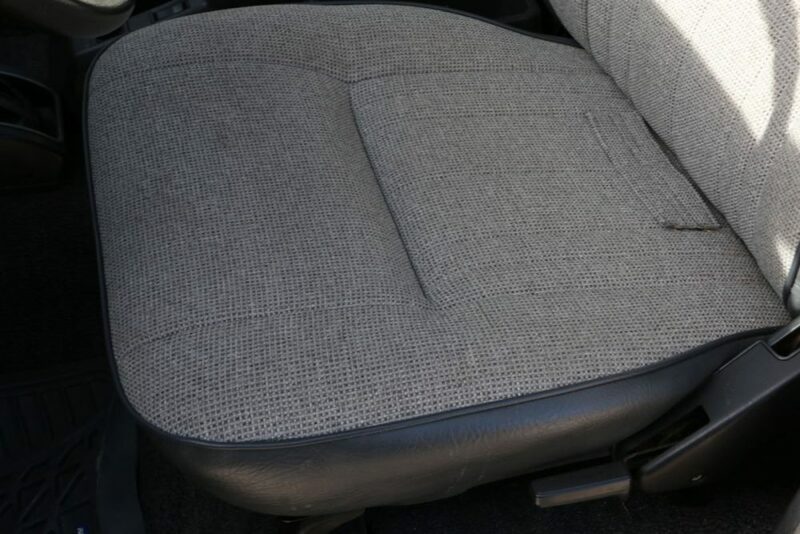 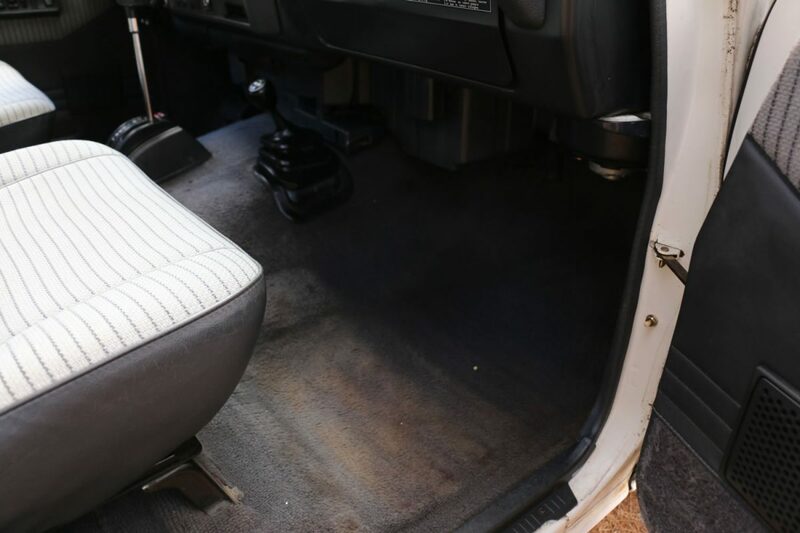 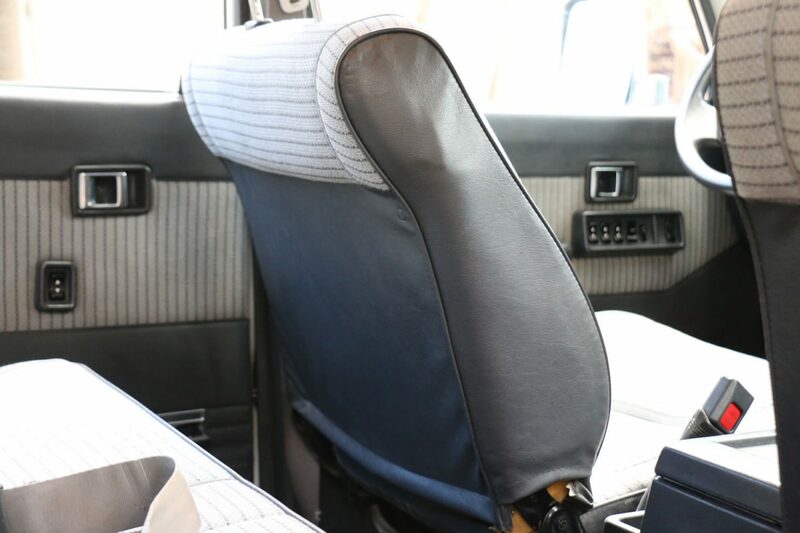 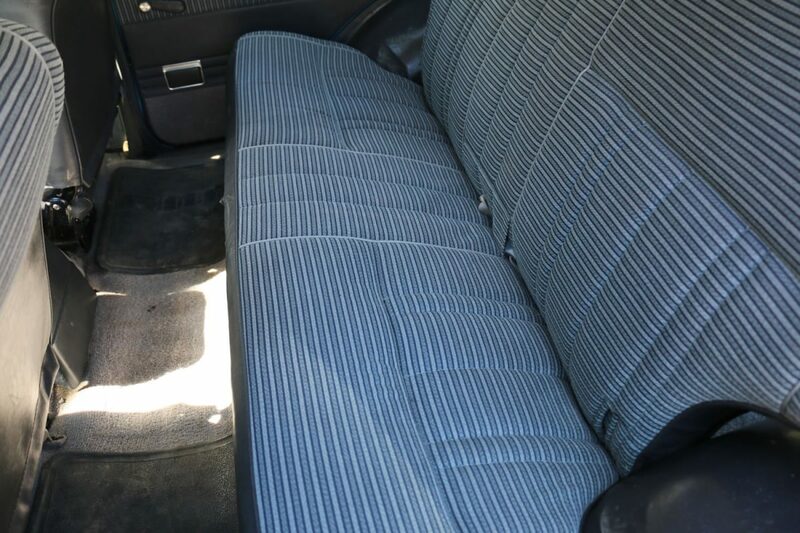 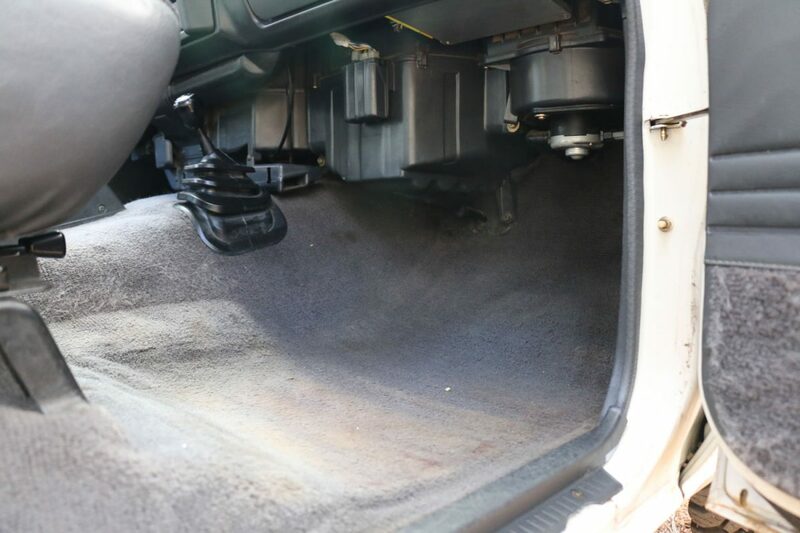 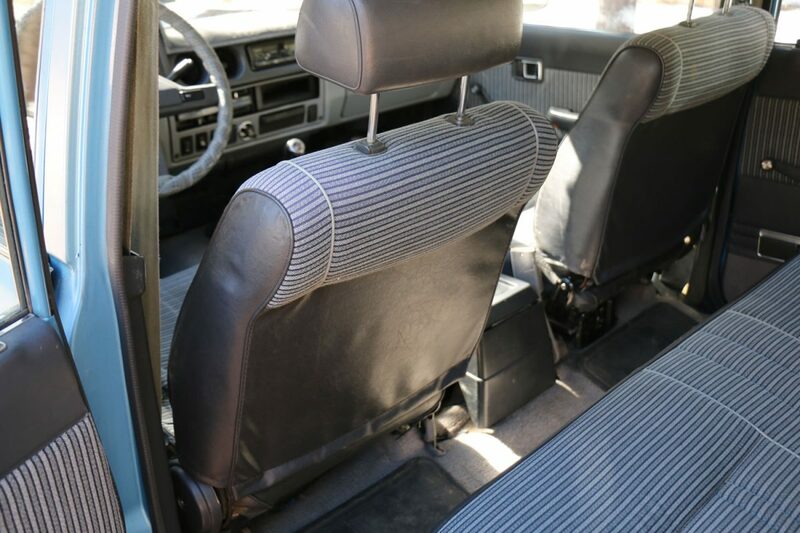 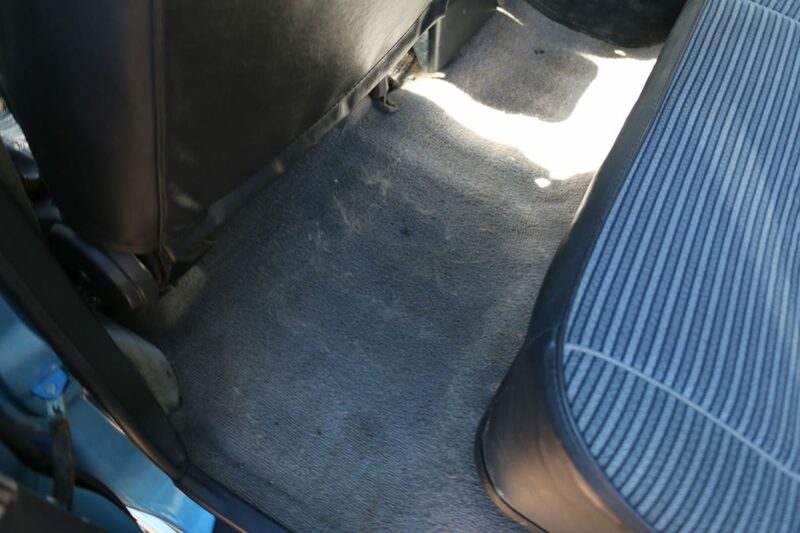 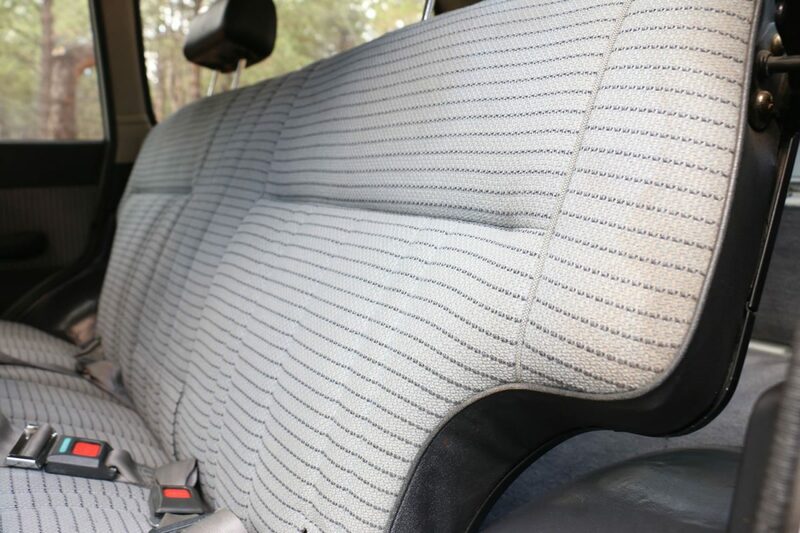 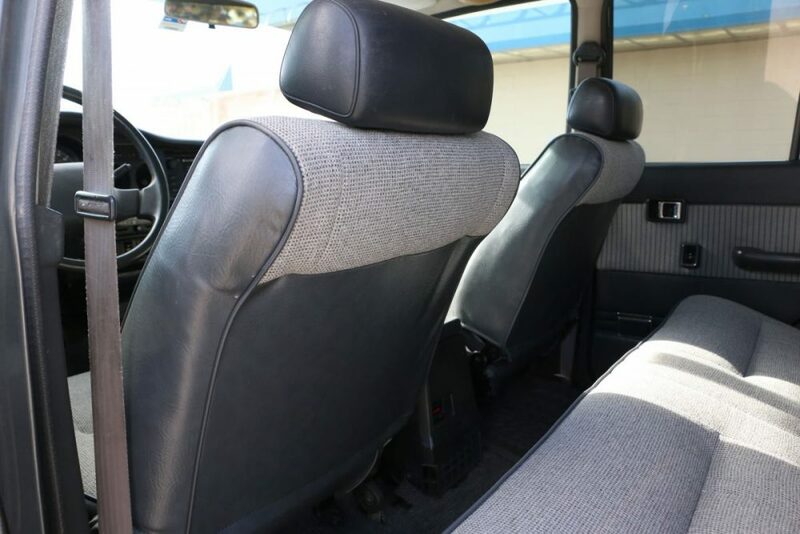 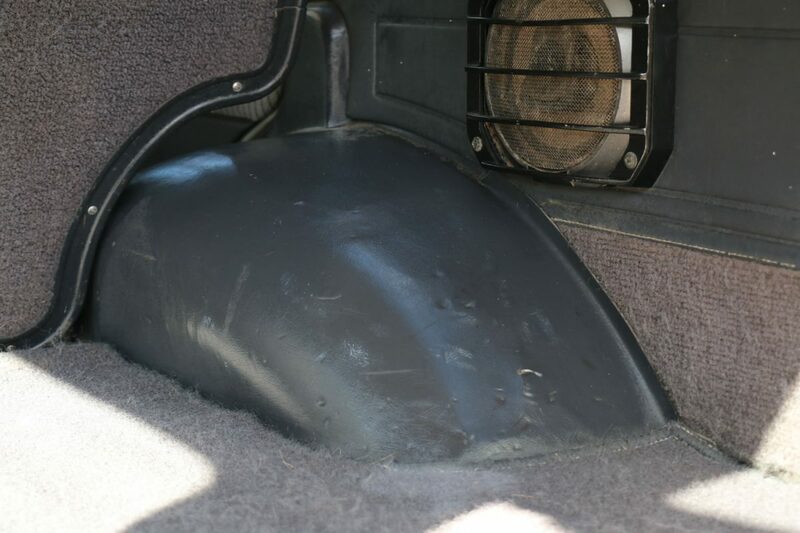 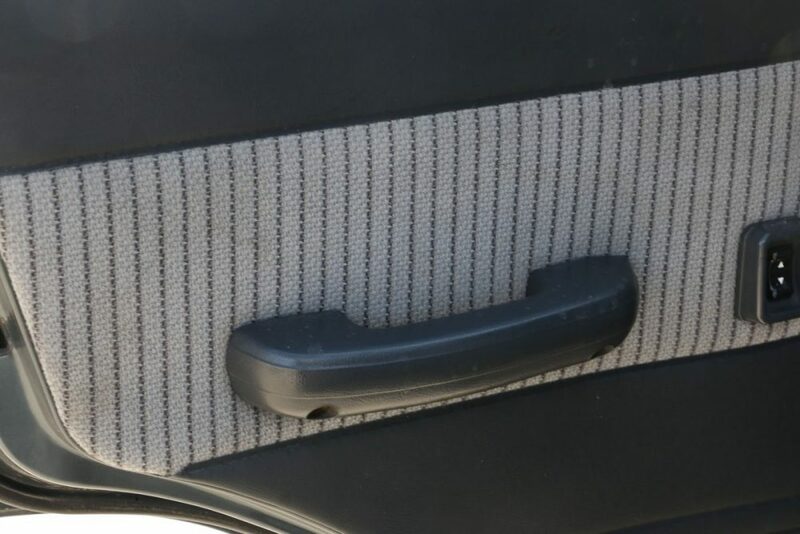 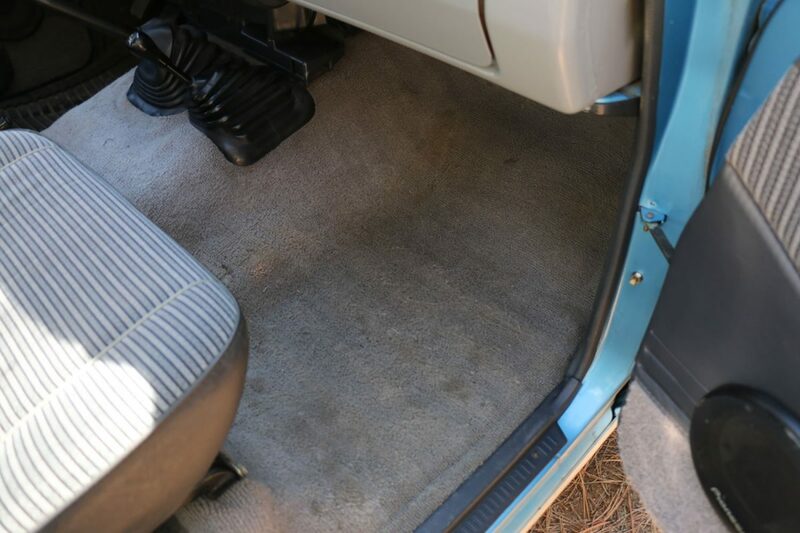 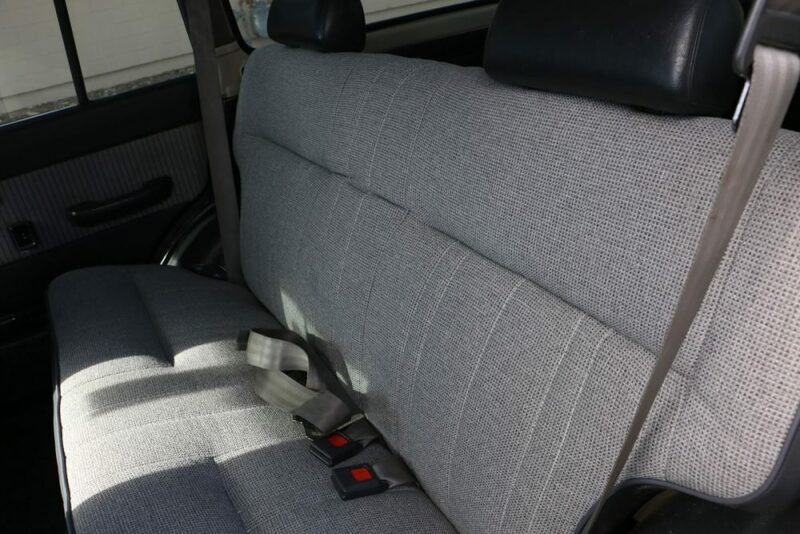 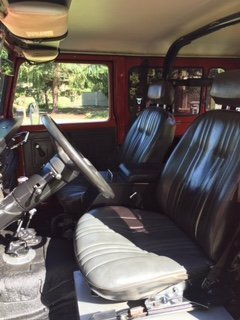 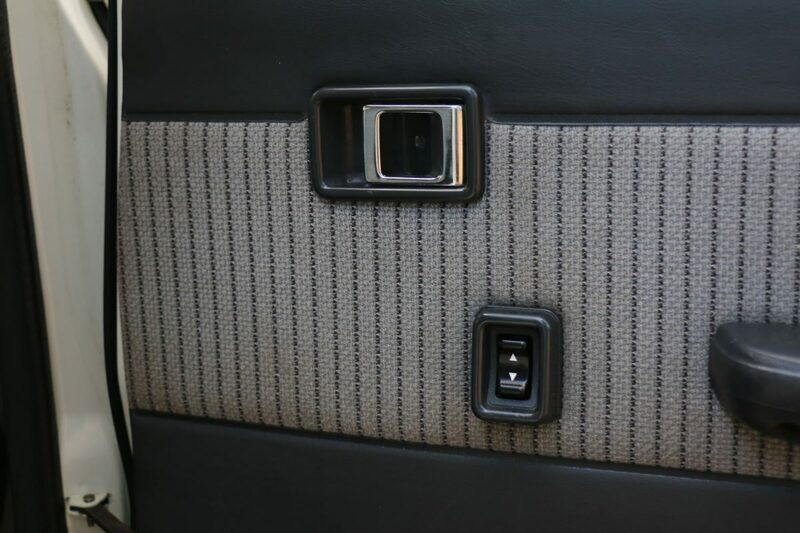 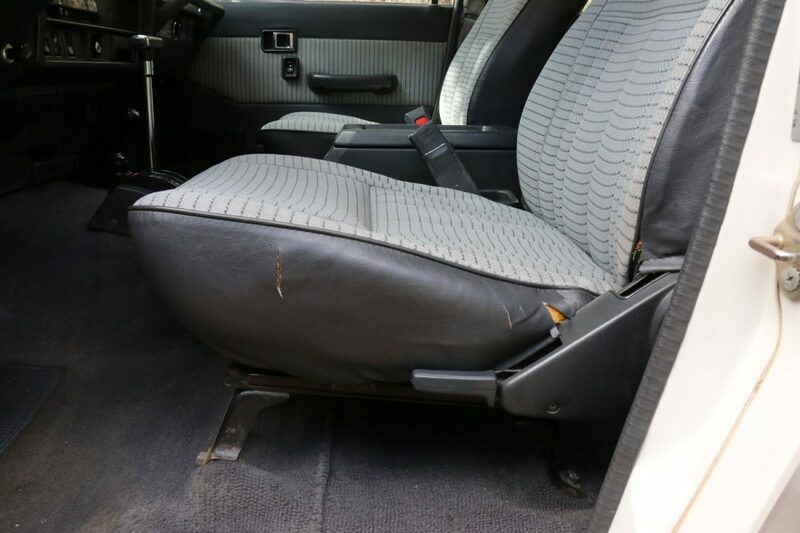 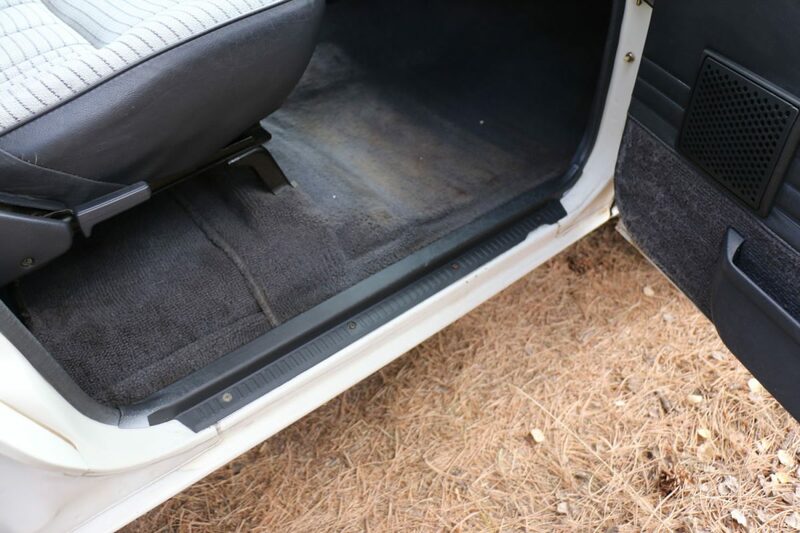 The interior, including the carpet and the original upholstery, is very clean and in excellent shape. 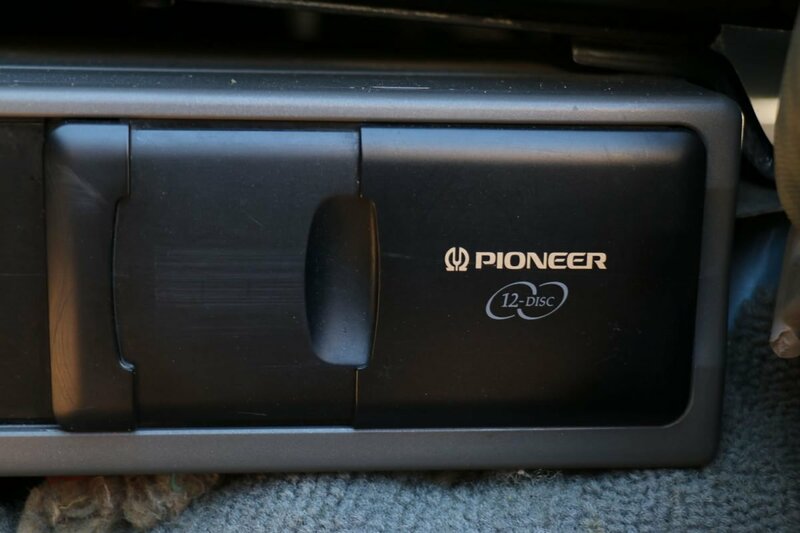 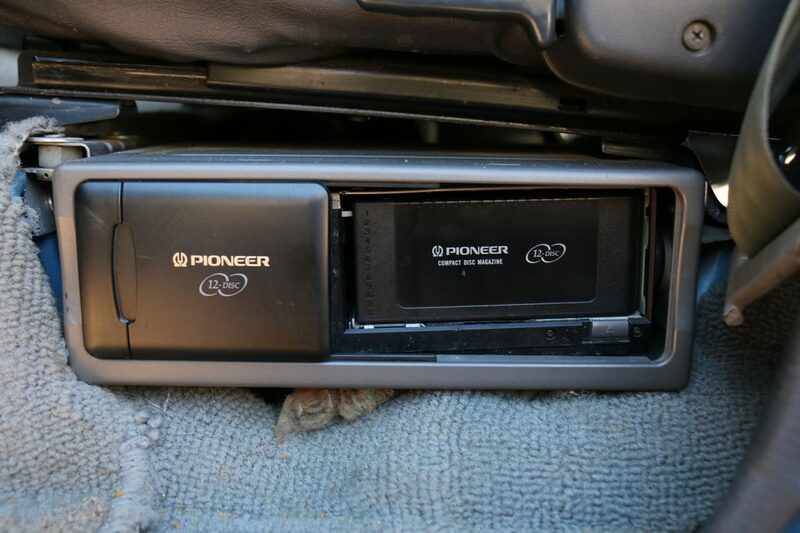 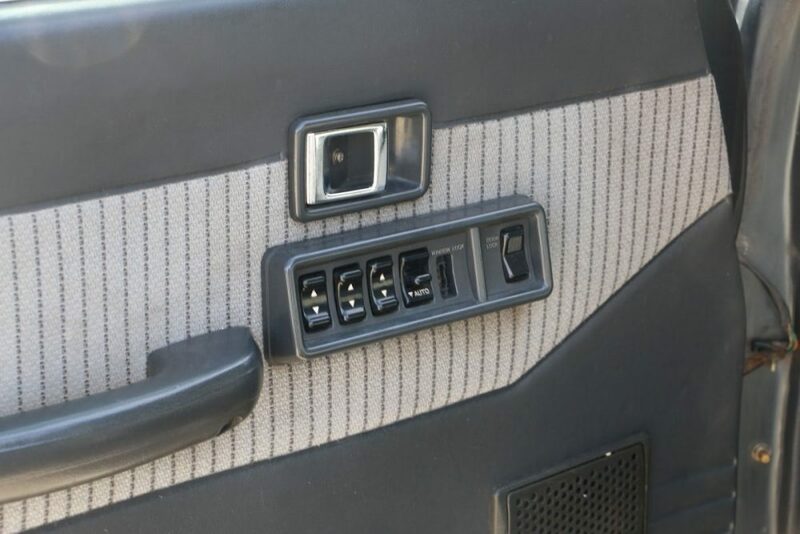 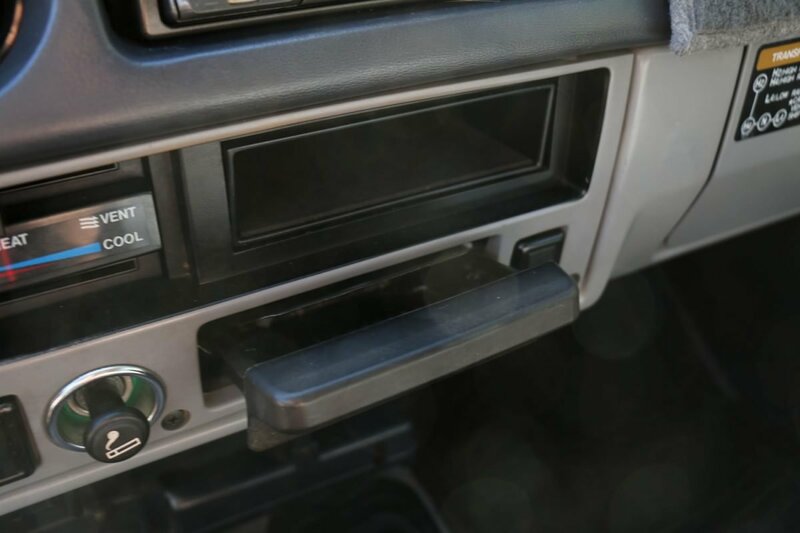 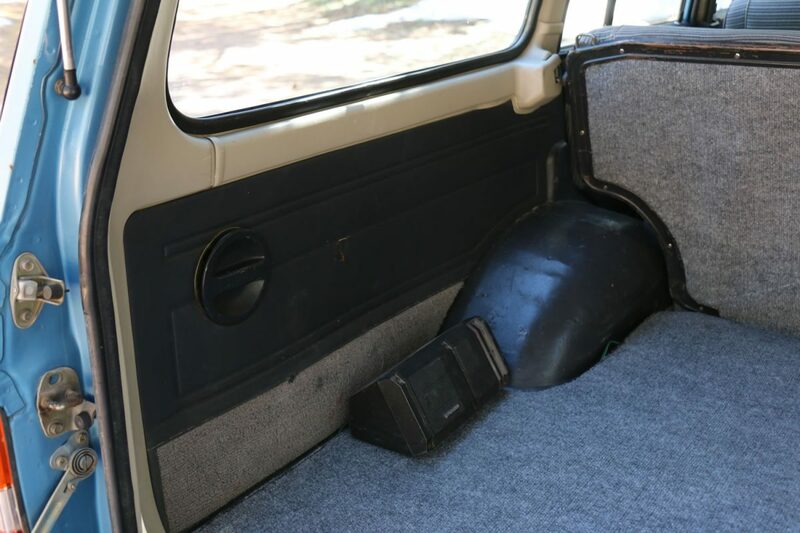 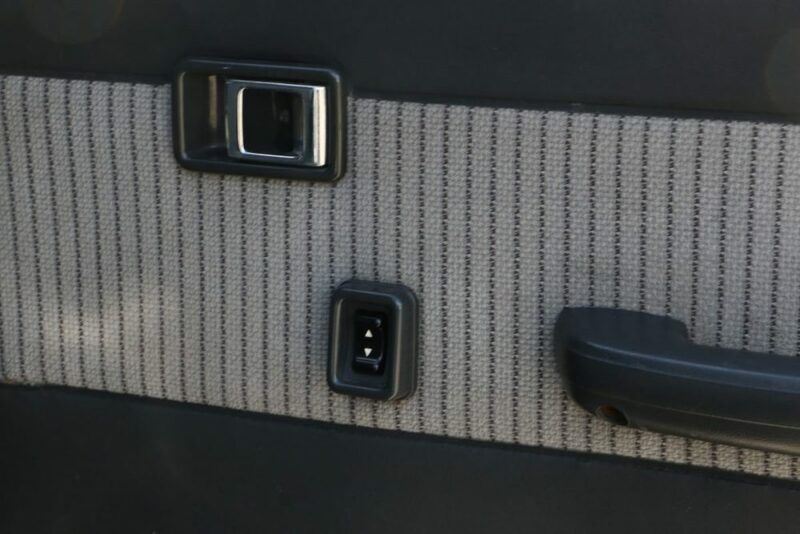 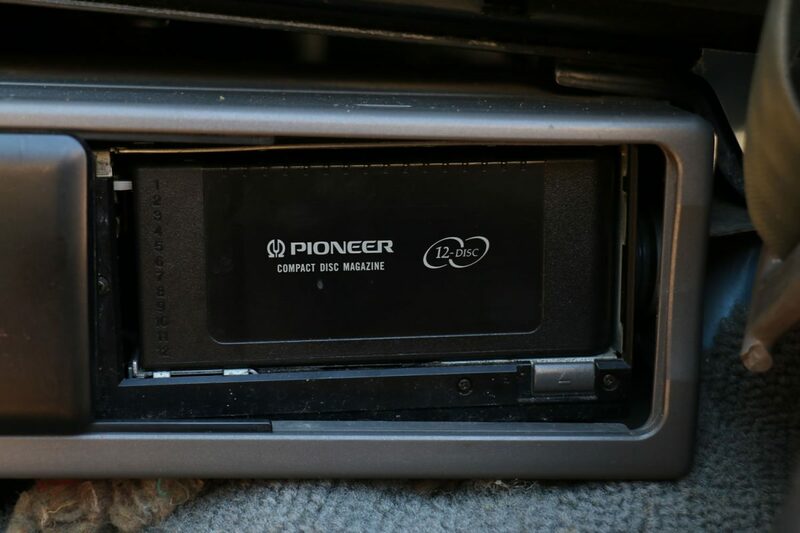 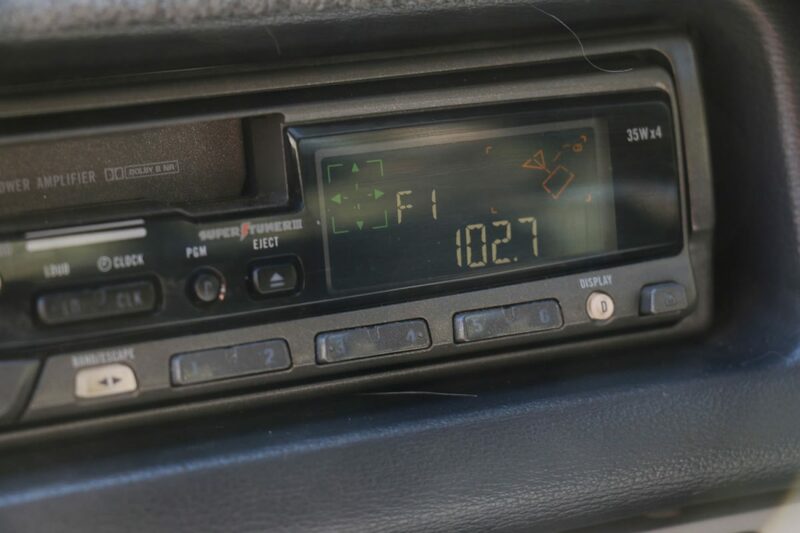 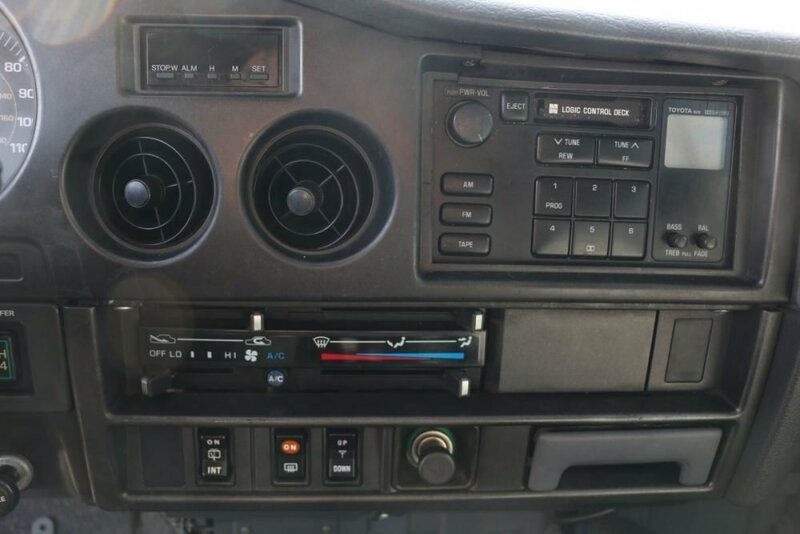 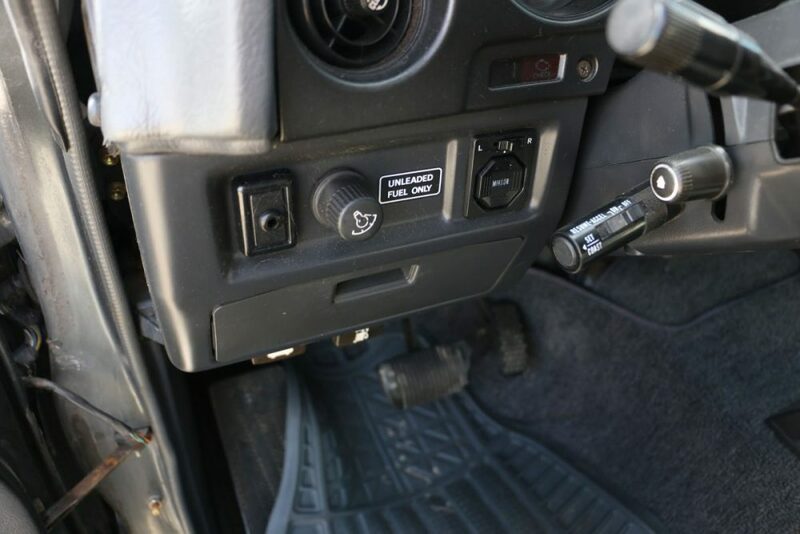 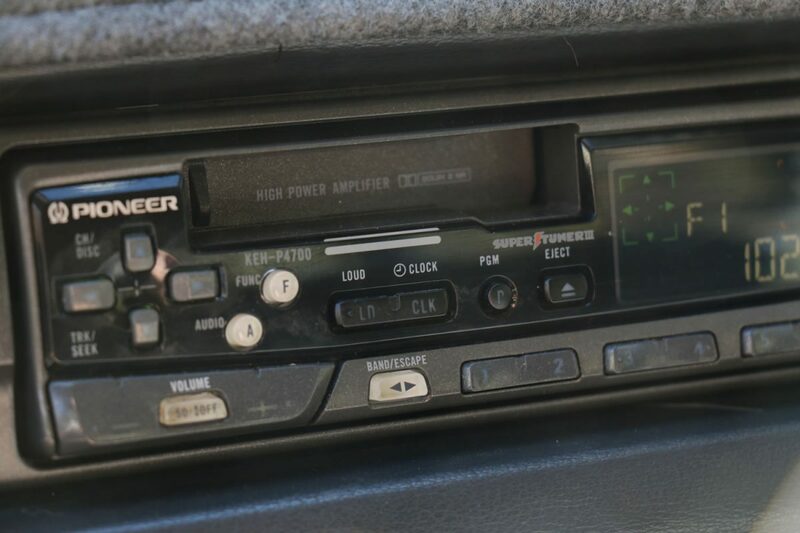 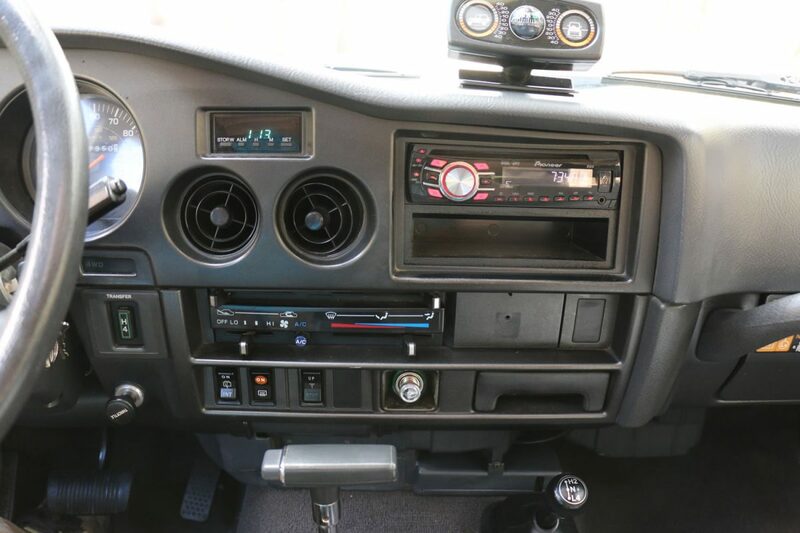 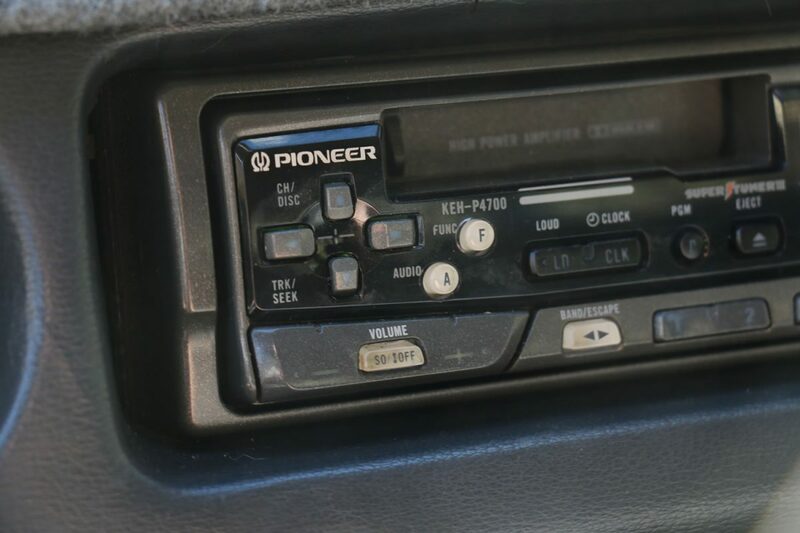 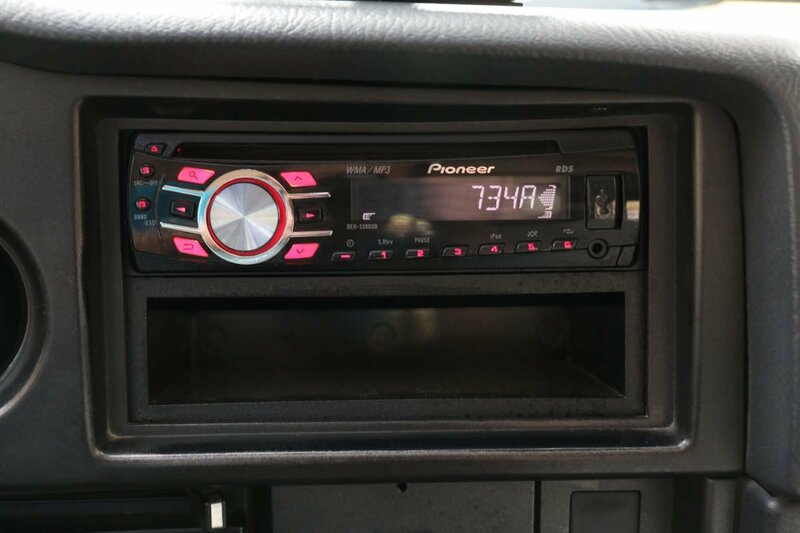 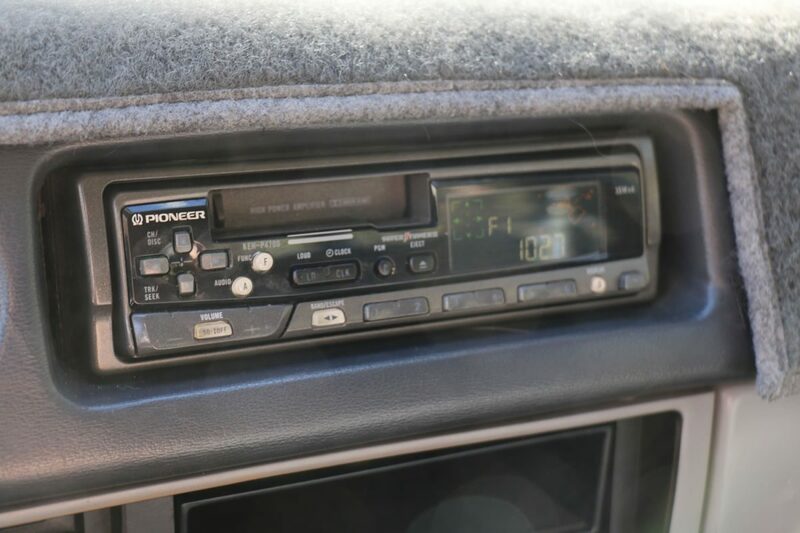 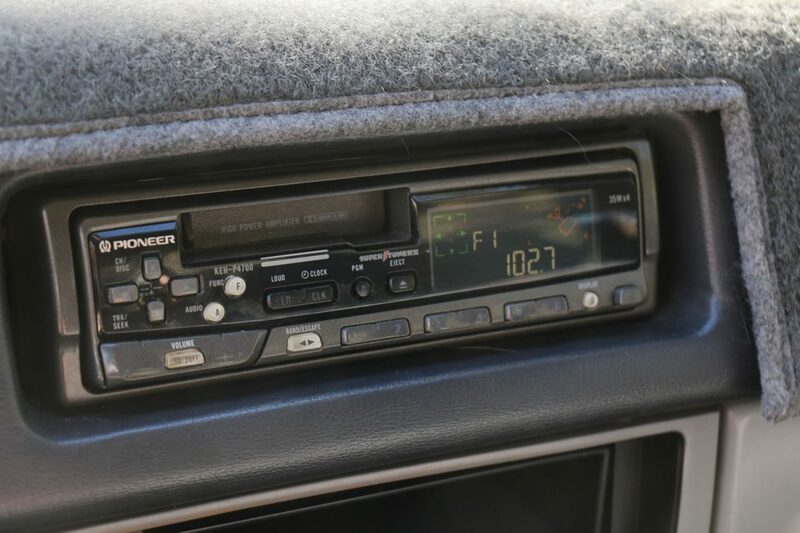 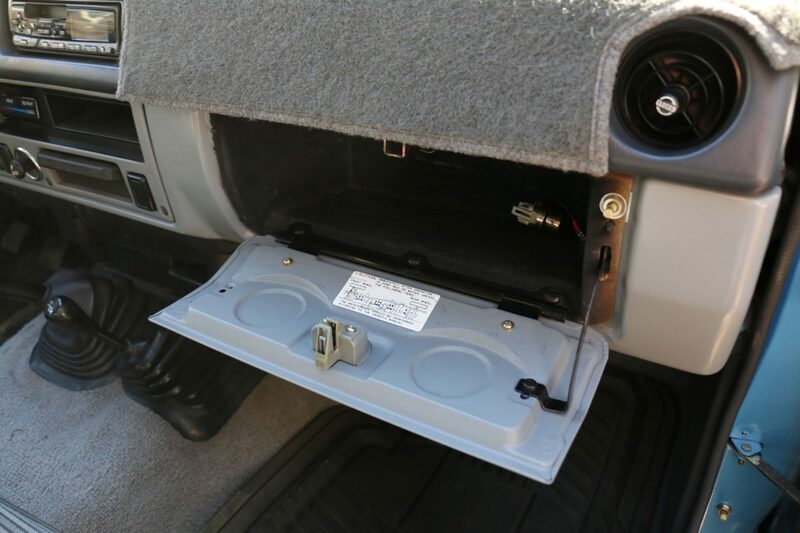 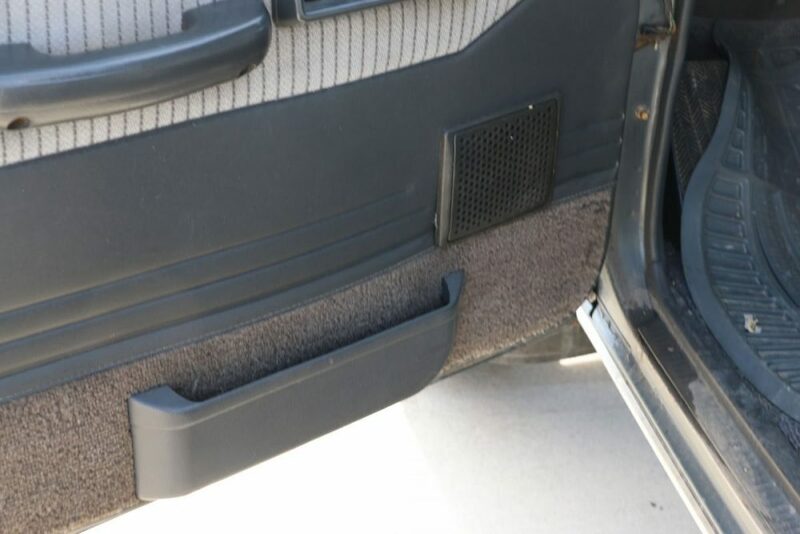 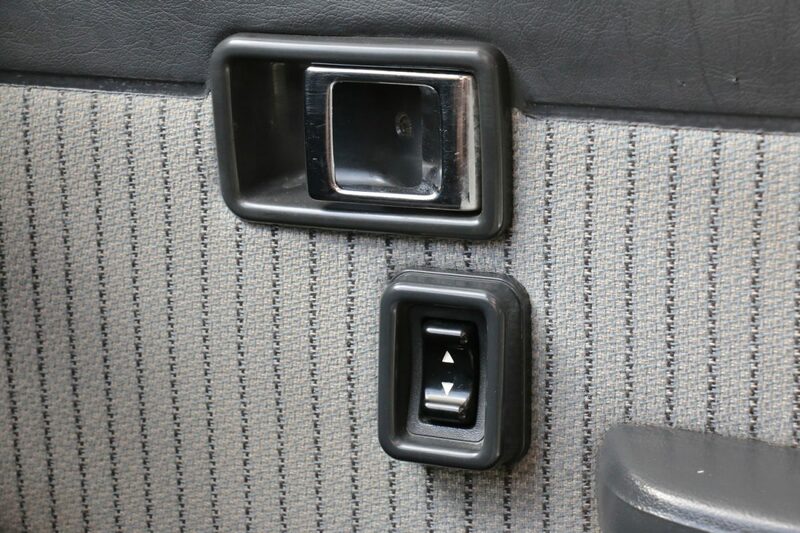 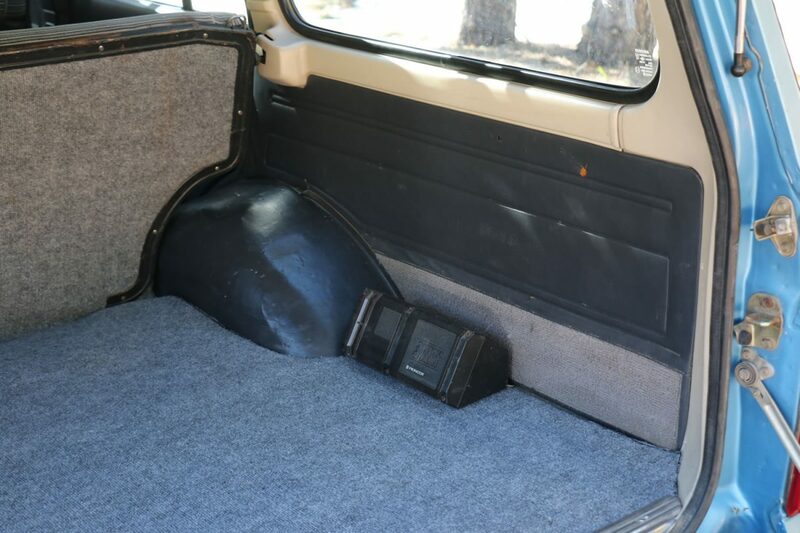 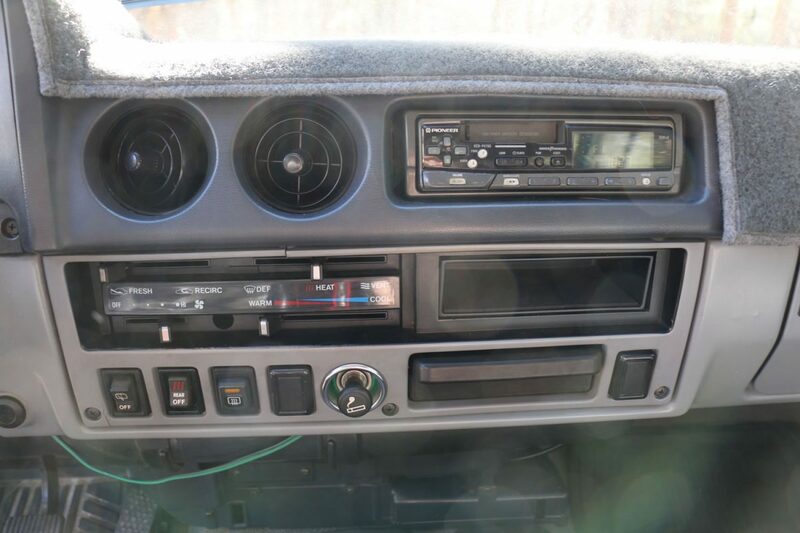 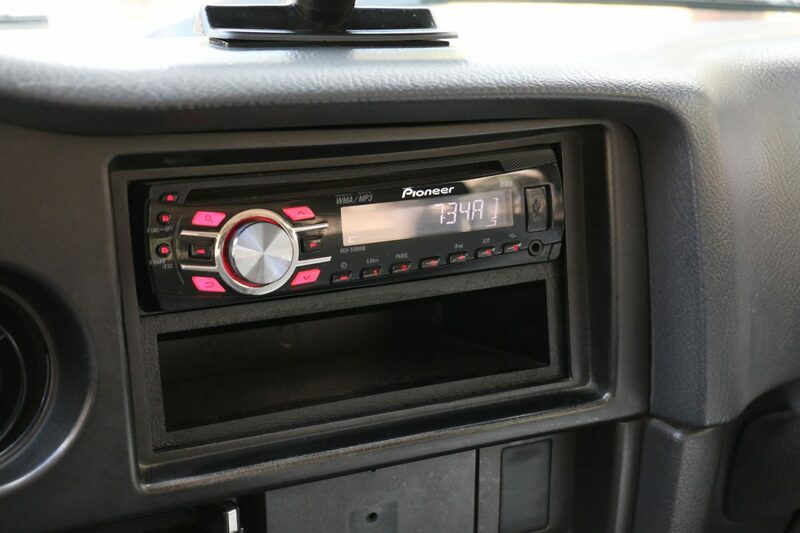 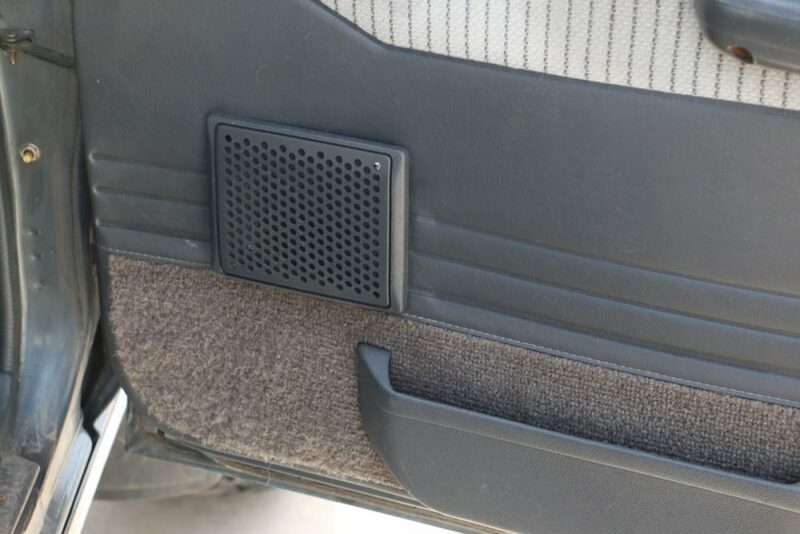 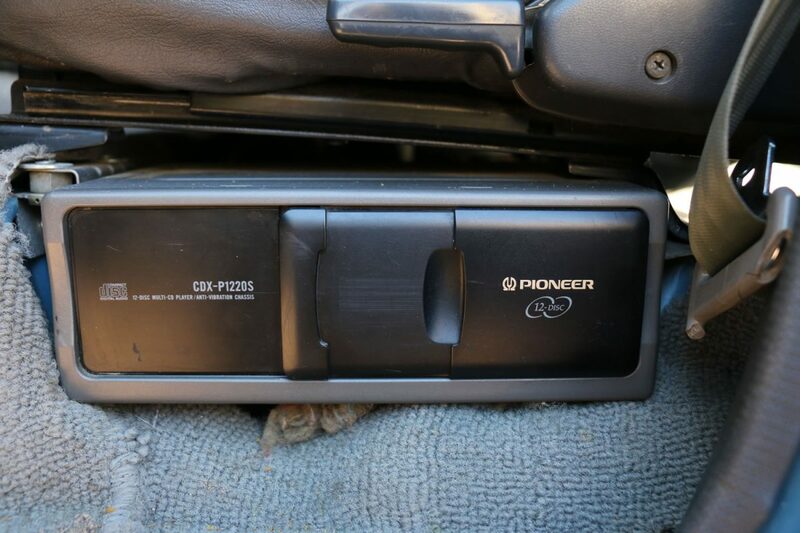 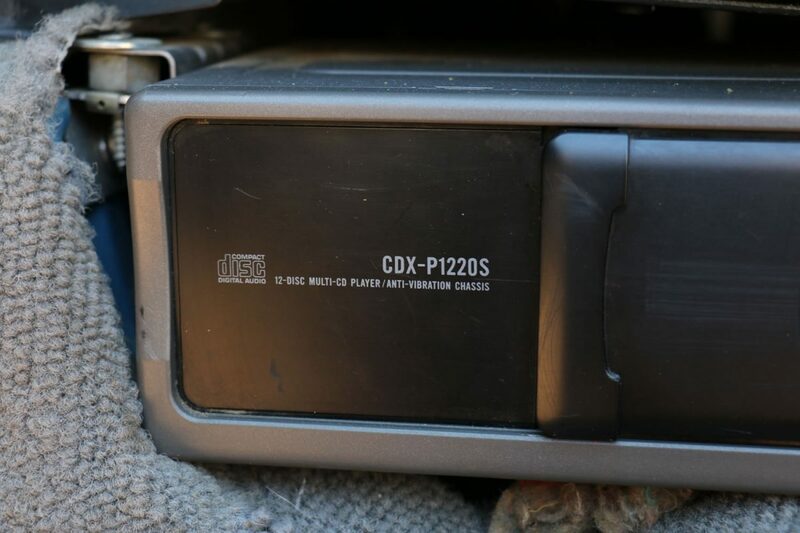 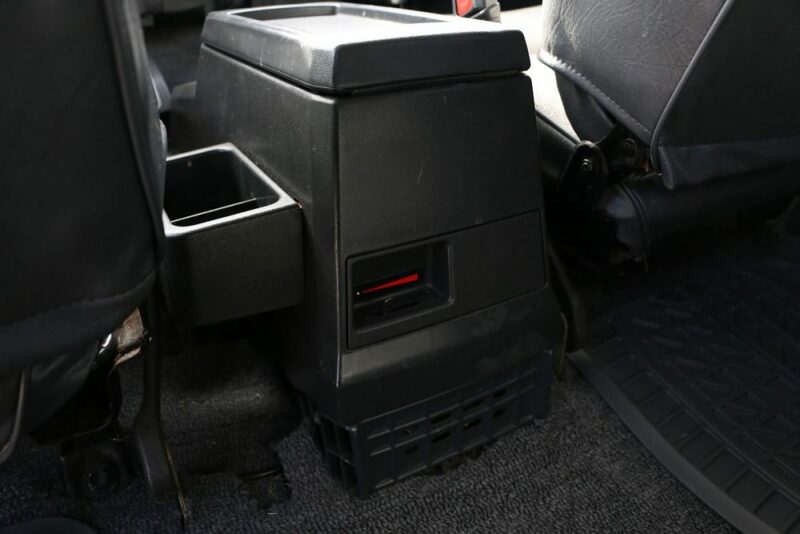 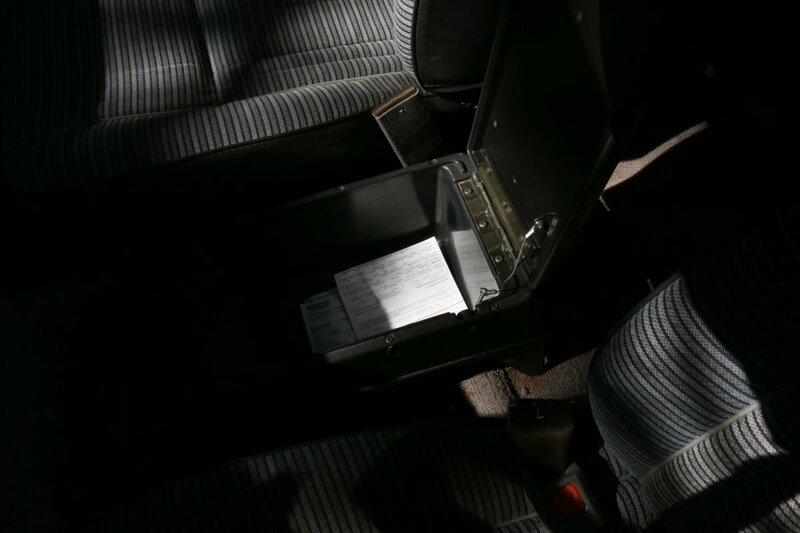 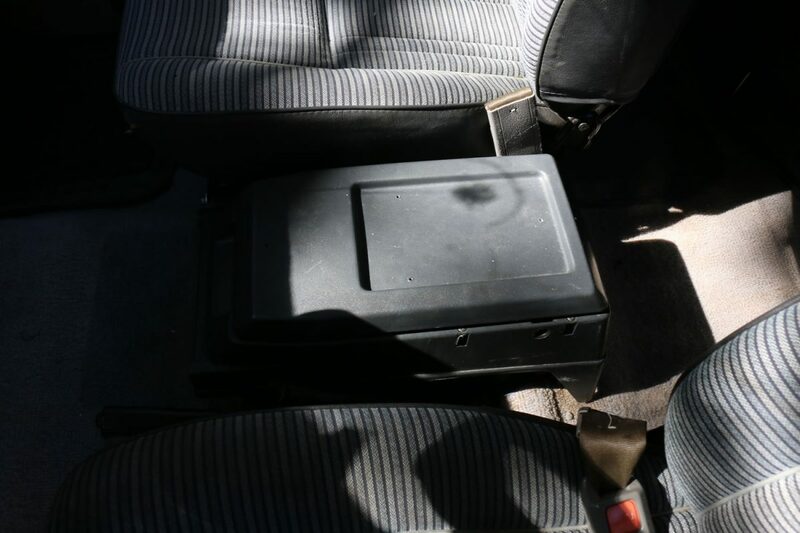 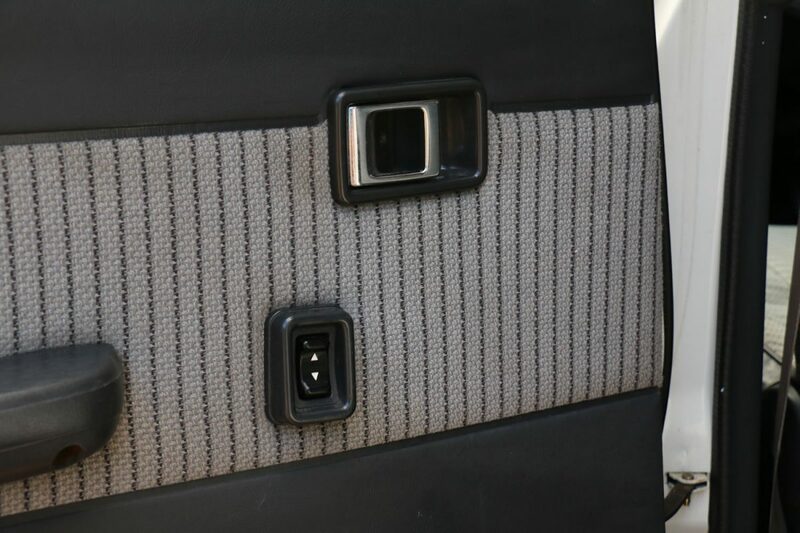 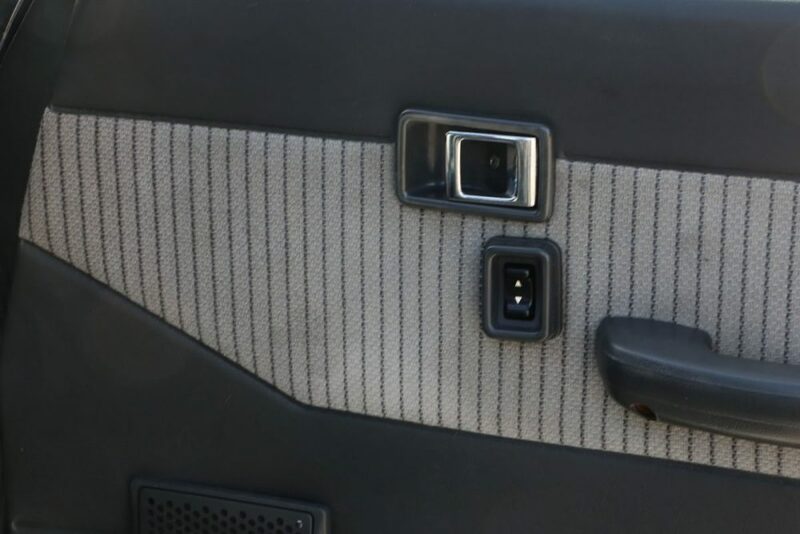 Features an old-school Pioneer AM/FM Cassette deck radio with matching Pioneer 10-Disc CD changer installed under the driver’s seat. 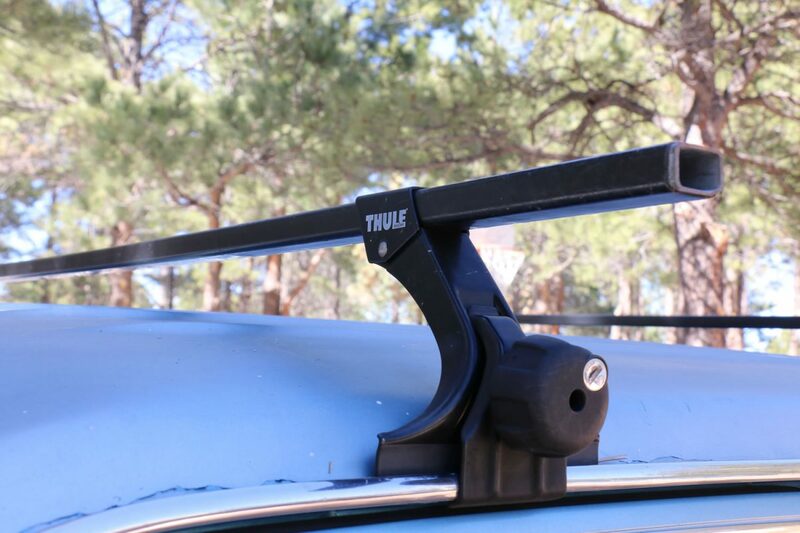 Thule cross bars (no key for it though, sorry. 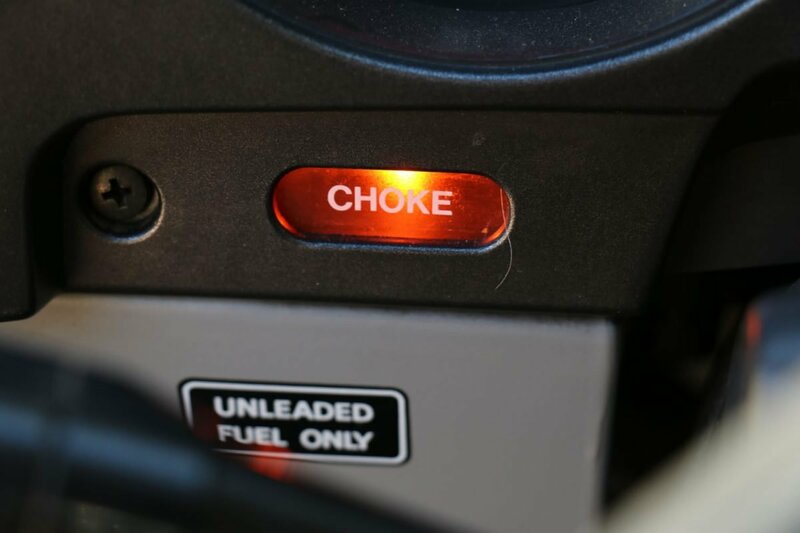 You can order one online though for around $10). 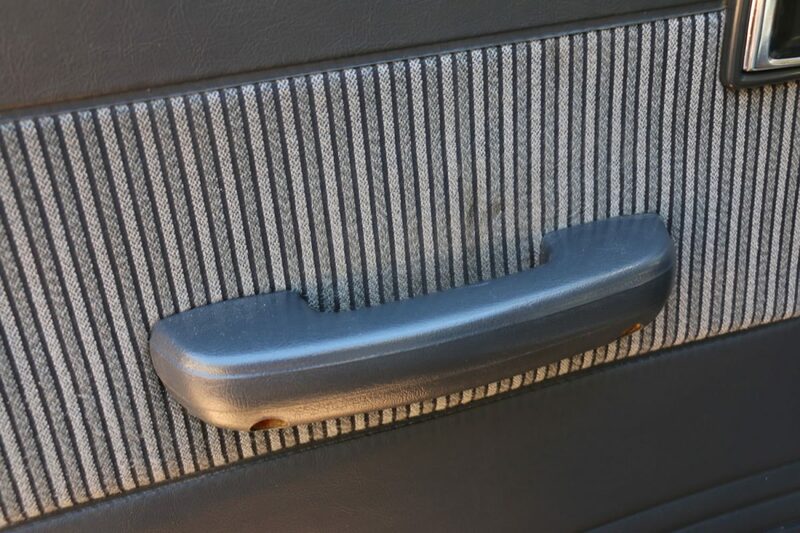 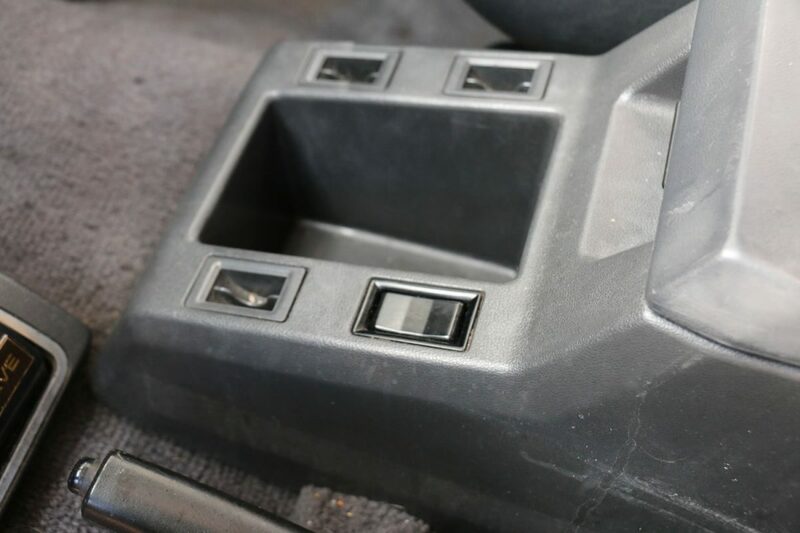 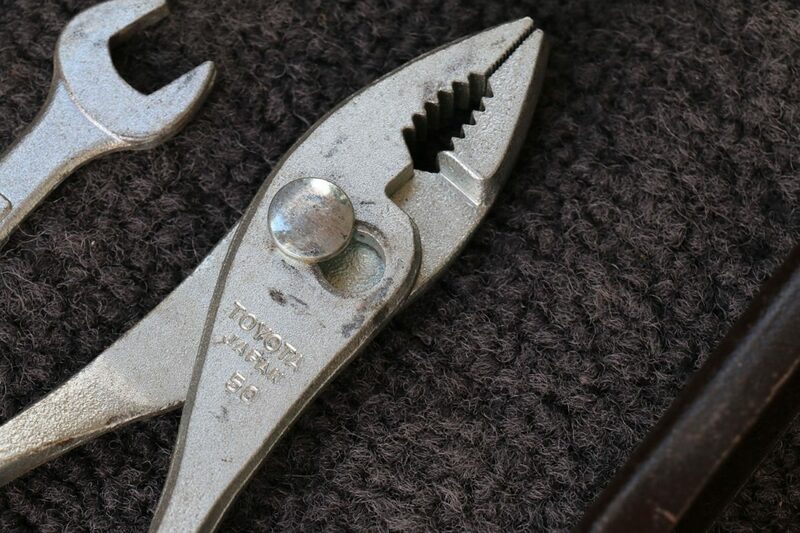 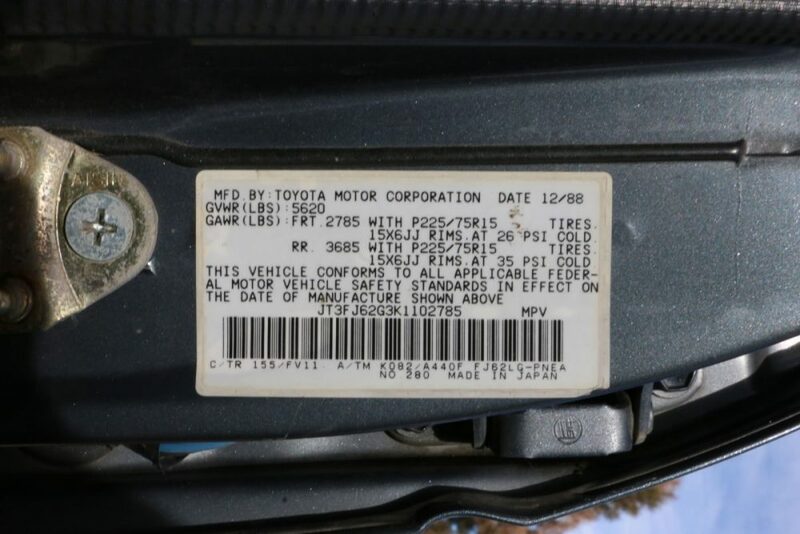 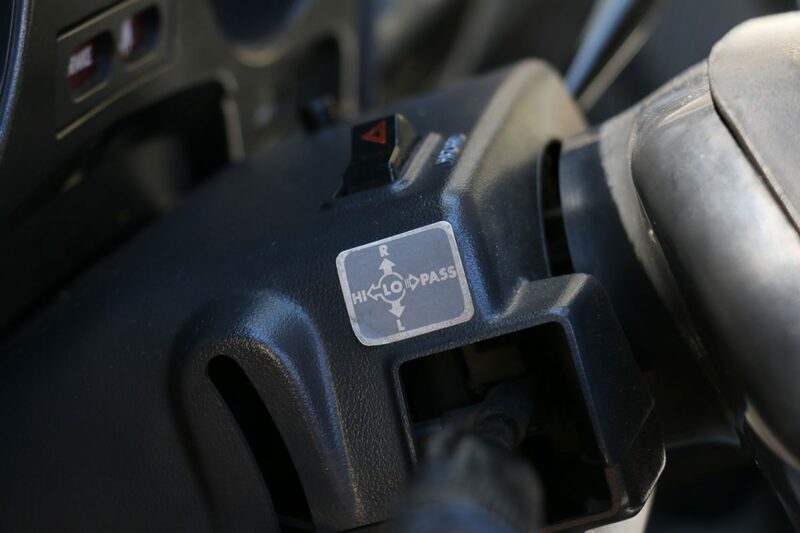 The previous owner tried to fix the windshield wiper motor and ended up buggering up a delicate clip where the motor mounts to the window wiper crank arm. 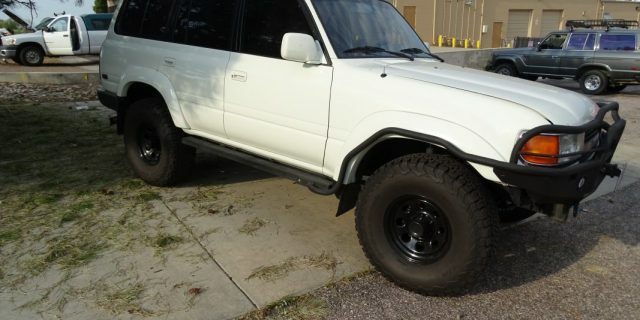 I have the part, just haven’t had the time to fix it. 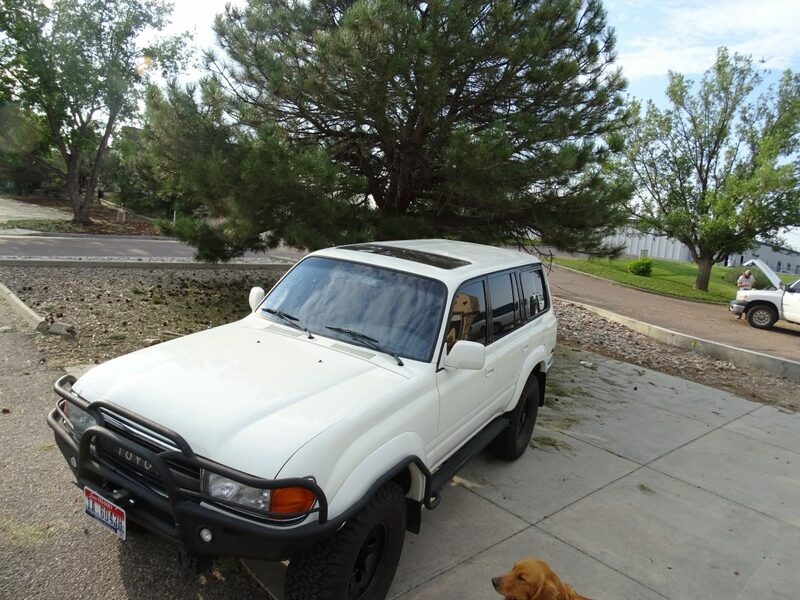 If you take care of it, I’ll take $250 off the price of the FJ. 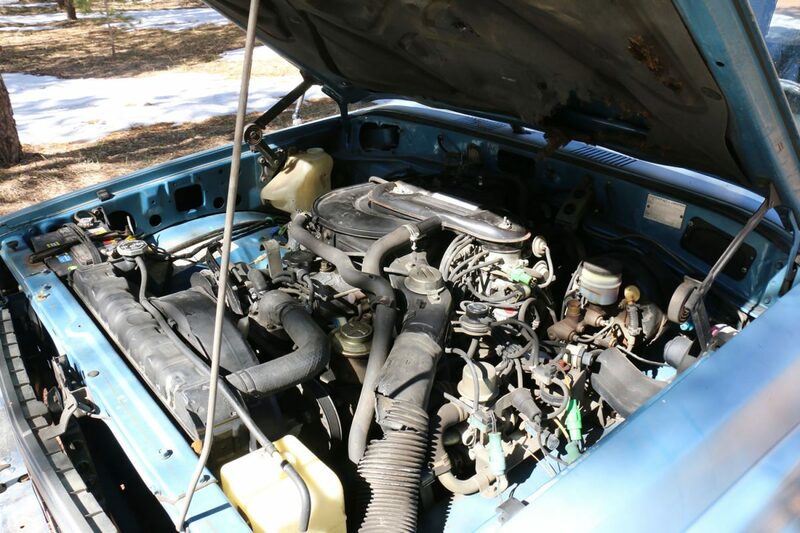 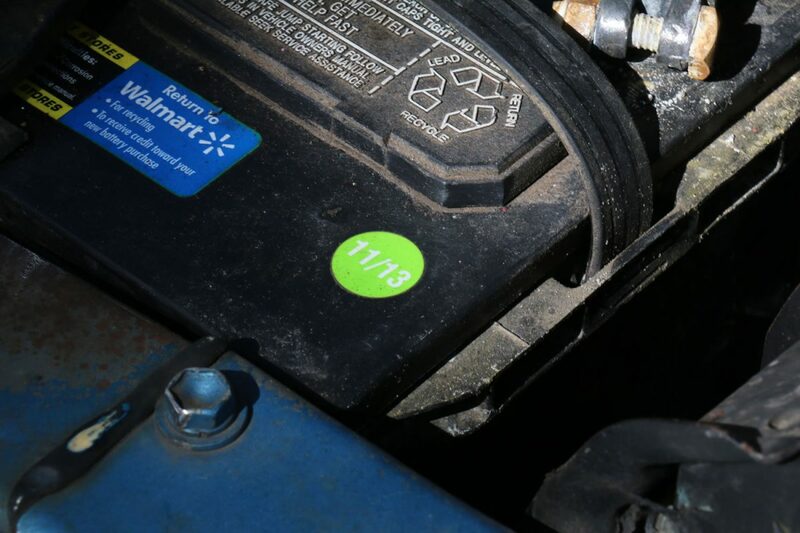 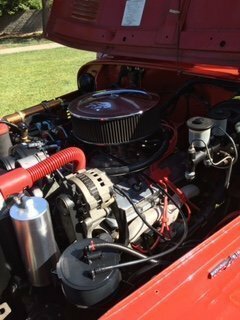 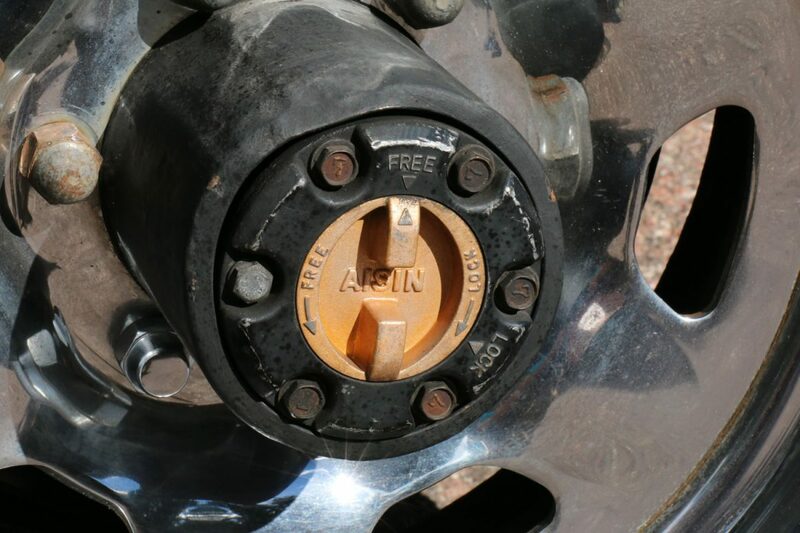 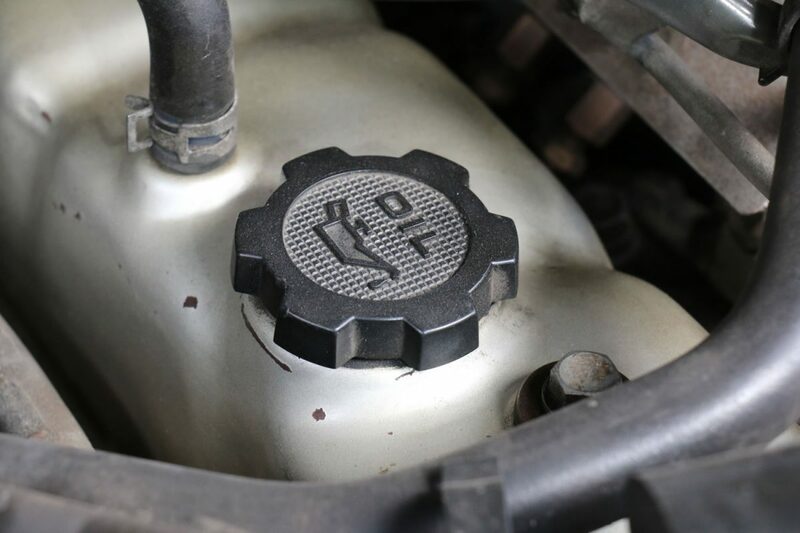 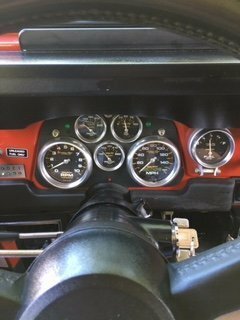 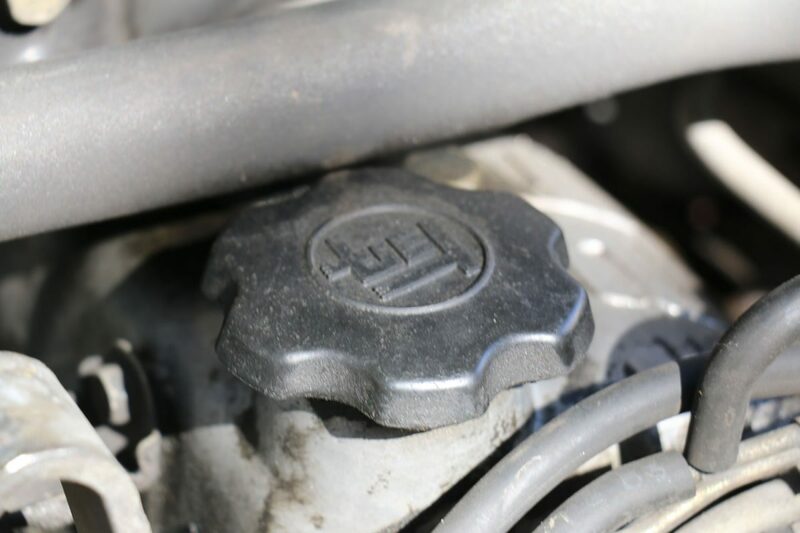 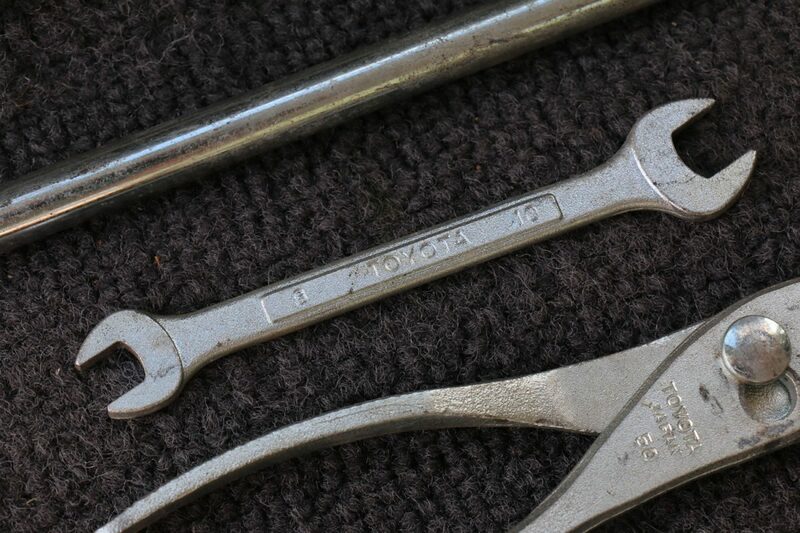 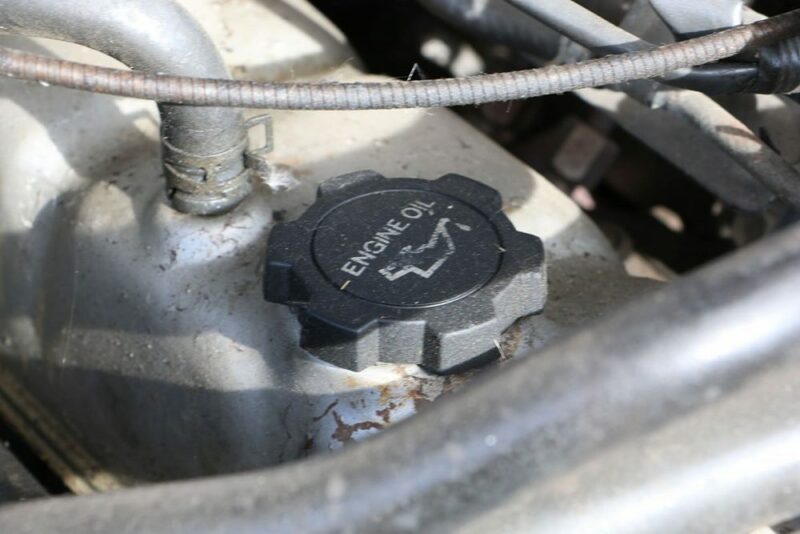 Needs a carb rebuild and the timing could benefit from an adjustment. 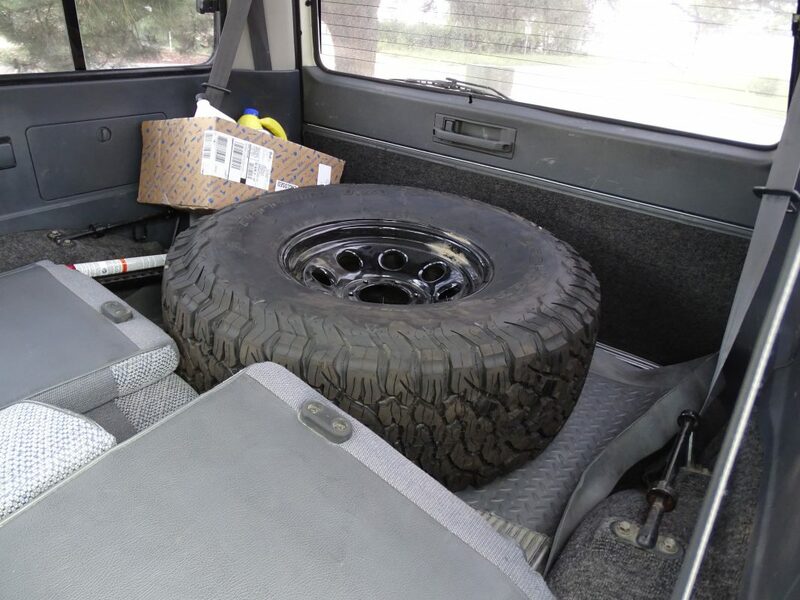 Estimated around $200-300. 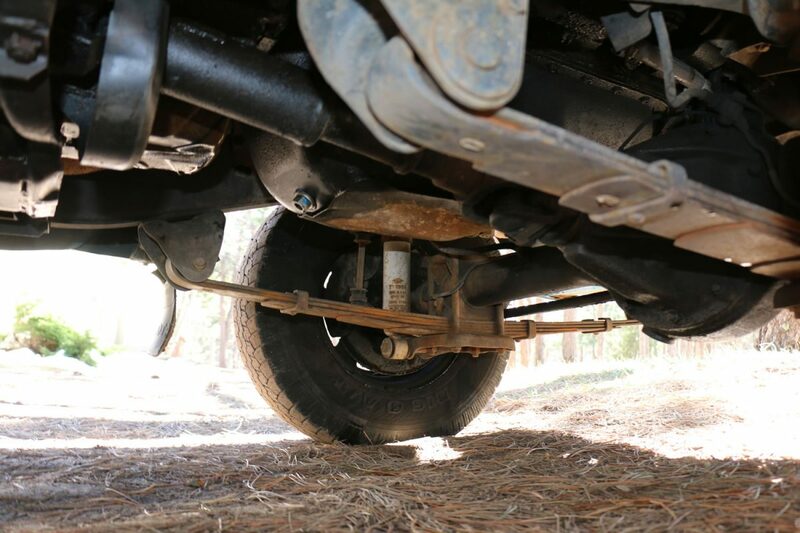 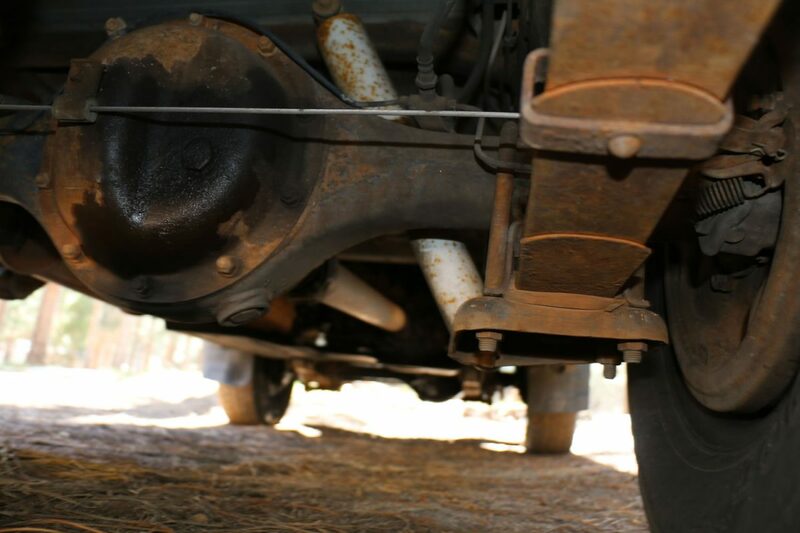 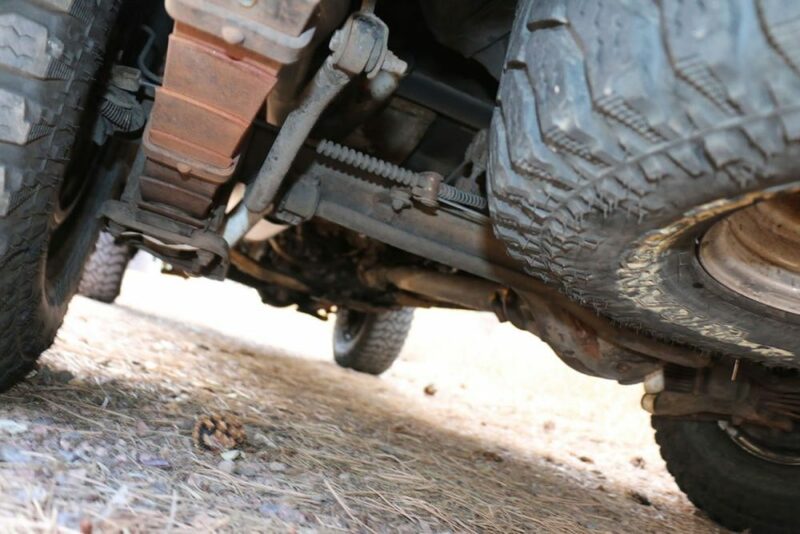 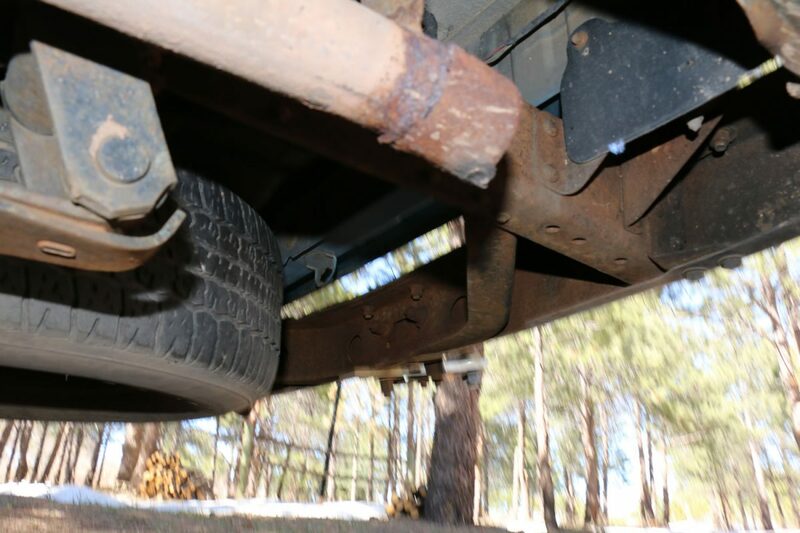 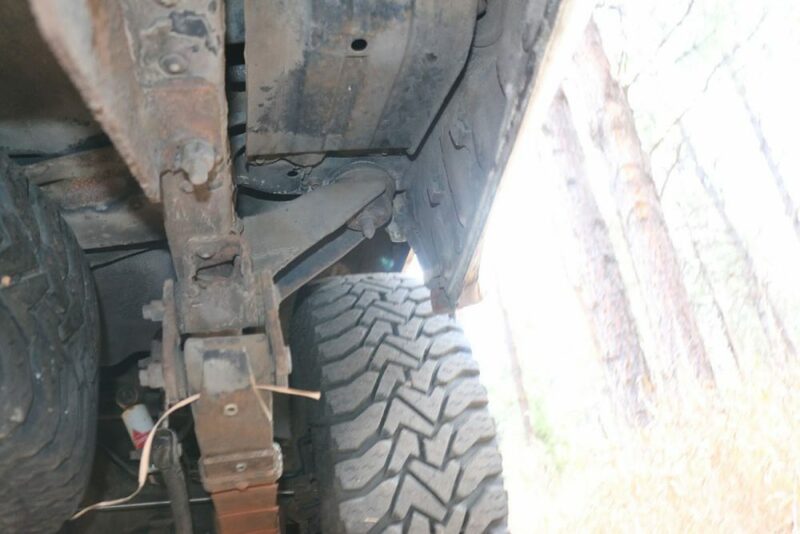 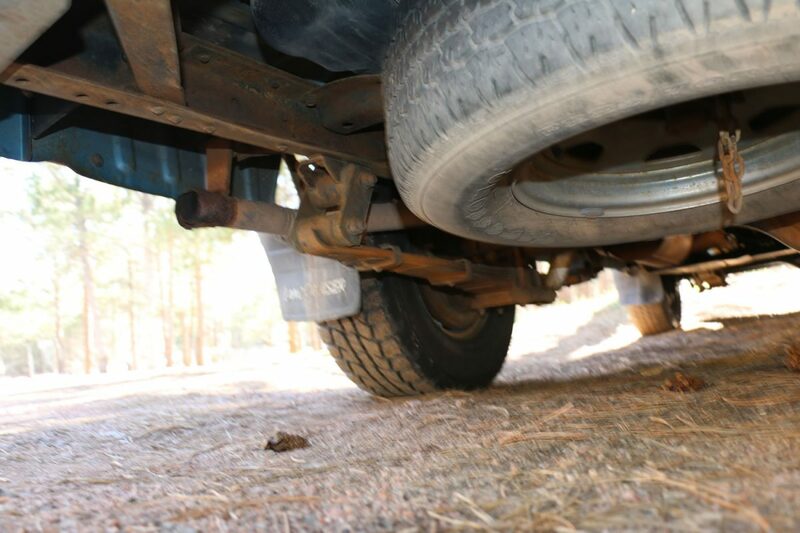 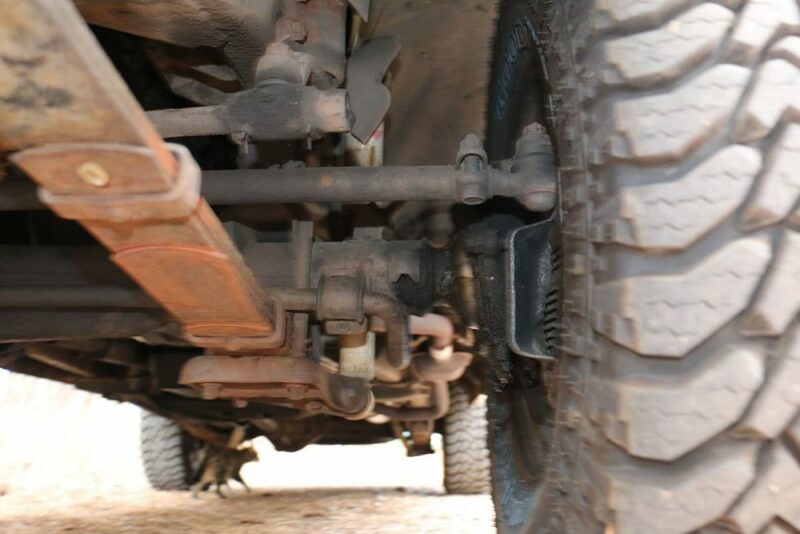 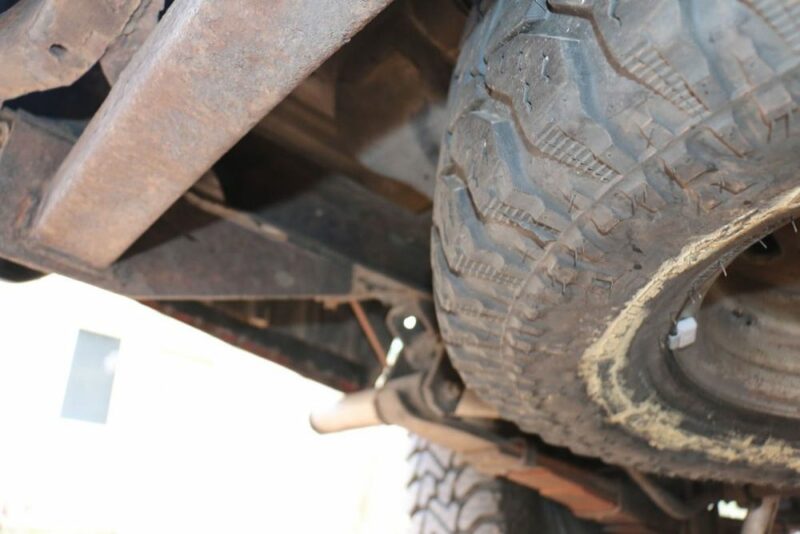 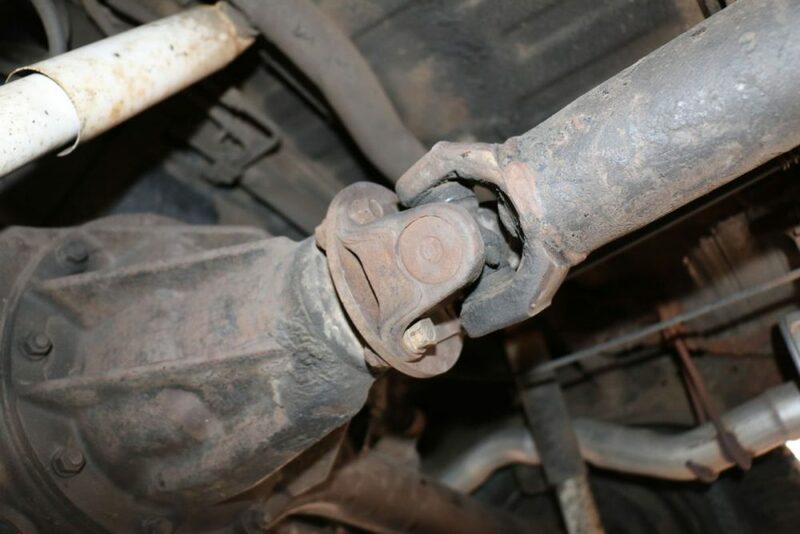 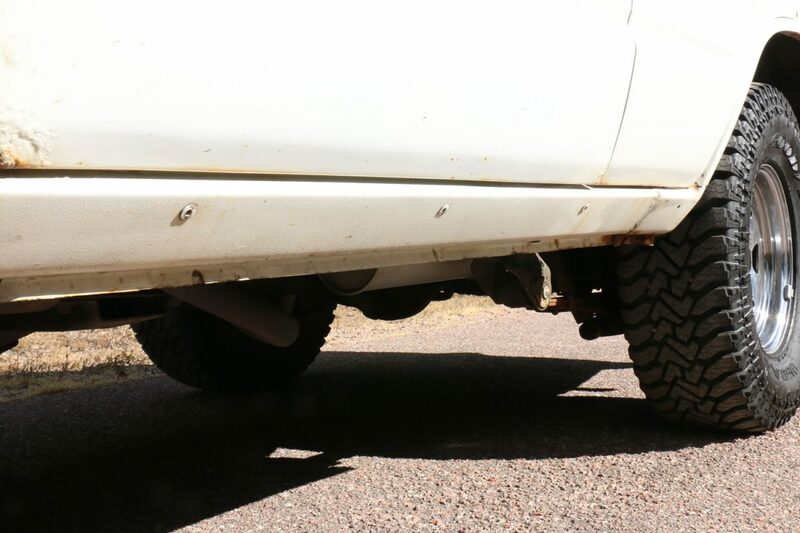 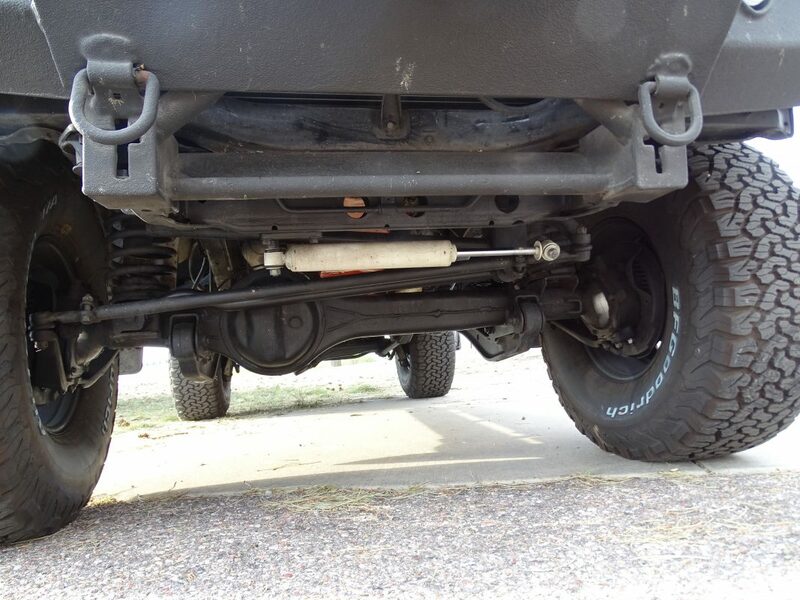 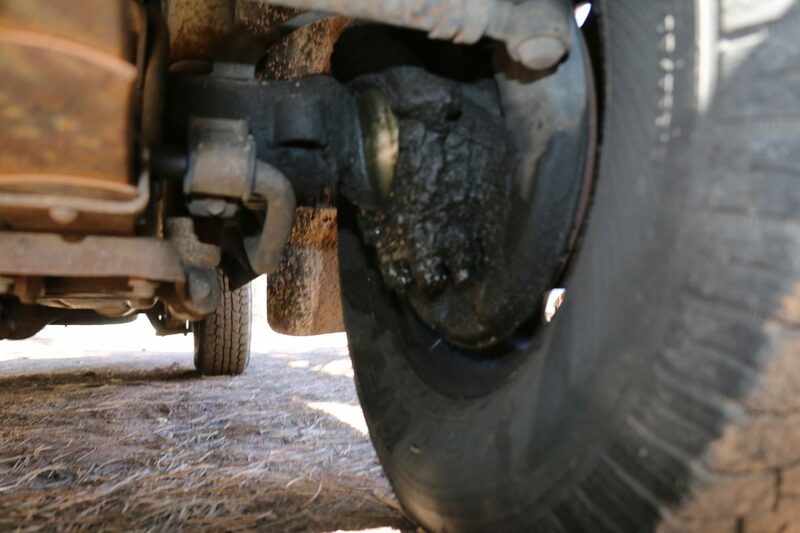 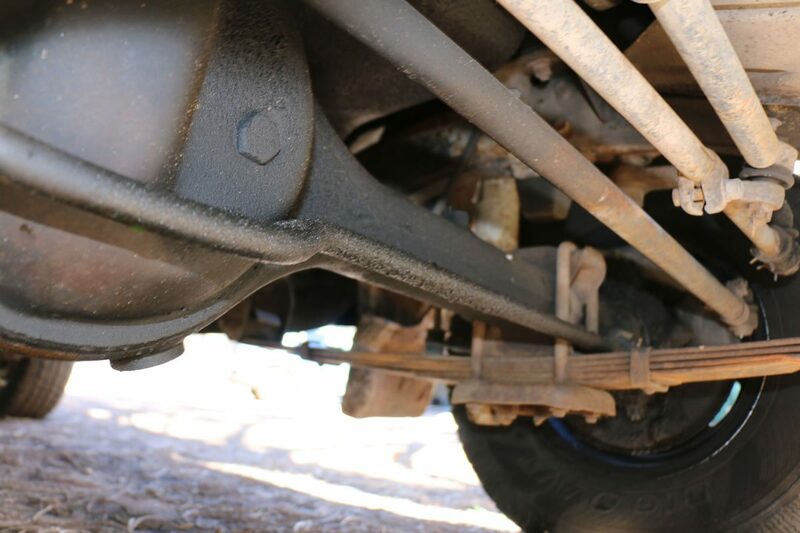 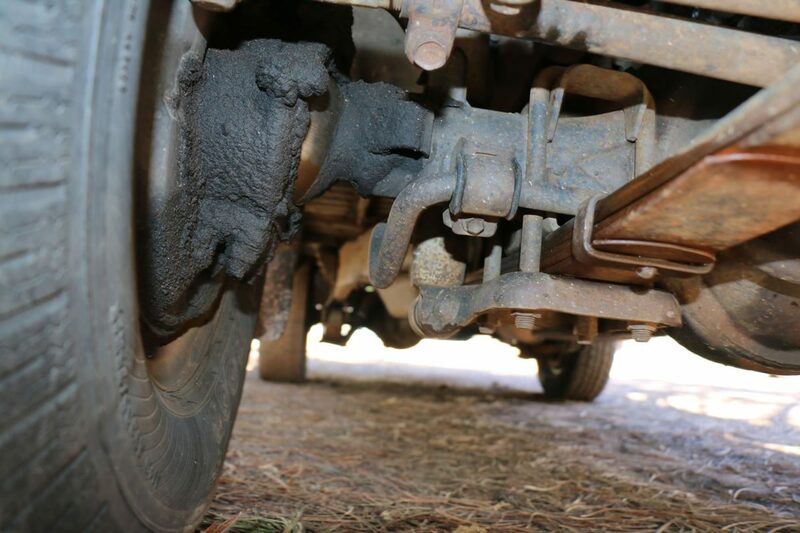 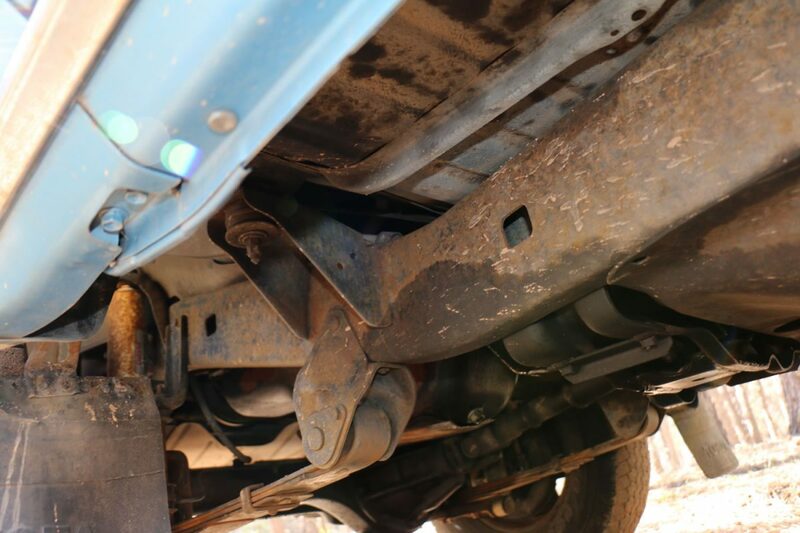 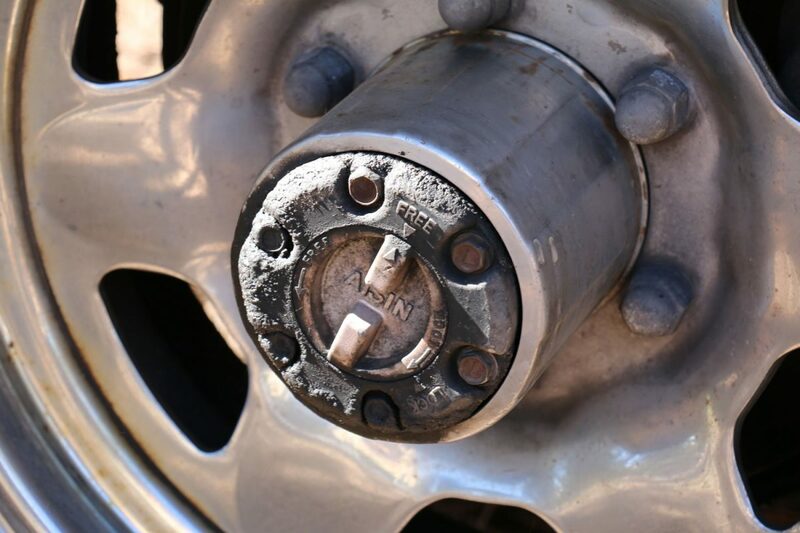 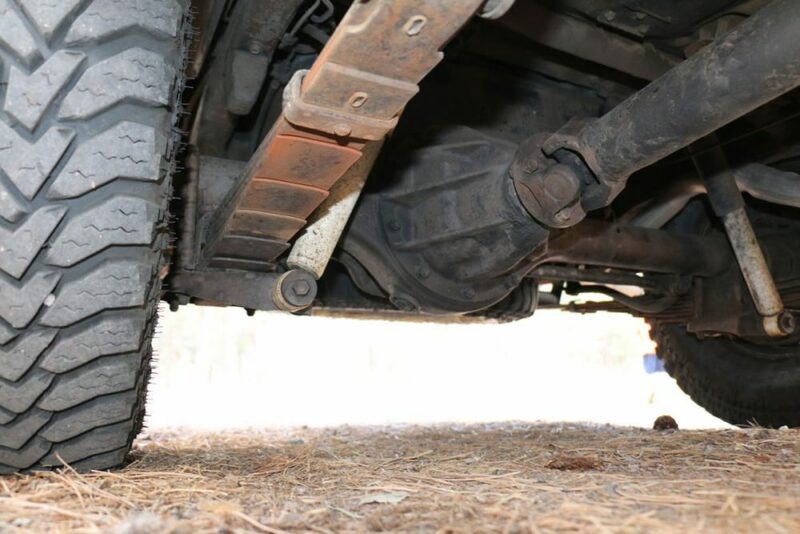 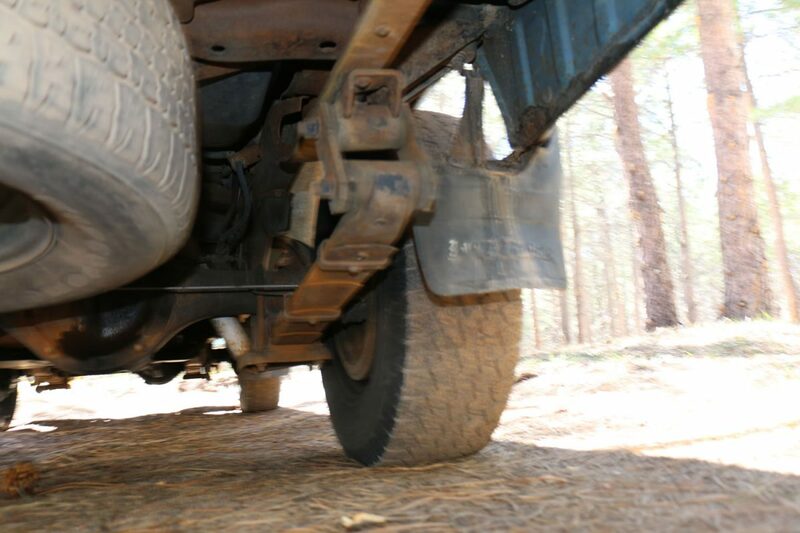 Front axle leaks a smidge (typical issue). 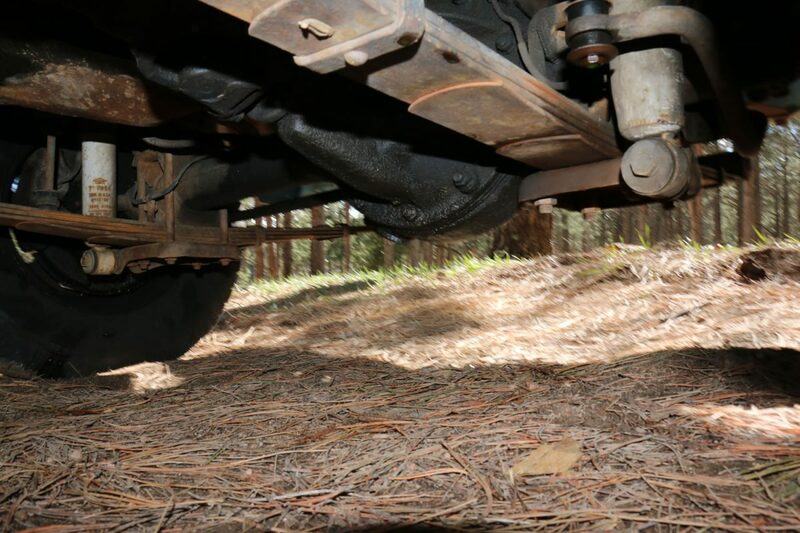 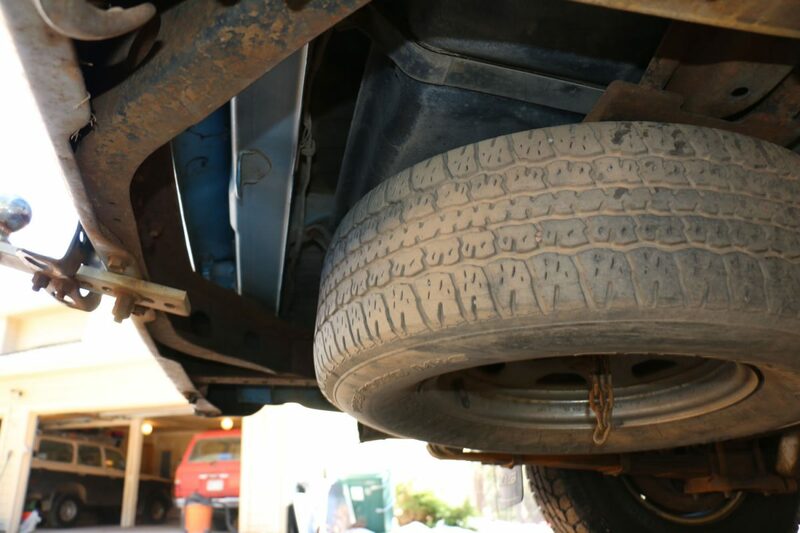 I usually rebuild the front axle and thus fix this issue when it’s time to do the brakes up front. 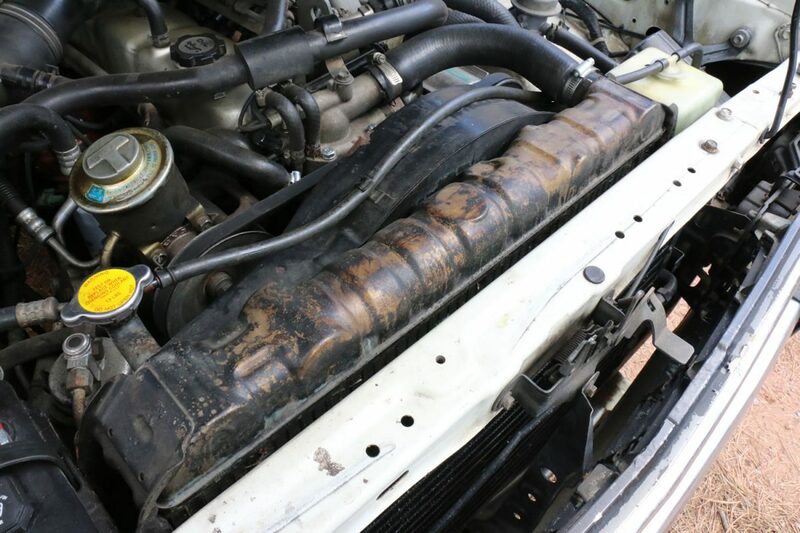 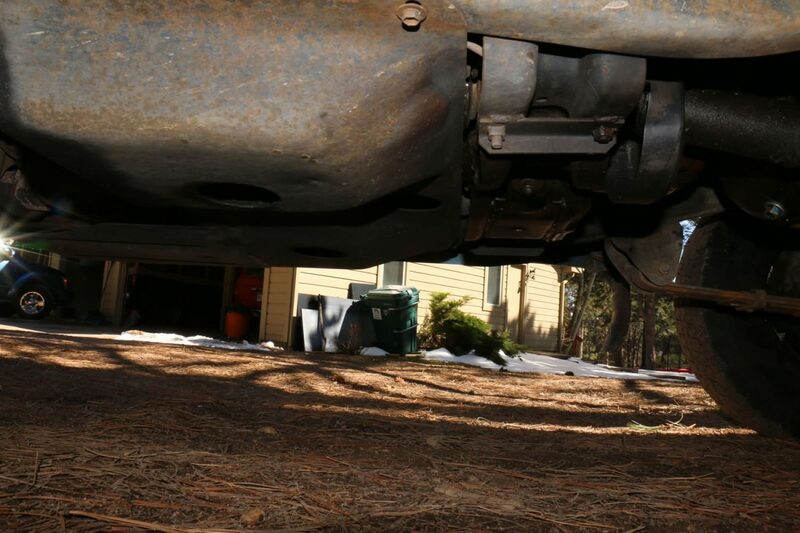 Rear main seal leaks a smidge (typical issue). 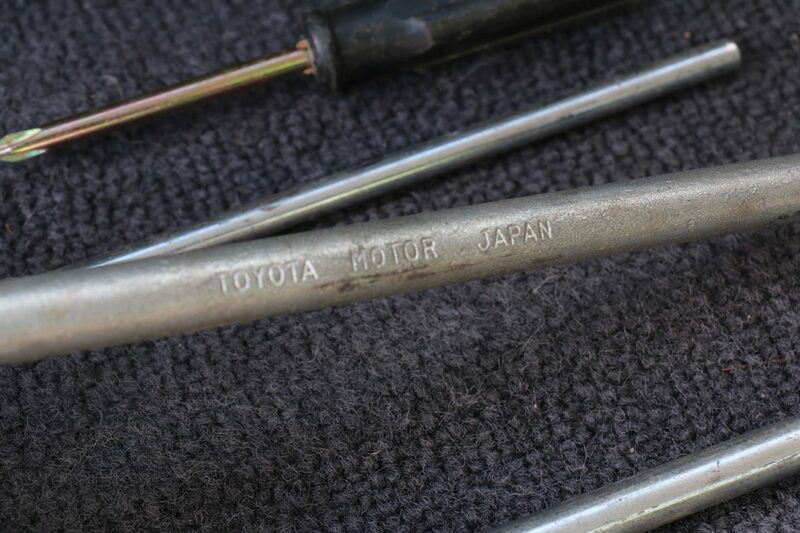 I usually replace these only when the clutch needs to be done (It’s a $25 part, but almost a full day’s work to replace). 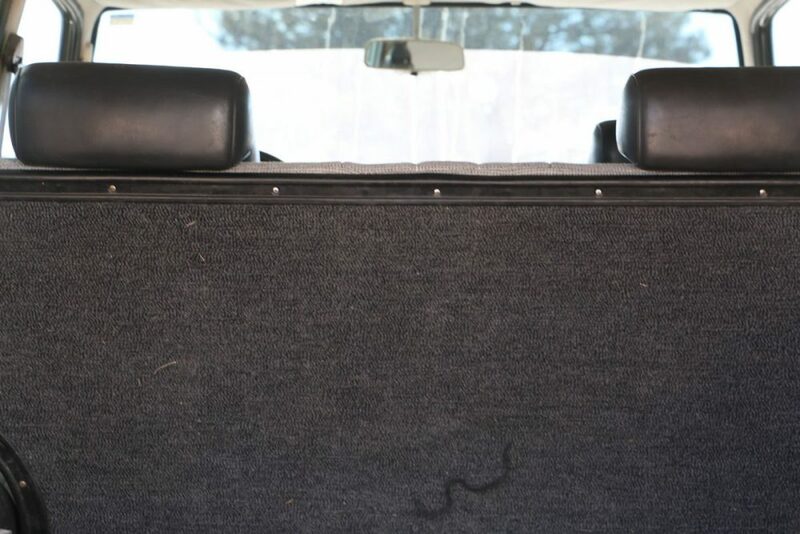 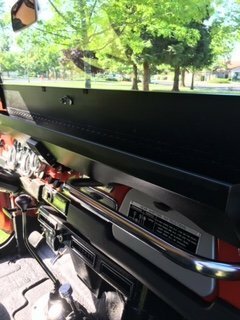 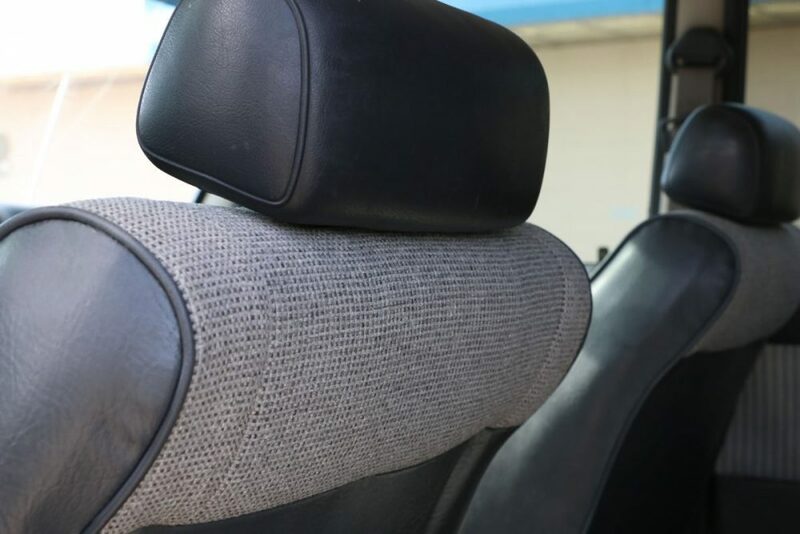 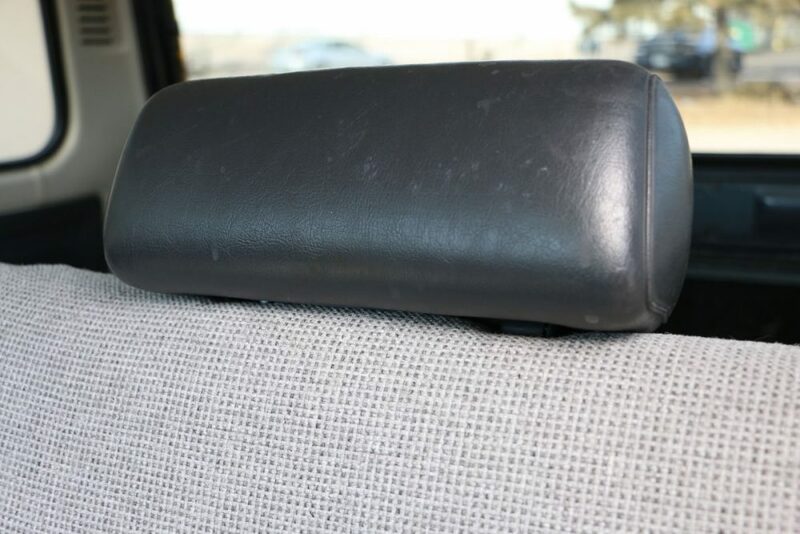 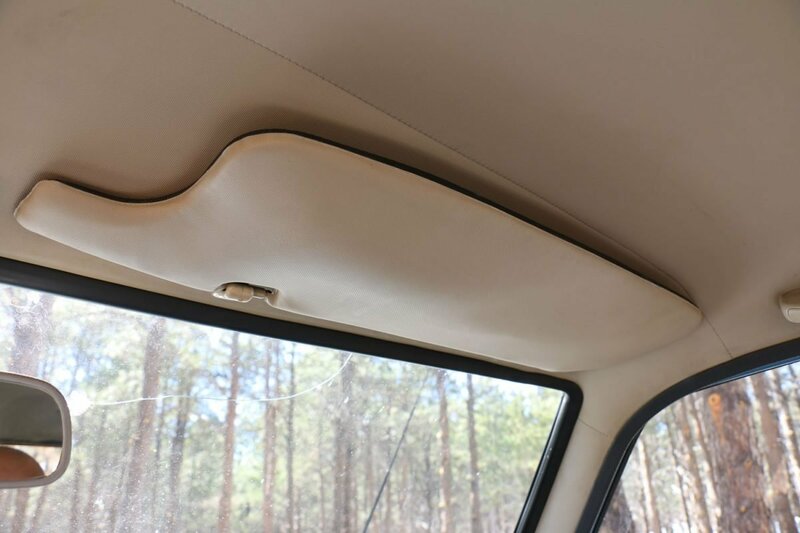 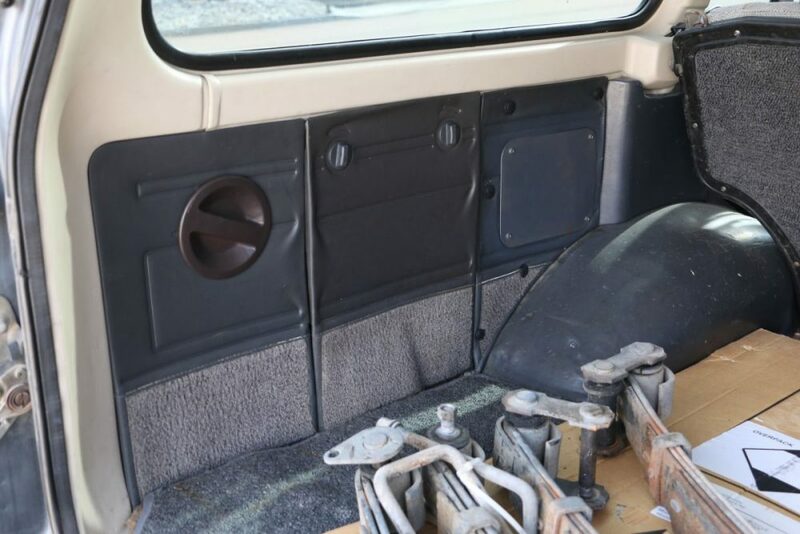 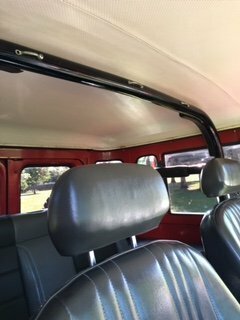 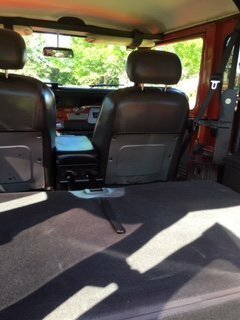 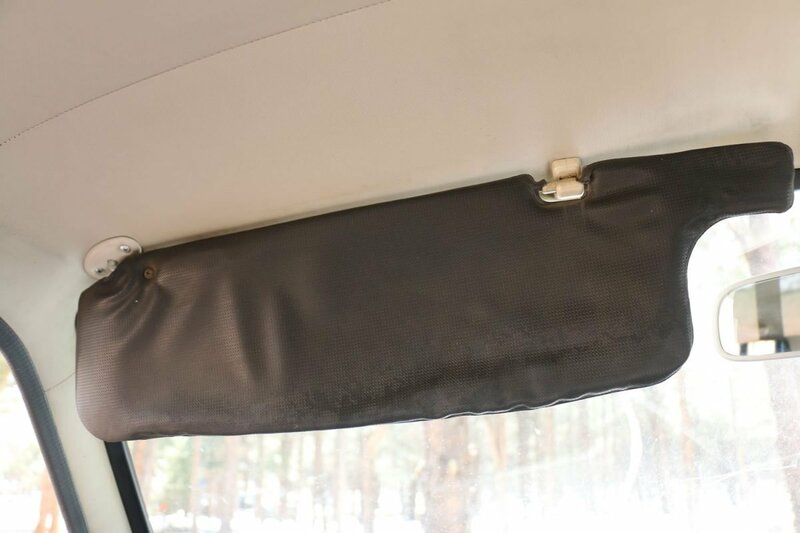 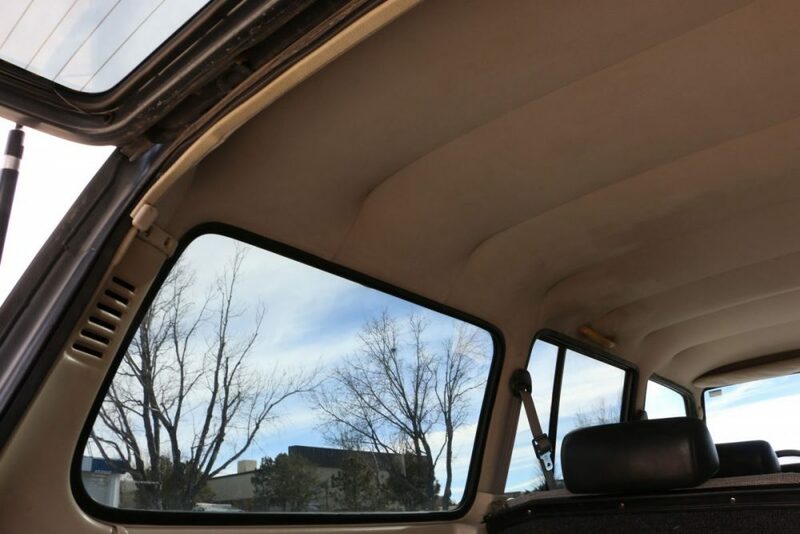 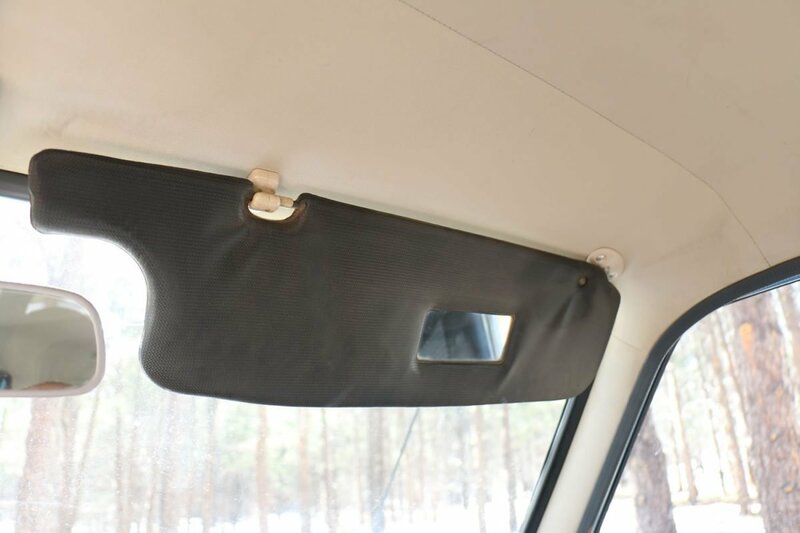 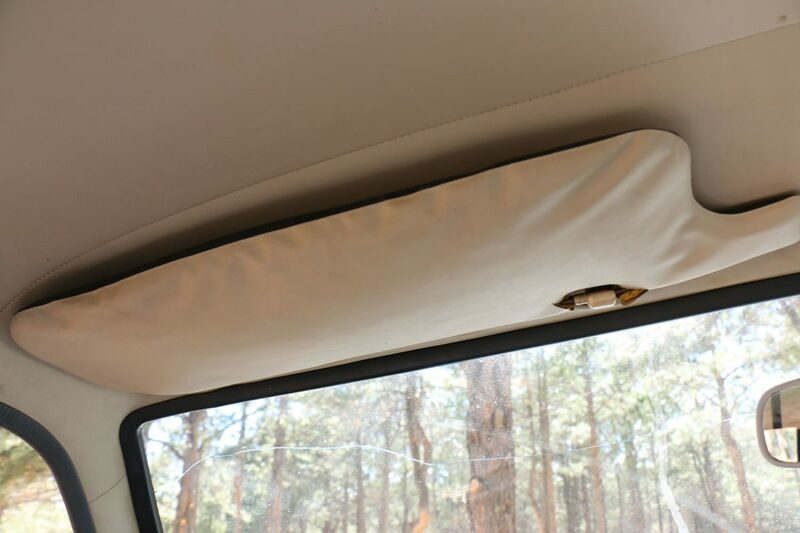 Headliner torn in the back right corner. 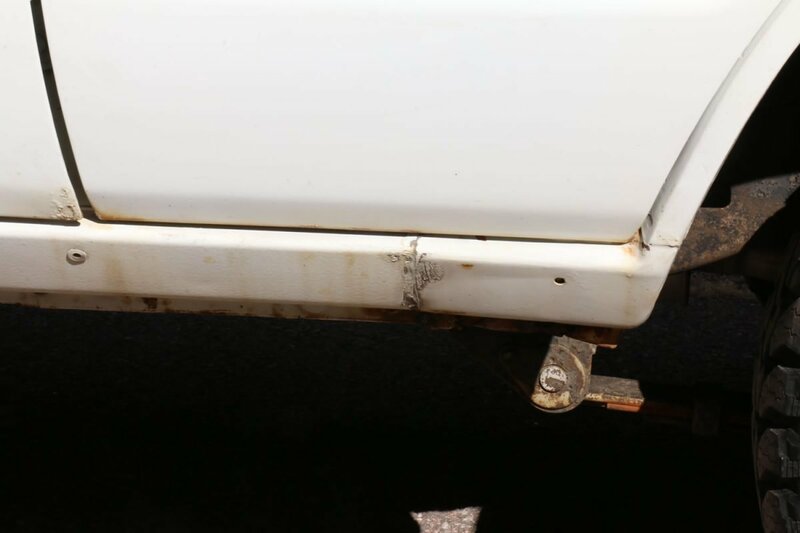 Might be able to be stitched? 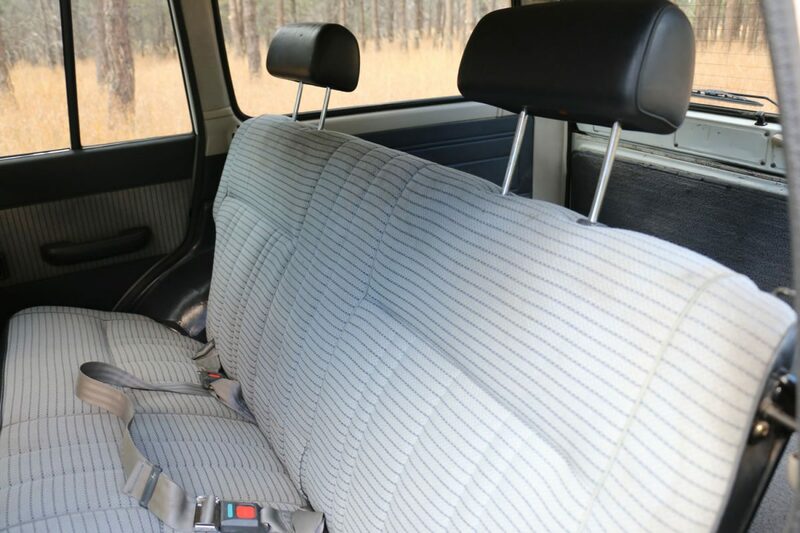 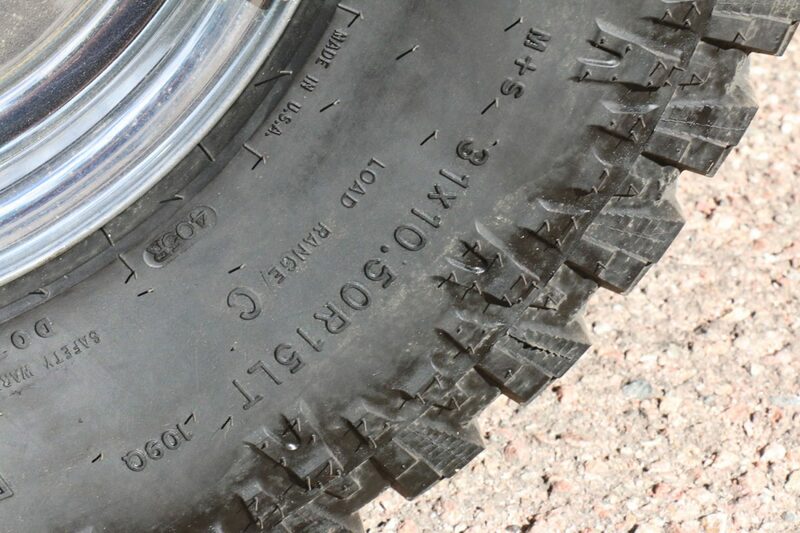 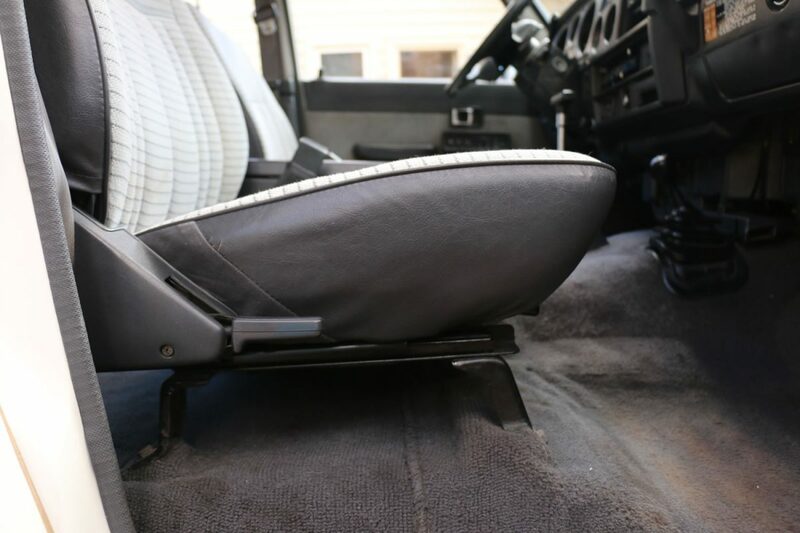 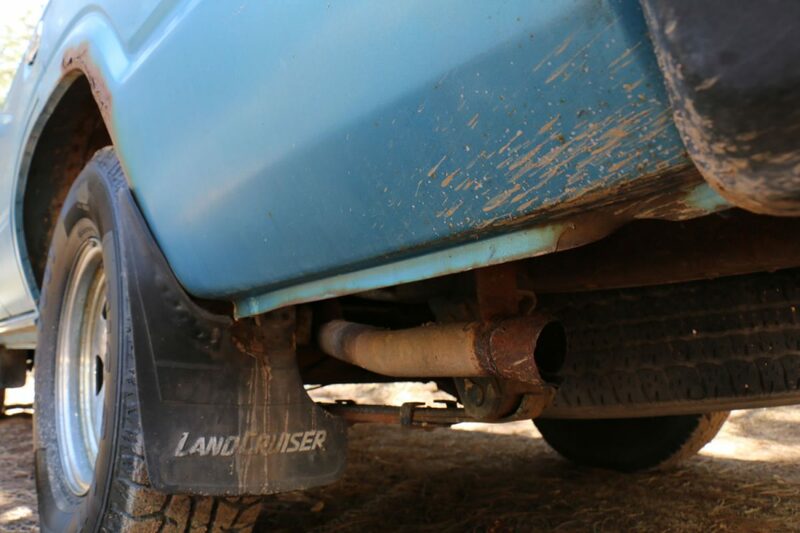 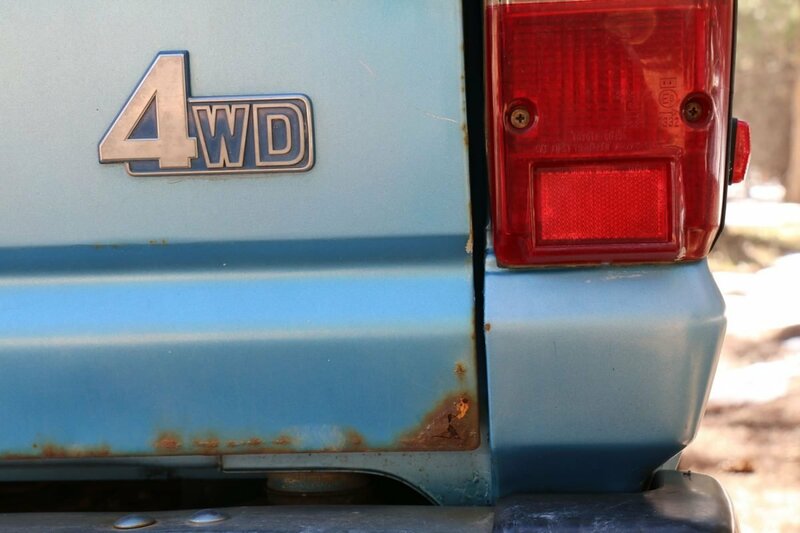 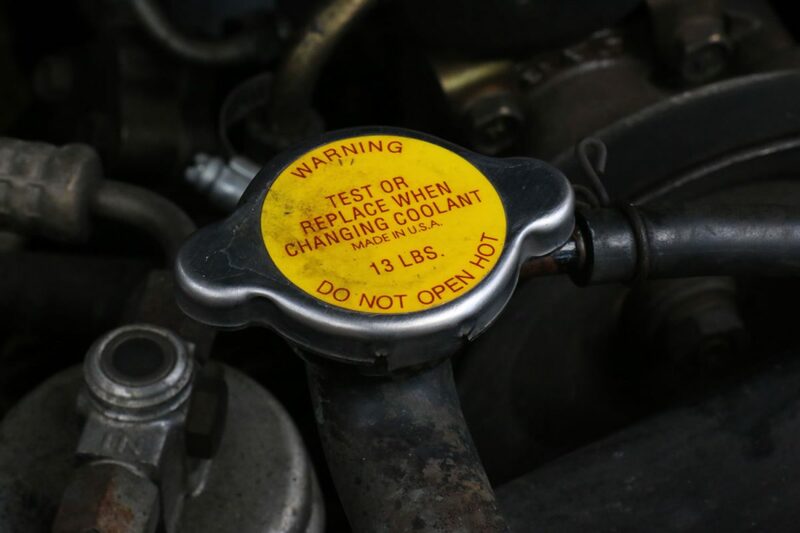 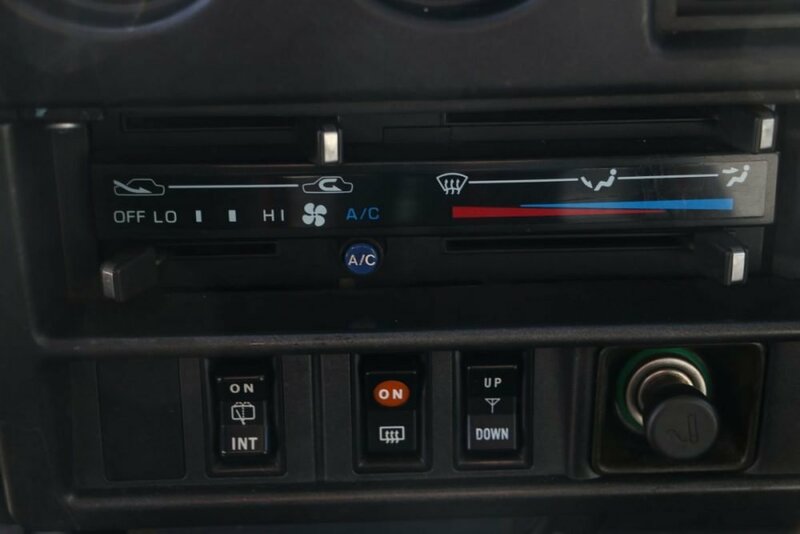 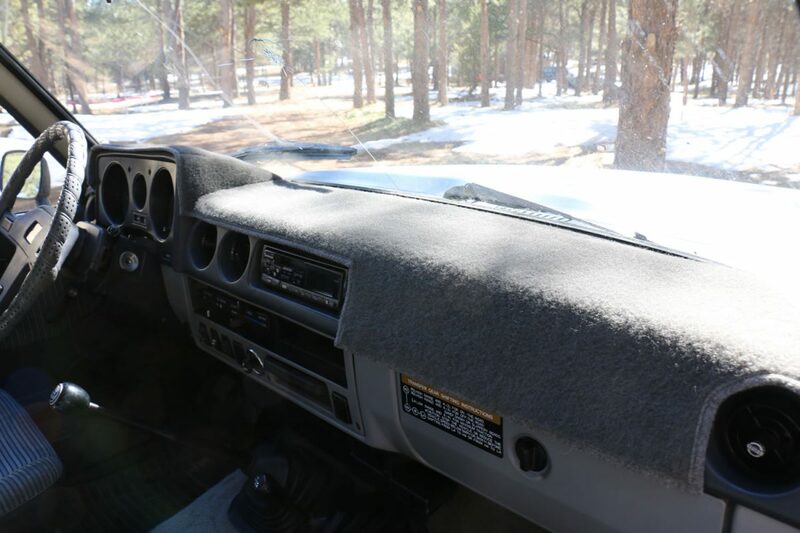 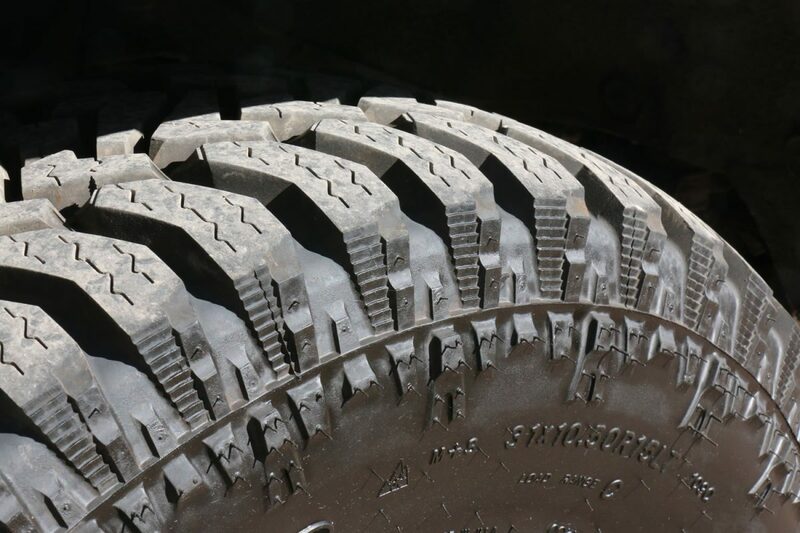 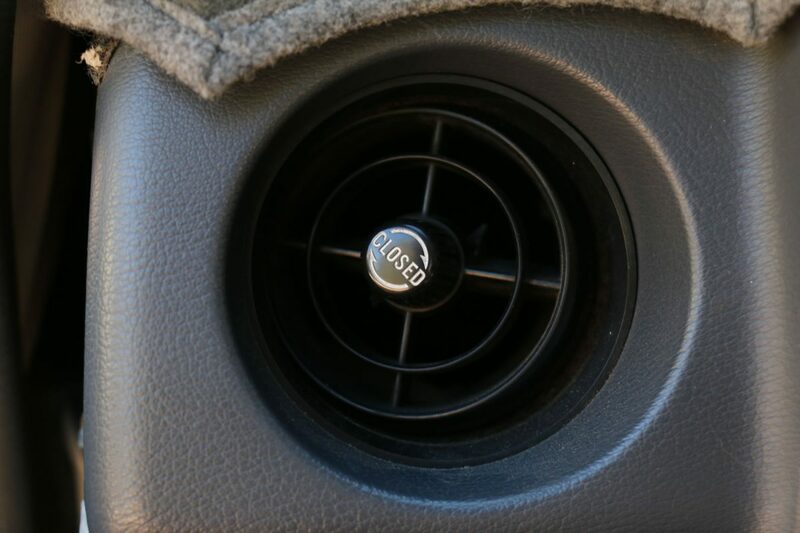 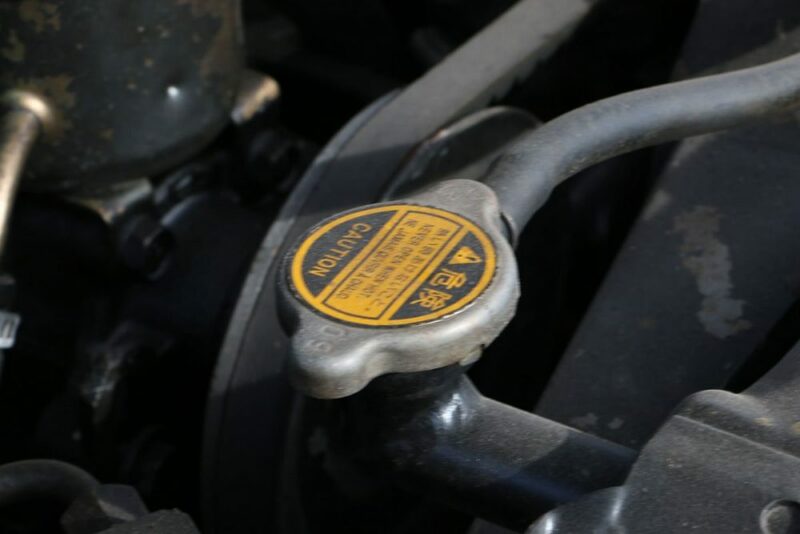 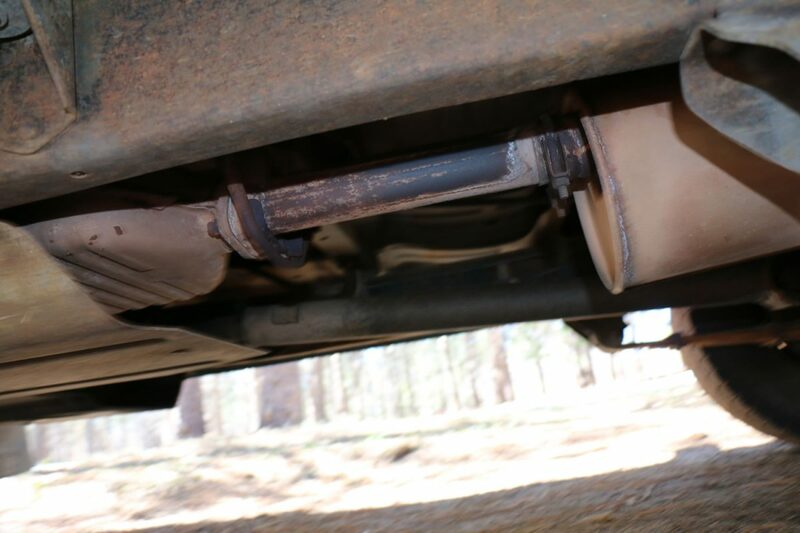 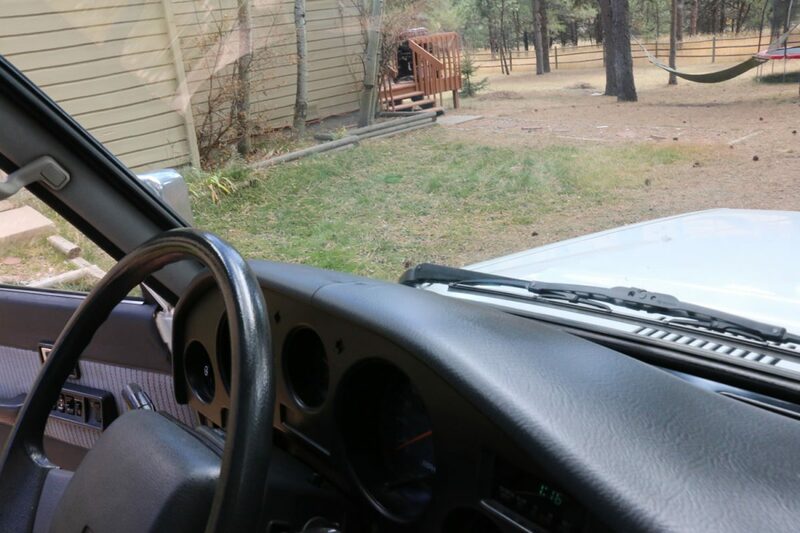 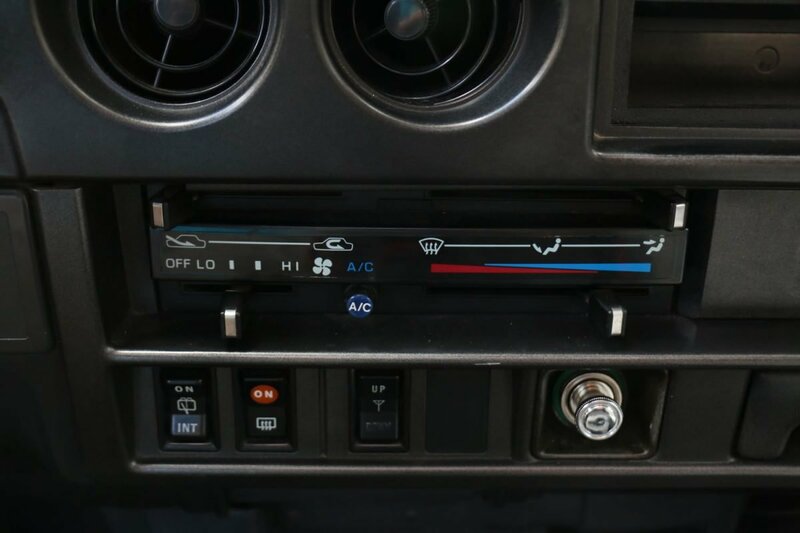 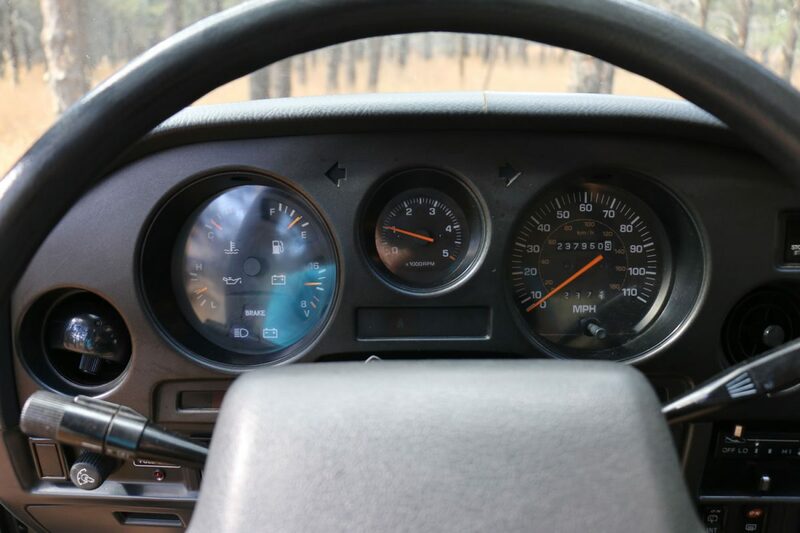 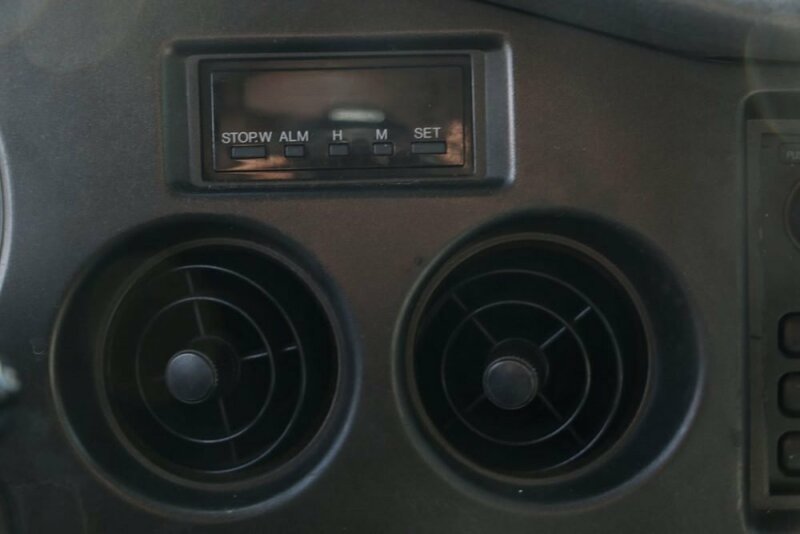 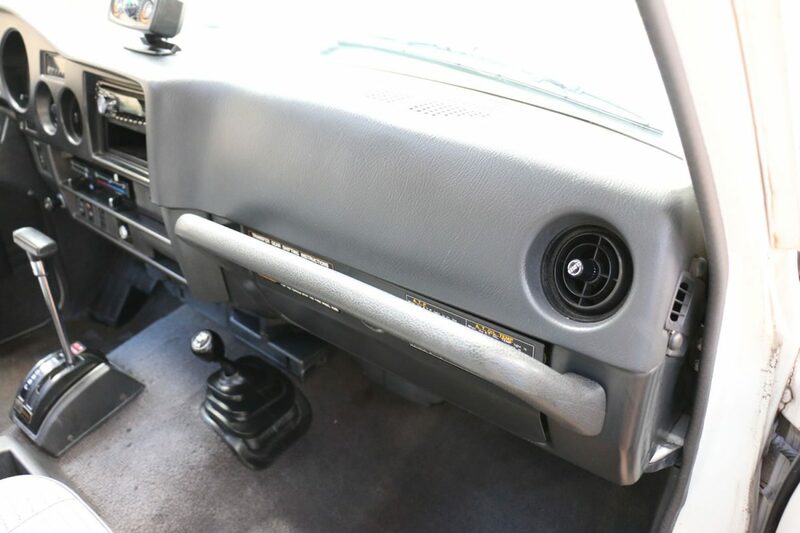 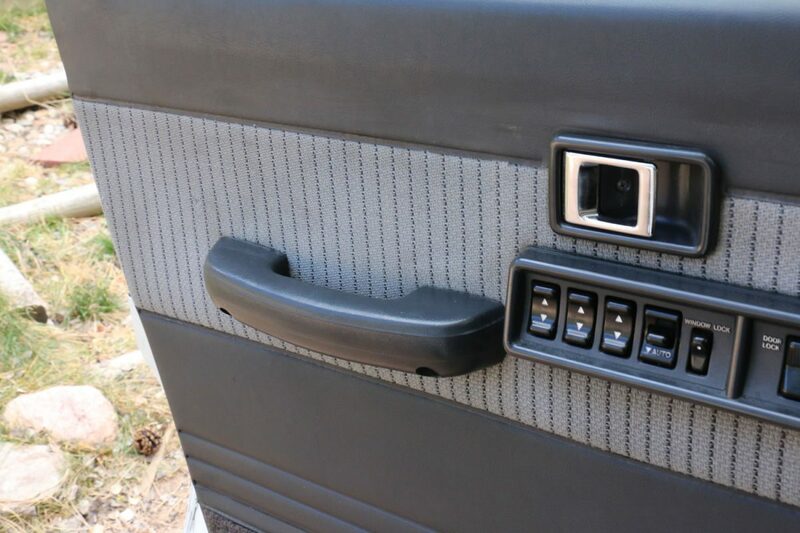 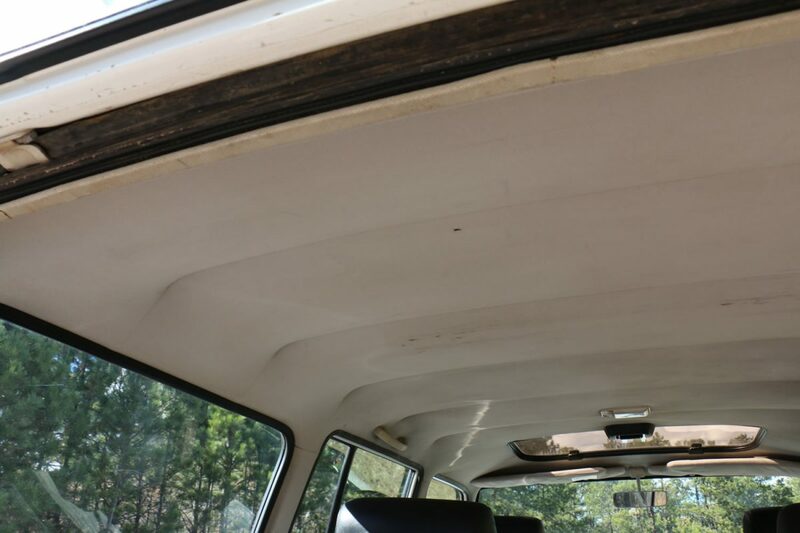 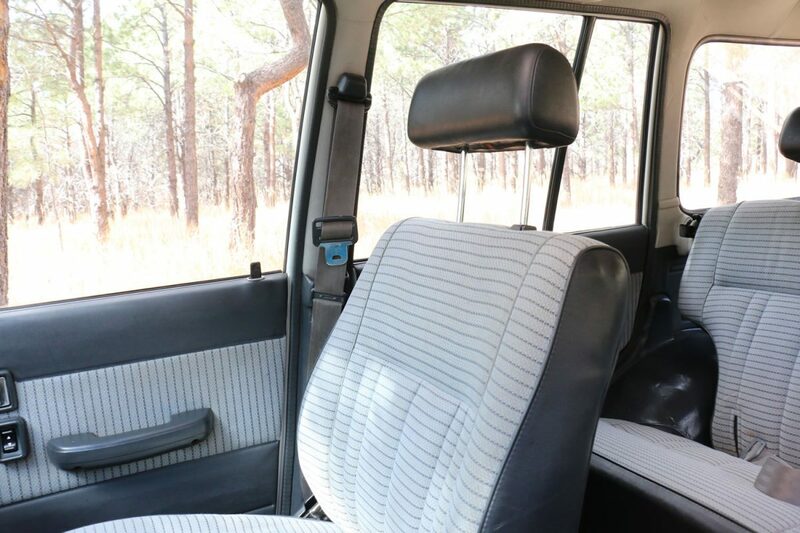 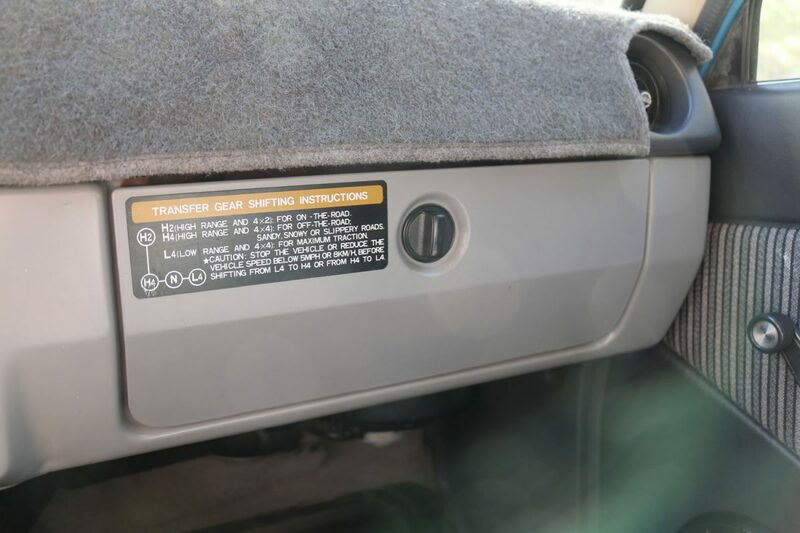 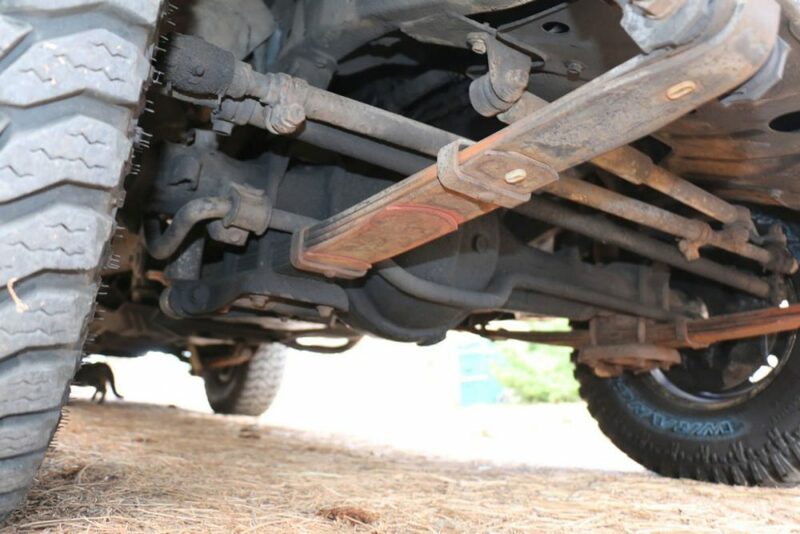 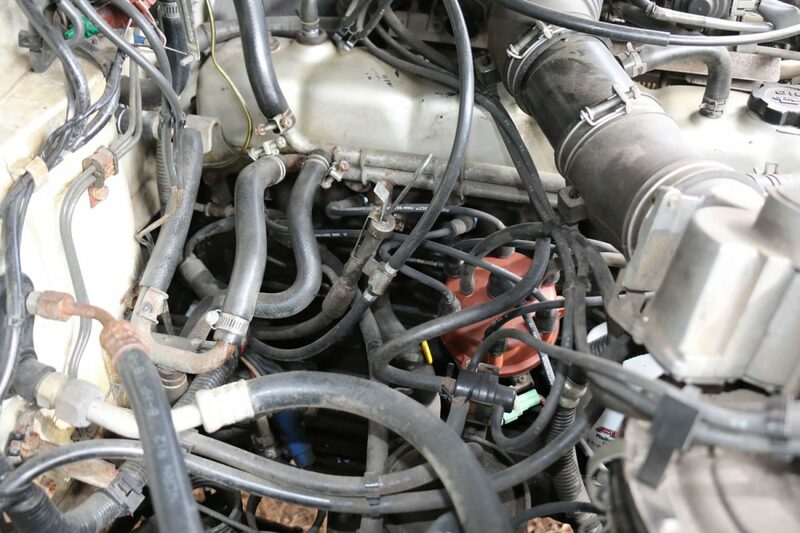 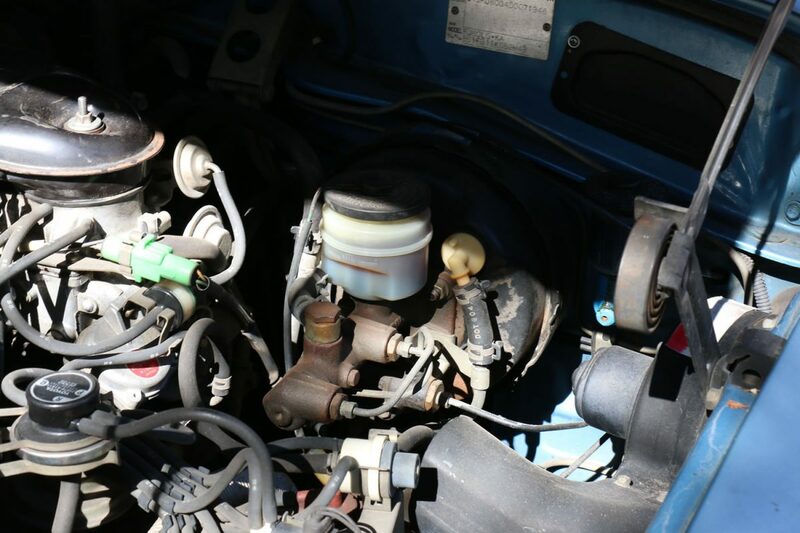 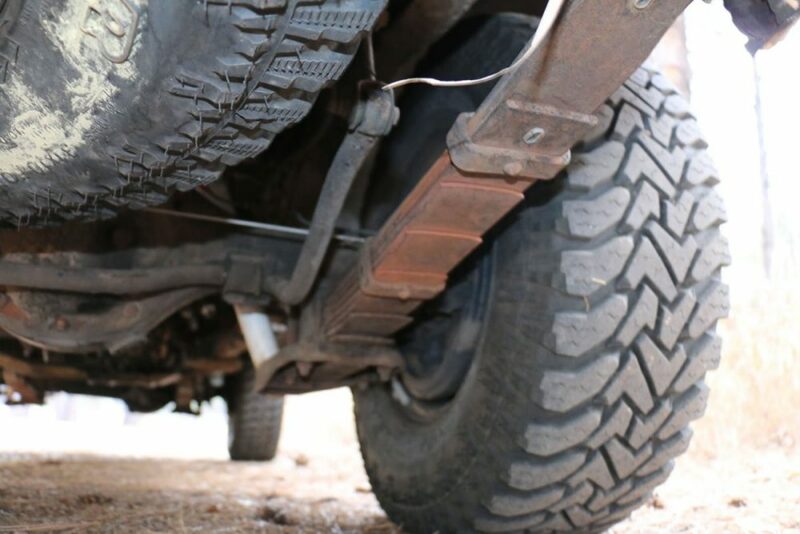 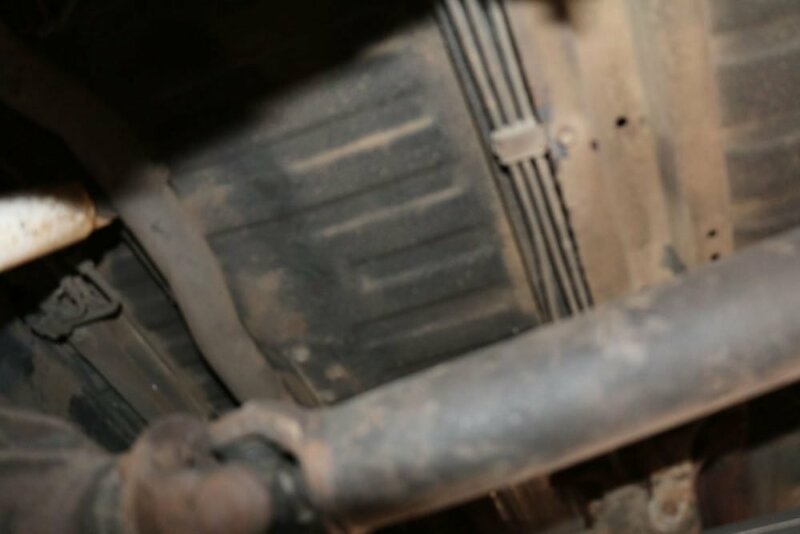 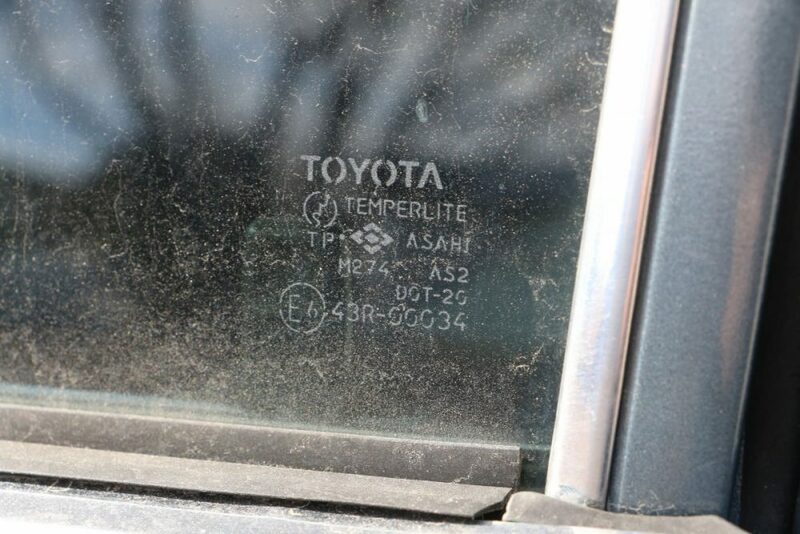 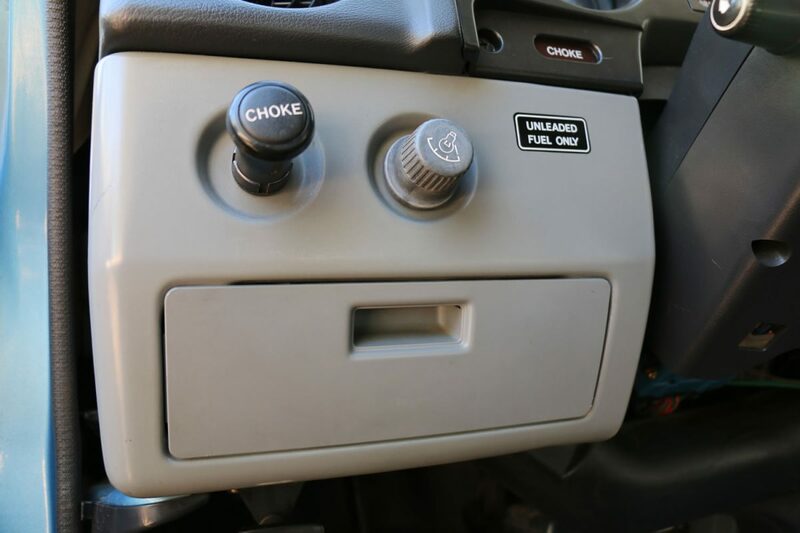 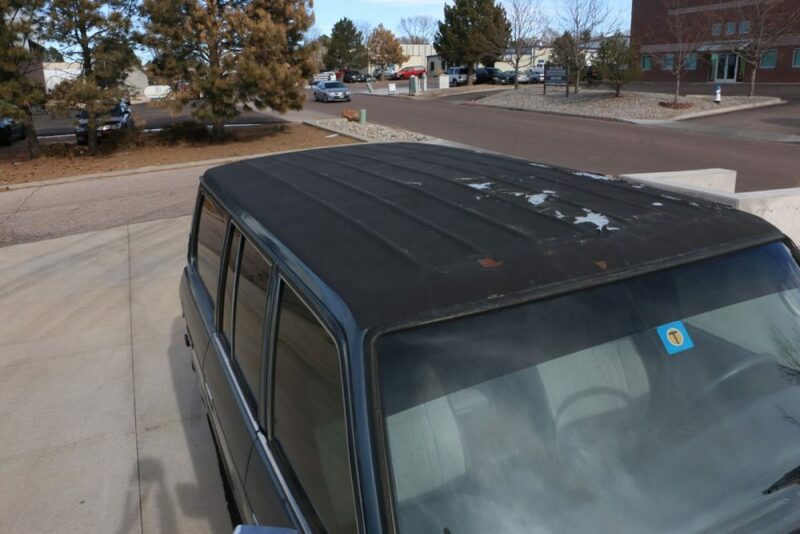 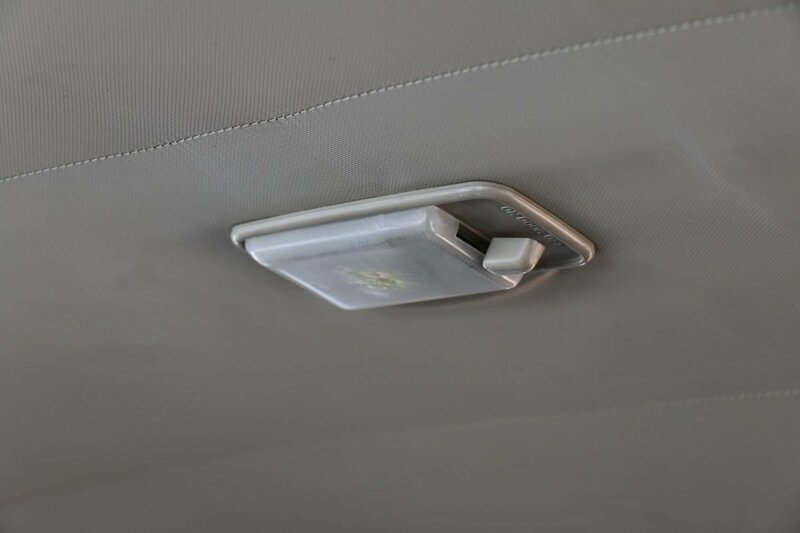 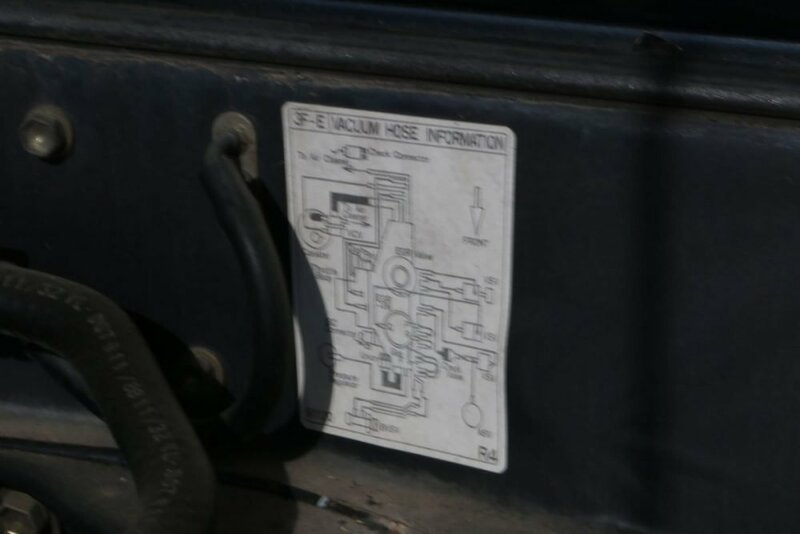 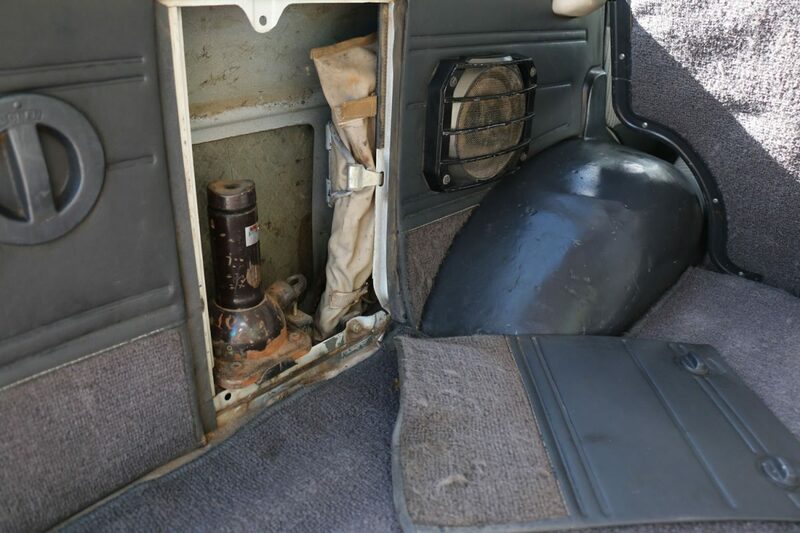 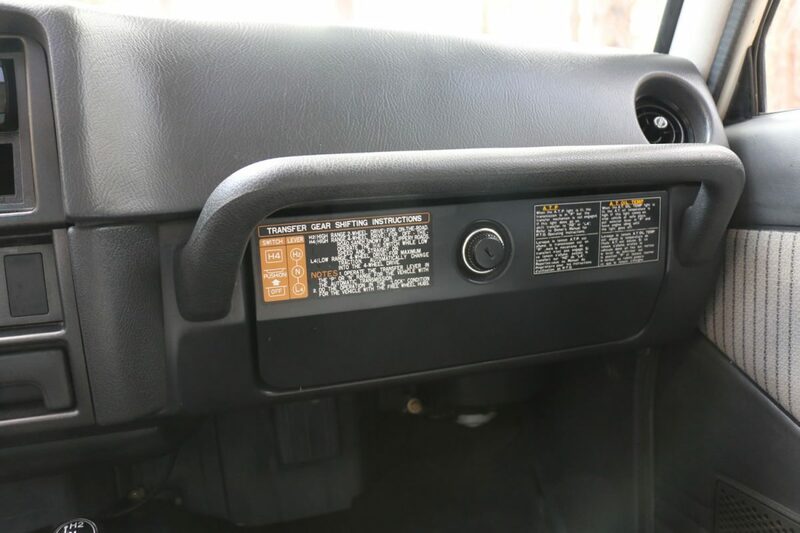 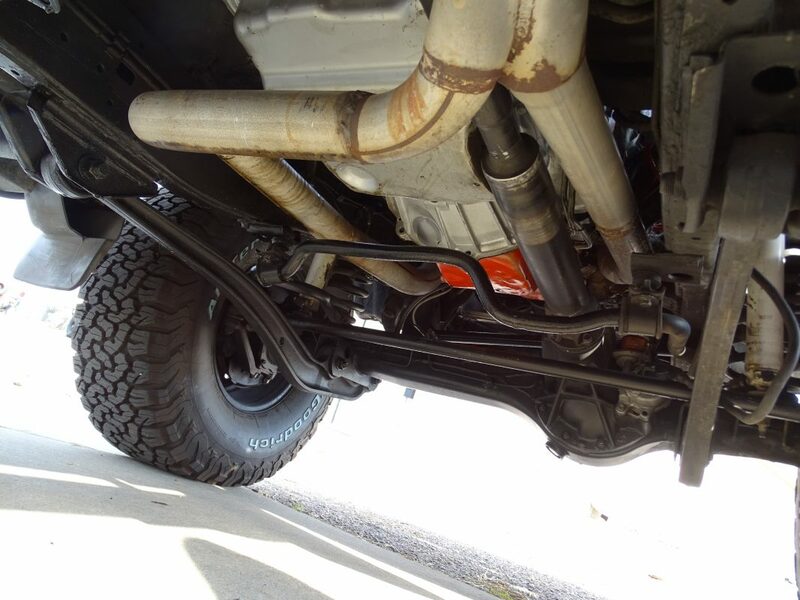 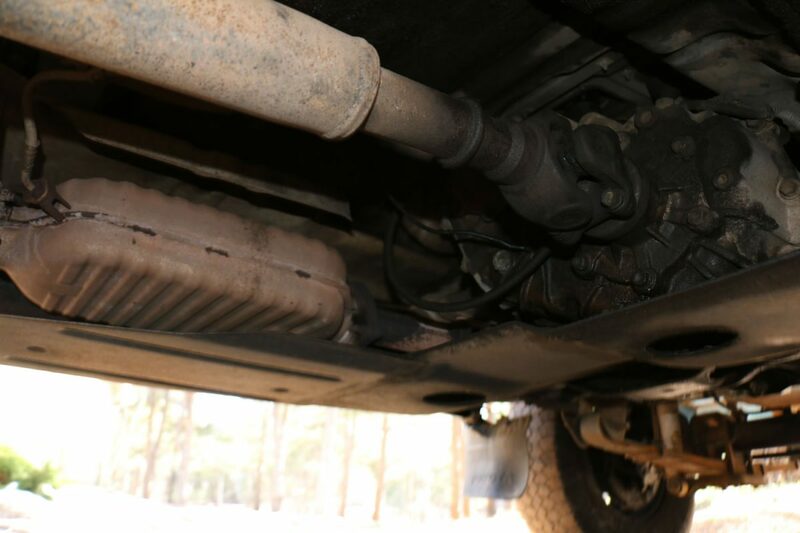 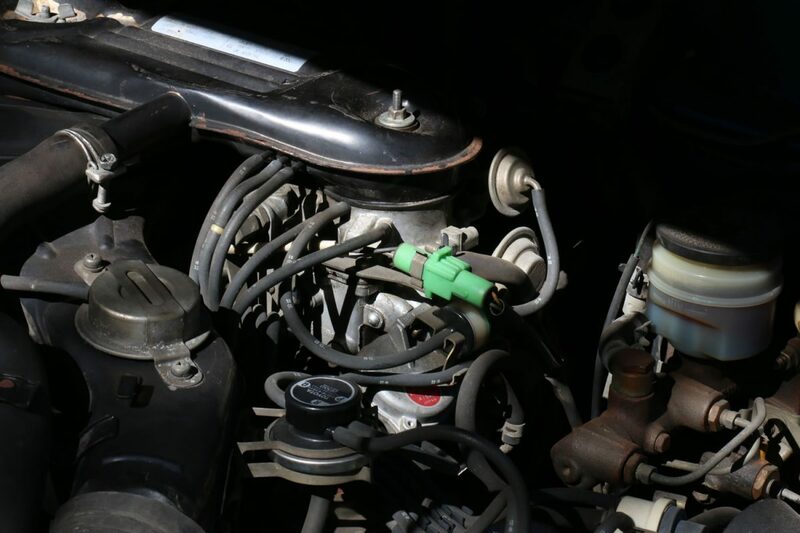 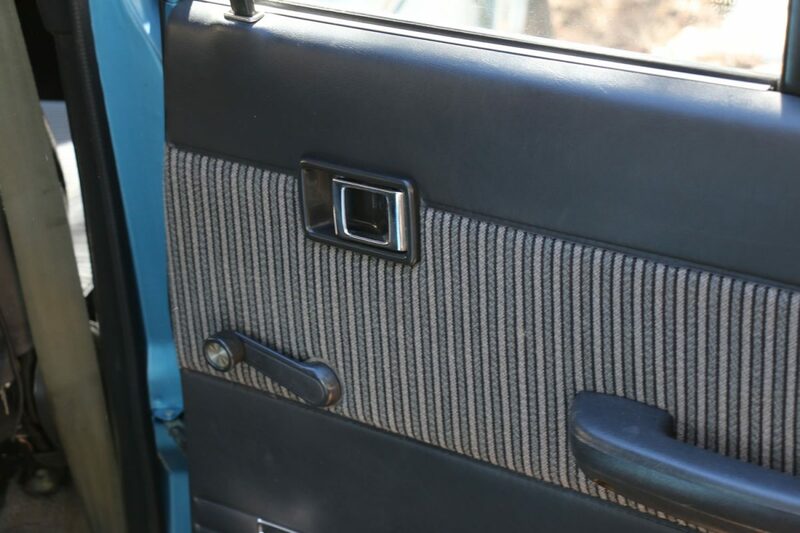 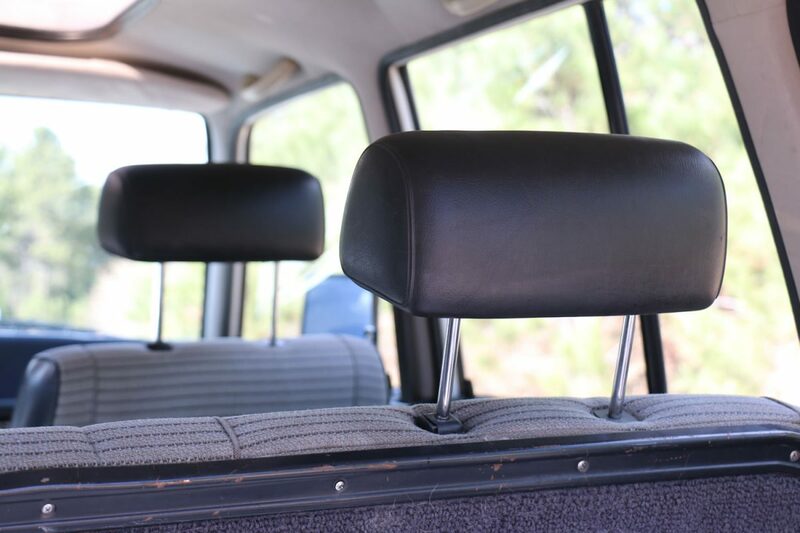 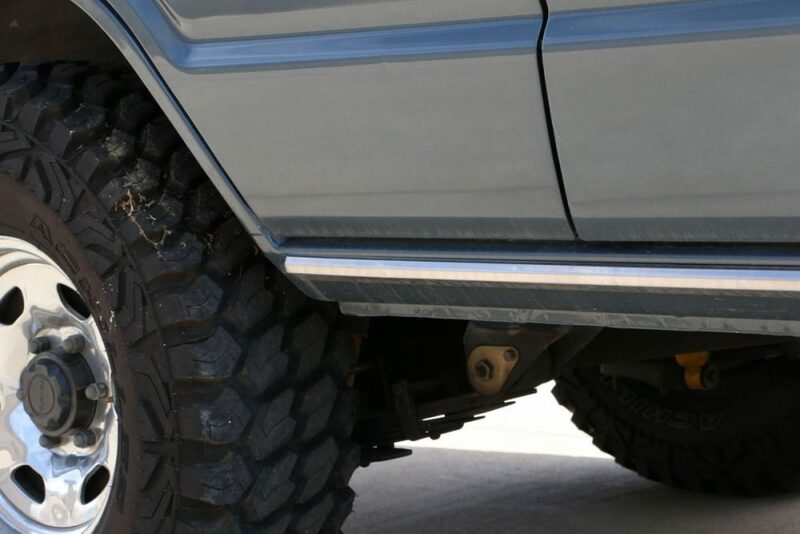 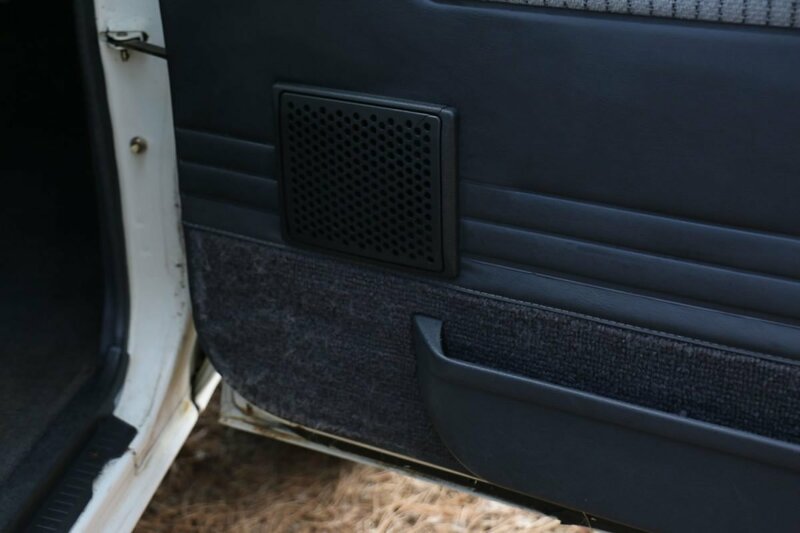 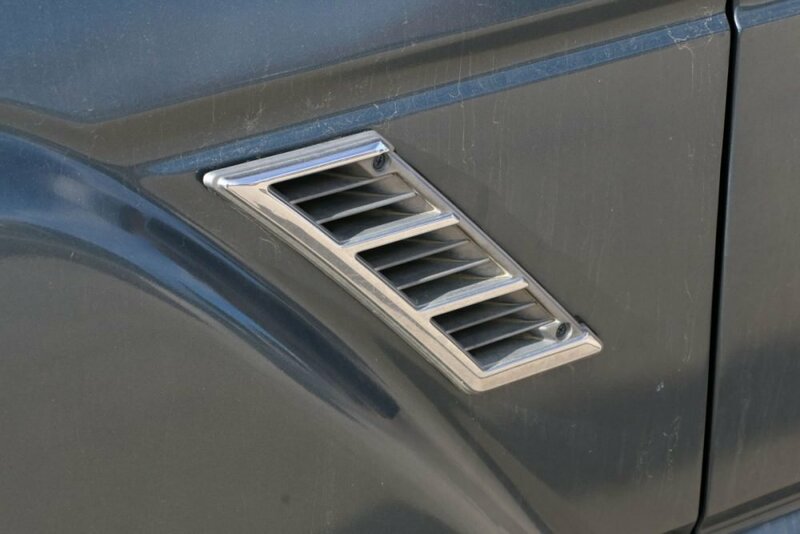 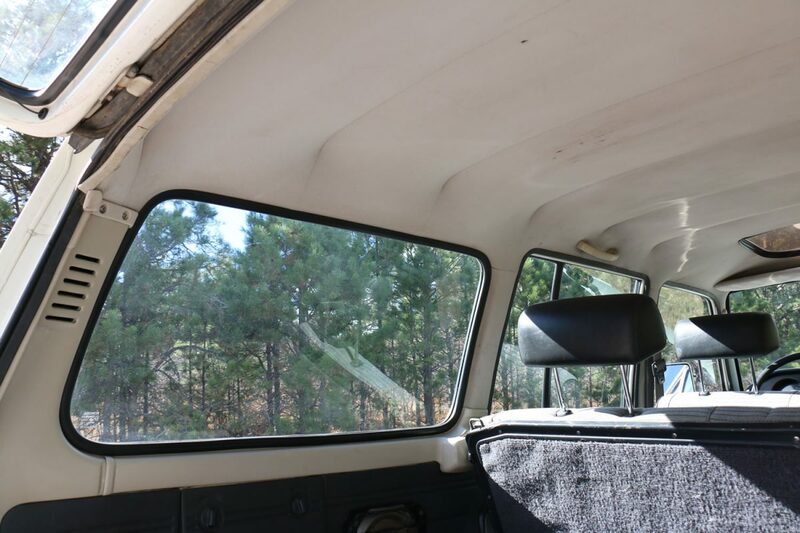 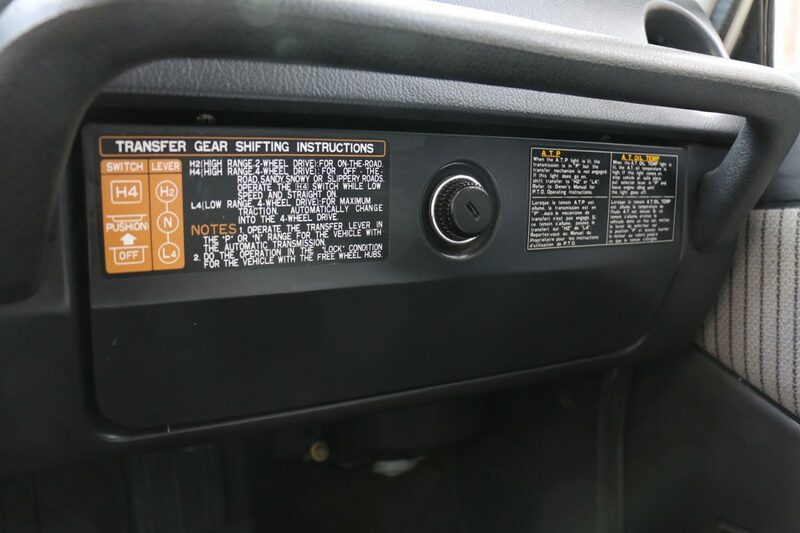 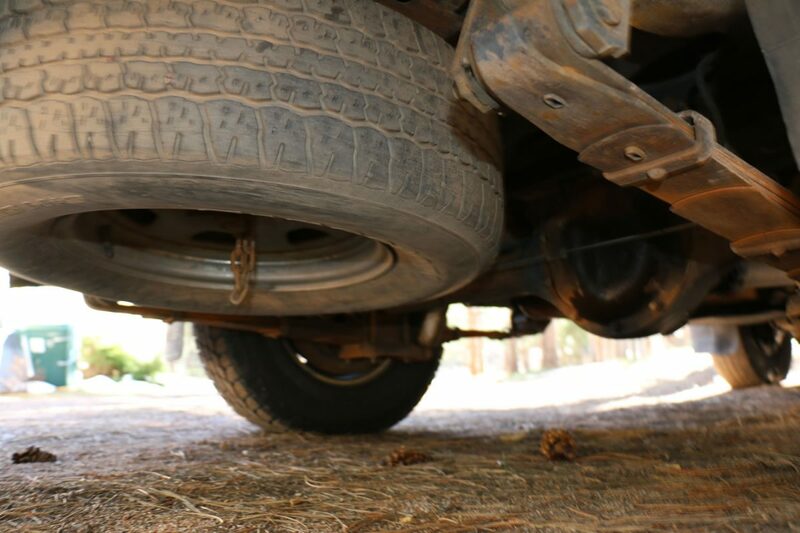 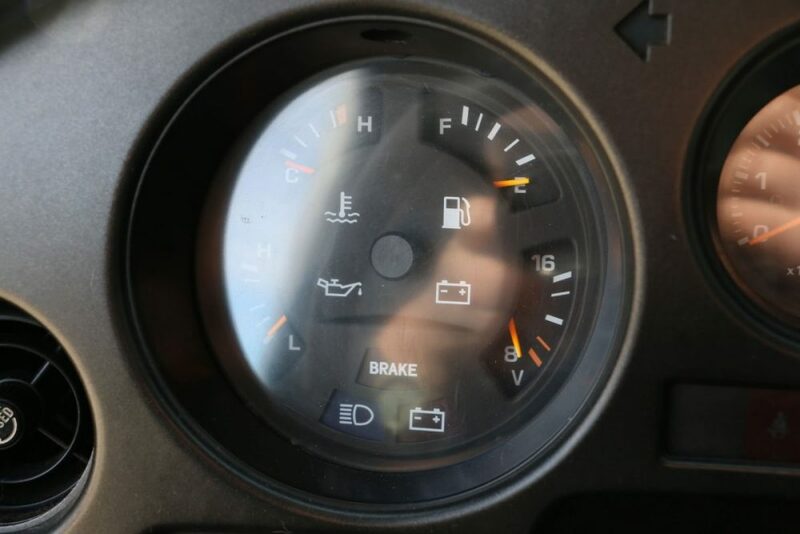 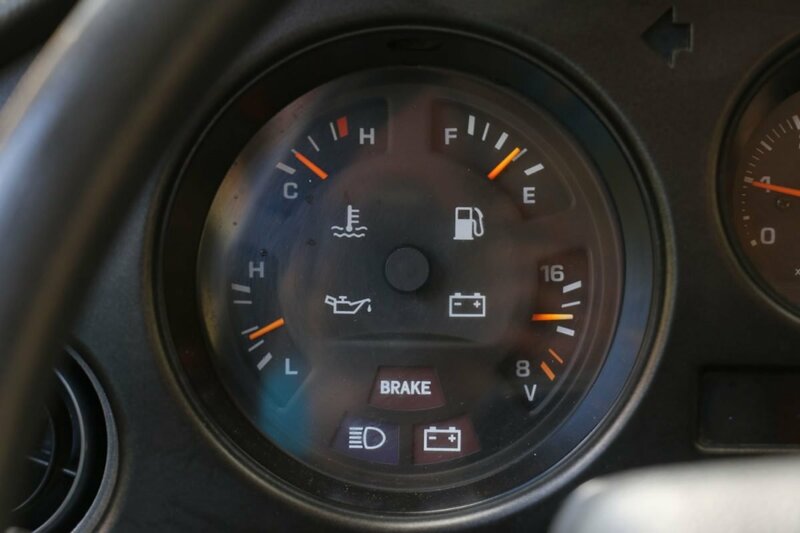 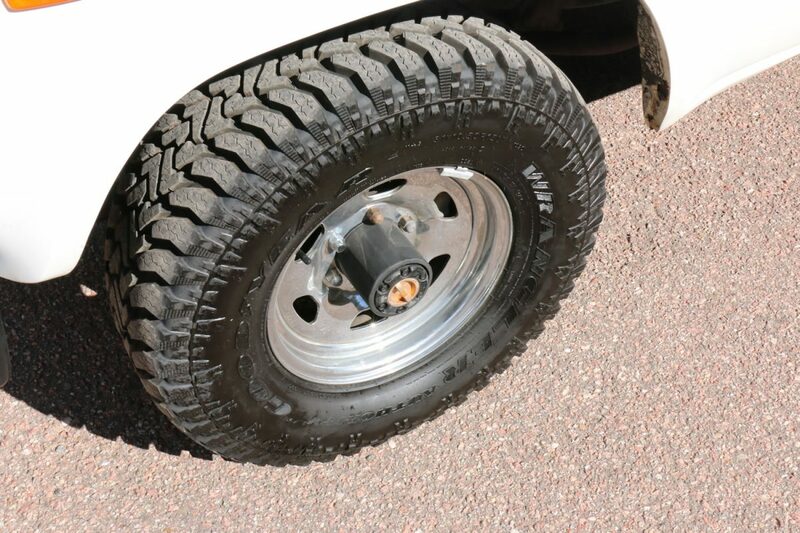 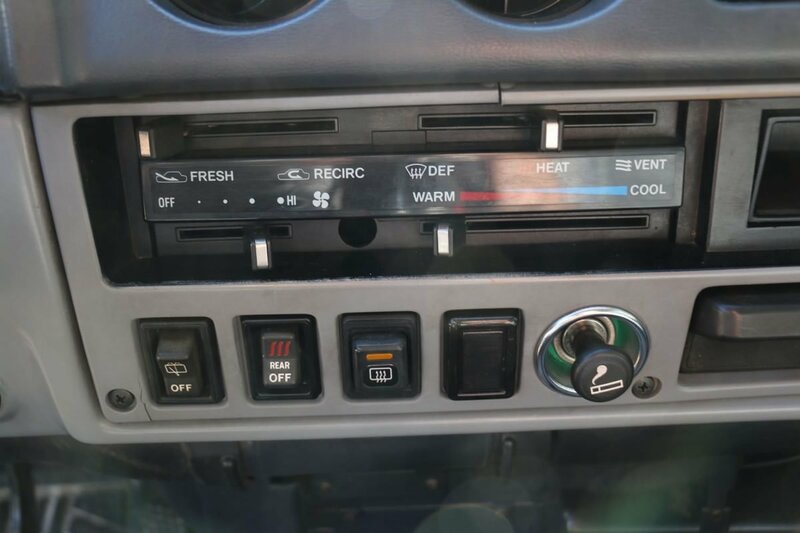 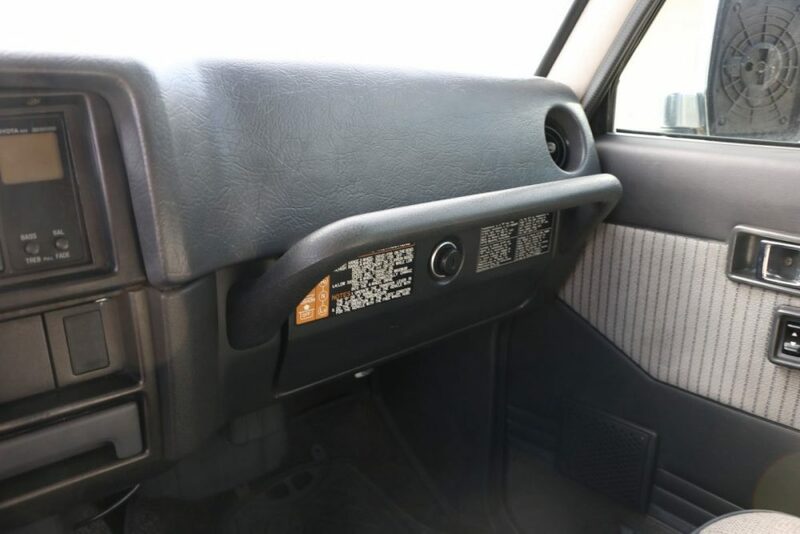 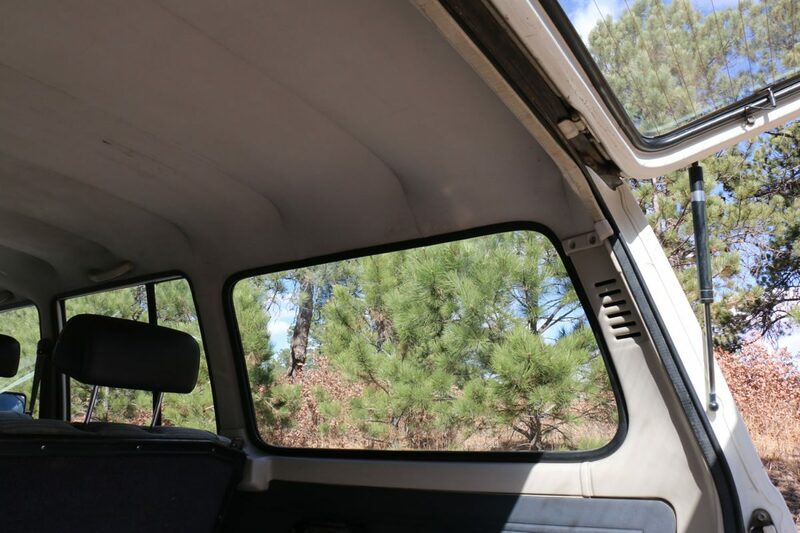 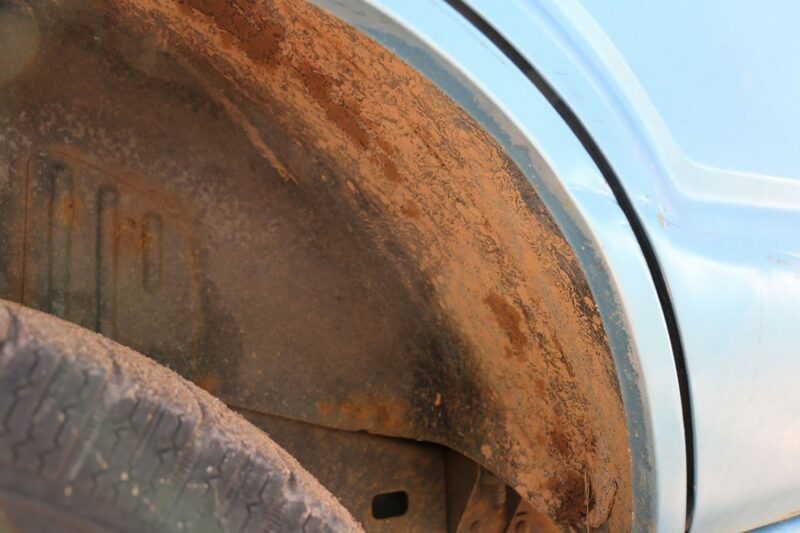 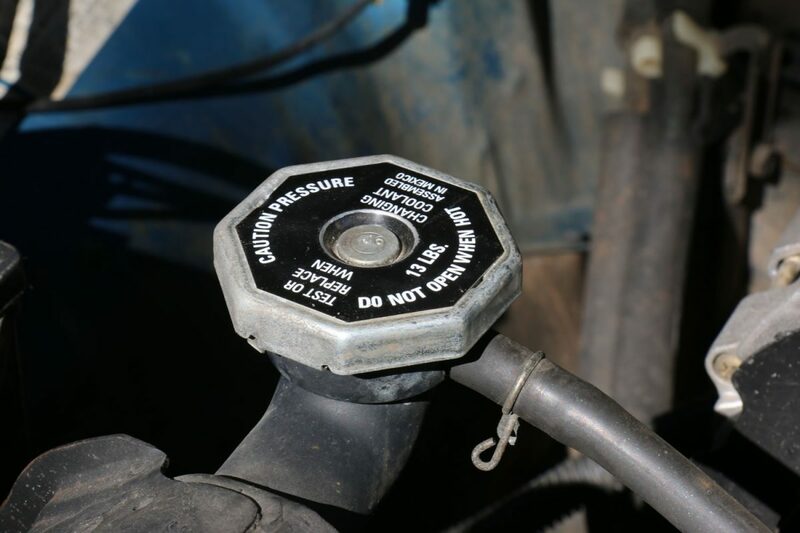 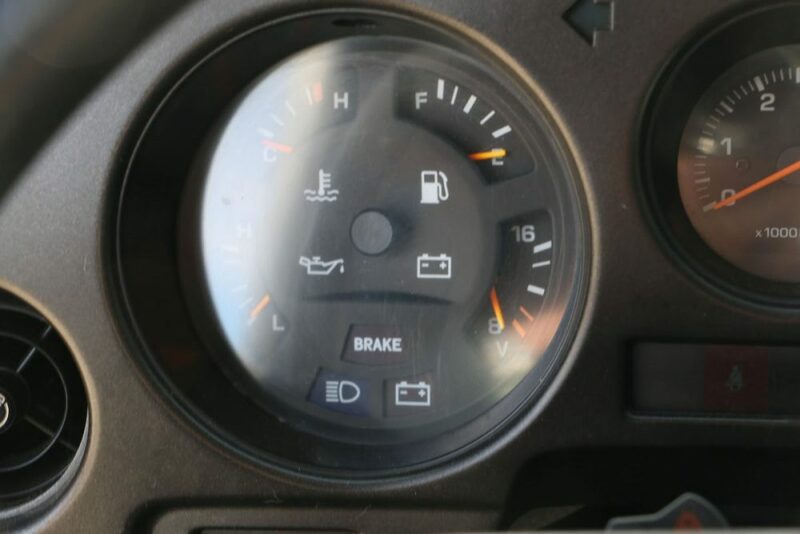 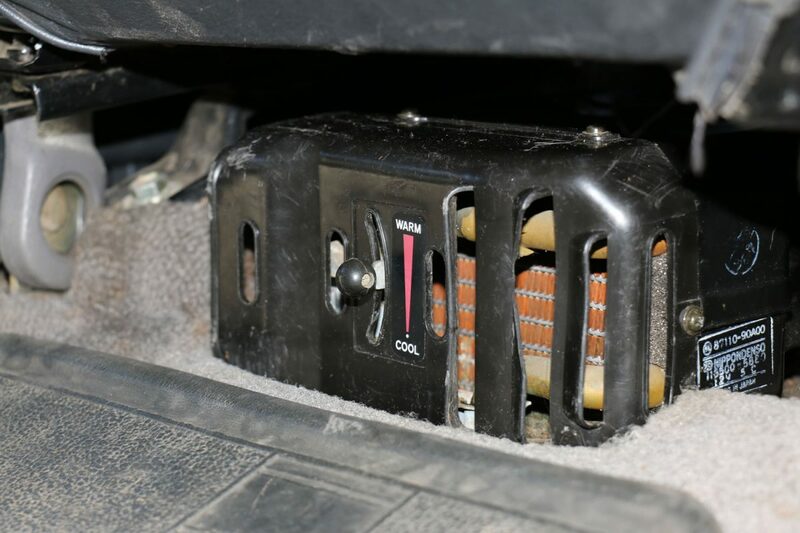 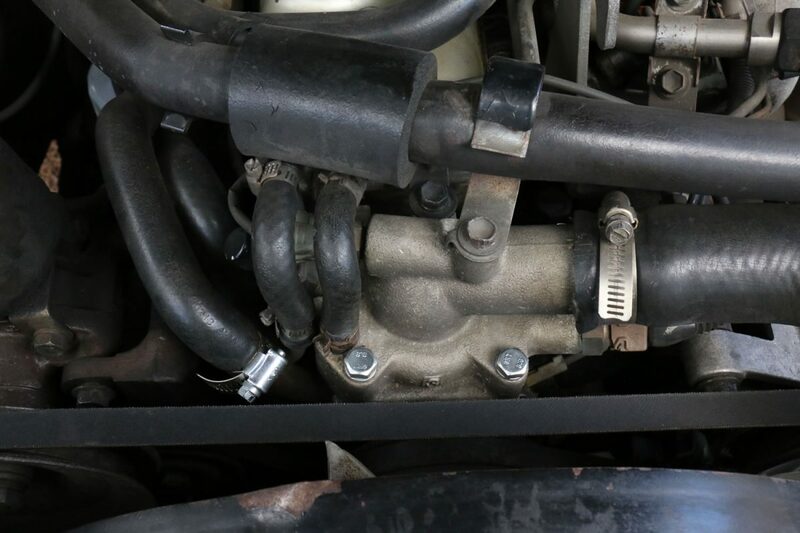 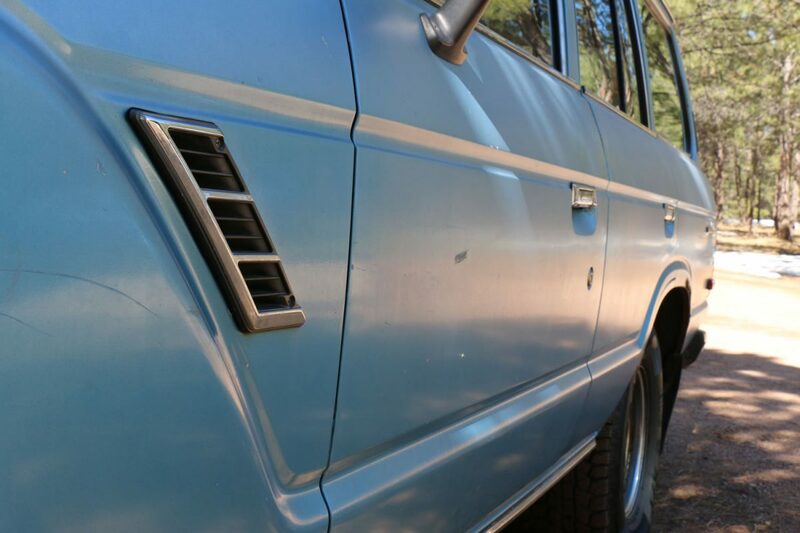 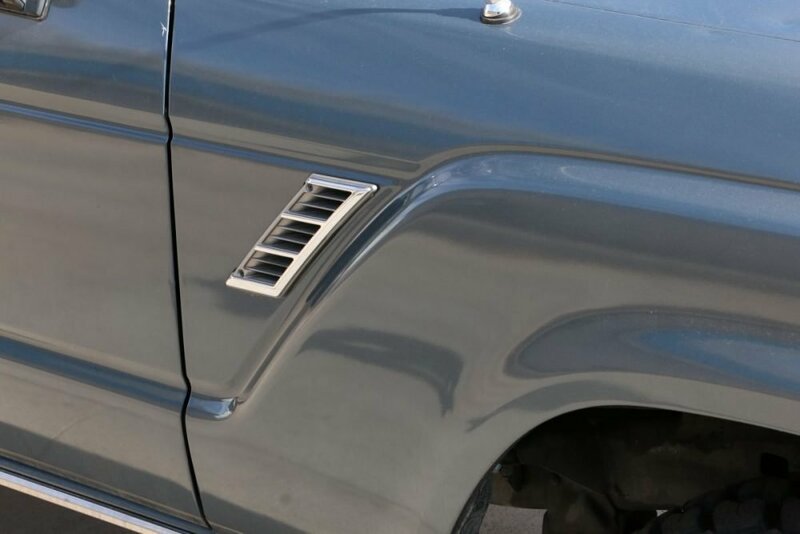 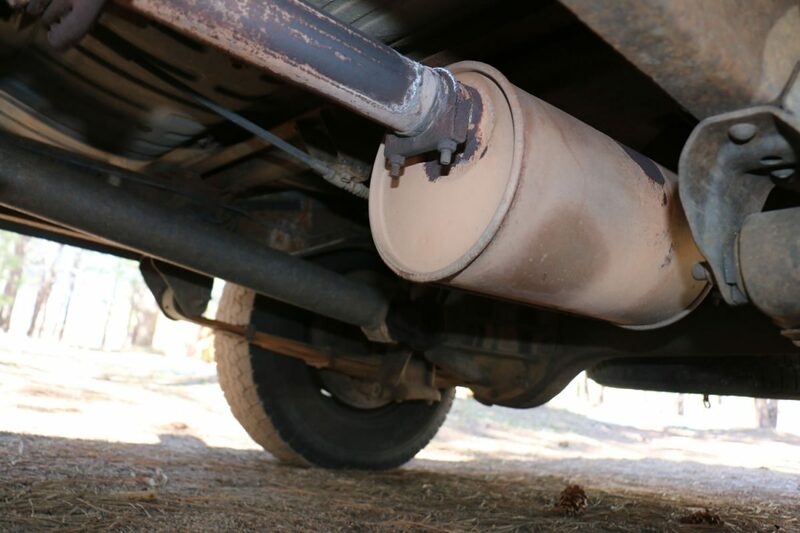 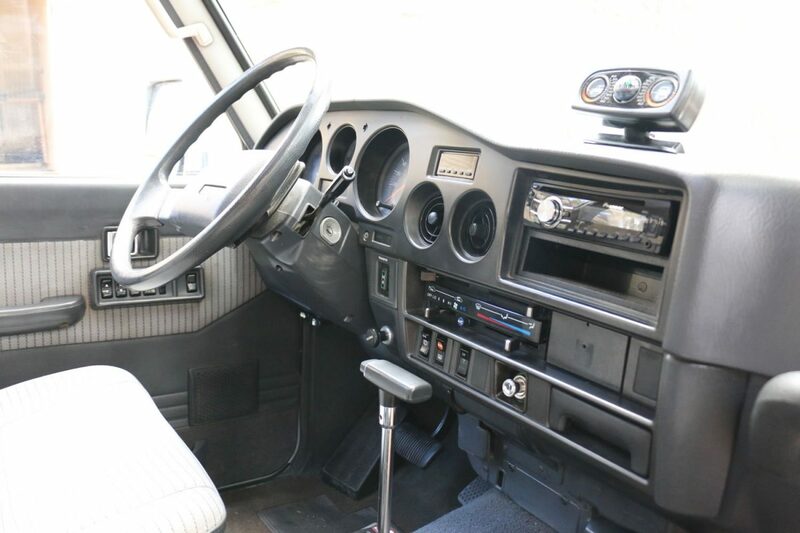 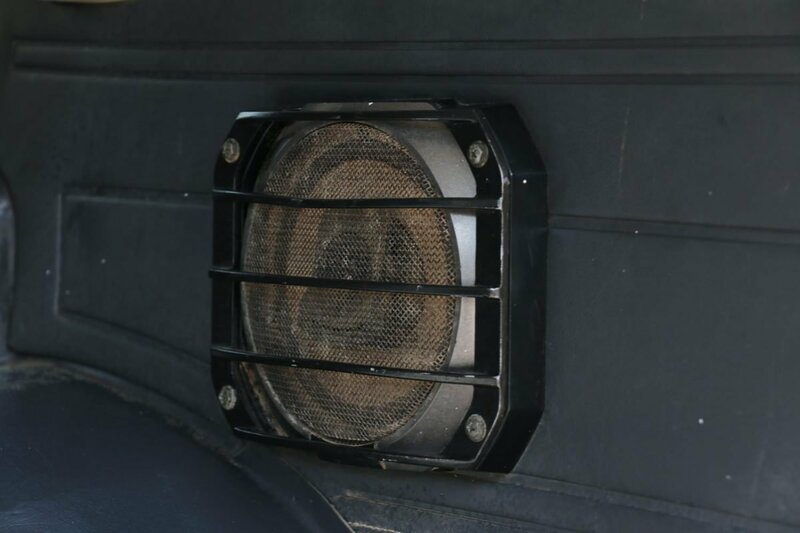 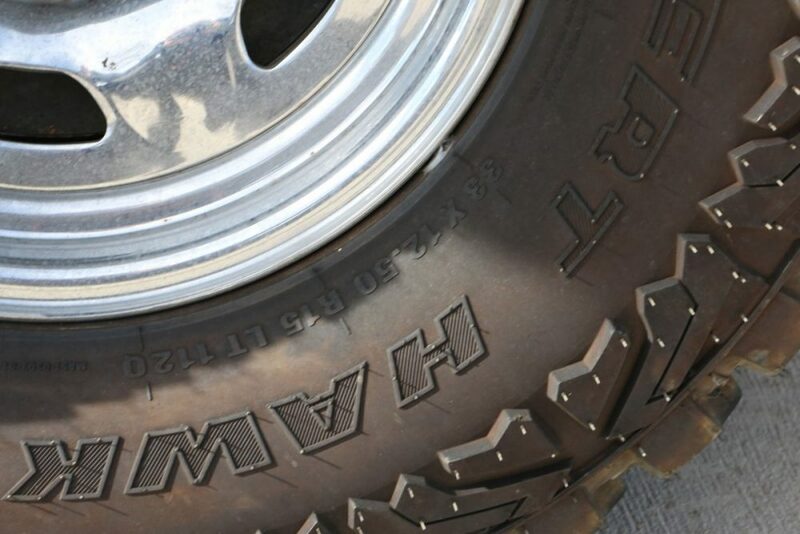 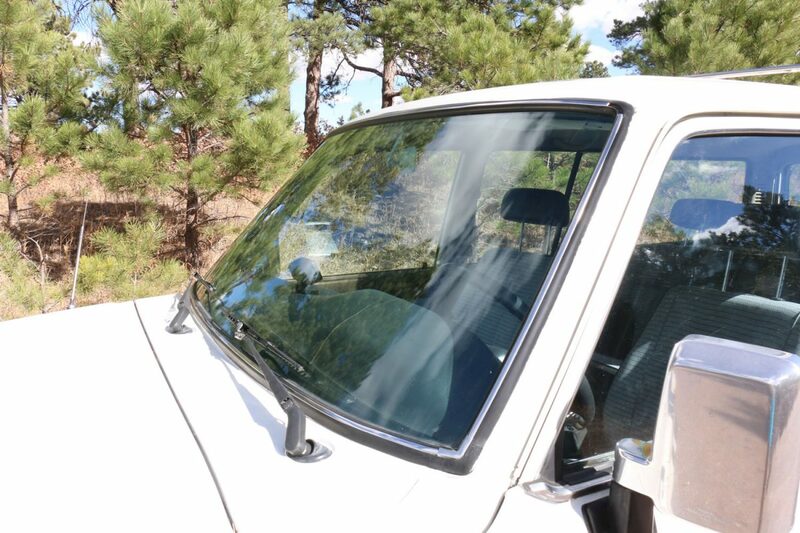 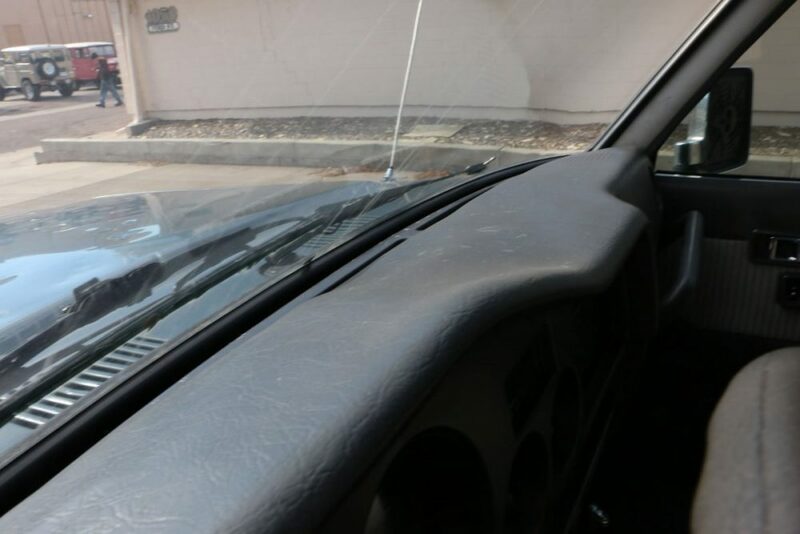 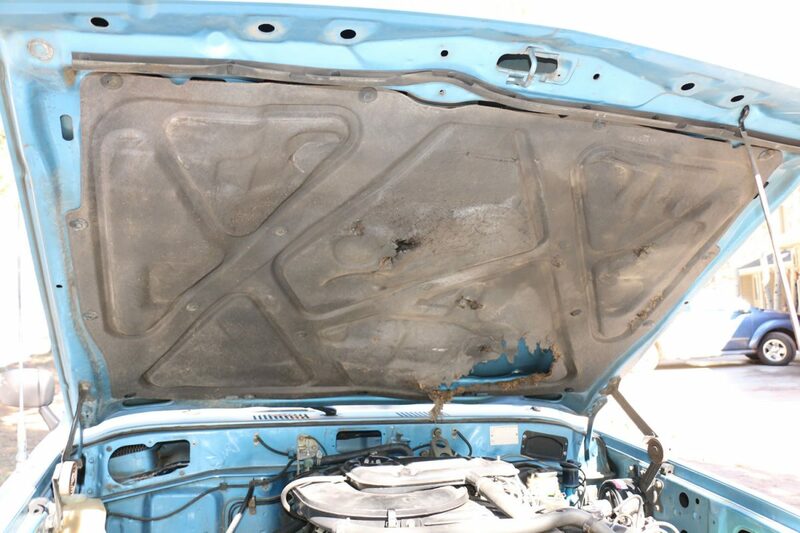 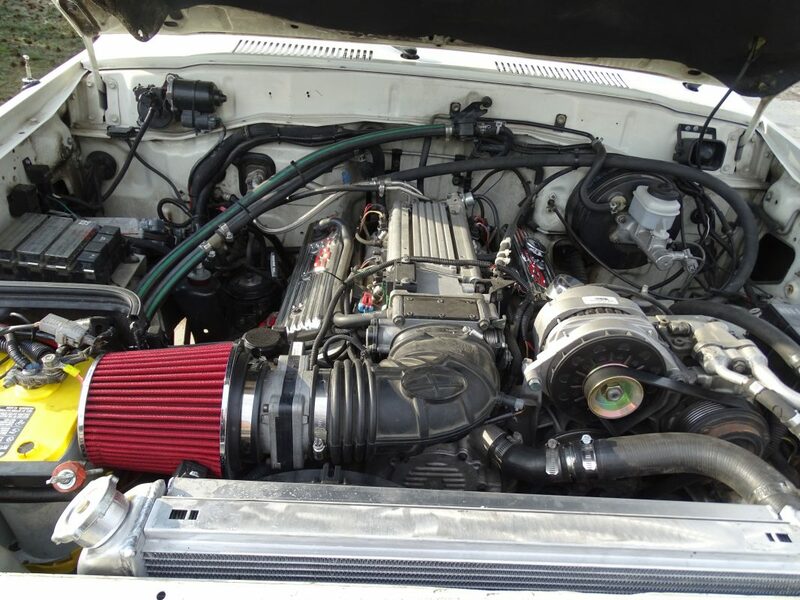 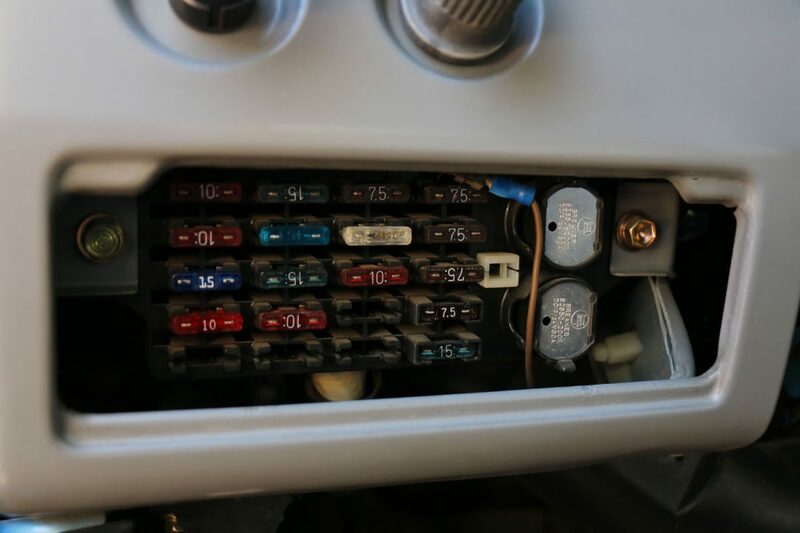 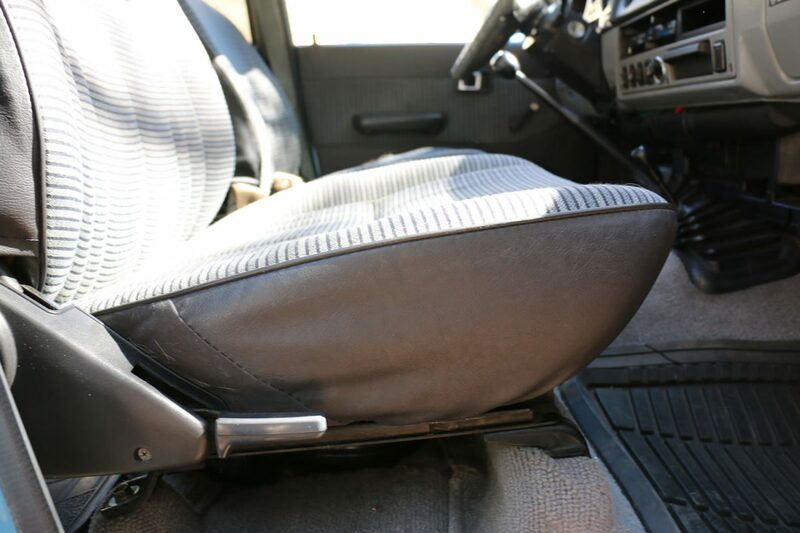 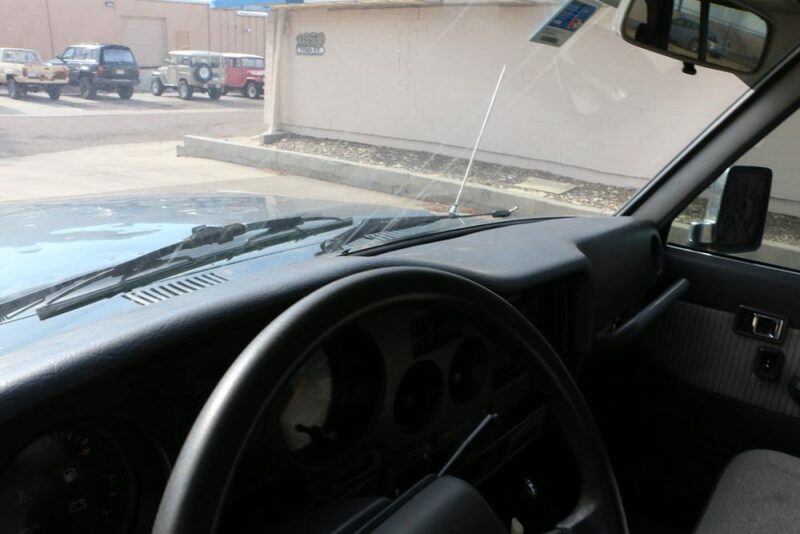 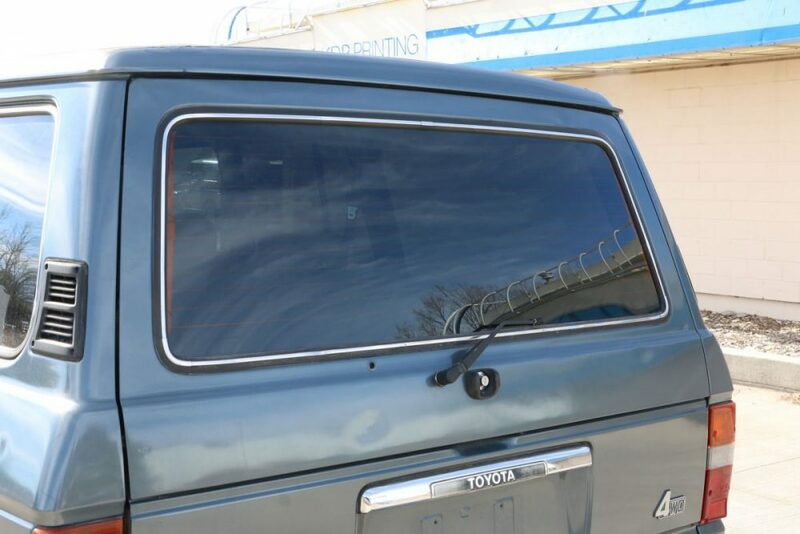 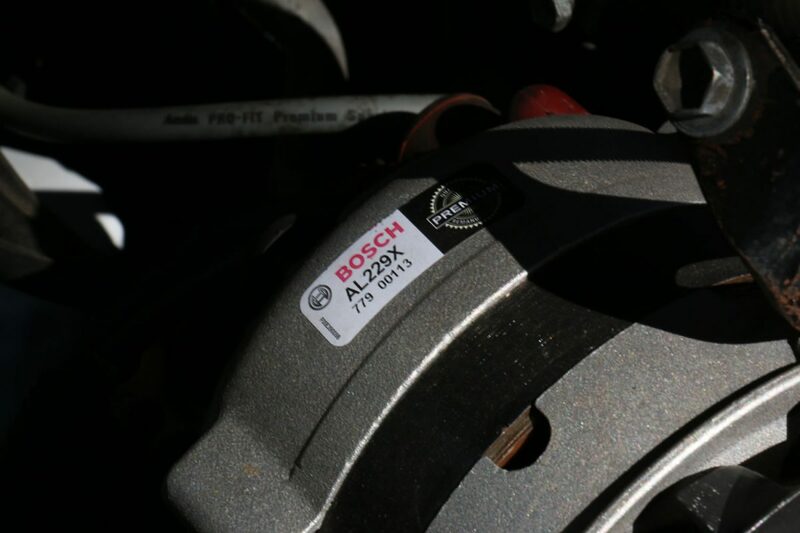 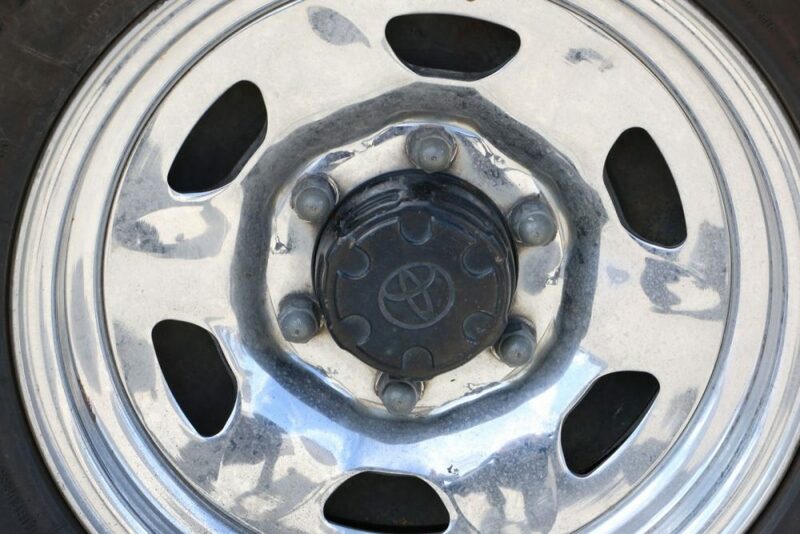 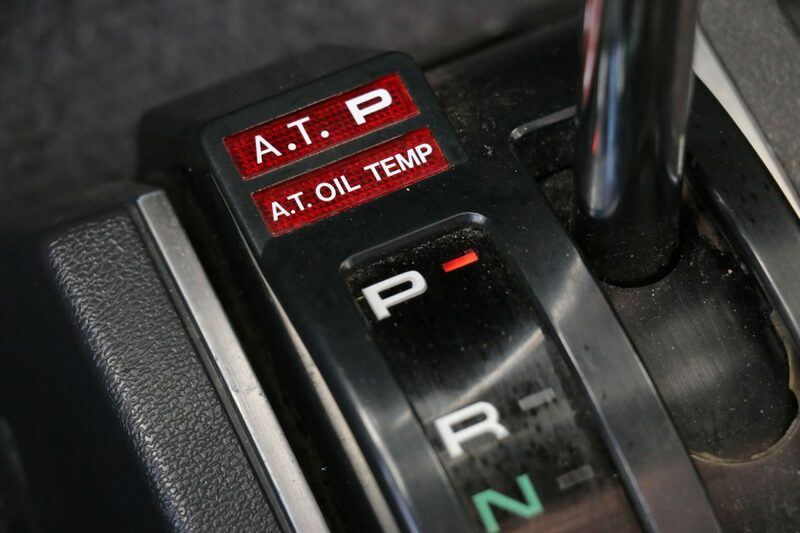 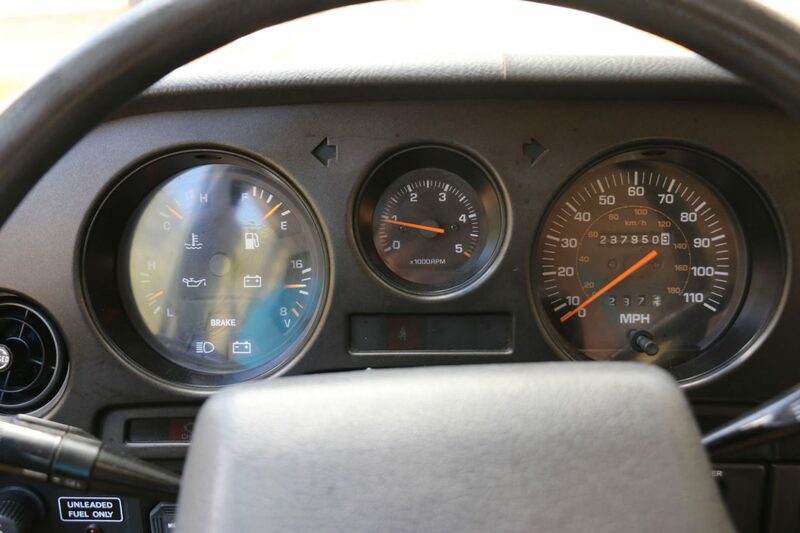 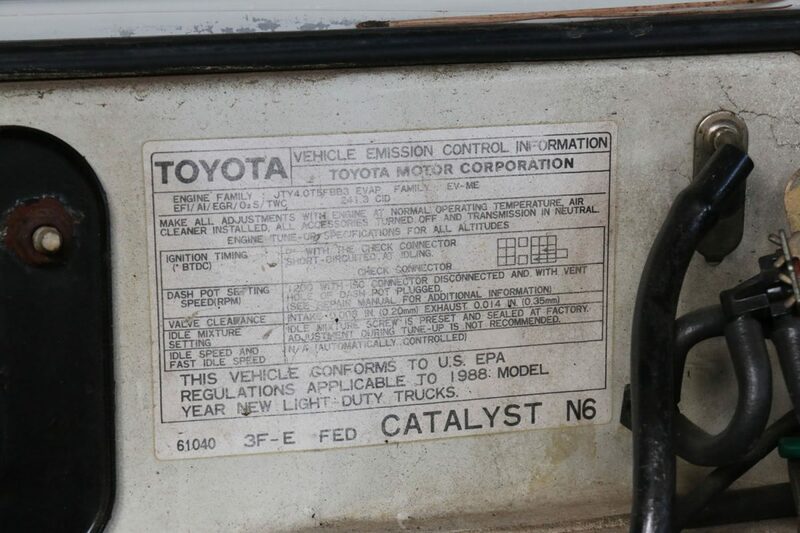 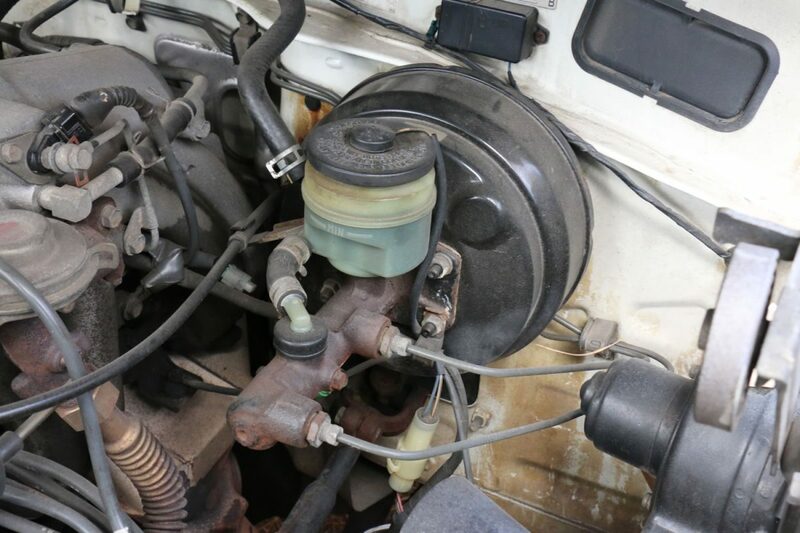 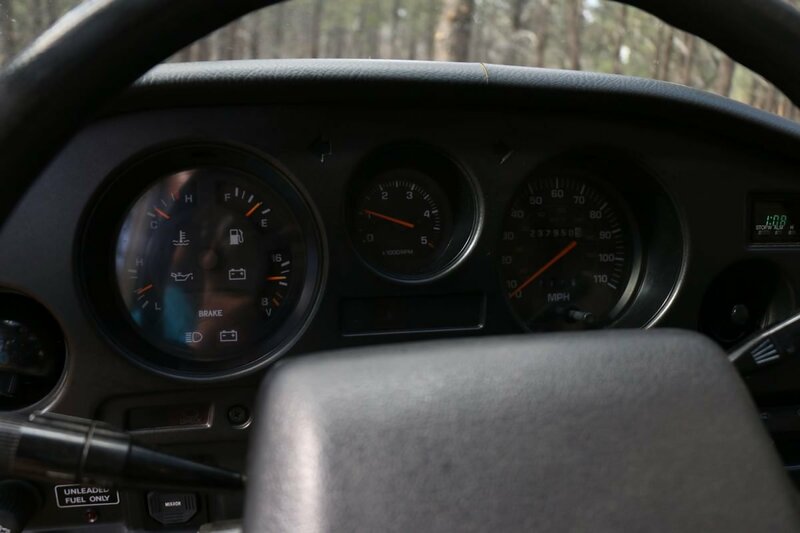 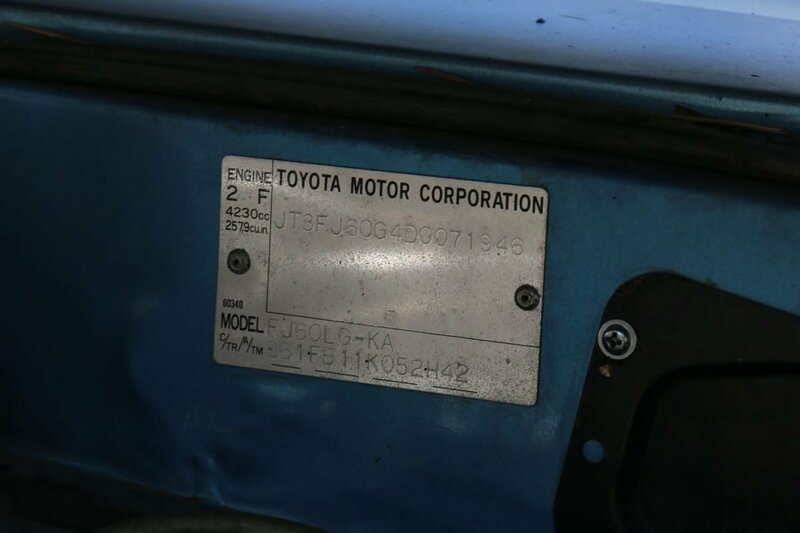 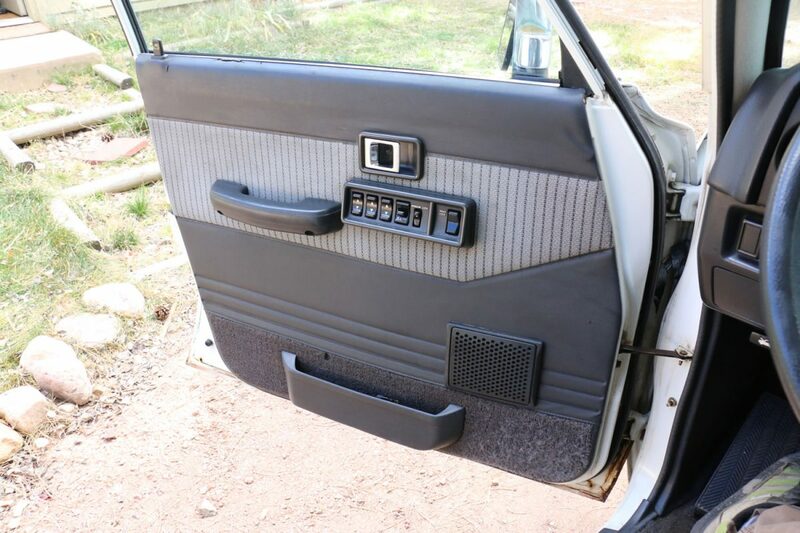 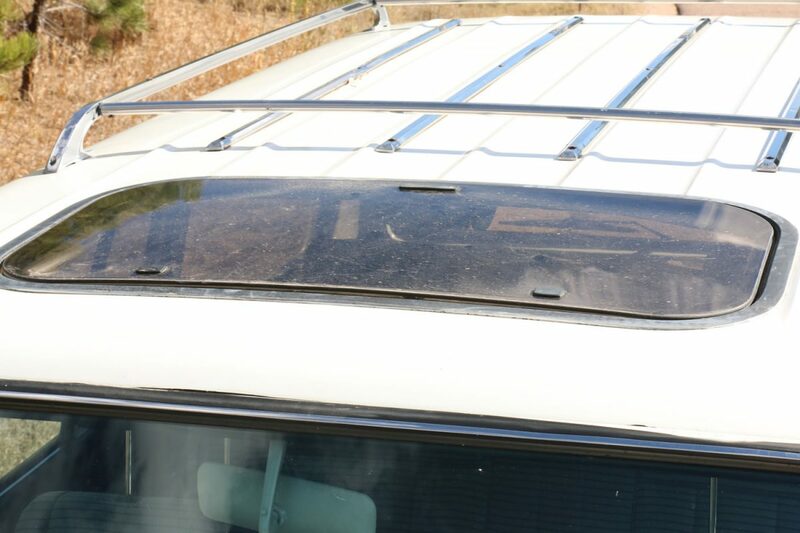 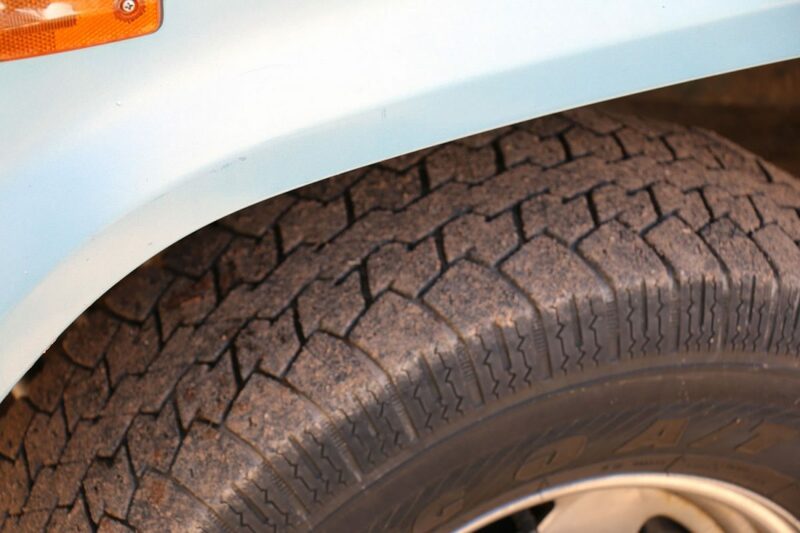 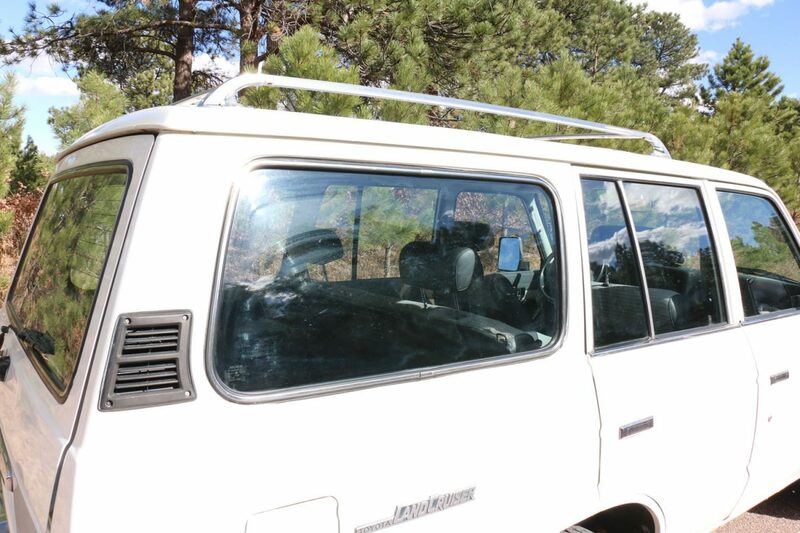 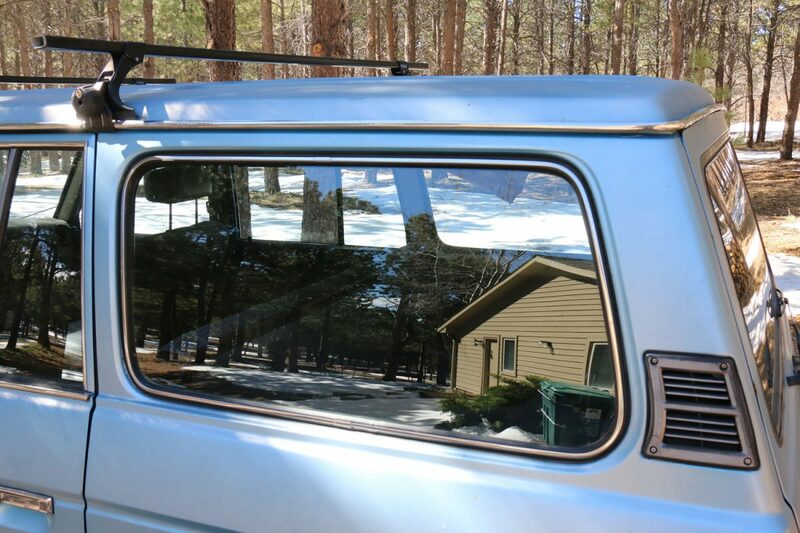 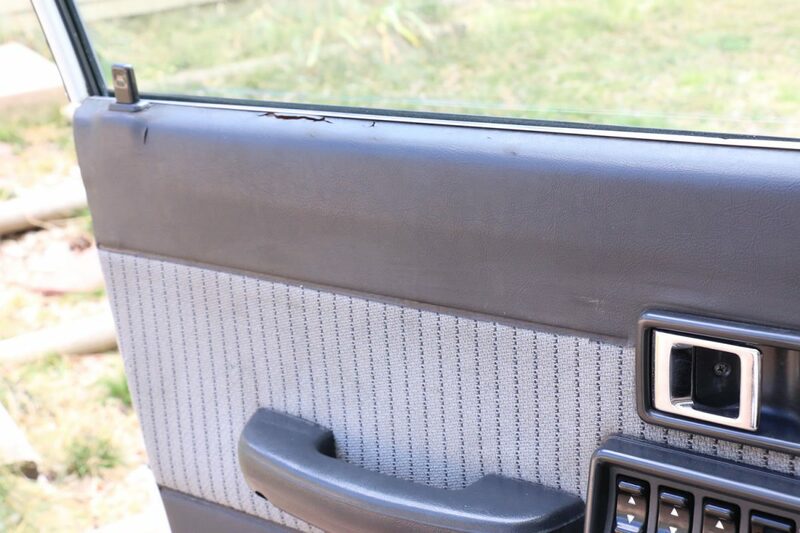 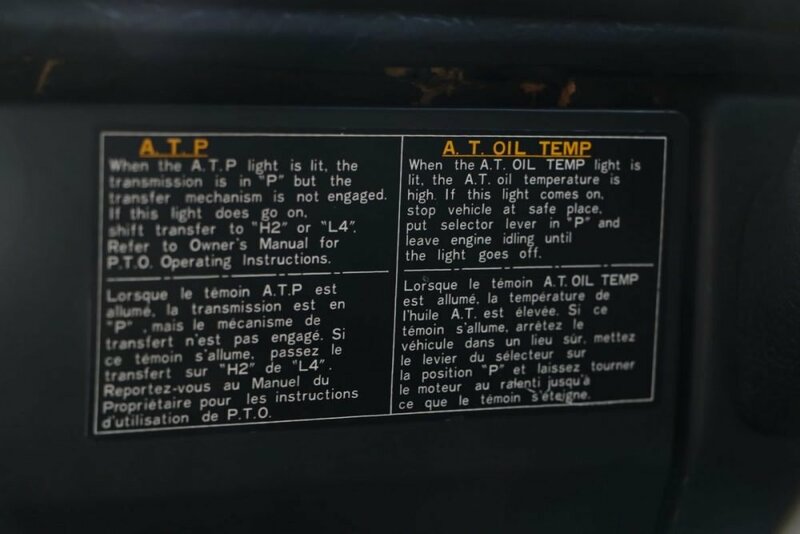 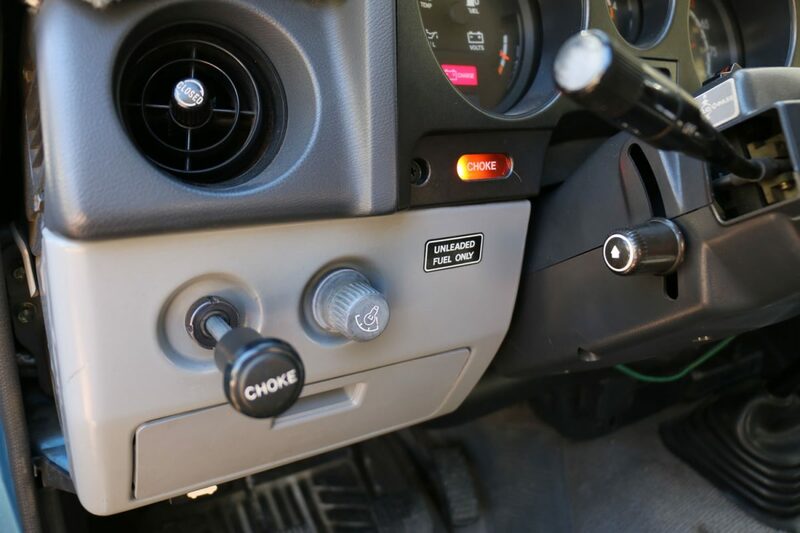 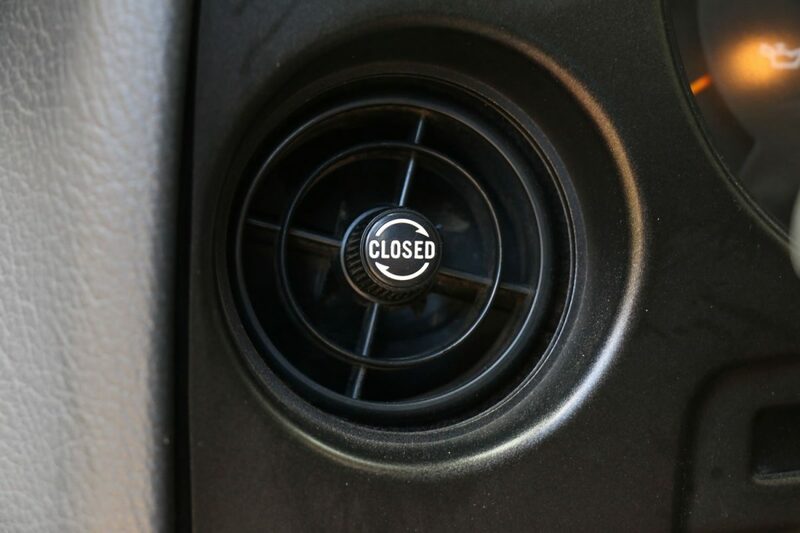 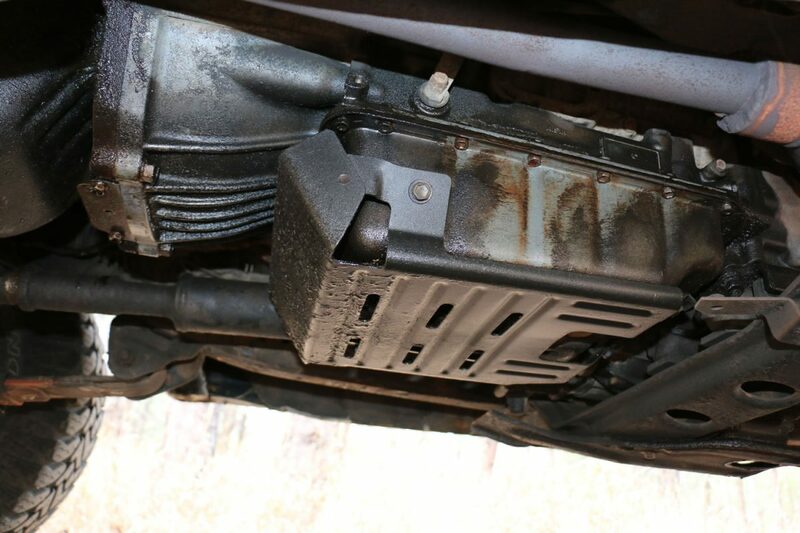 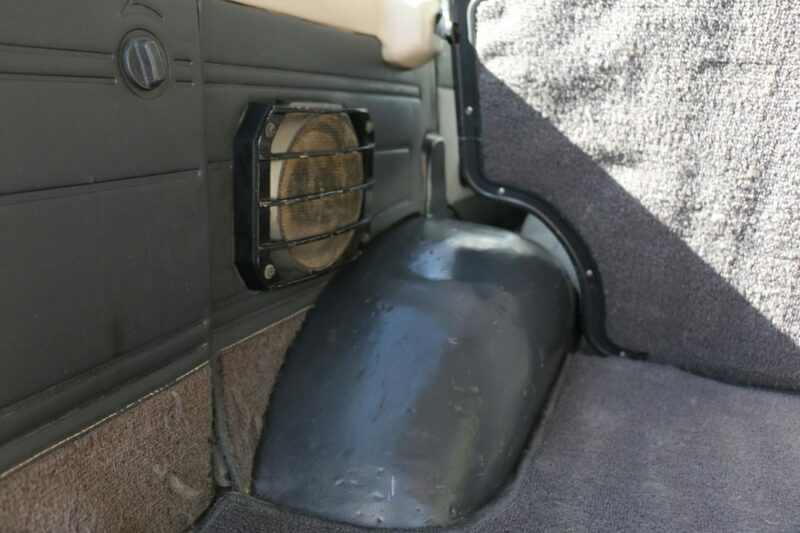 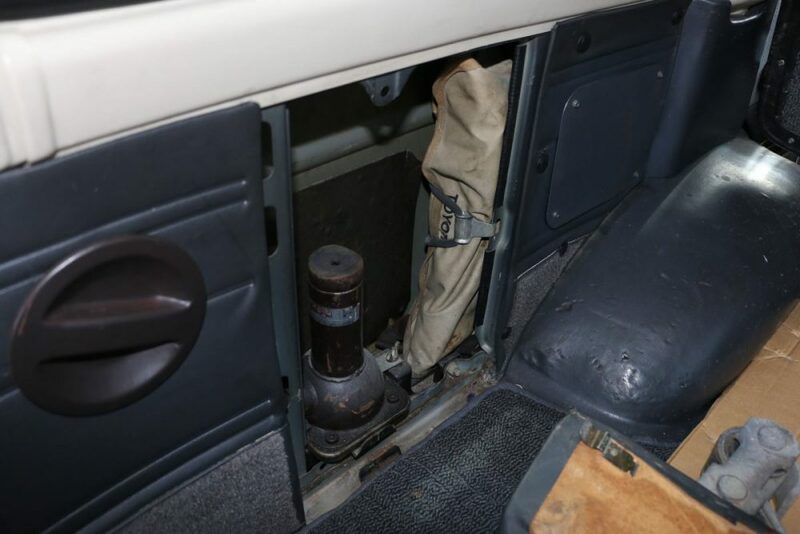 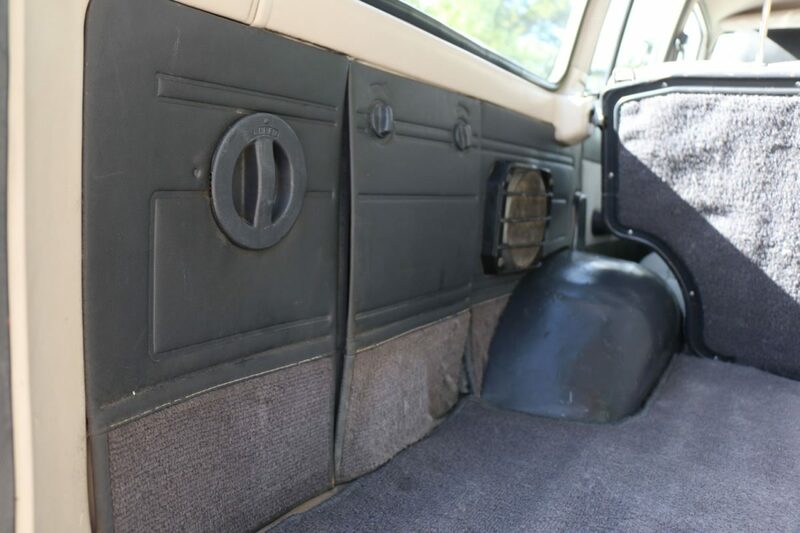 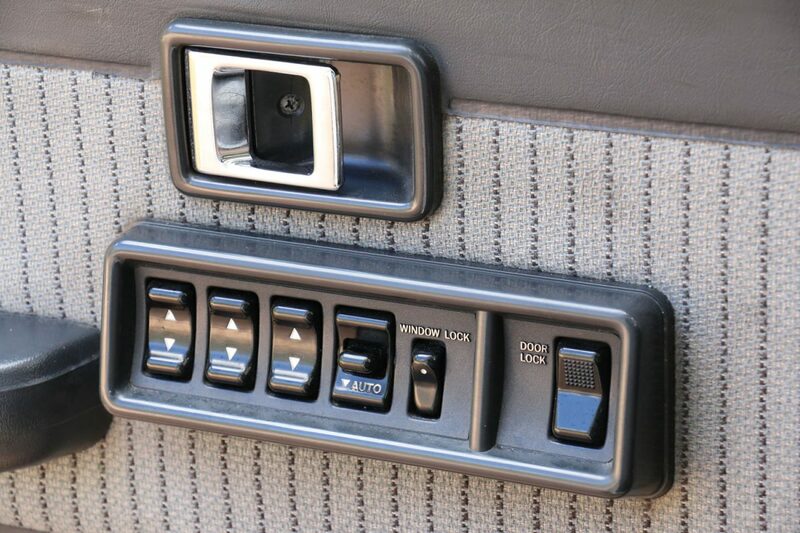 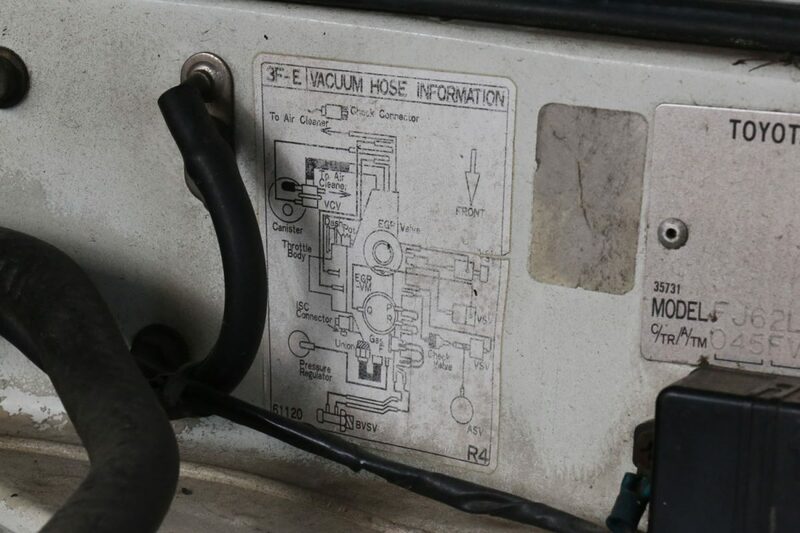 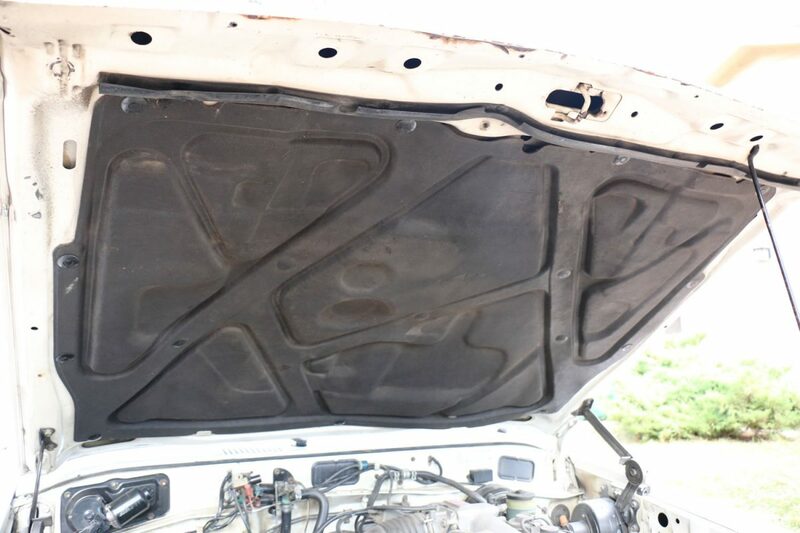 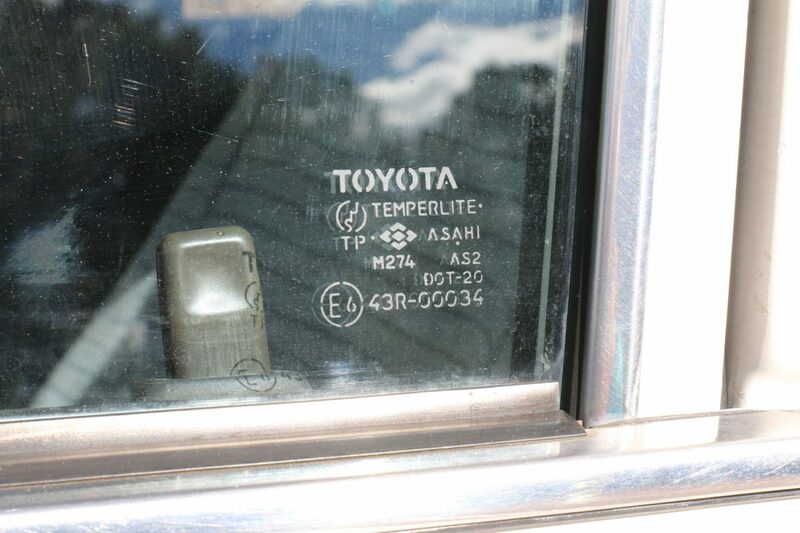 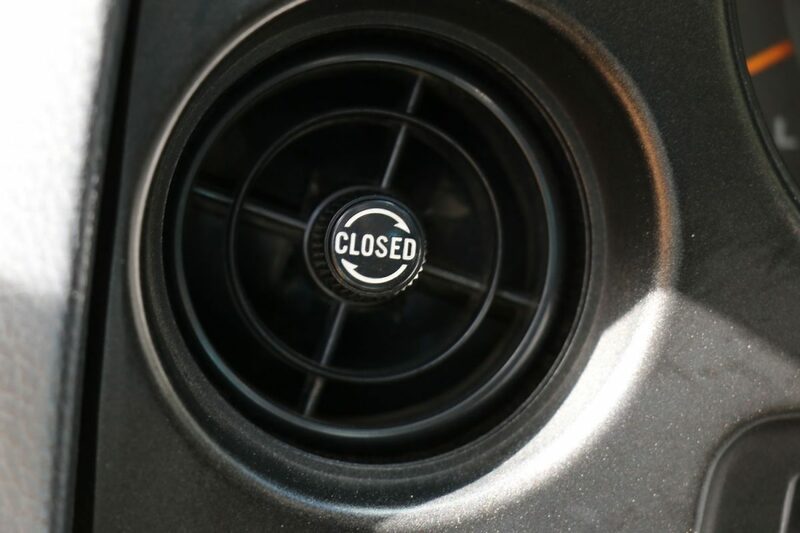 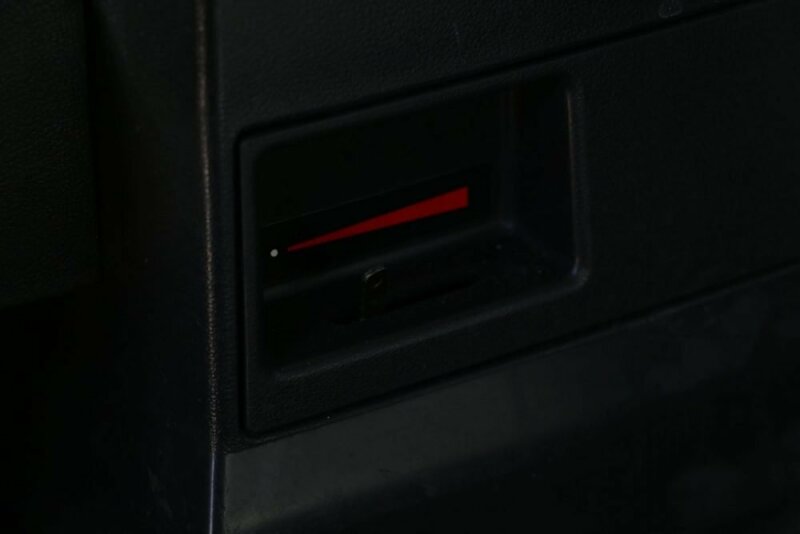 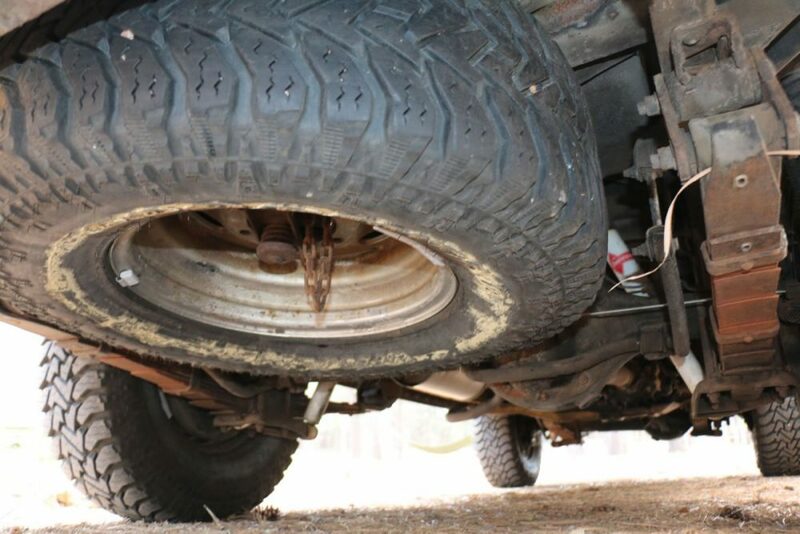 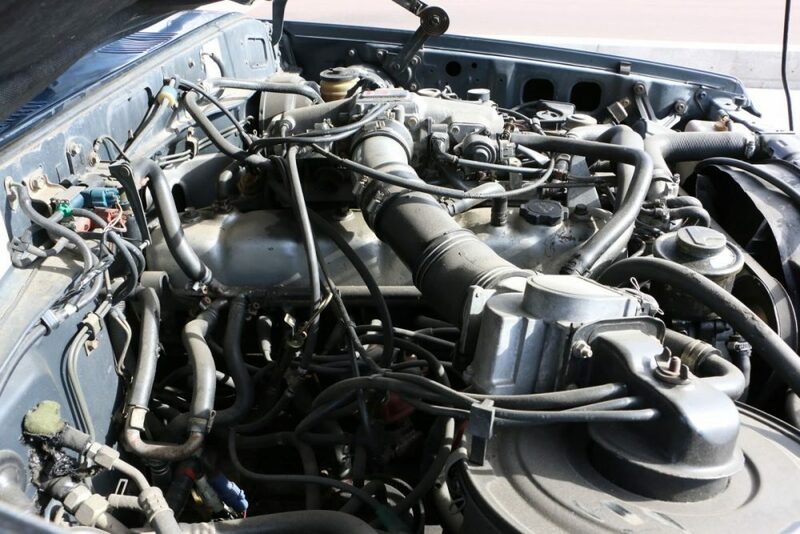 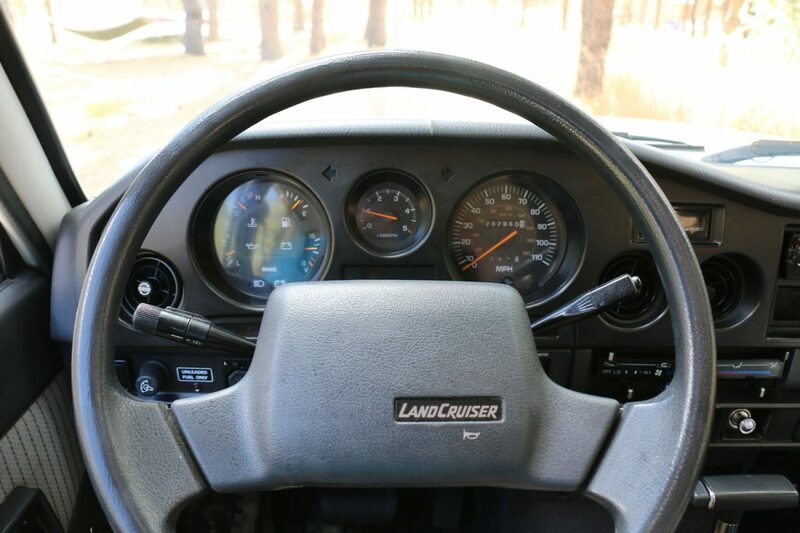 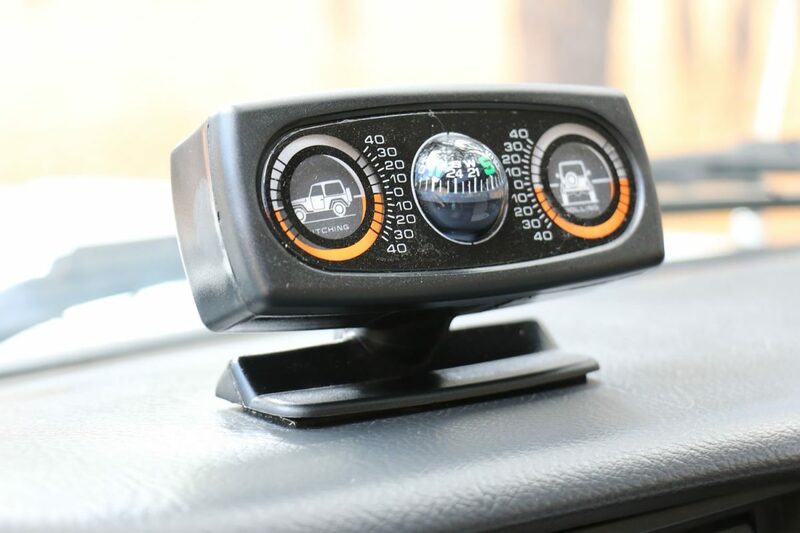 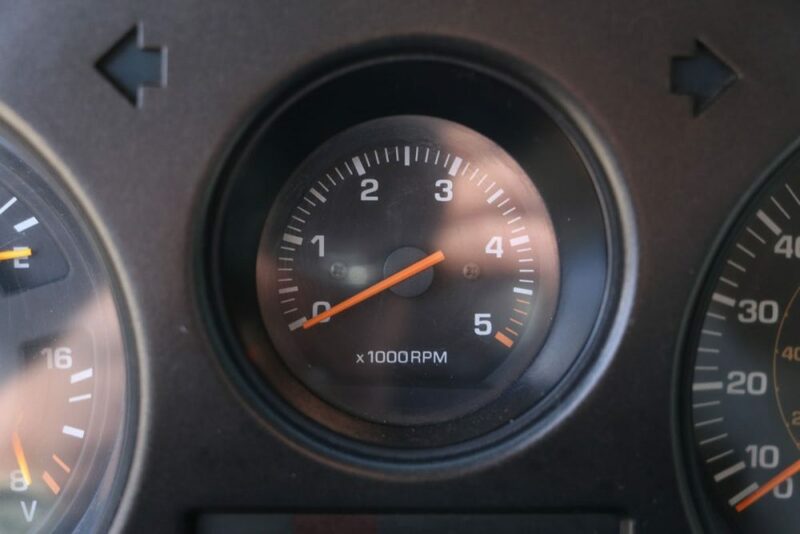 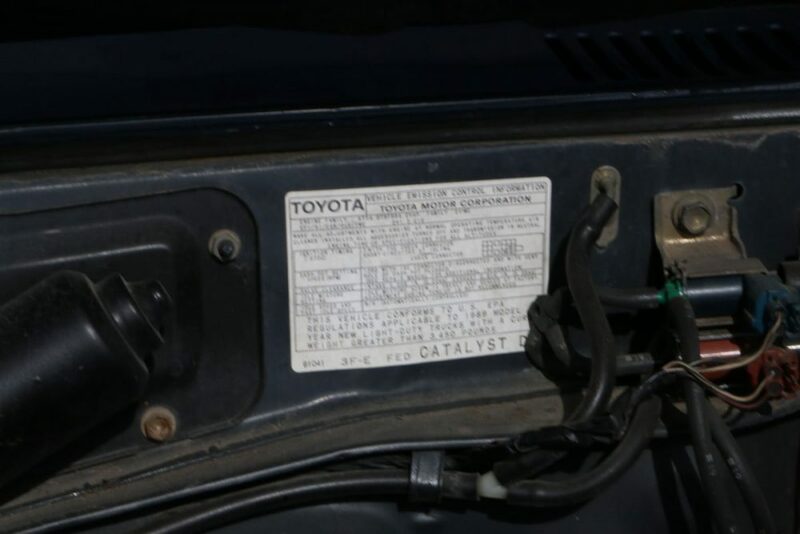 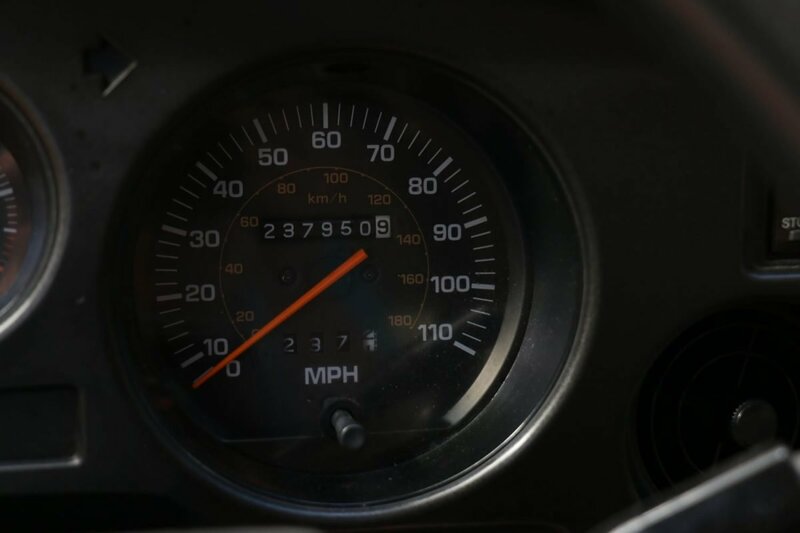 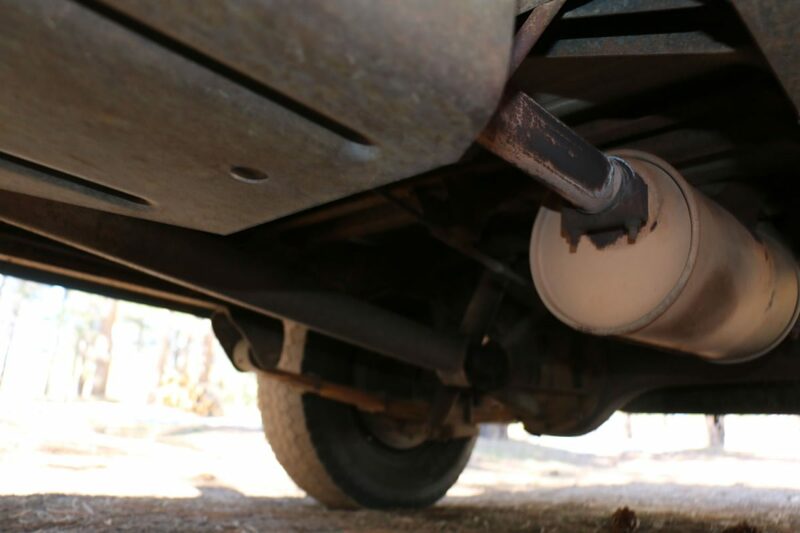 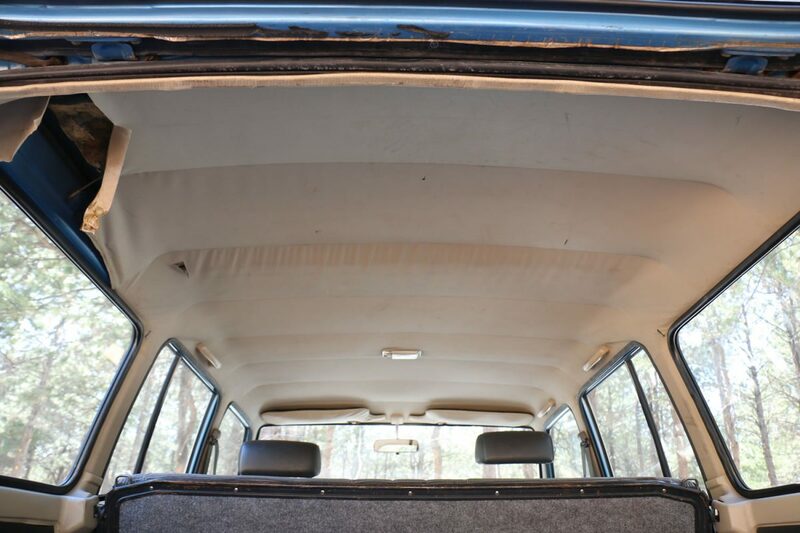 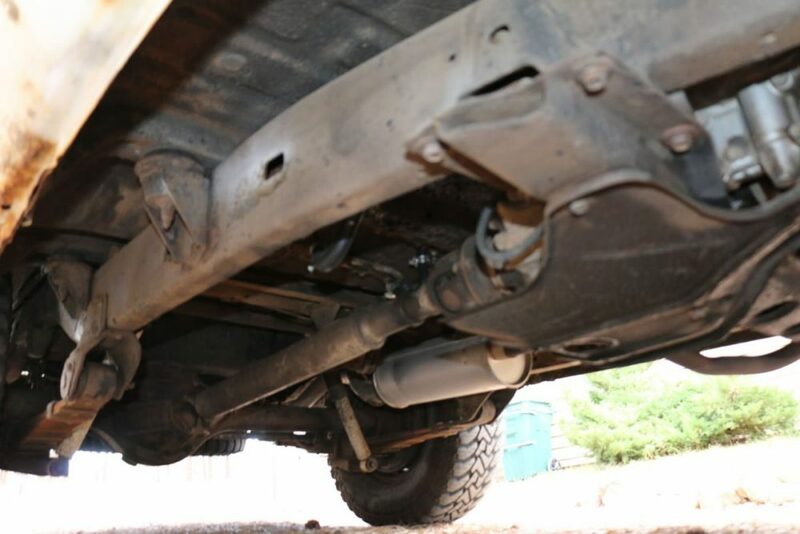 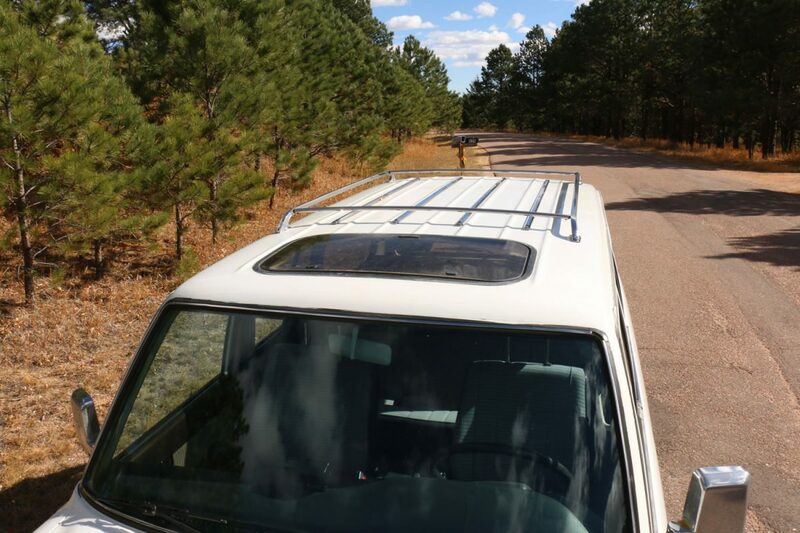 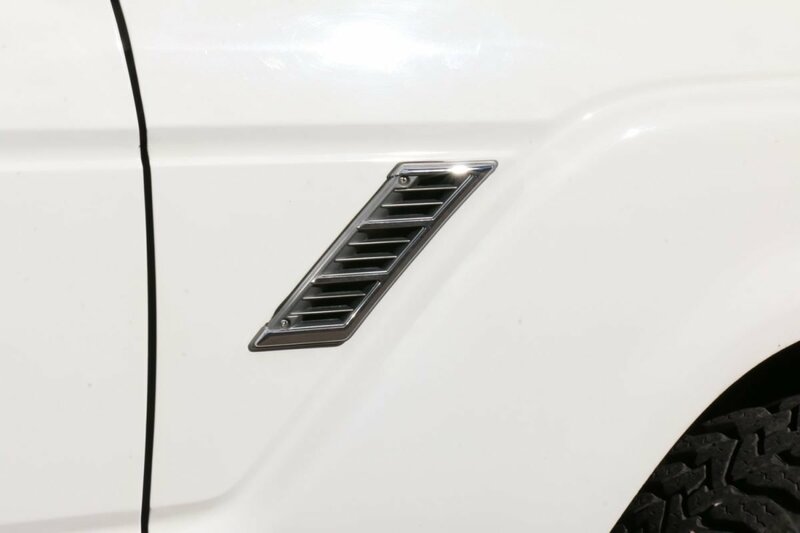 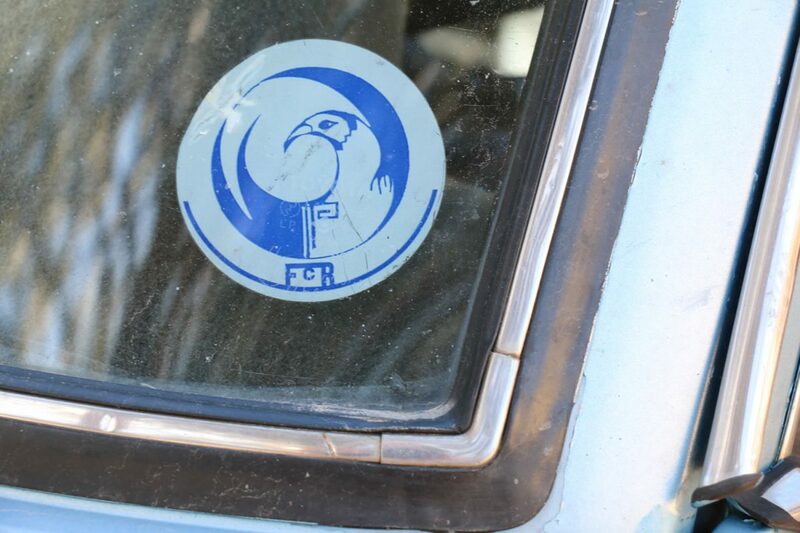 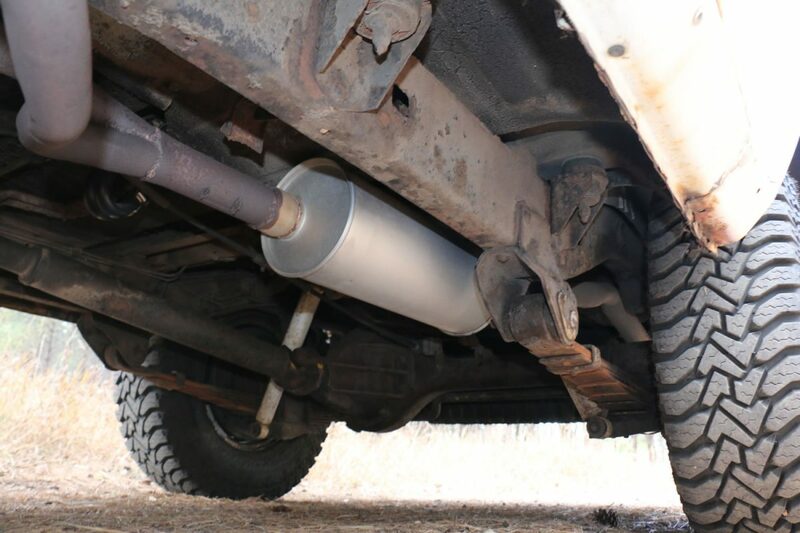 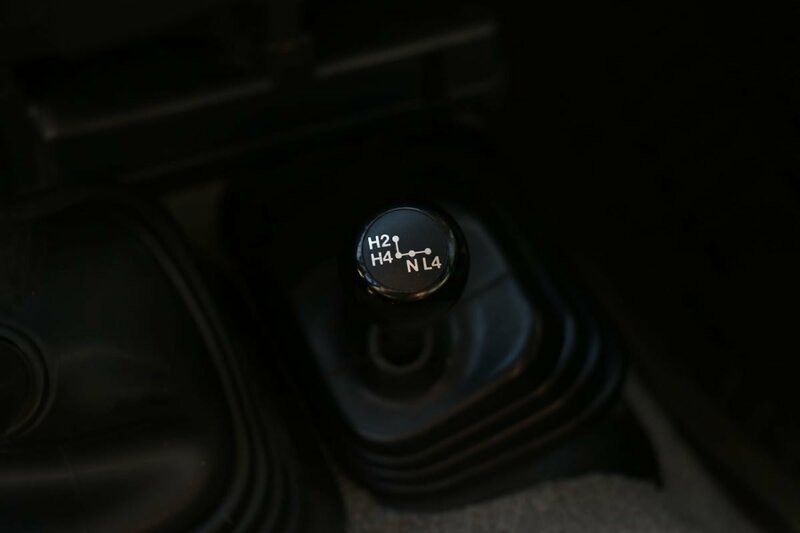 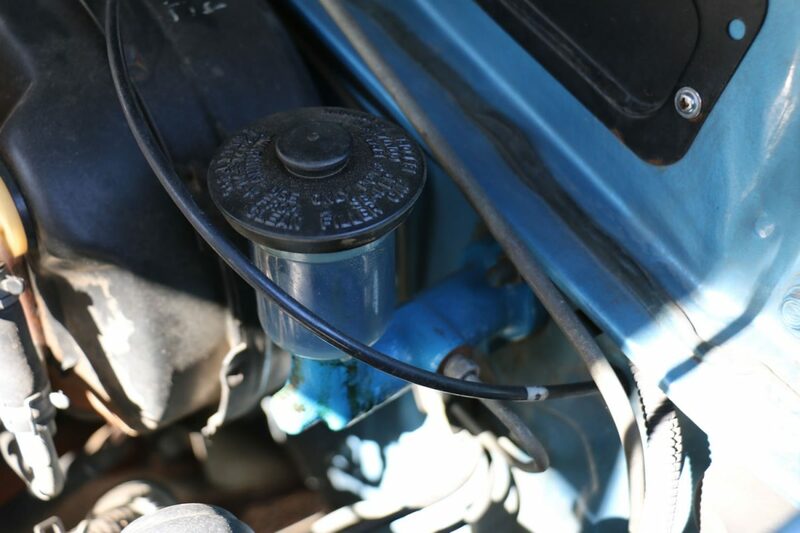 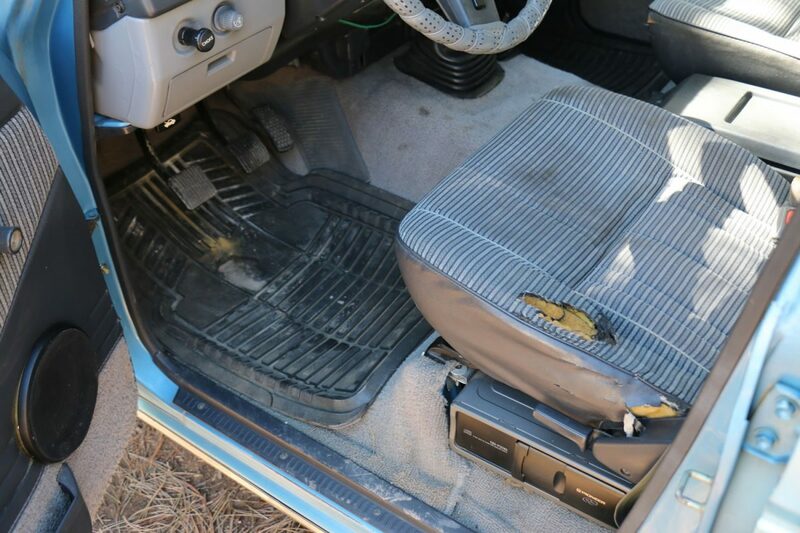 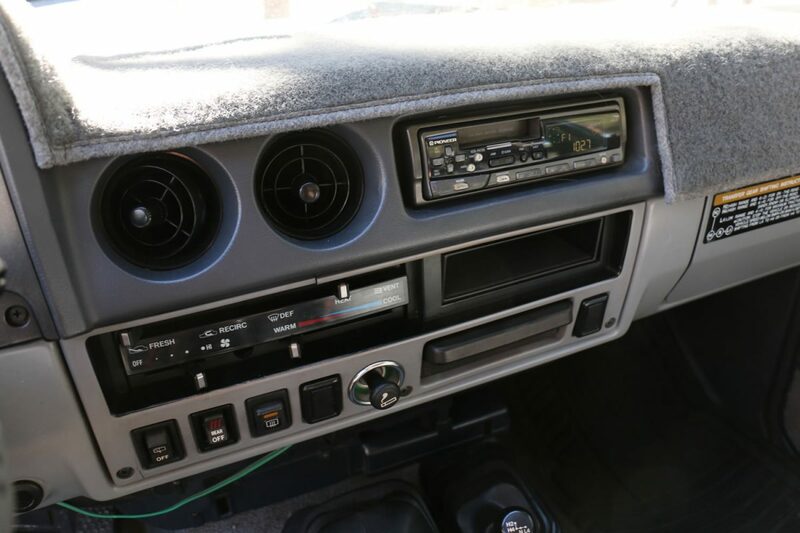 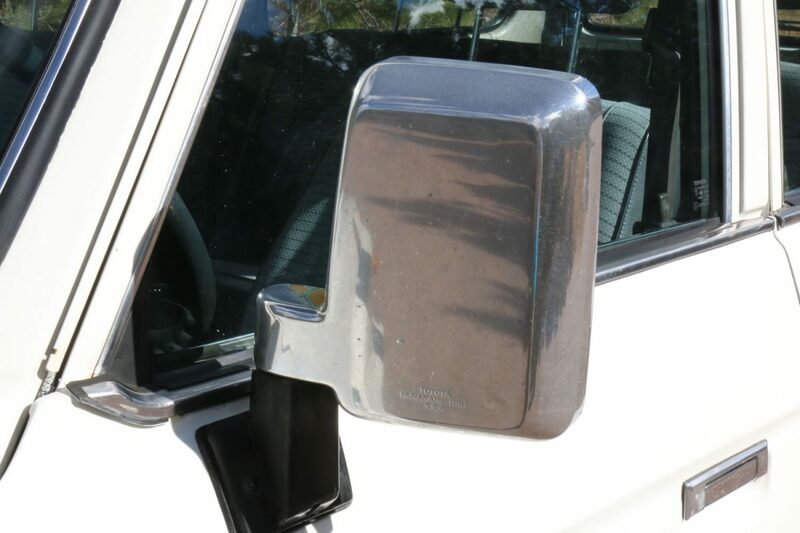 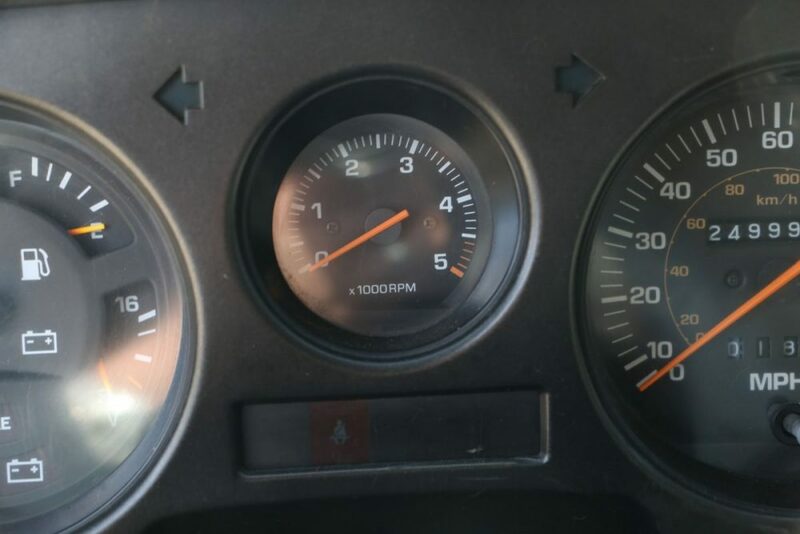 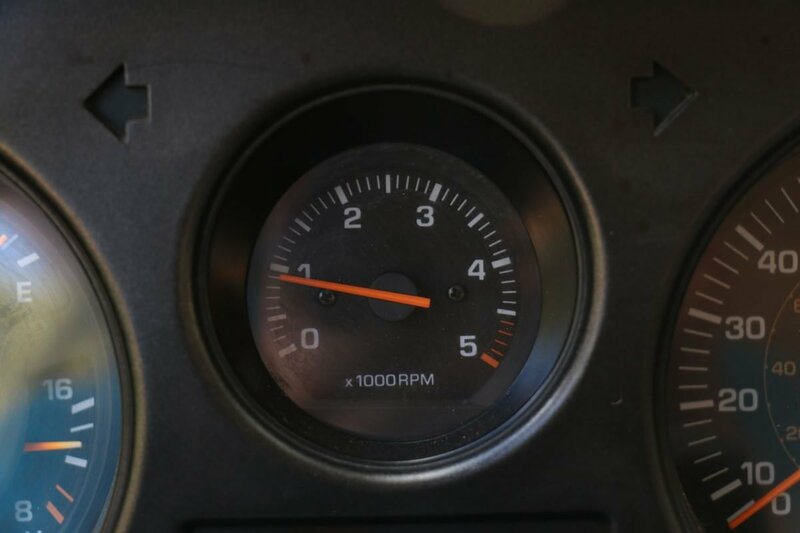 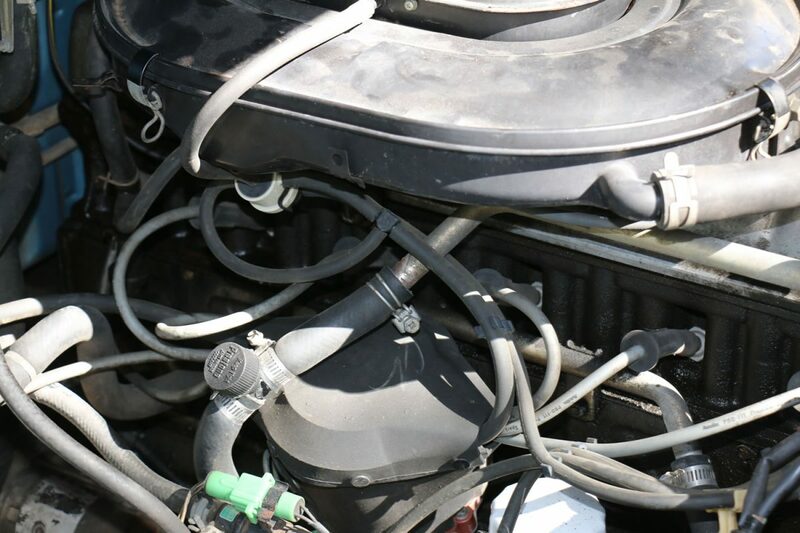 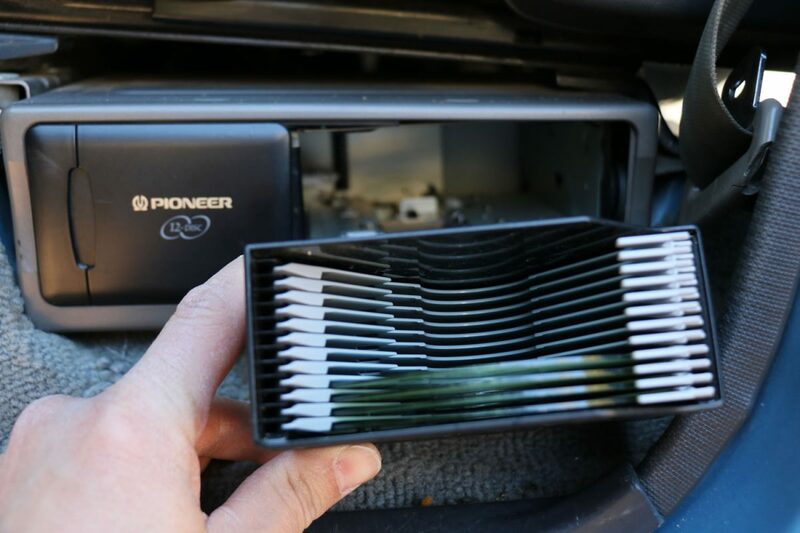 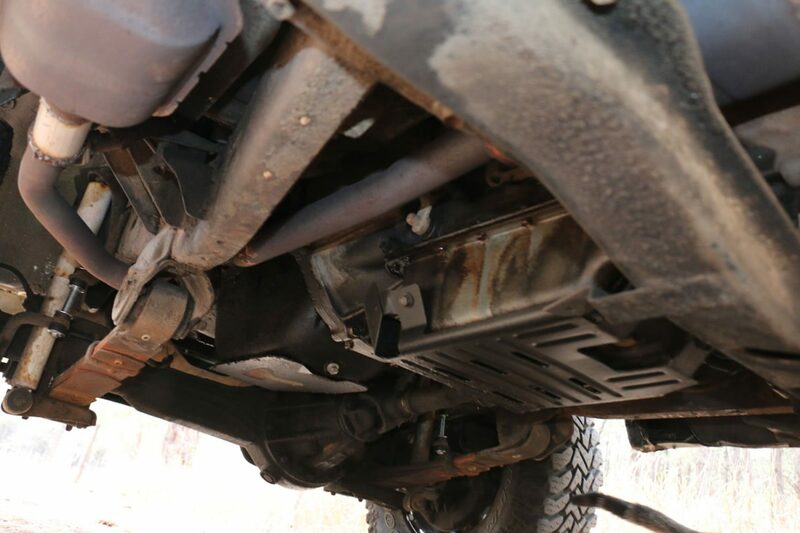 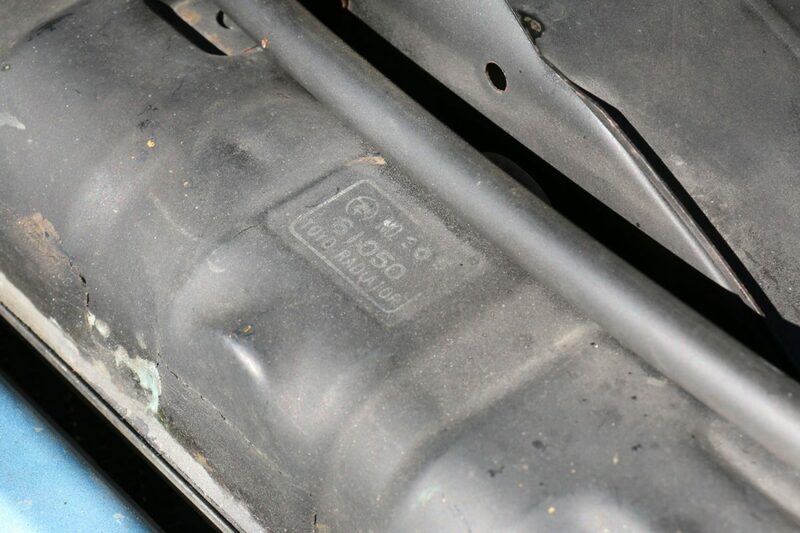 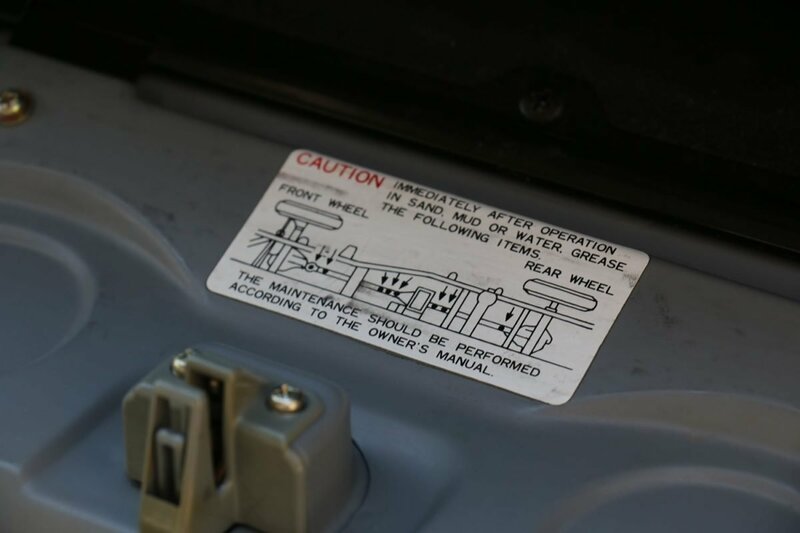 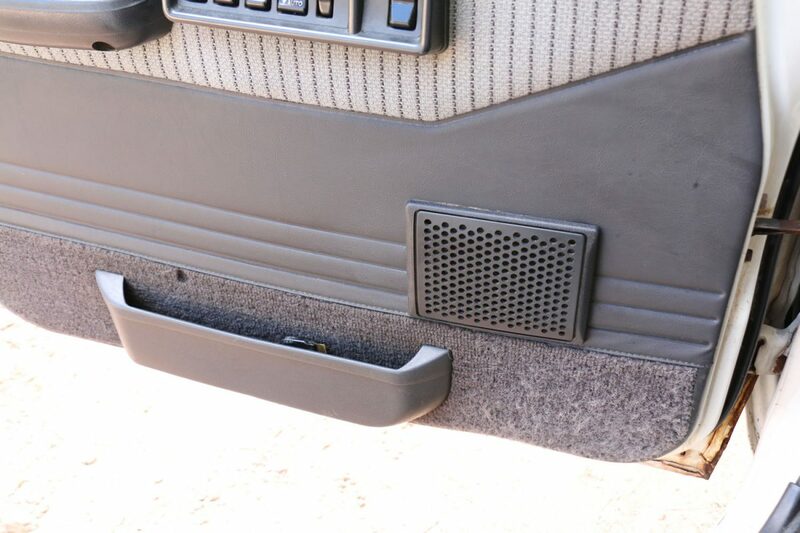 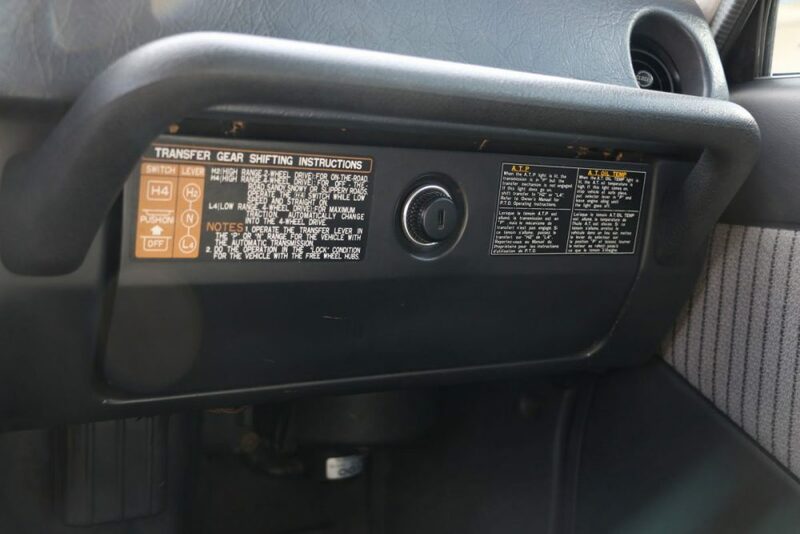 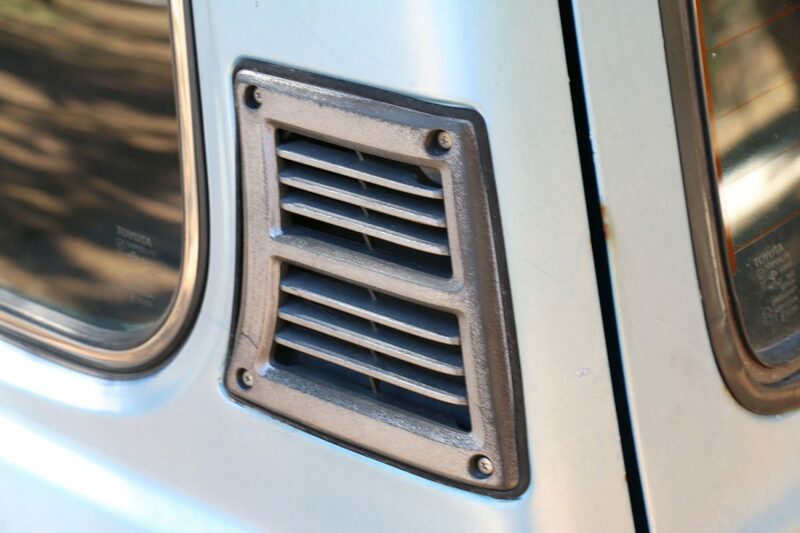 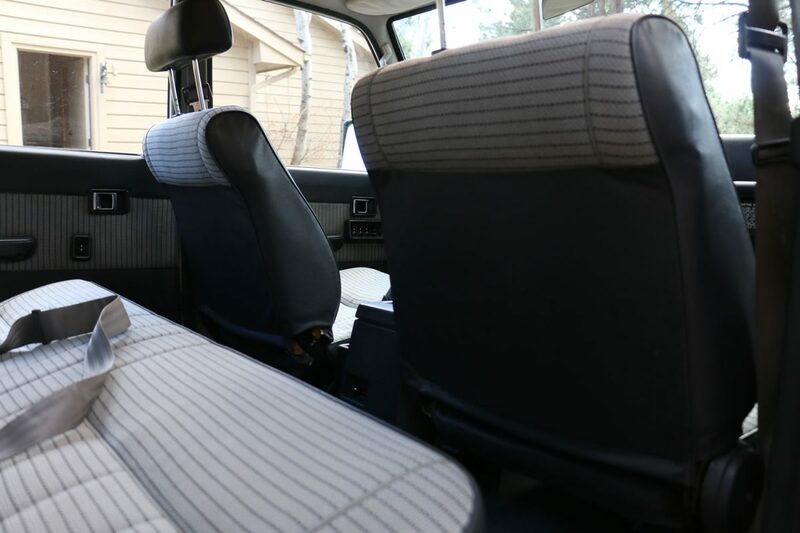 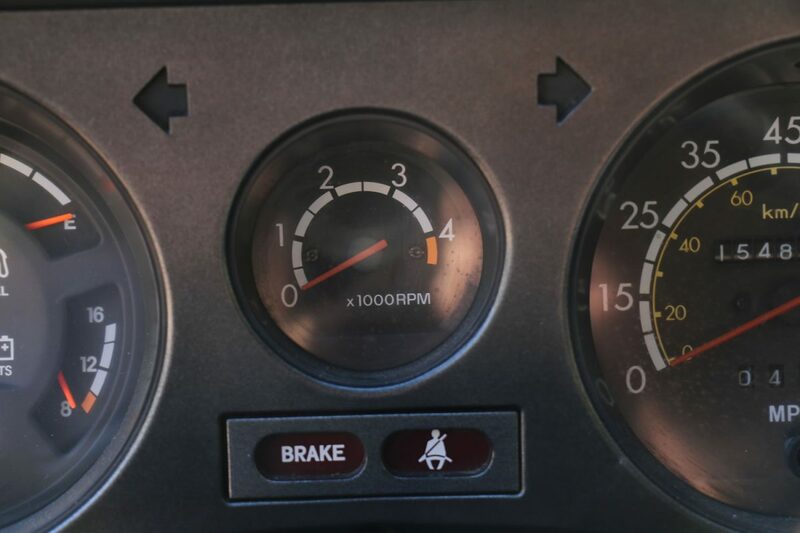 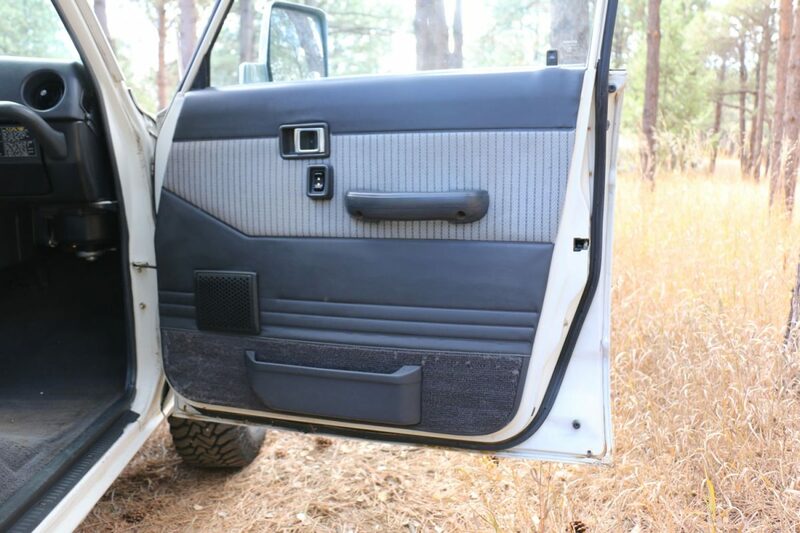 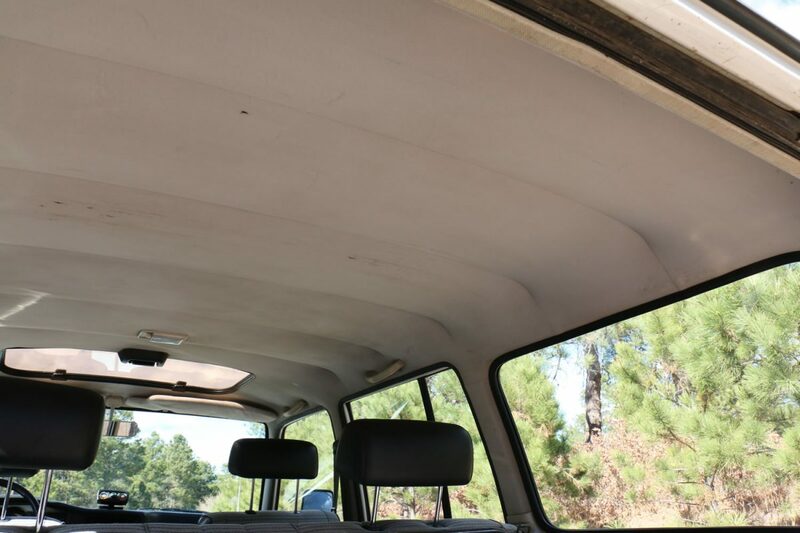 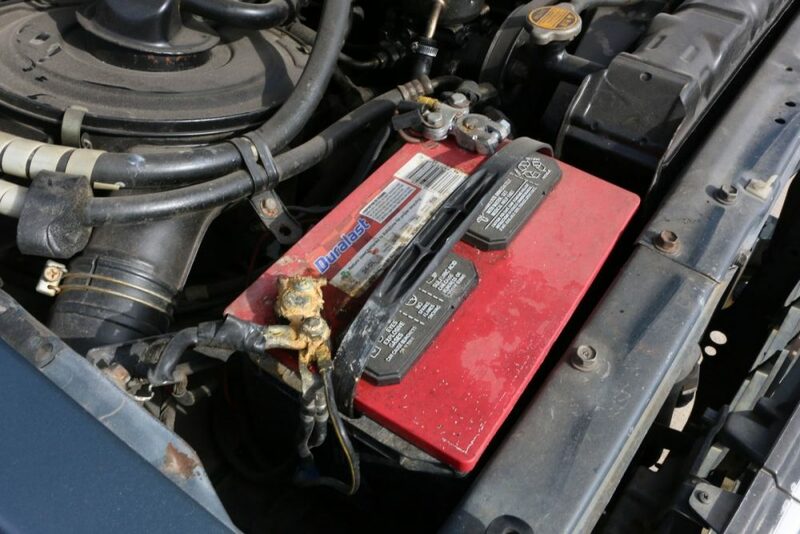 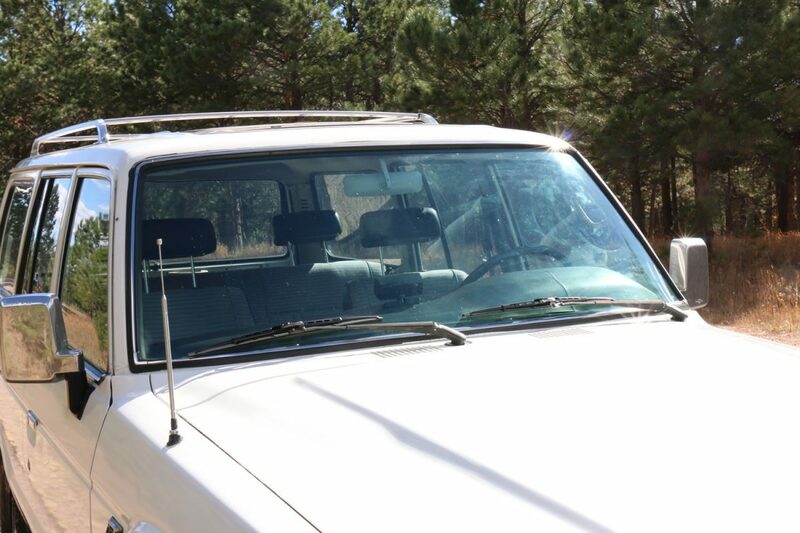 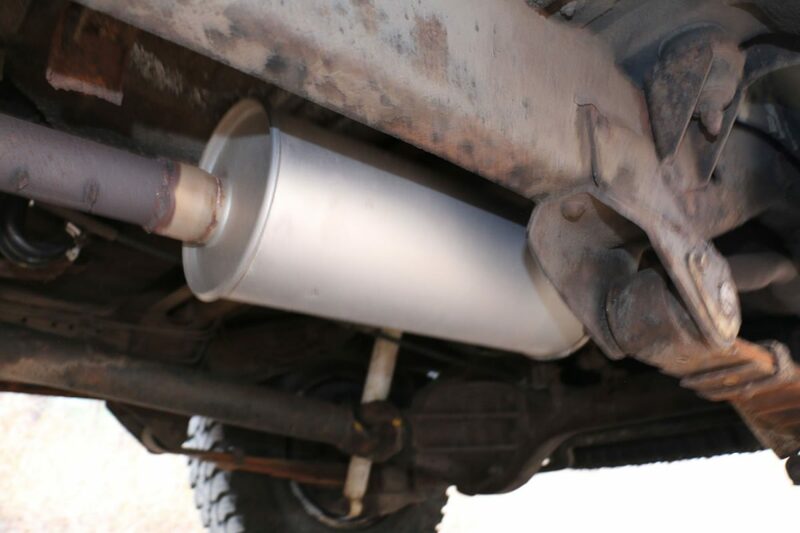 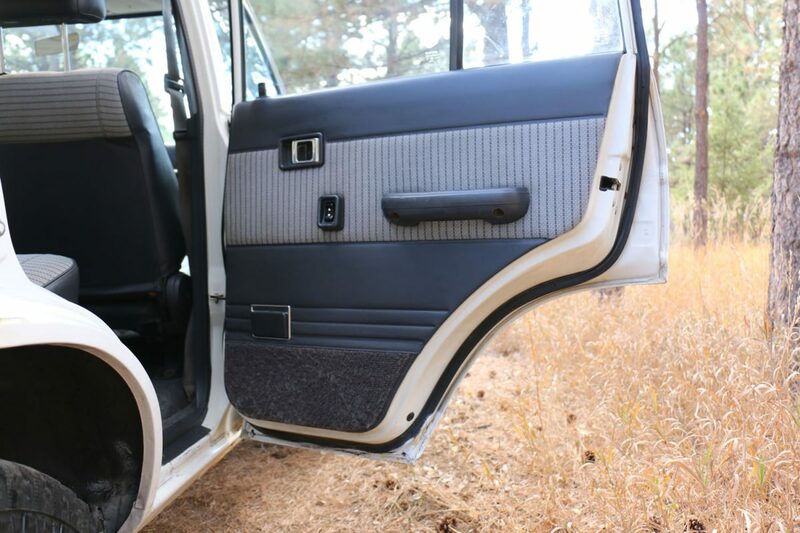 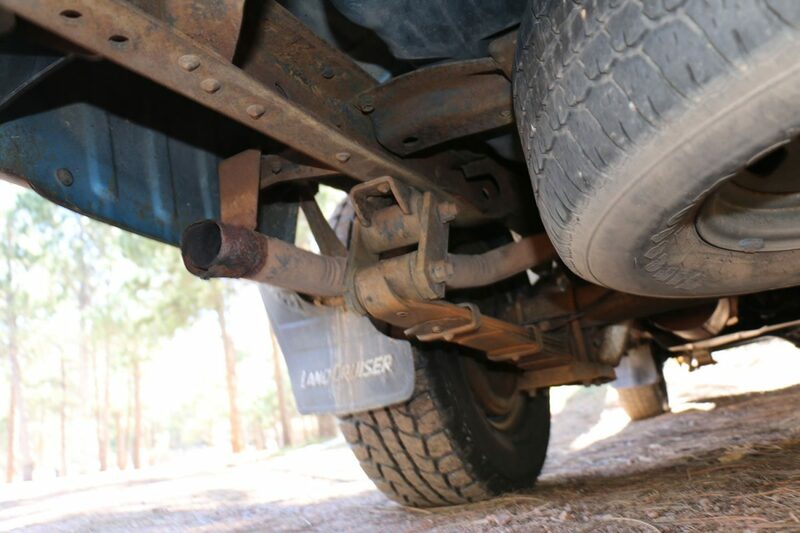 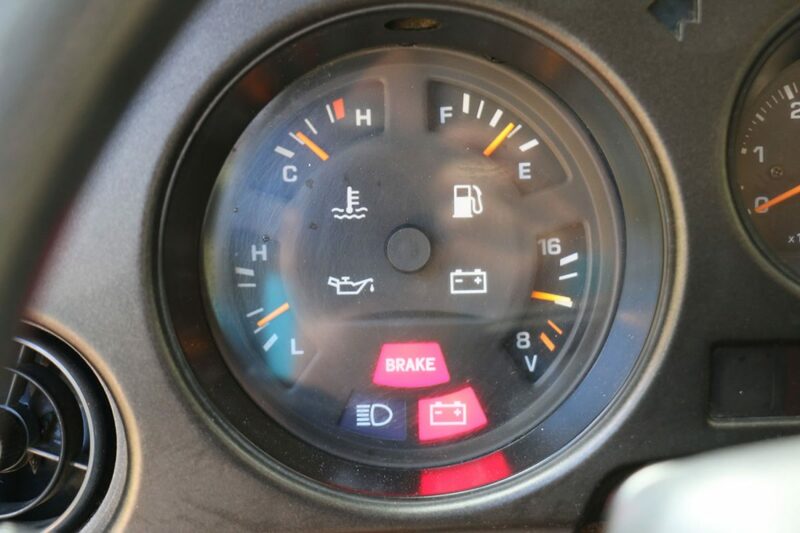 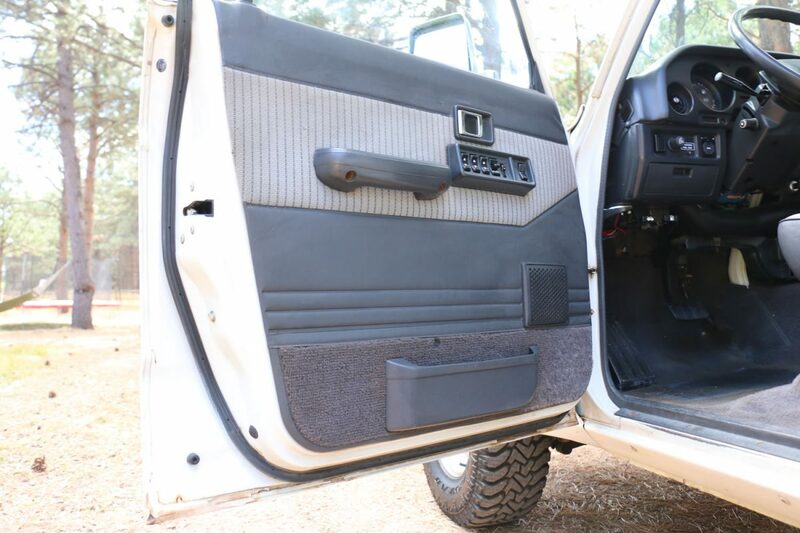 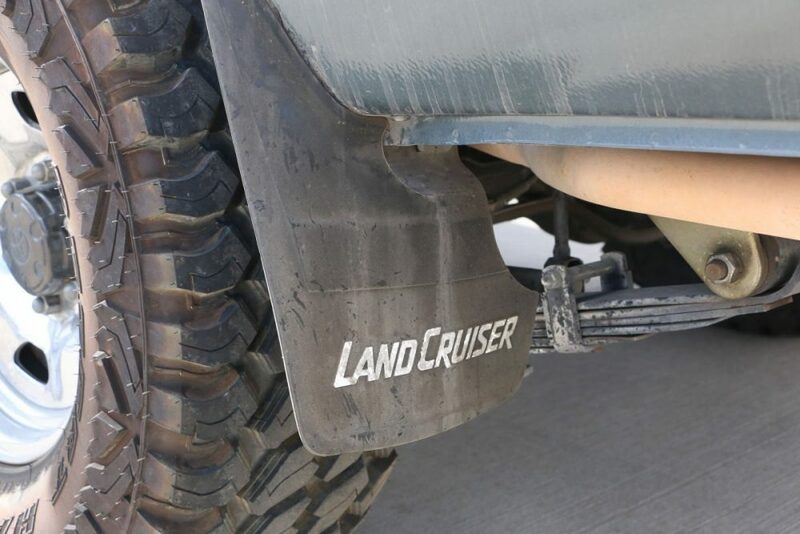 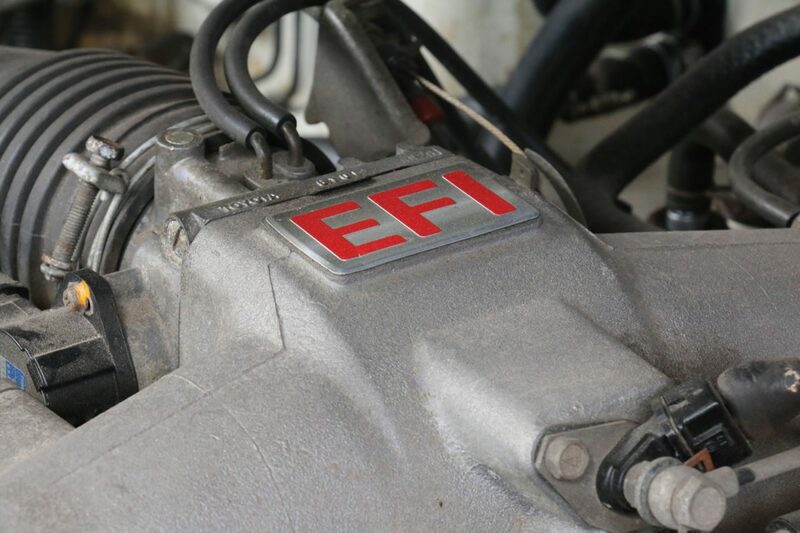 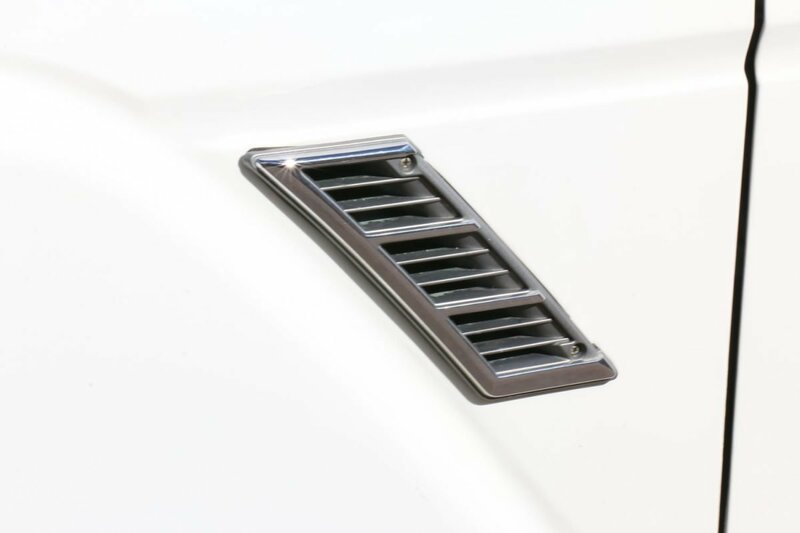 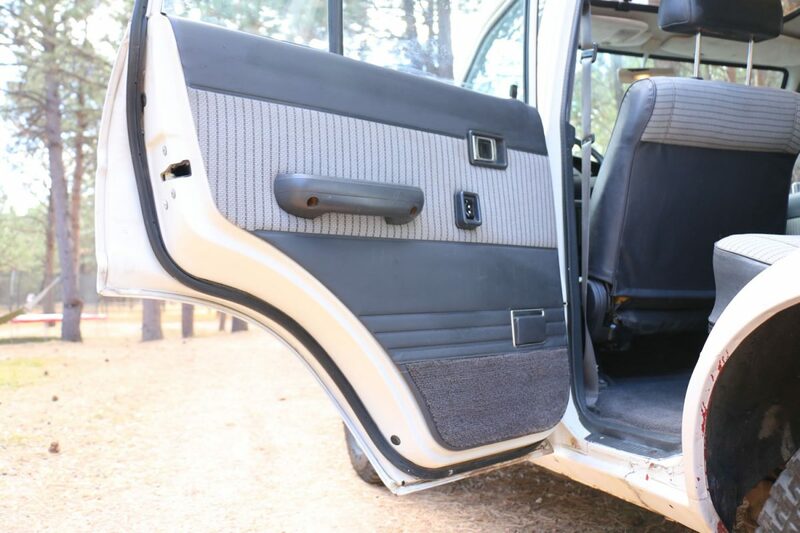 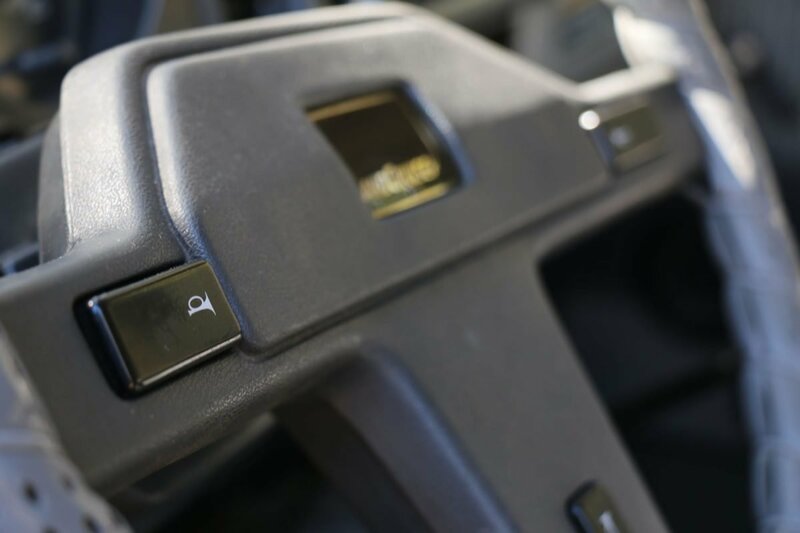 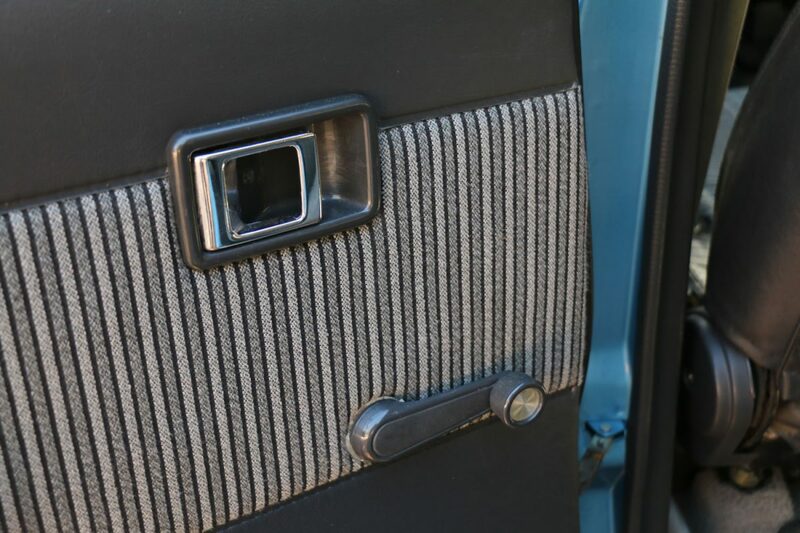 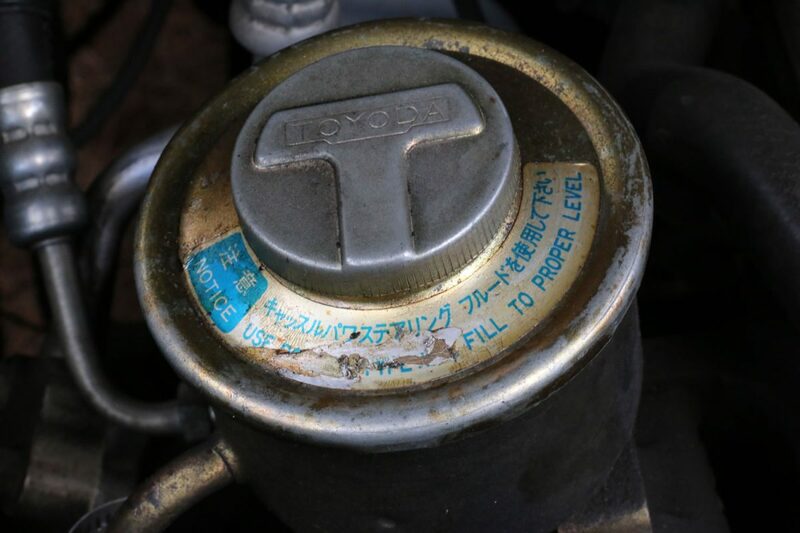 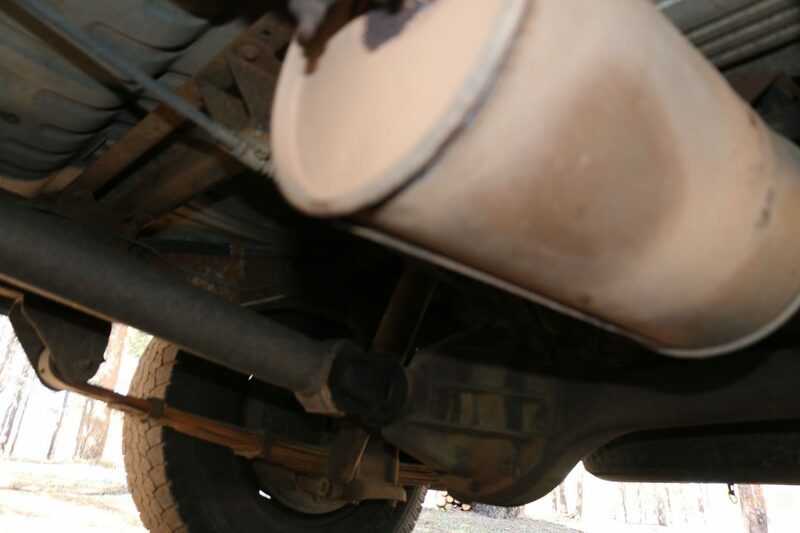 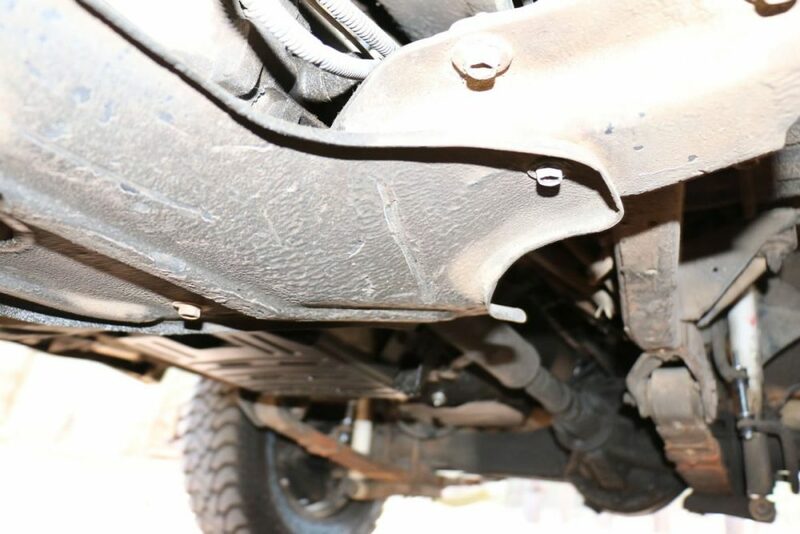 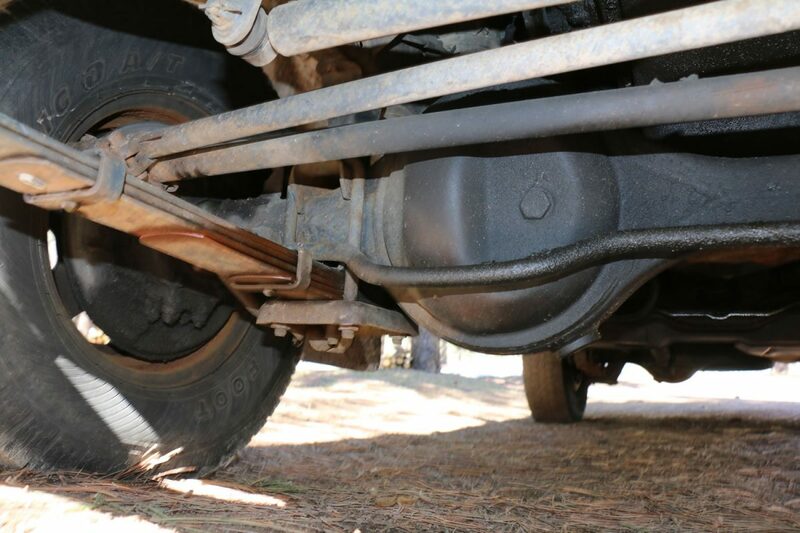 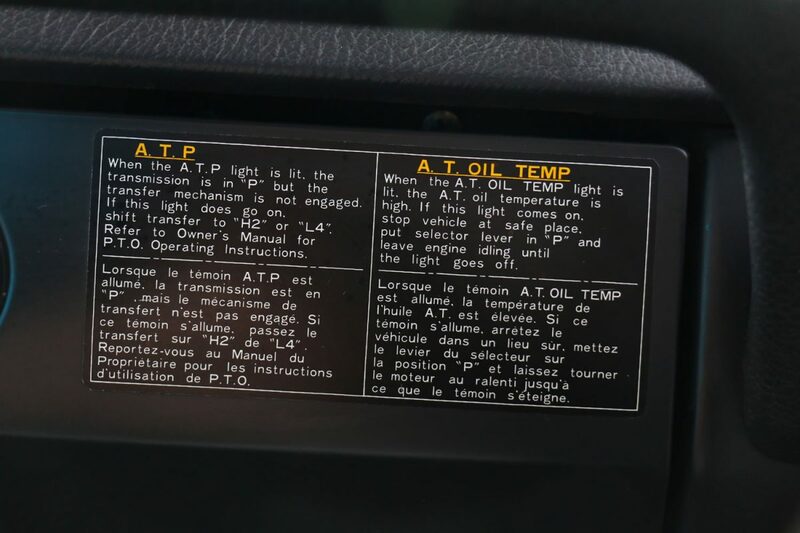 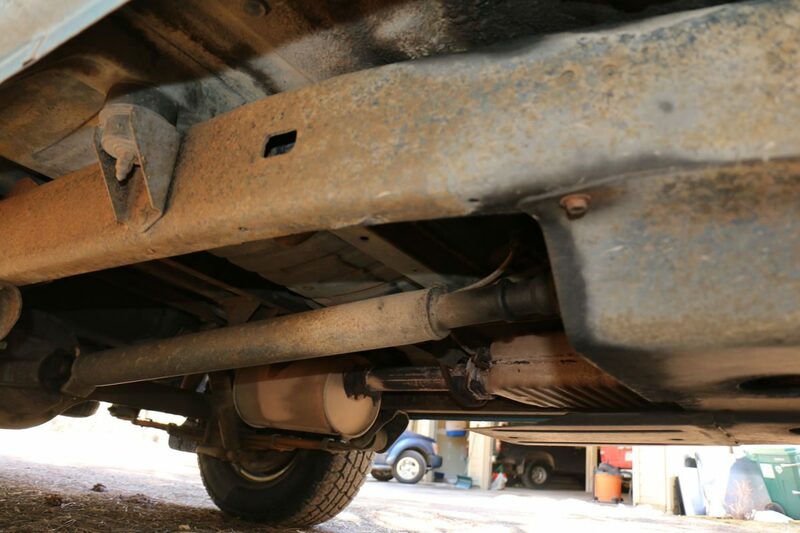 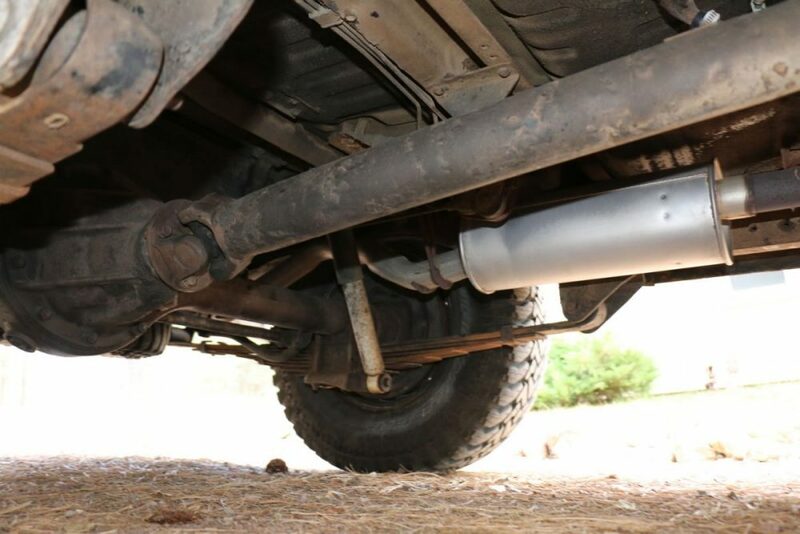 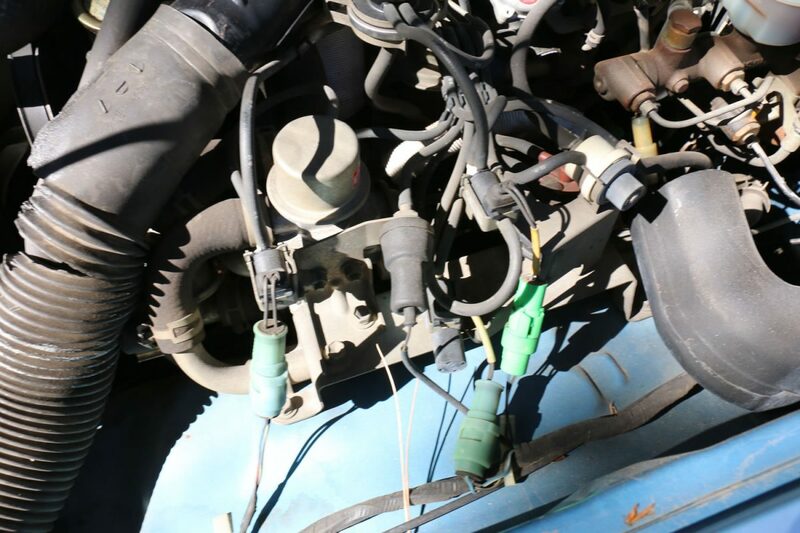 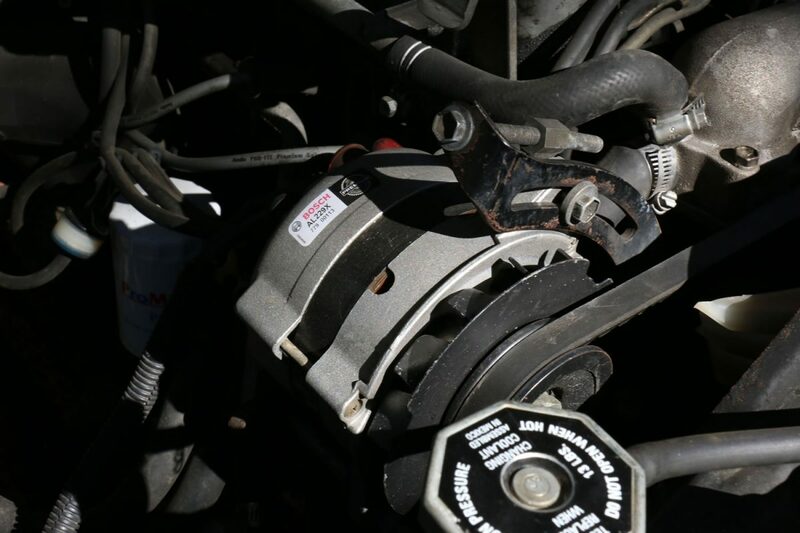 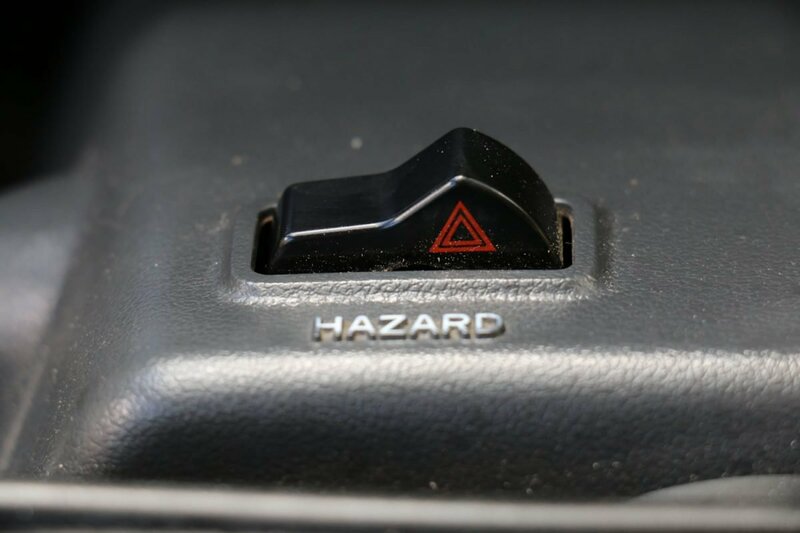 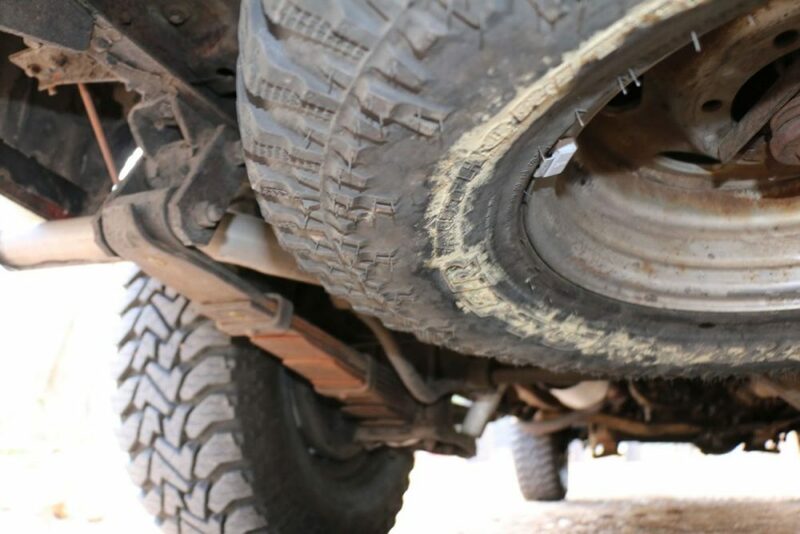 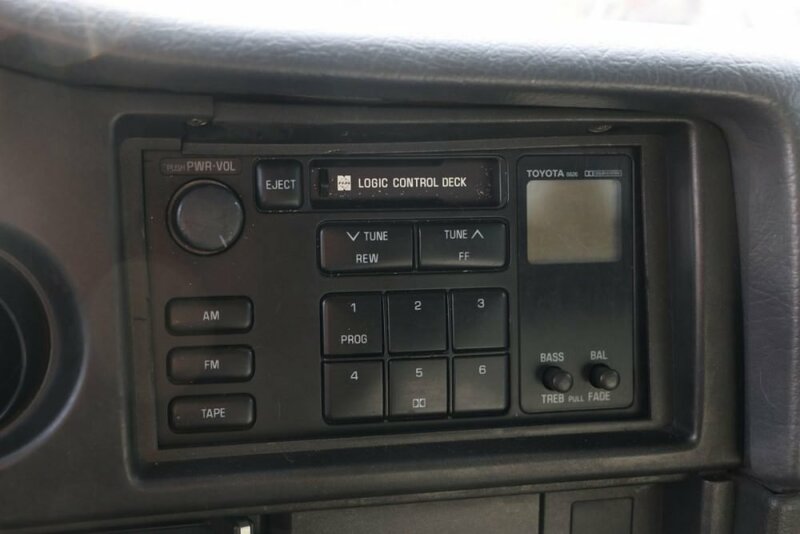 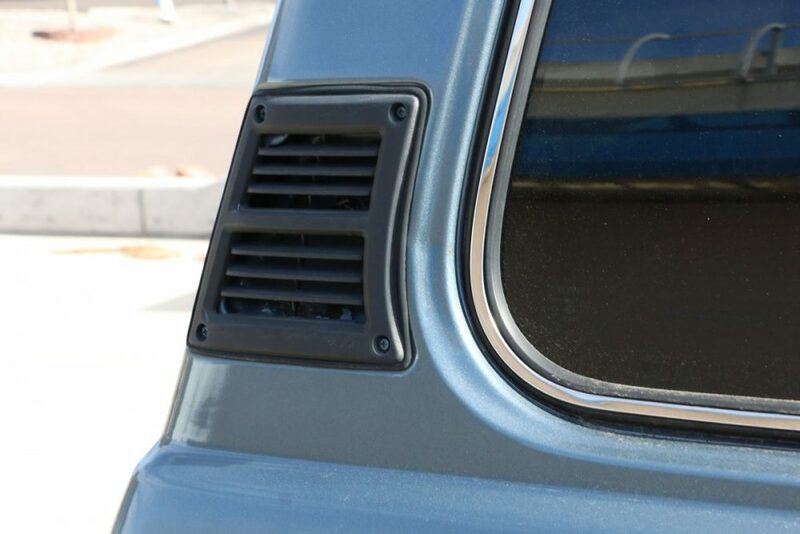 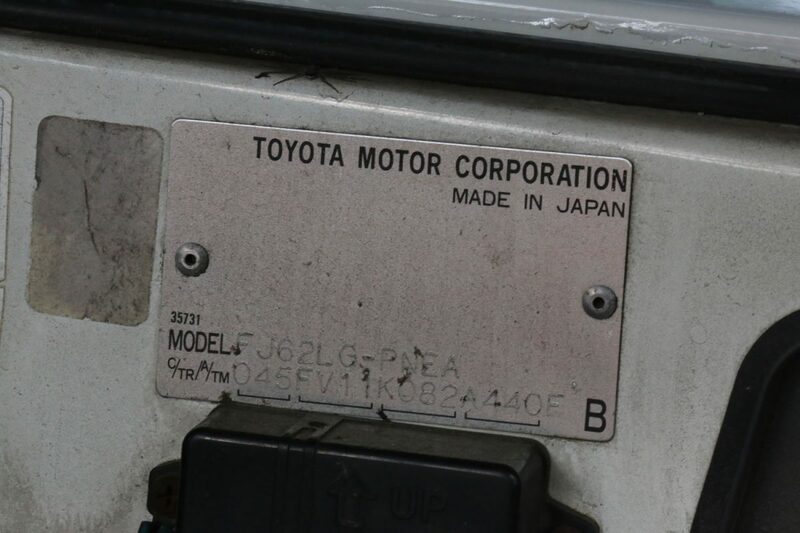 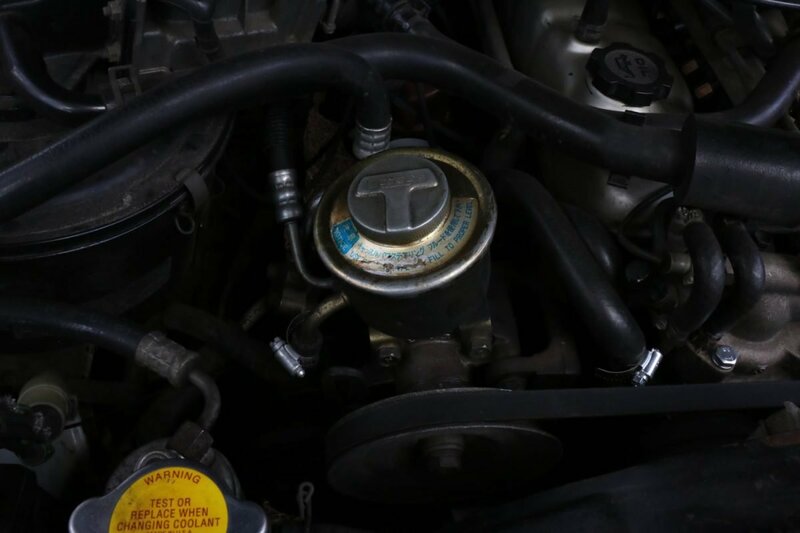 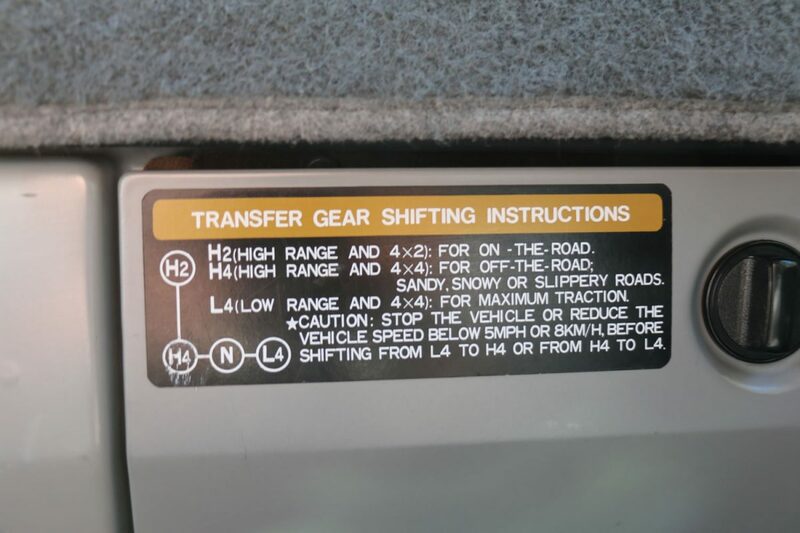 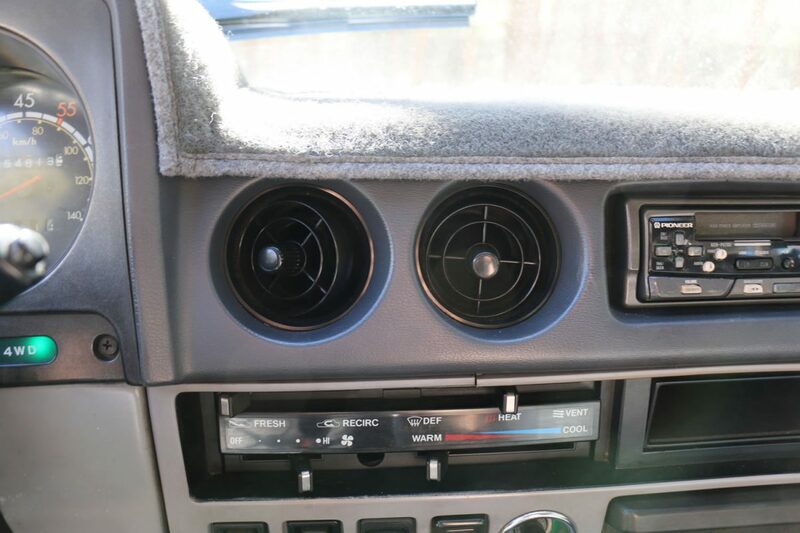 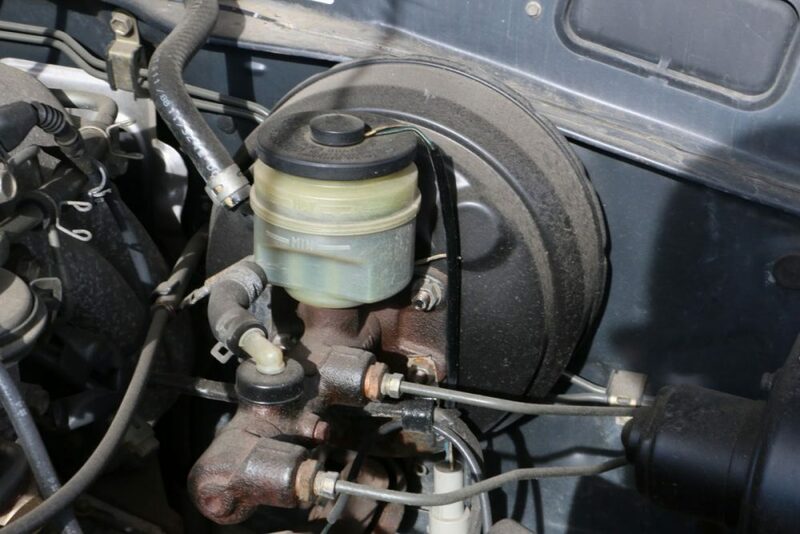 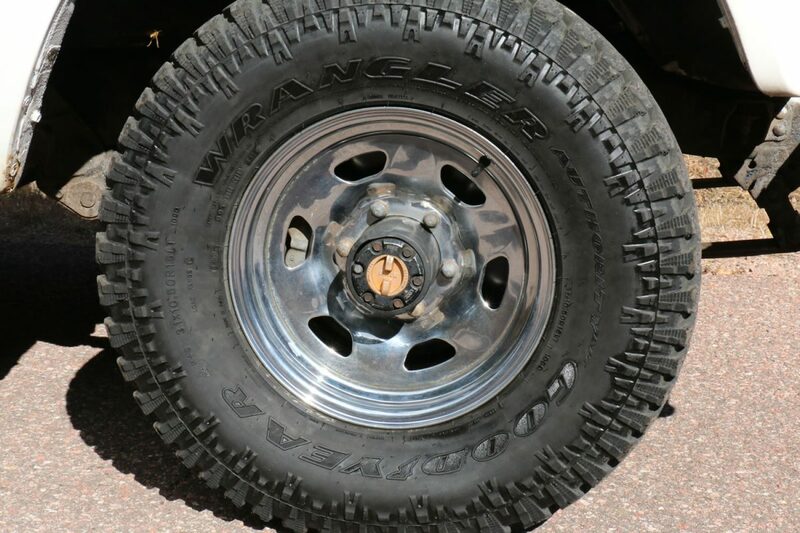 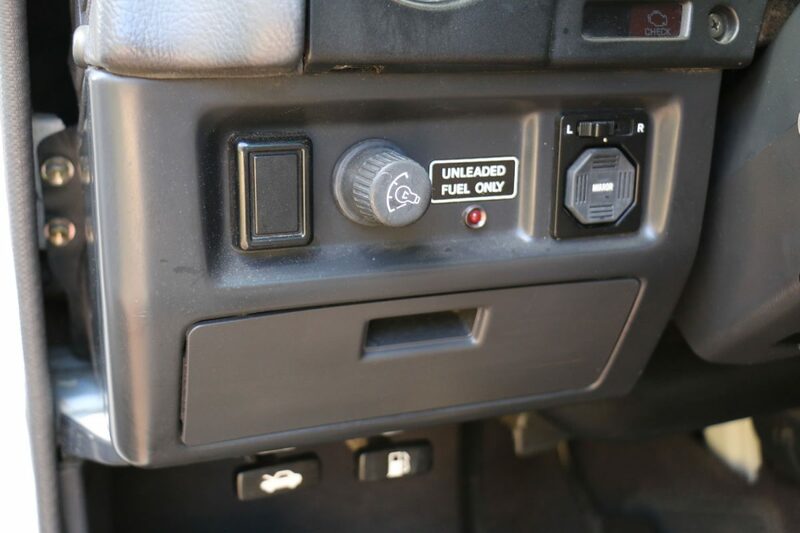 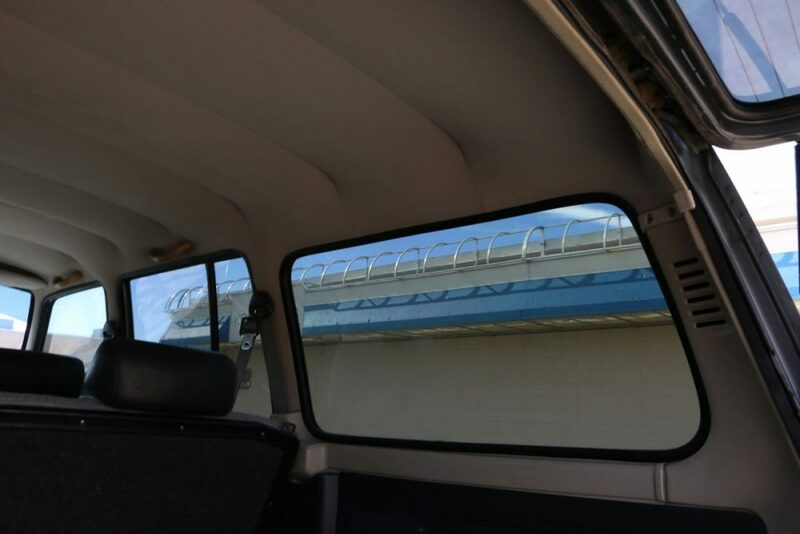 This is not an issue, but it’s worth pointing out…there is no A/C on this FJ60. 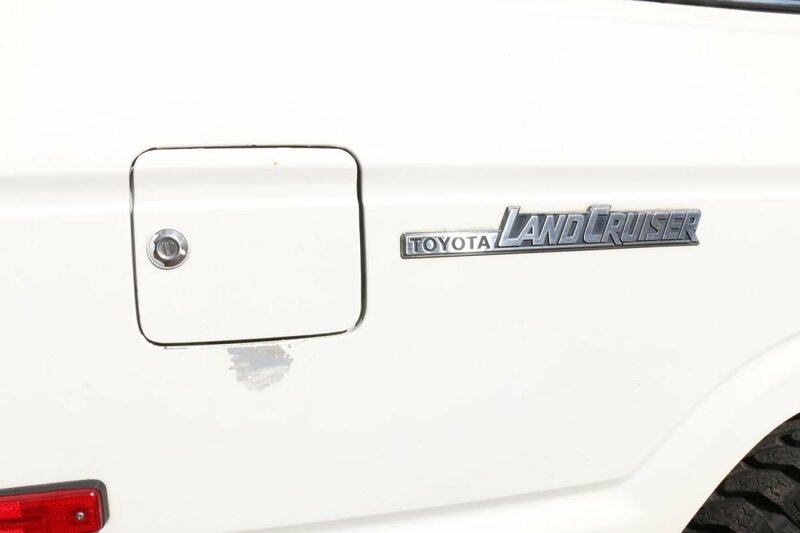 It wasn’t removed…it was just never installed. 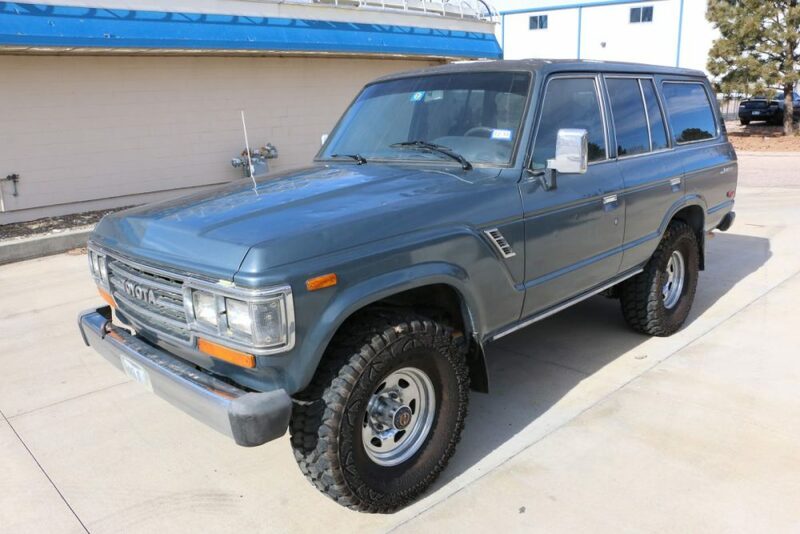 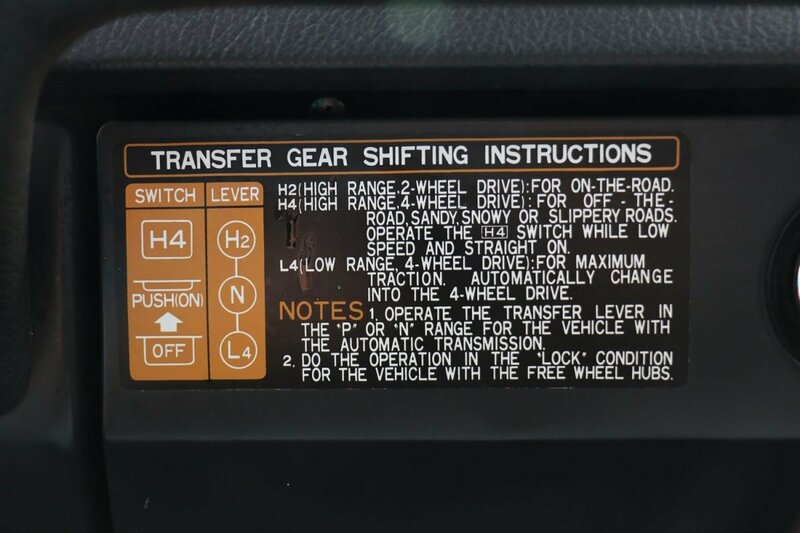 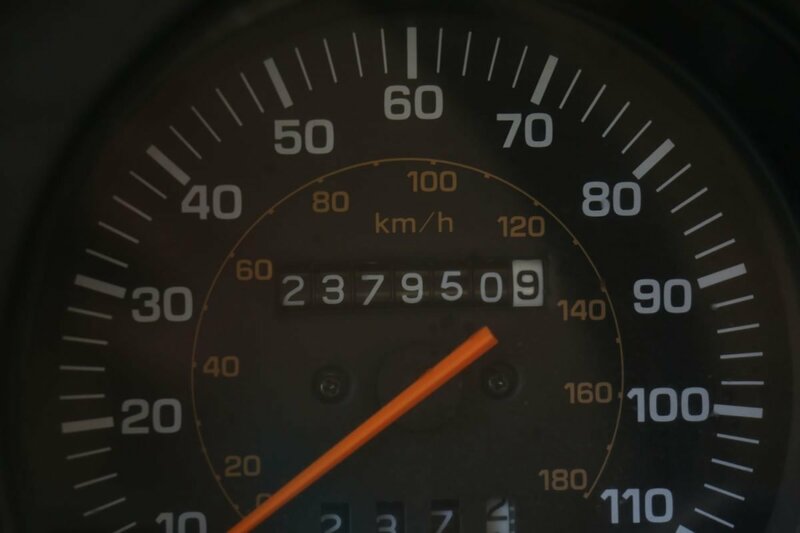 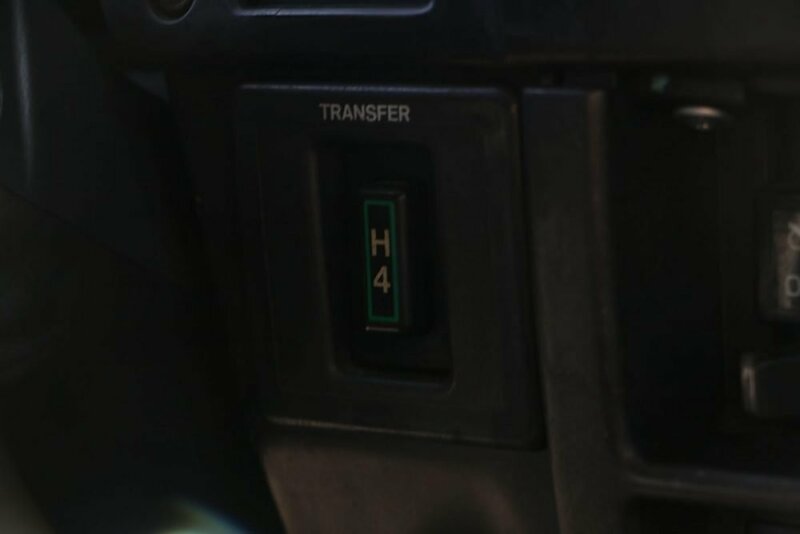 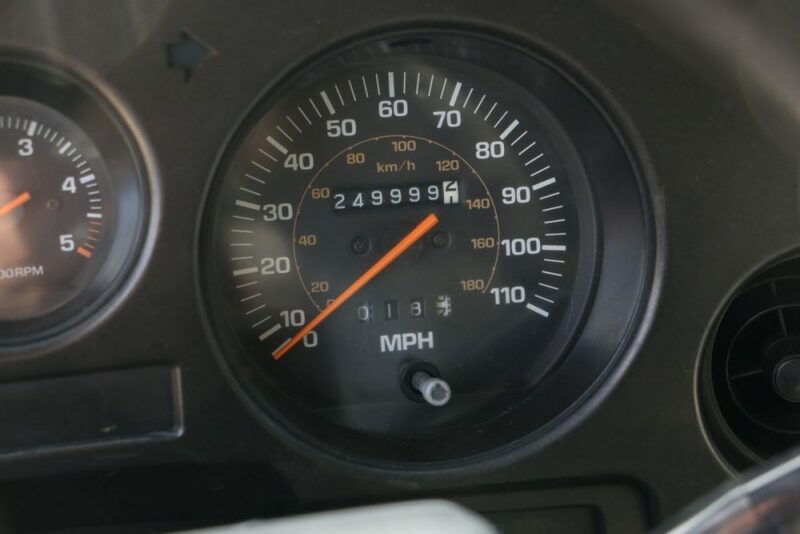 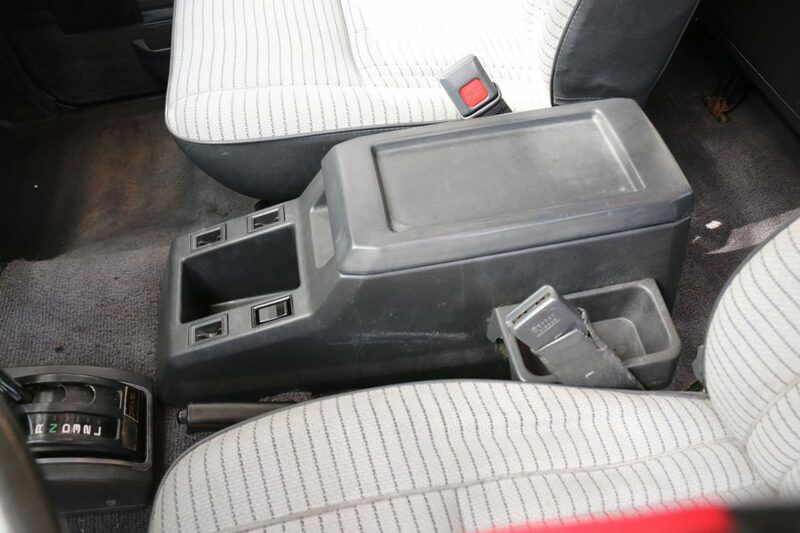 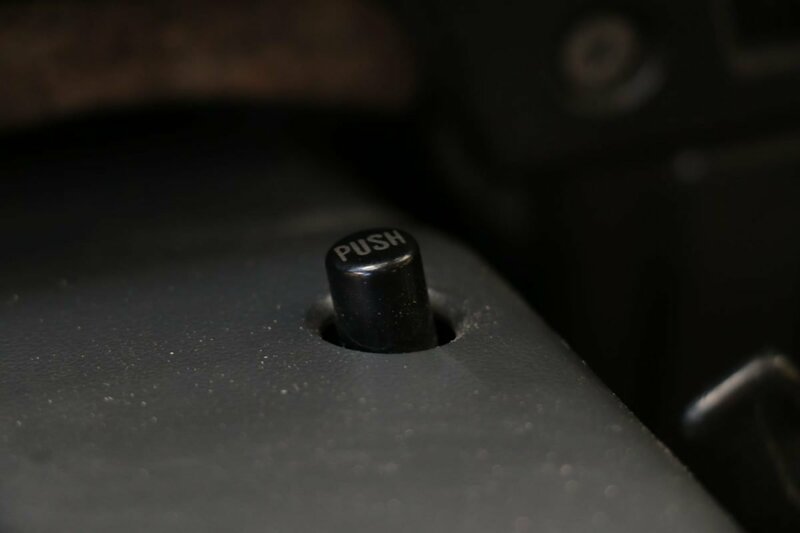 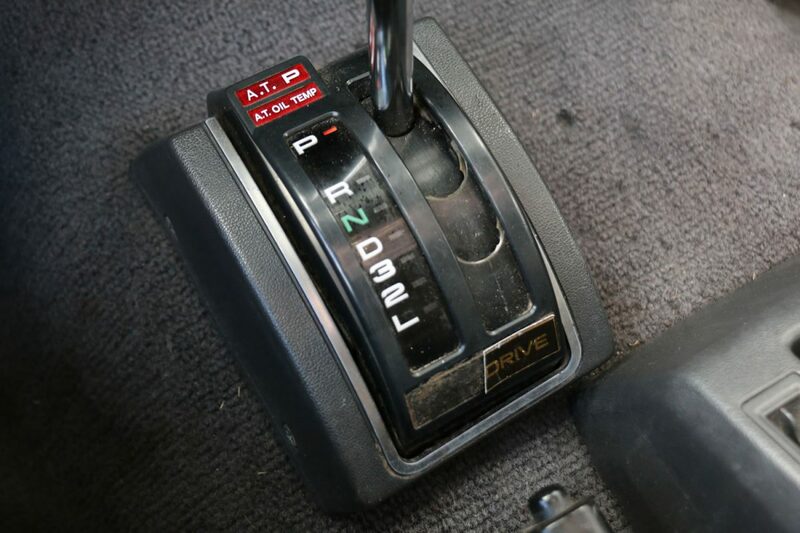 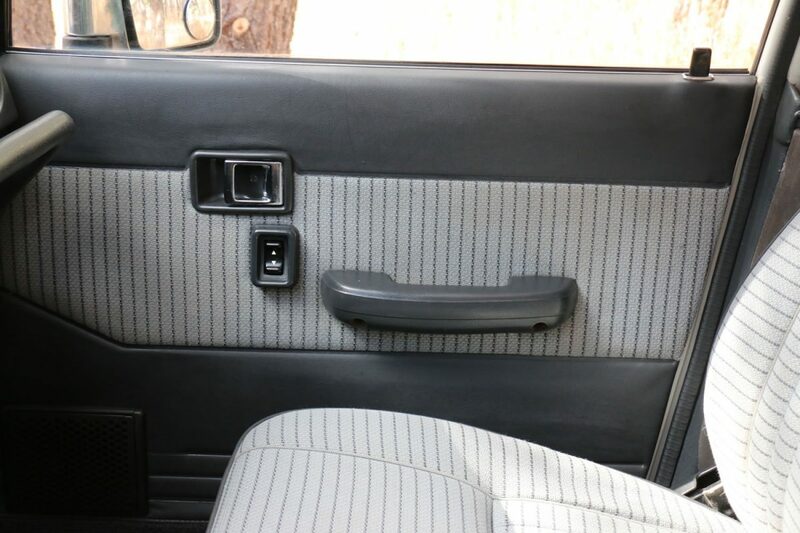 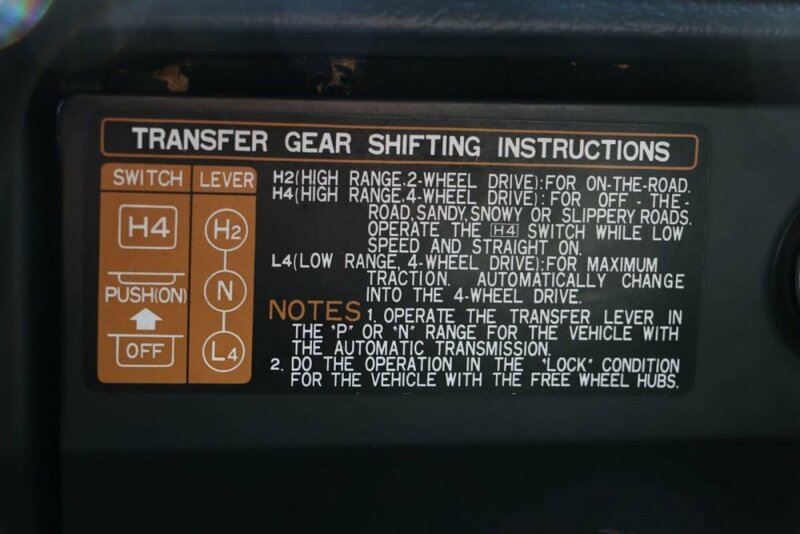 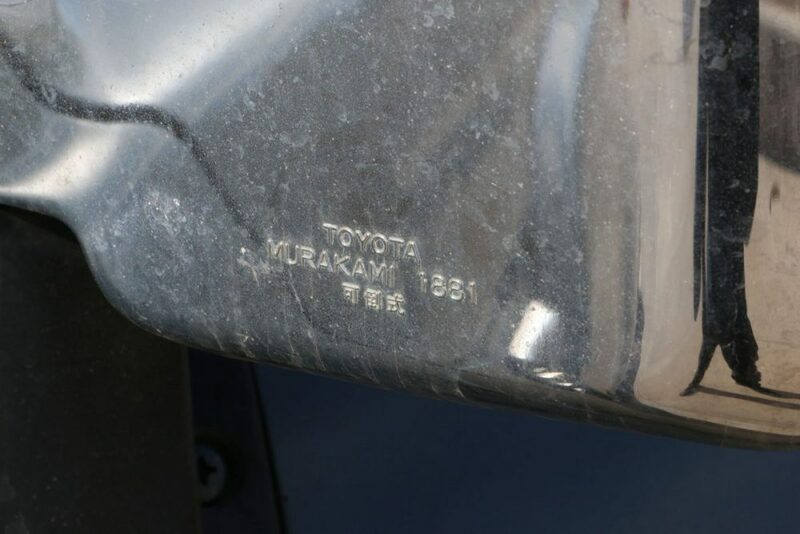 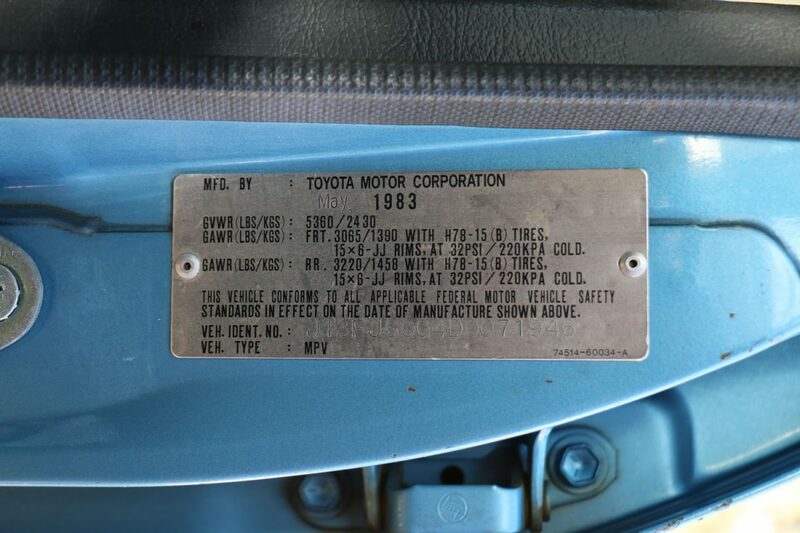 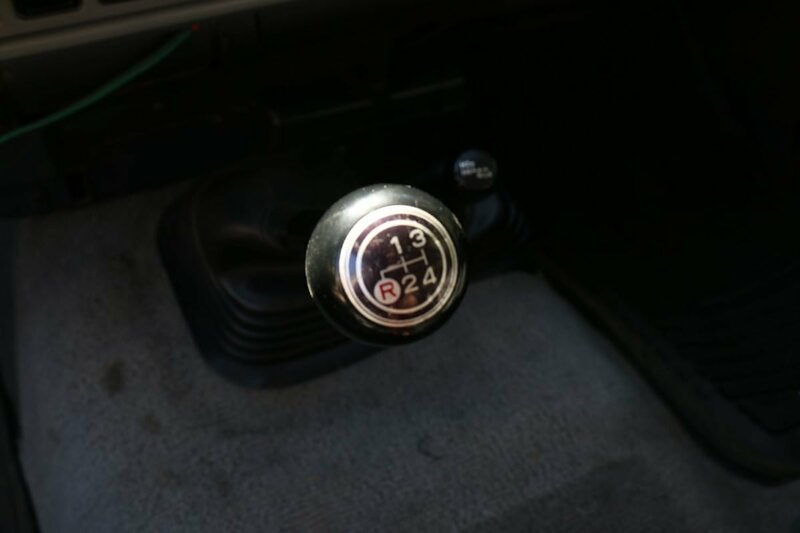 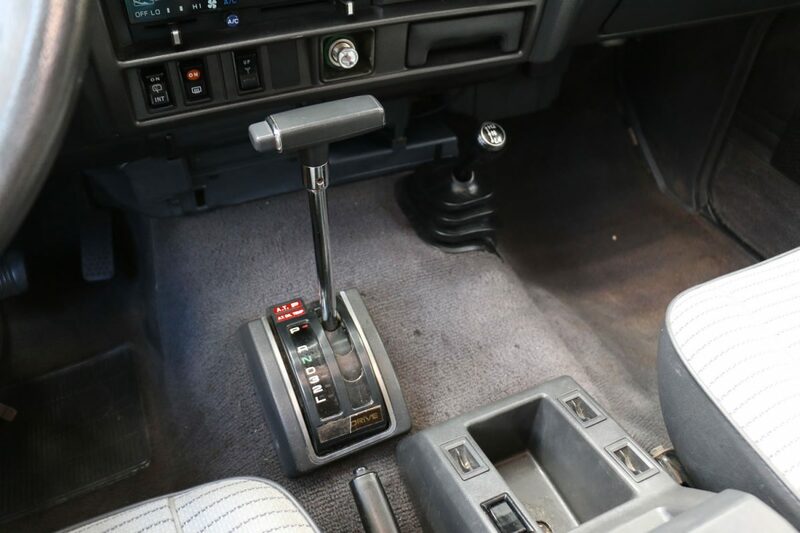 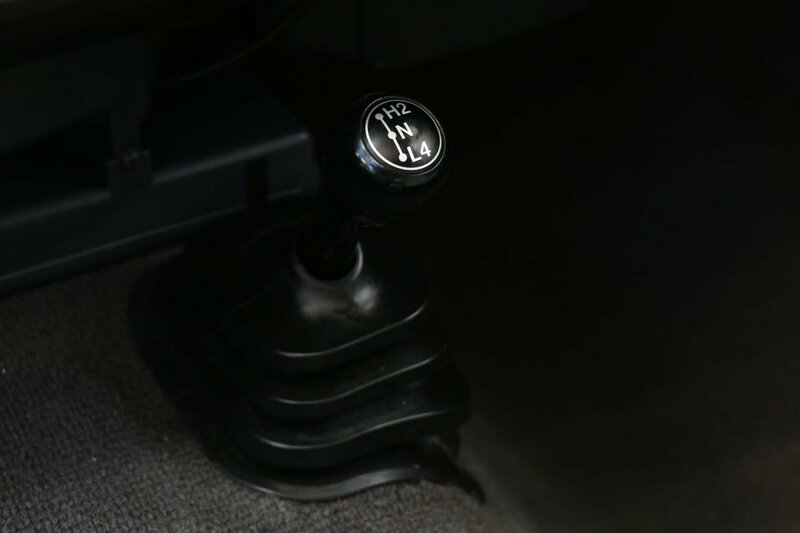 It was an option in 1983, and was not ordered on this FJ. 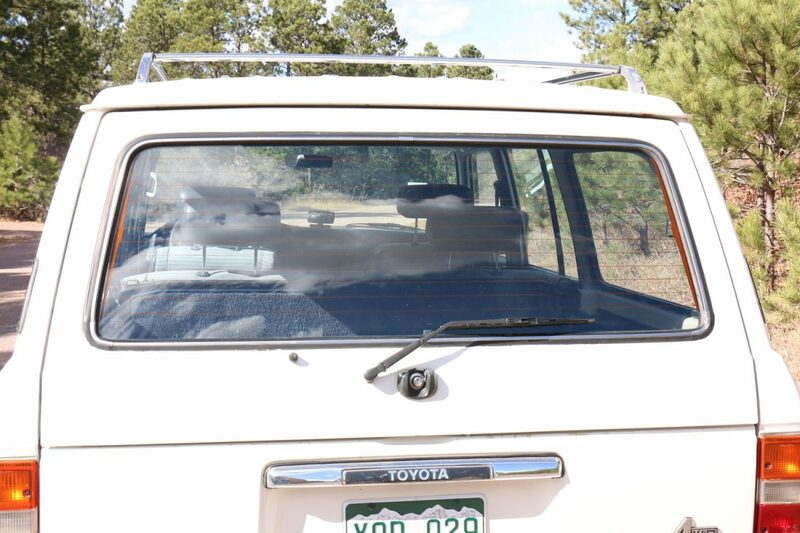 Front windshield cracked. 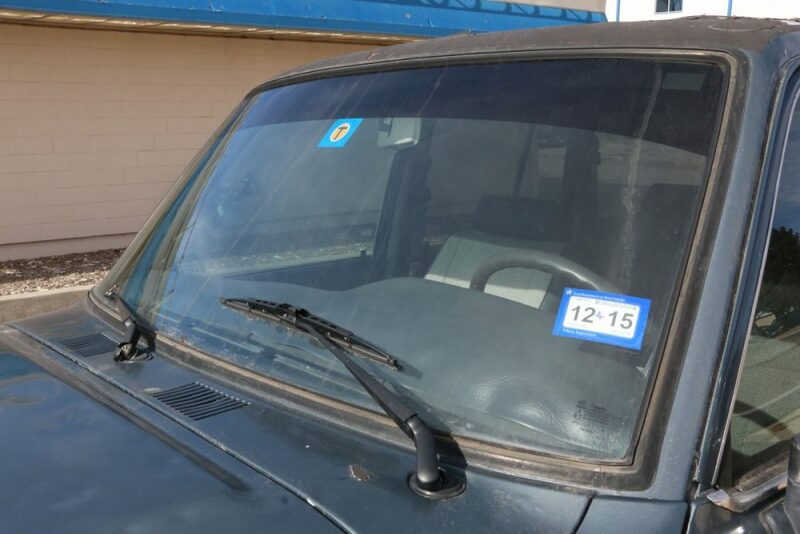 Around $150 to replace from any local windshield shop. 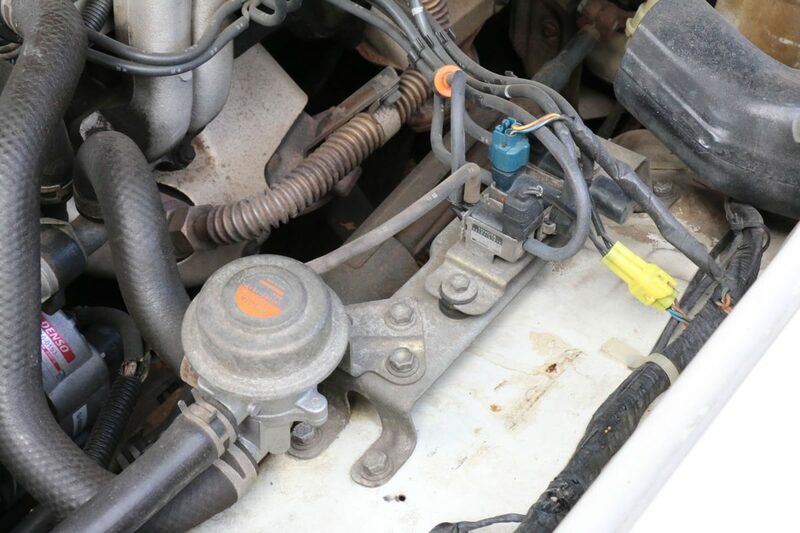 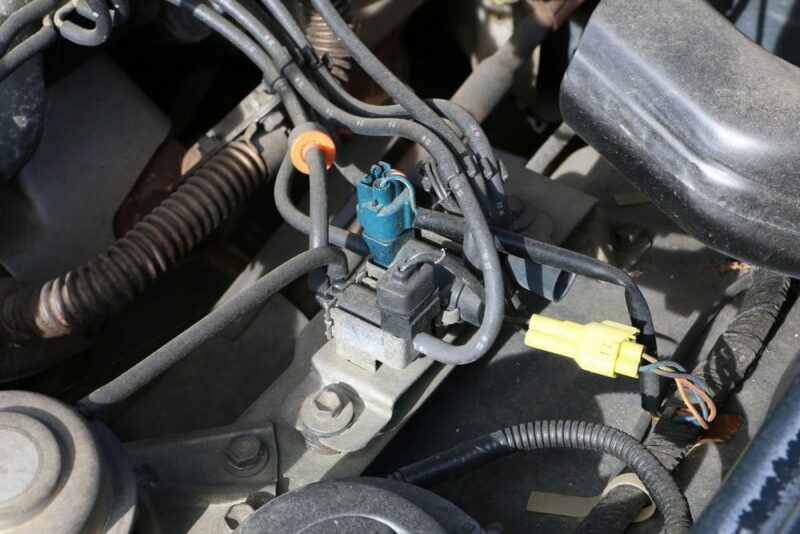 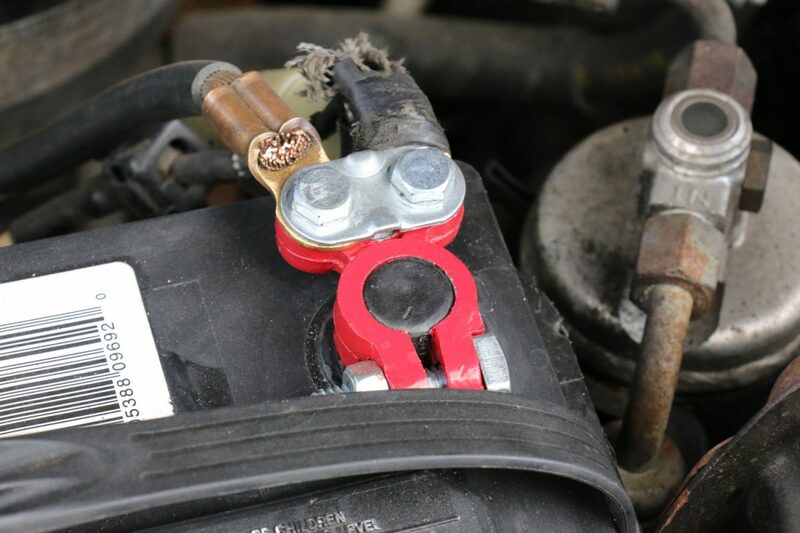 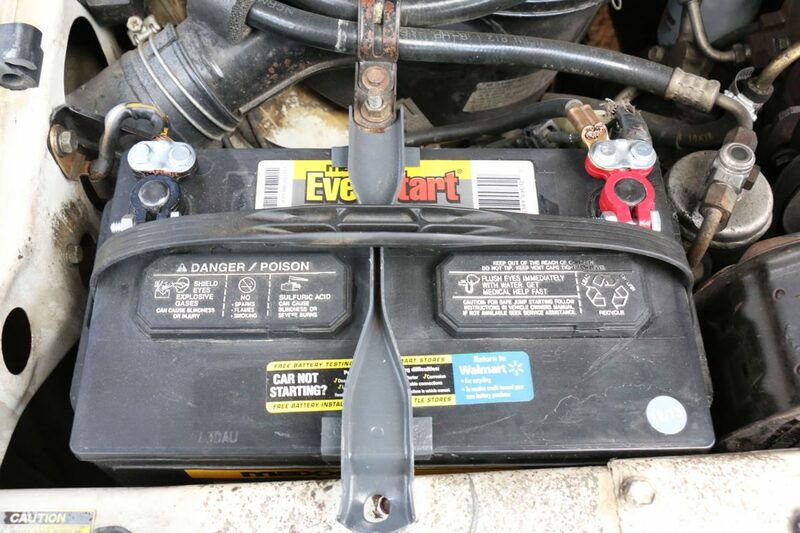 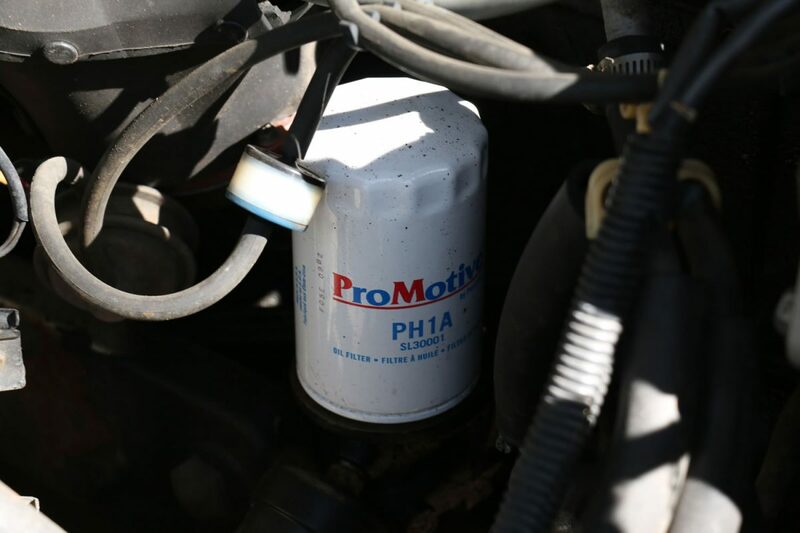 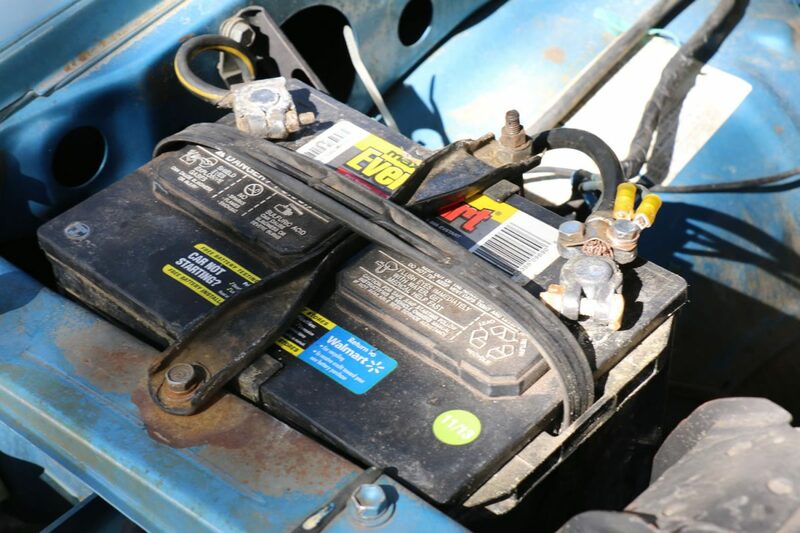 Windshield reservoir squirter motor not working (unsure of the issue).